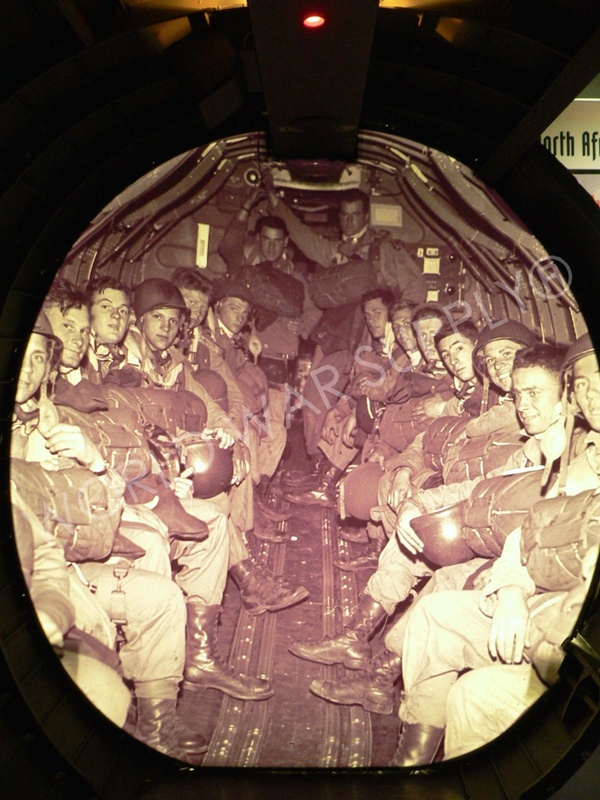 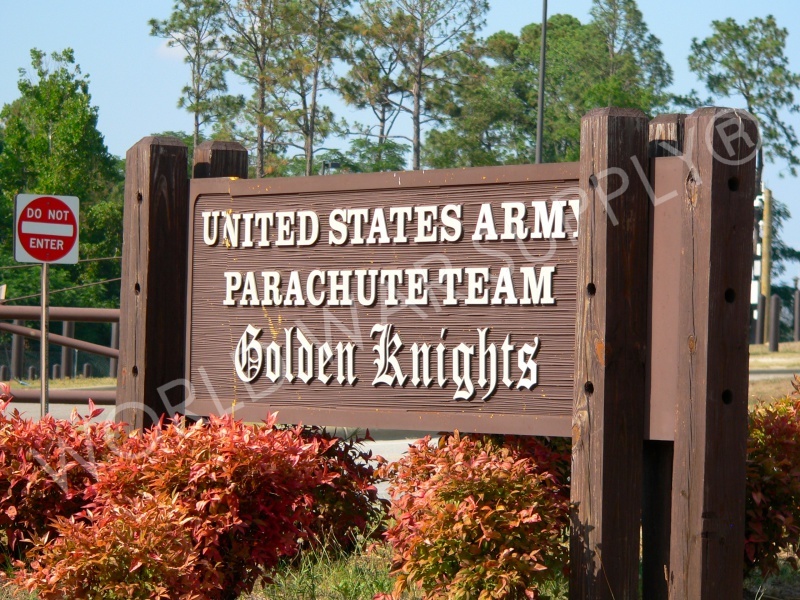 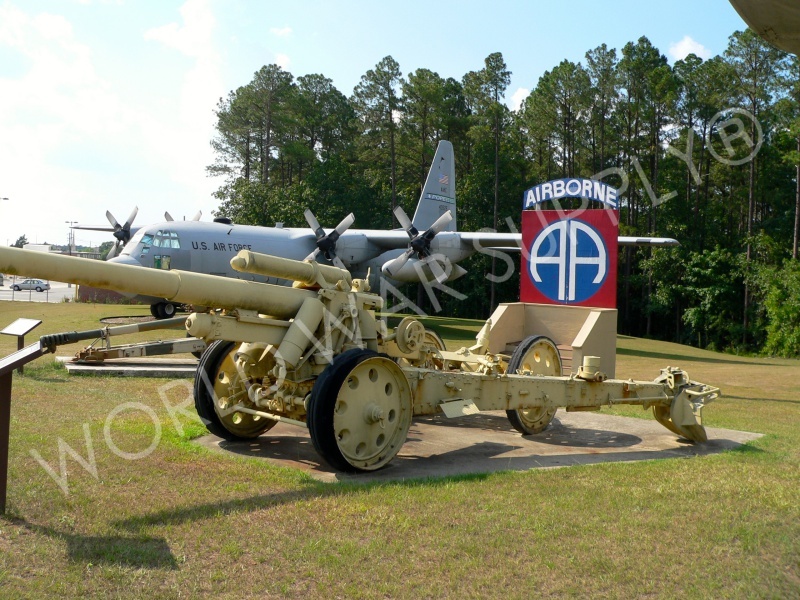 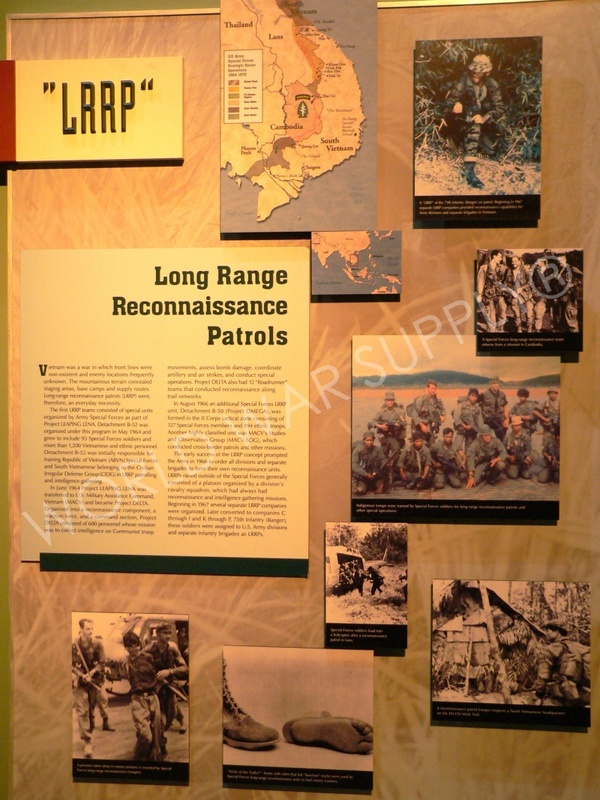 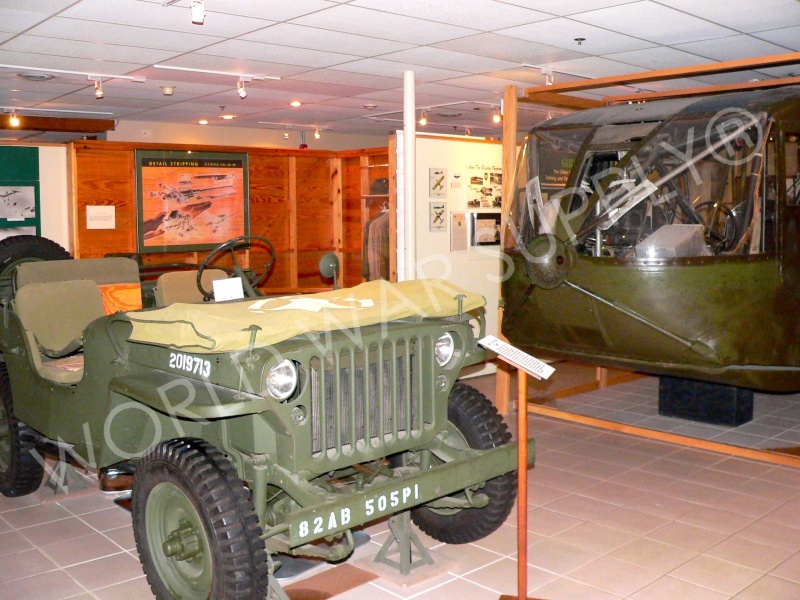 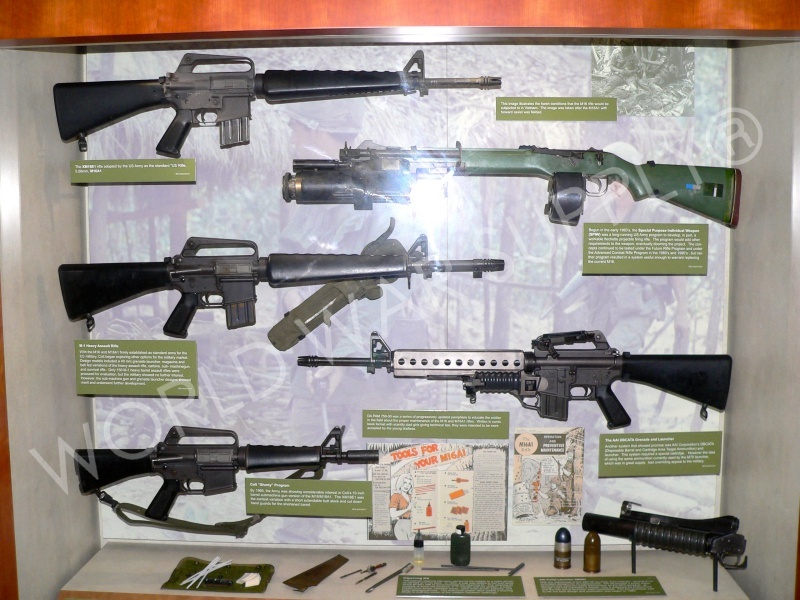 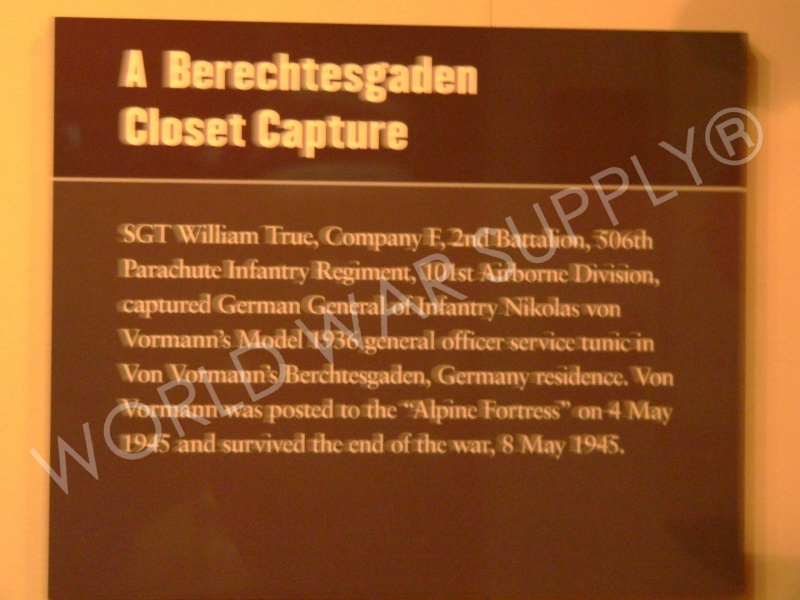 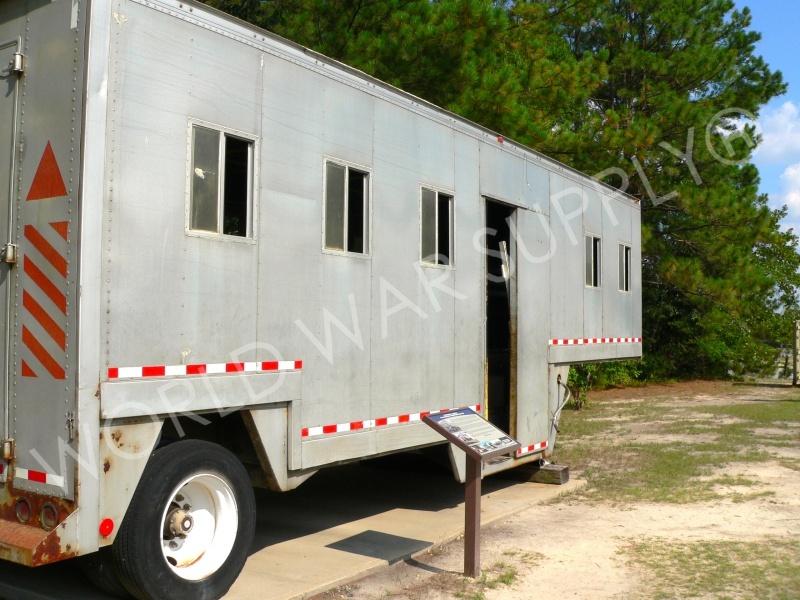 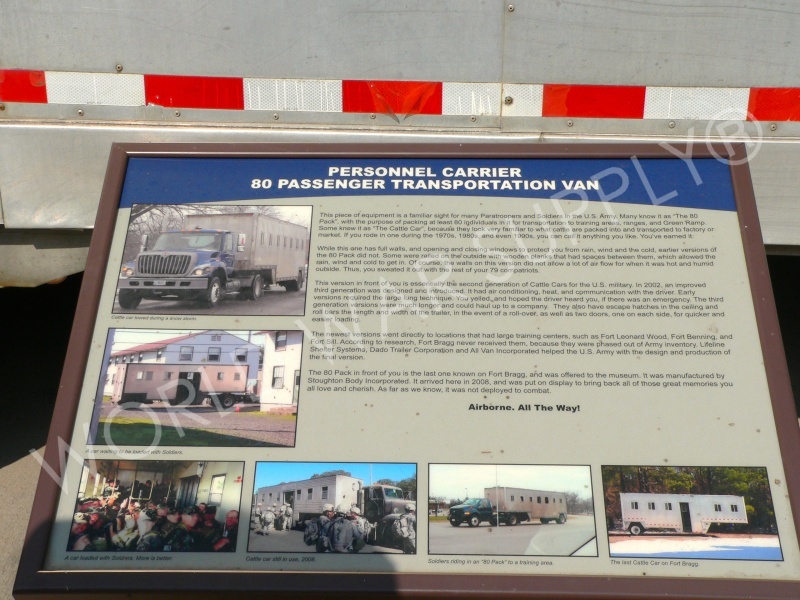 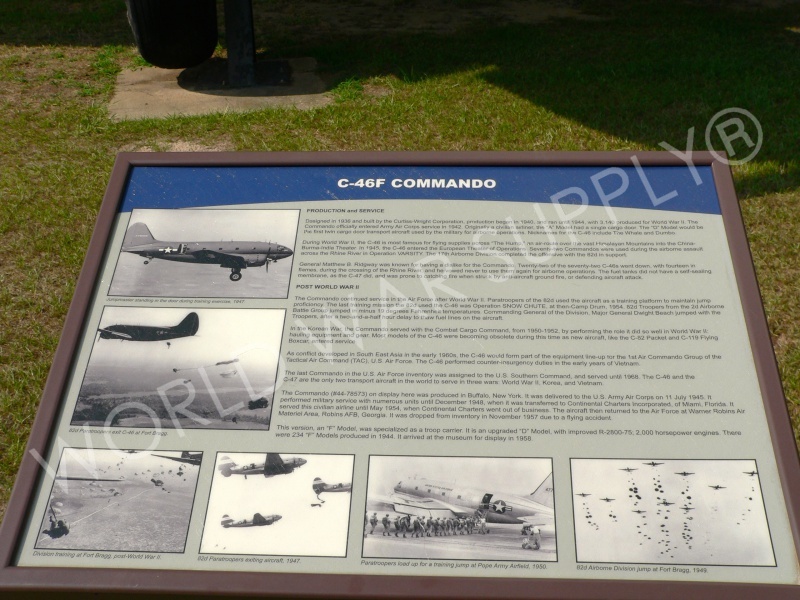 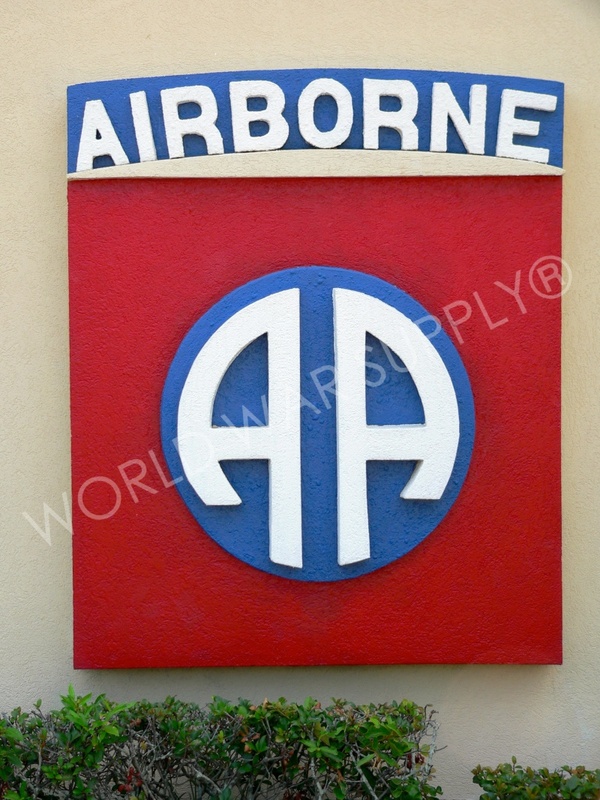 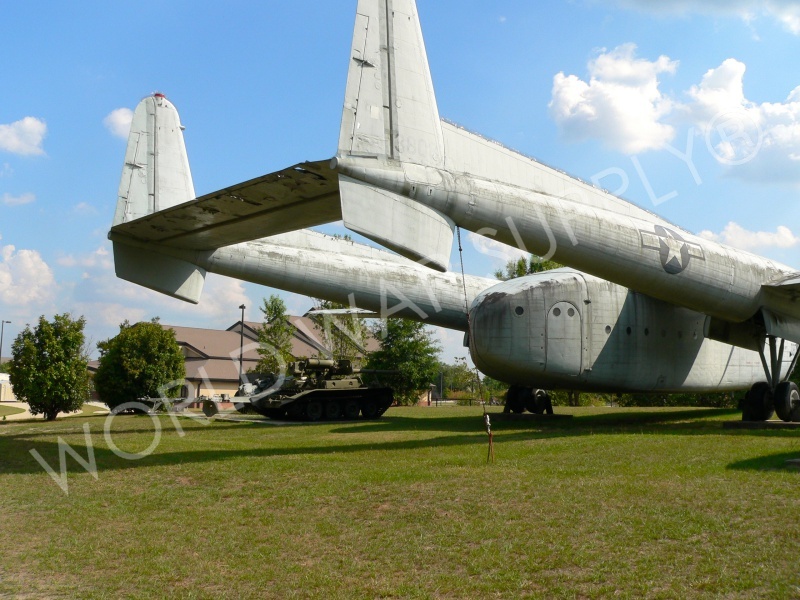 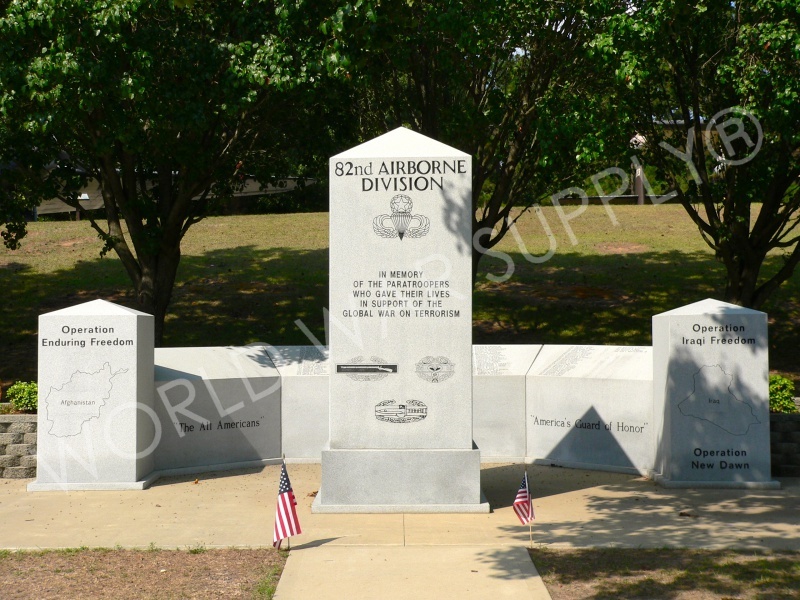 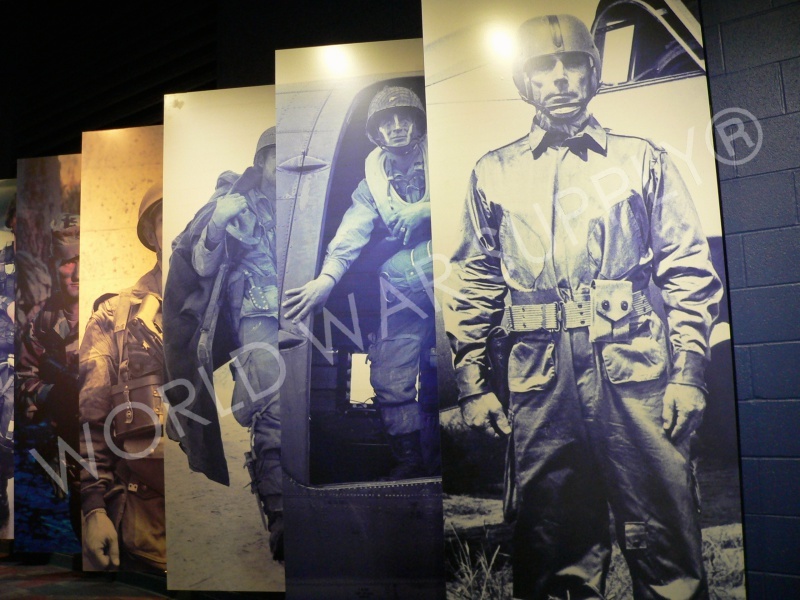 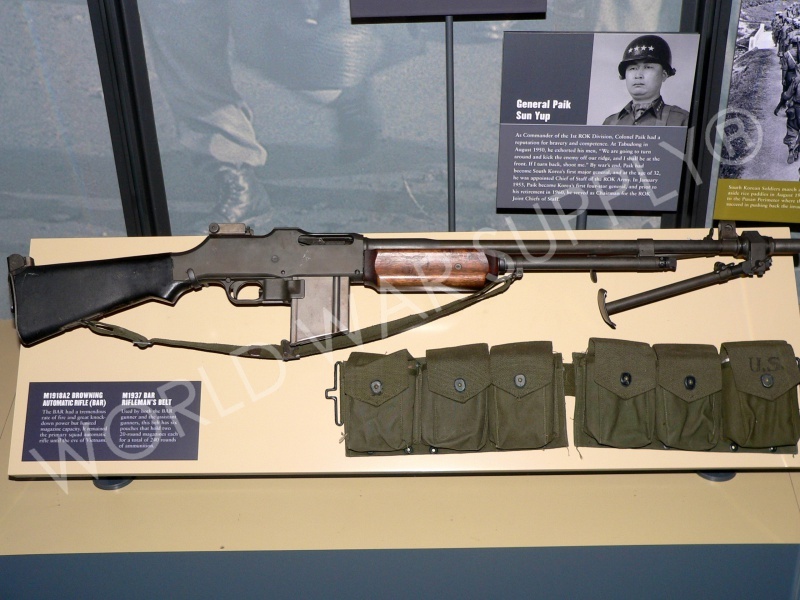 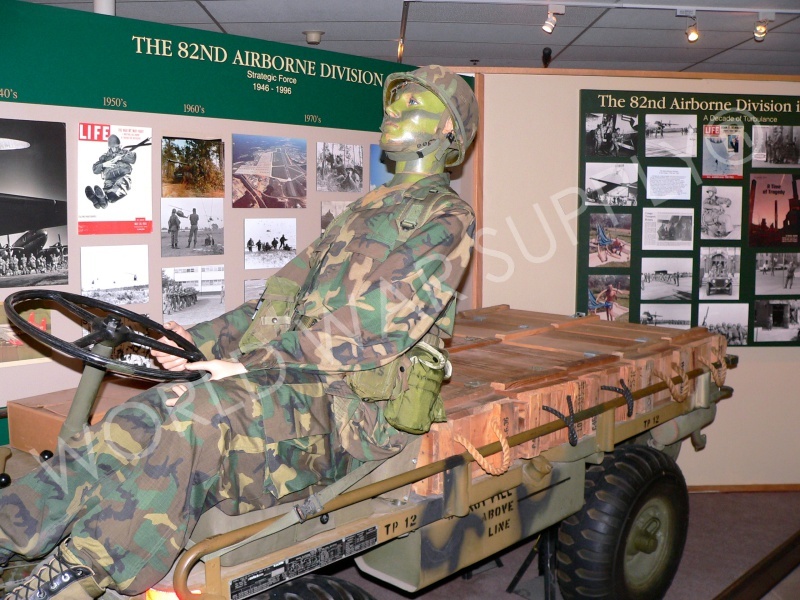 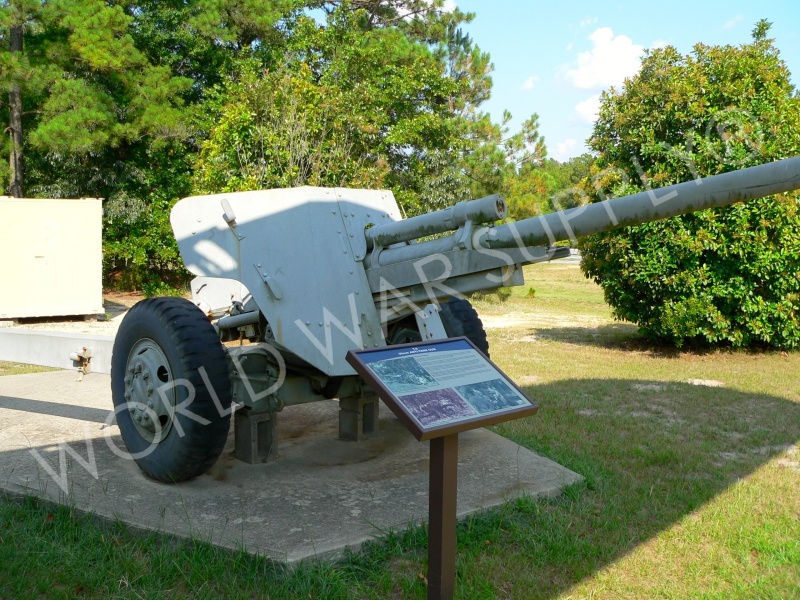 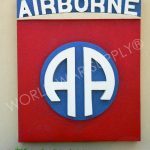 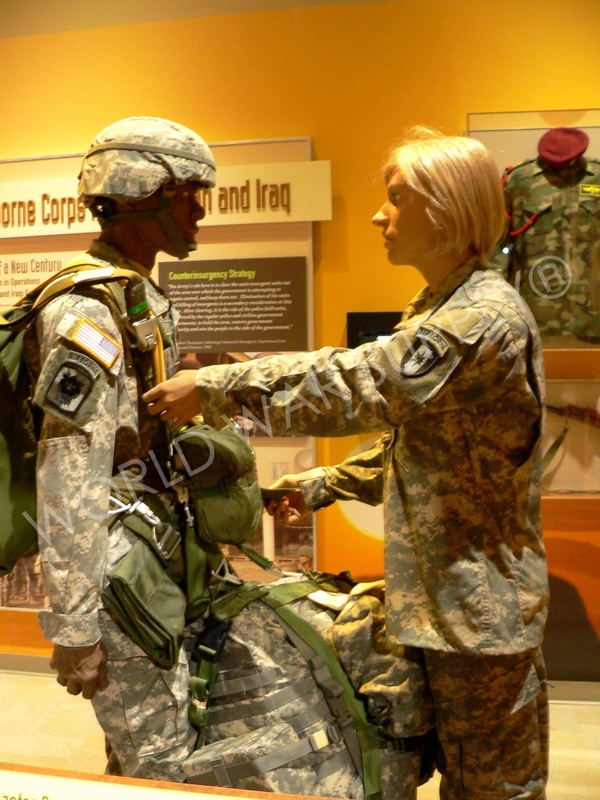 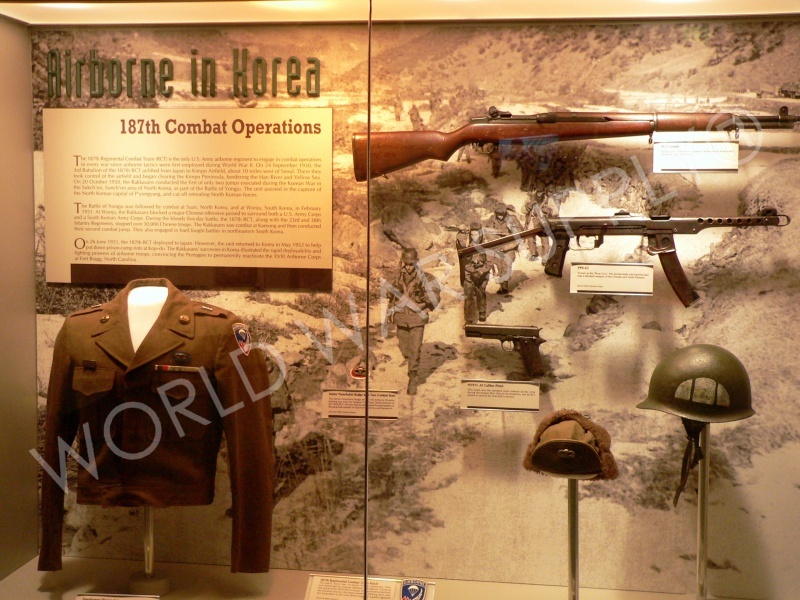 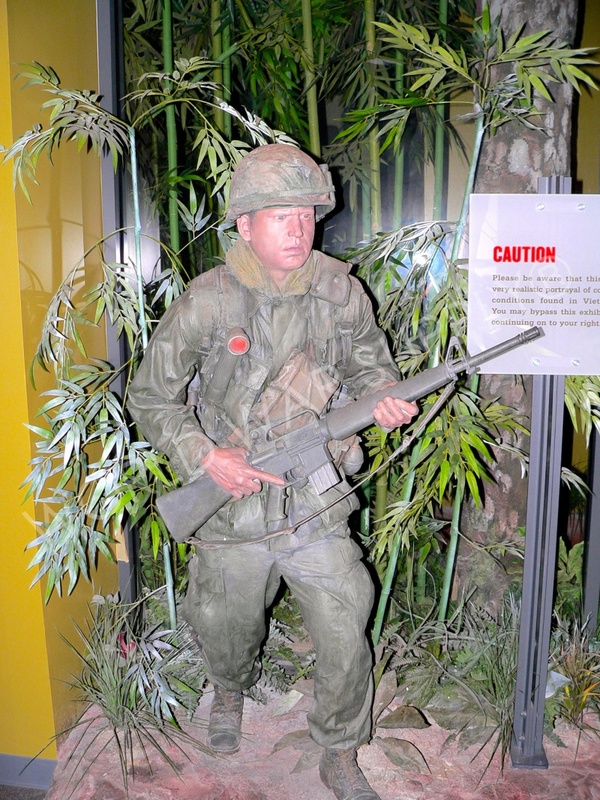 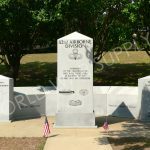 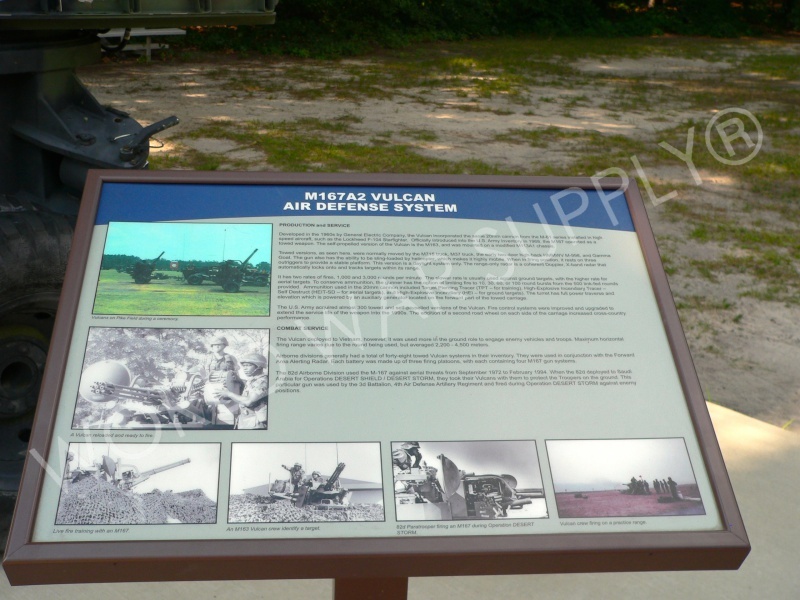 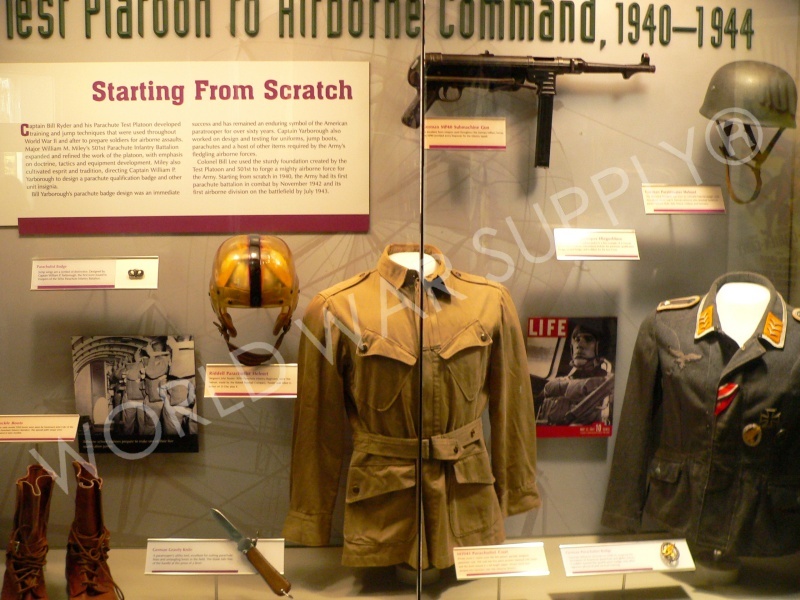 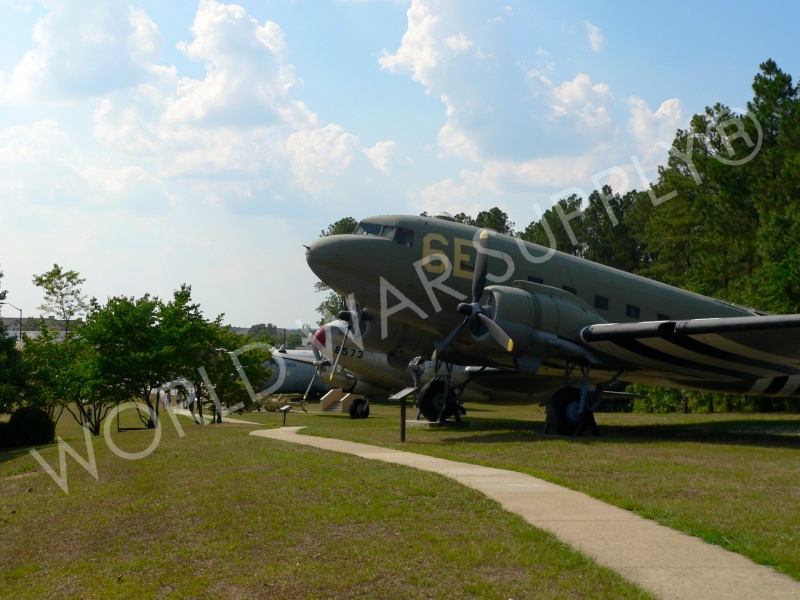 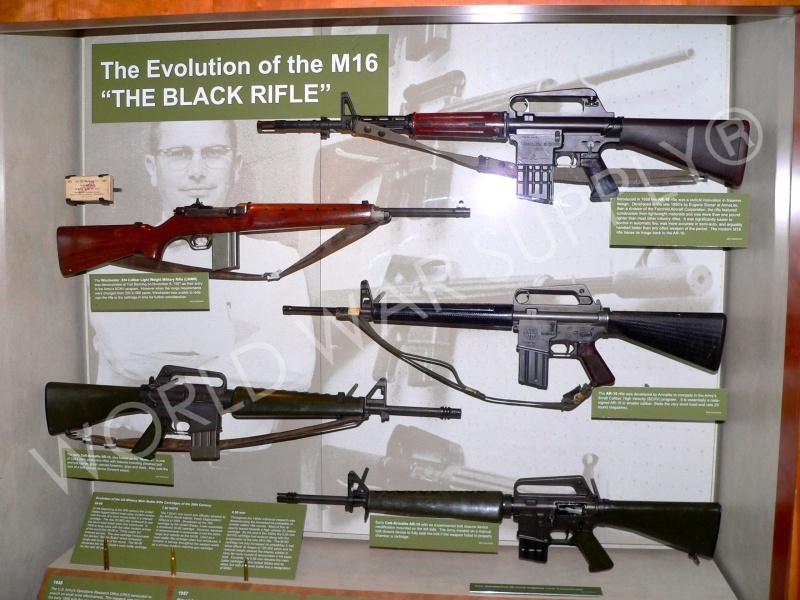 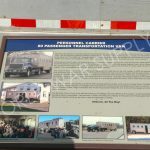 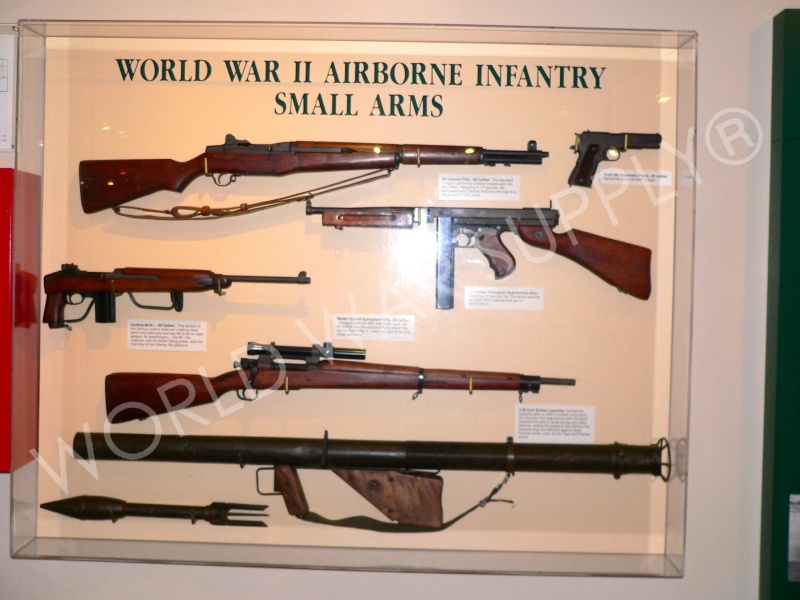 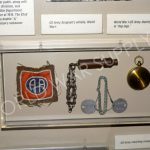 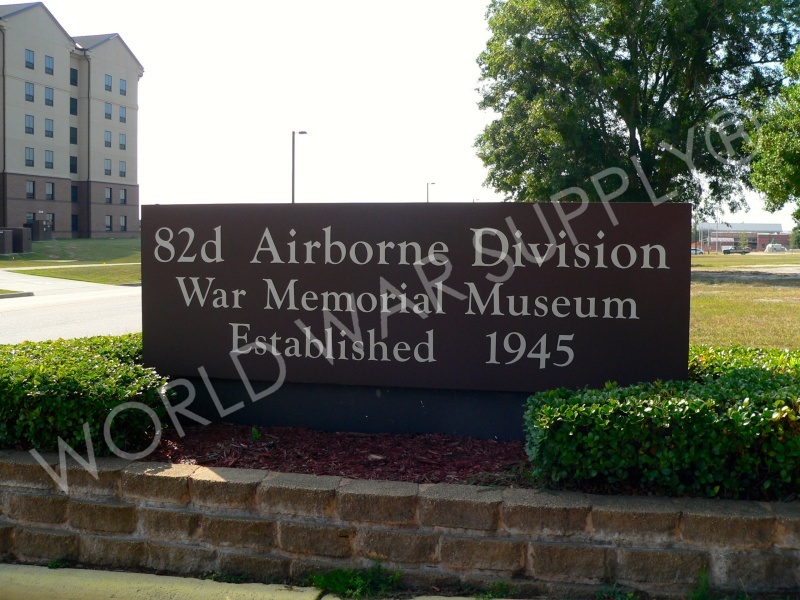 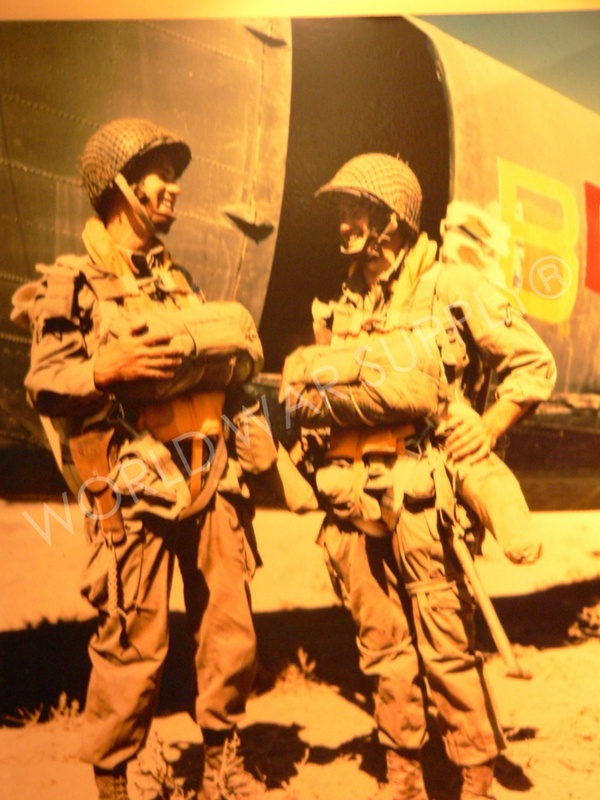 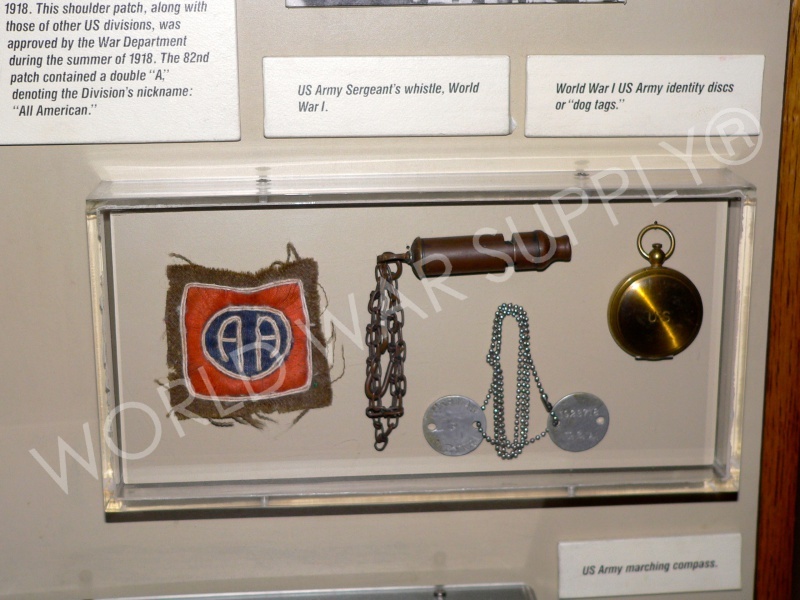 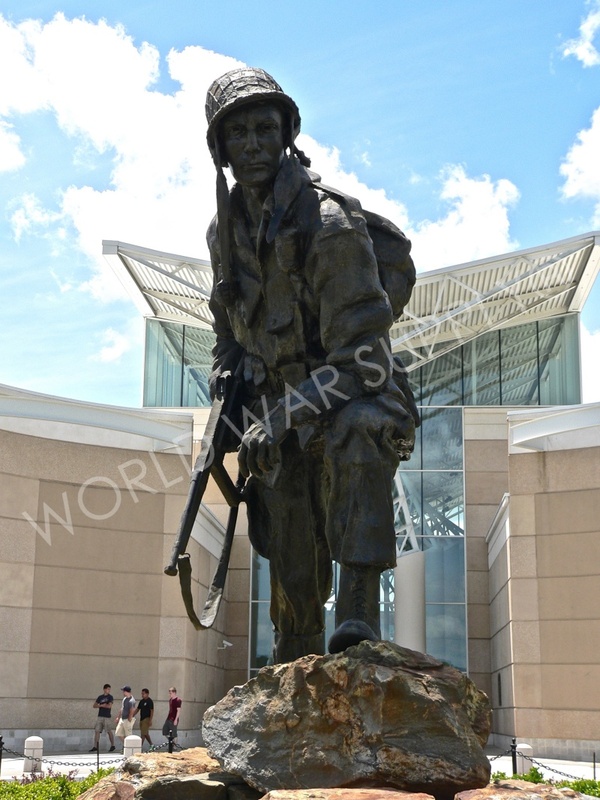 In Fort Bragg, North Carolina, the 82nd Airborne Museum is located on base. 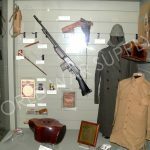 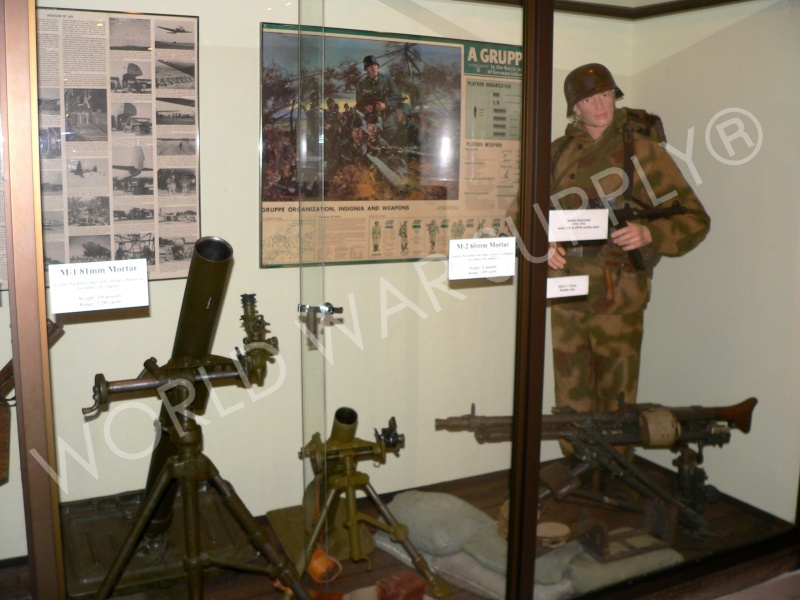 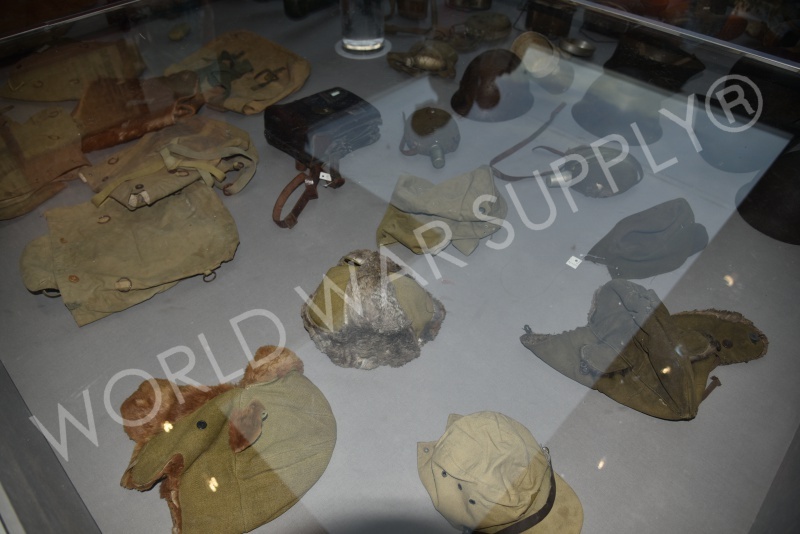 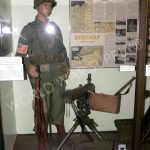 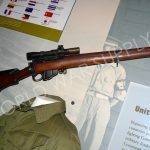 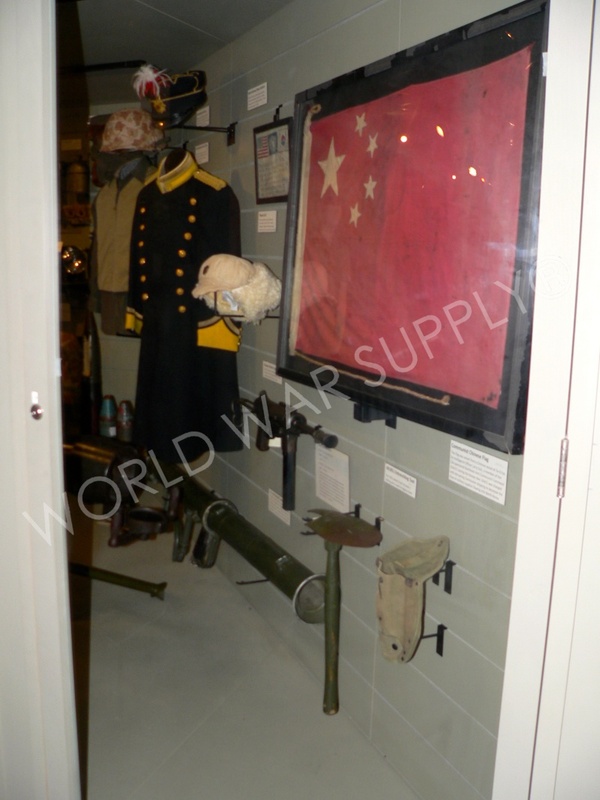 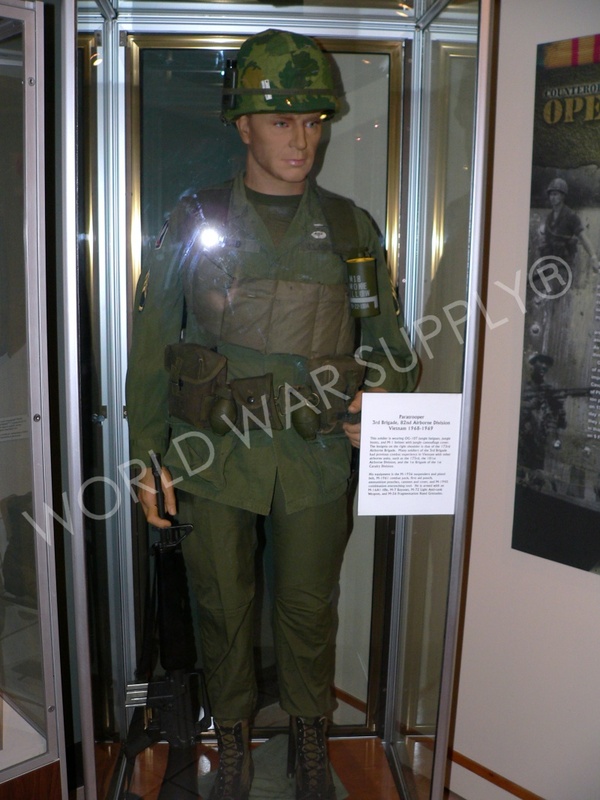 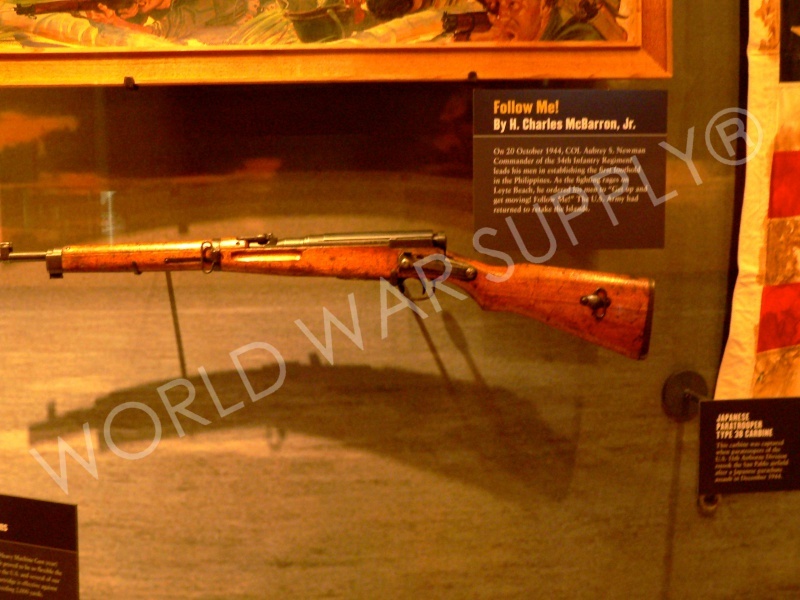 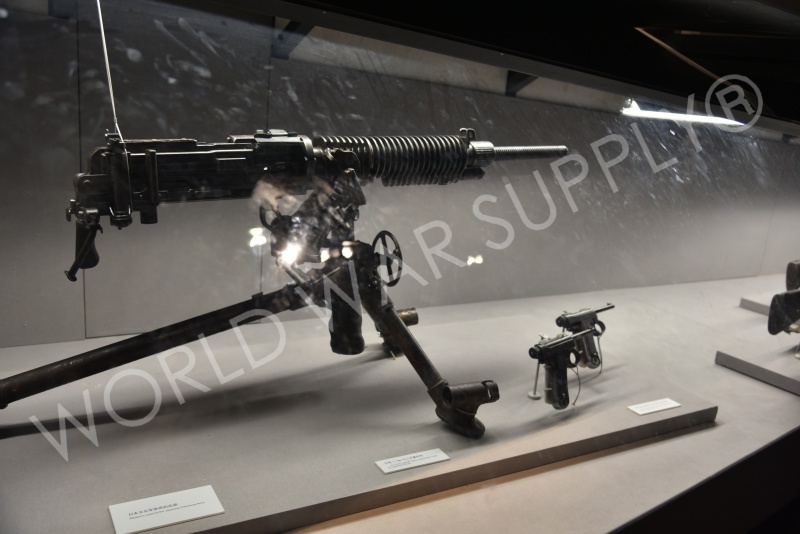 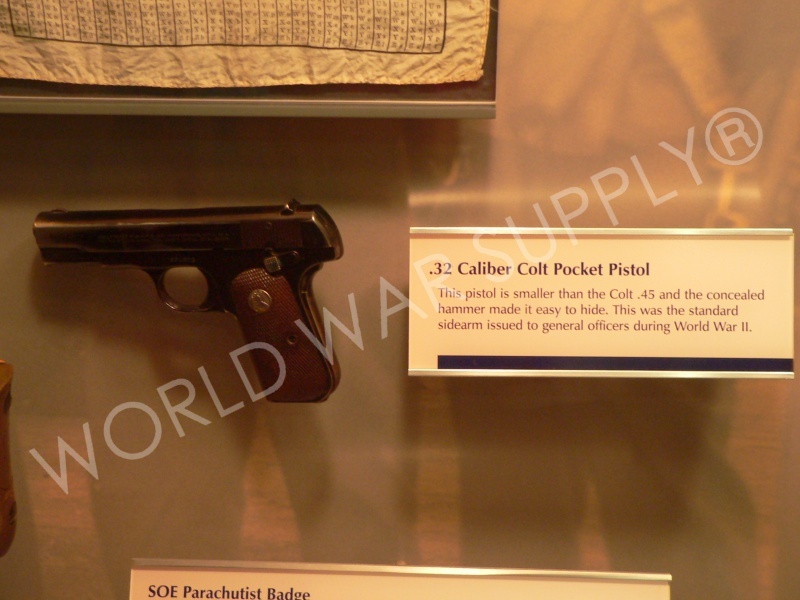 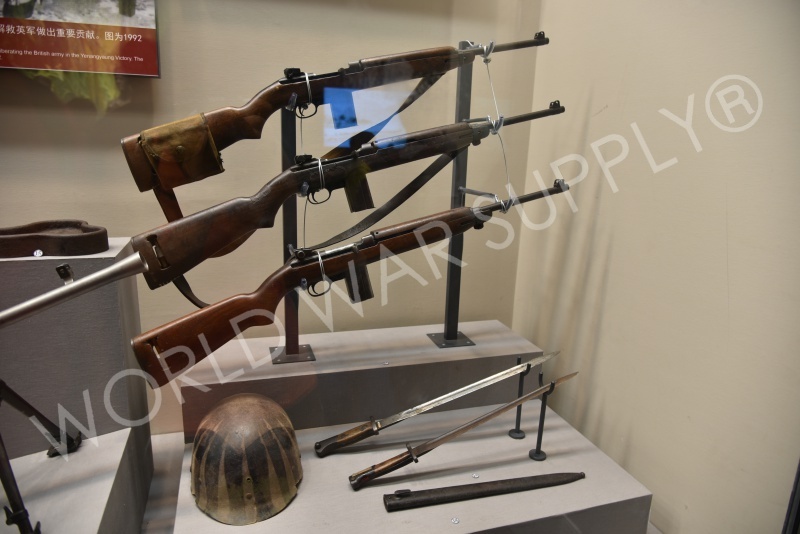 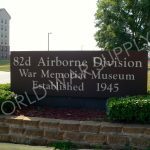 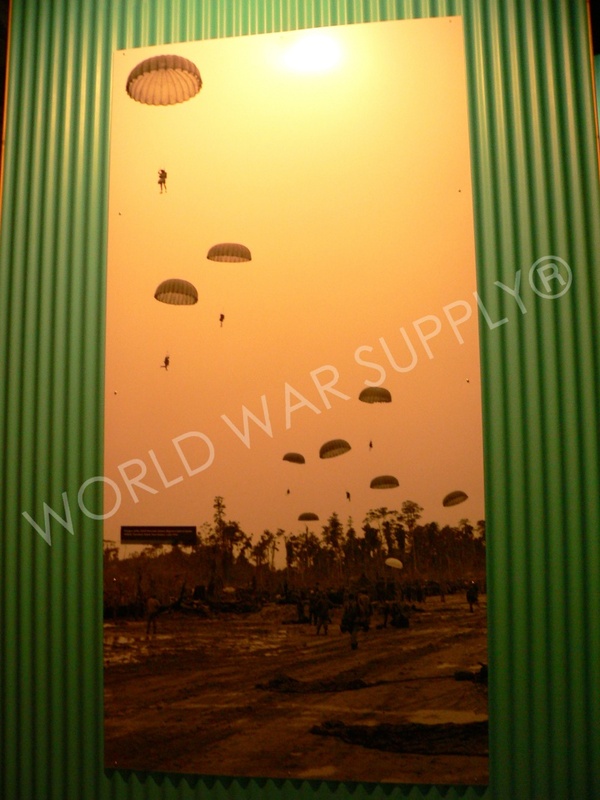 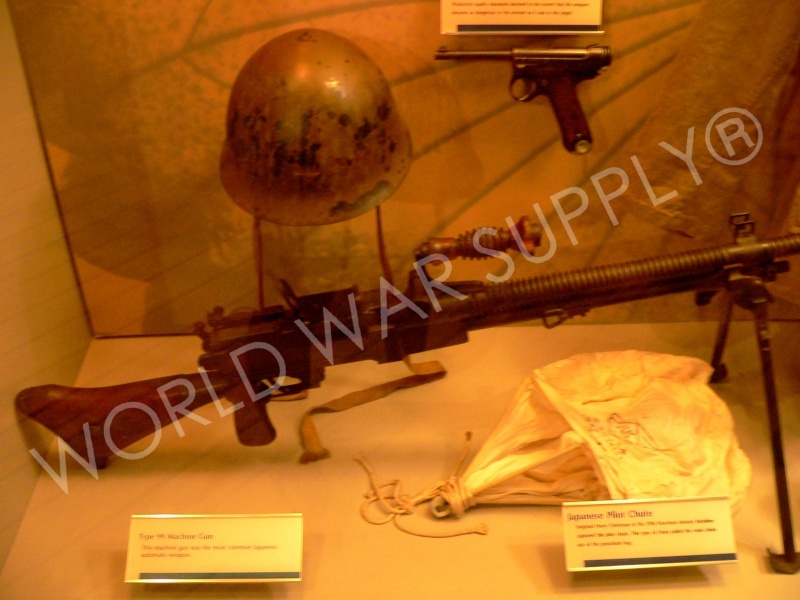 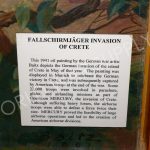 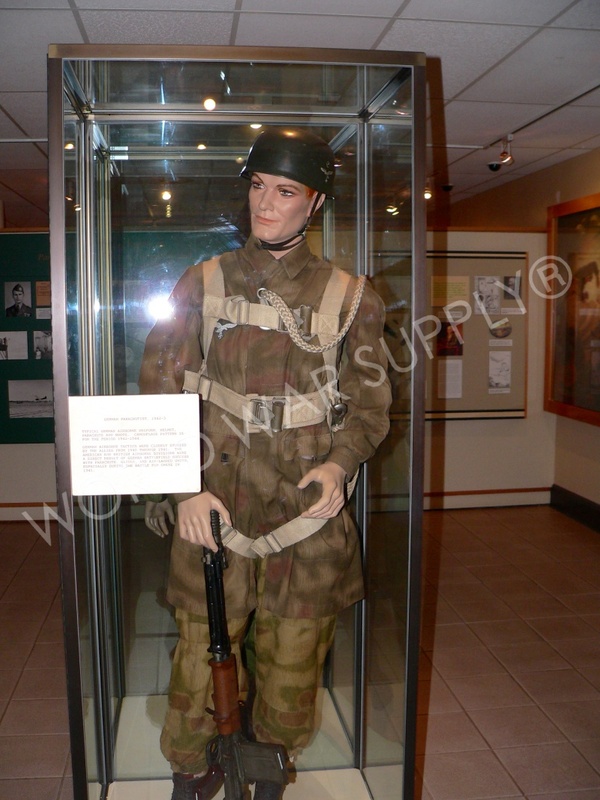 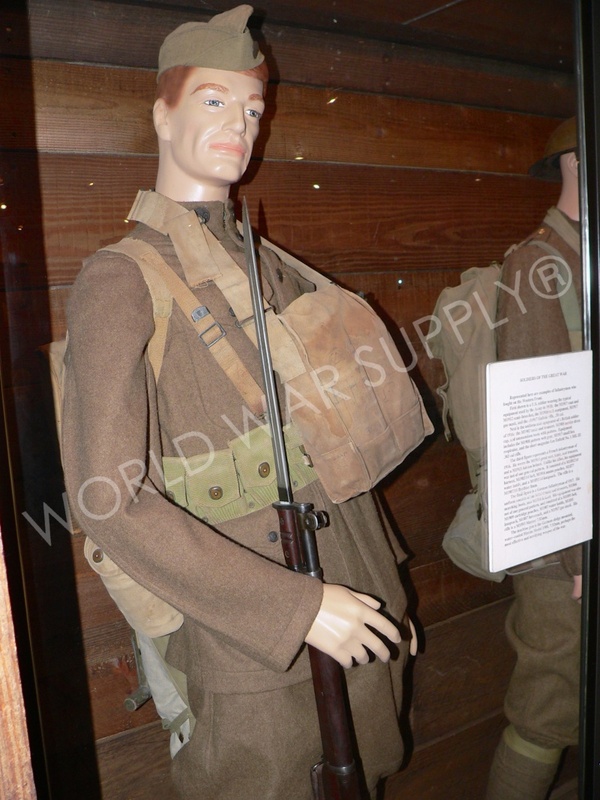 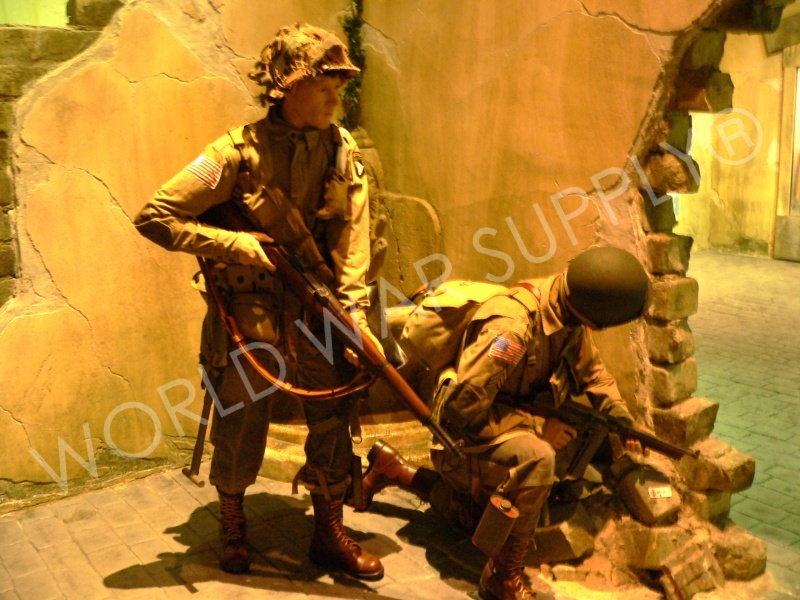 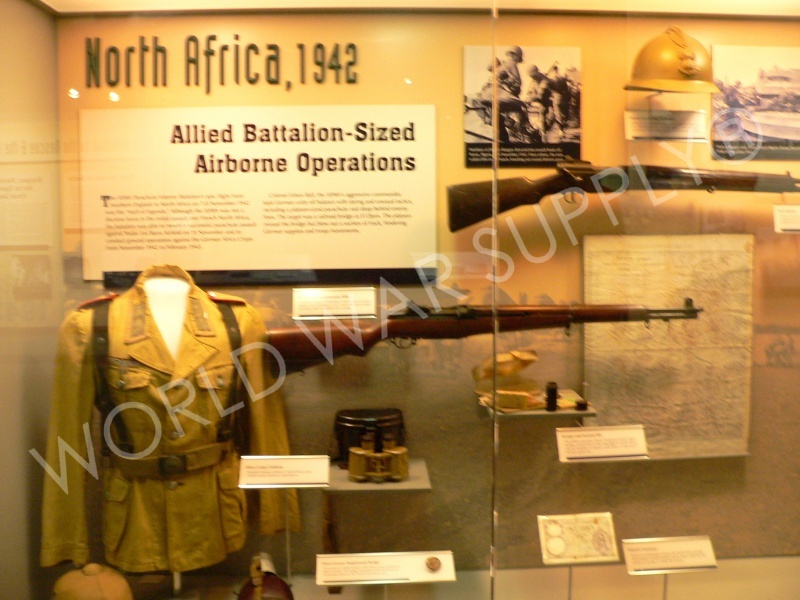 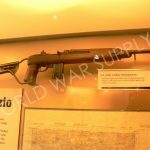 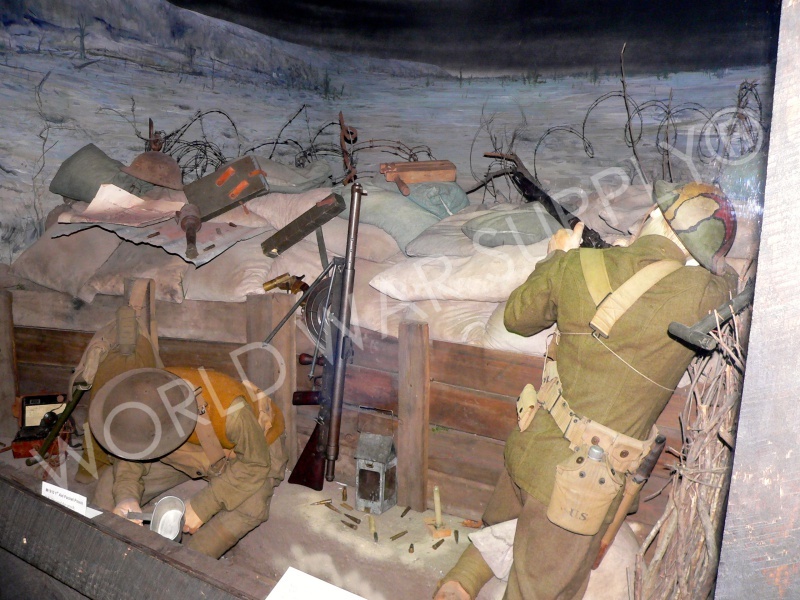 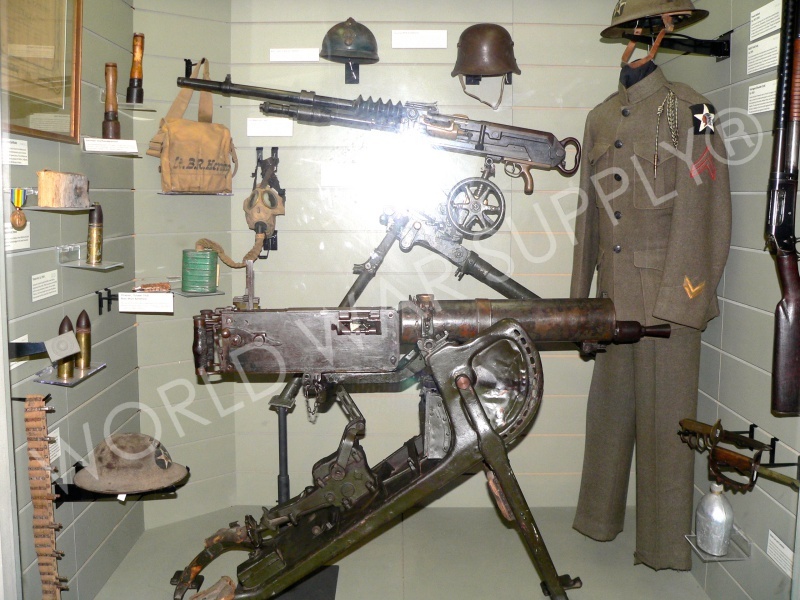 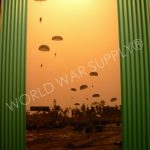 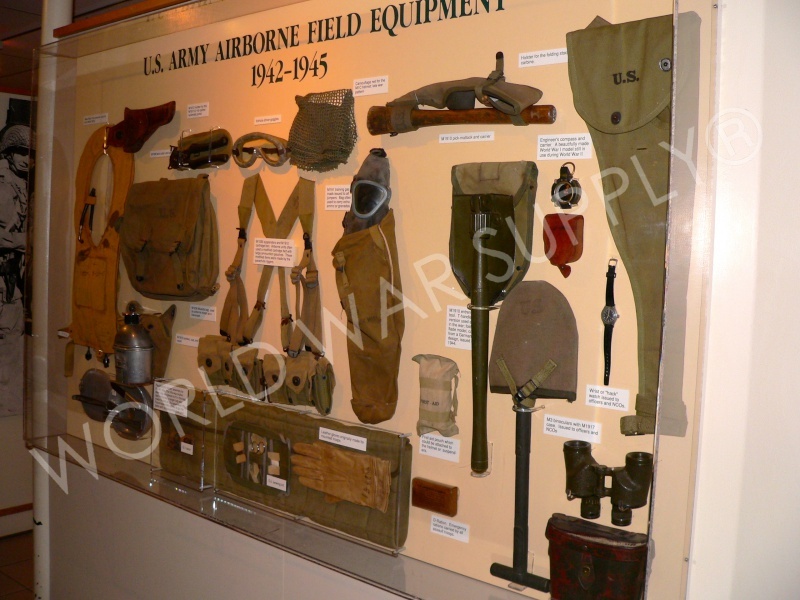 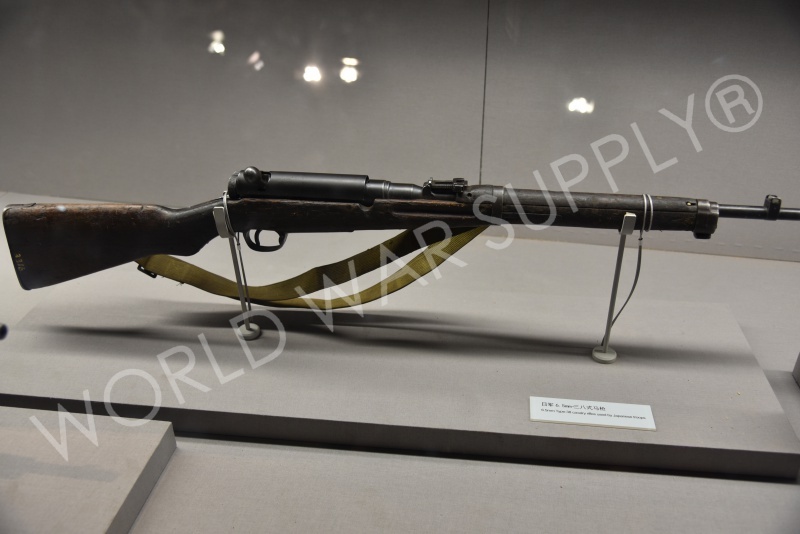 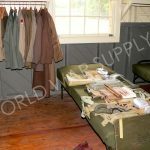 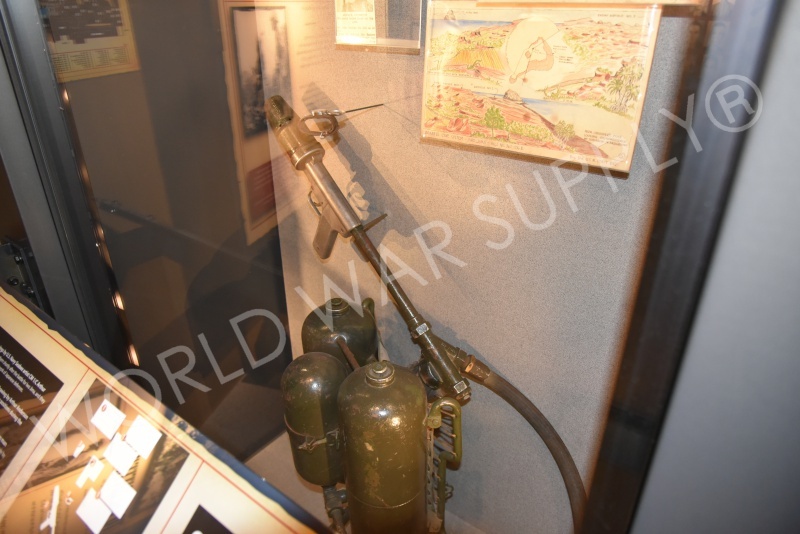 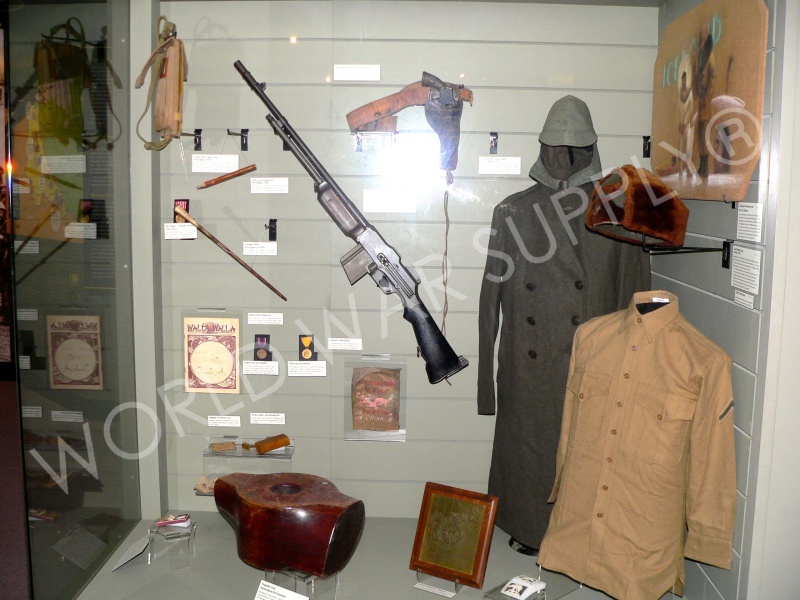 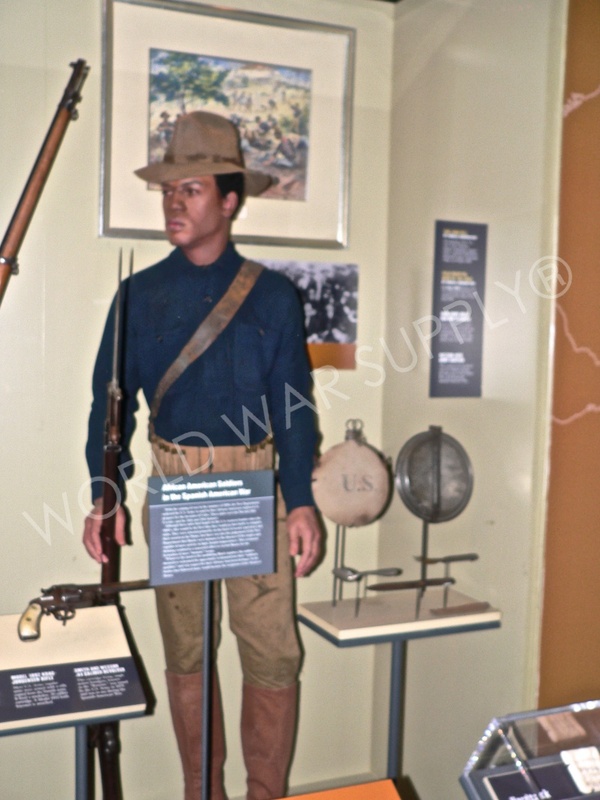 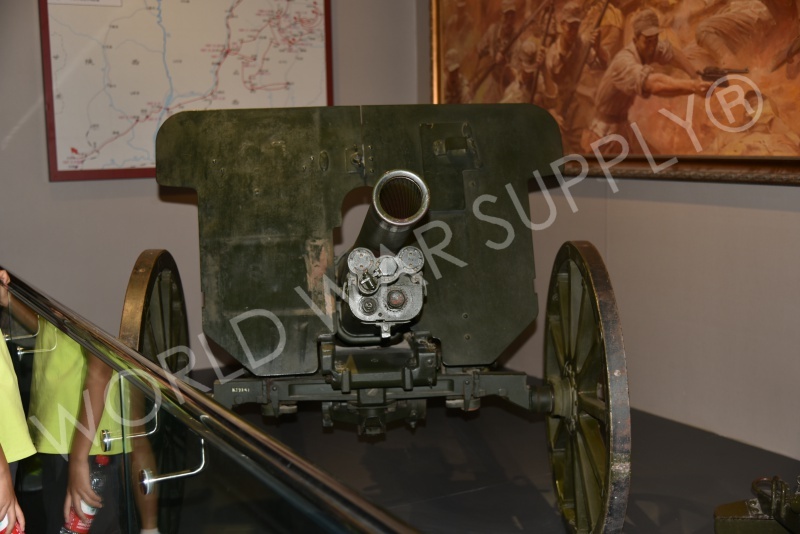 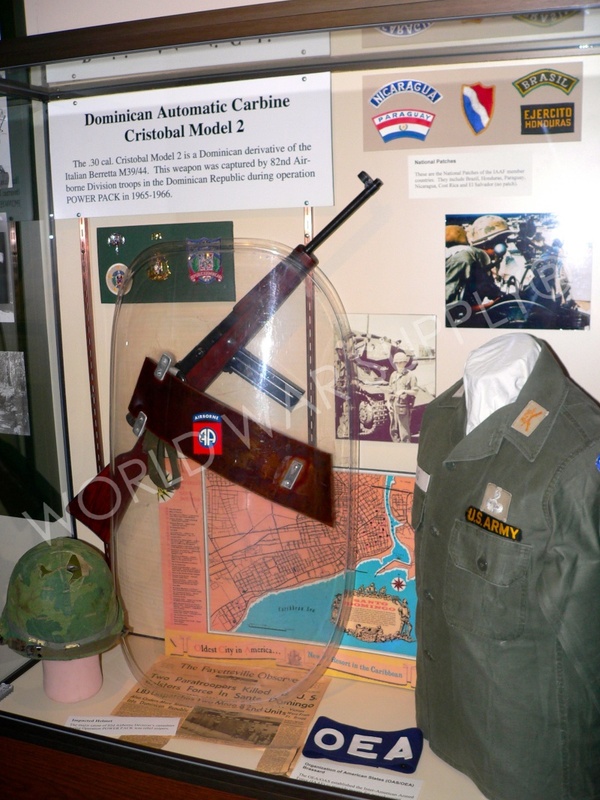 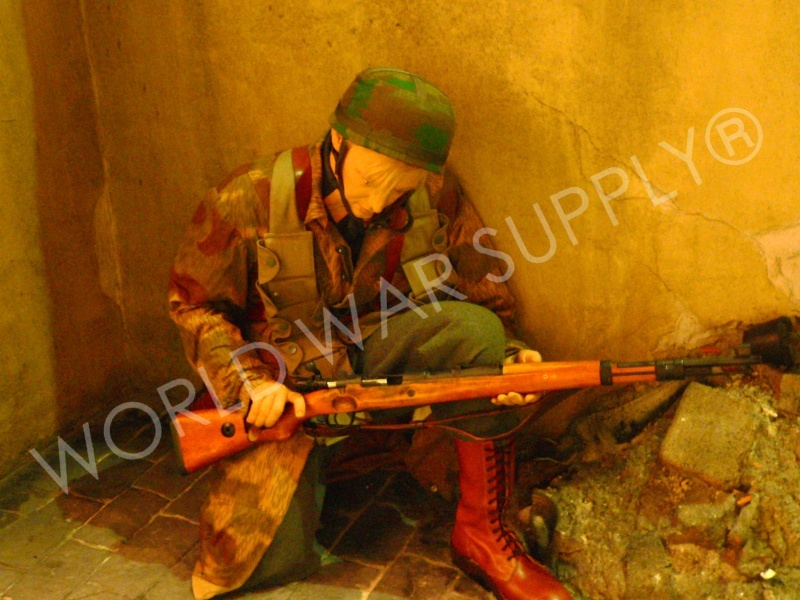 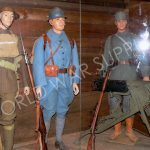 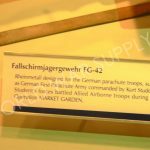 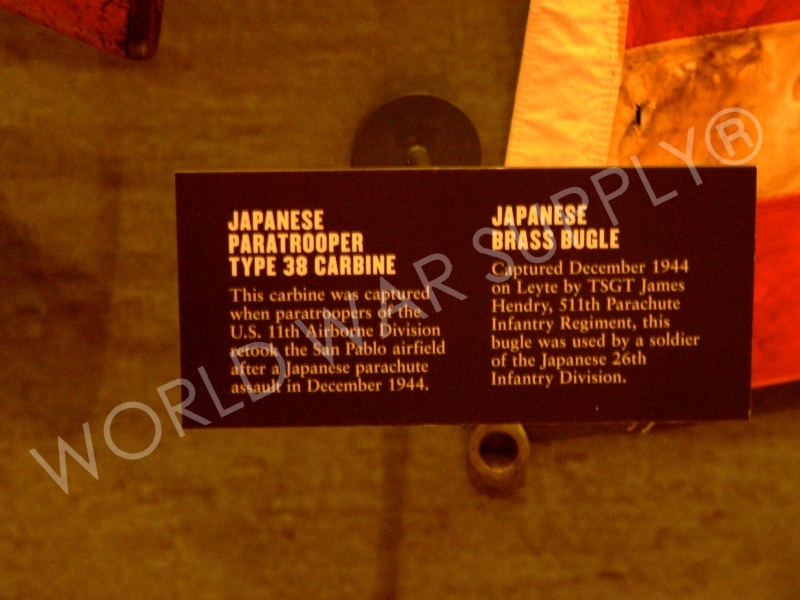 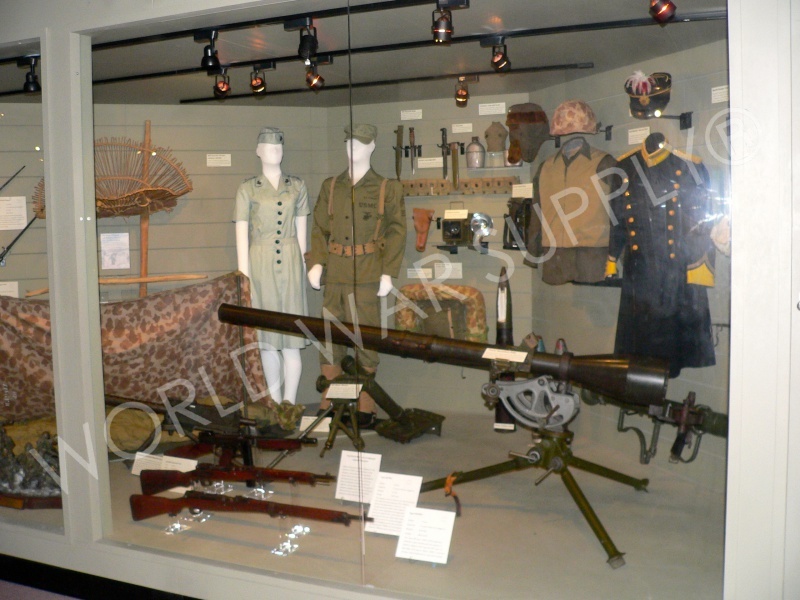 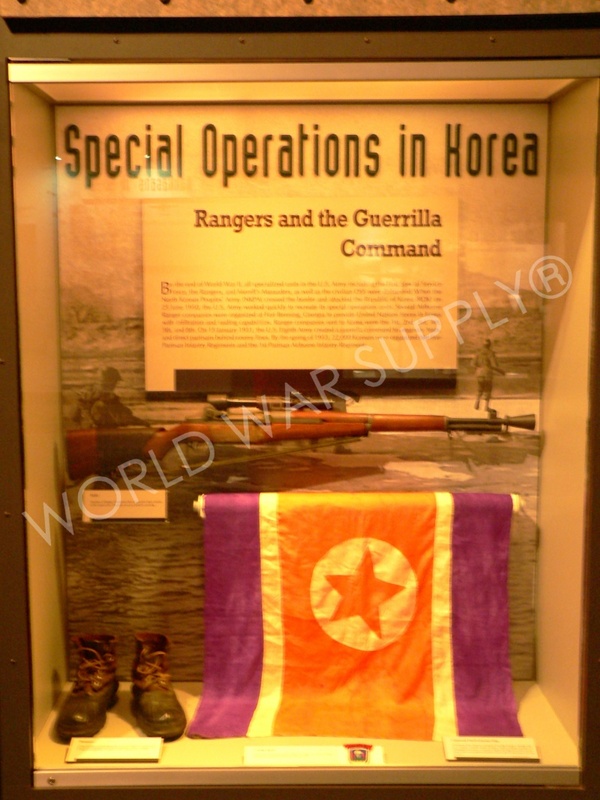 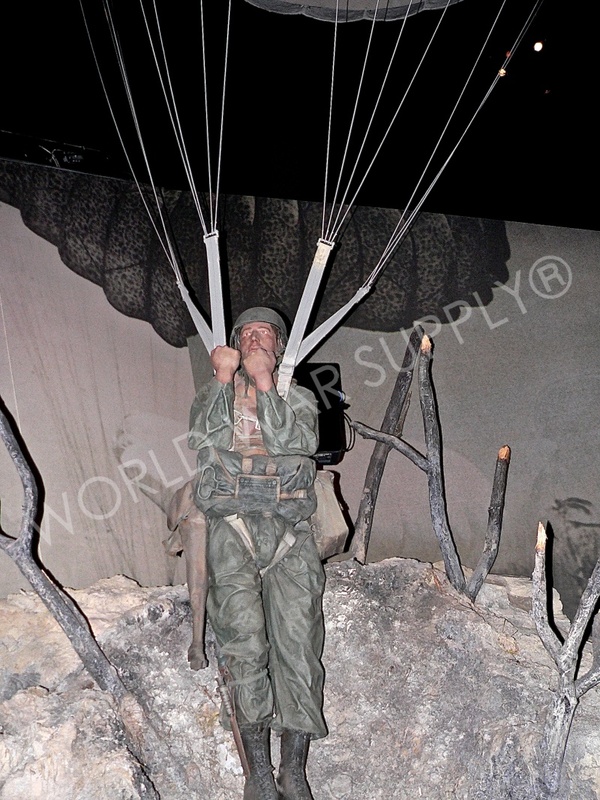 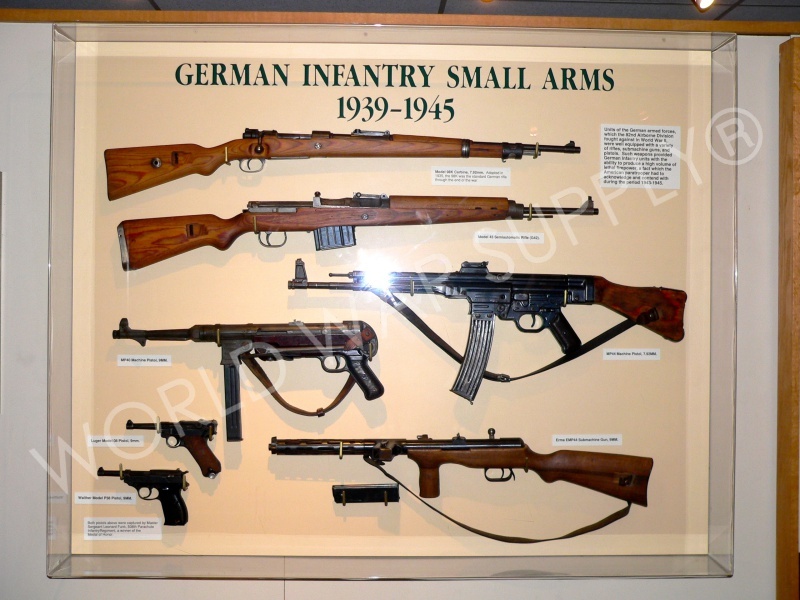 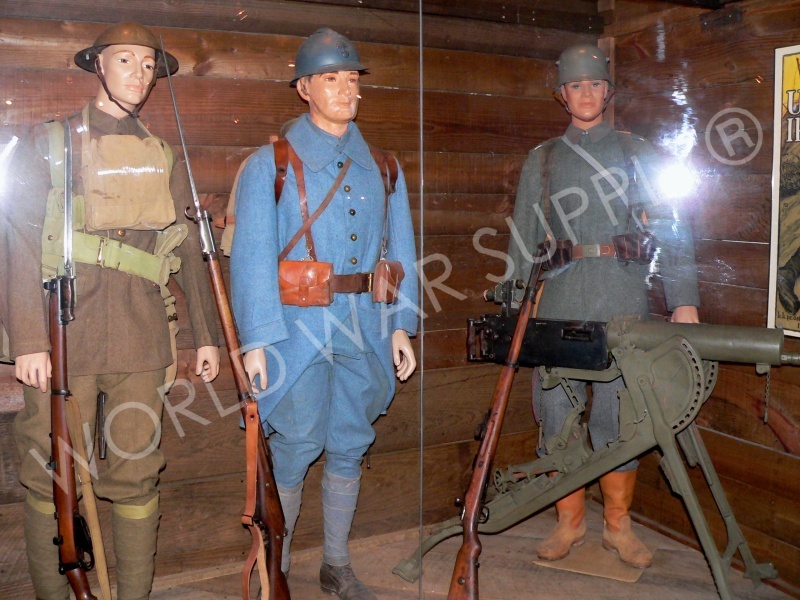 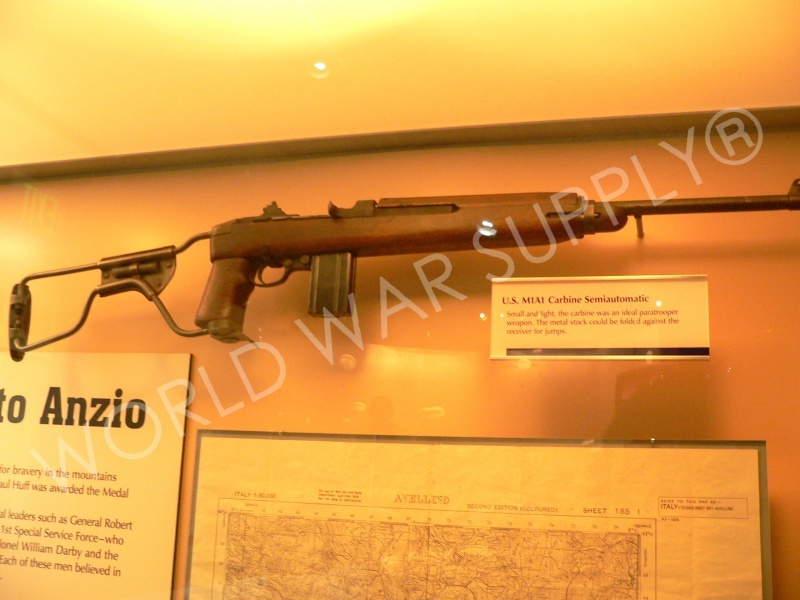 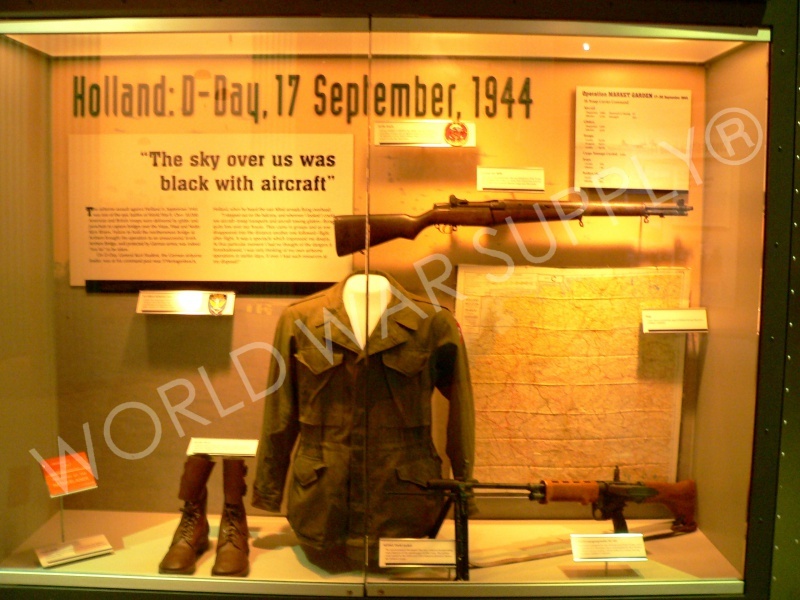 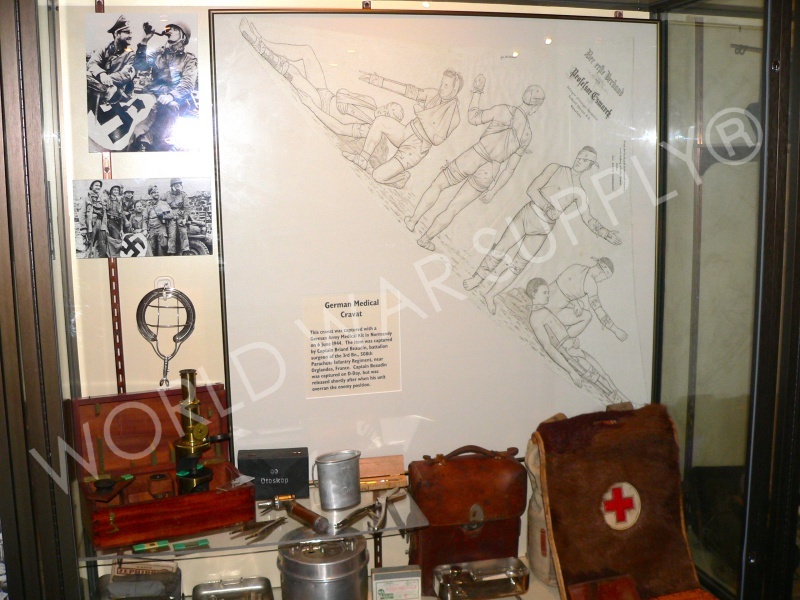 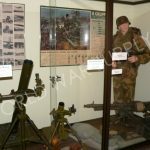 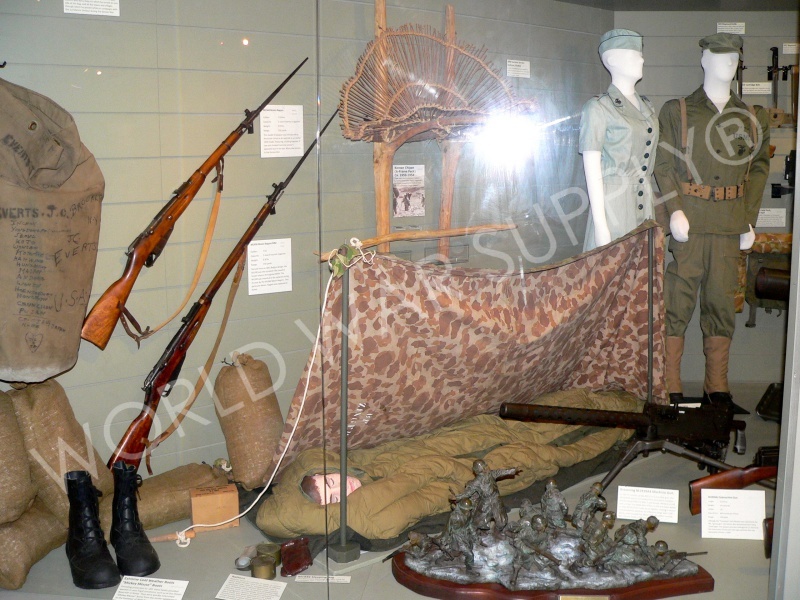 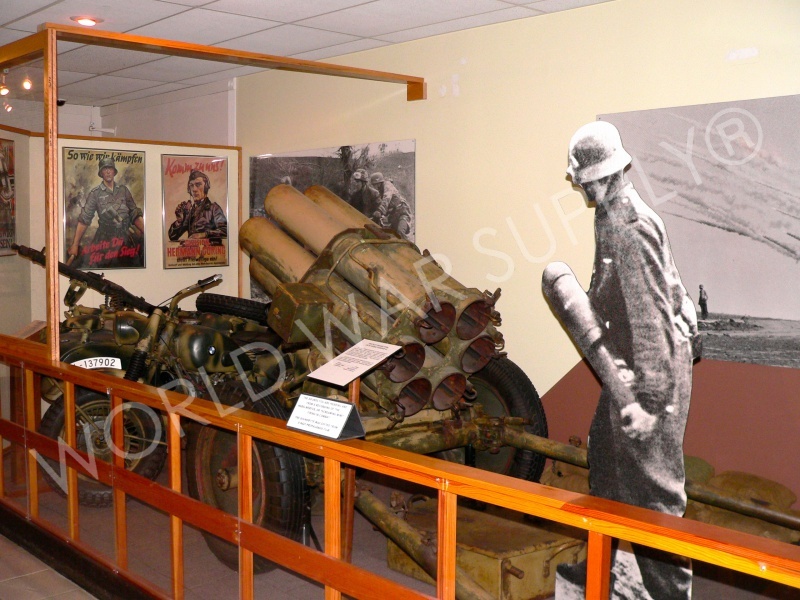 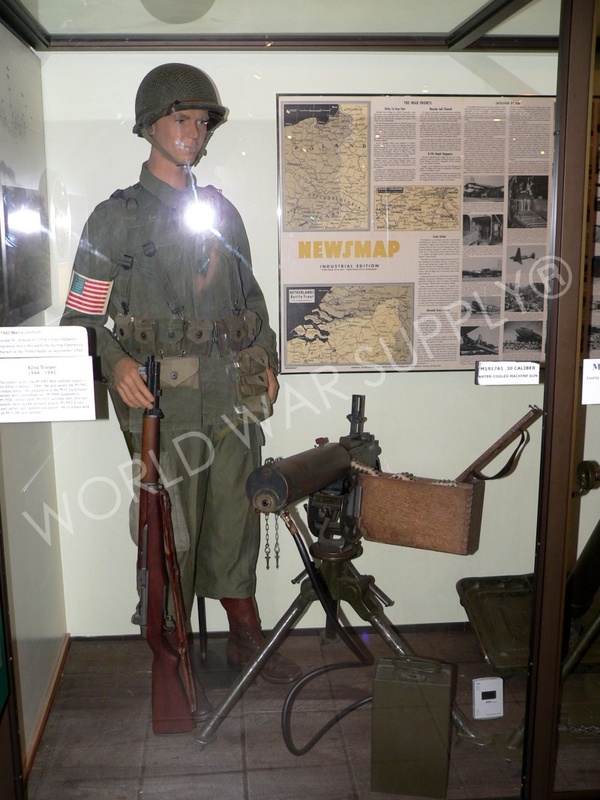 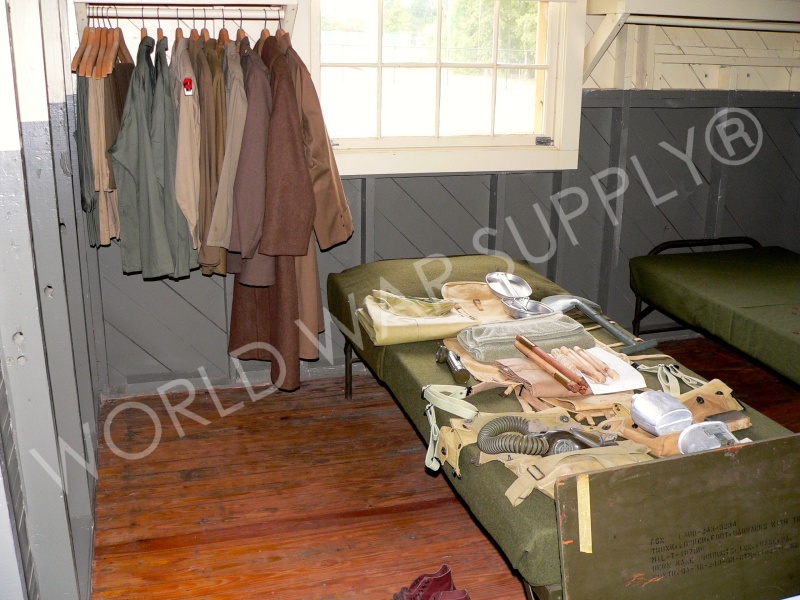 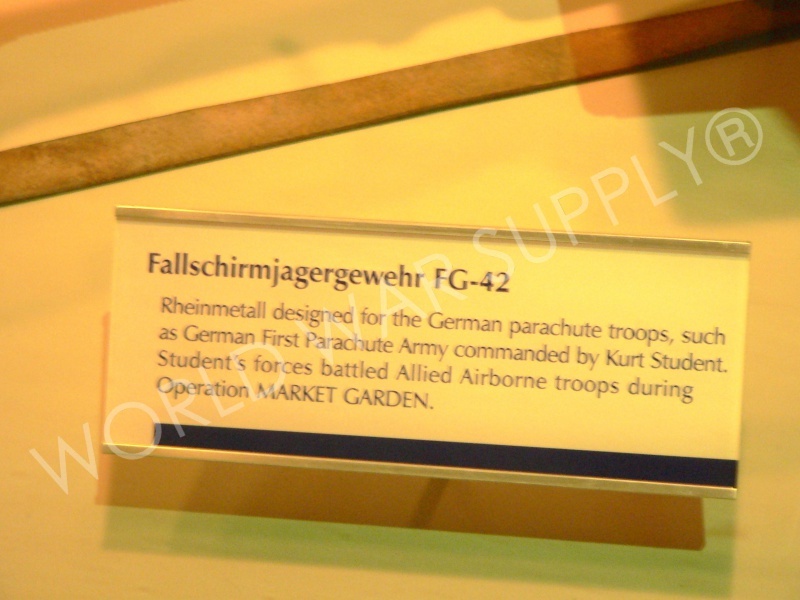 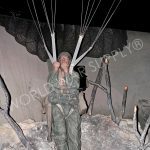 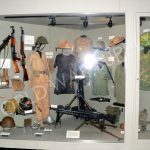 Established in 1945, this museum houses exhibits of paratroopers, equipment, and weapons from 1917 to present regarding the famous Division. 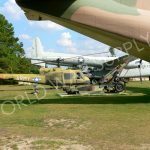 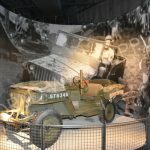 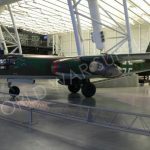 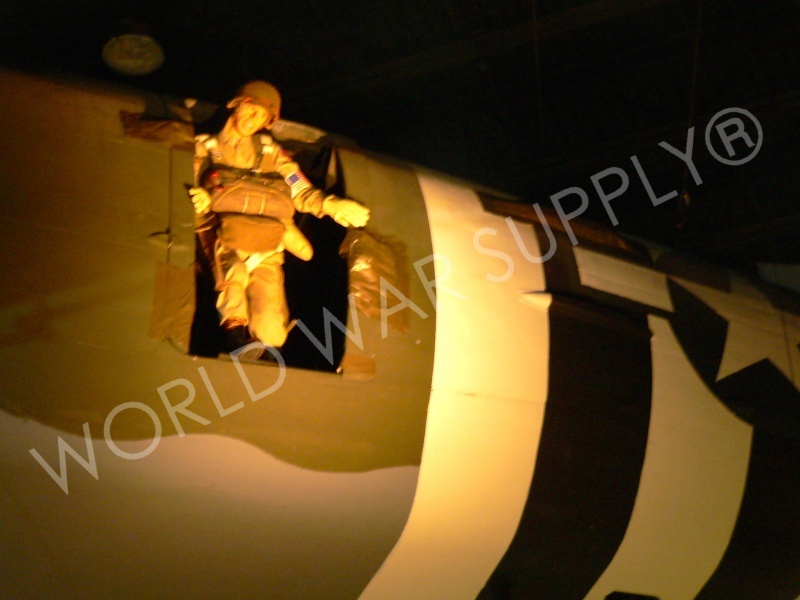 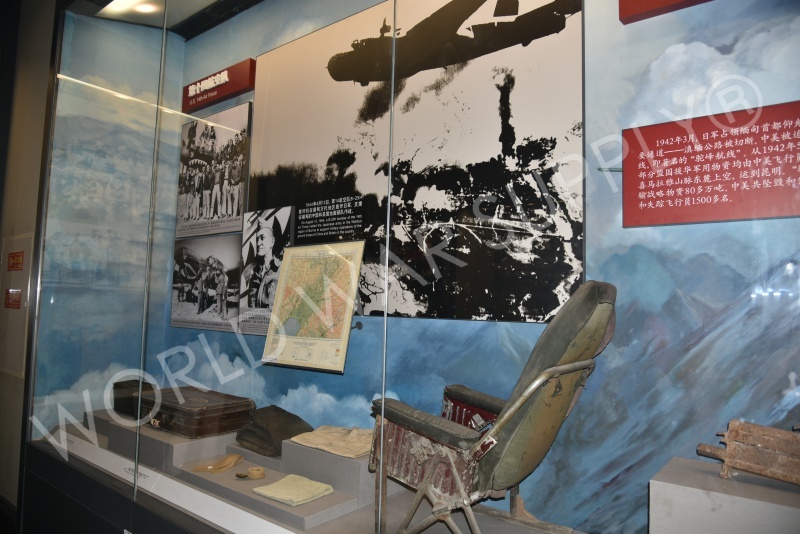 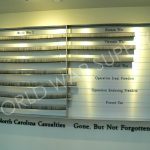 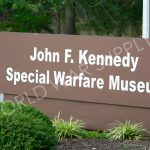 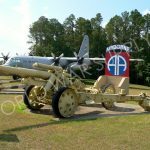 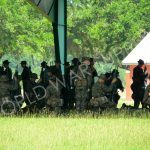 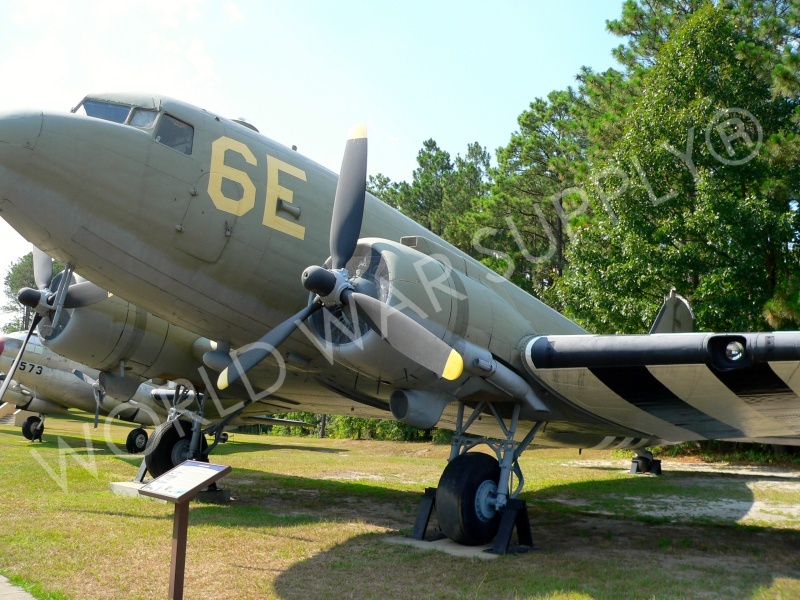 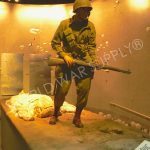 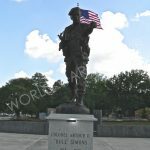 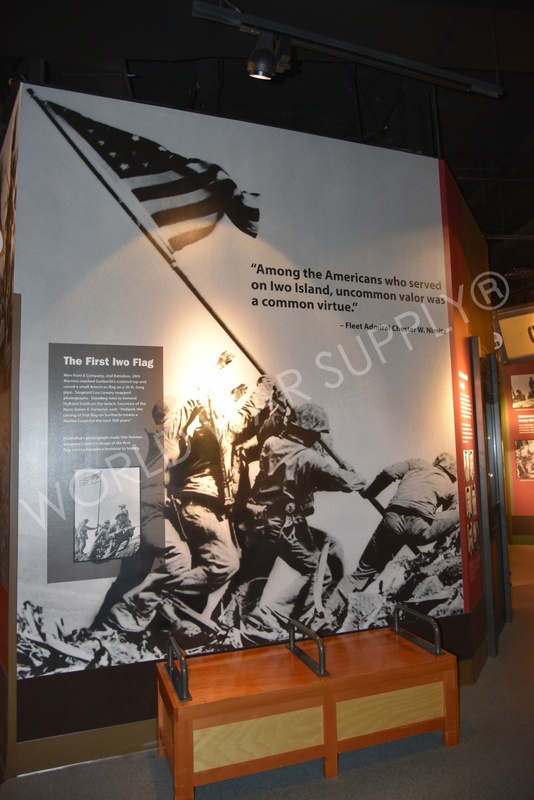 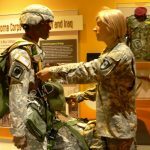 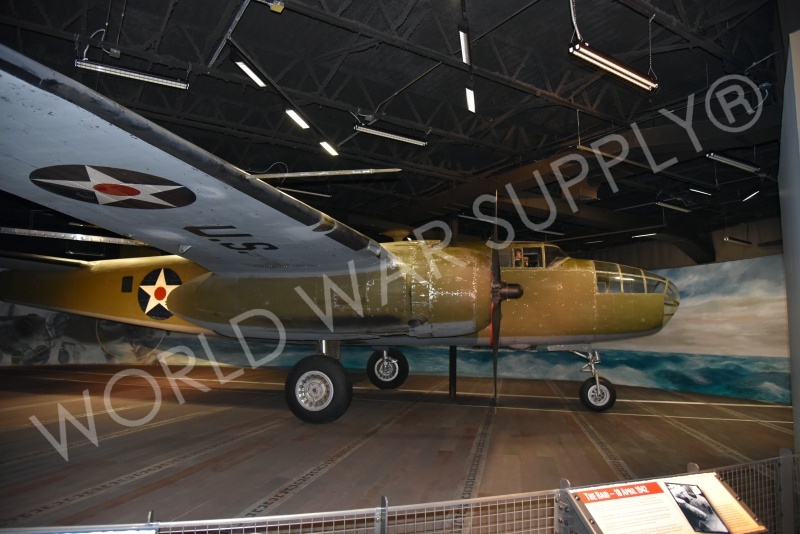 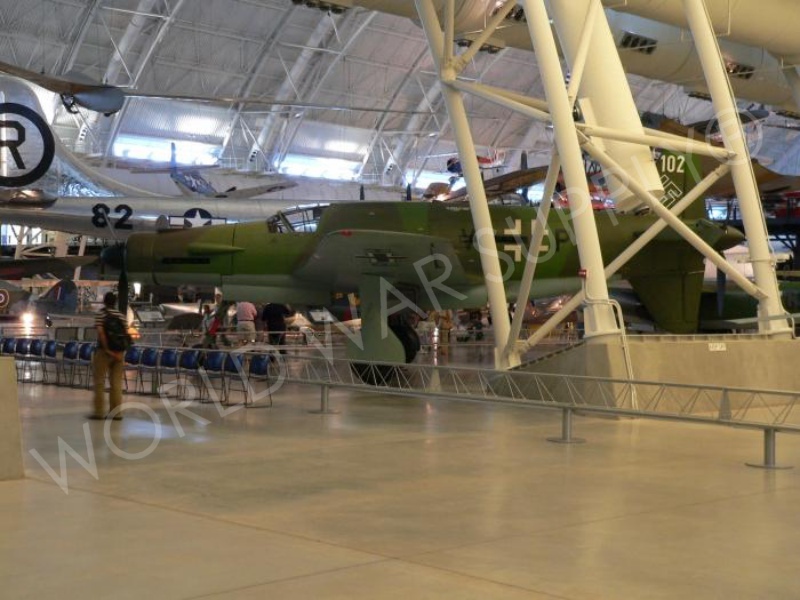 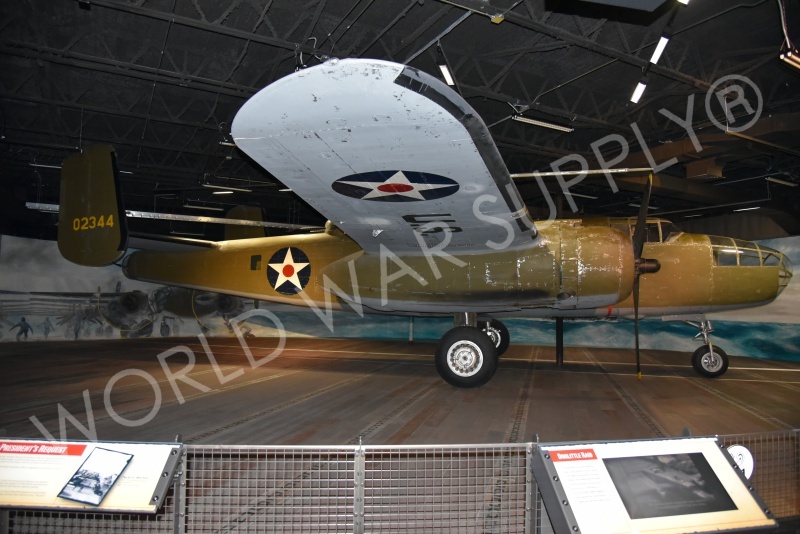 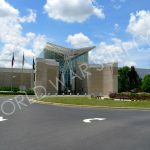 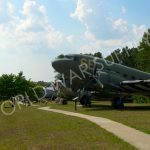 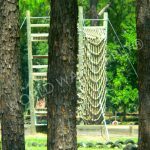 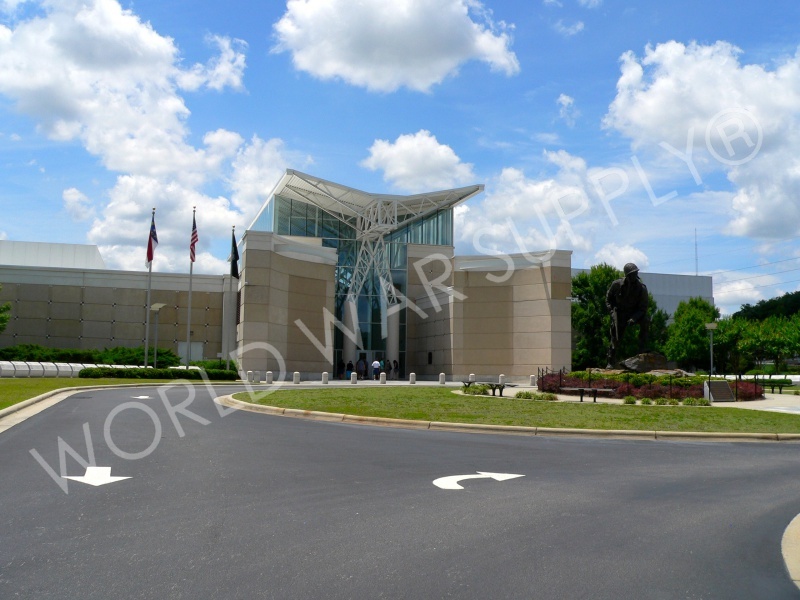 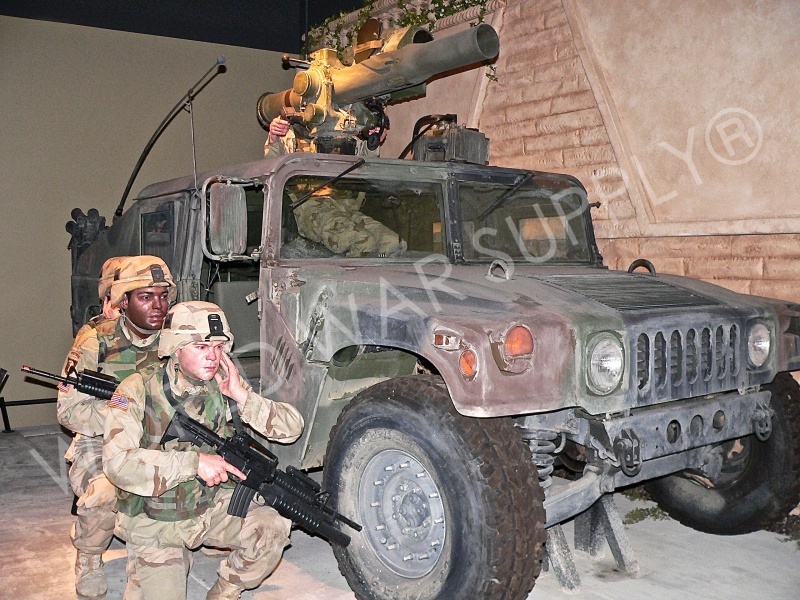 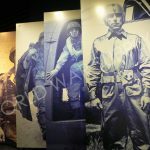 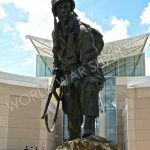 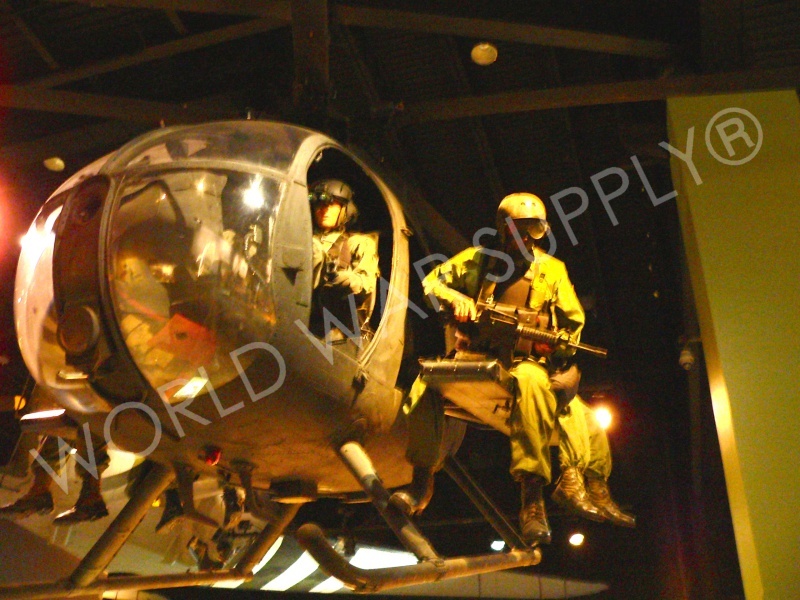 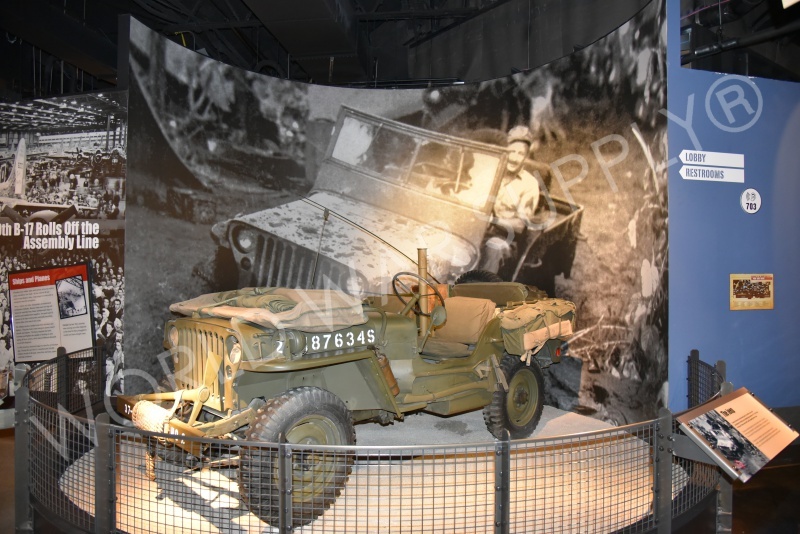 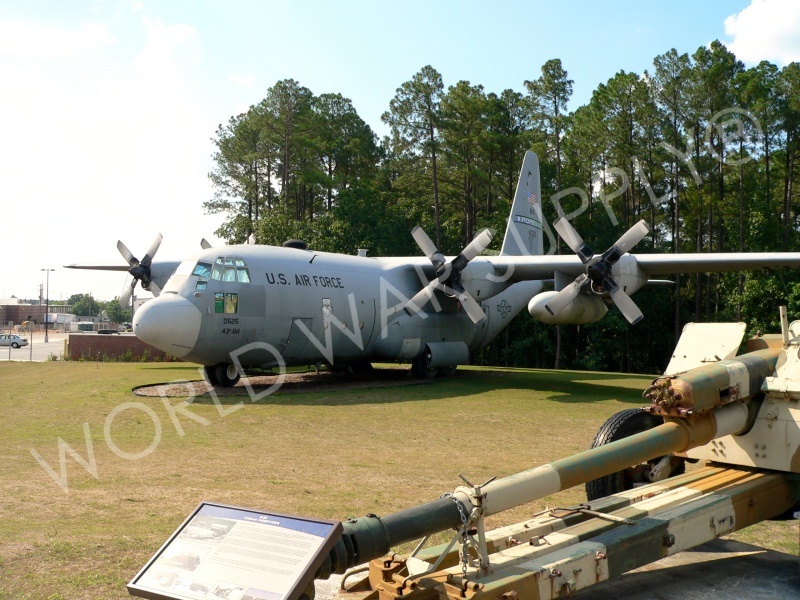 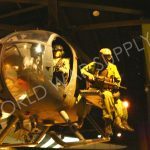 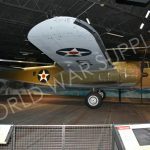 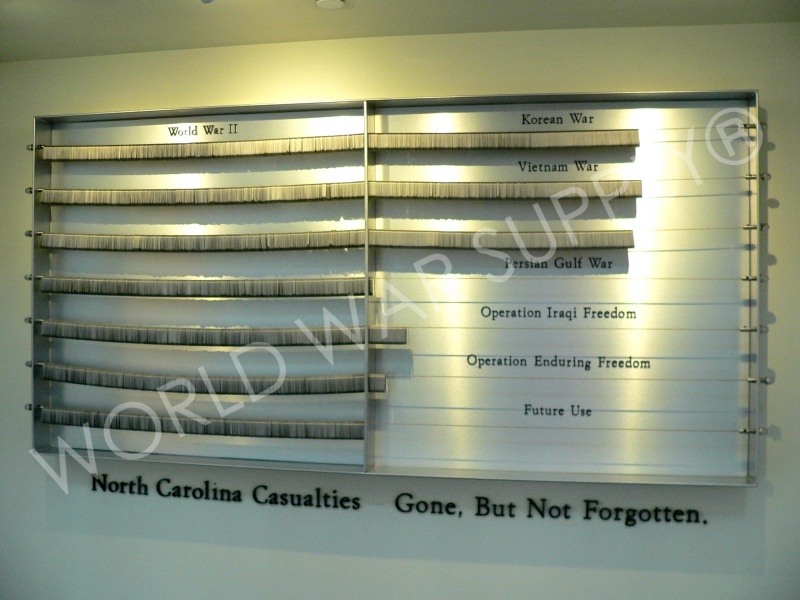 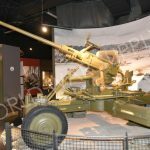 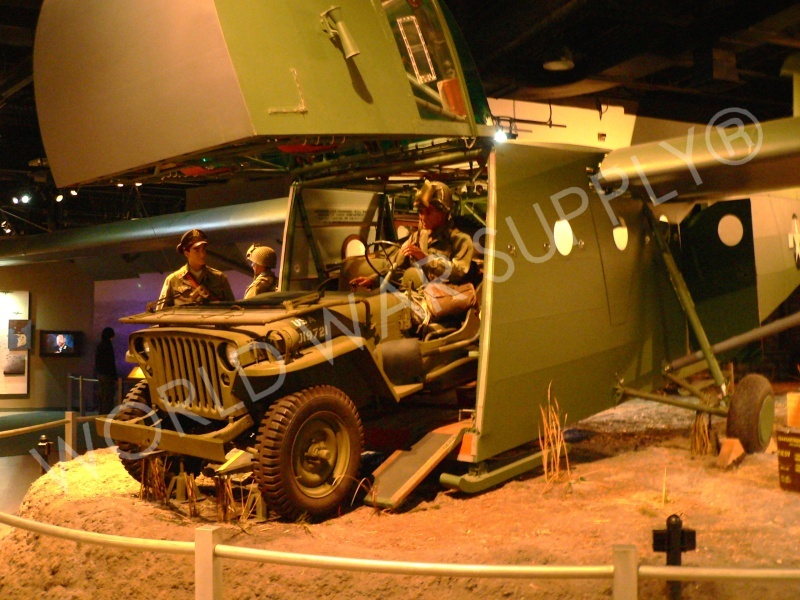 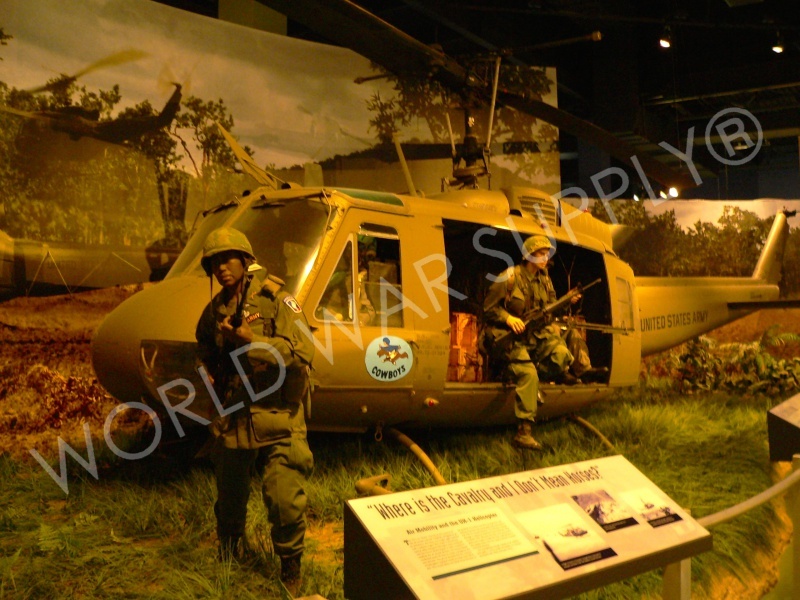 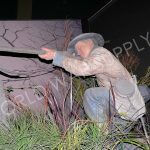 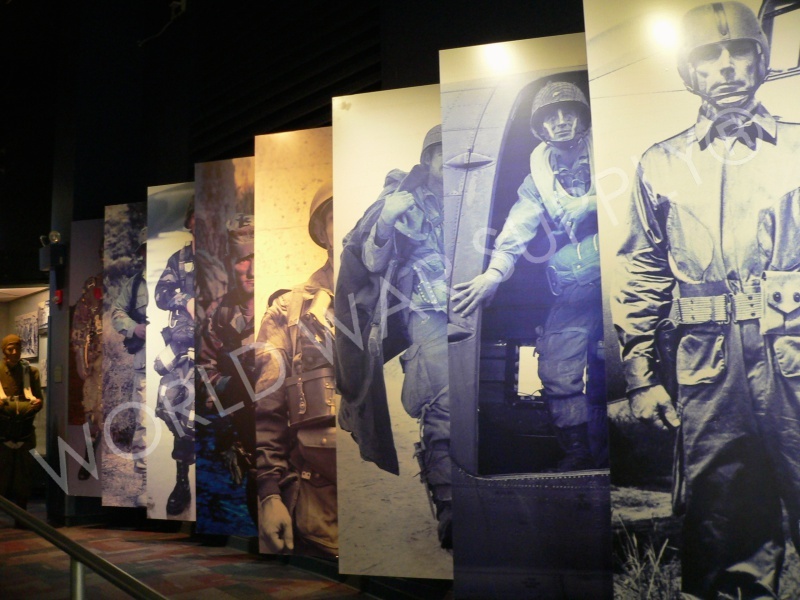 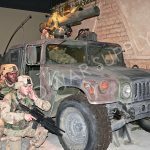 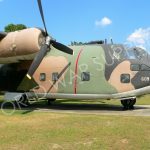 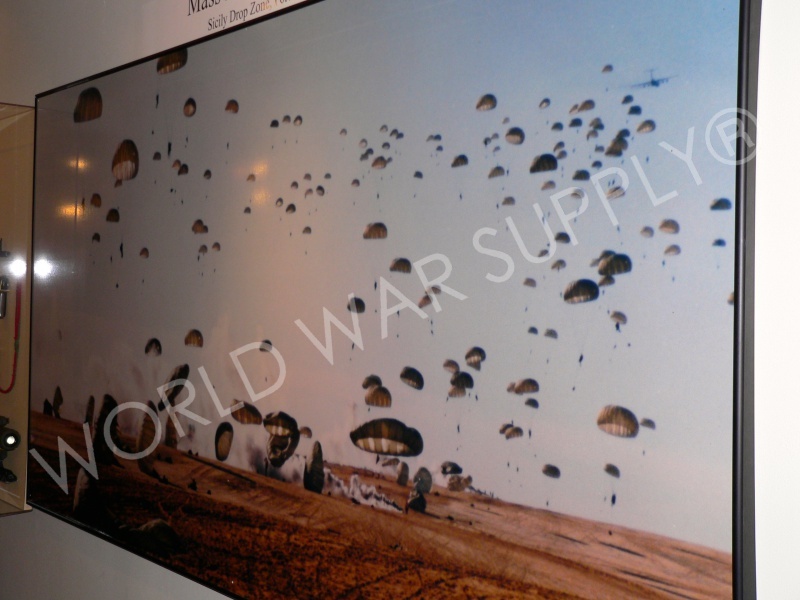 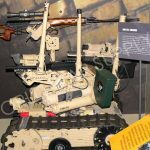 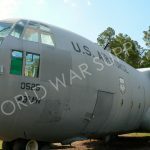 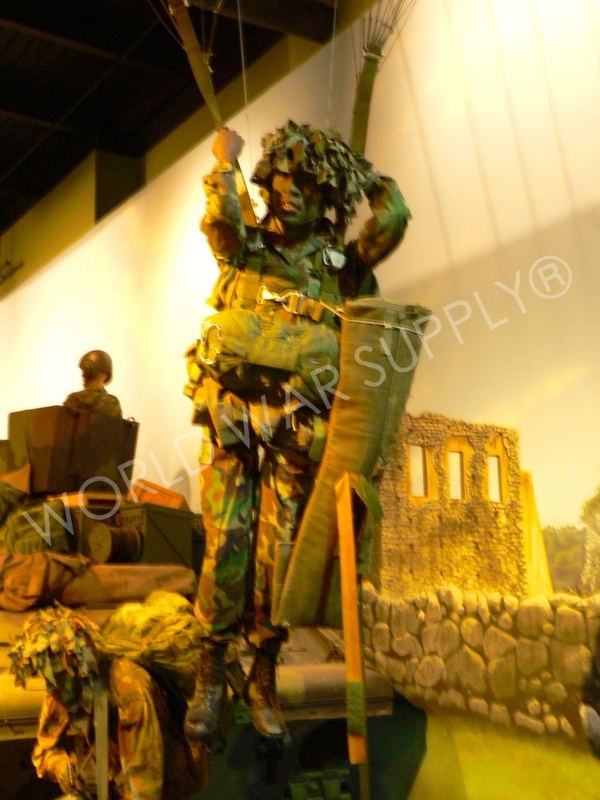 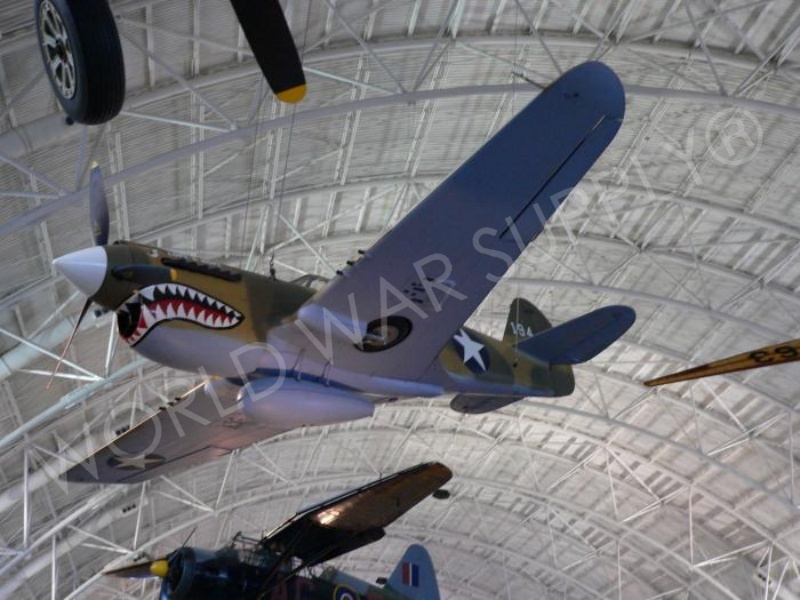 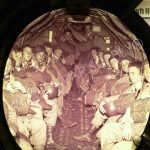 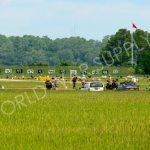 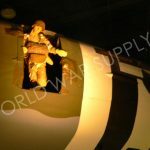 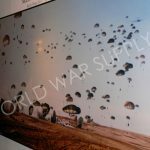 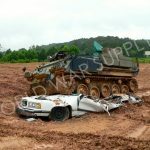 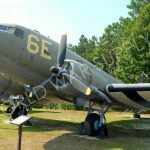 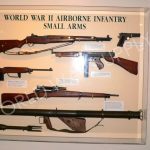 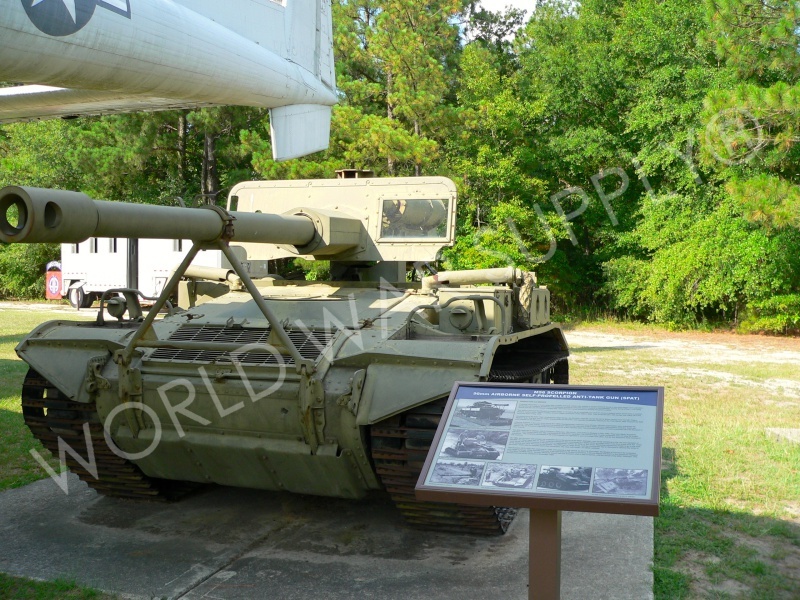 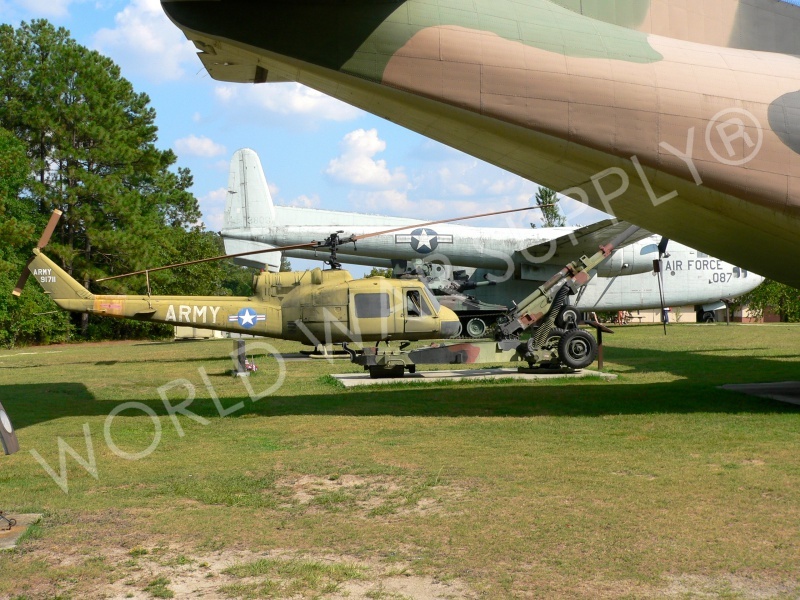 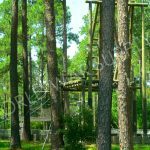 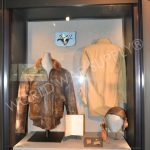 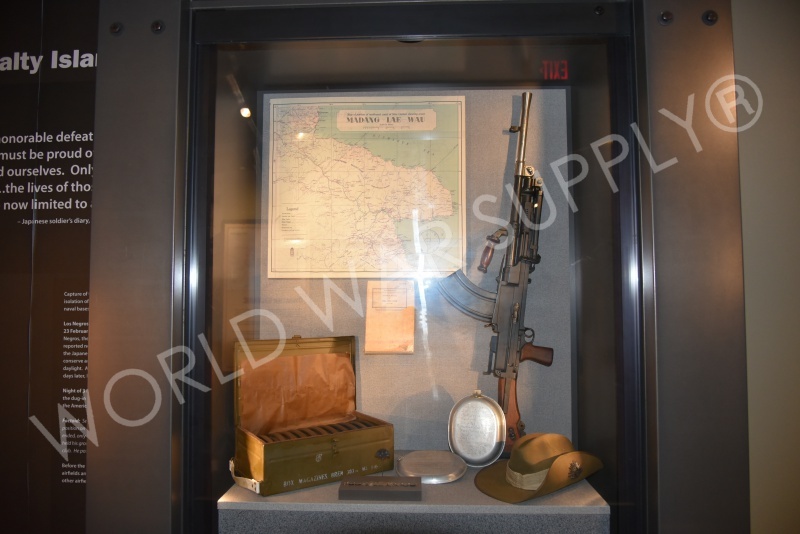 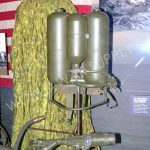 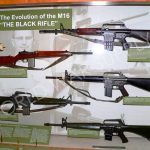 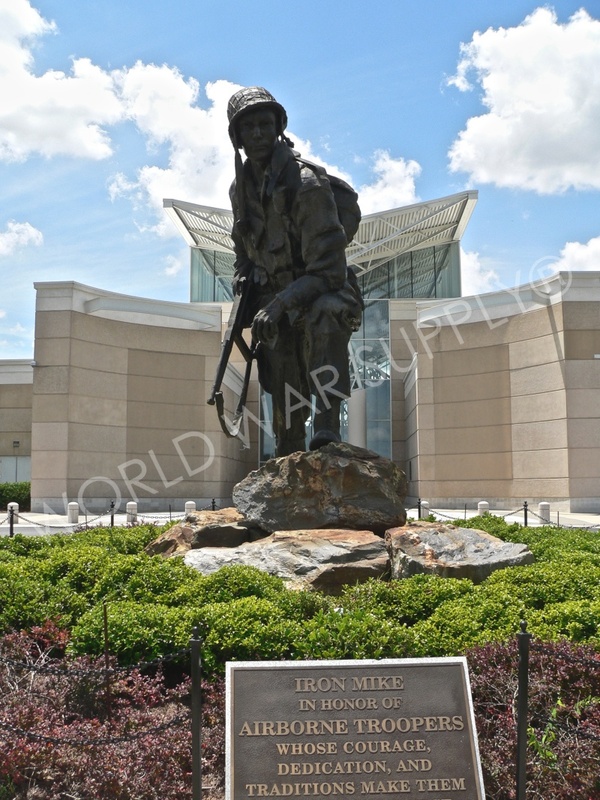 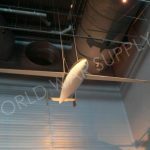 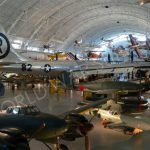 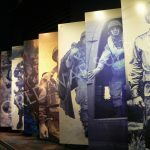 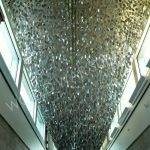 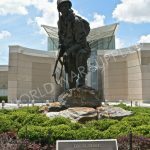 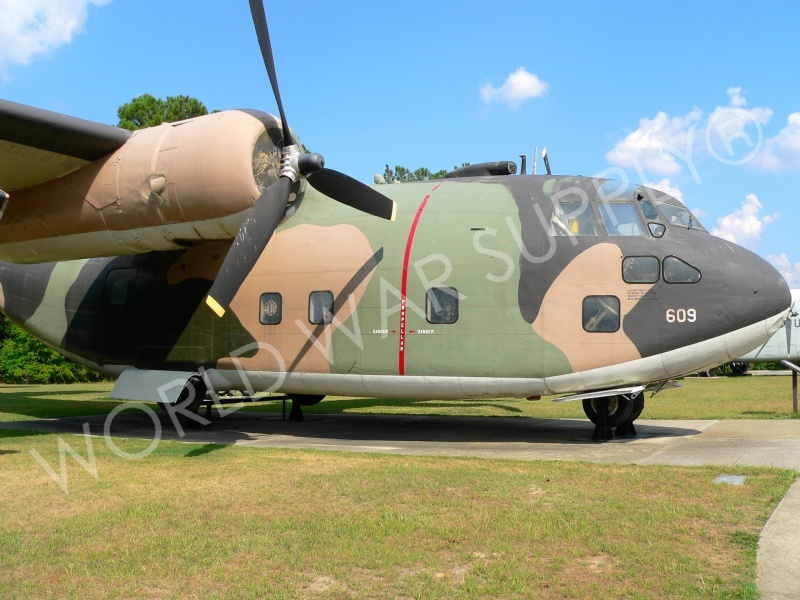 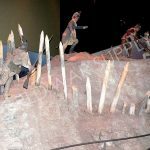 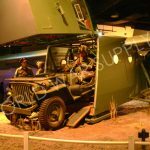 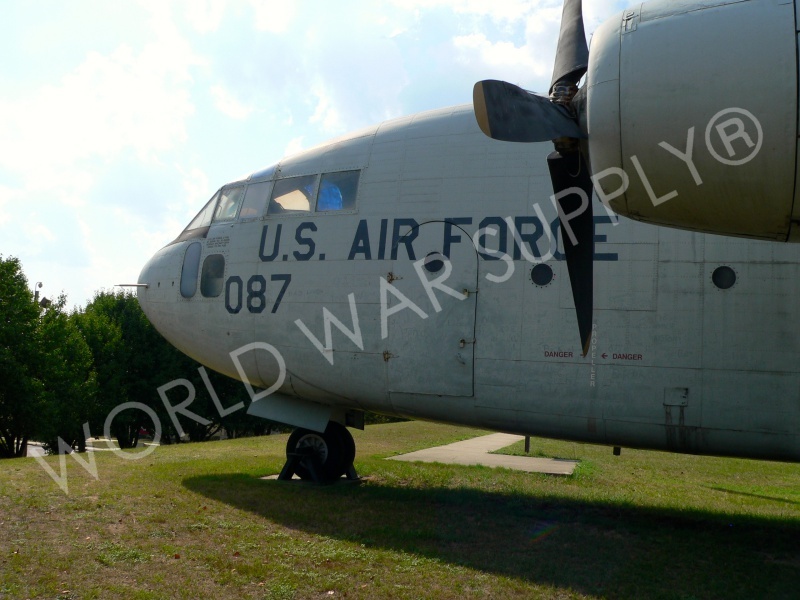 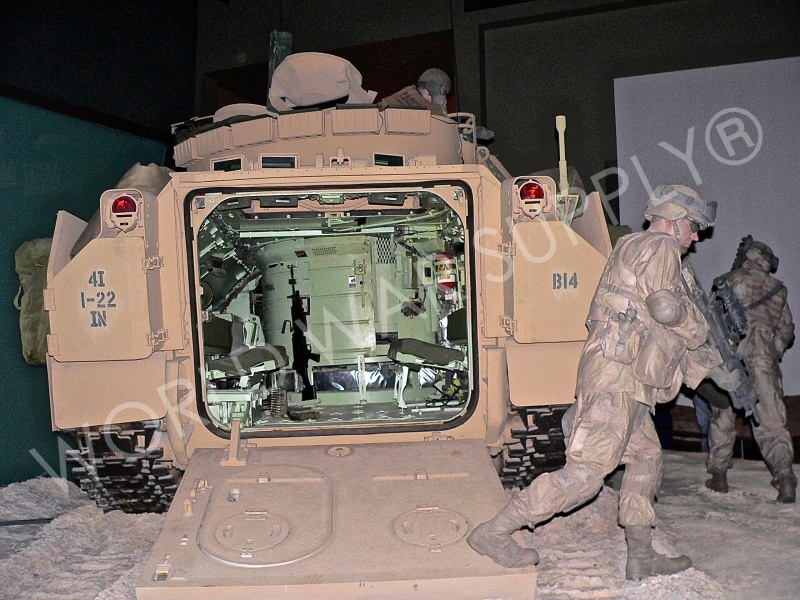 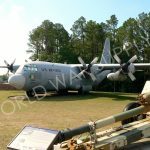 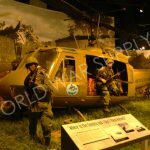 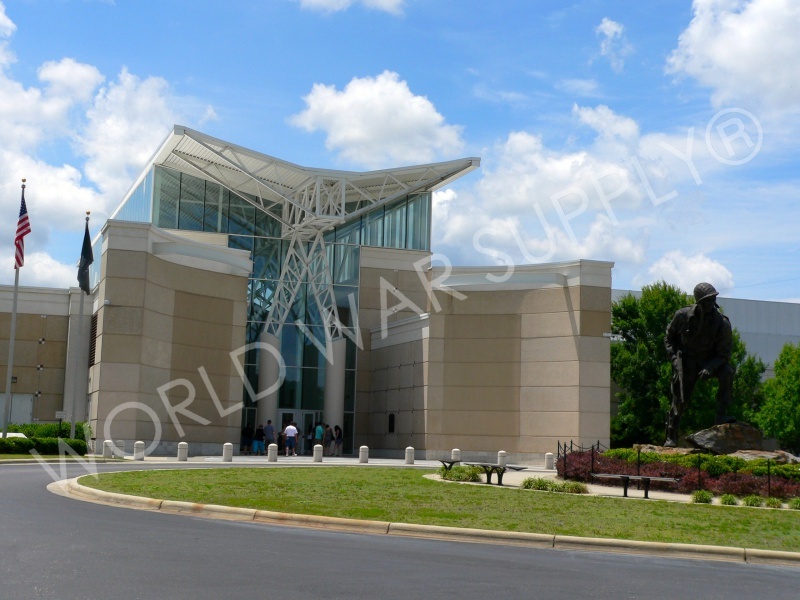 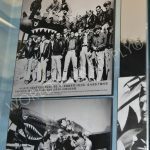 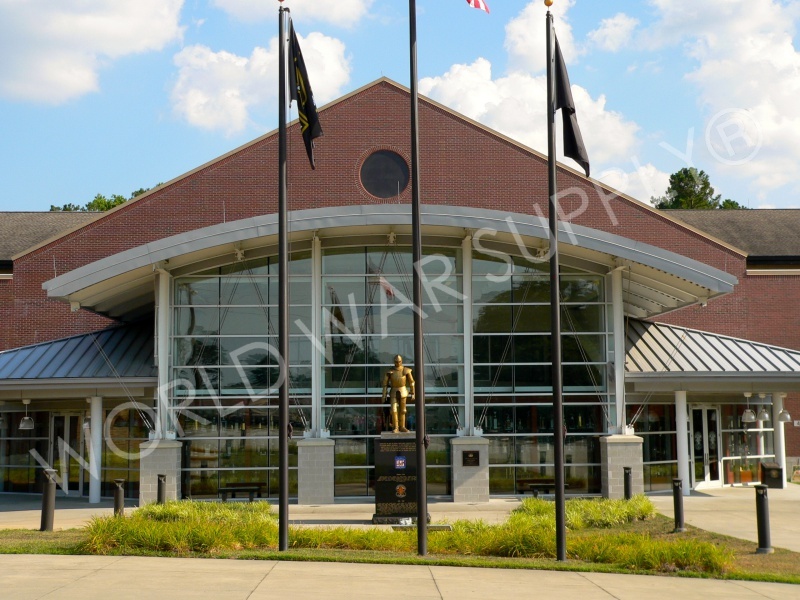 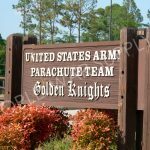 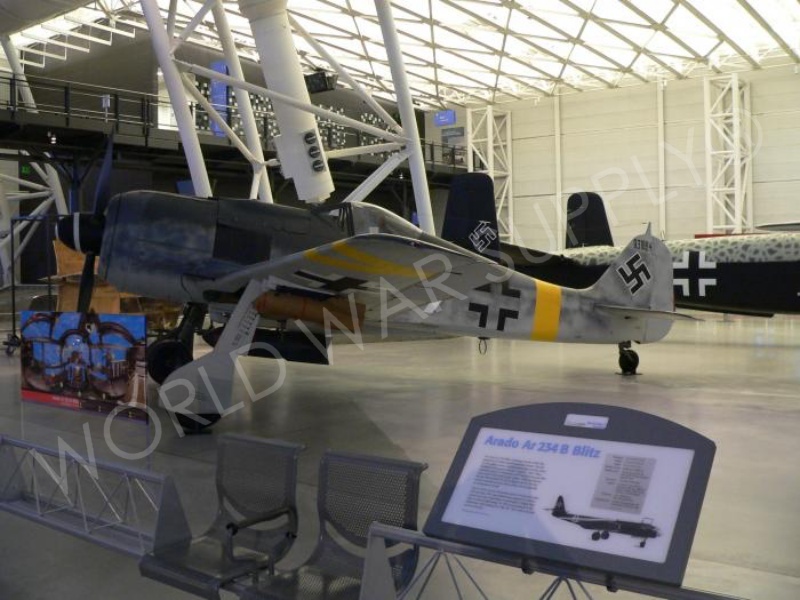 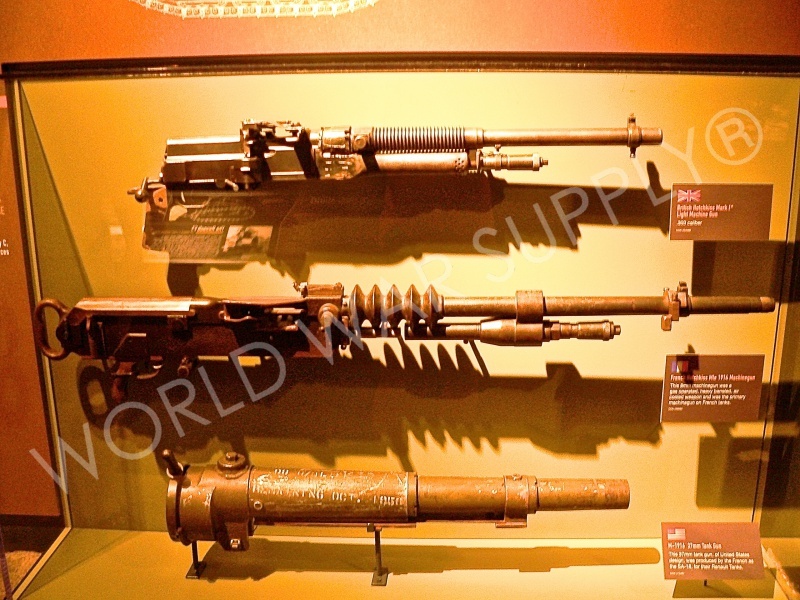 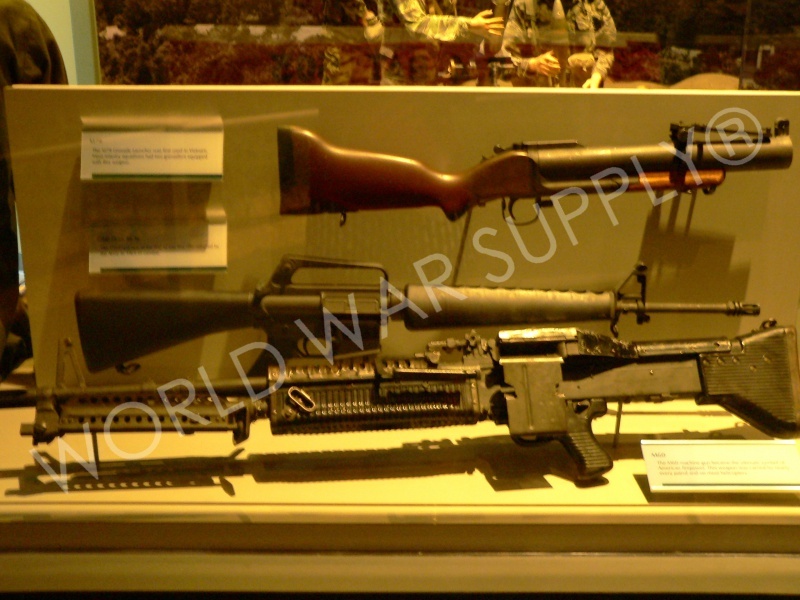 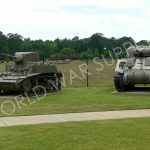 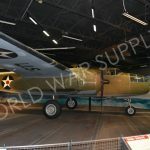 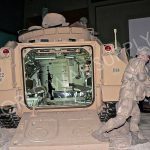 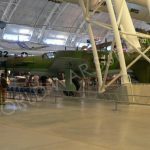 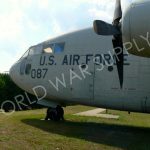 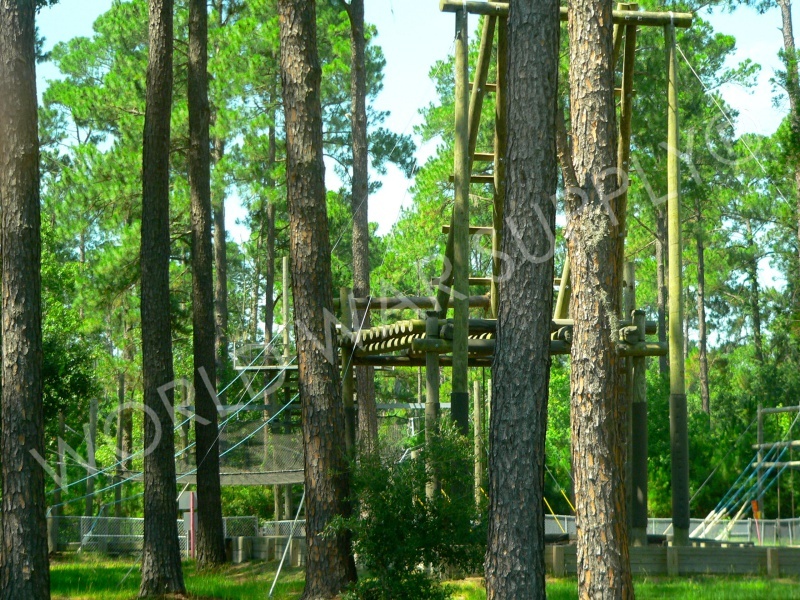 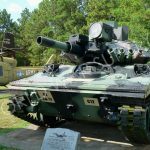 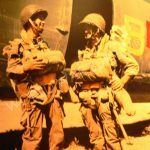 Fayetteville, NC- The US Army Airborne & Special Operations Museum is located just outside of Fort Bragg and has been open to the public since 2000. 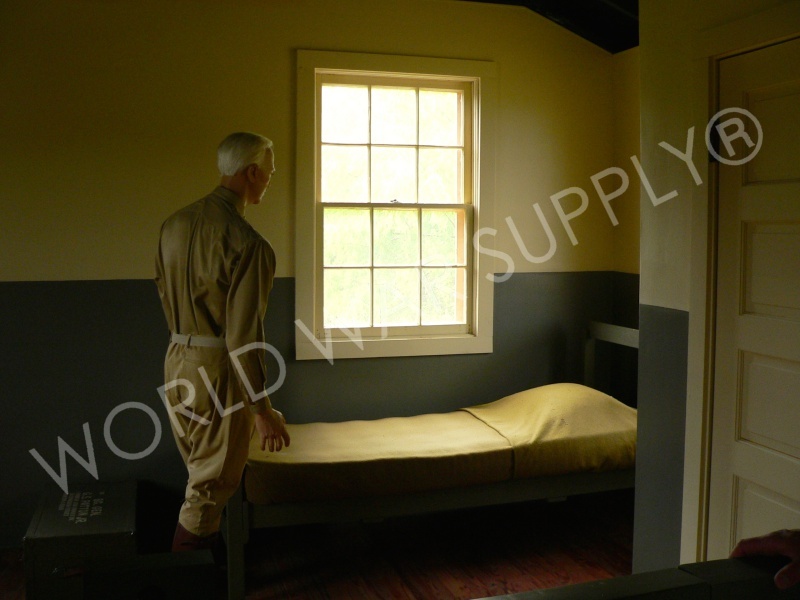 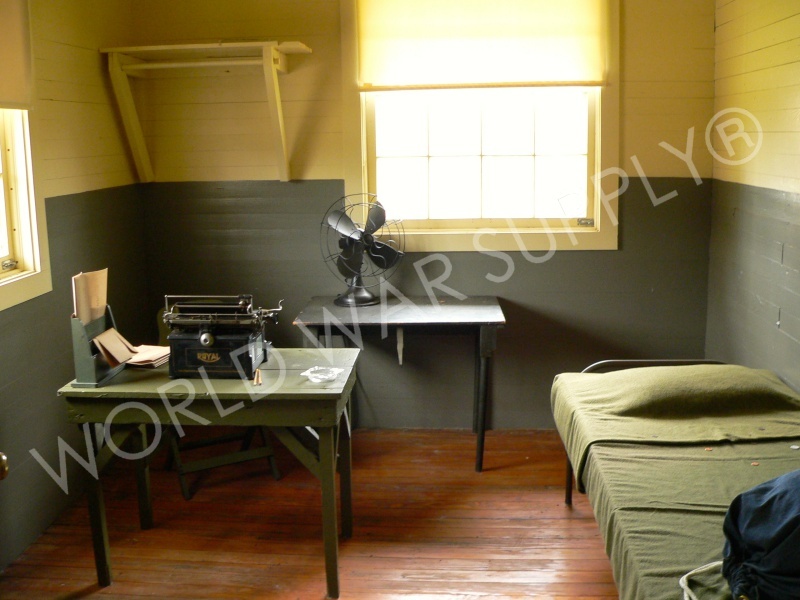 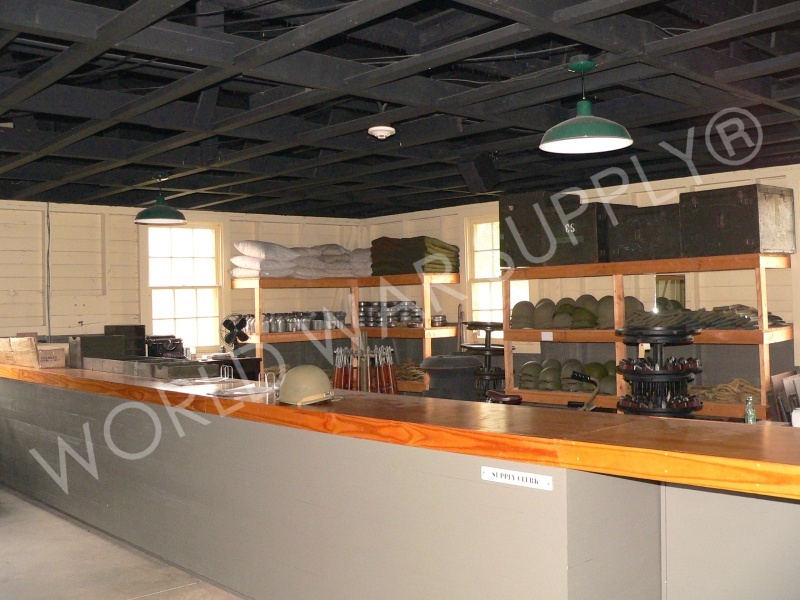 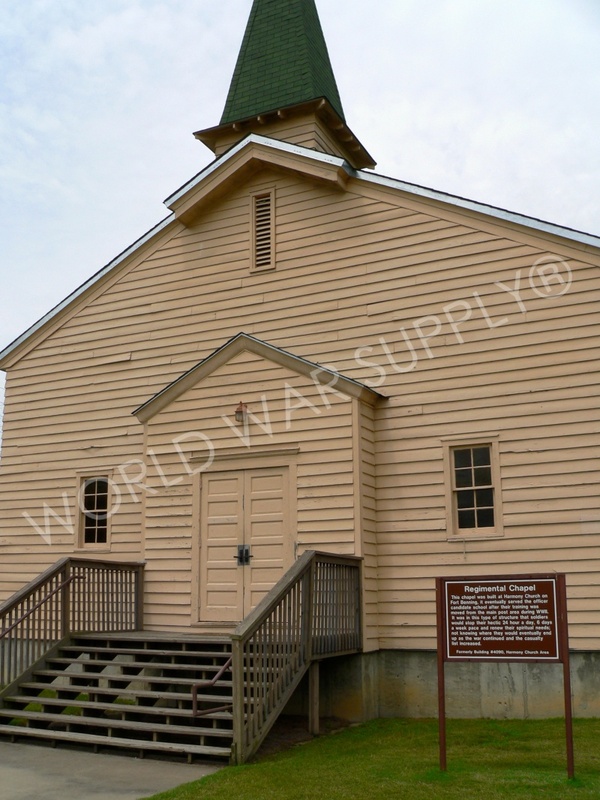 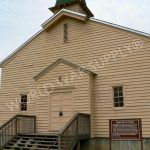 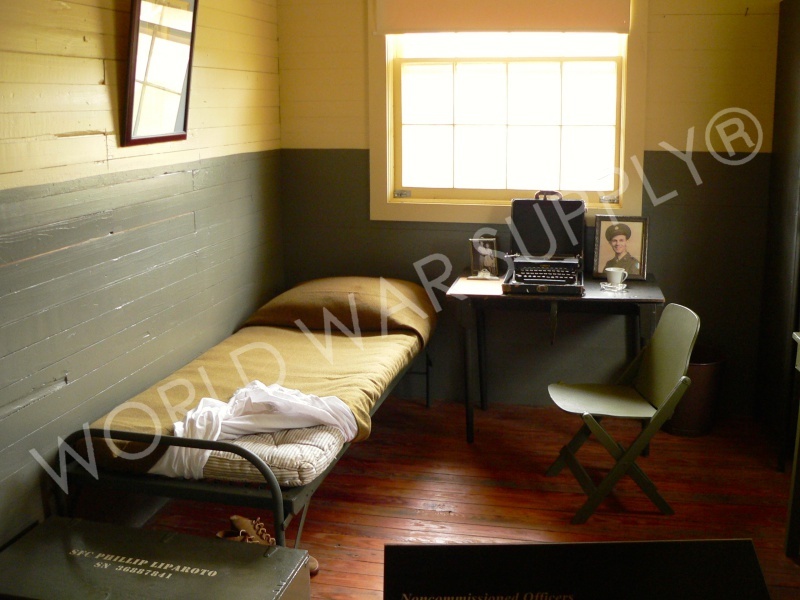 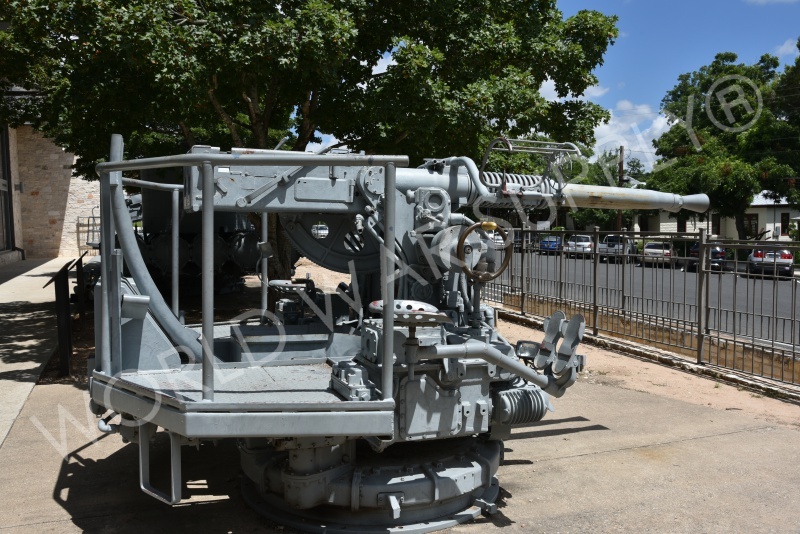 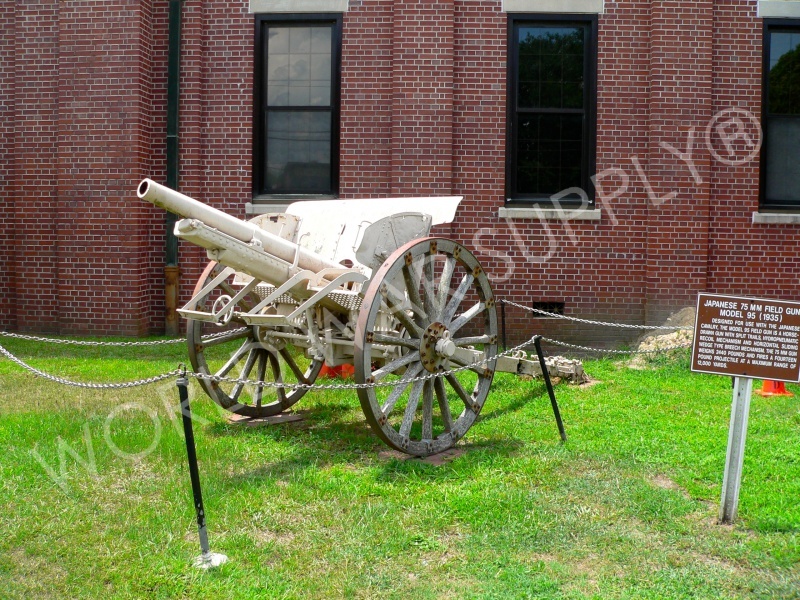 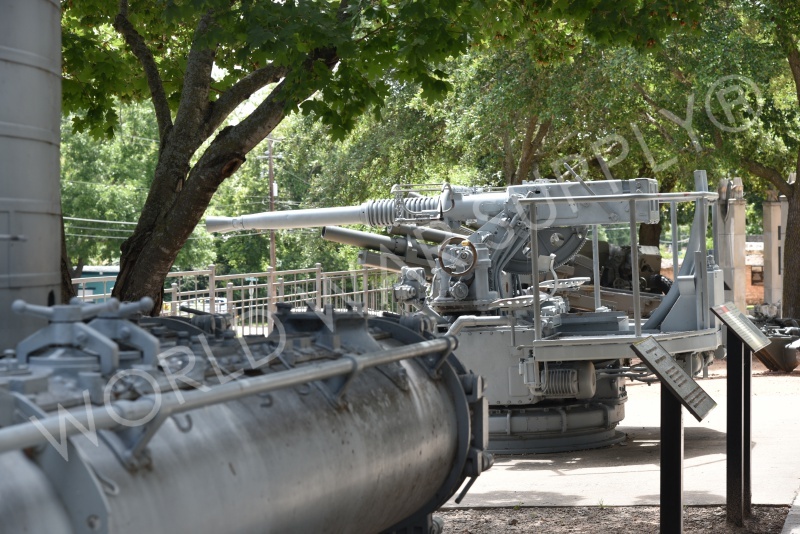 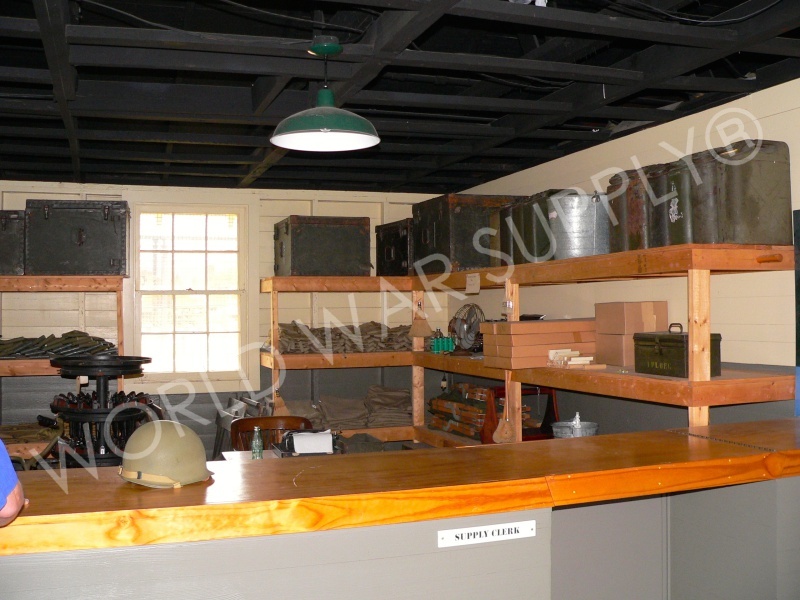 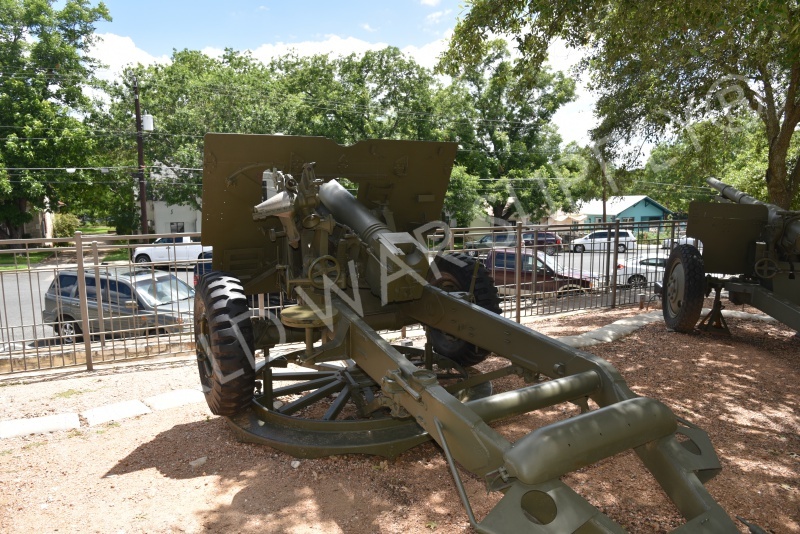 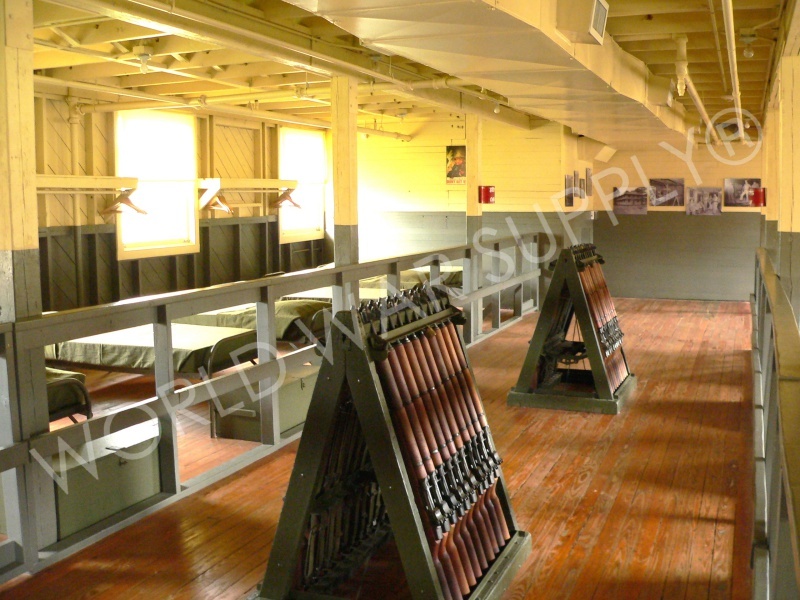 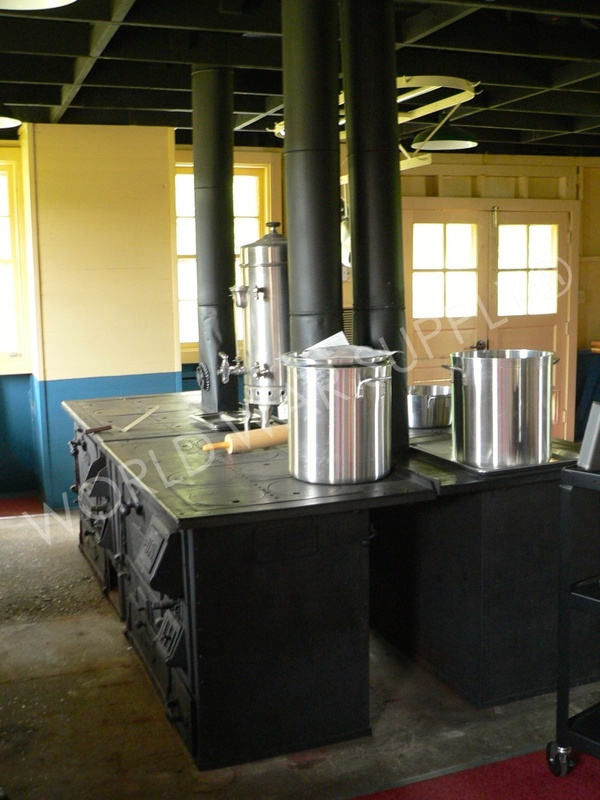 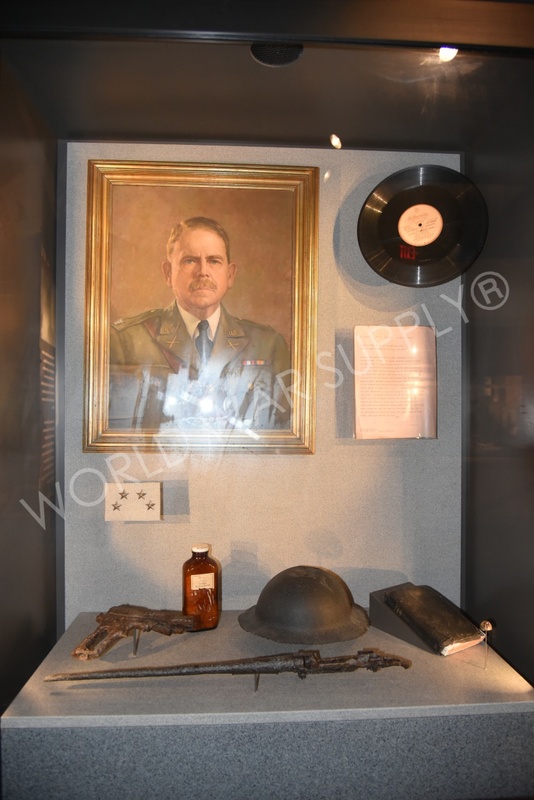 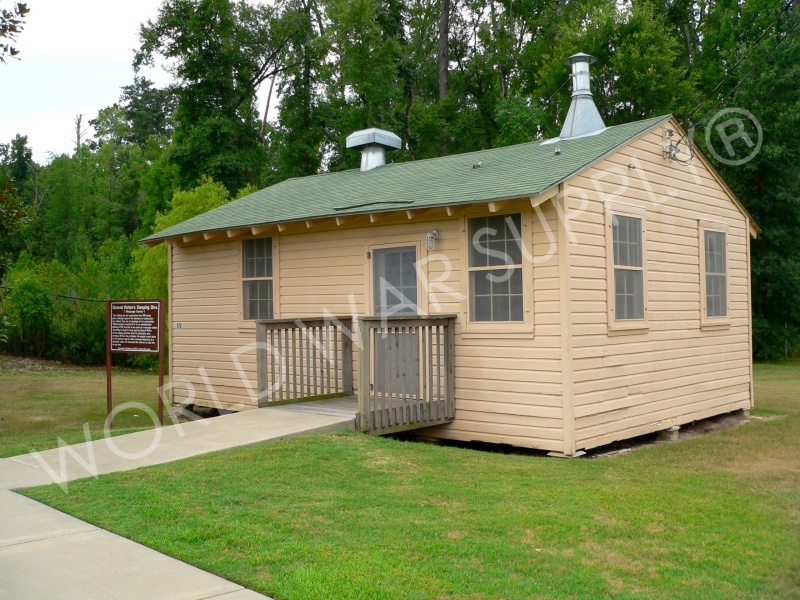 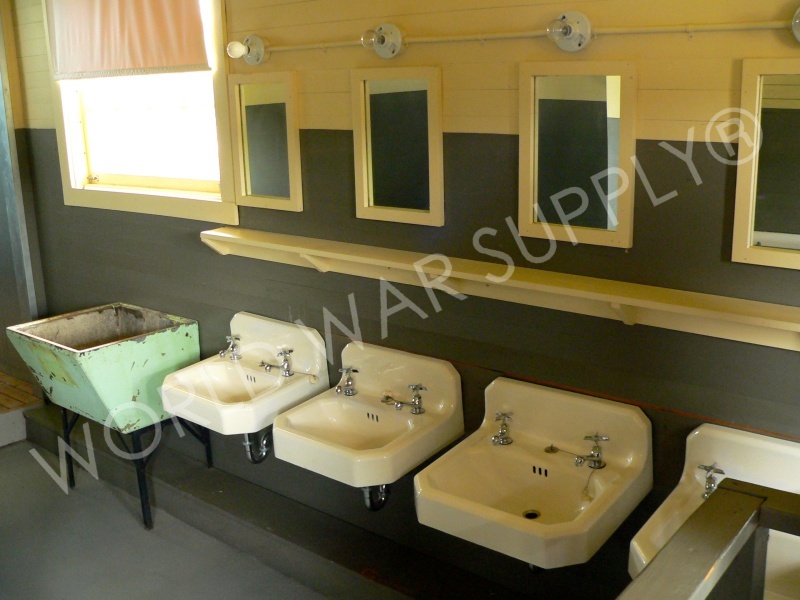 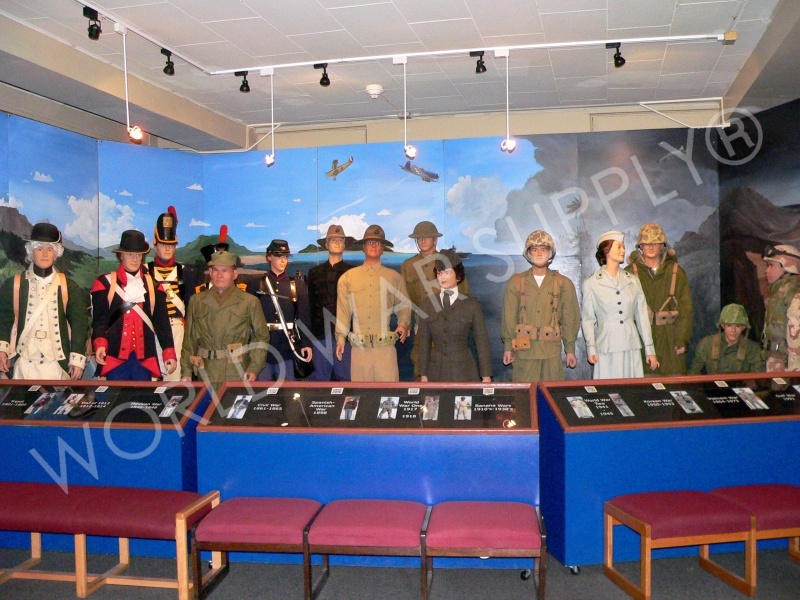 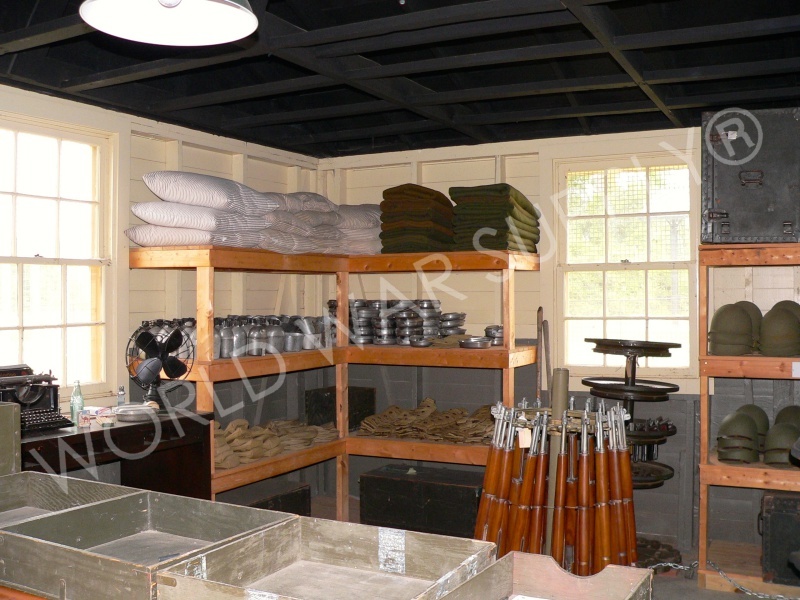 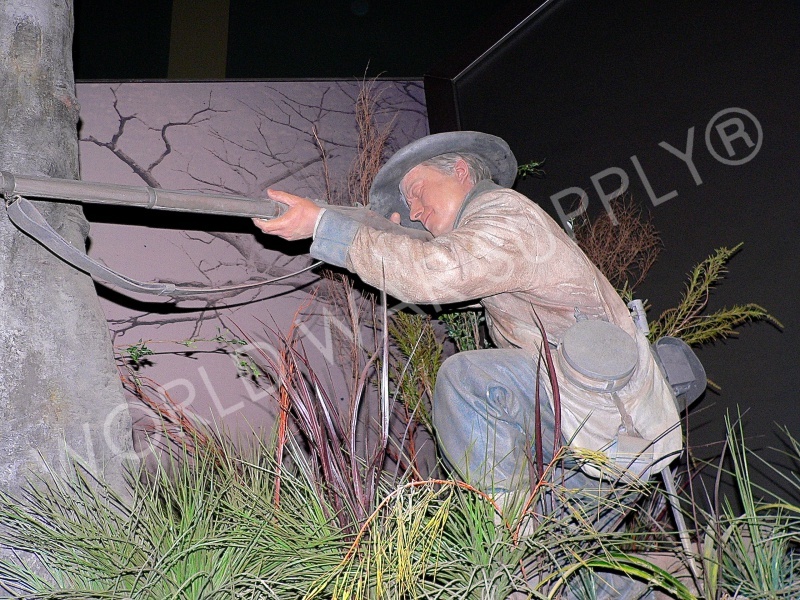 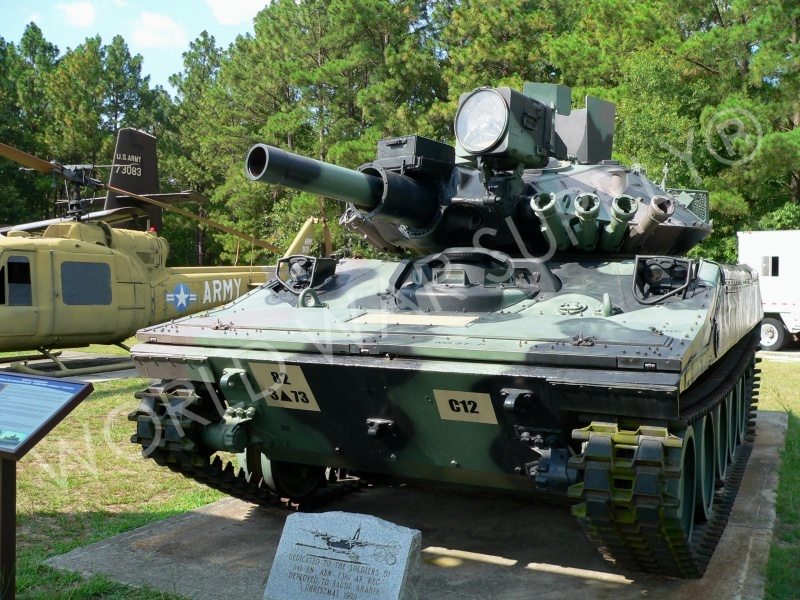 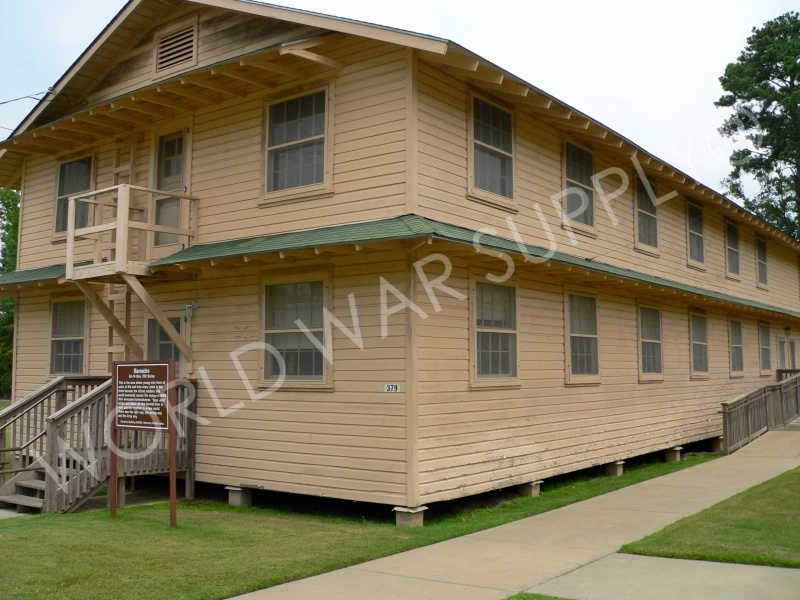 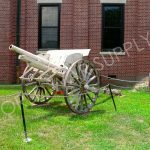 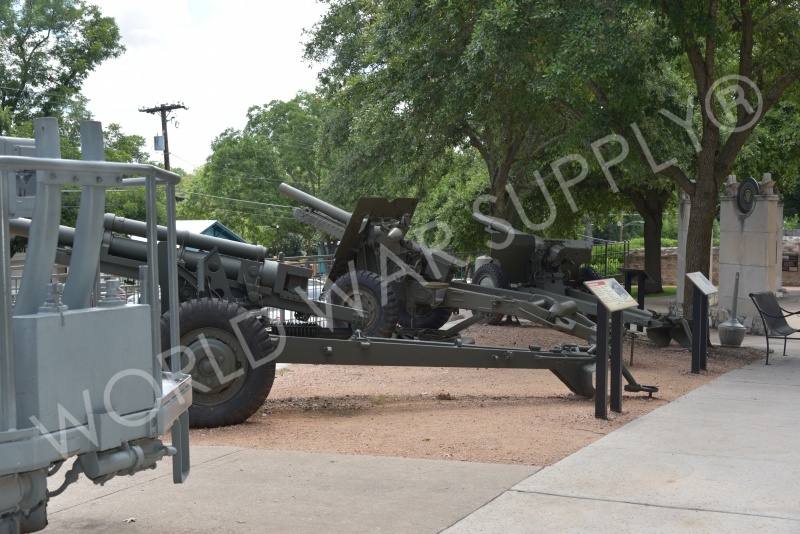 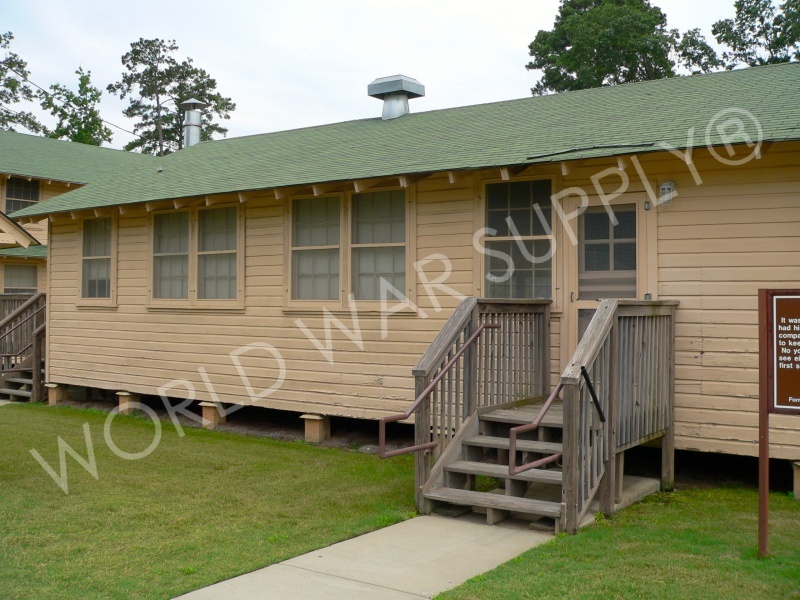 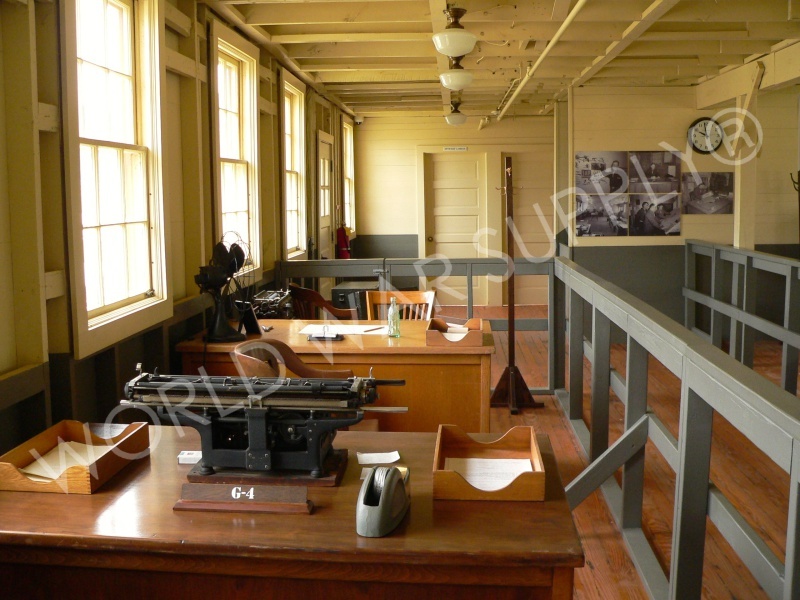 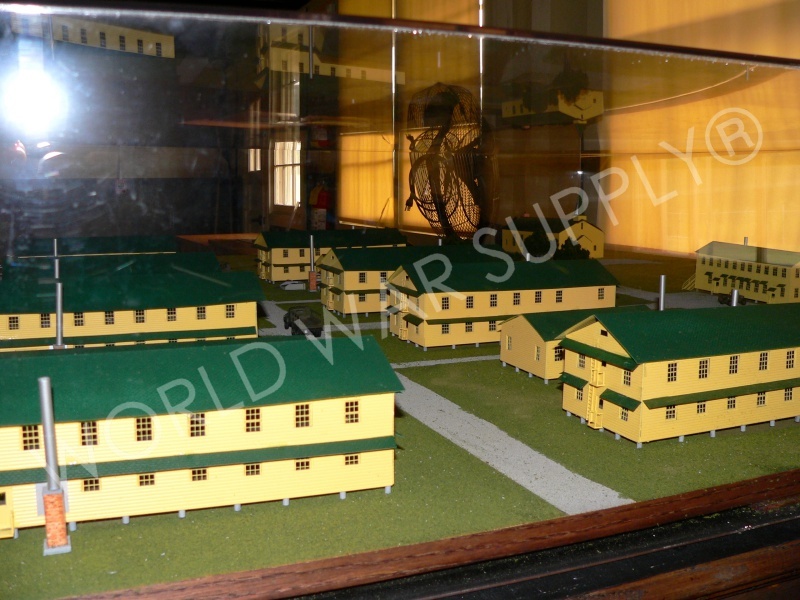 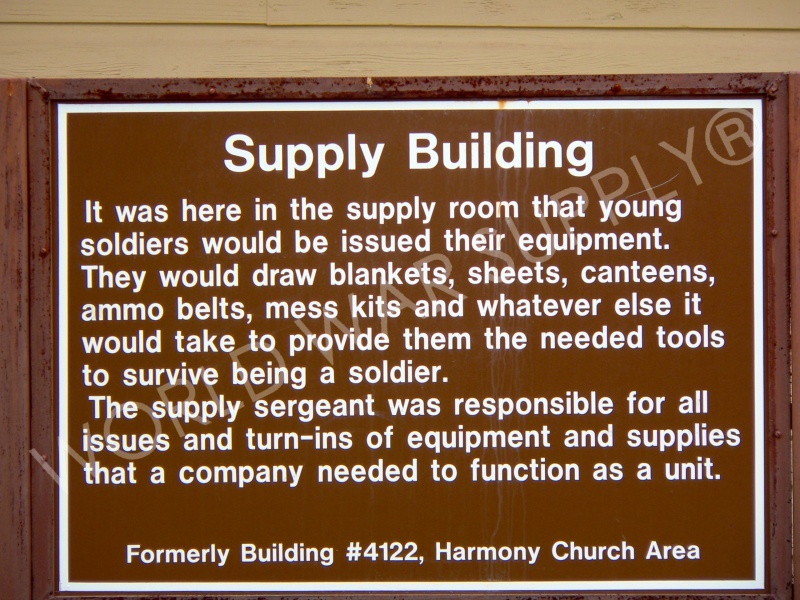 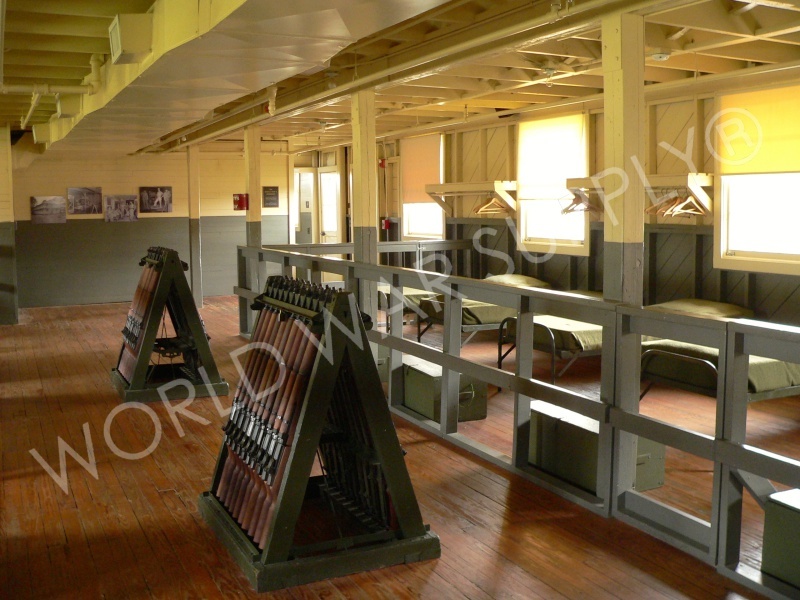 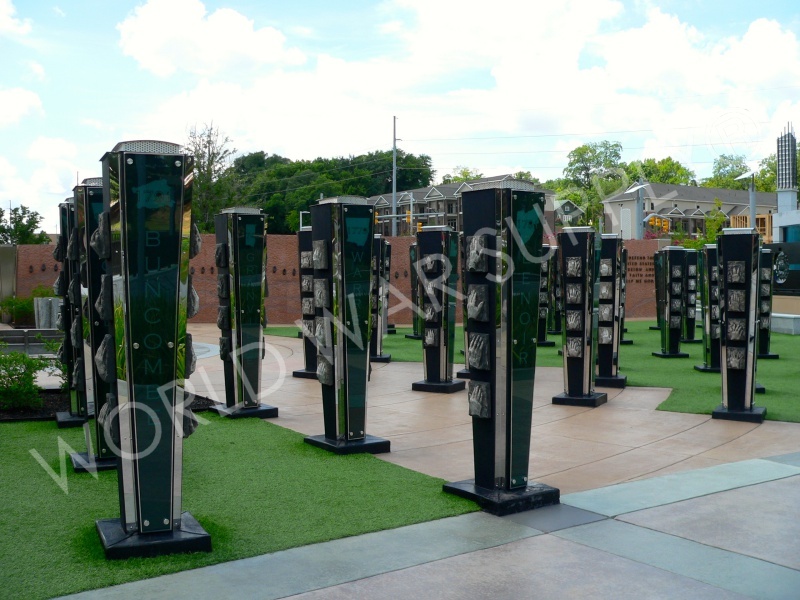 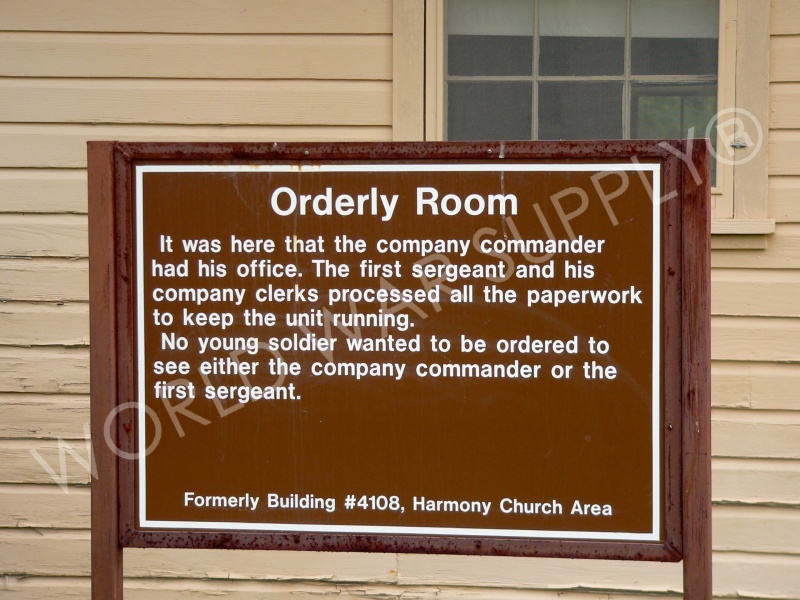 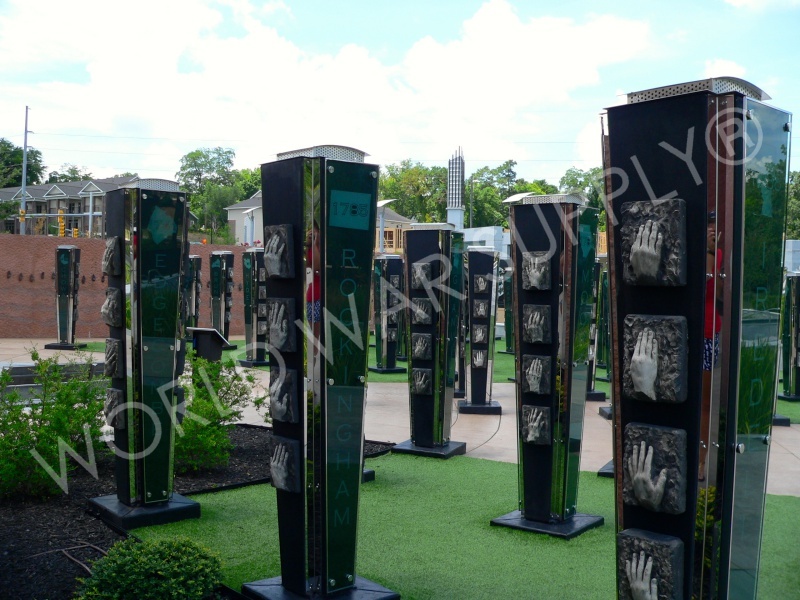 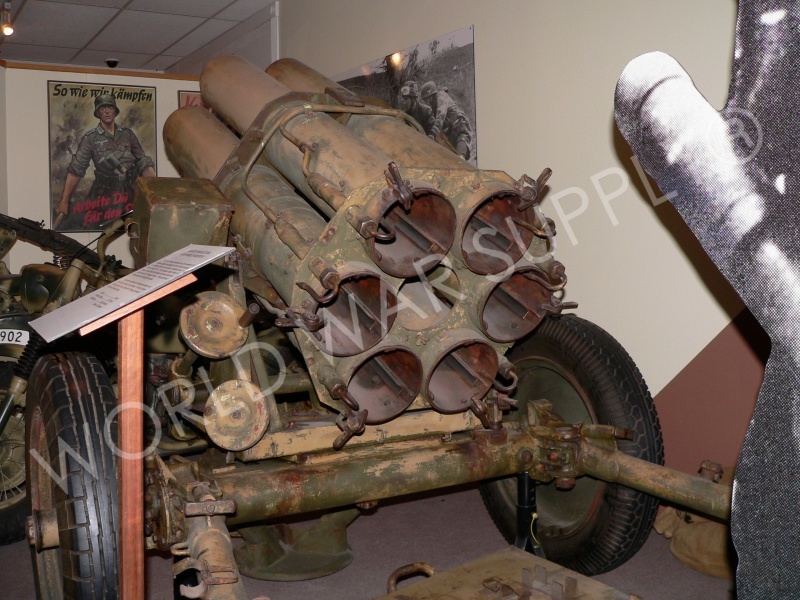 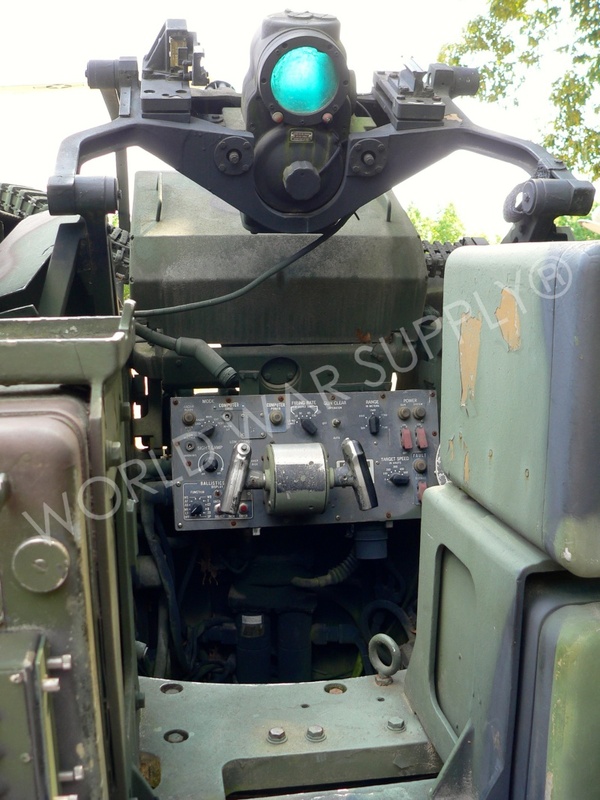 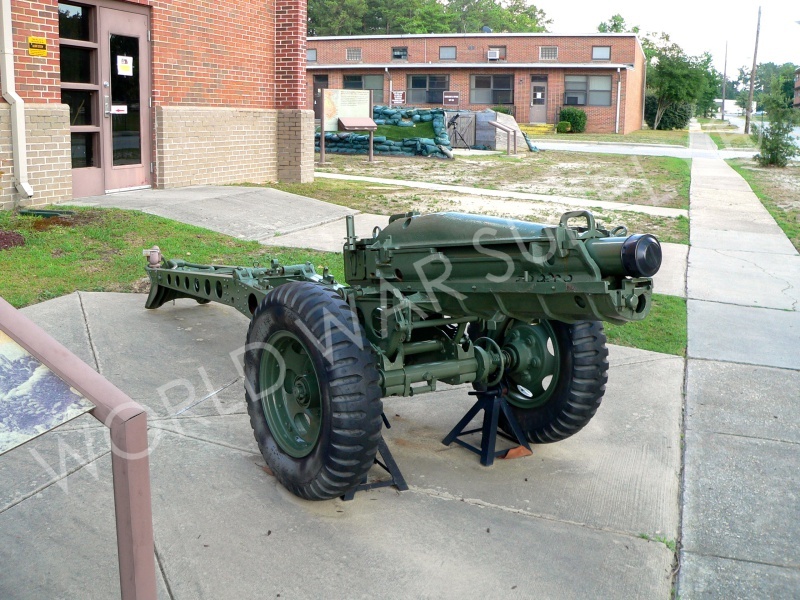 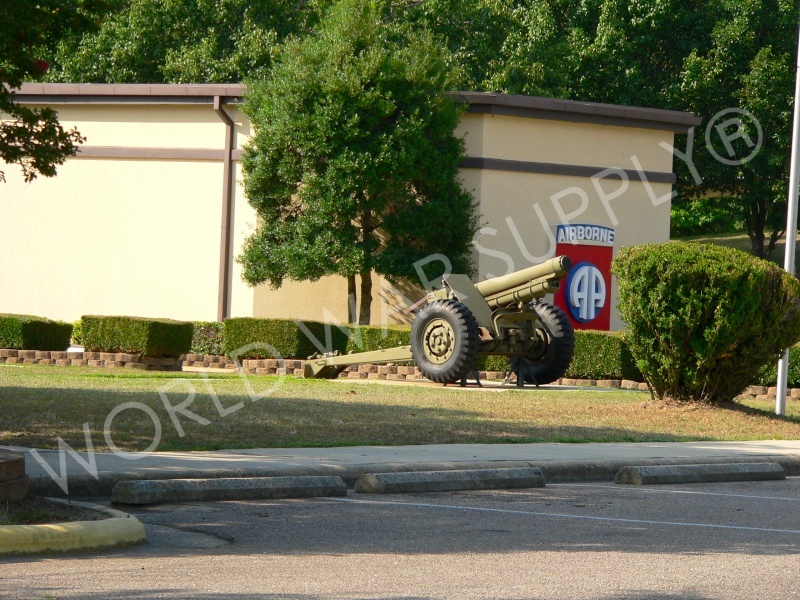 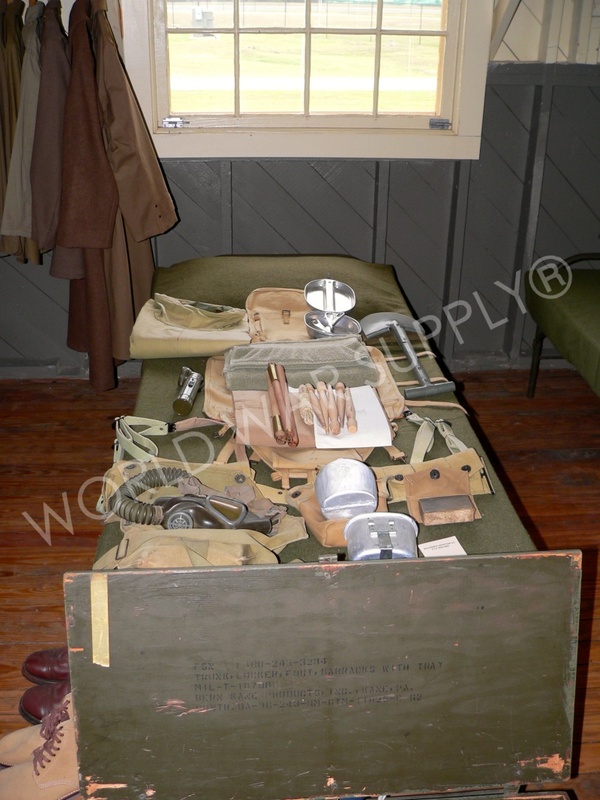 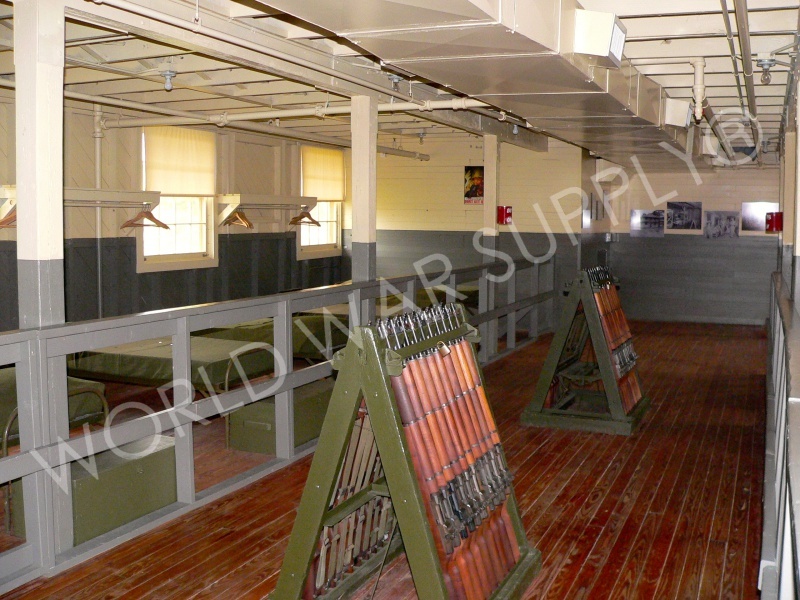 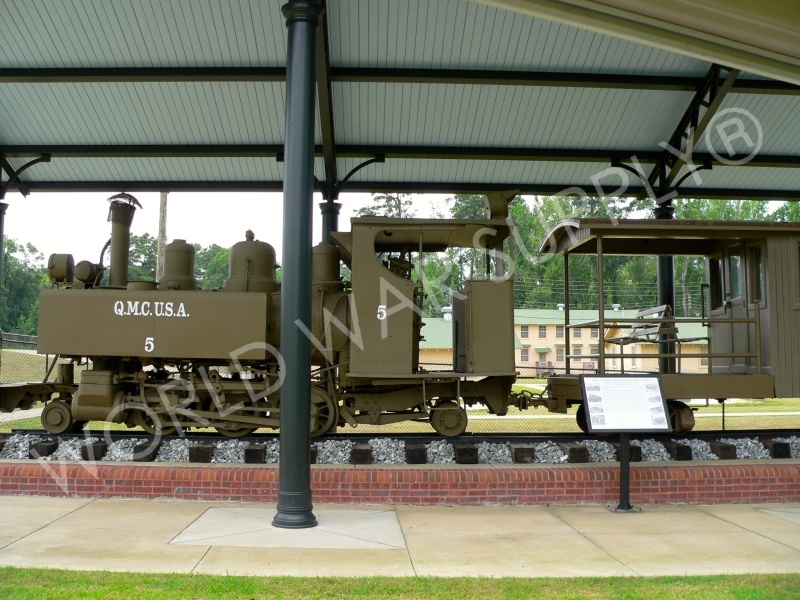 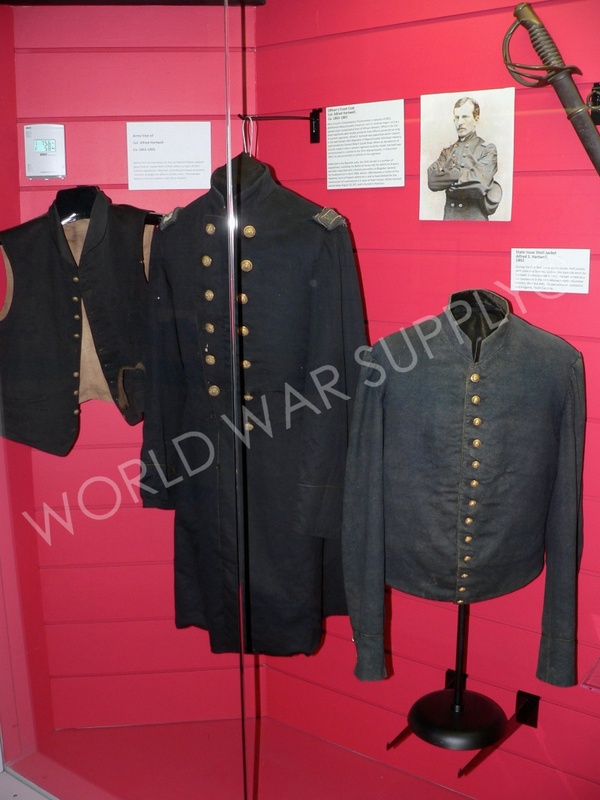 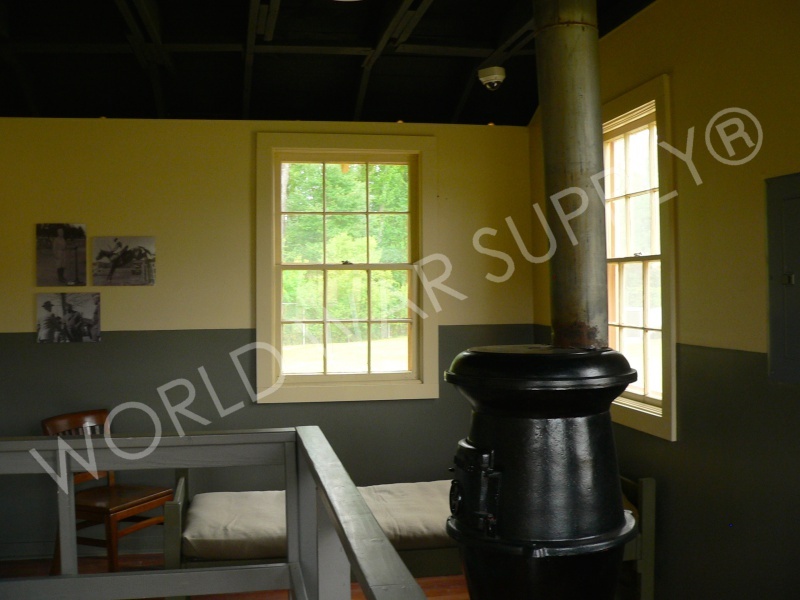 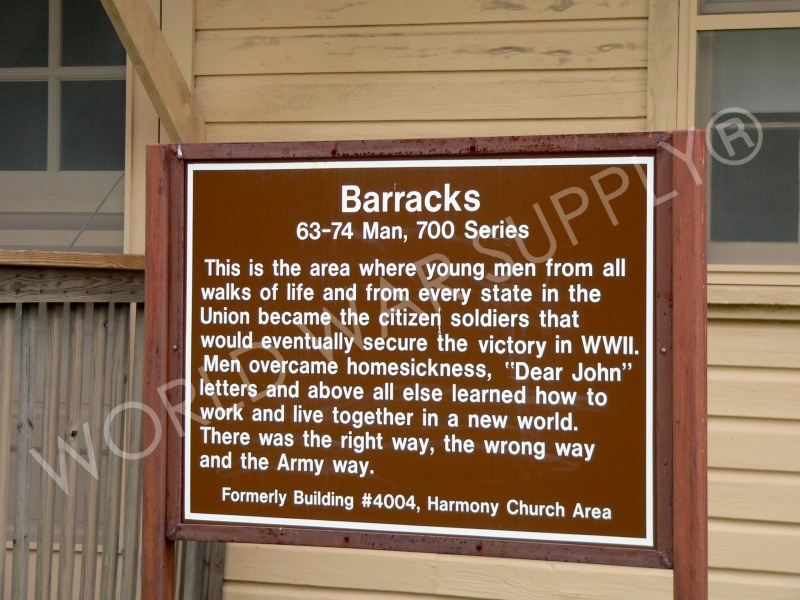 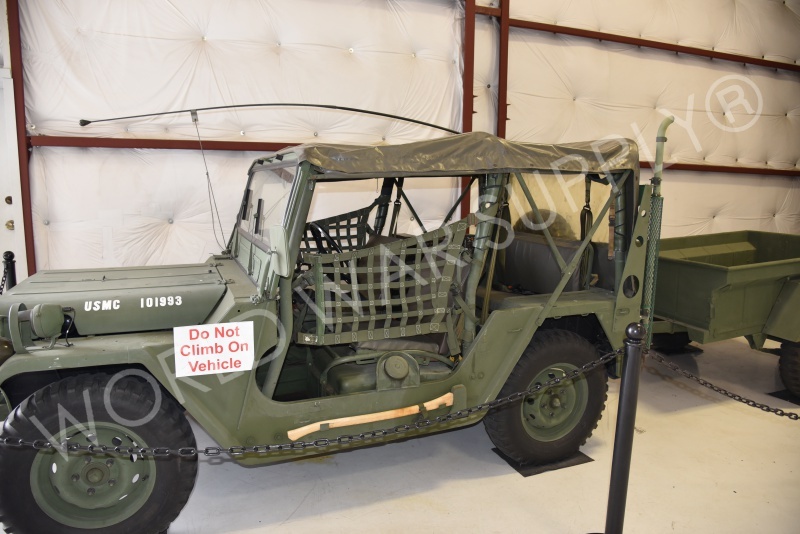 The museum focuses on military history and includes an outdoor exhibit of Harmony Church. 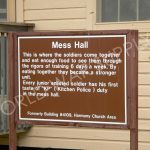 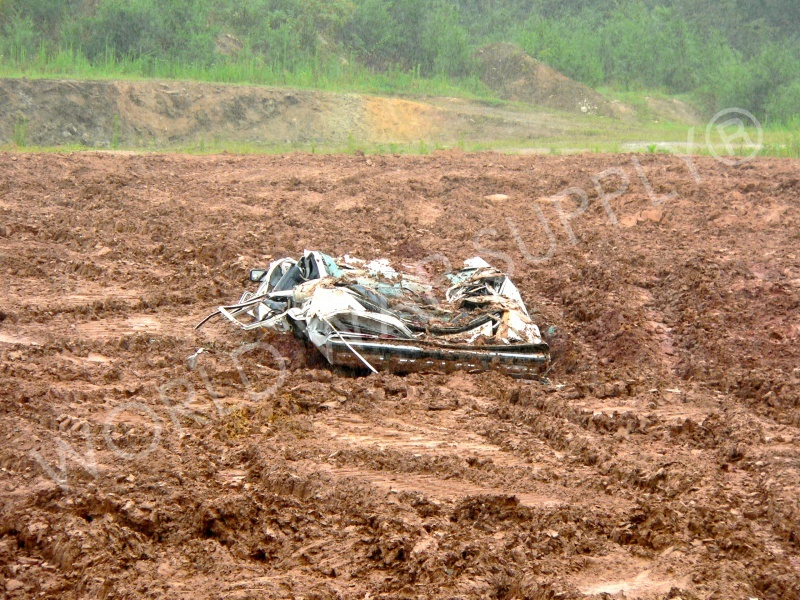 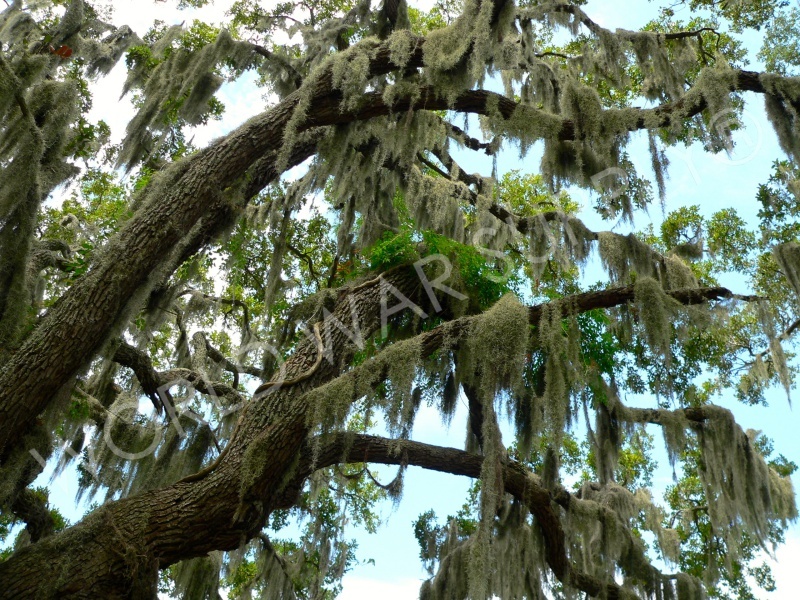 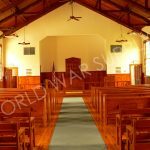 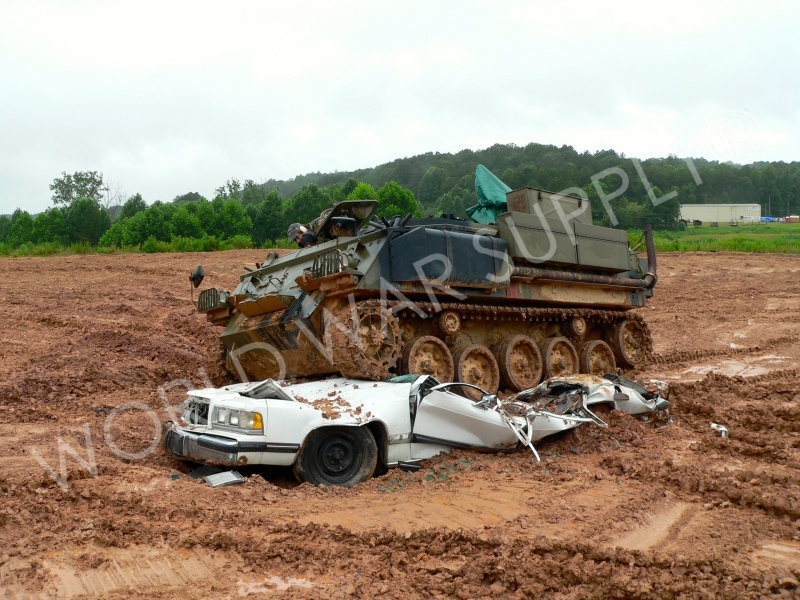 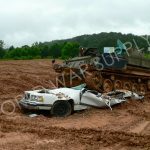 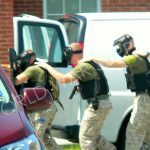 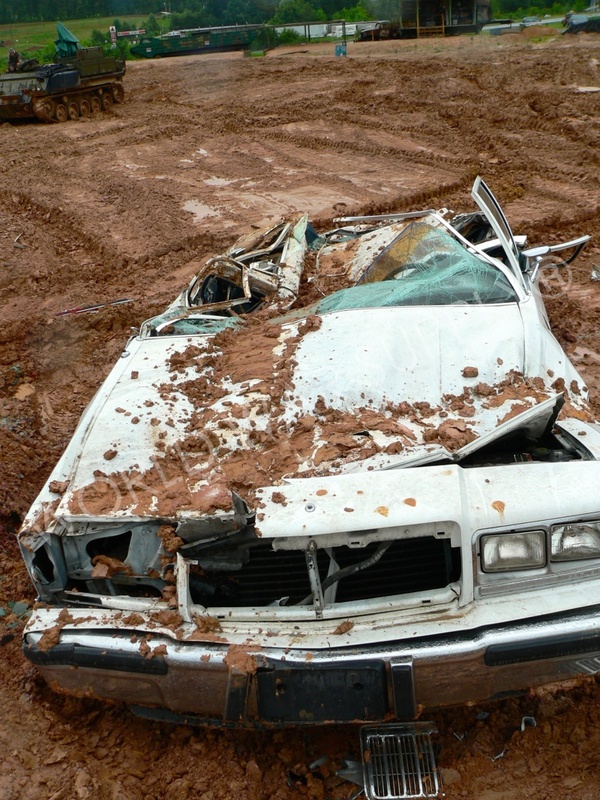 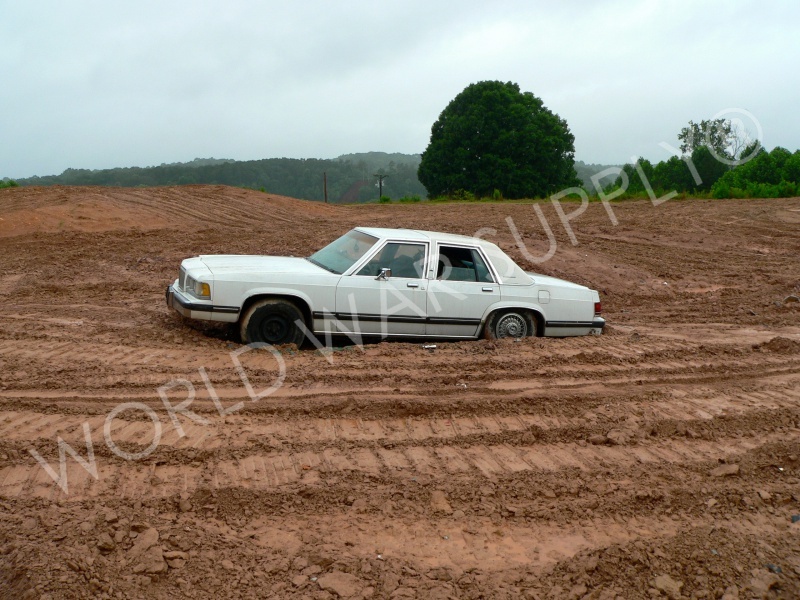 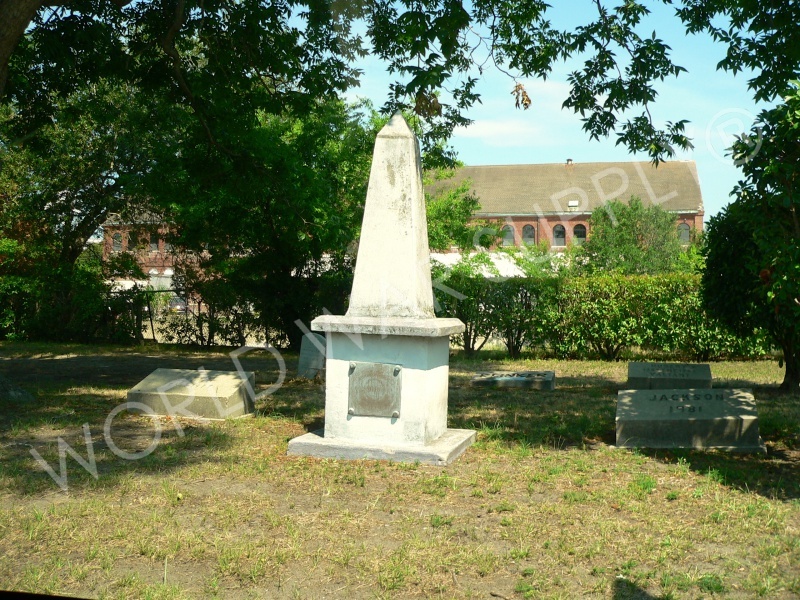 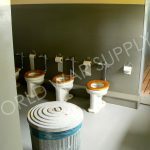 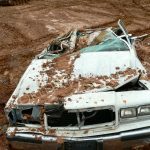 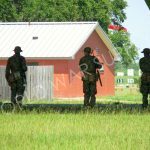 *See our Harmony Church gallery tragic massacre. 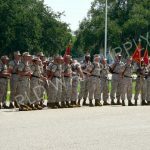 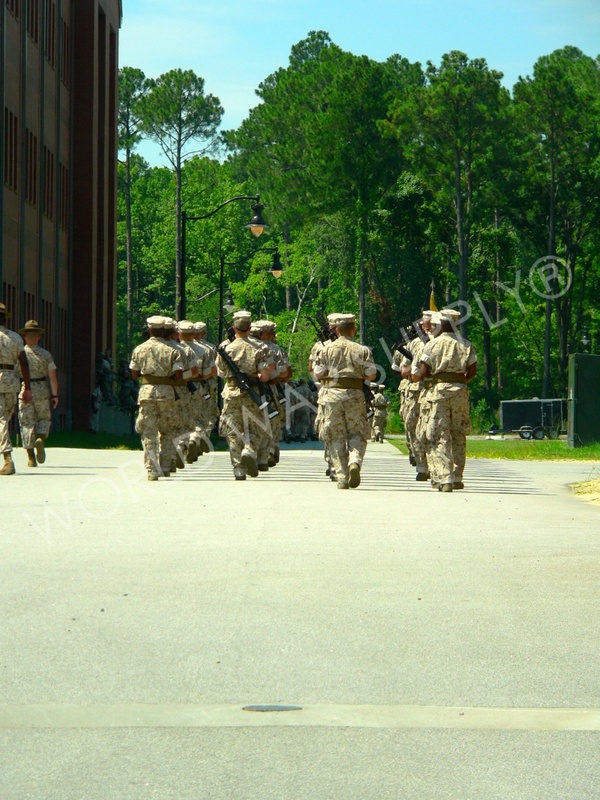 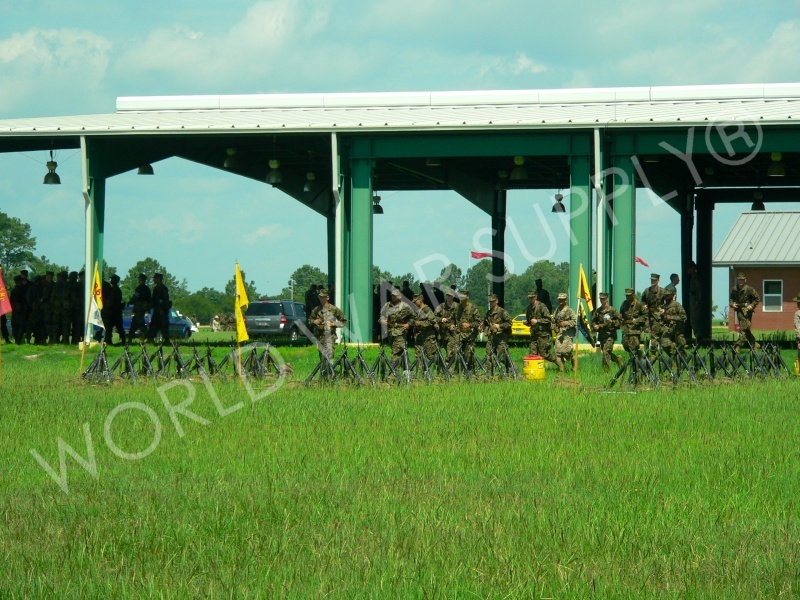 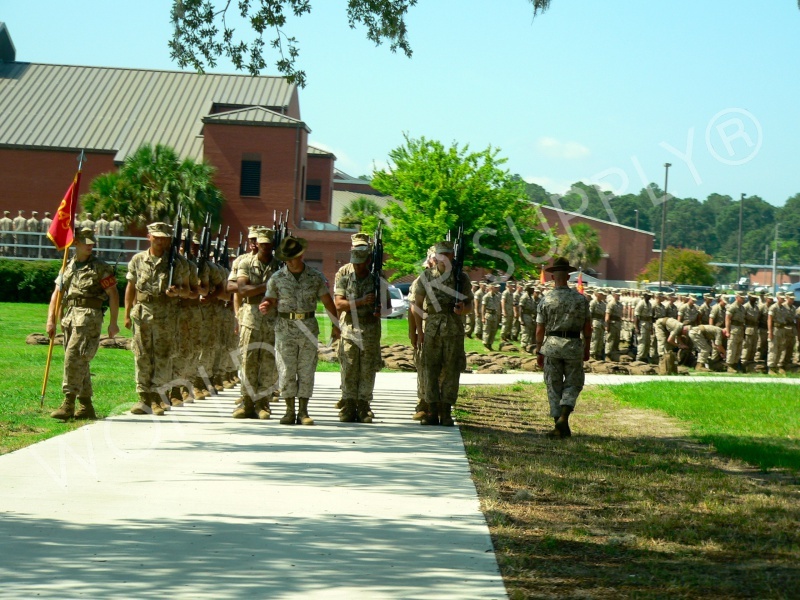 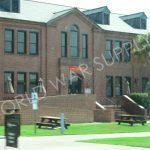 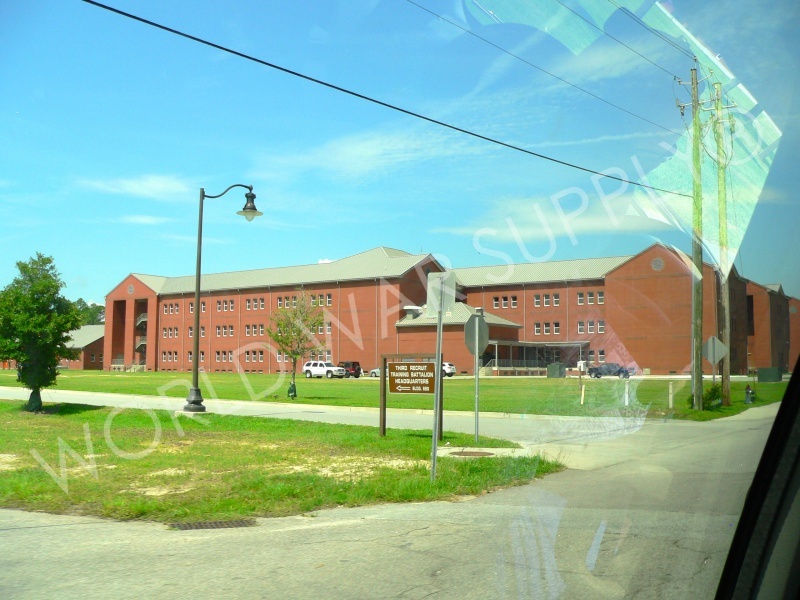 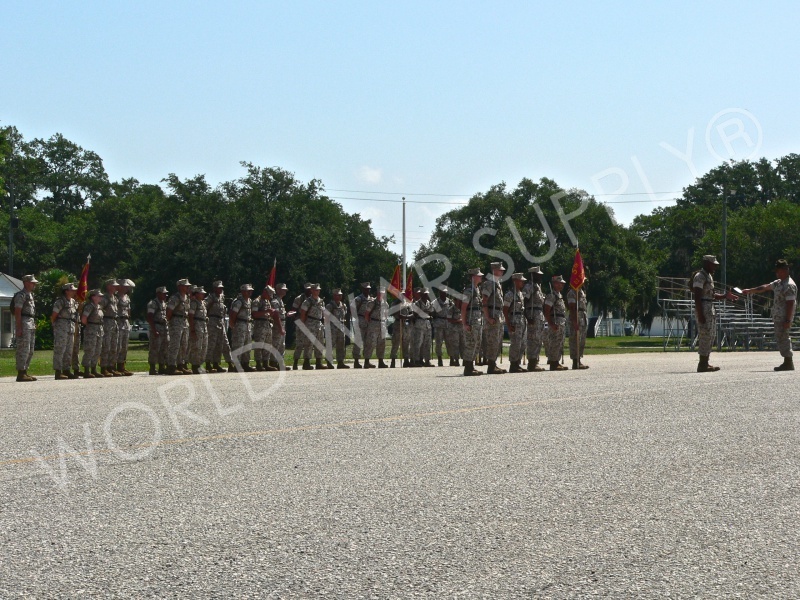 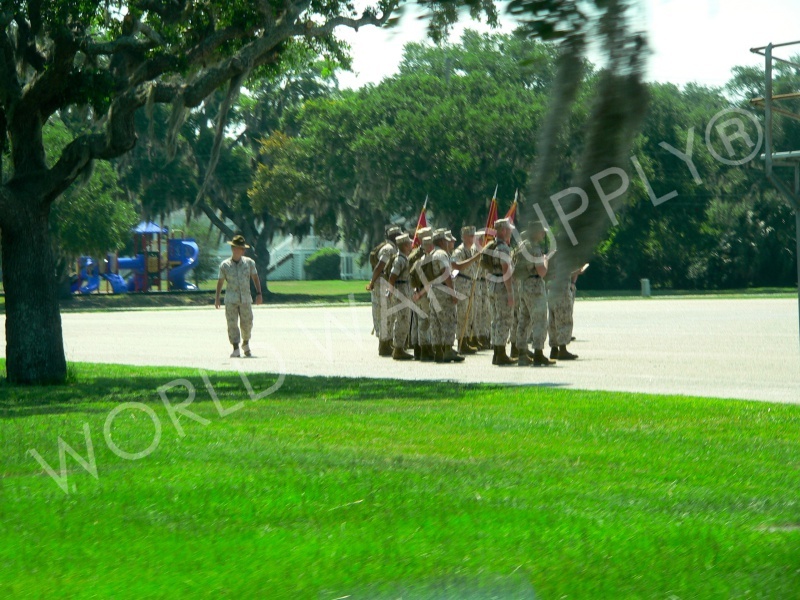 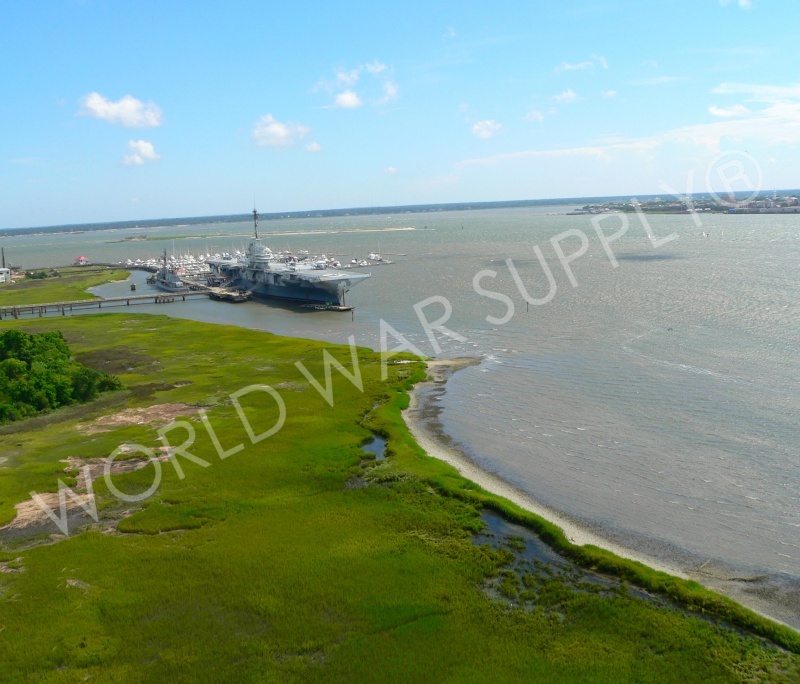 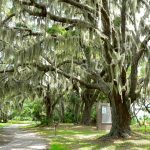 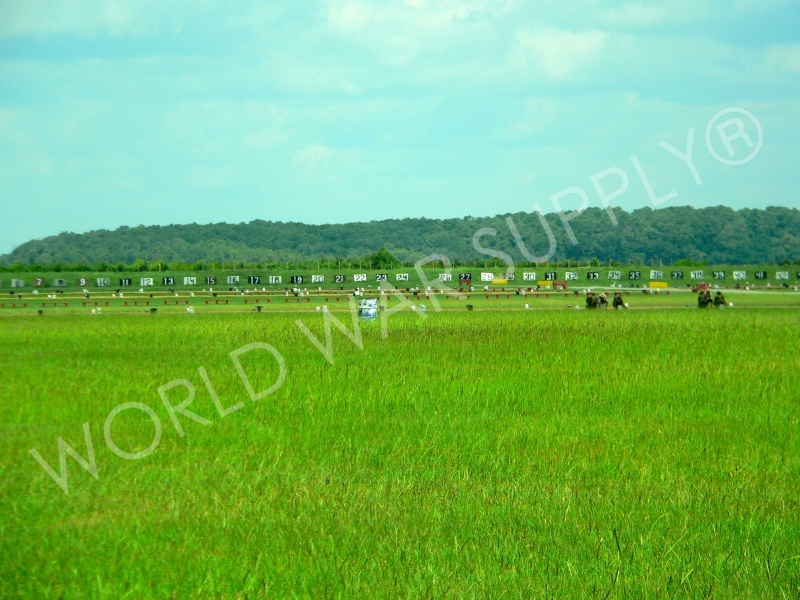 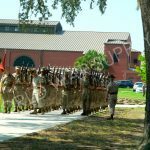 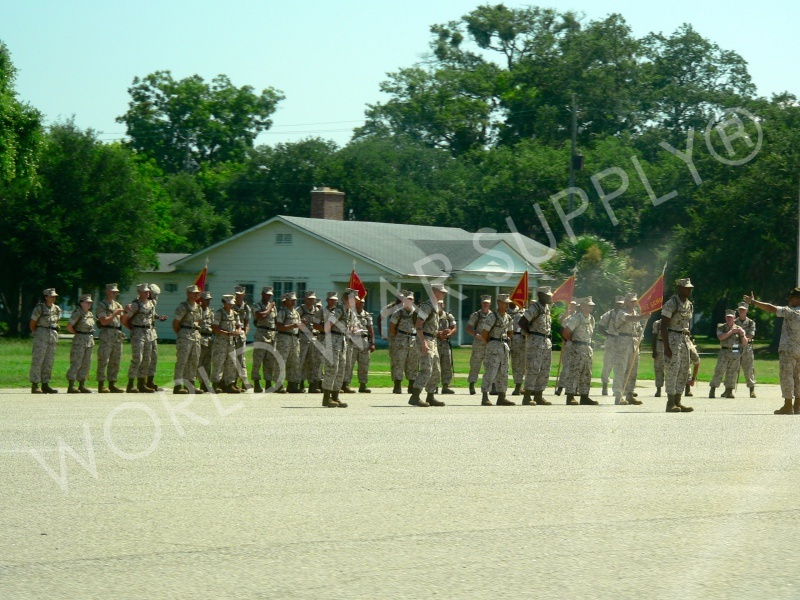 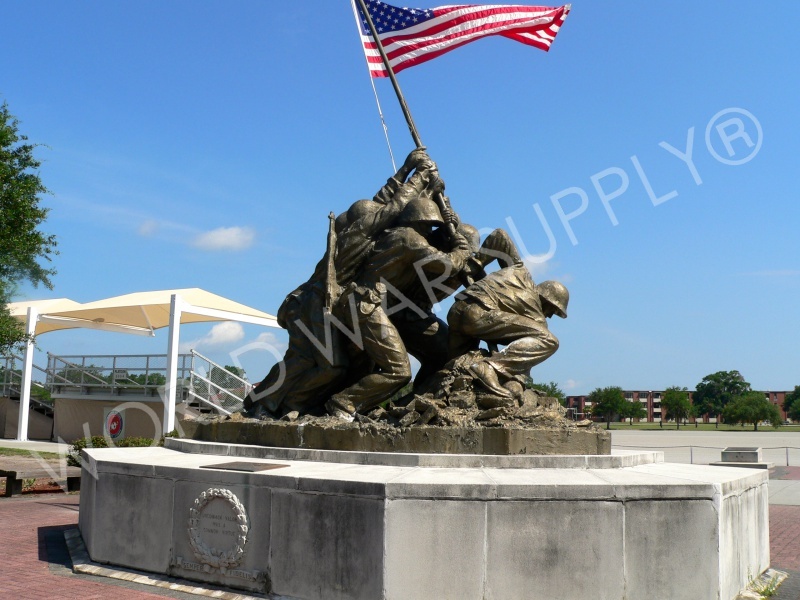 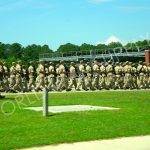 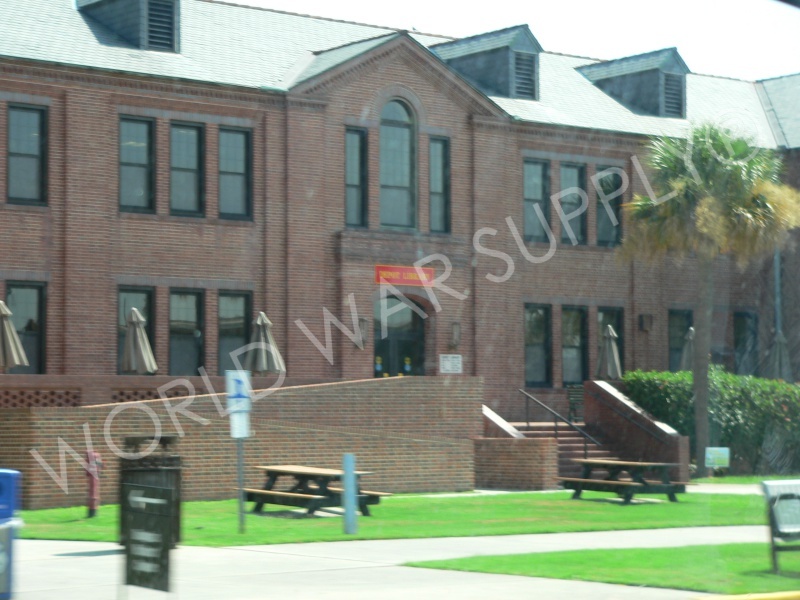 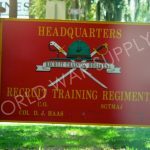 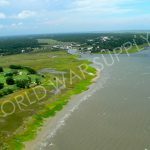 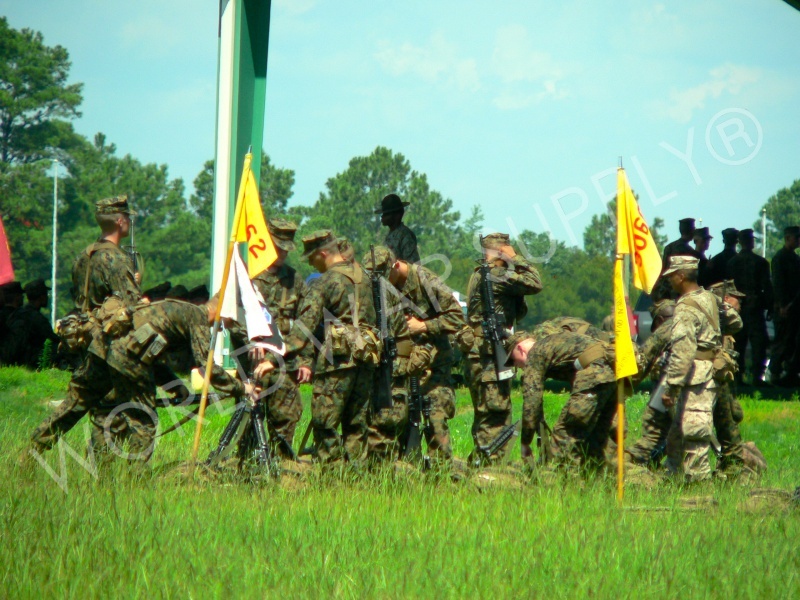 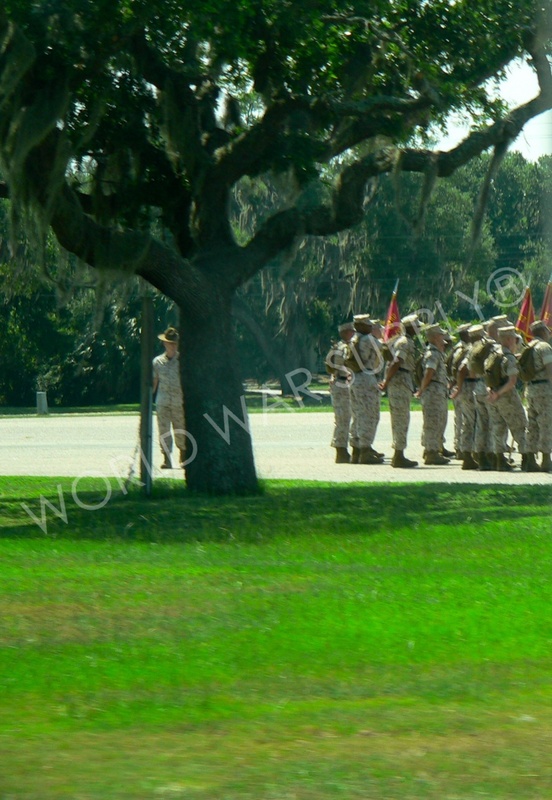 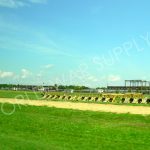 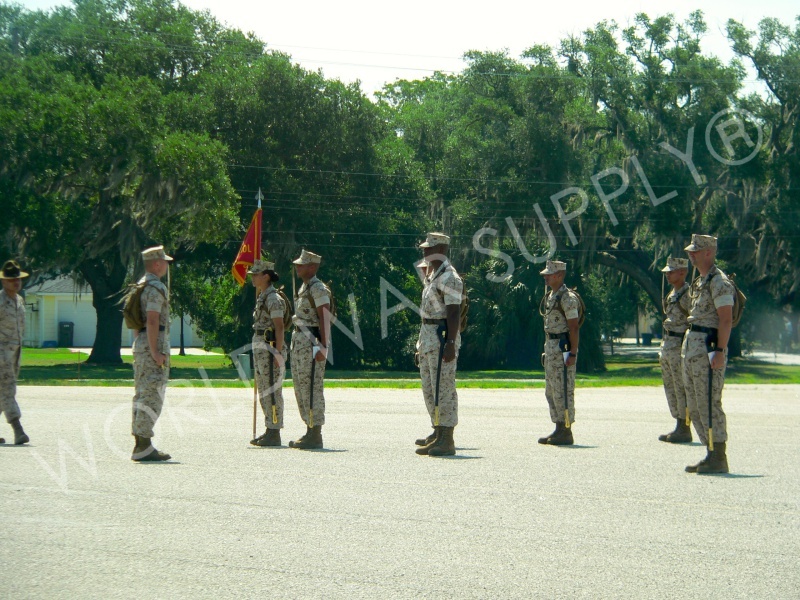 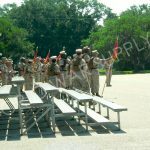 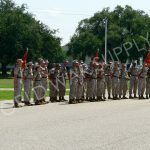 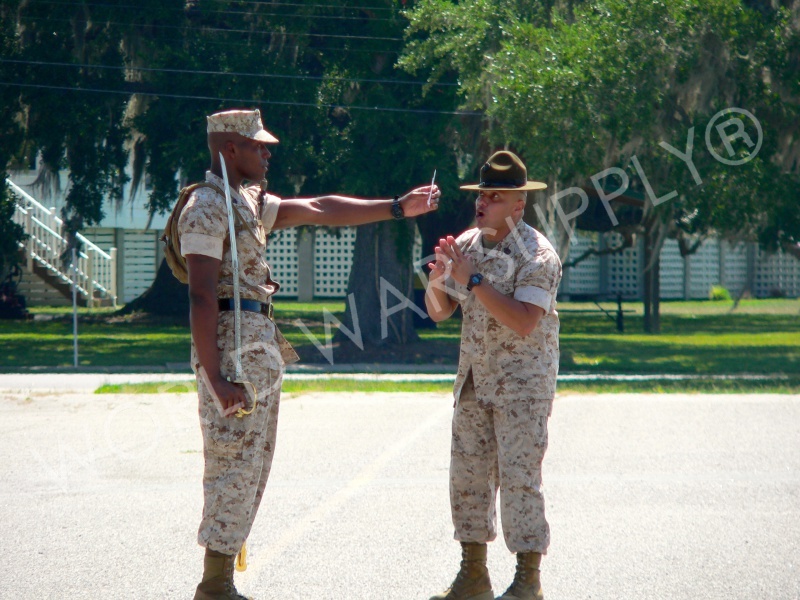 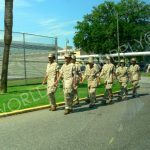 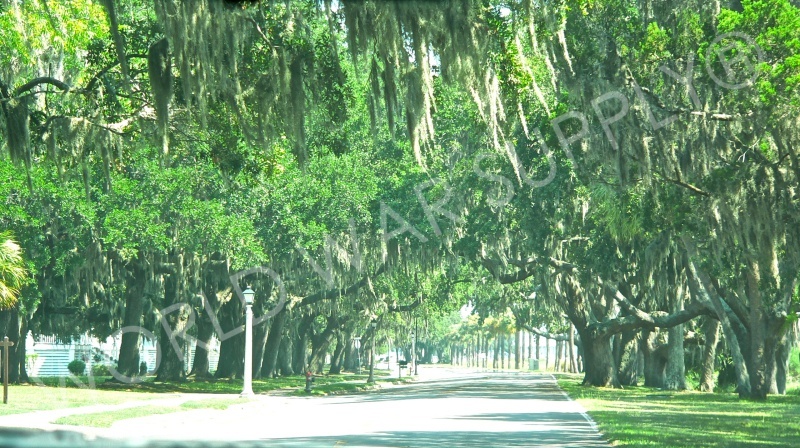 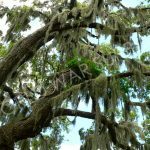 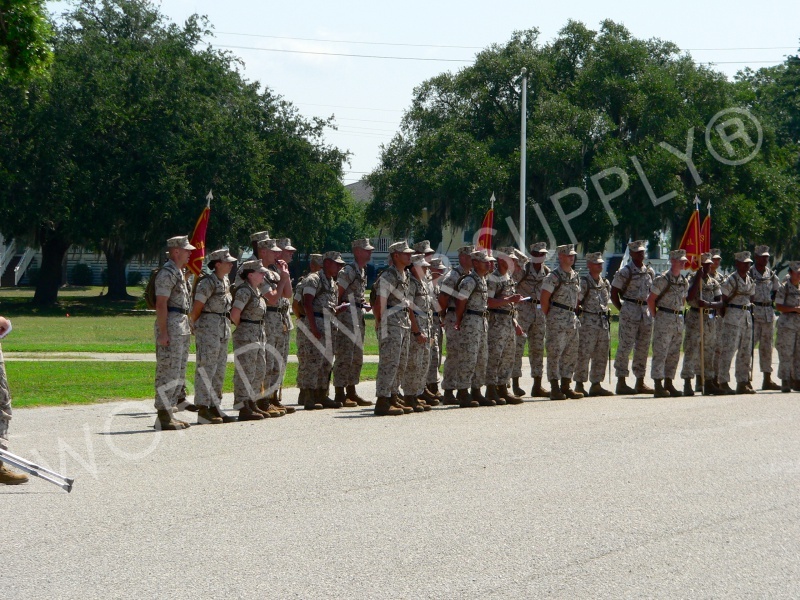 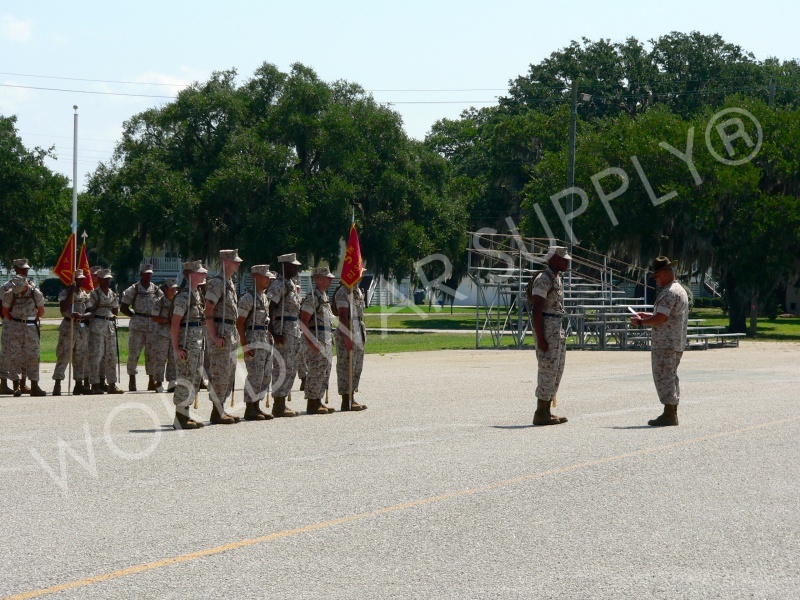 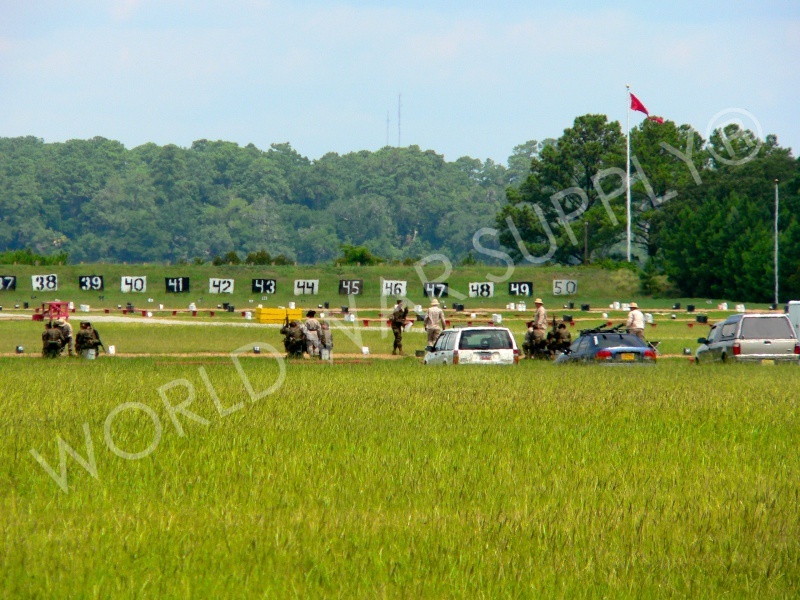 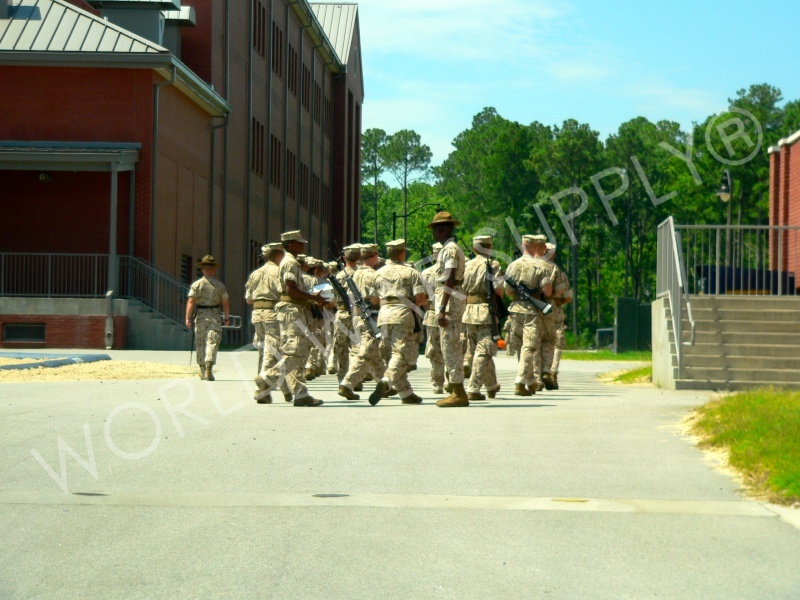 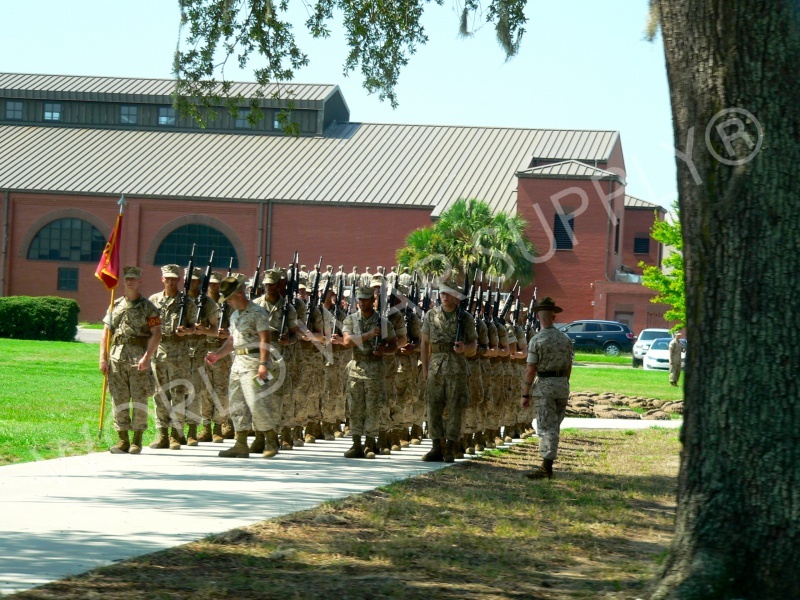 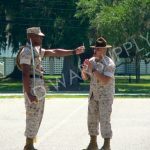 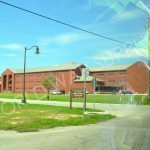 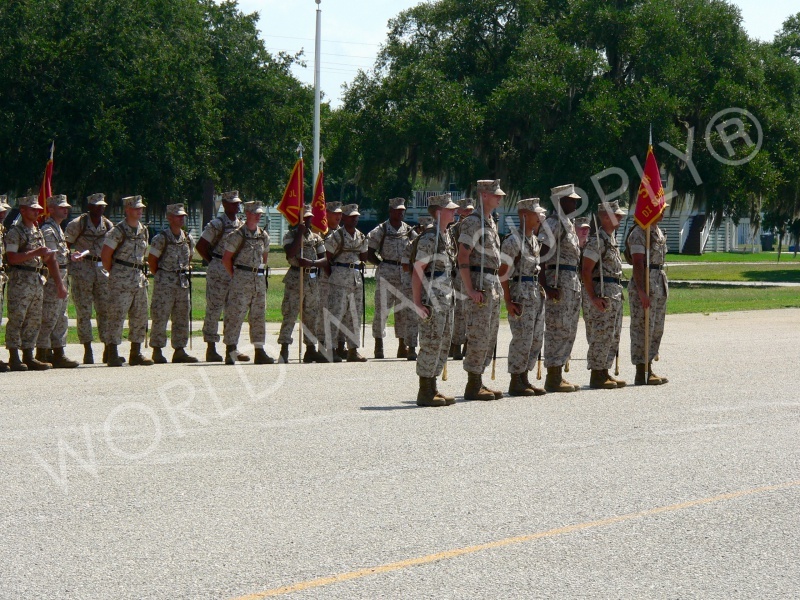 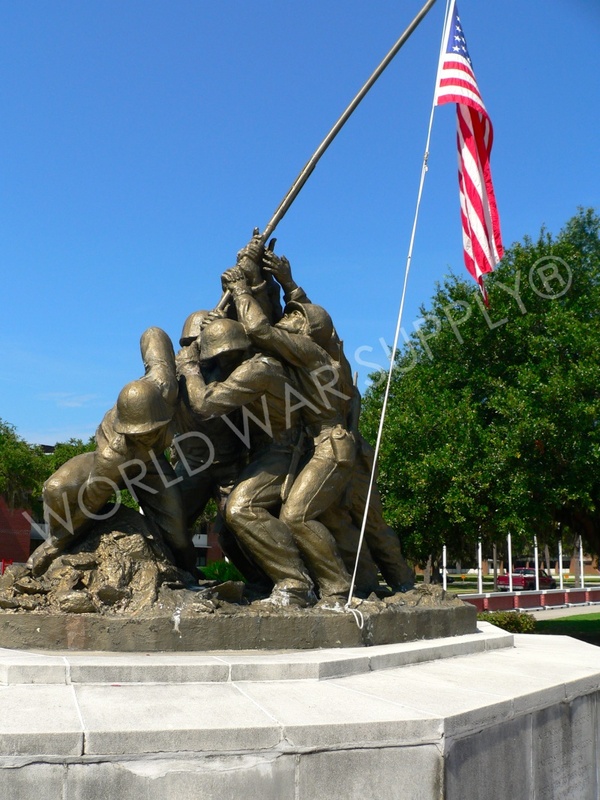 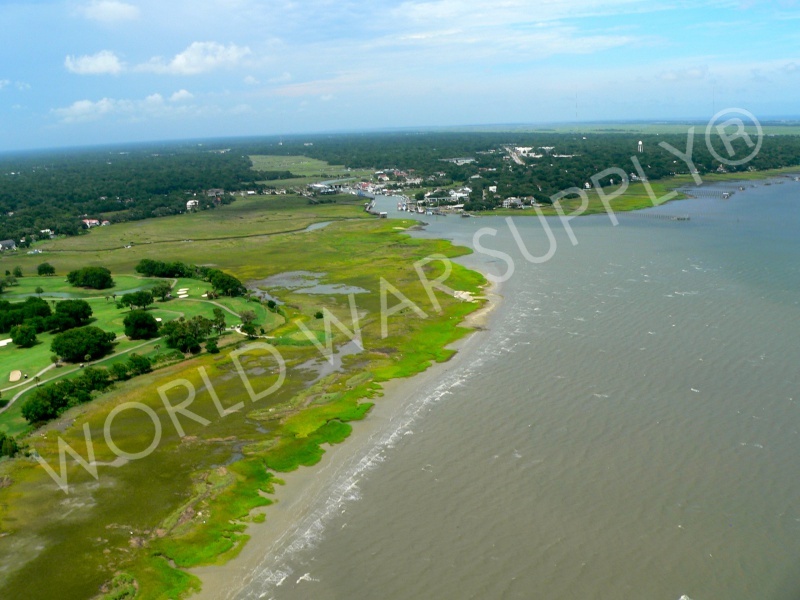 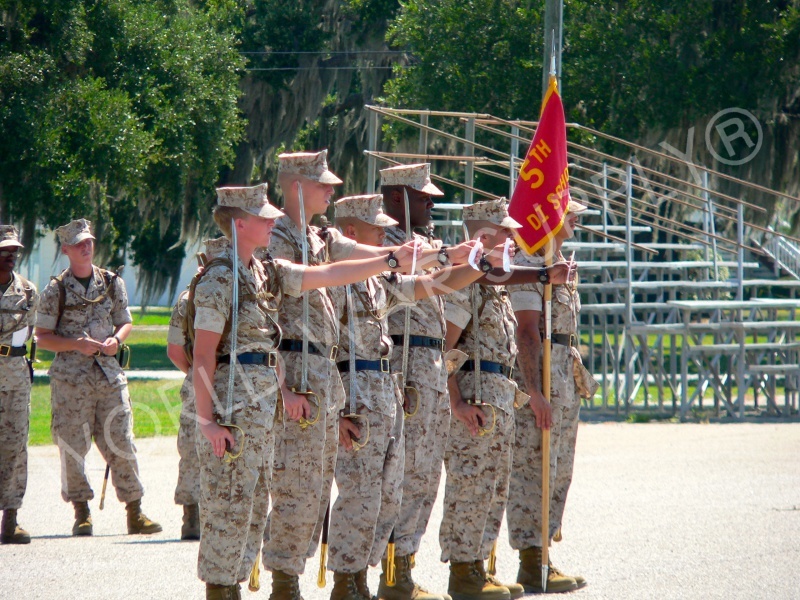 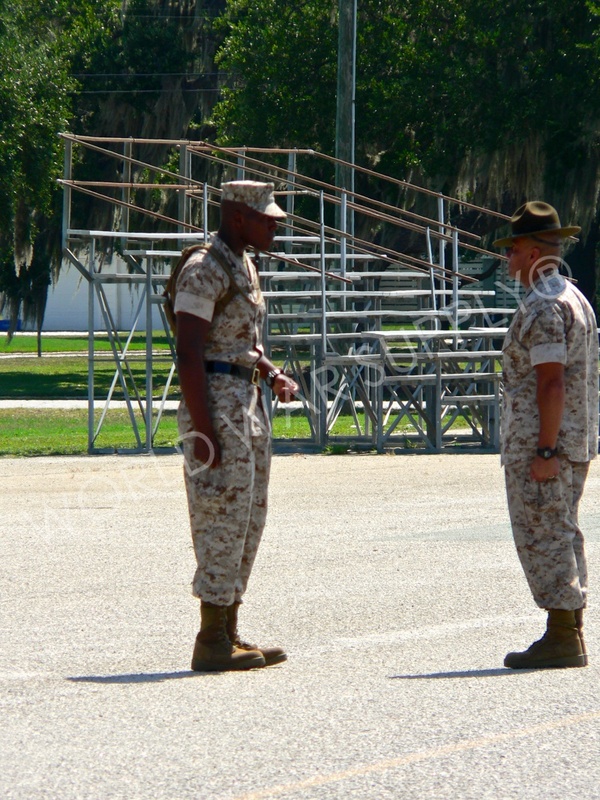 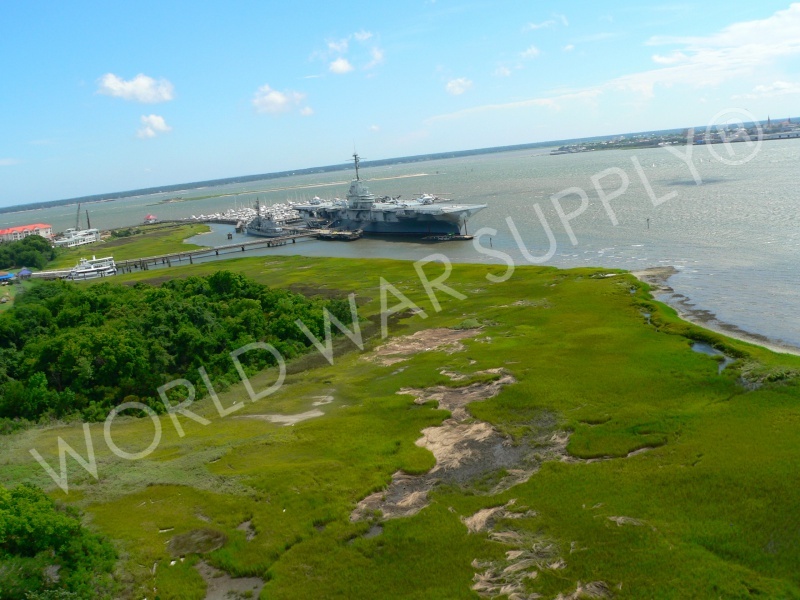 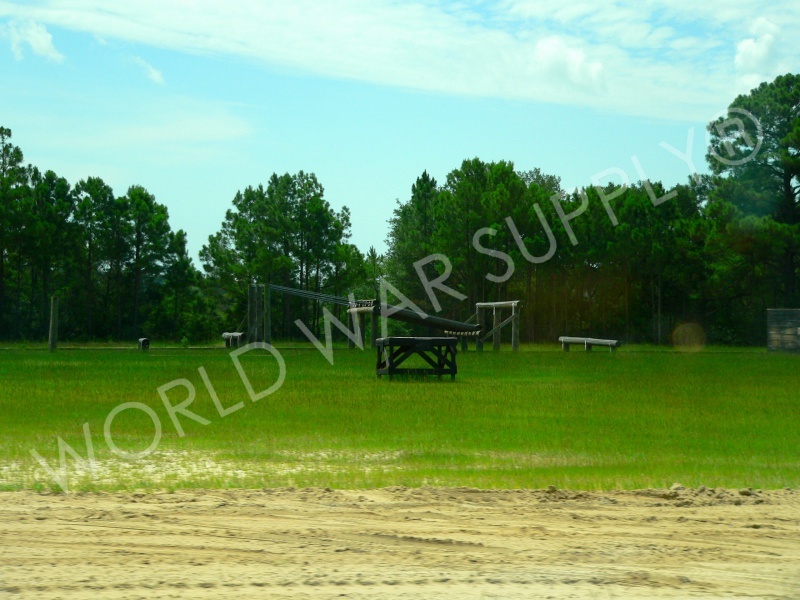 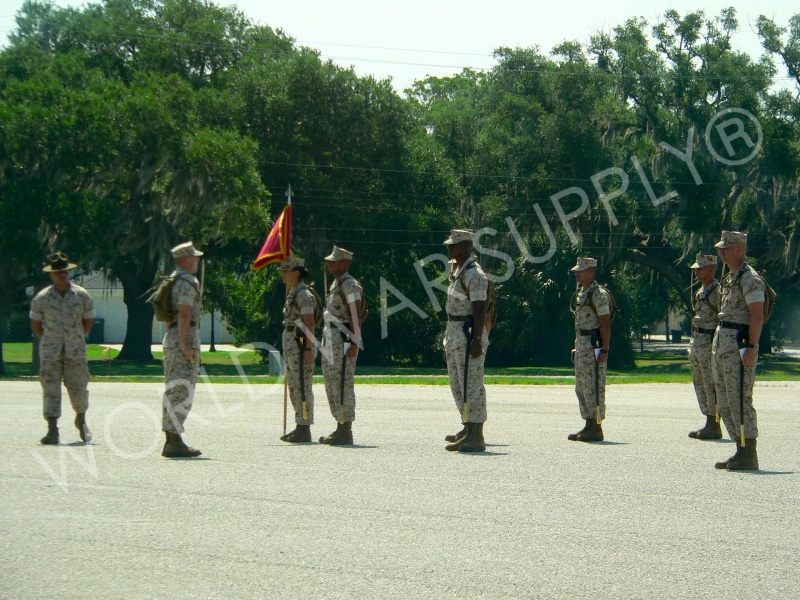 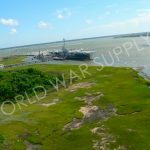 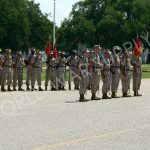 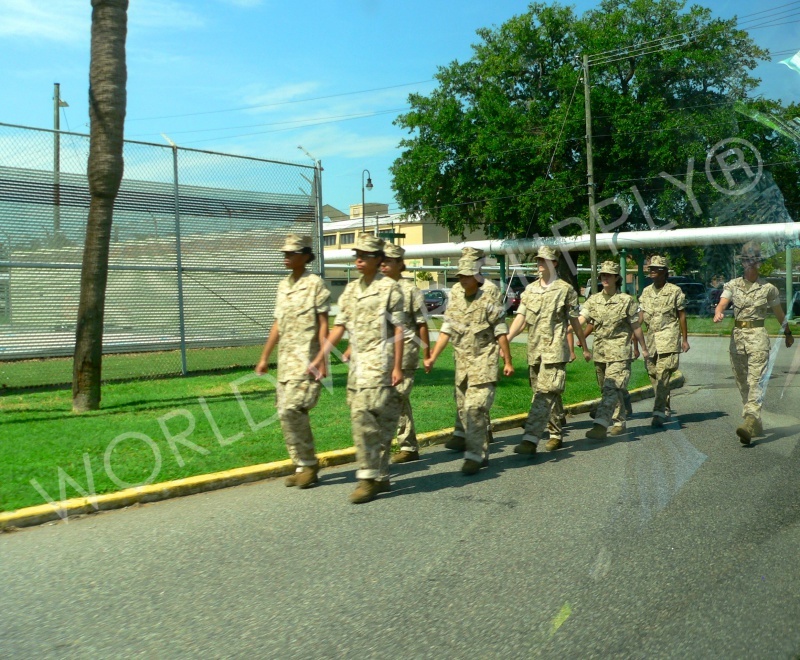 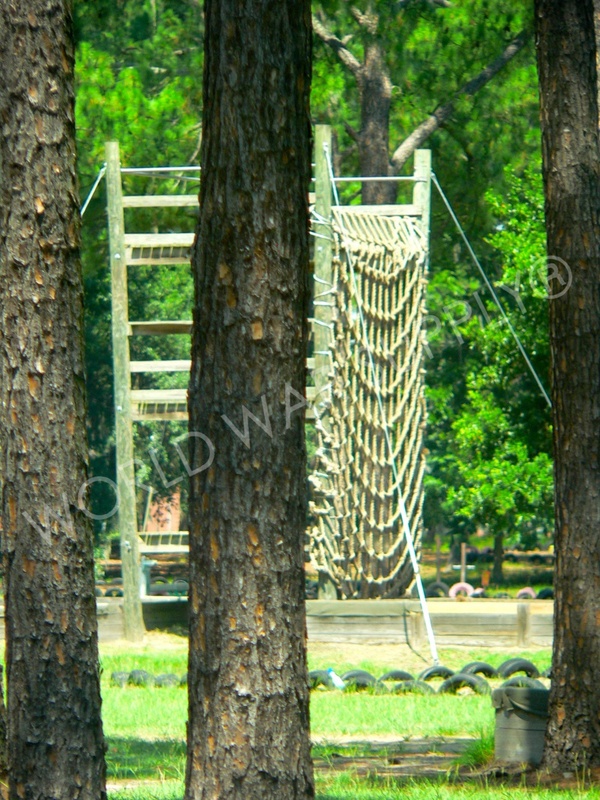 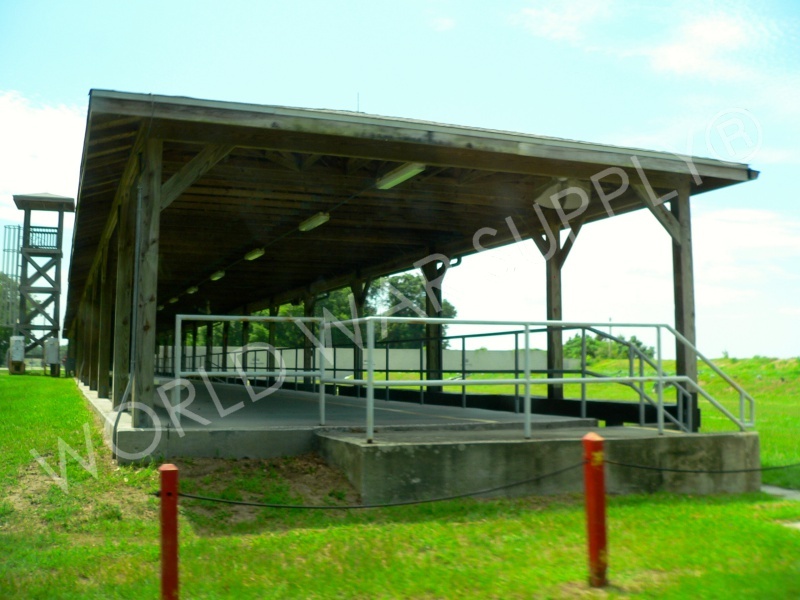 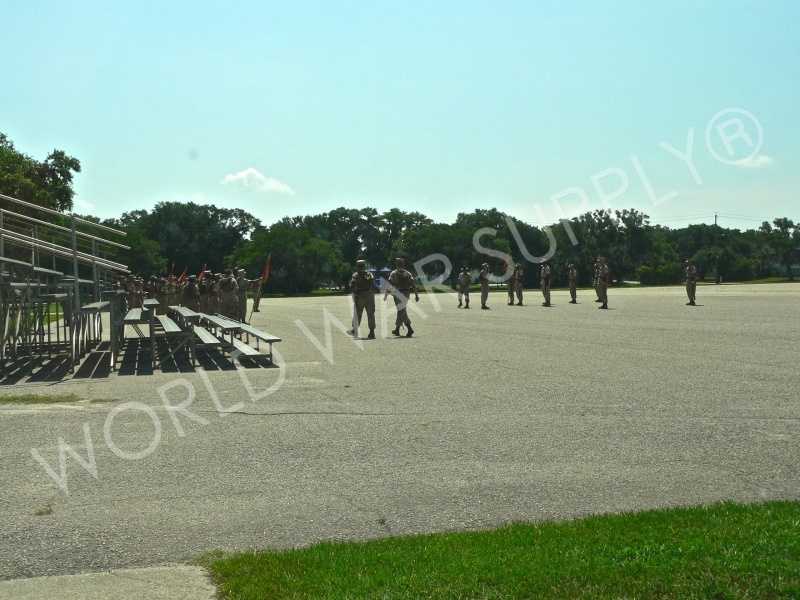 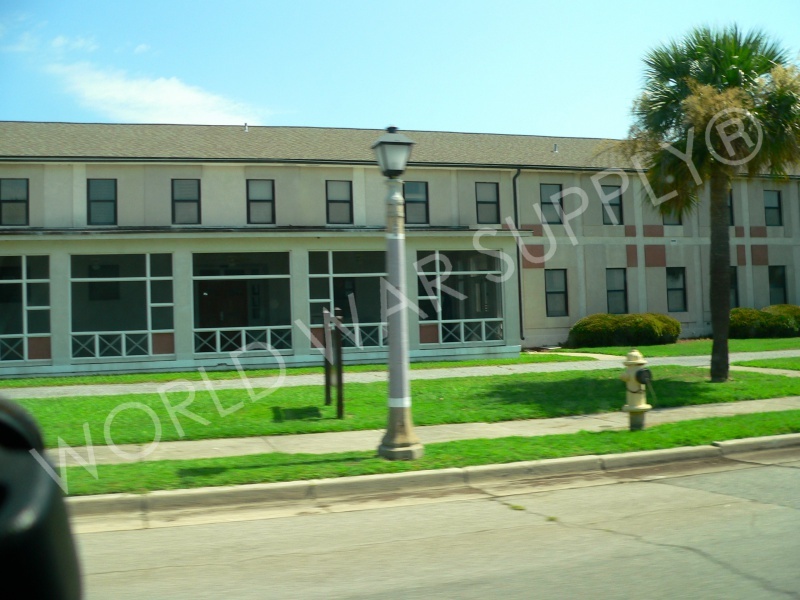 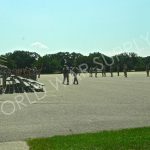 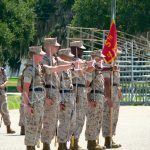 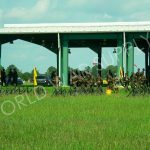 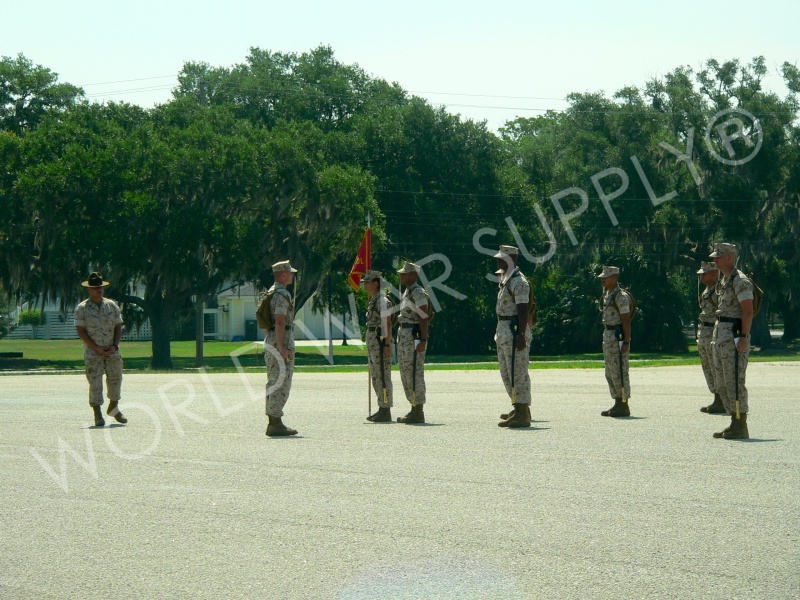 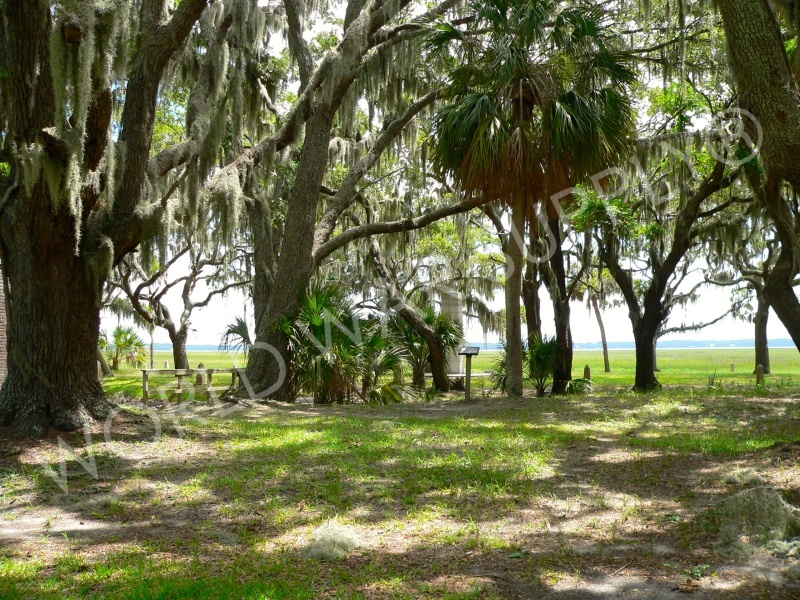 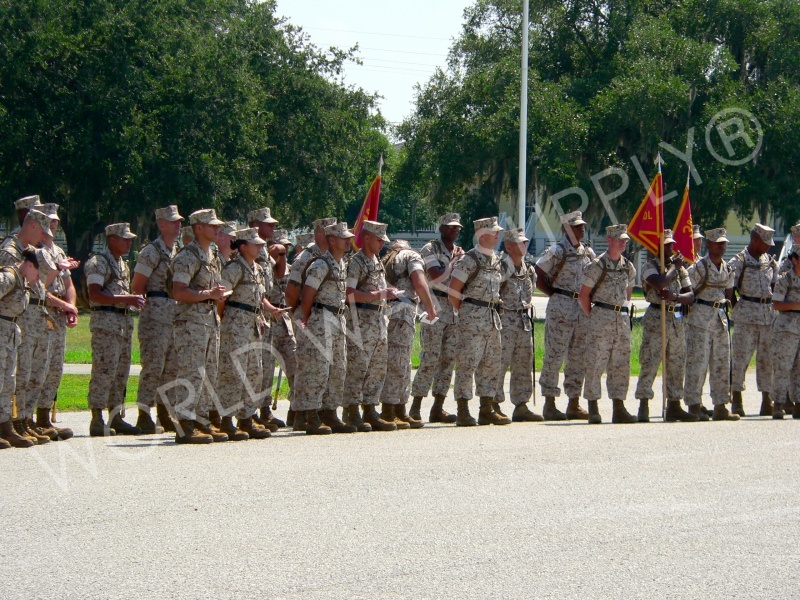 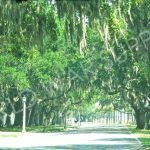 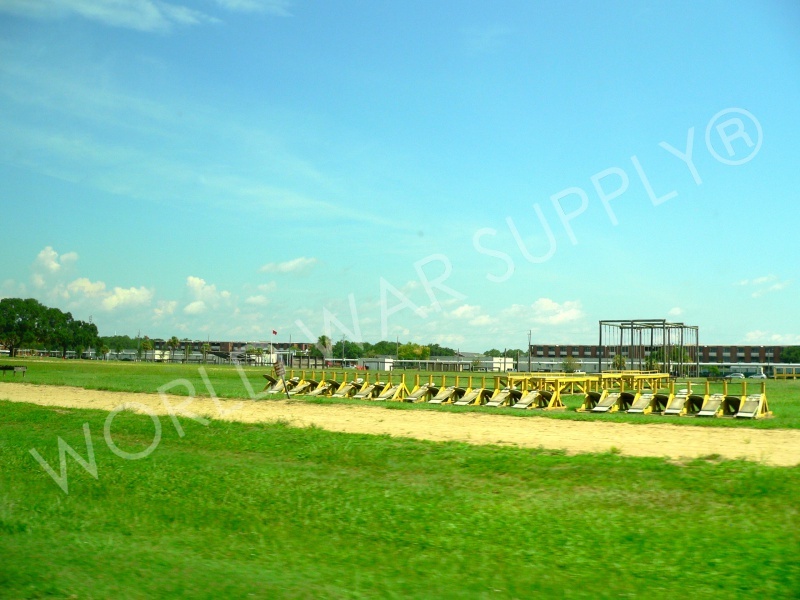 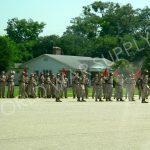 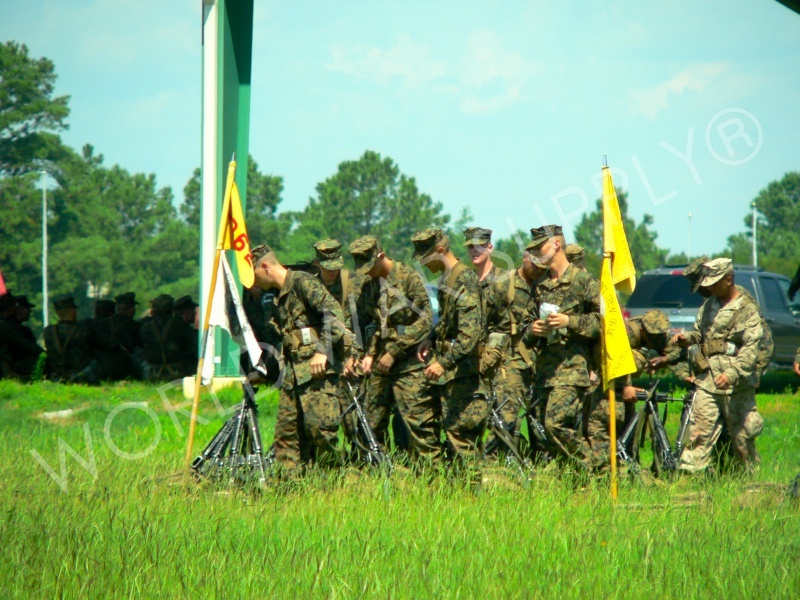 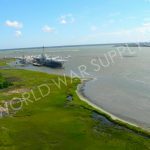 Parris Island is the Marine Corps Depot located within Port Royal, SC. 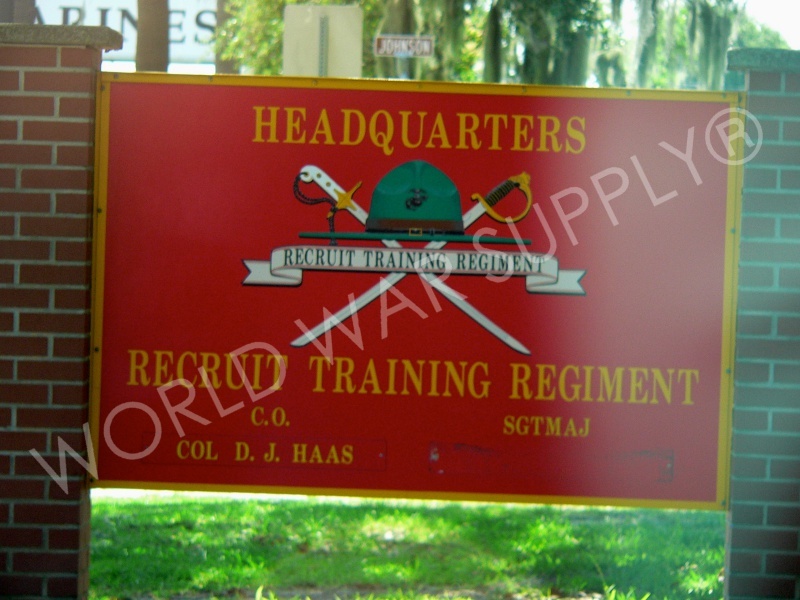 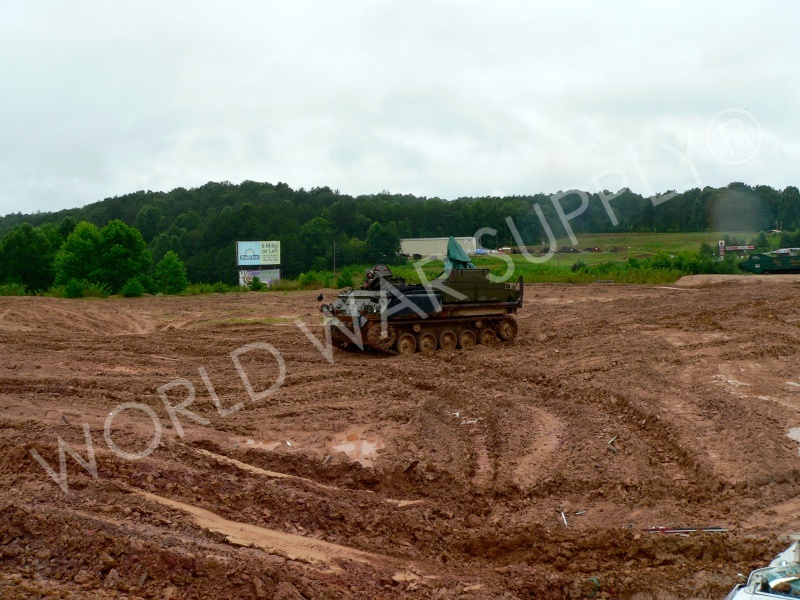 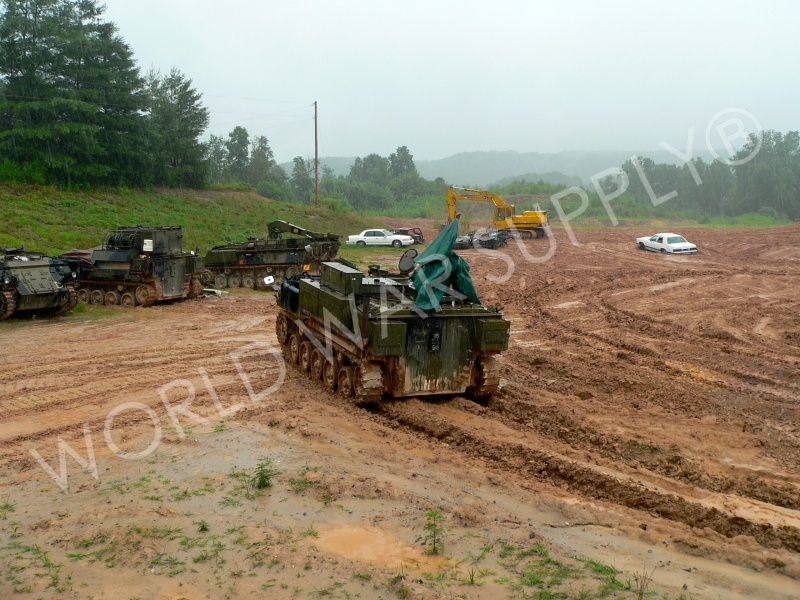 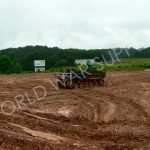 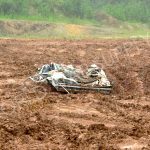 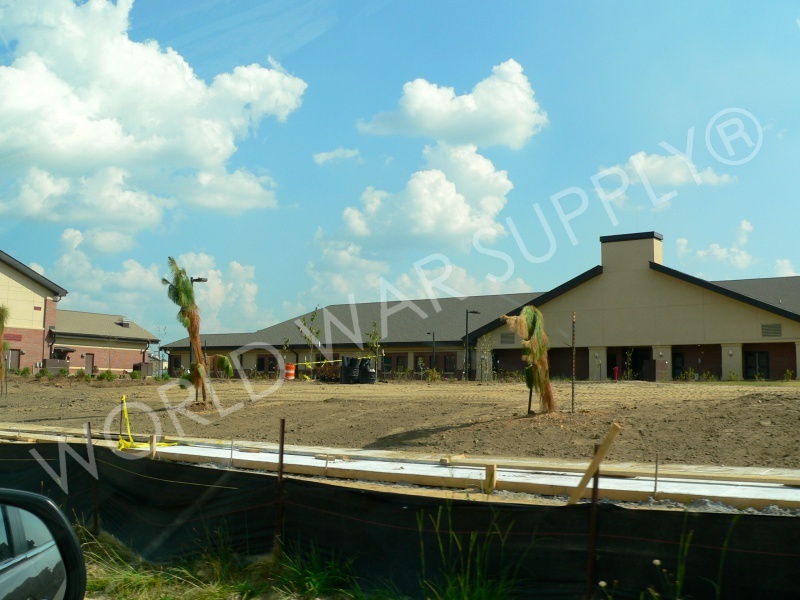 It consists of 8,095 acres that is used for training enlisted Marines. 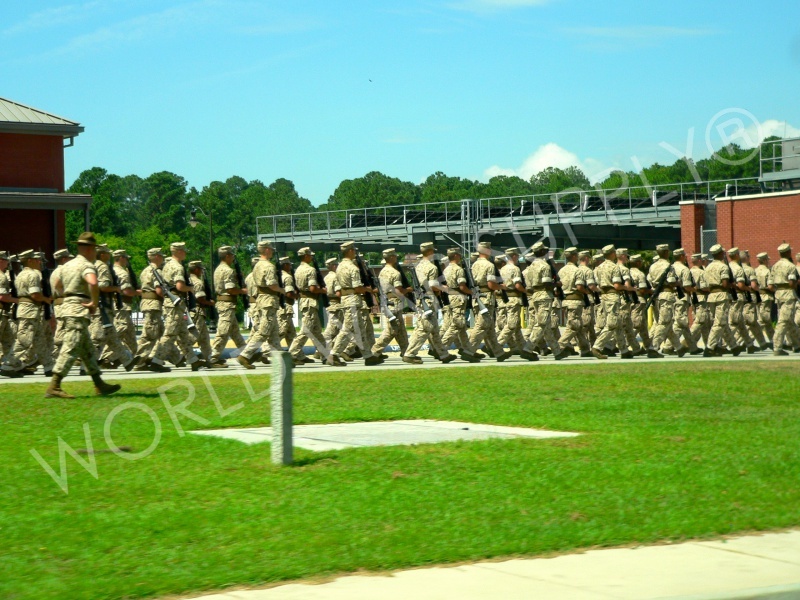 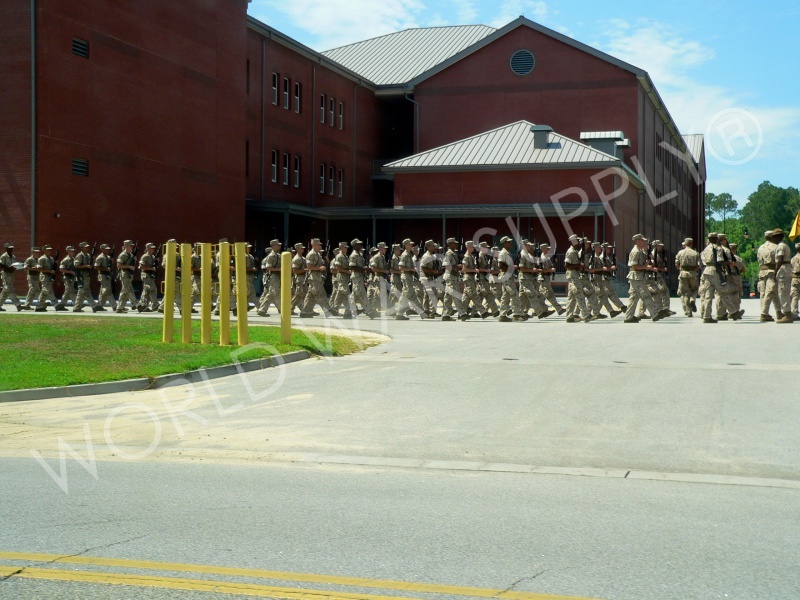 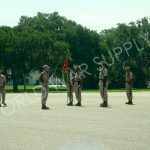 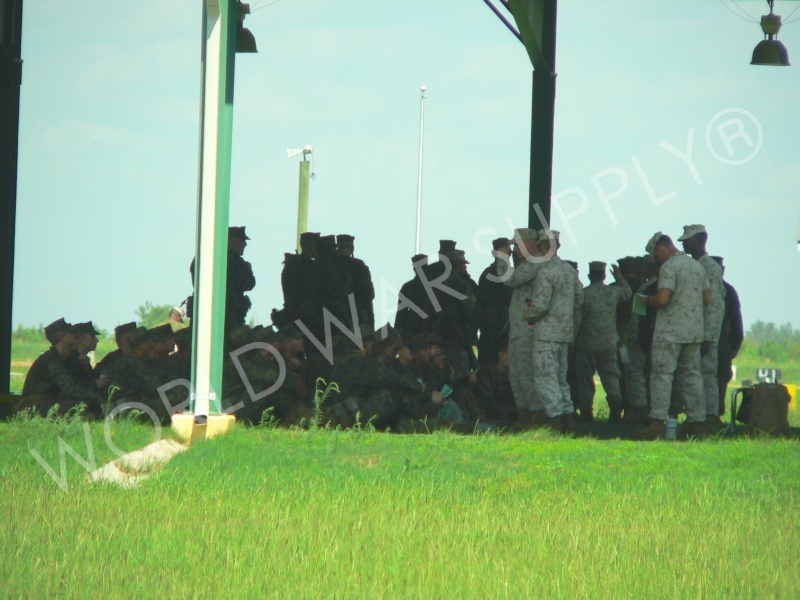 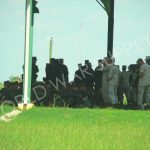 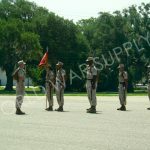 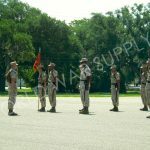 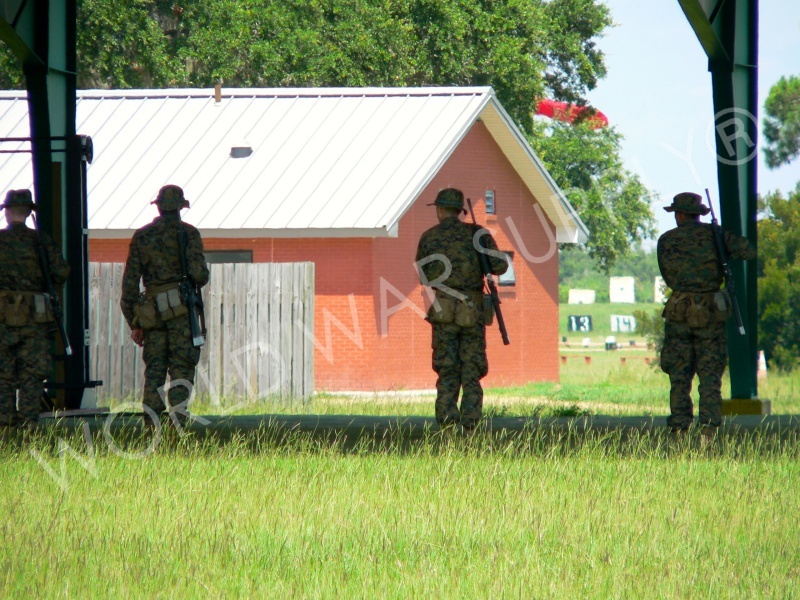 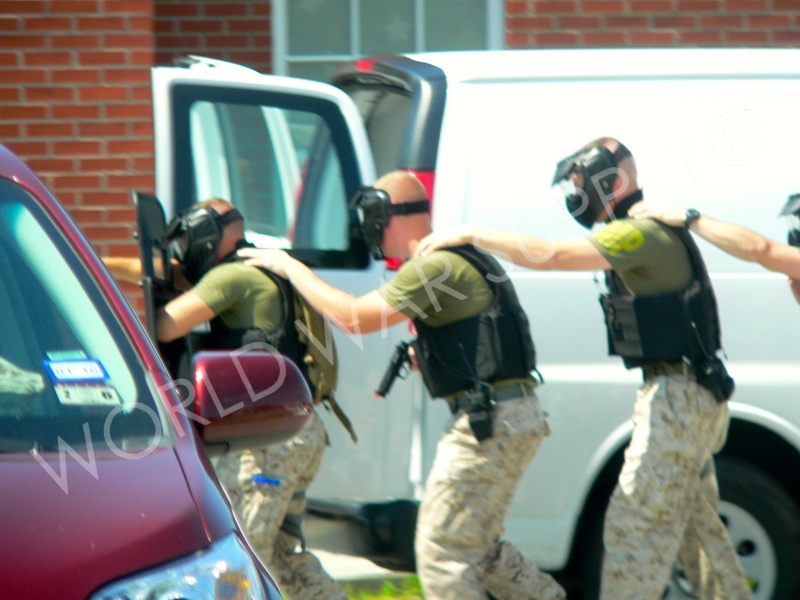 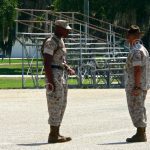 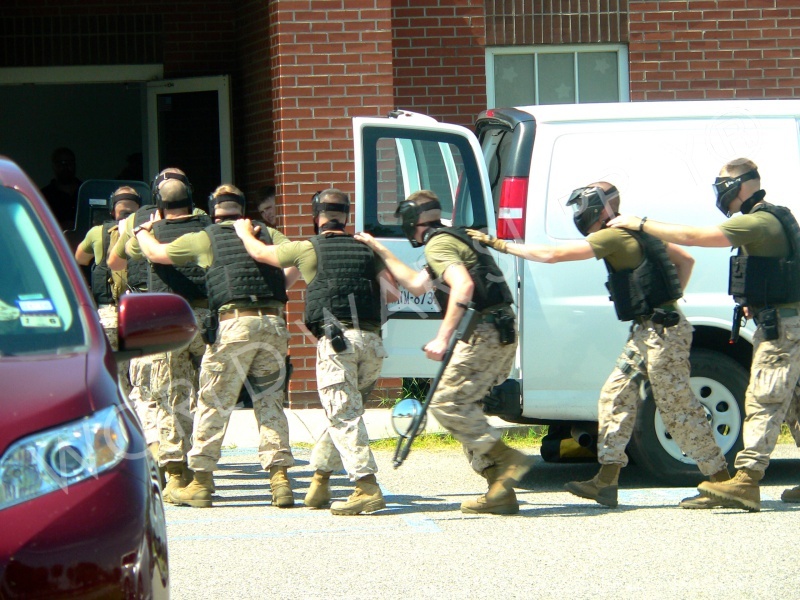 There are approximately 17,000 recruits who attend and train each year. 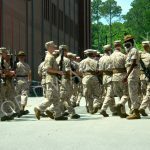 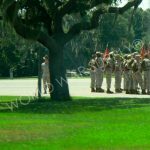 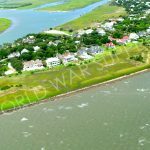 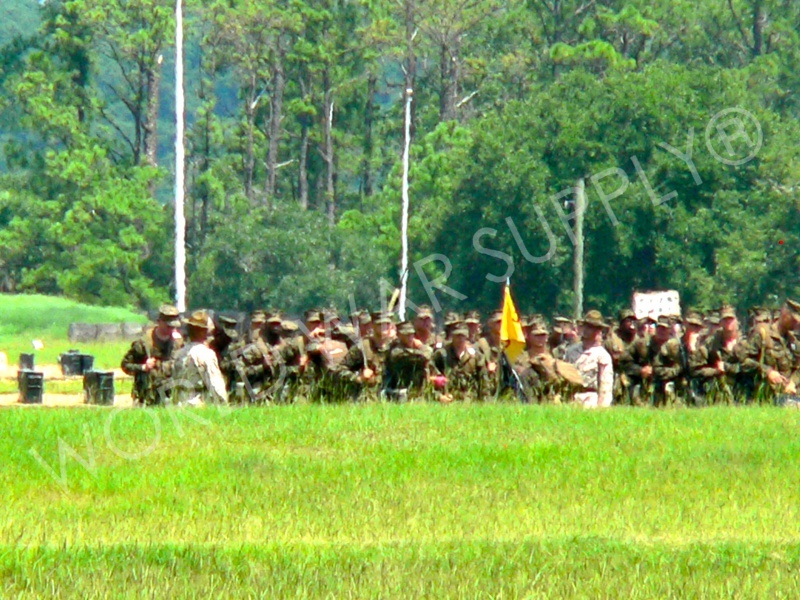 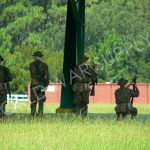 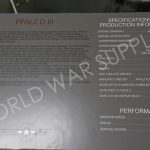 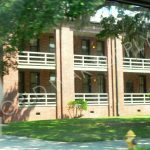 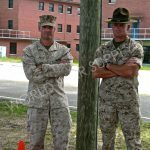 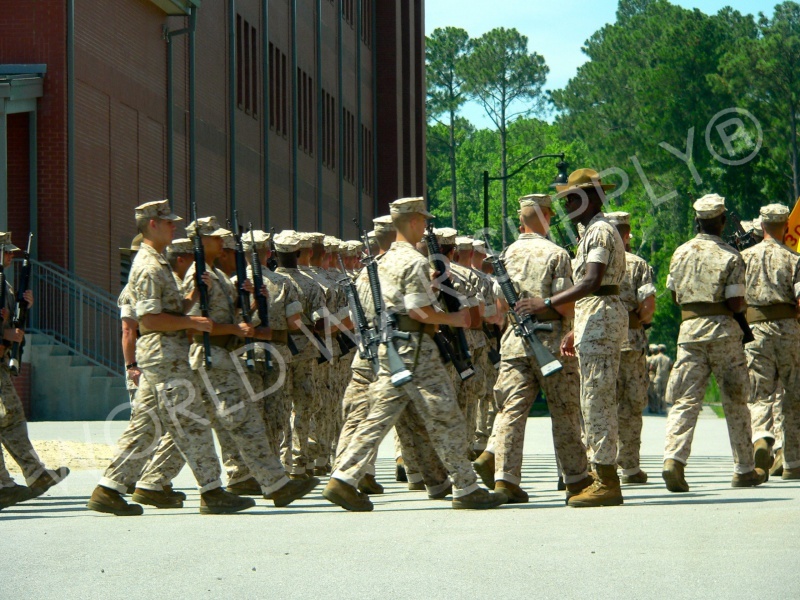 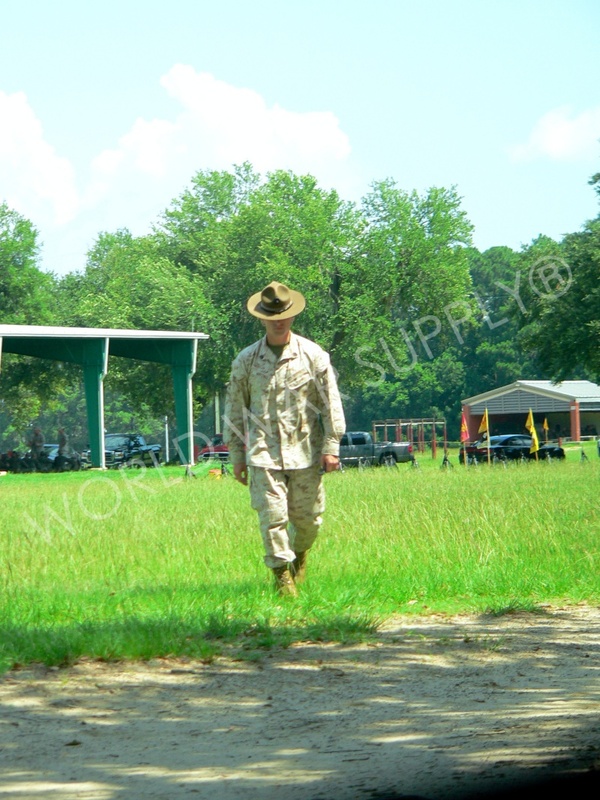 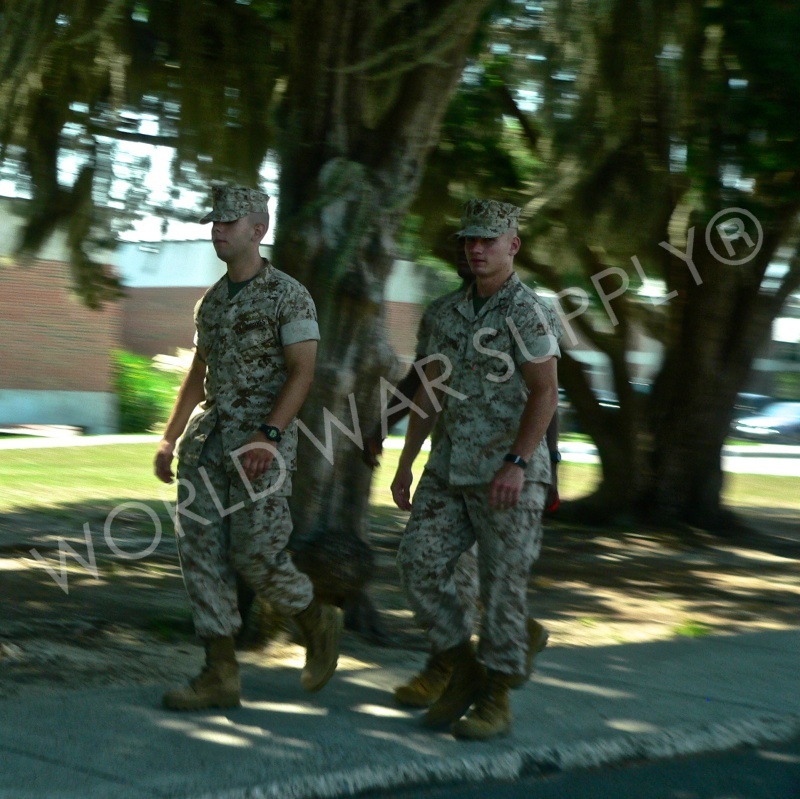 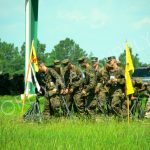 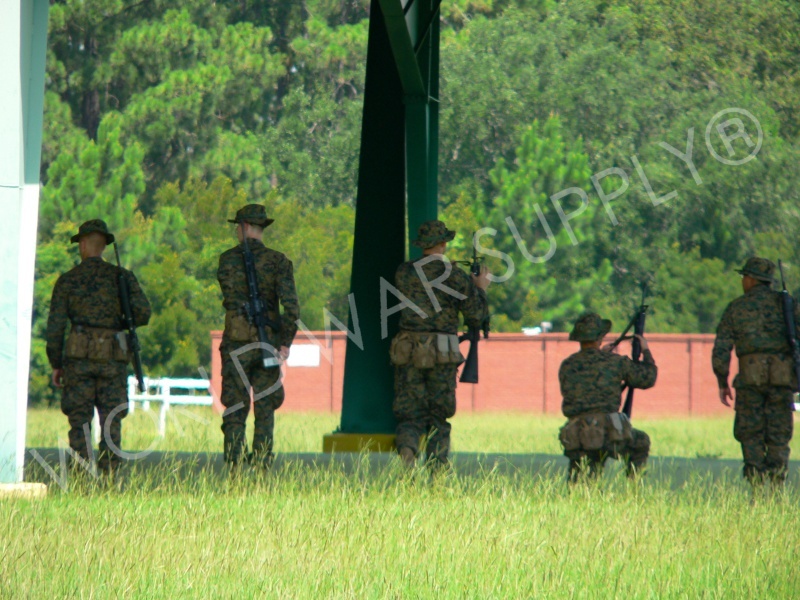 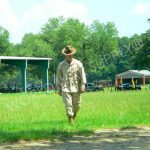 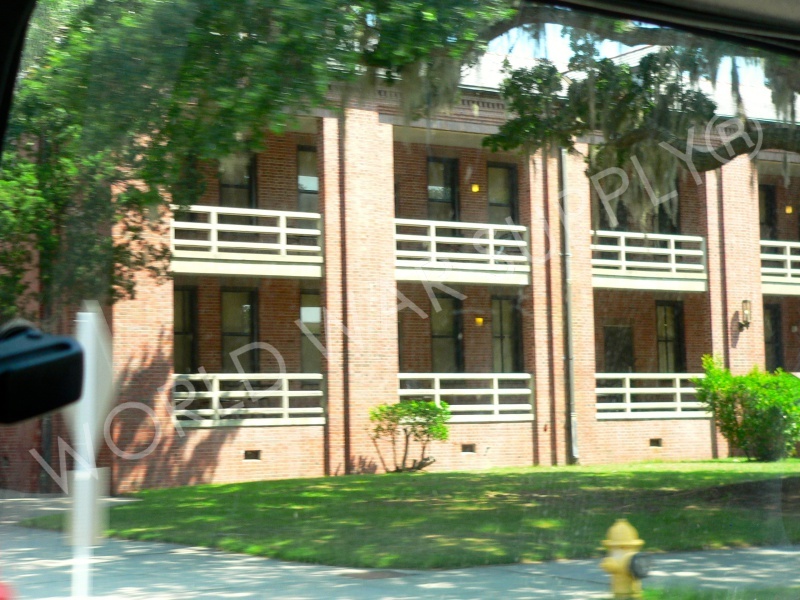 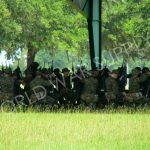 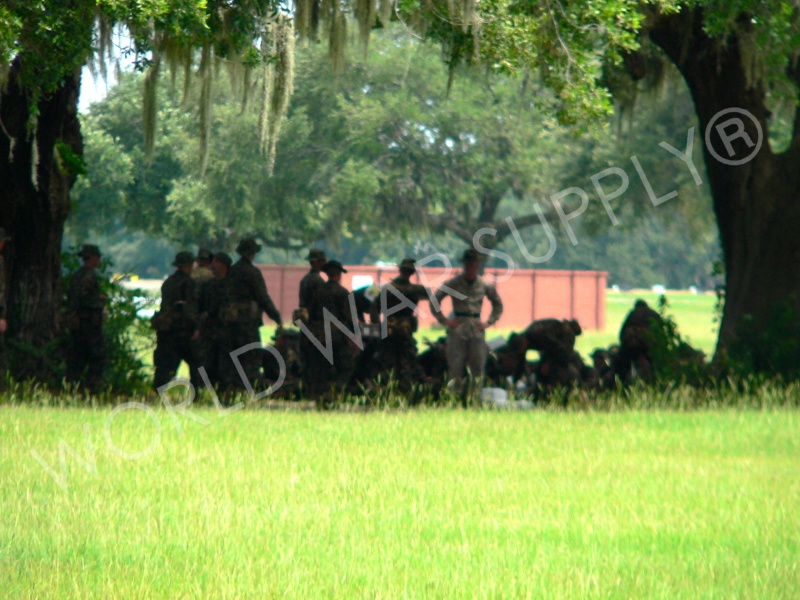 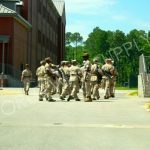 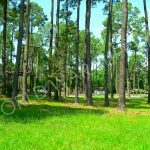 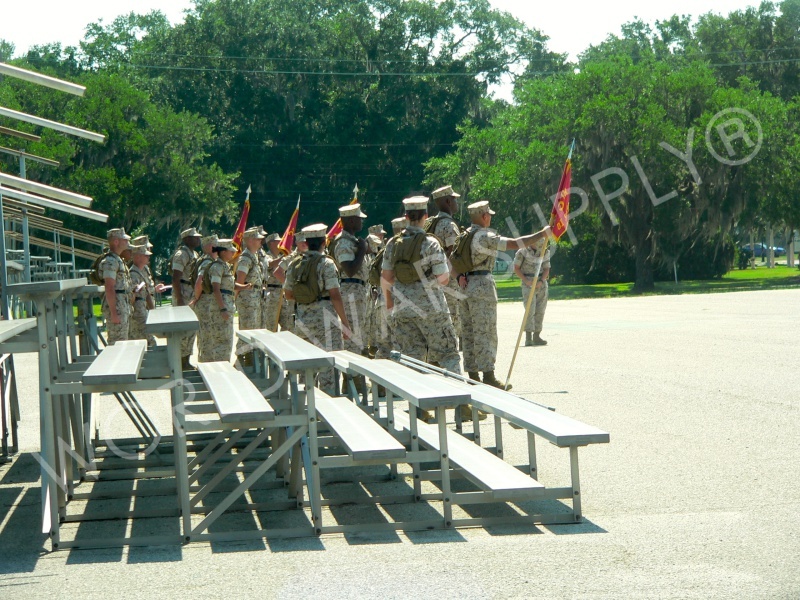 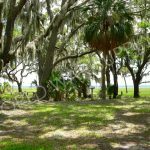 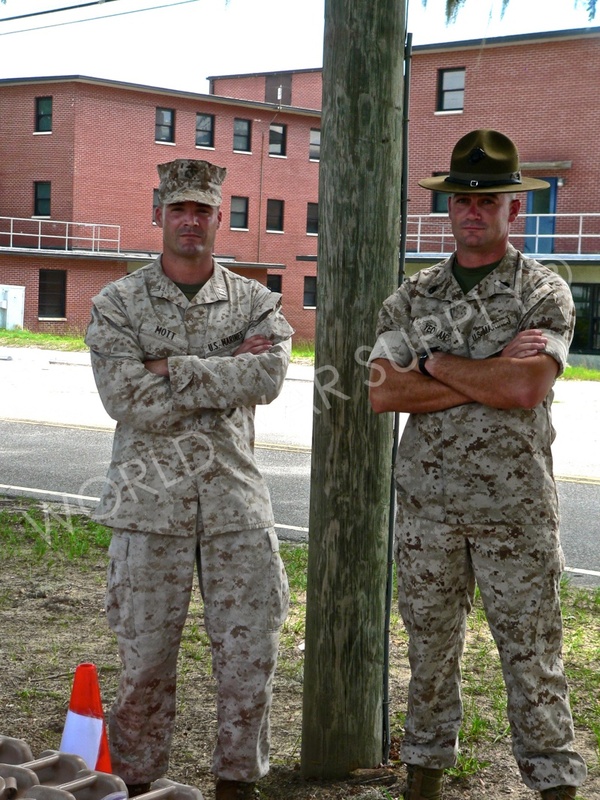 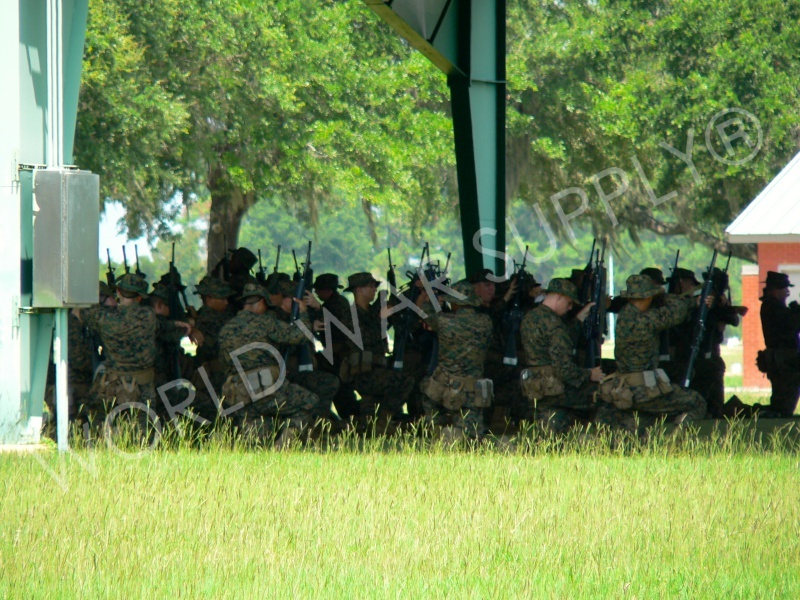 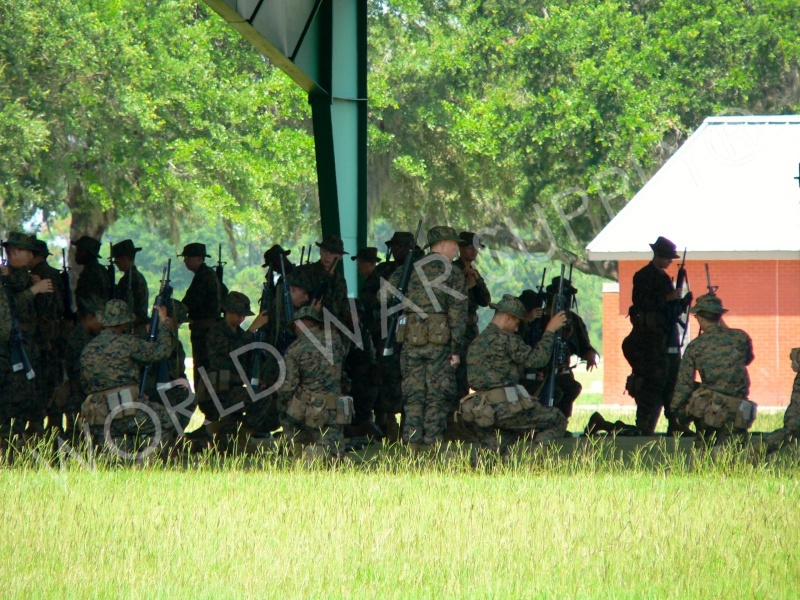 Parris Island is depicted in two Hollywood films: The D.I. 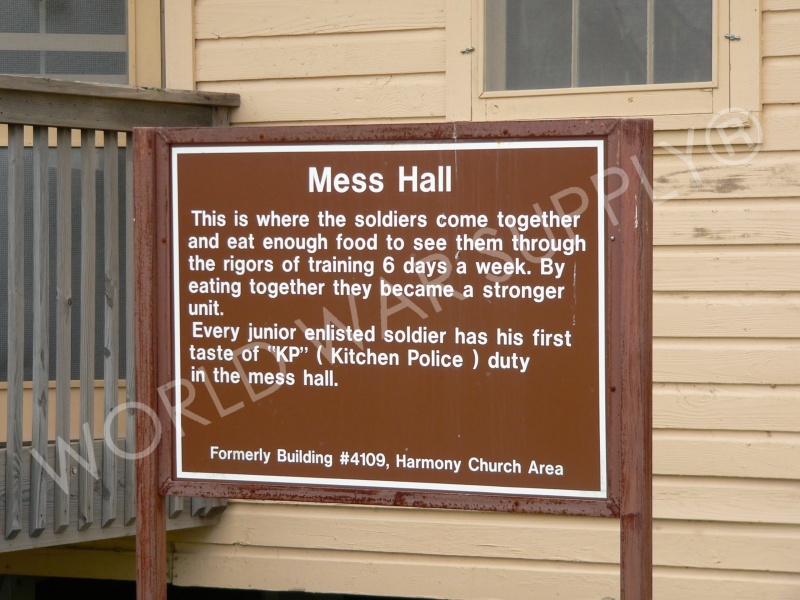 and Full Metal Jacket. 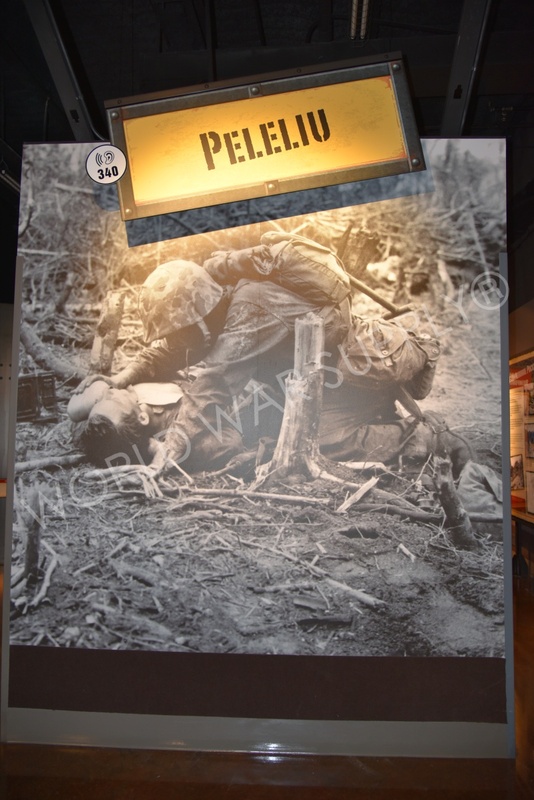 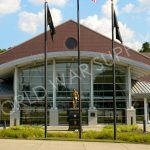 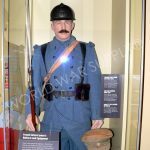 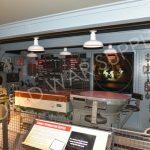 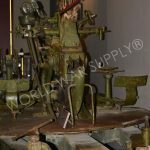 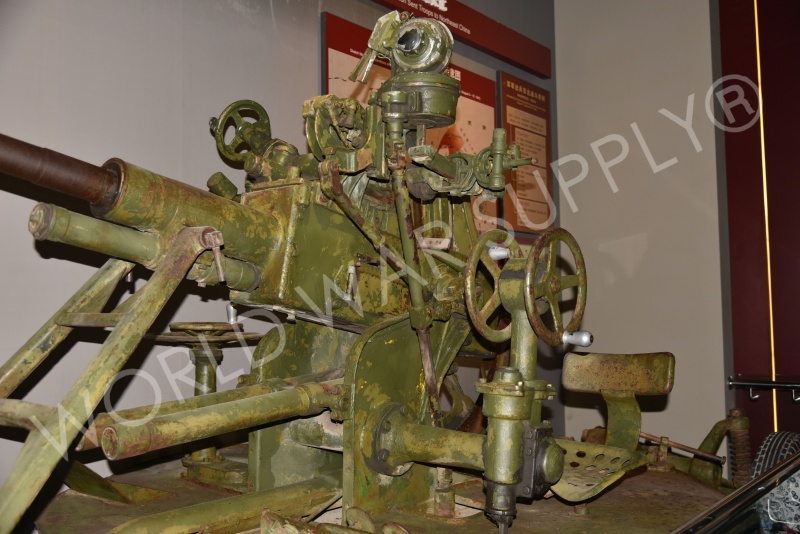 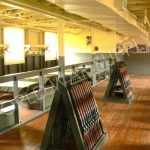 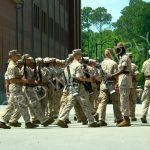 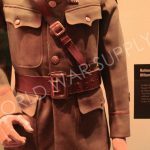 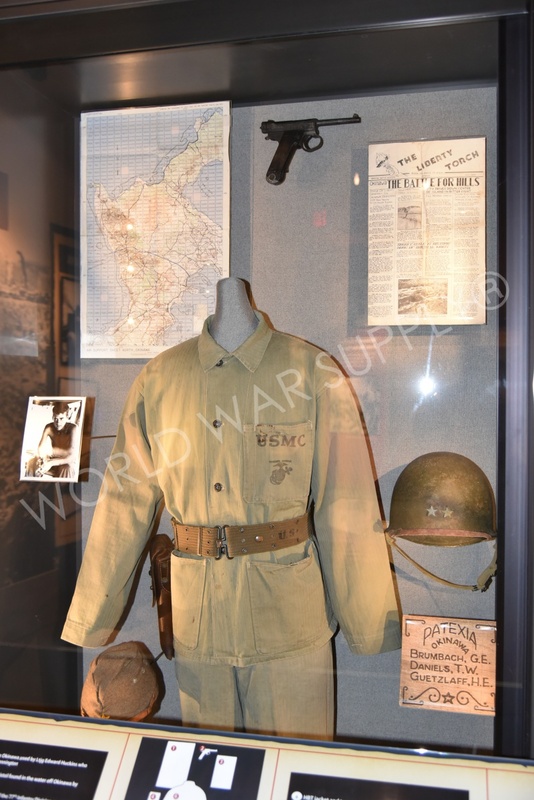 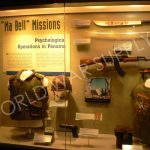 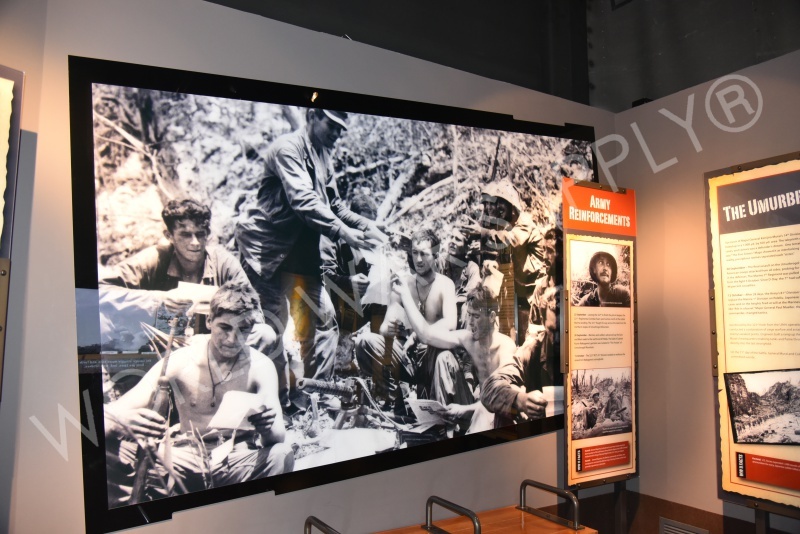 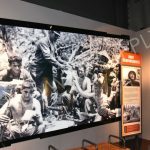 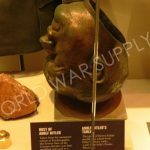 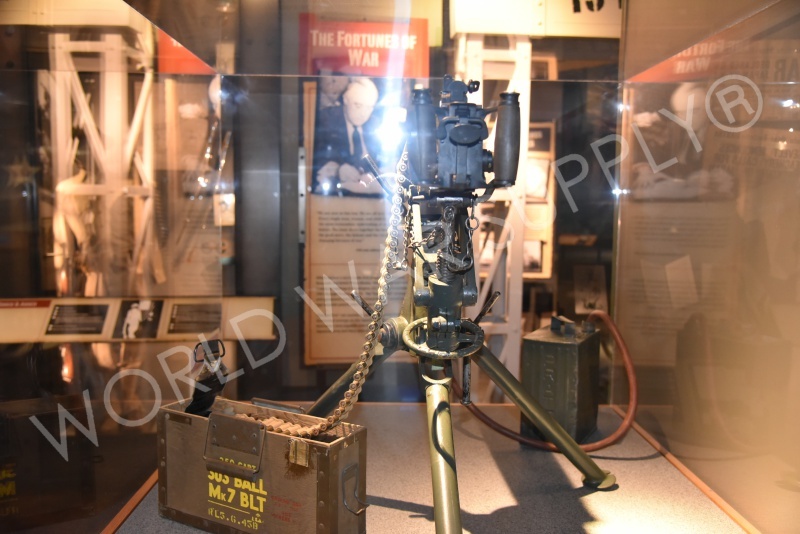 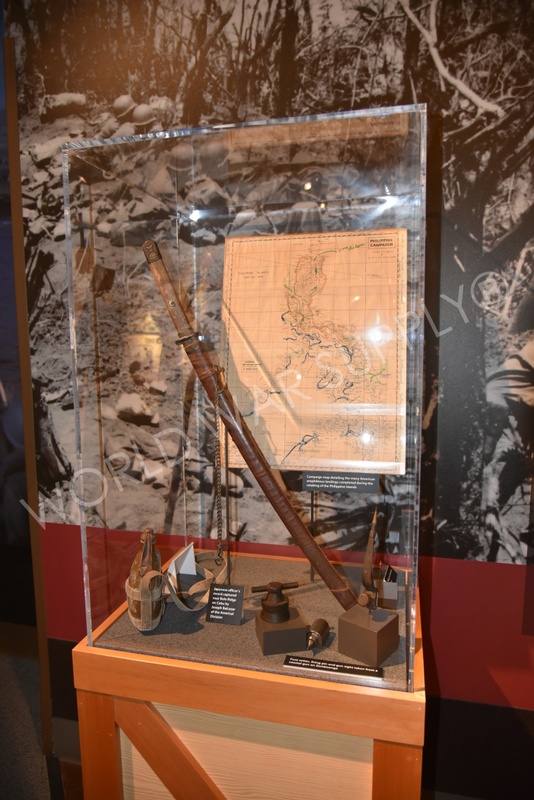 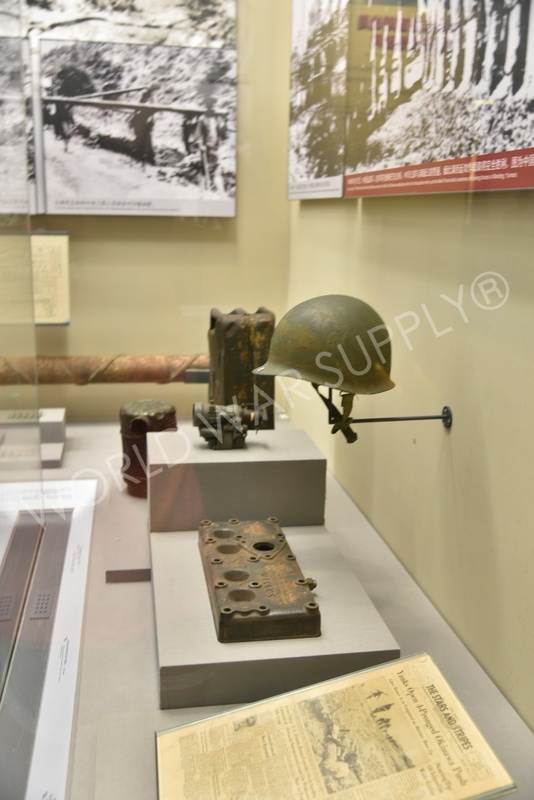 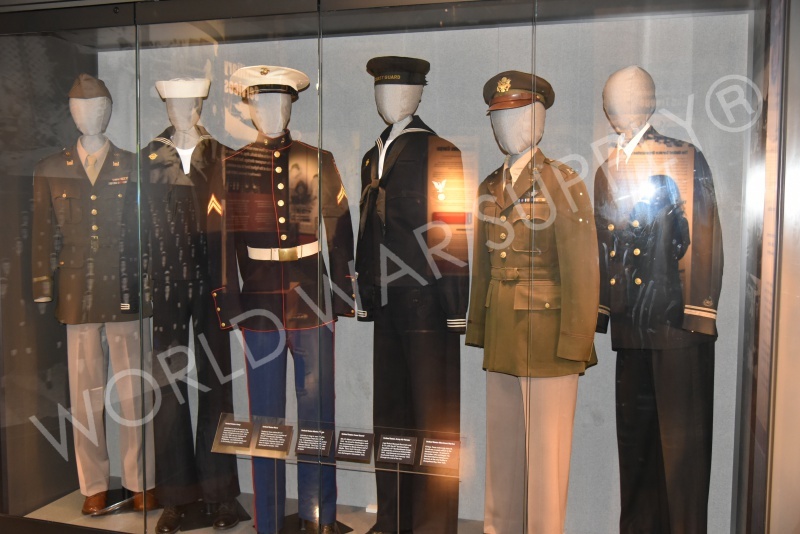 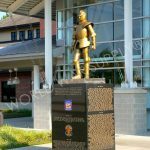 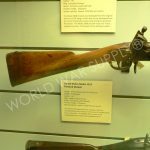 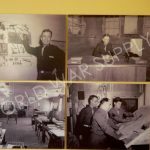 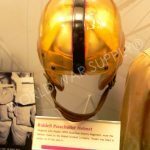 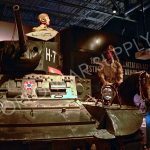 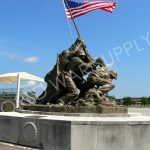 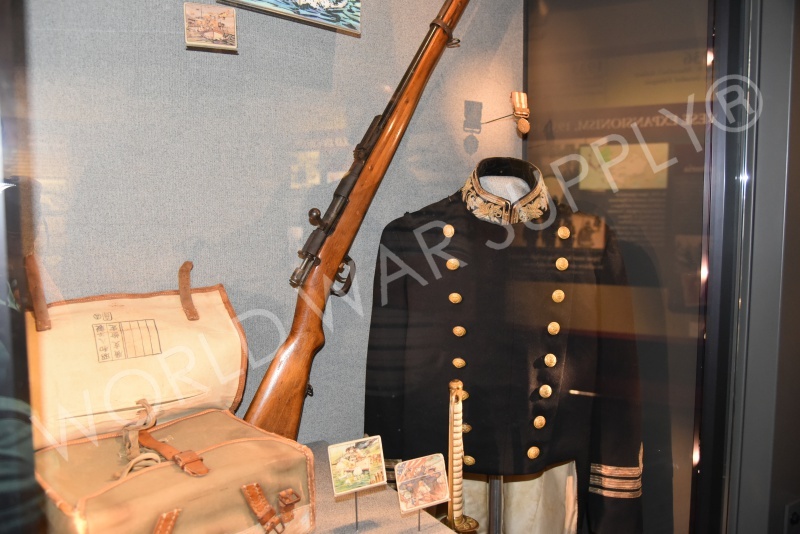 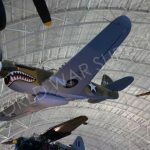 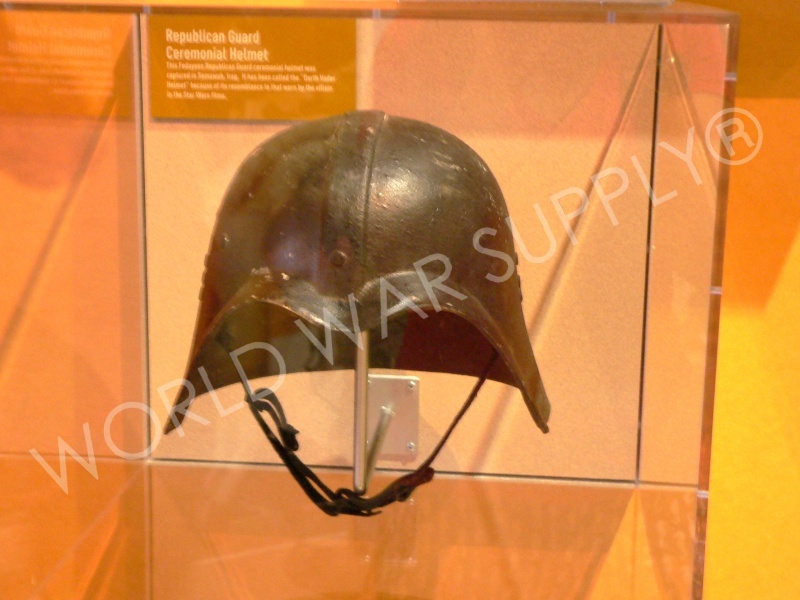 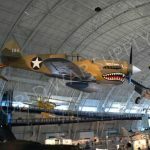 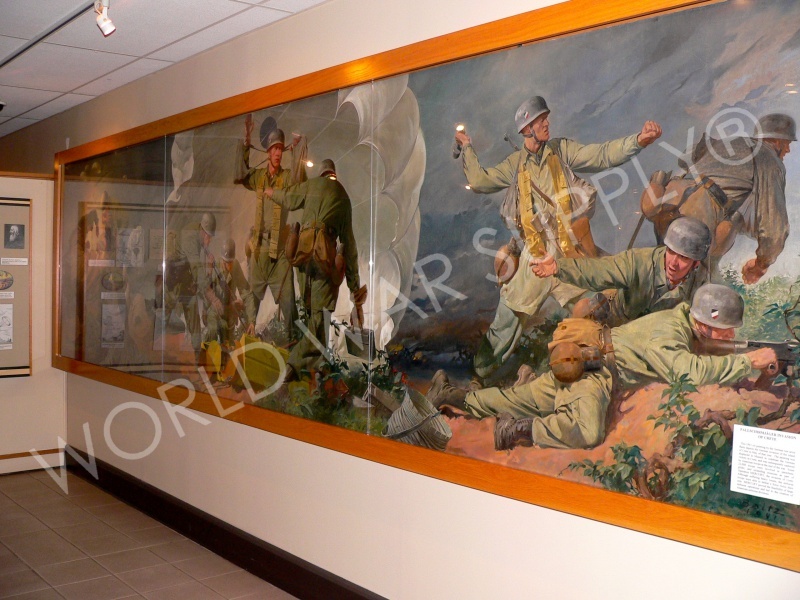 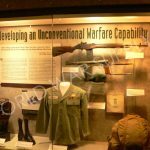 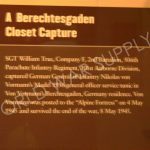 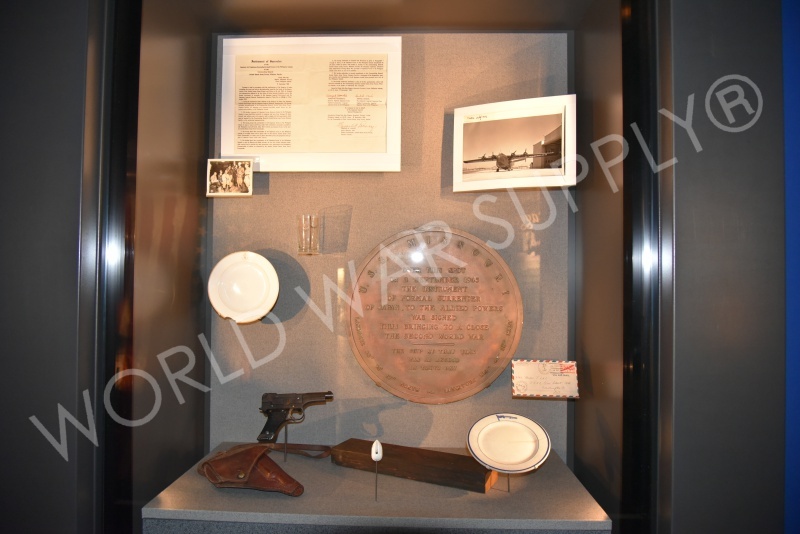 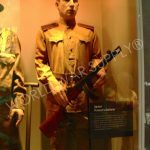 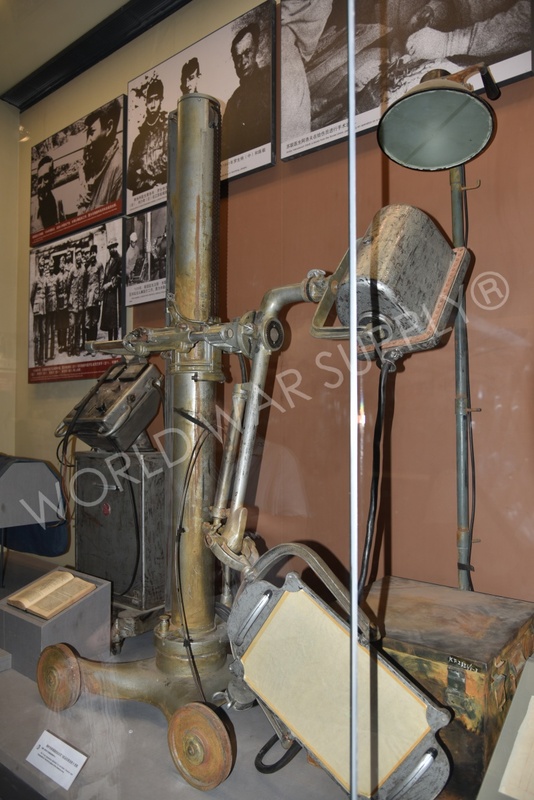 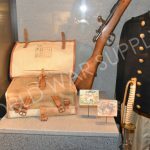 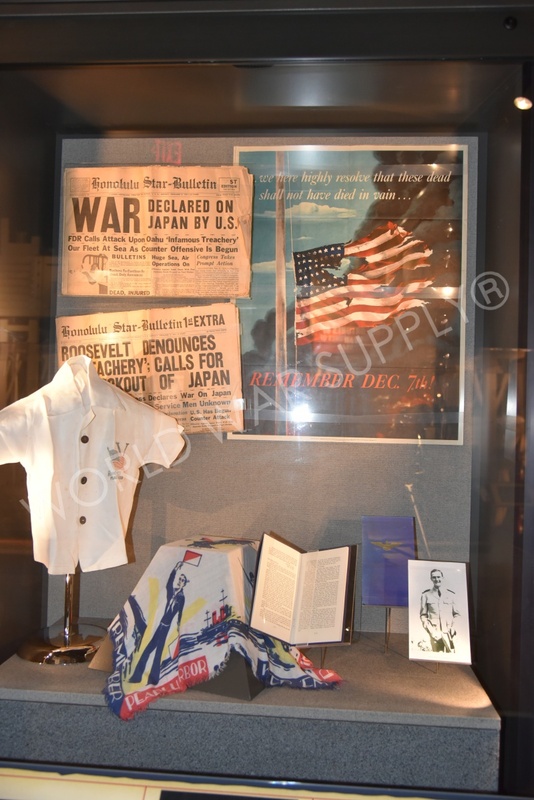 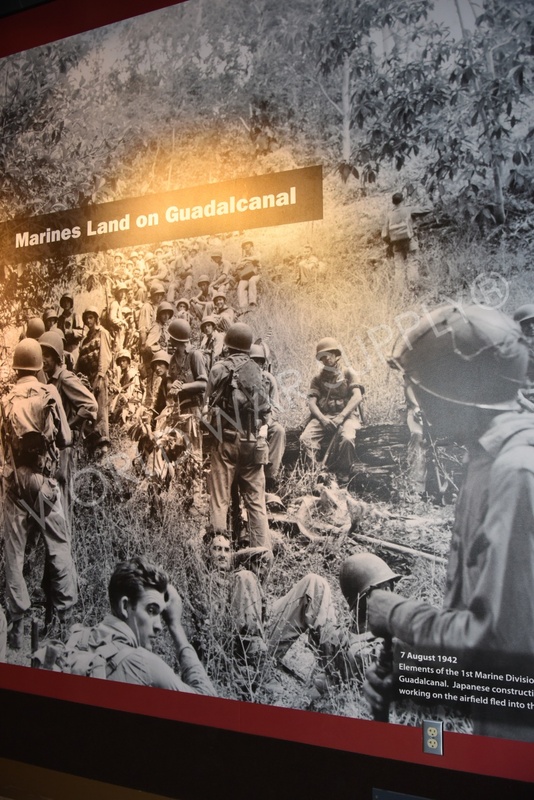 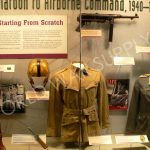 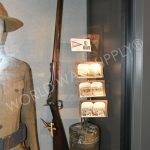 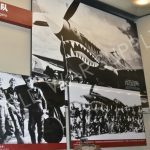 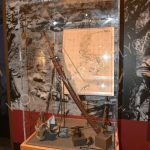 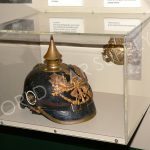 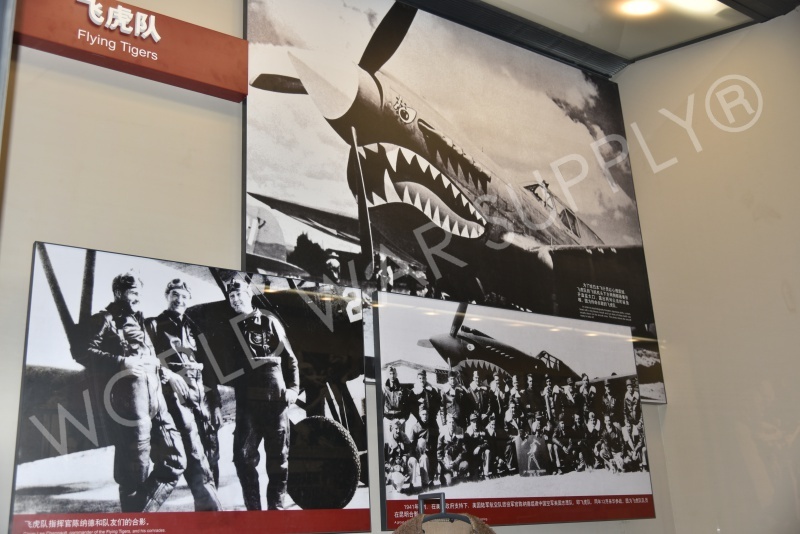 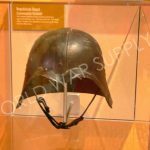 Located in Triangle, Virginia, the National Museum of the Marine Corps offers a history about the Marine corps in general. 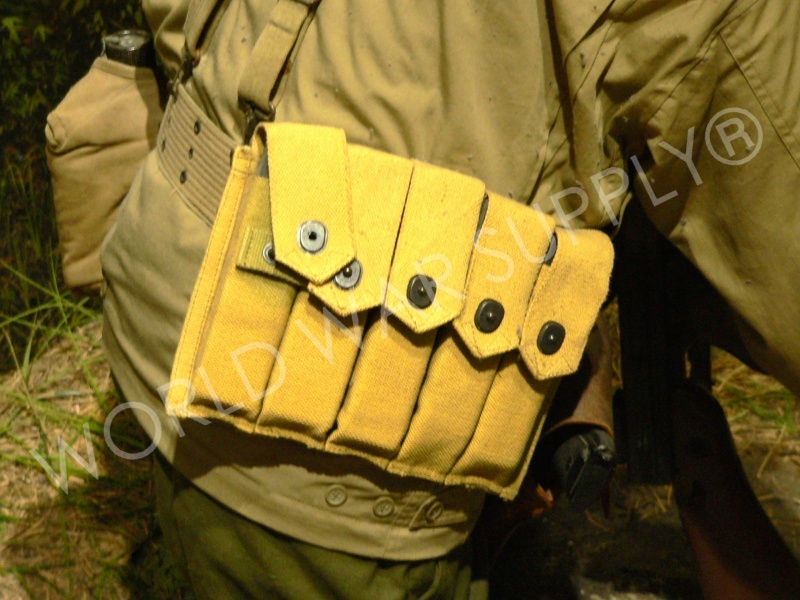 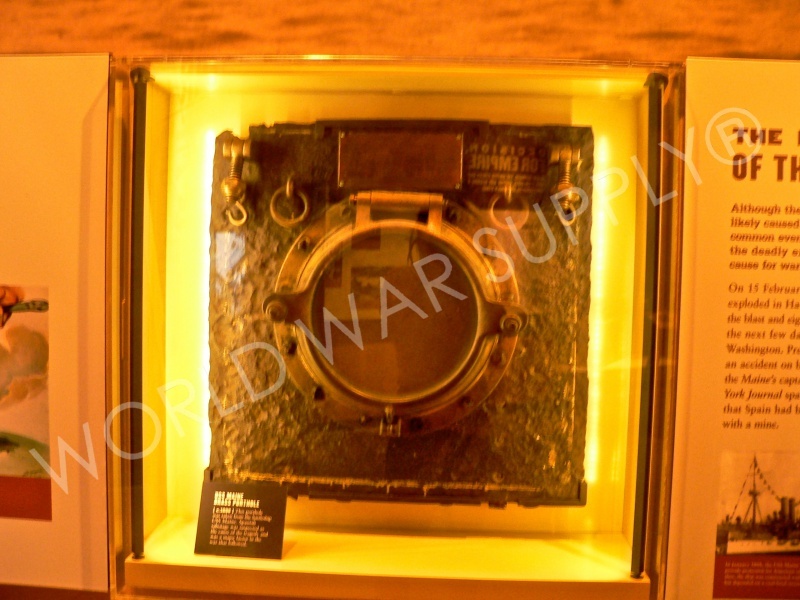 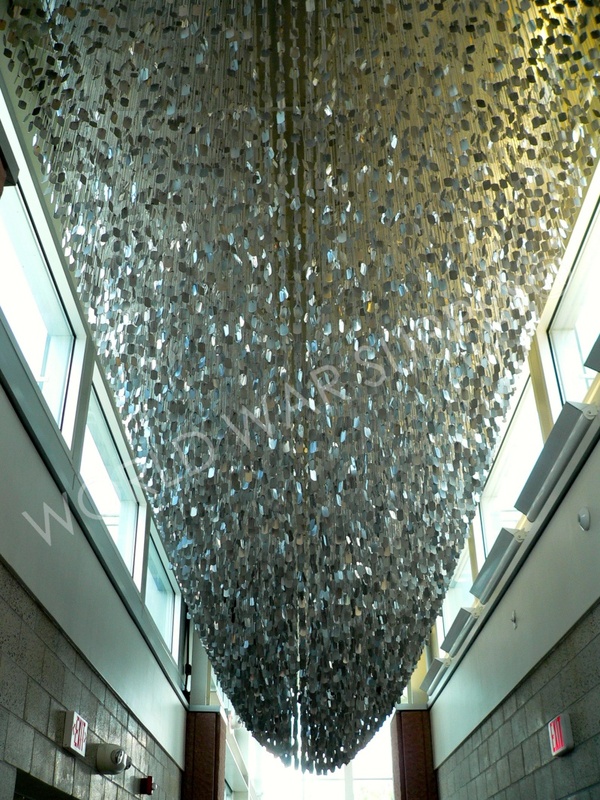 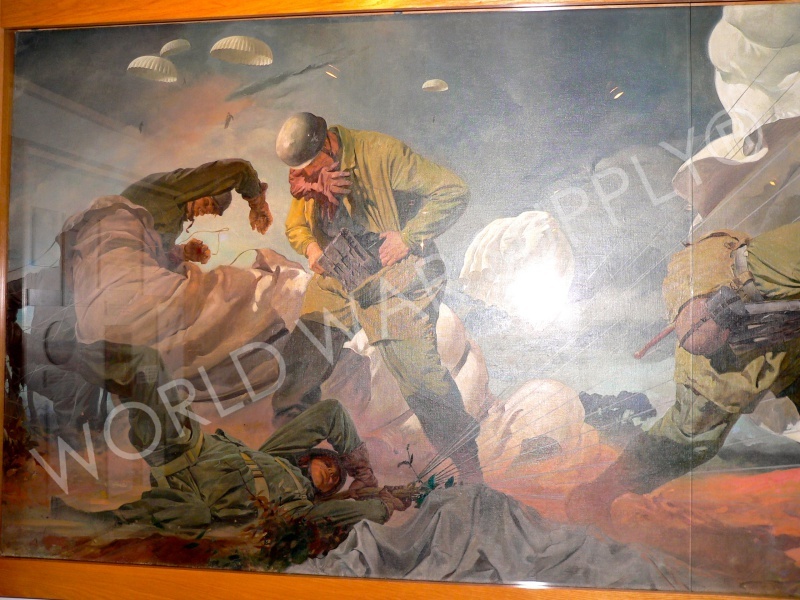 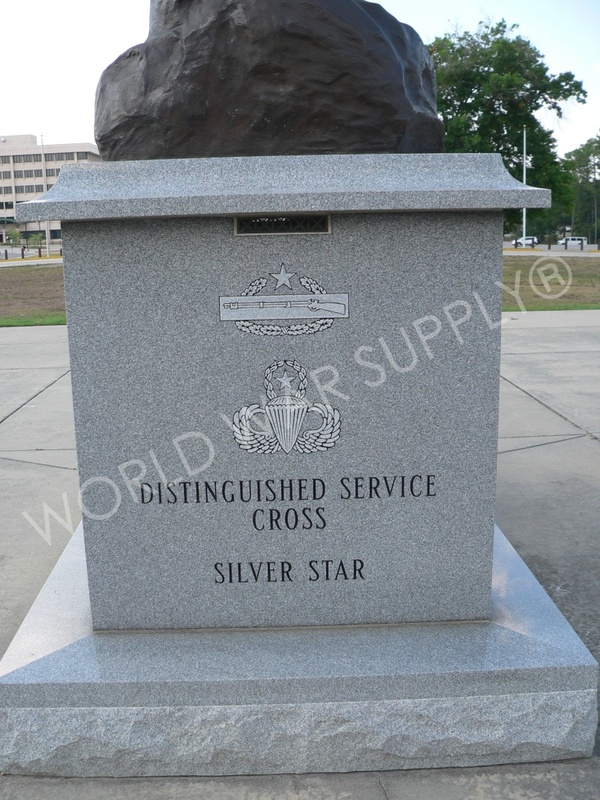 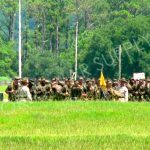 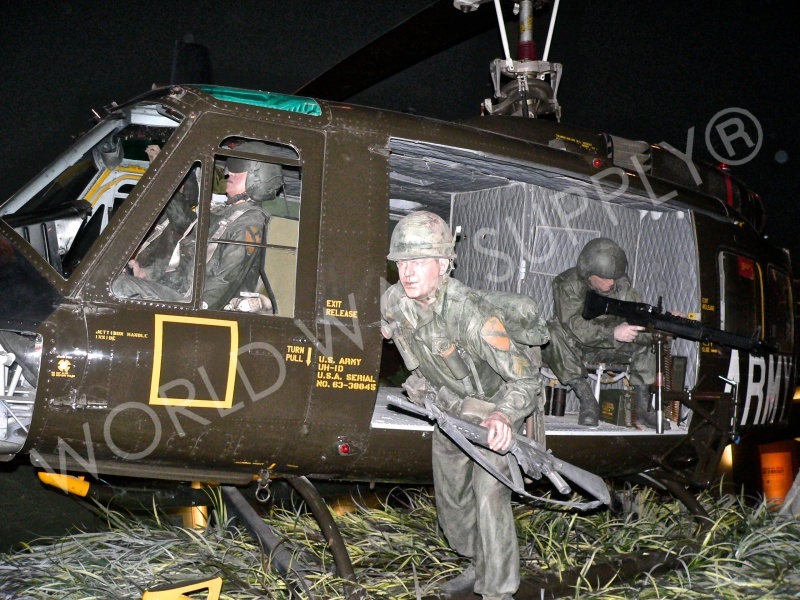 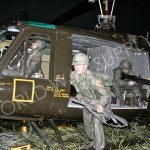 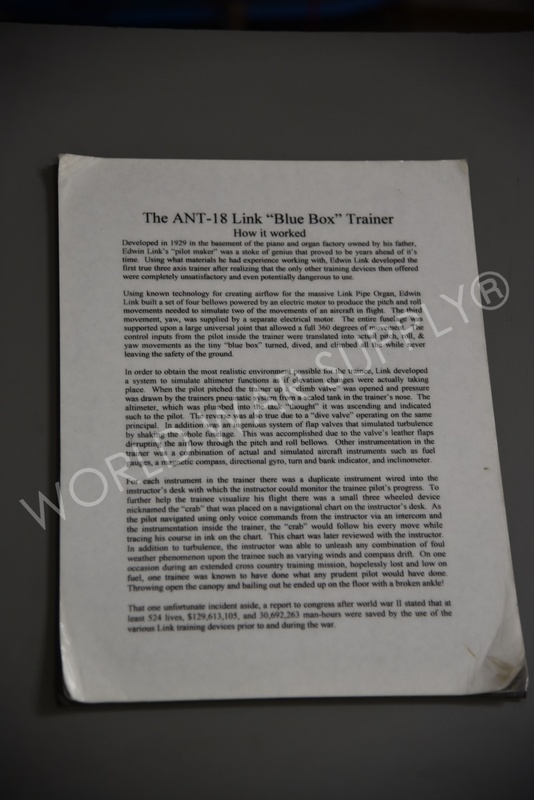 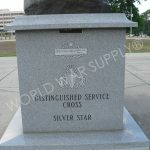 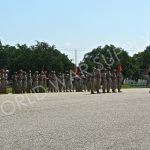 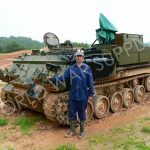 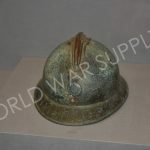 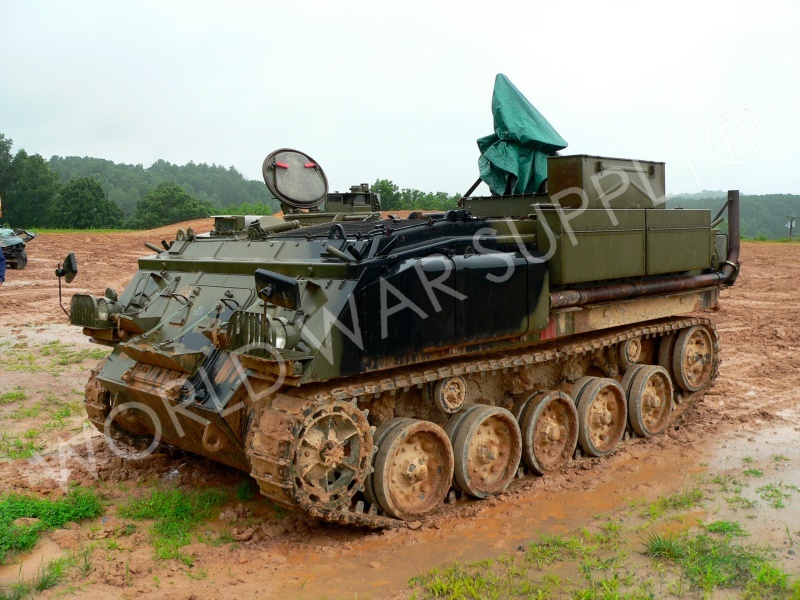 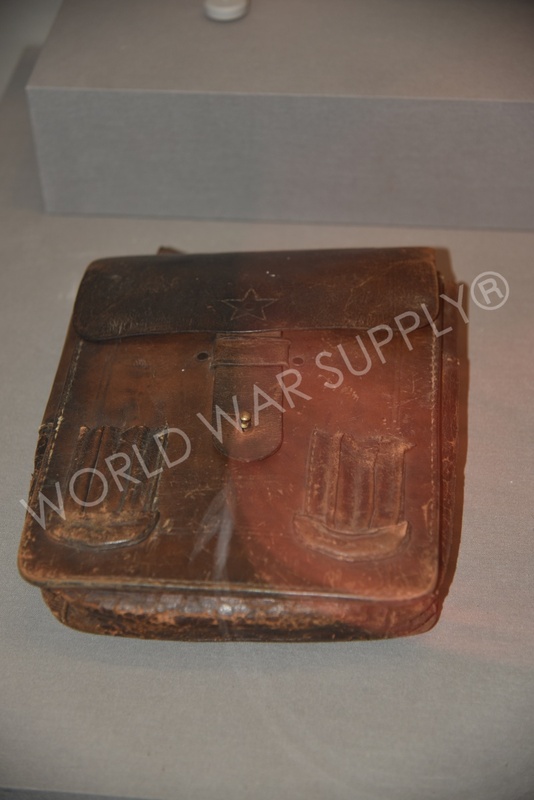 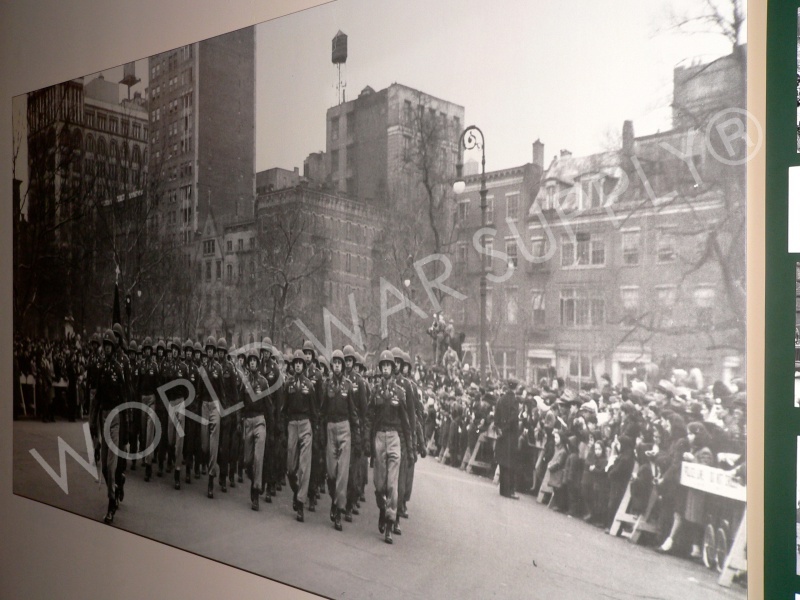 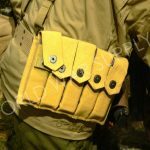 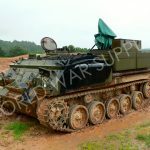 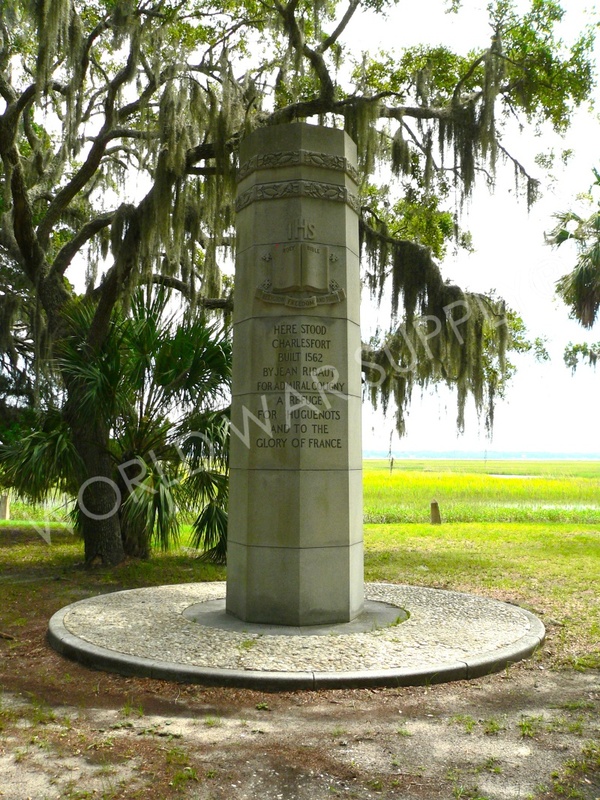 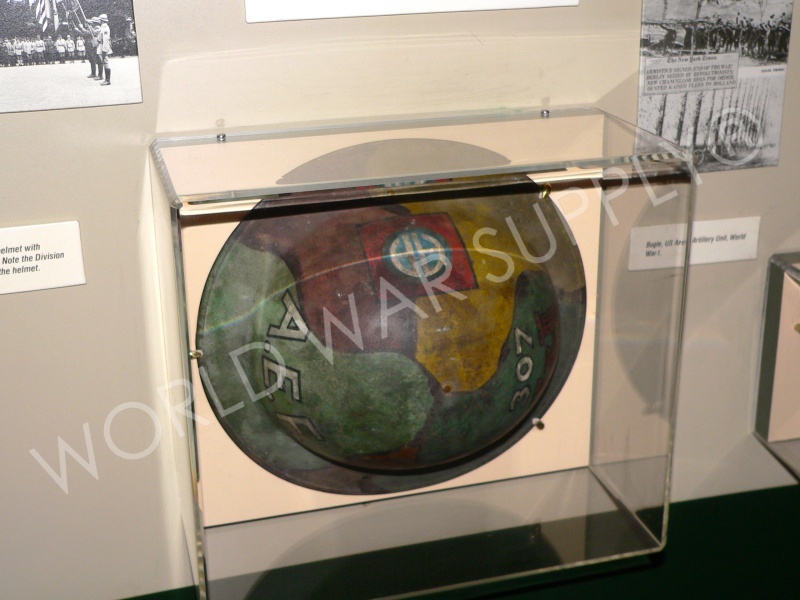 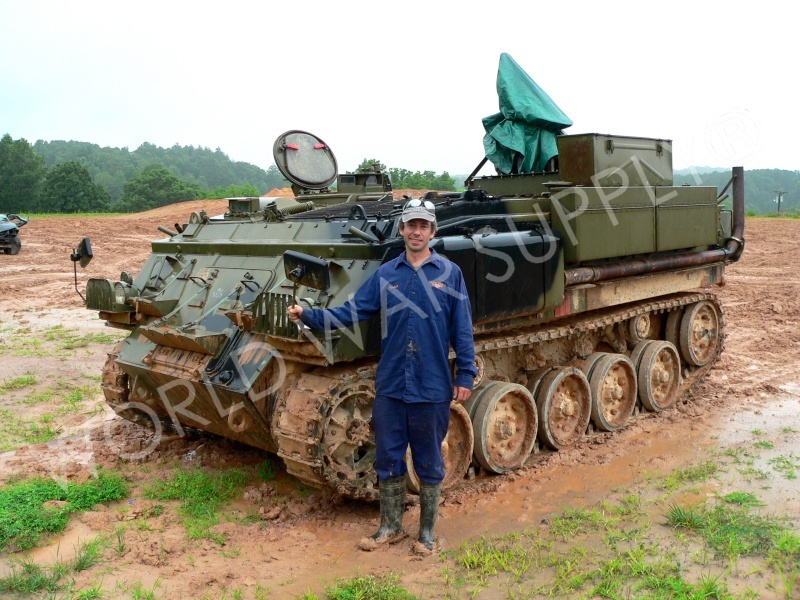 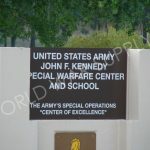 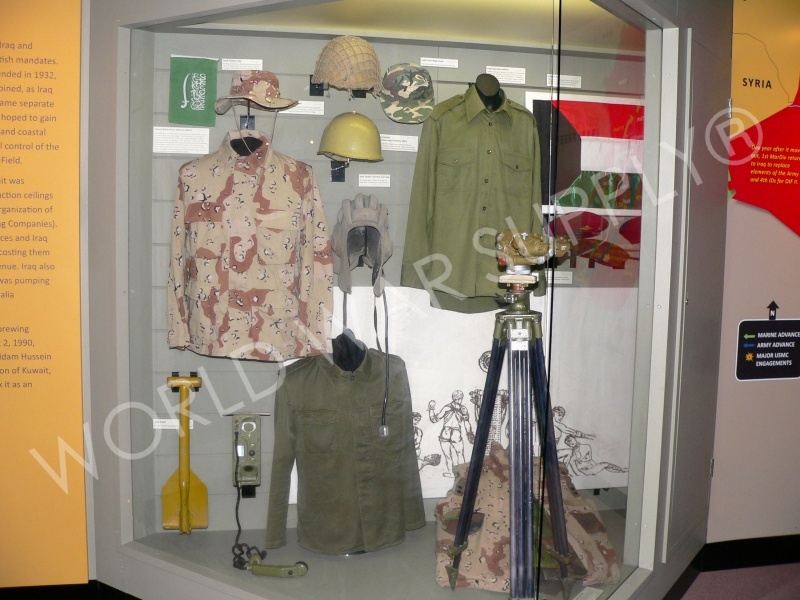 They offer the history of the Military branch as well as preserve their message and honor. 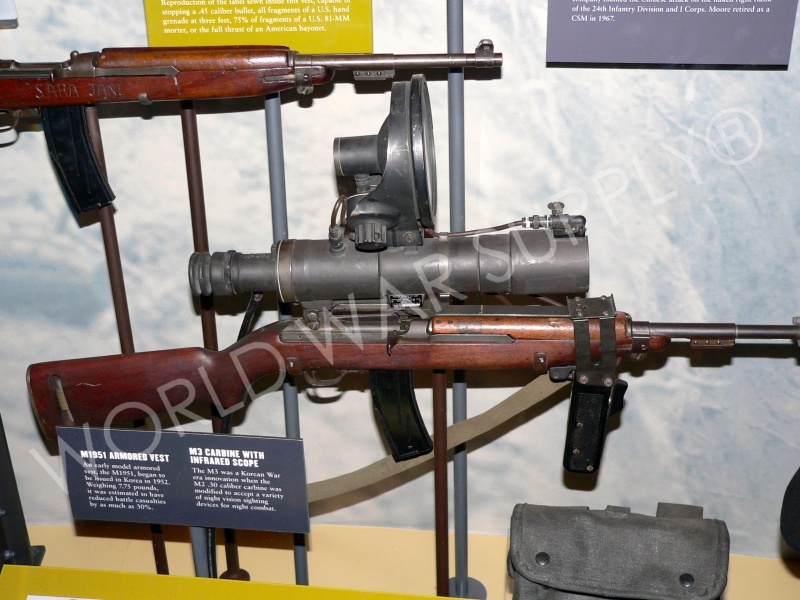 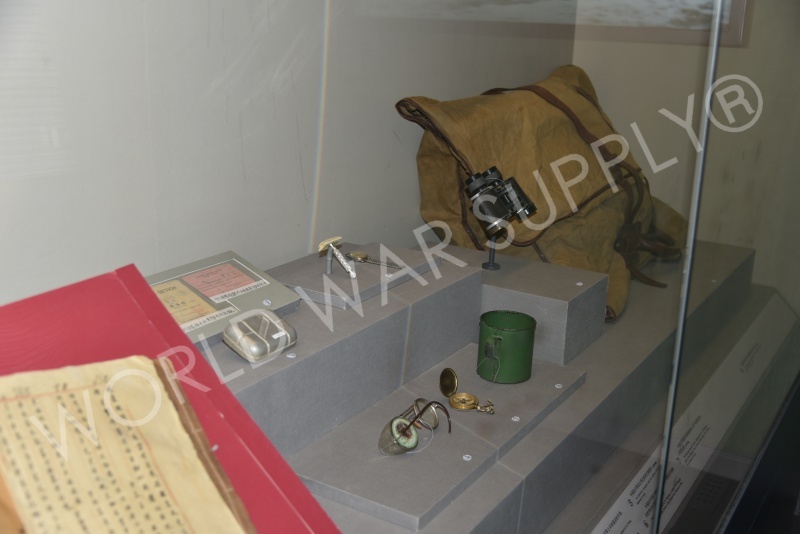 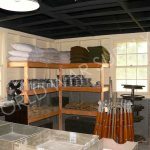 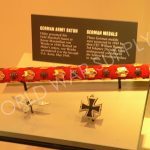 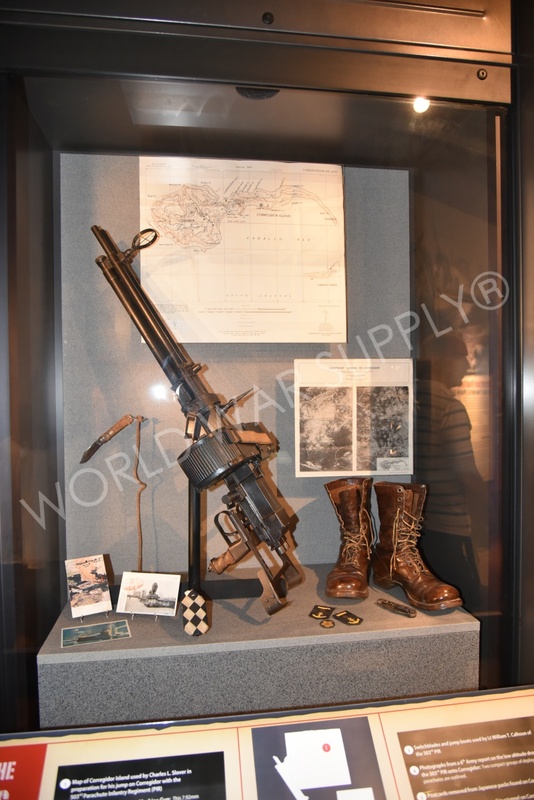 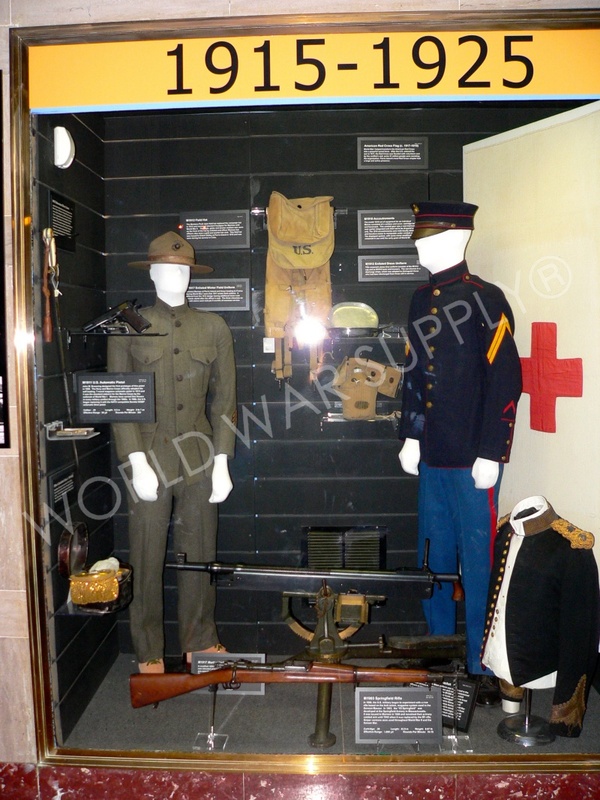 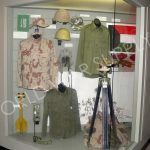 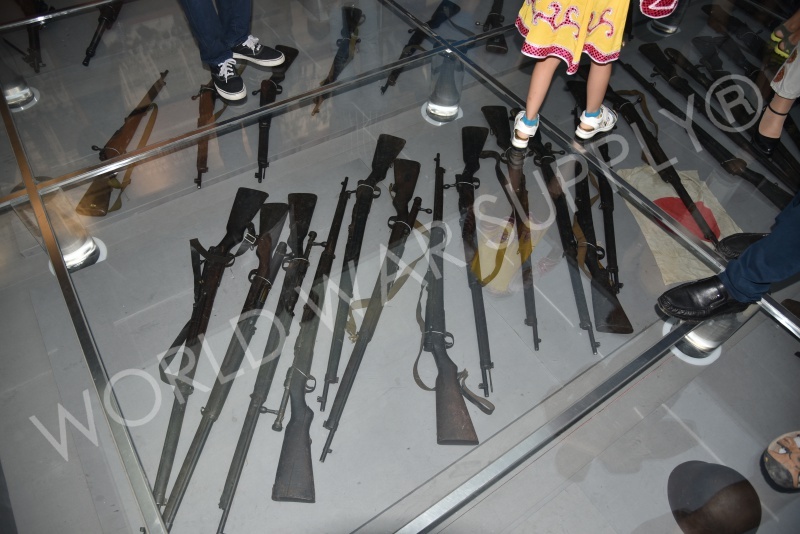 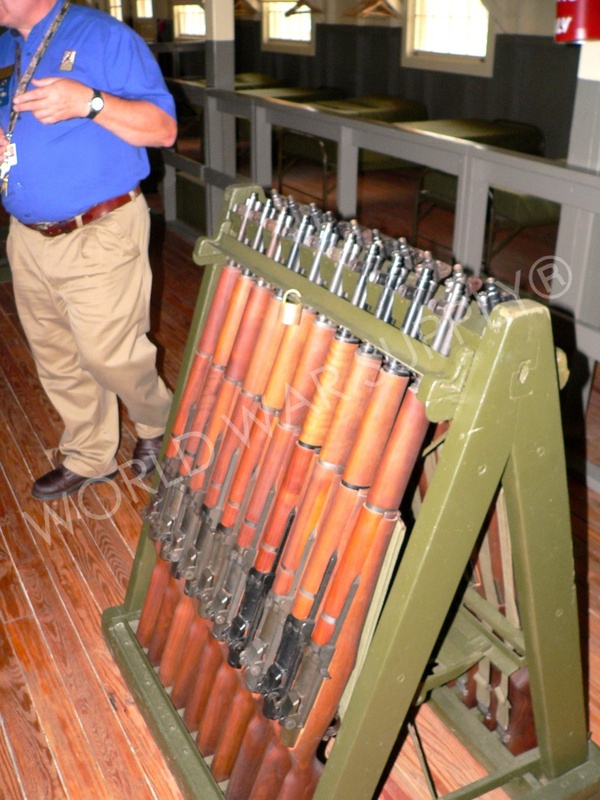 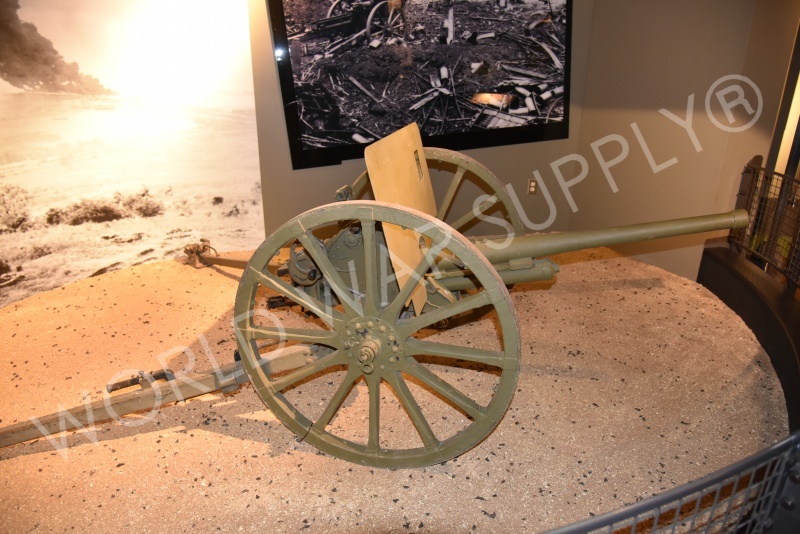 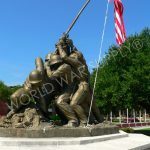 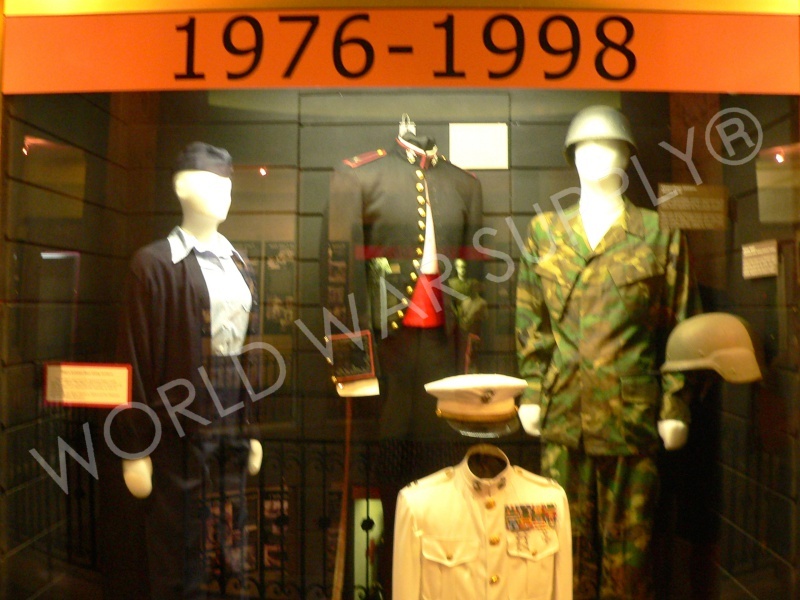 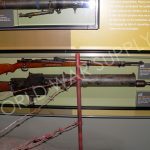 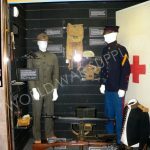 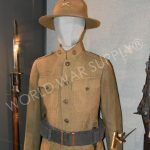 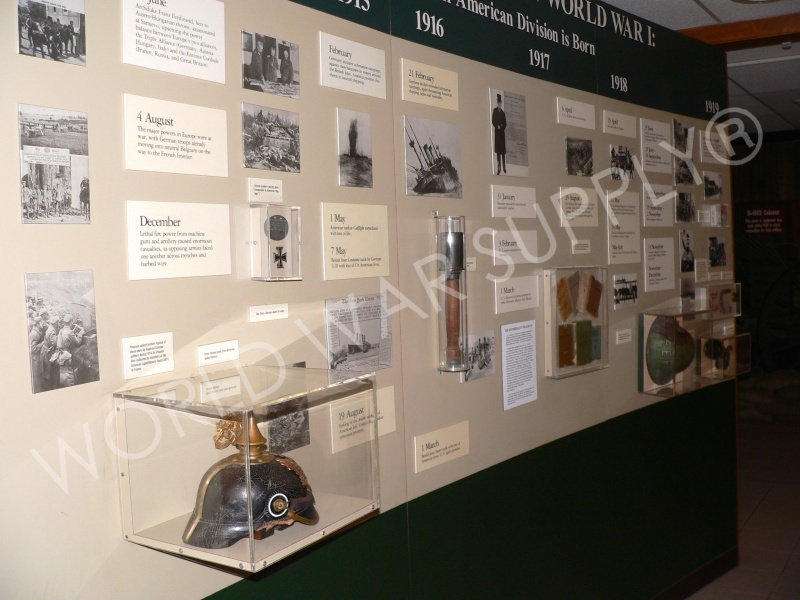 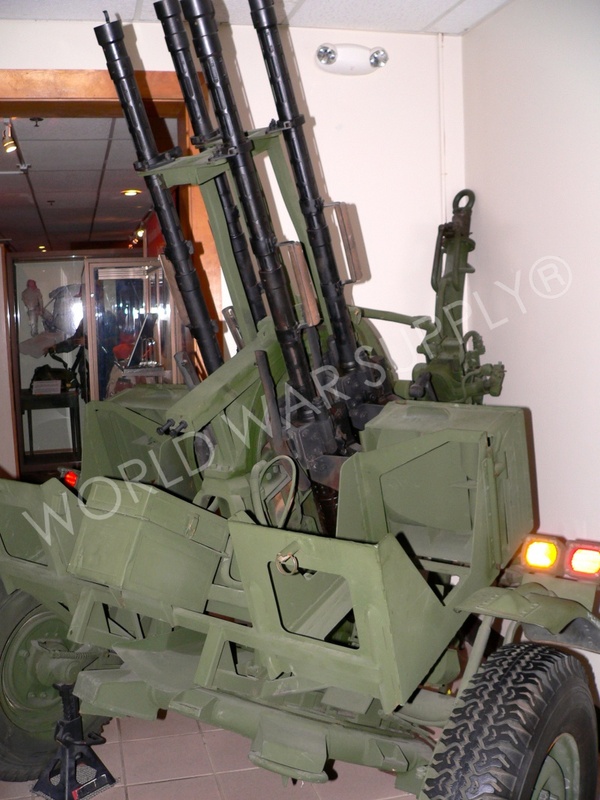 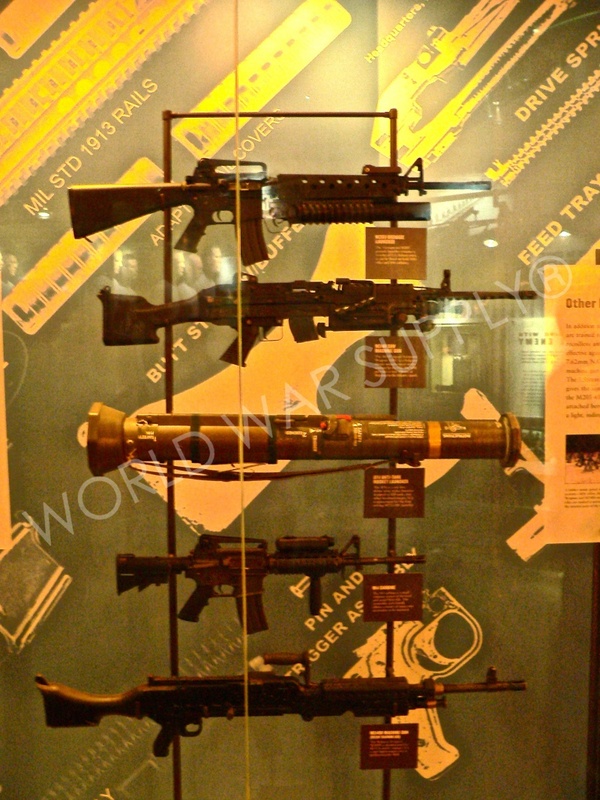 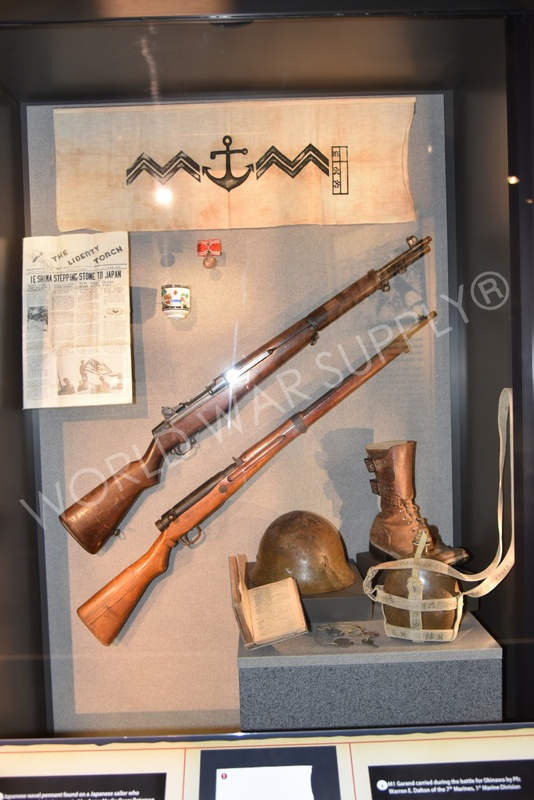 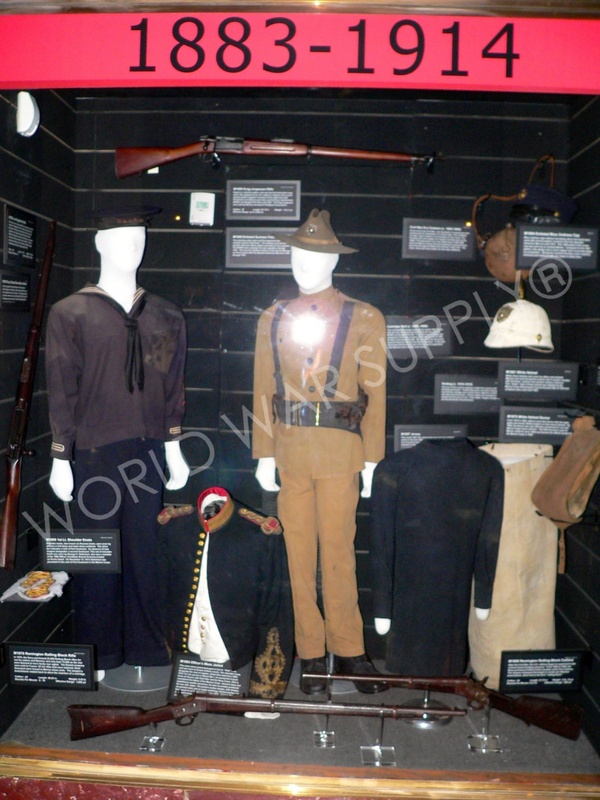 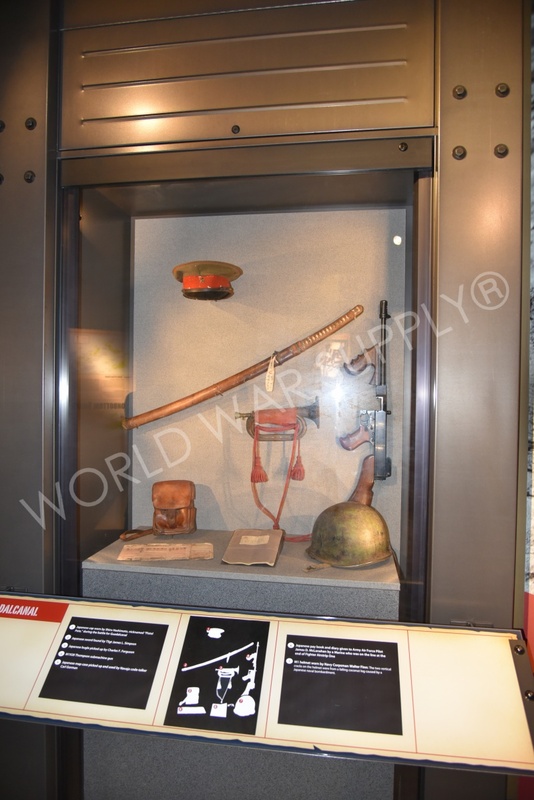 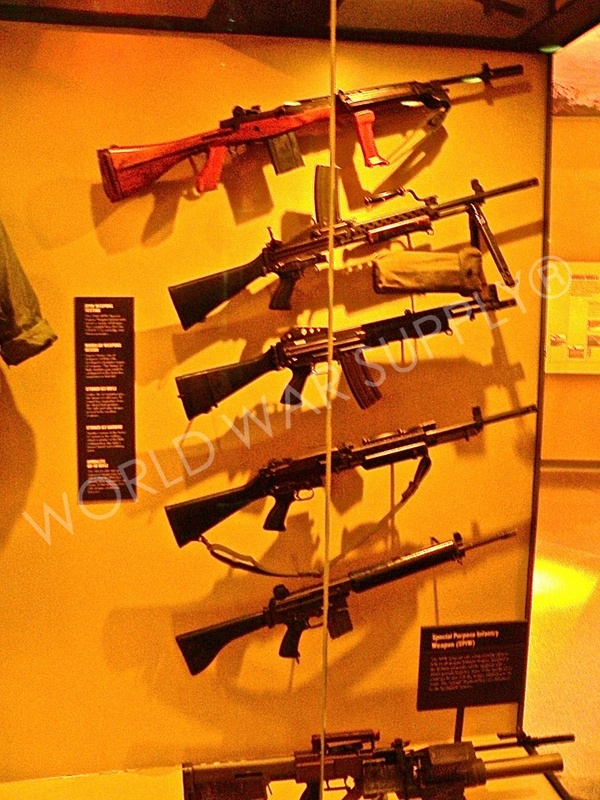 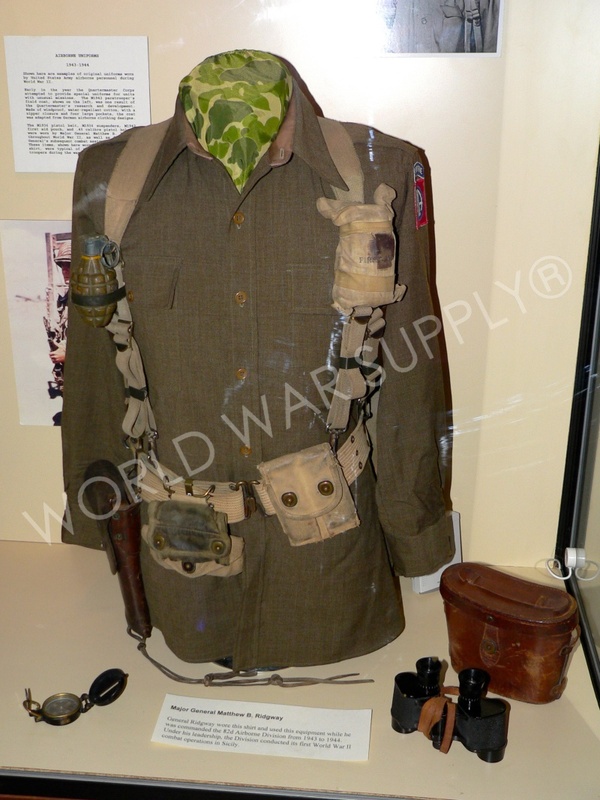 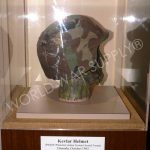 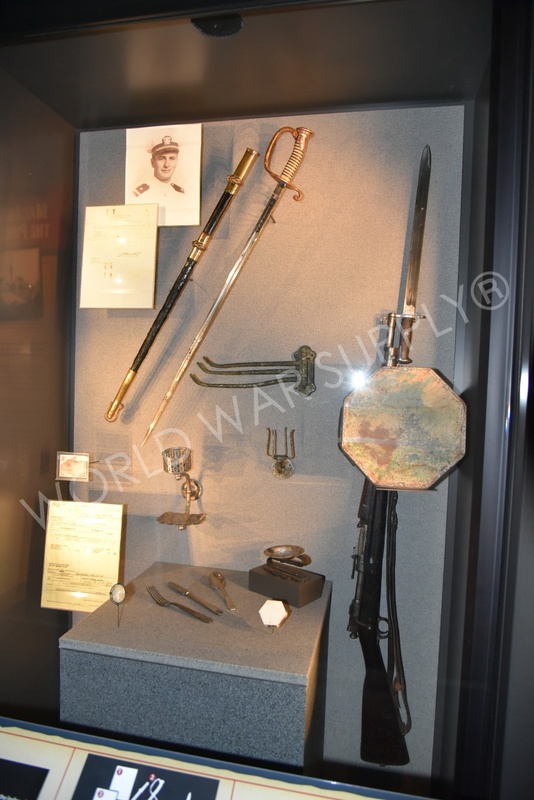 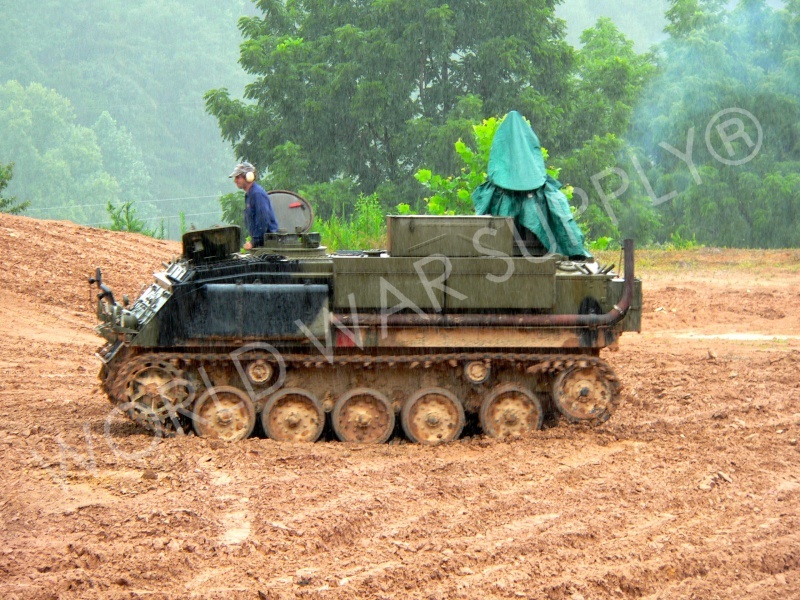 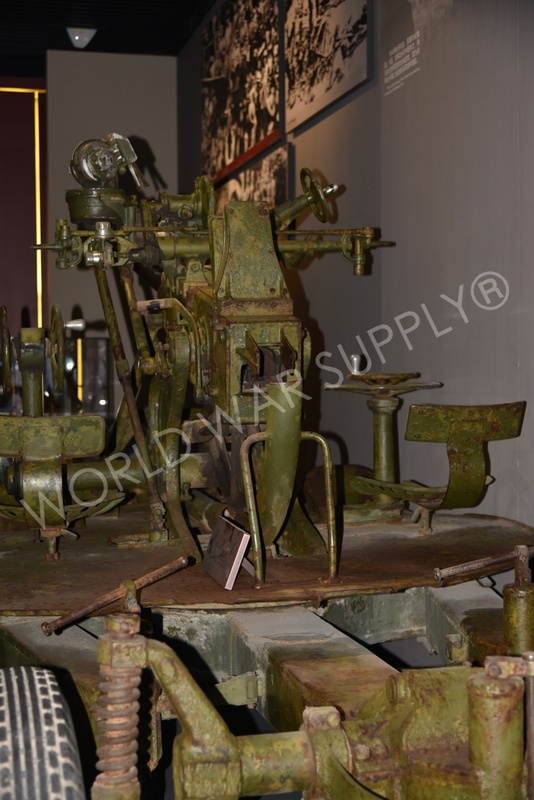 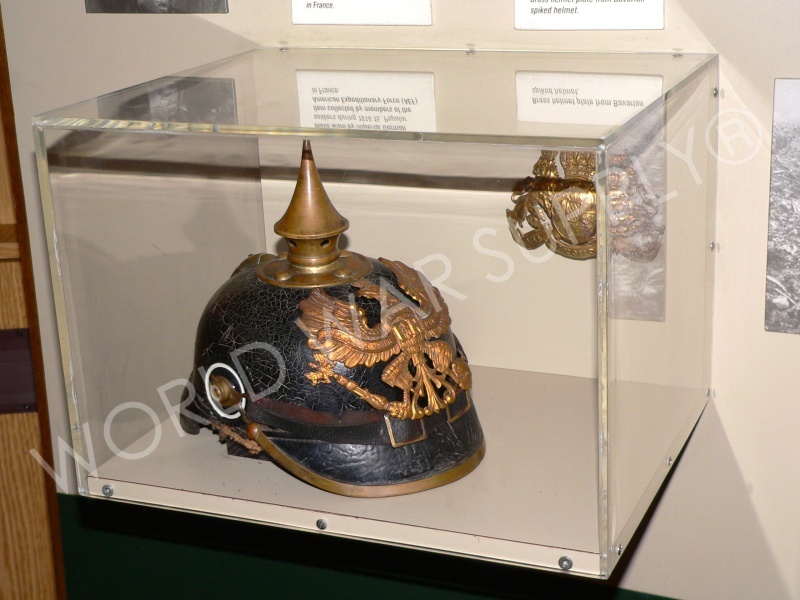 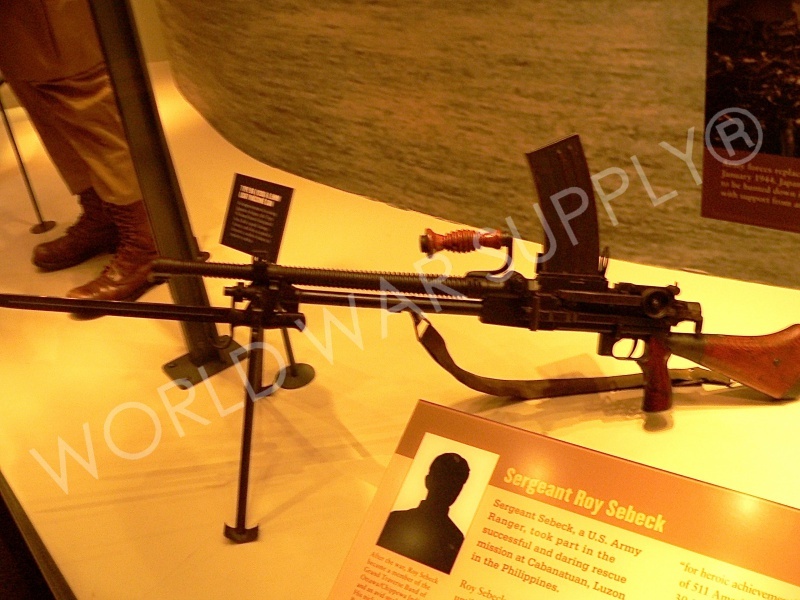 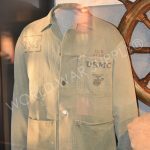 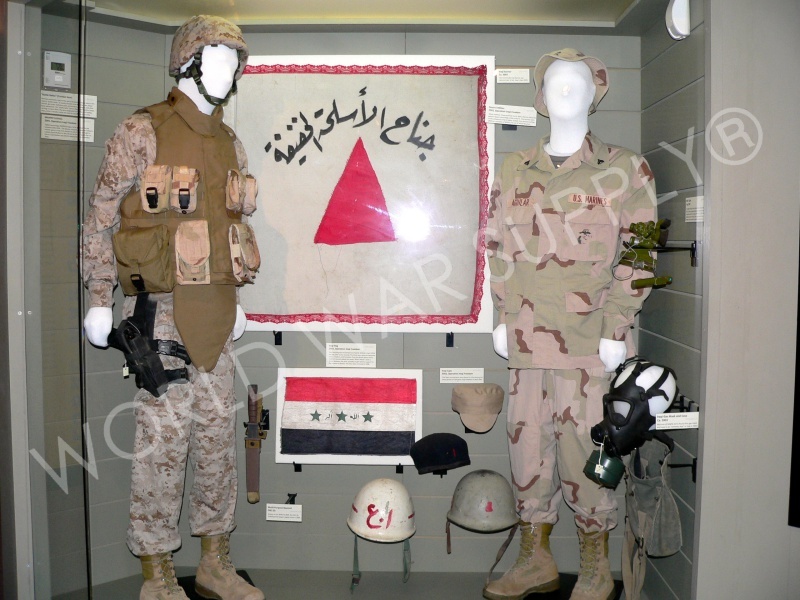 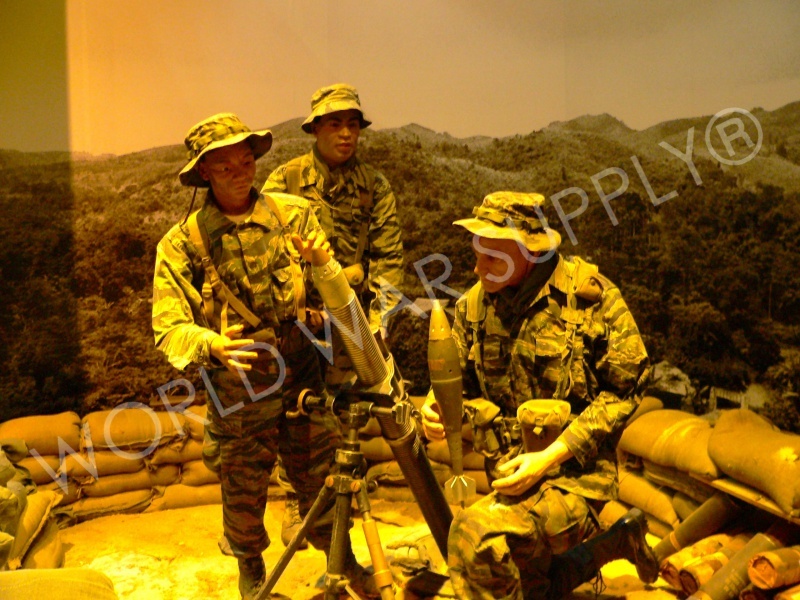 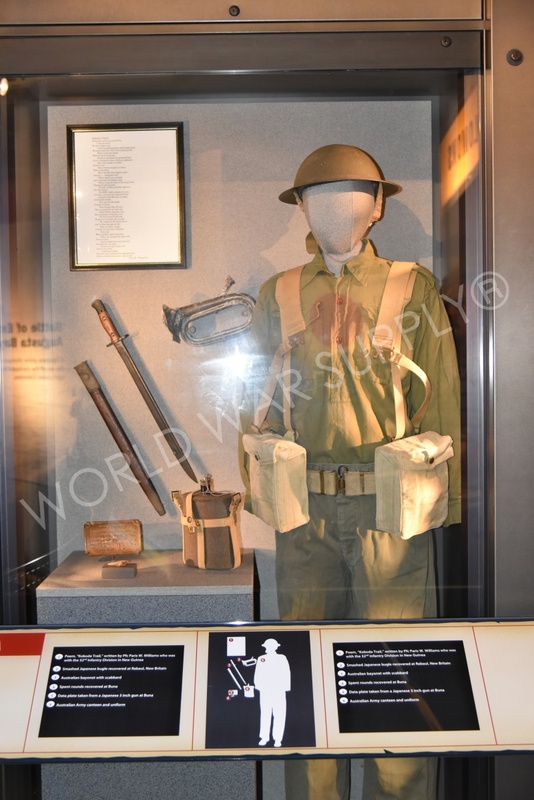 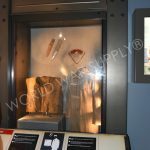 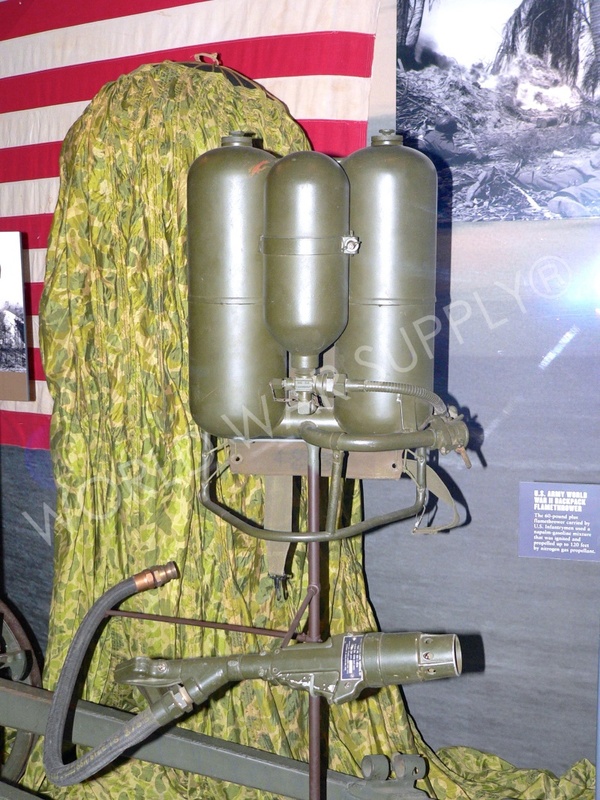 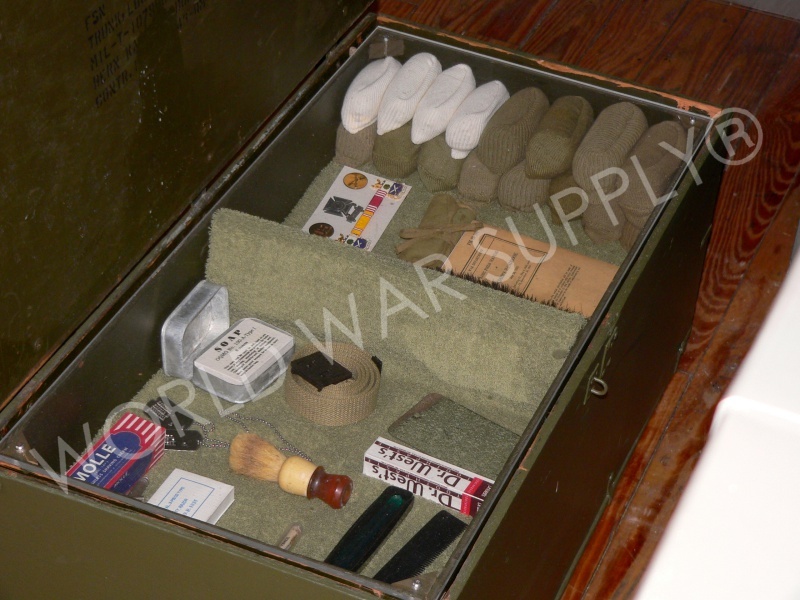 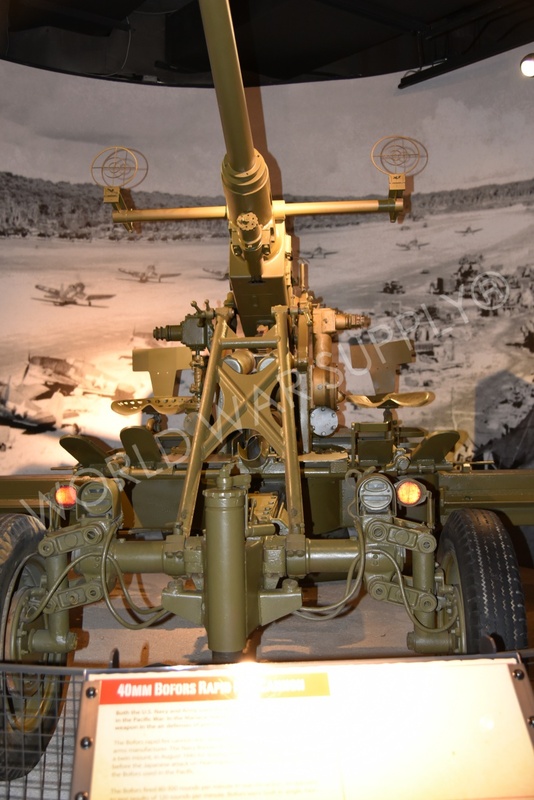 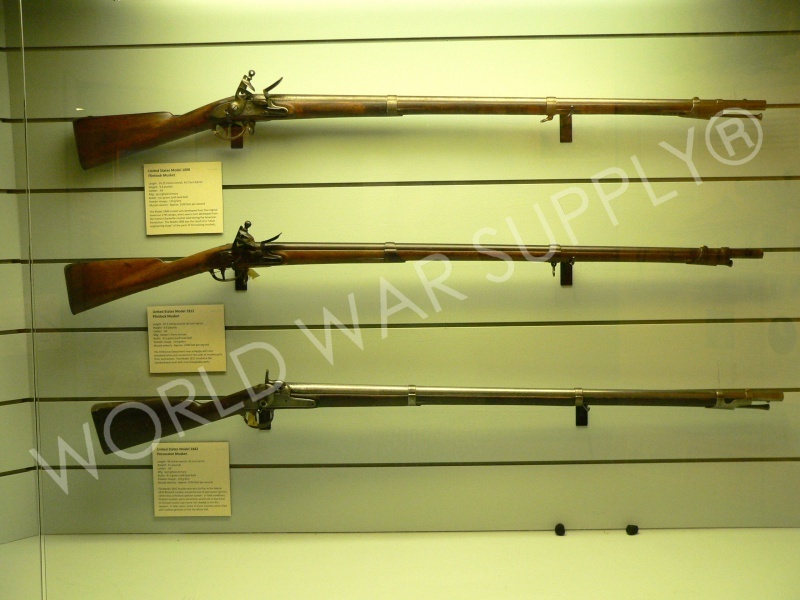 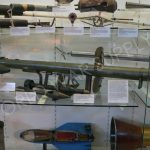 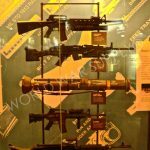 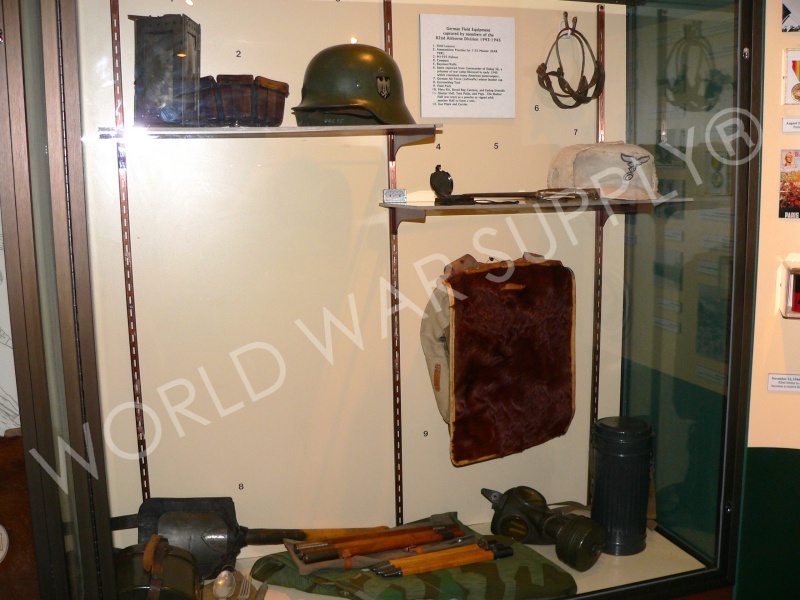 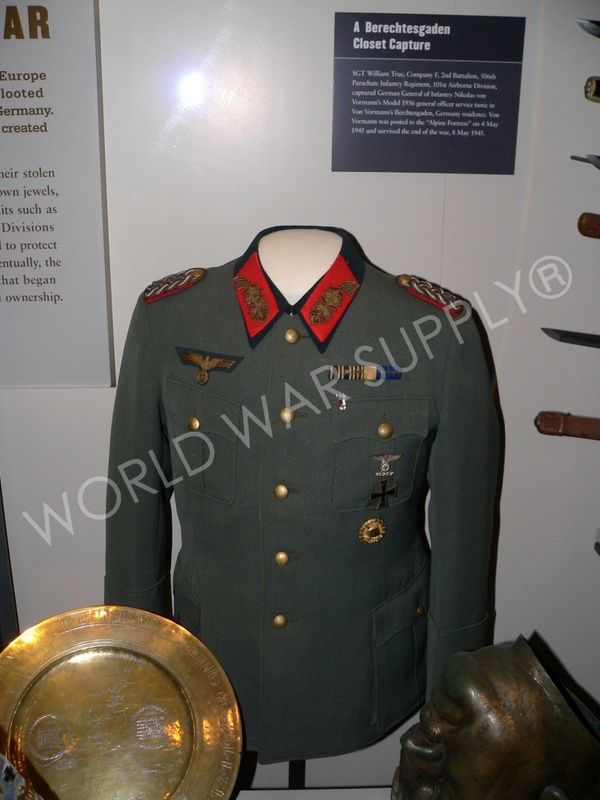 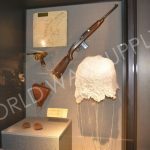 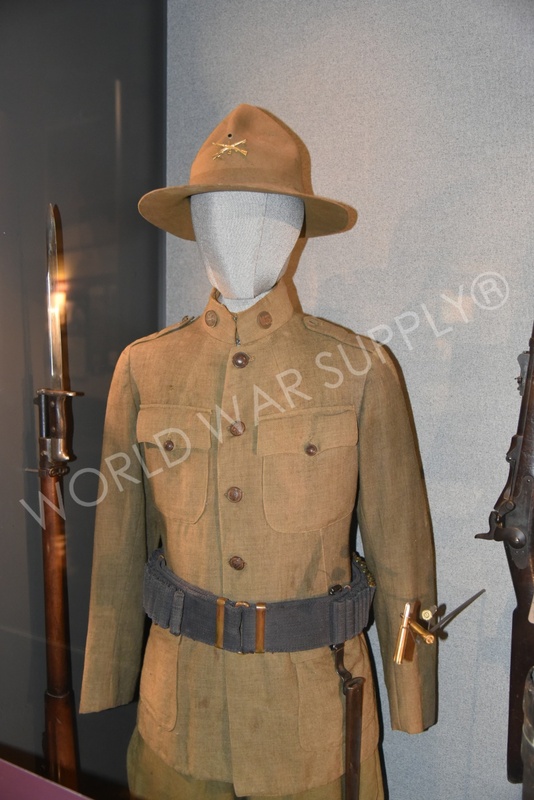 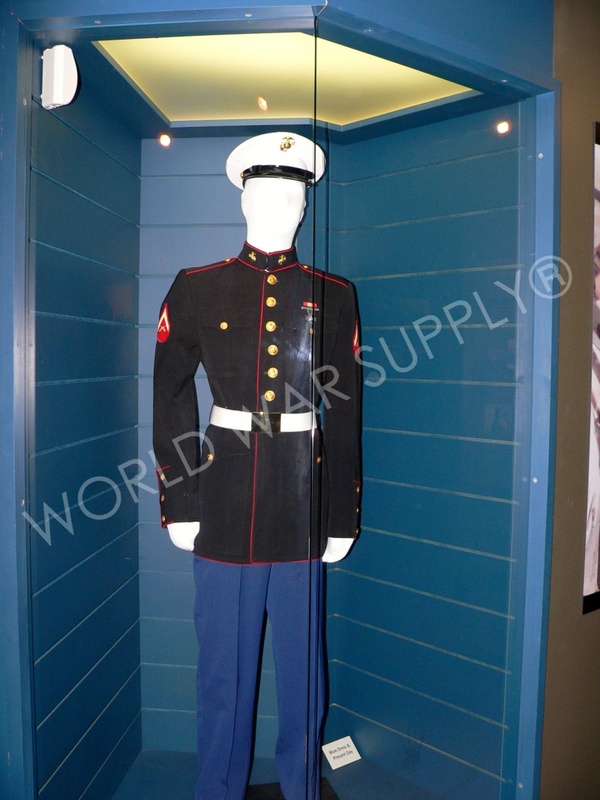 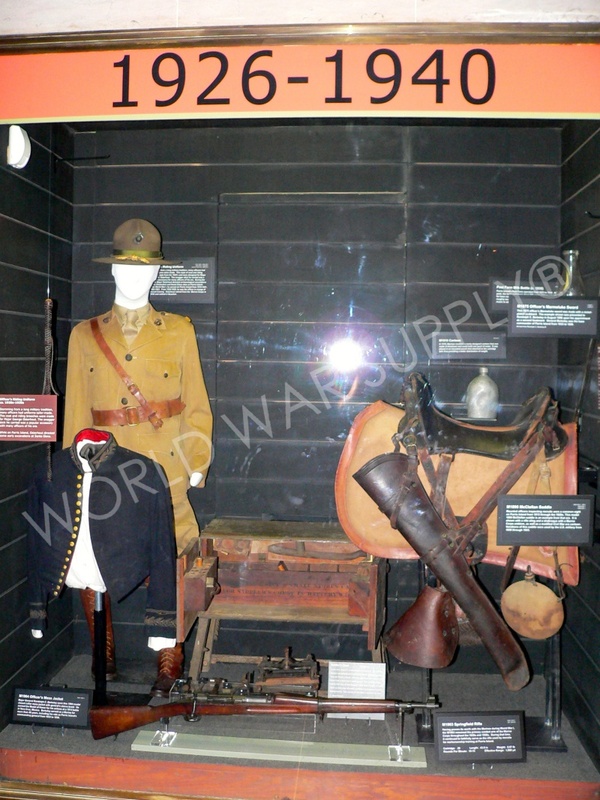 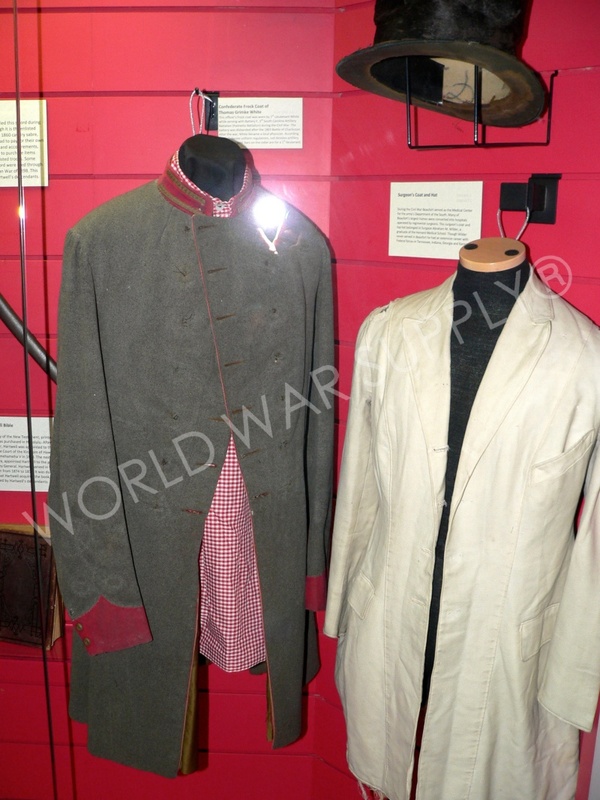 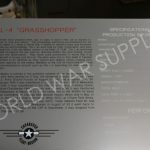 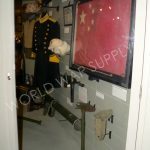 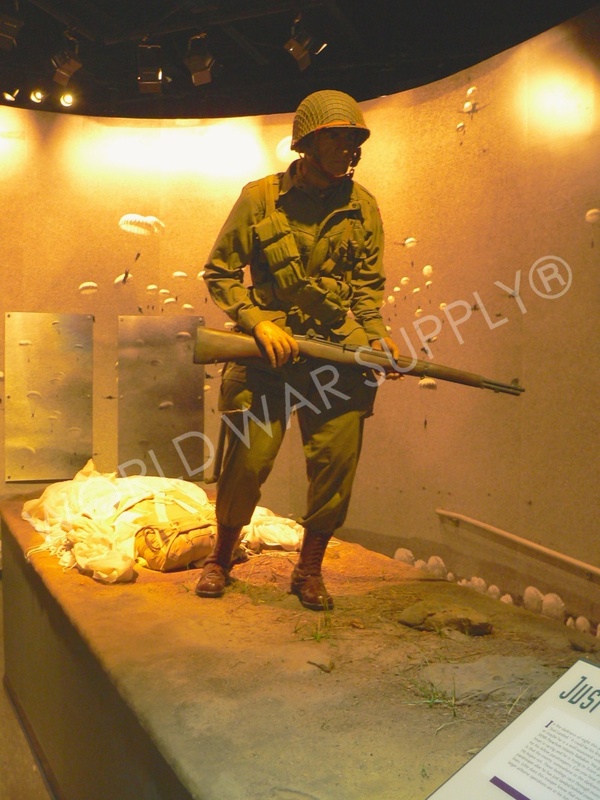 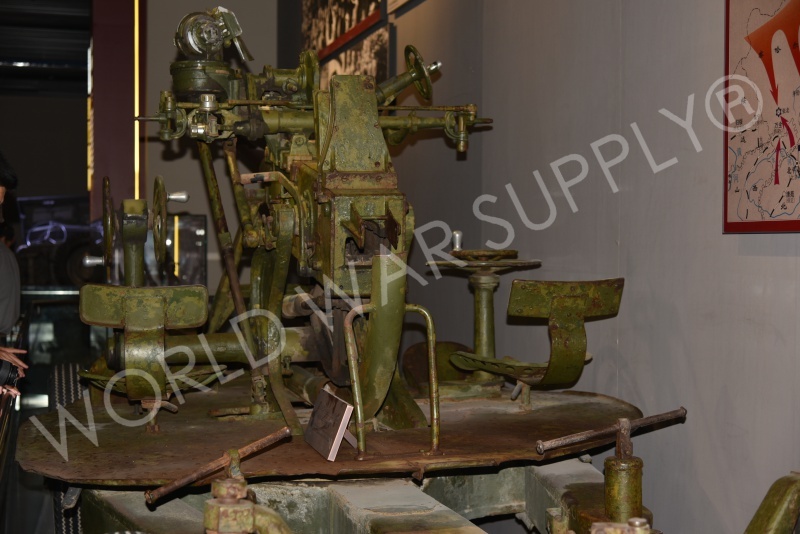 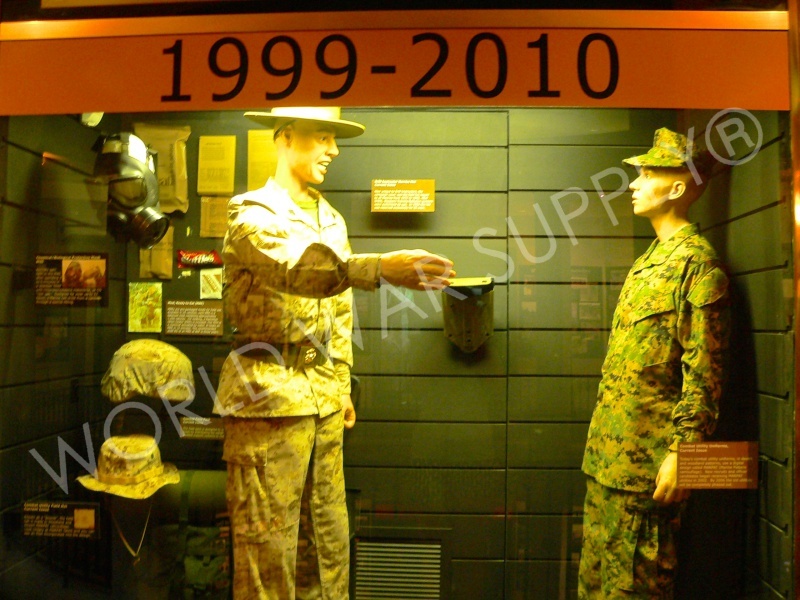 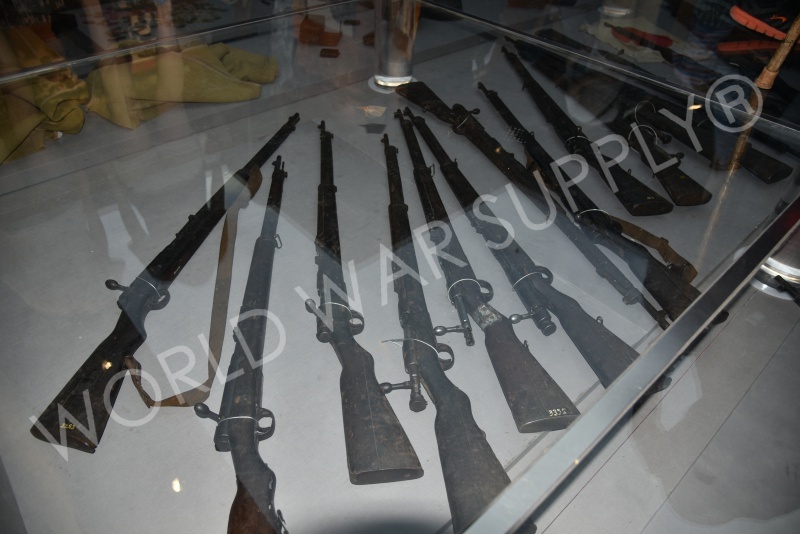 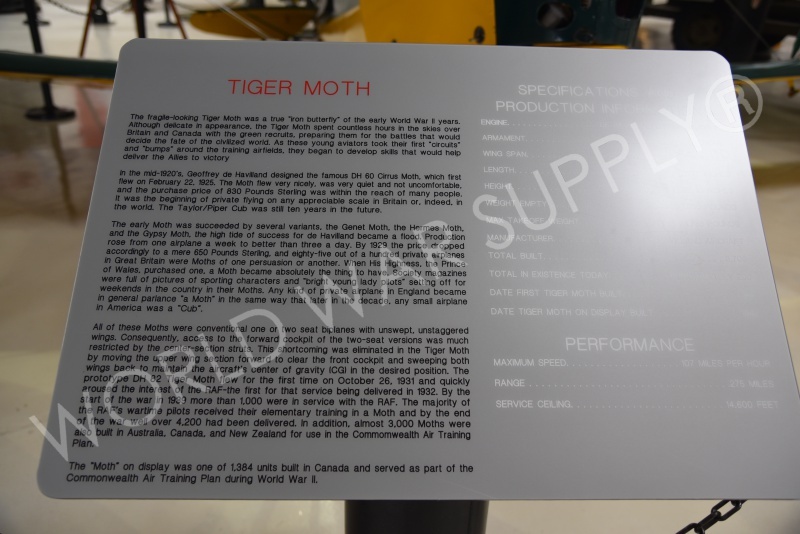 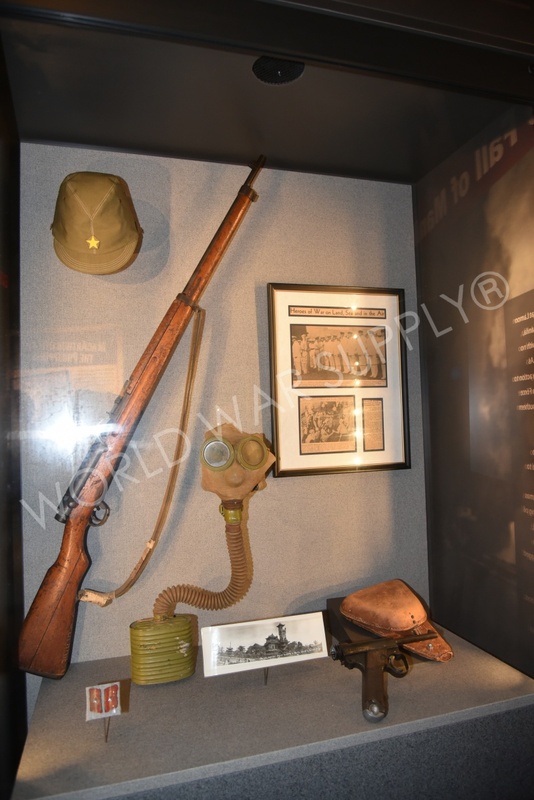 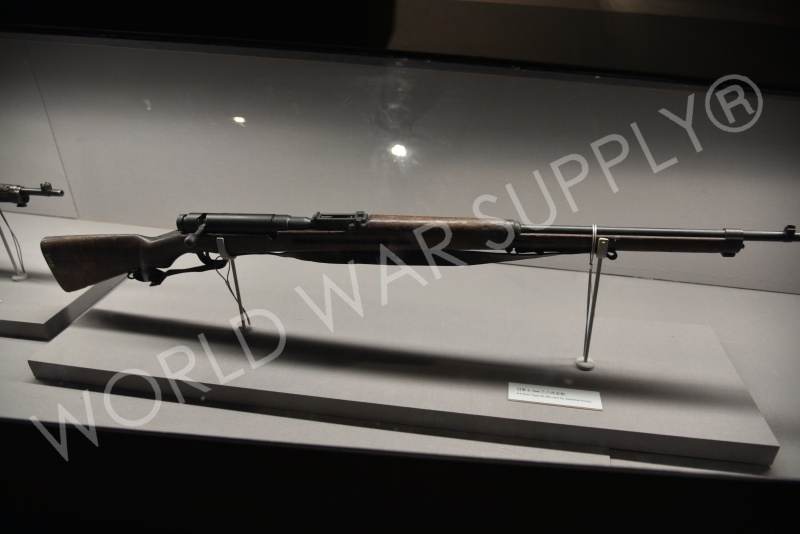 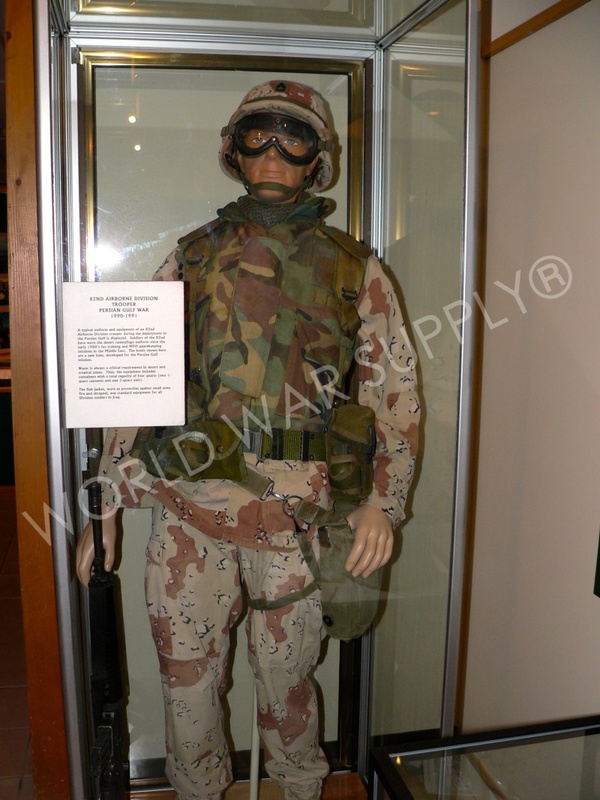 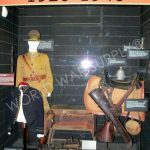 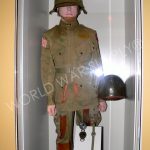 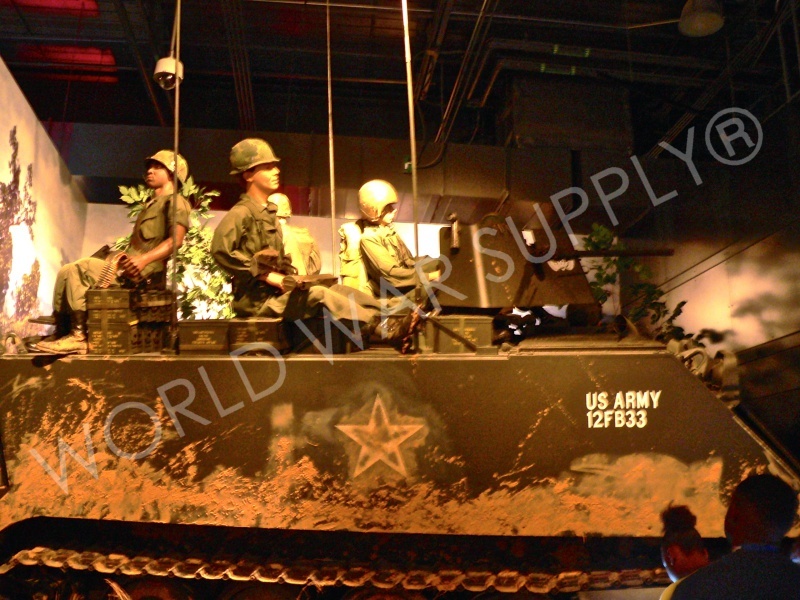 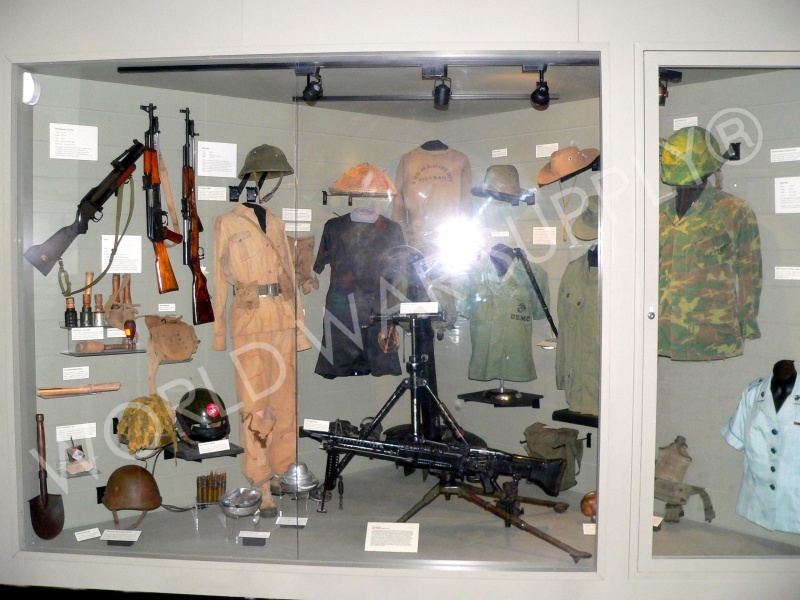 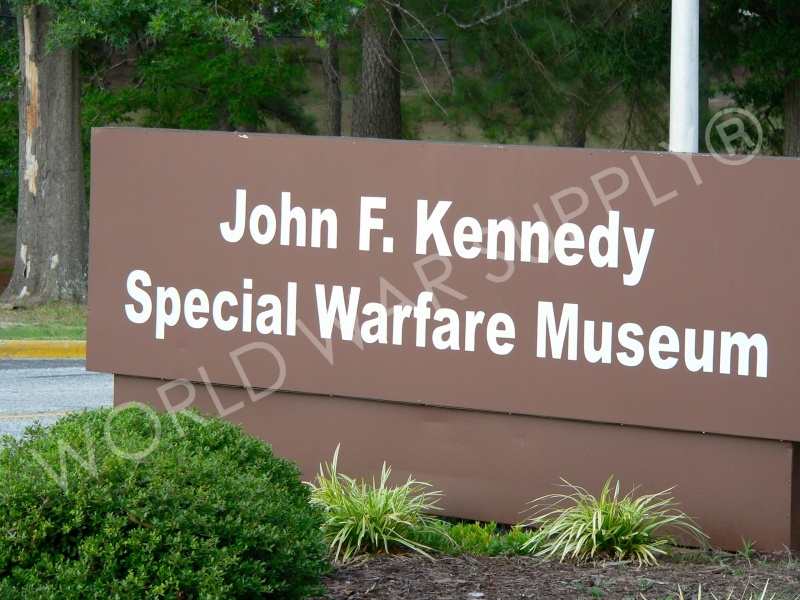 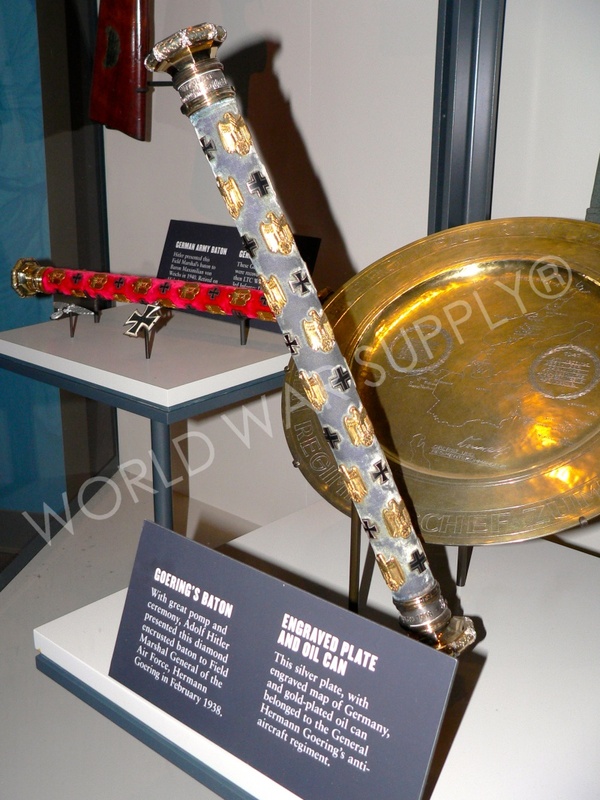 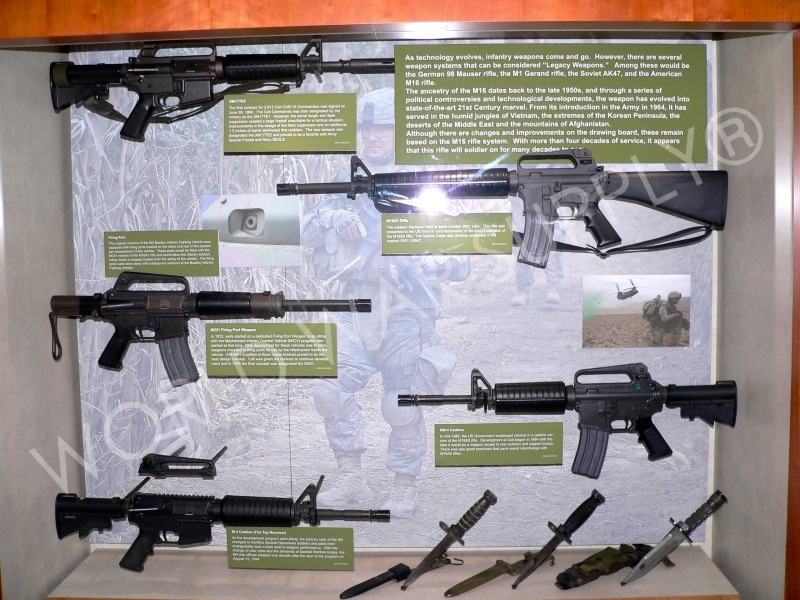 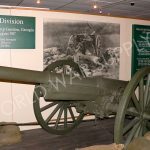 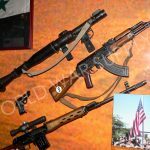 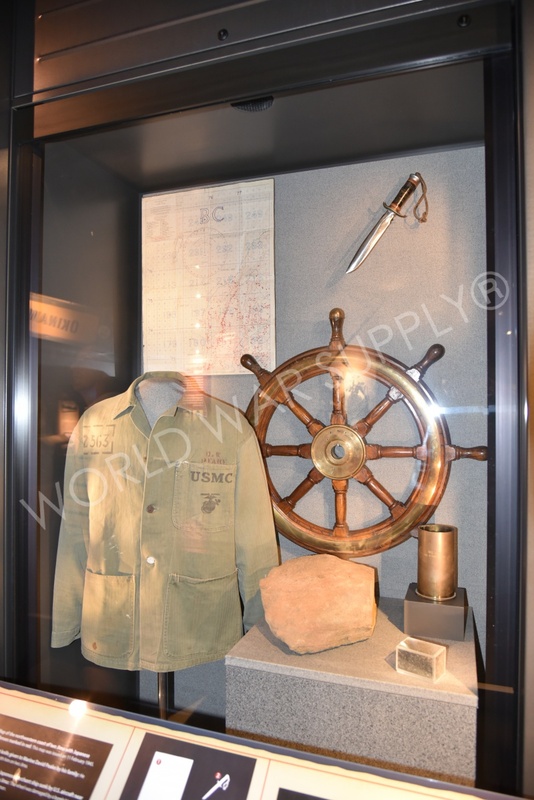 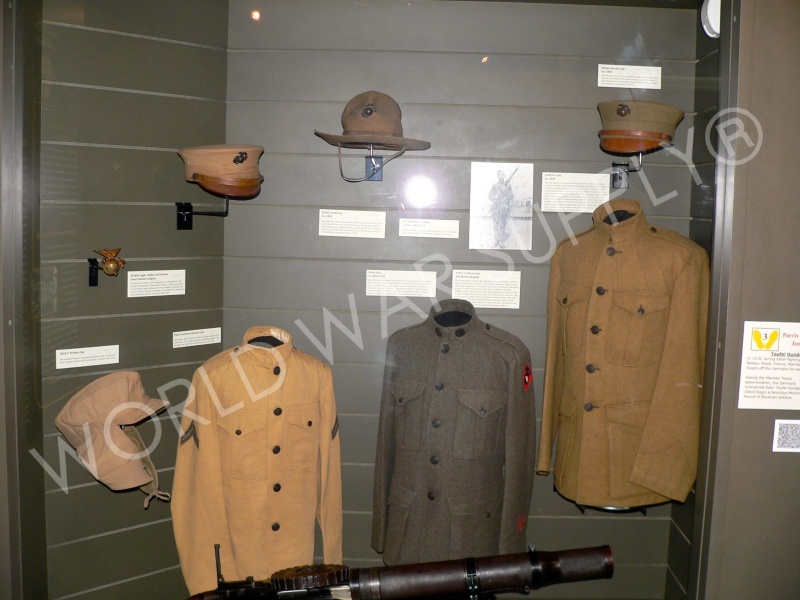 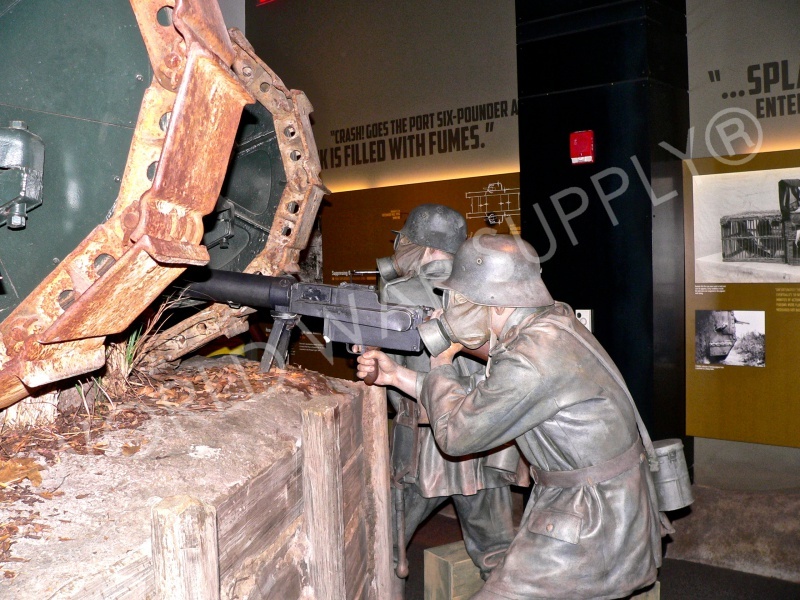 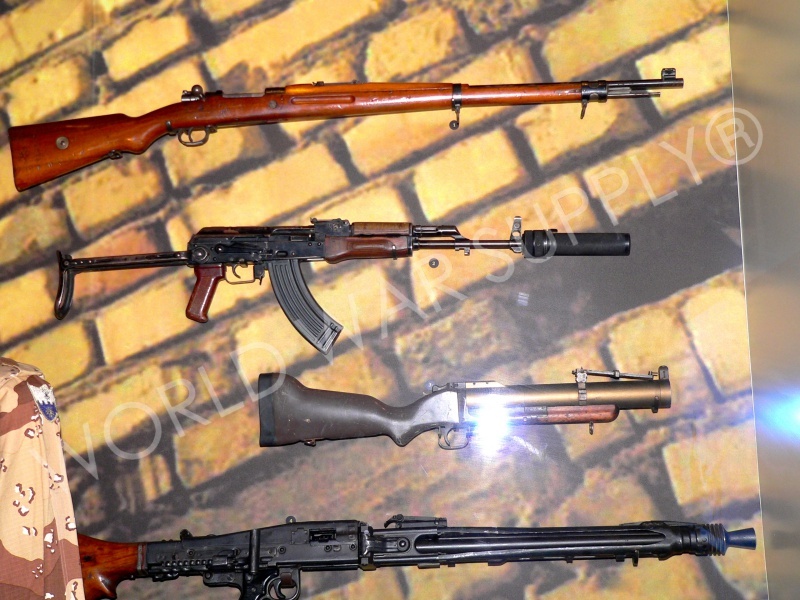 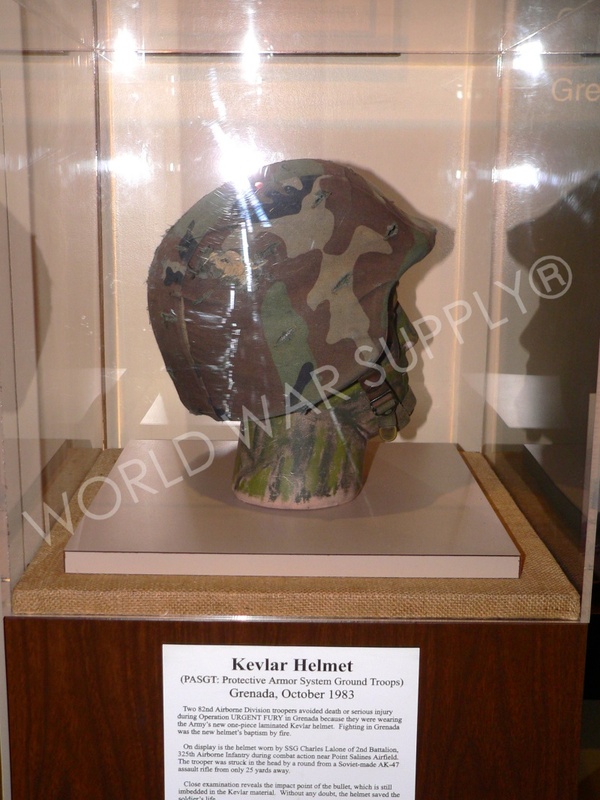 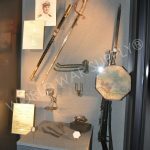 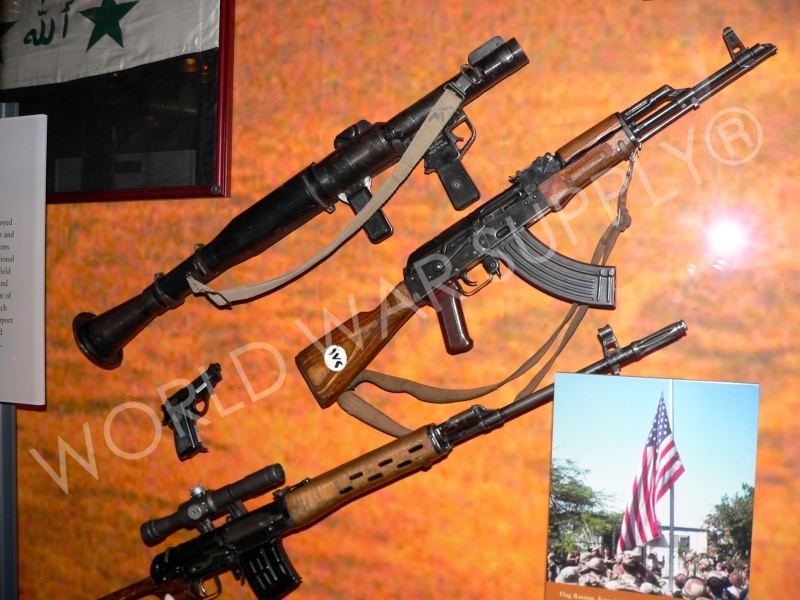 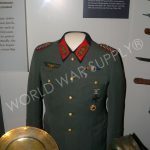 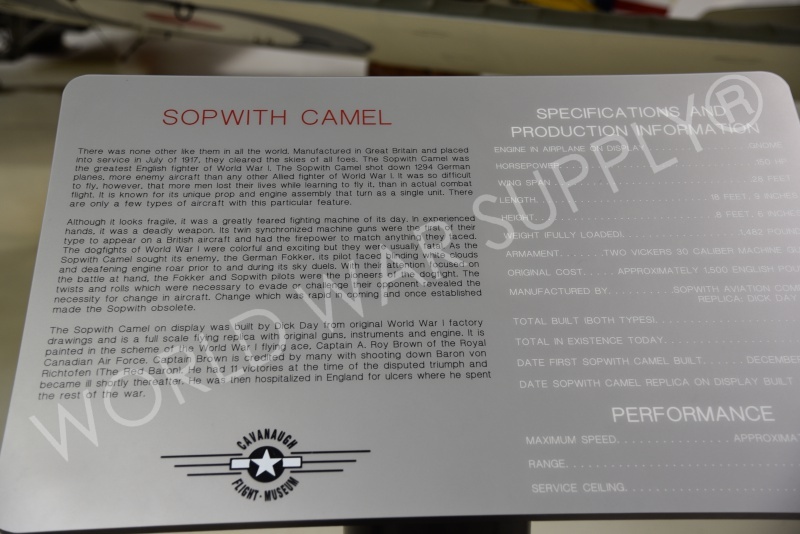 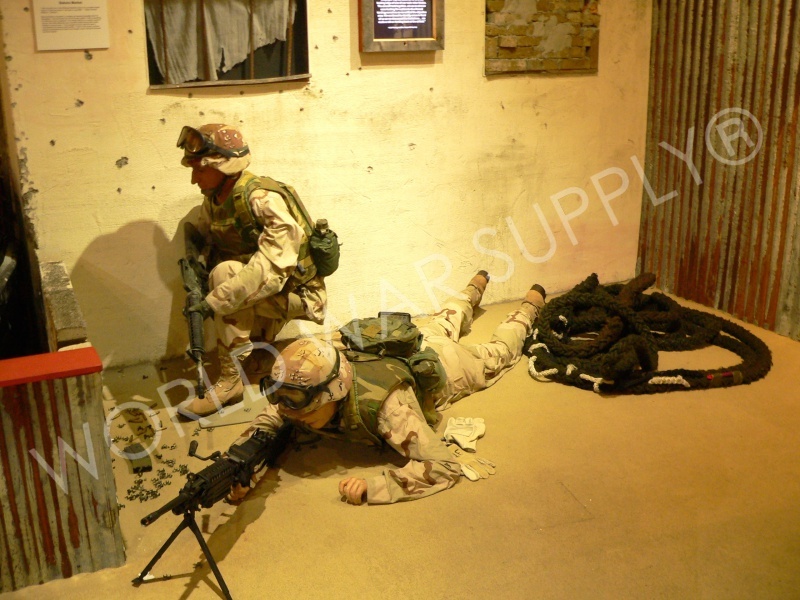 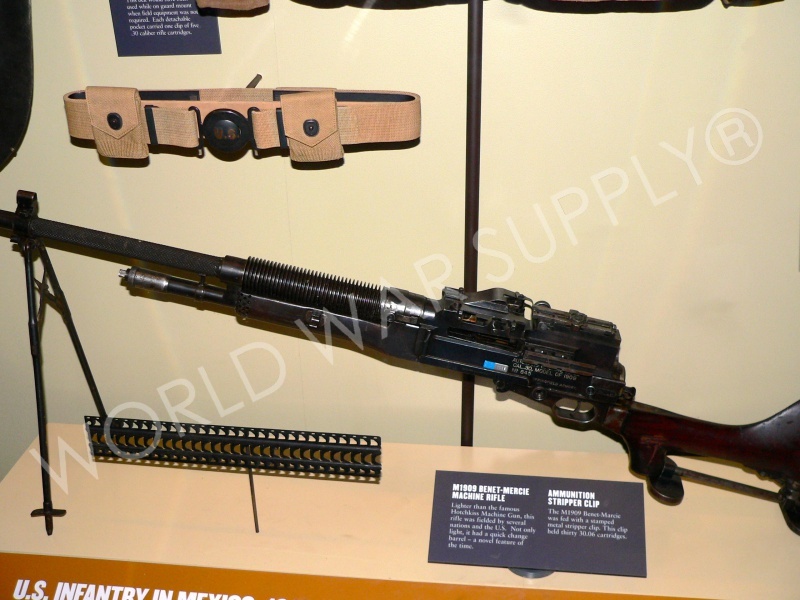 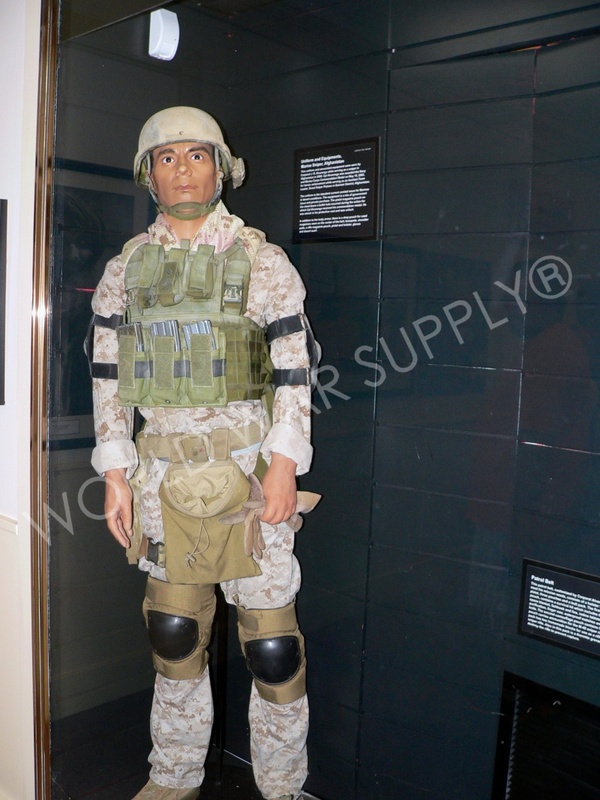 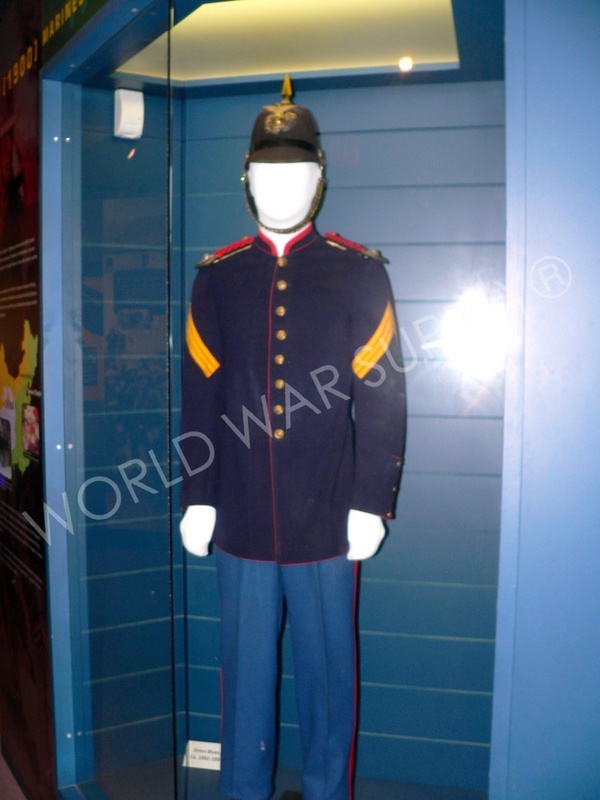 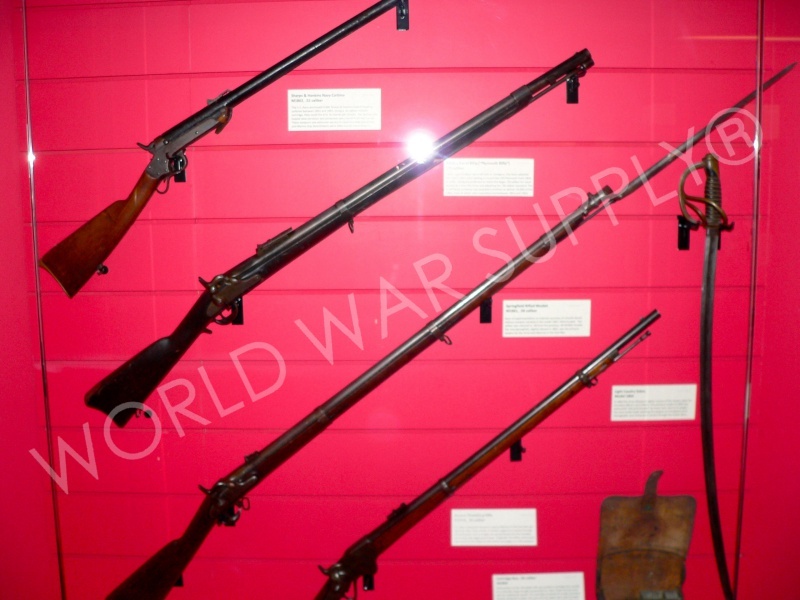 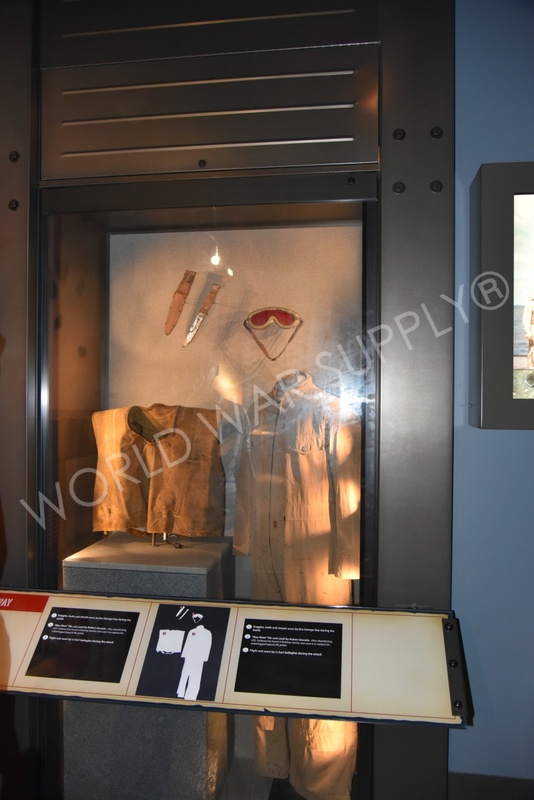 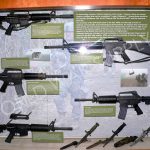 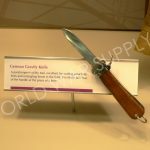 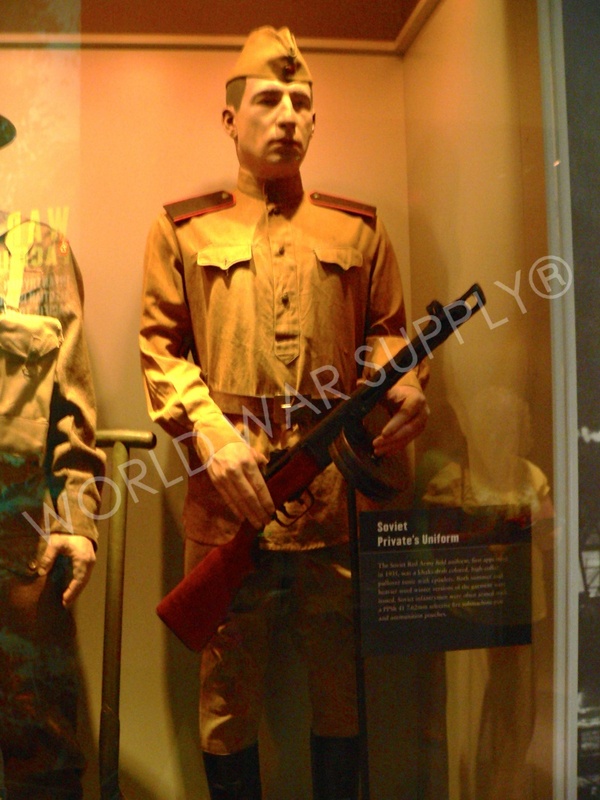 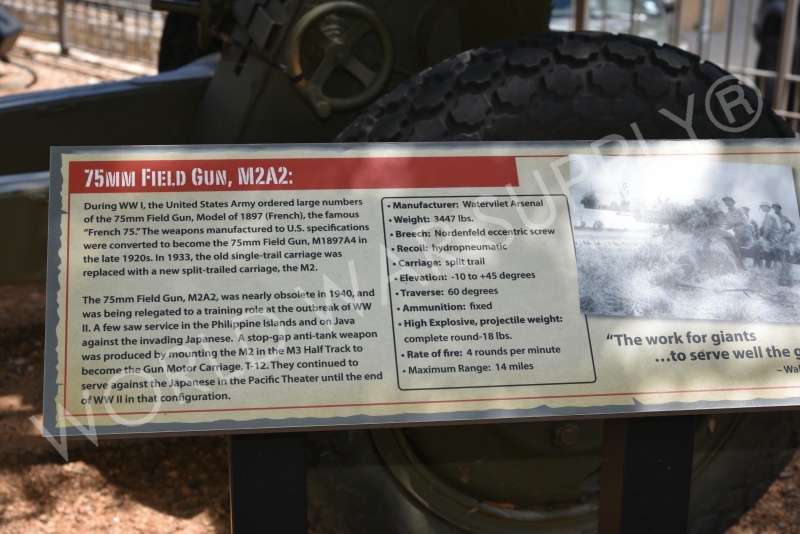 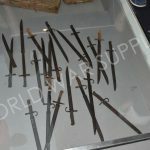 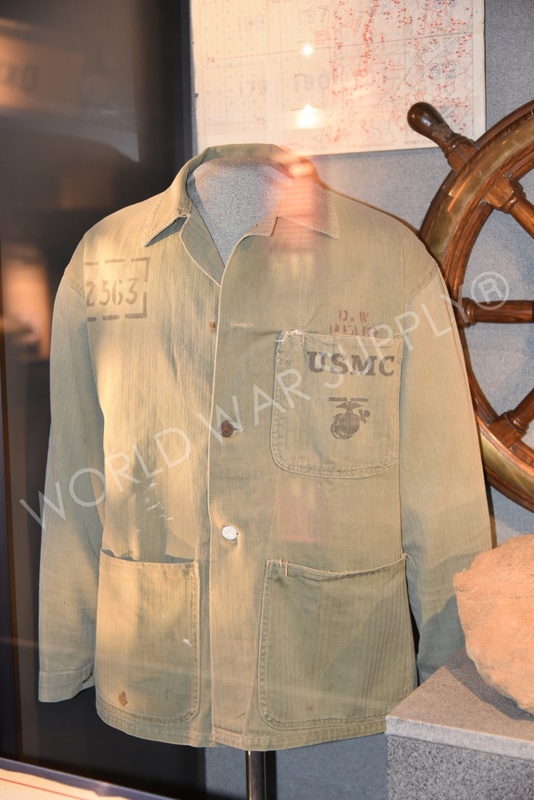 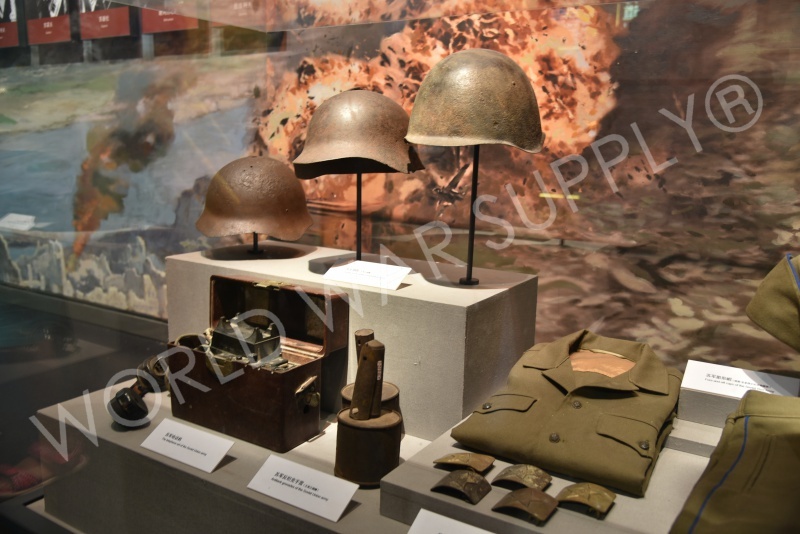 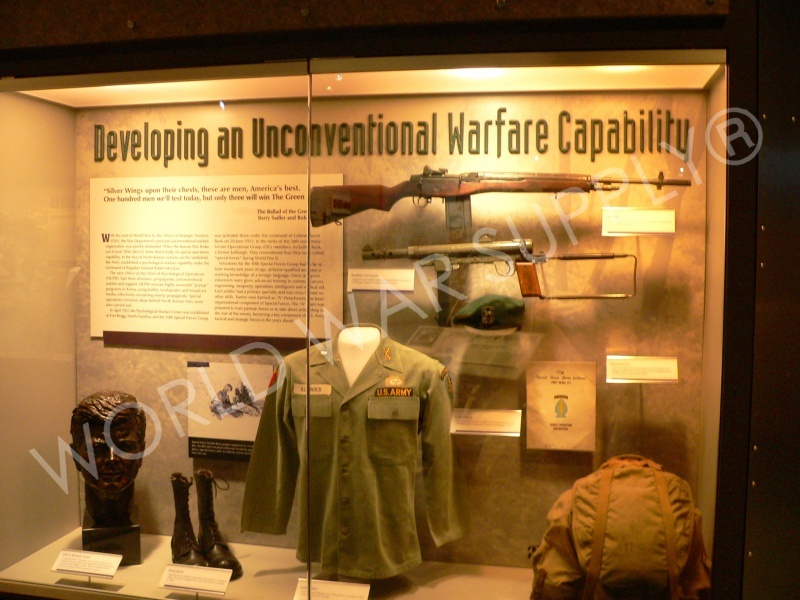 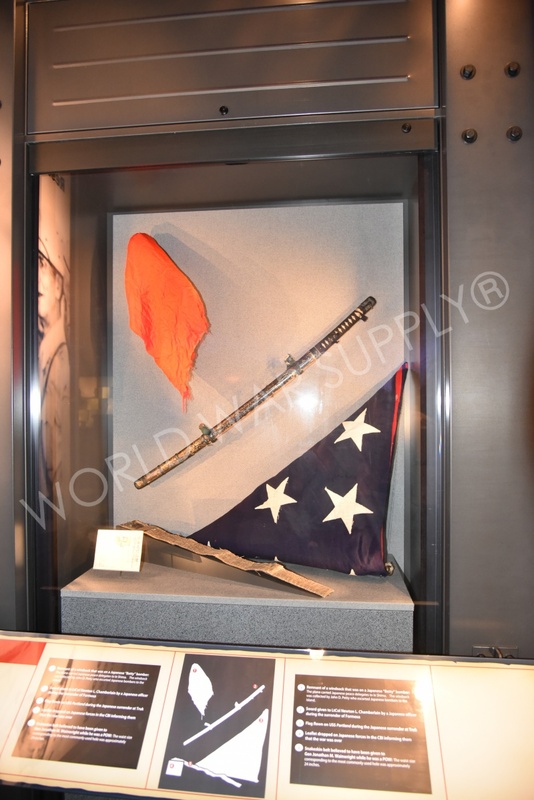 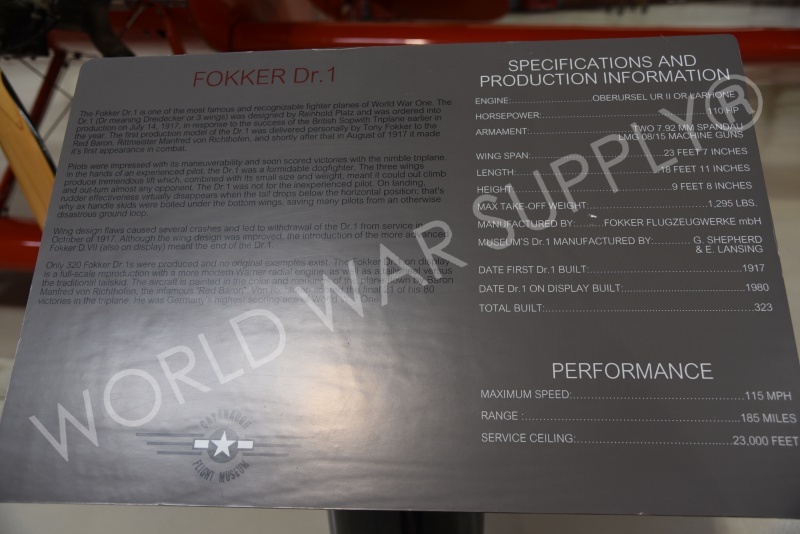 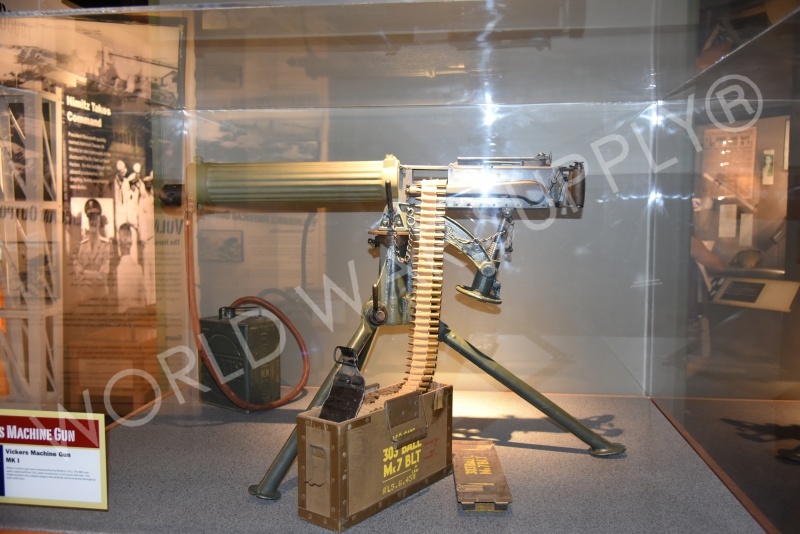 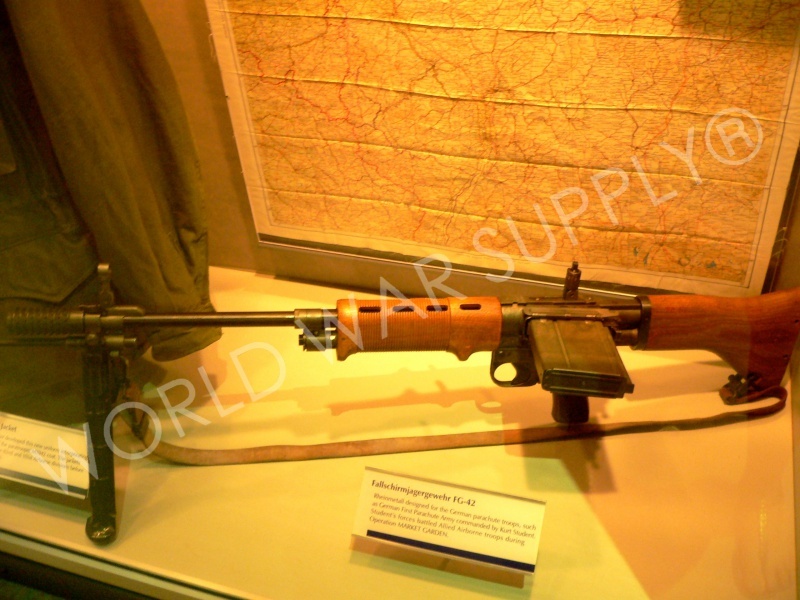 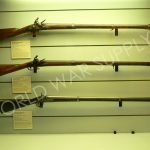 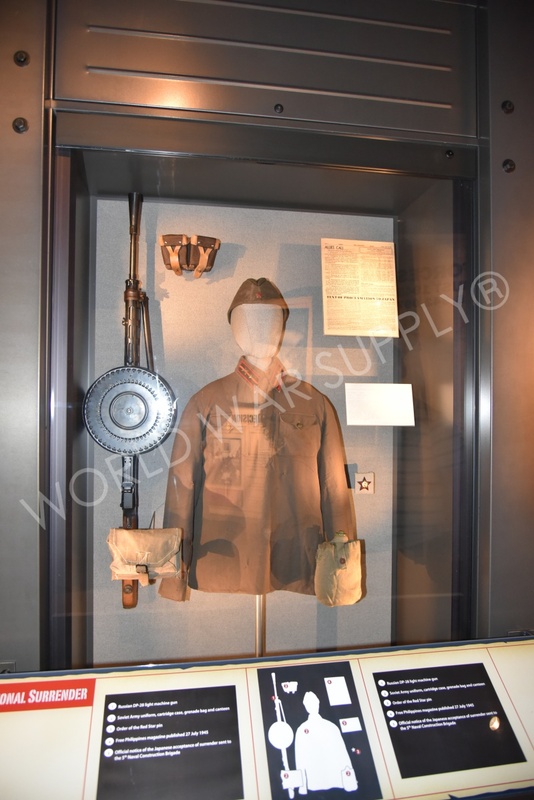 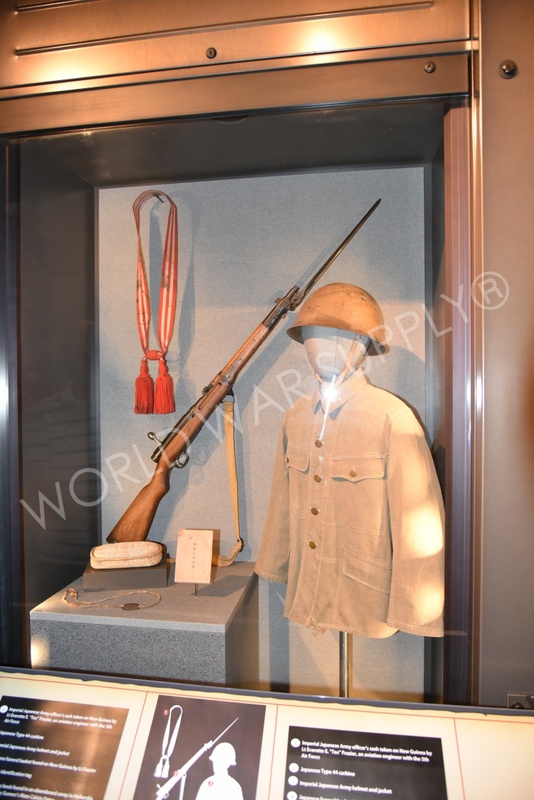 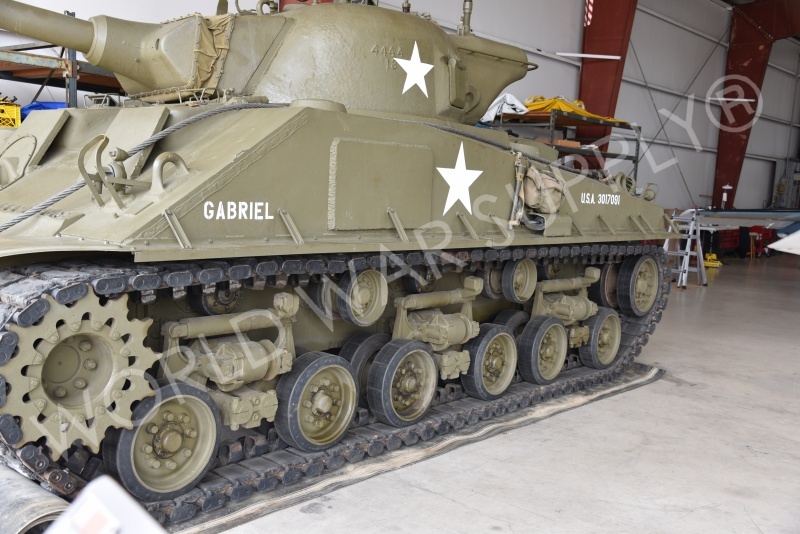 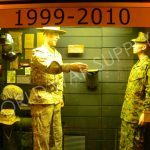 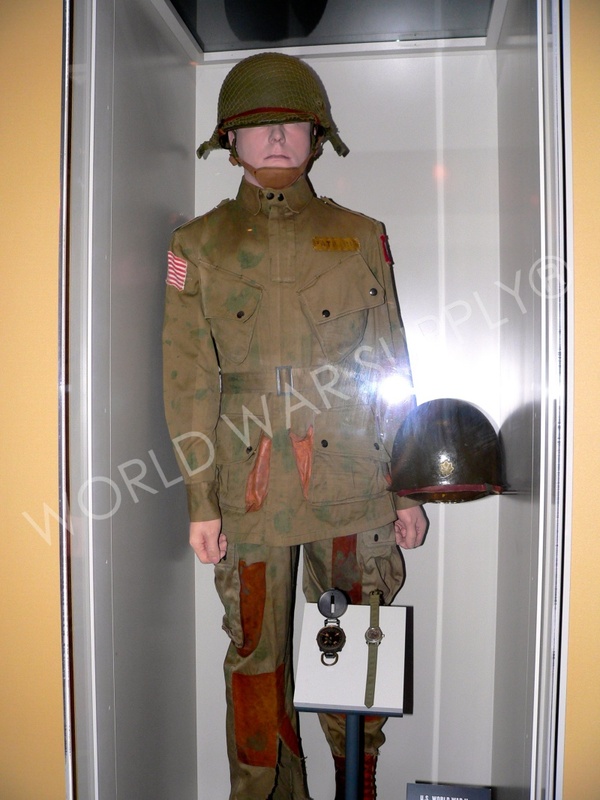 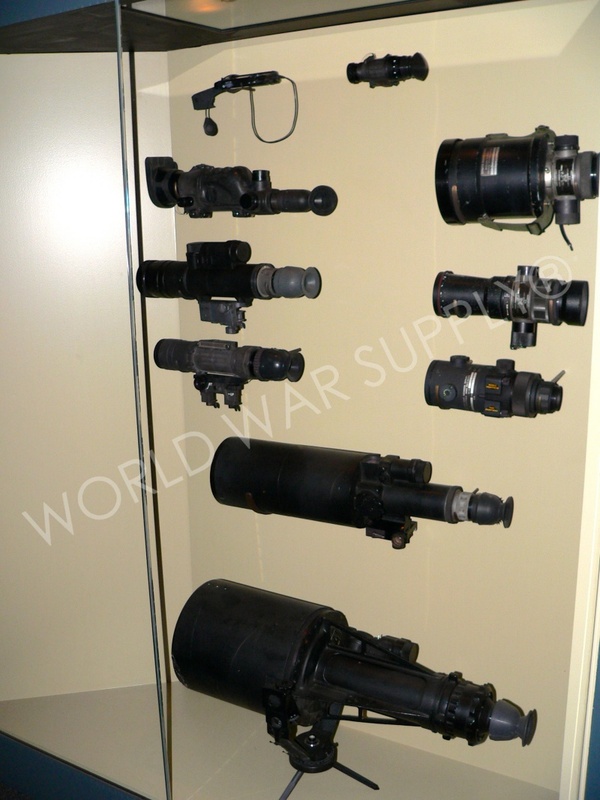 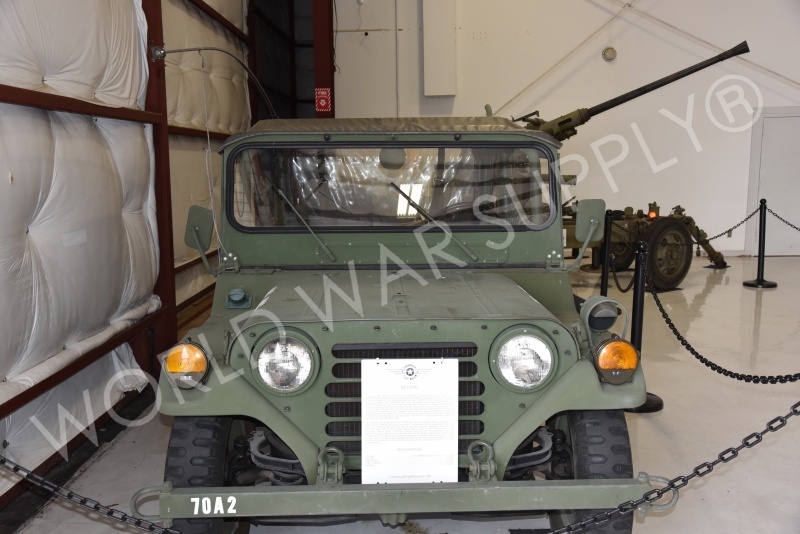 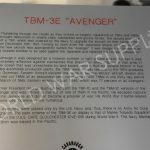 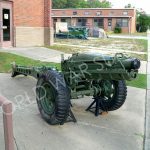 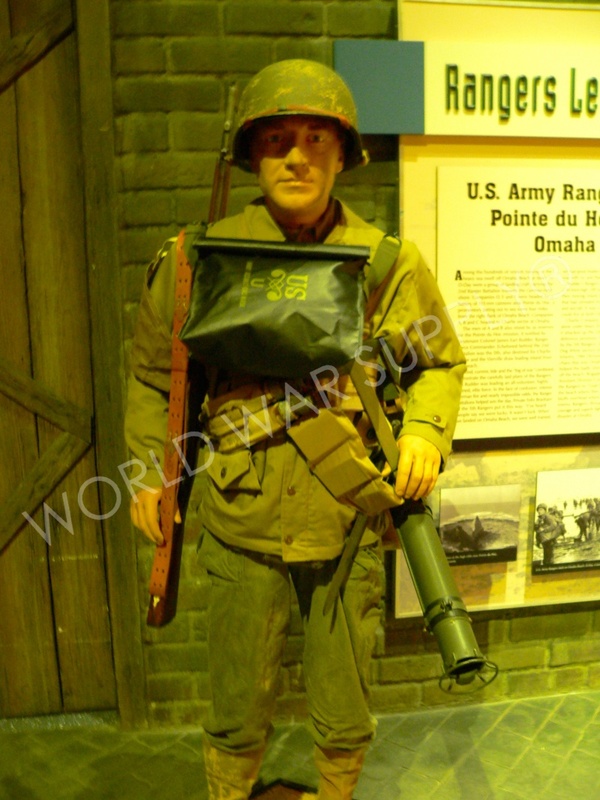 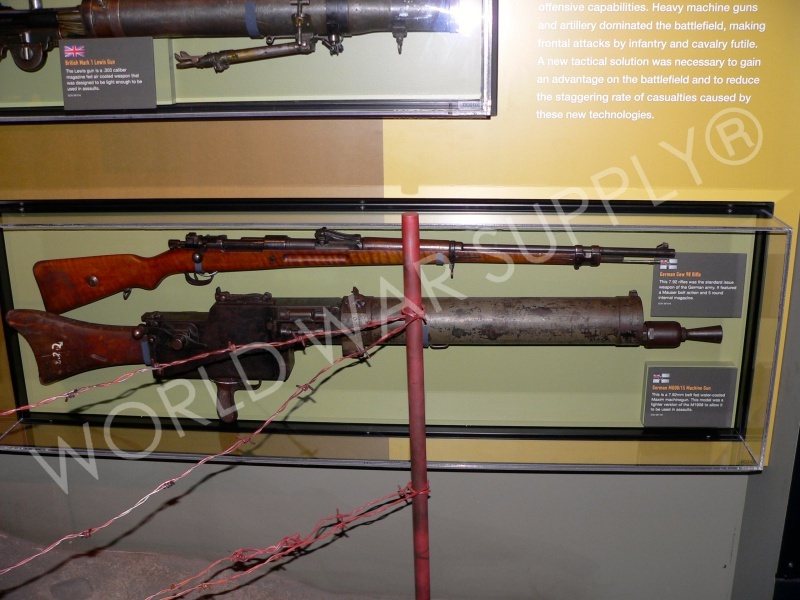 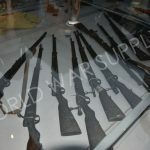 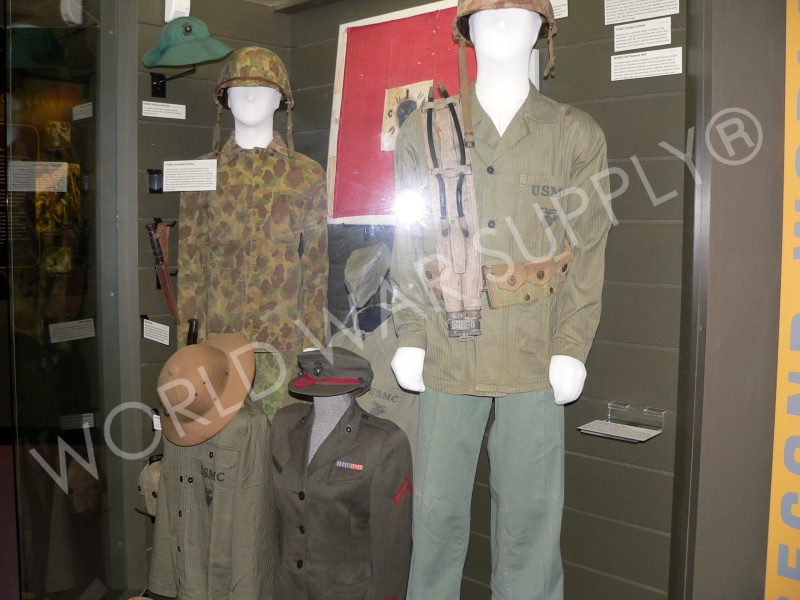 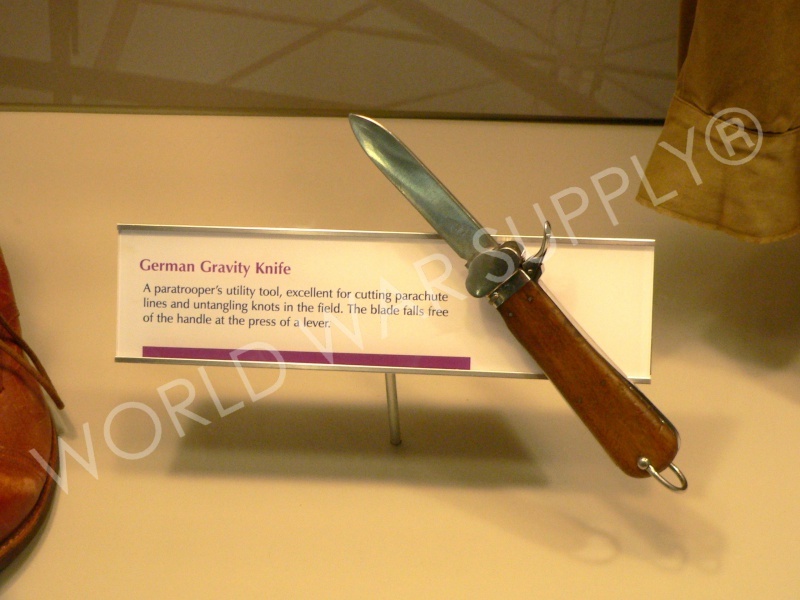 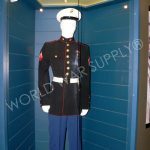 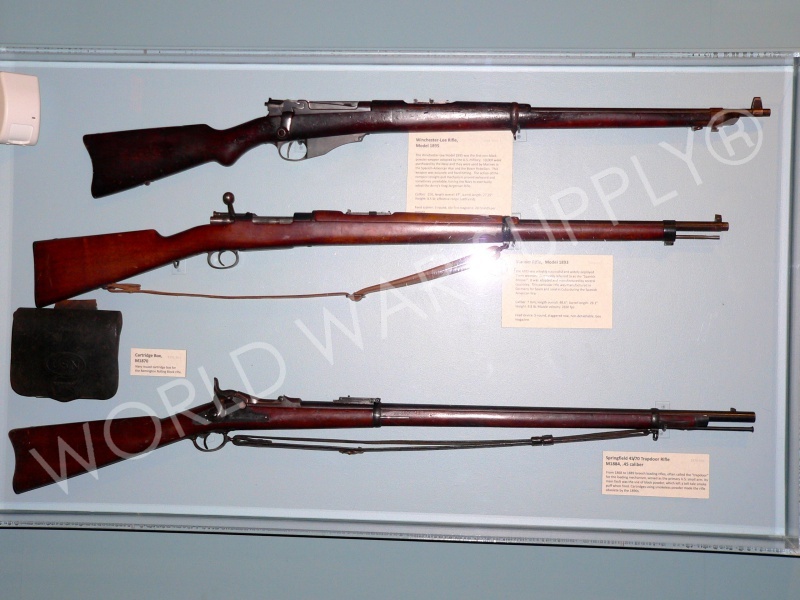 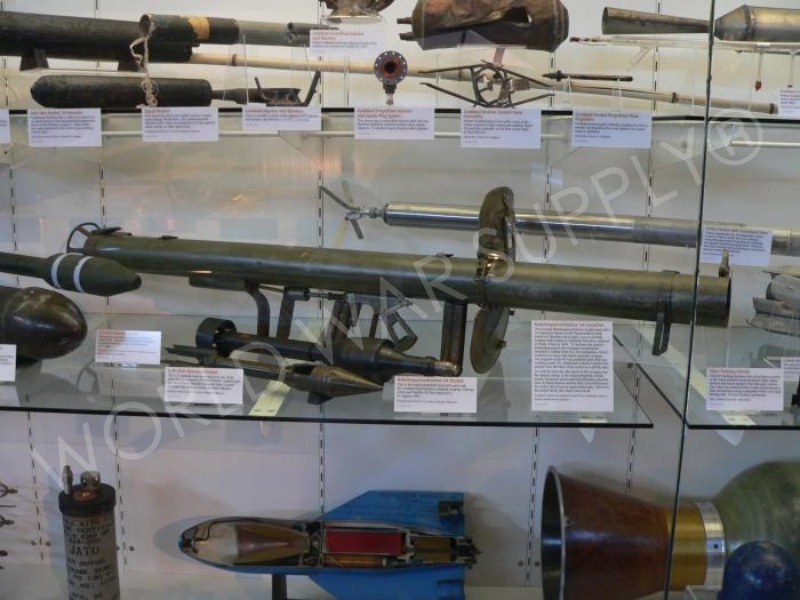 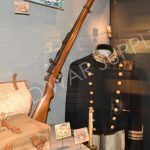 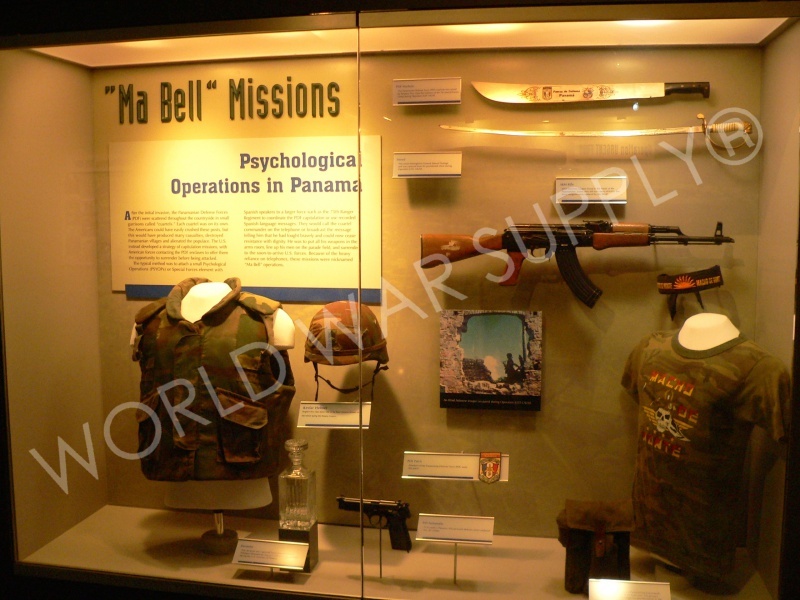 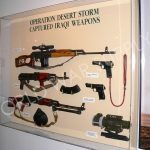 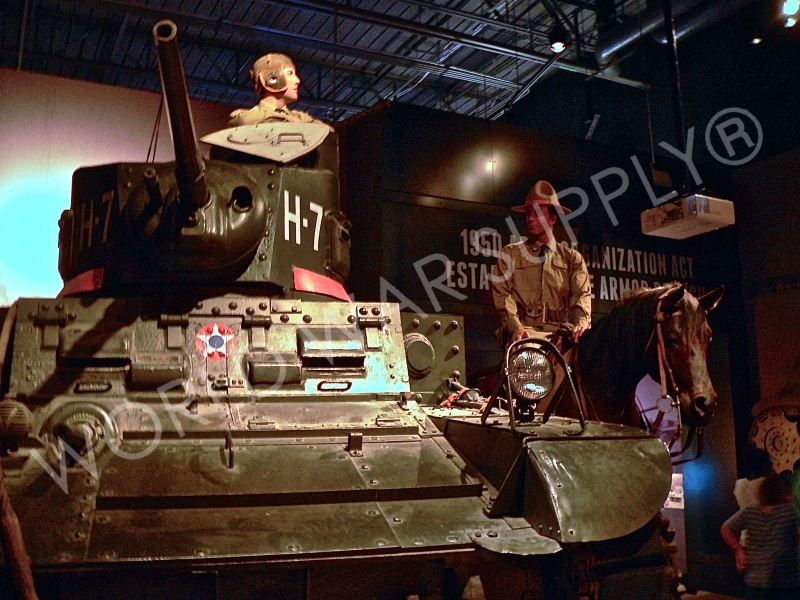 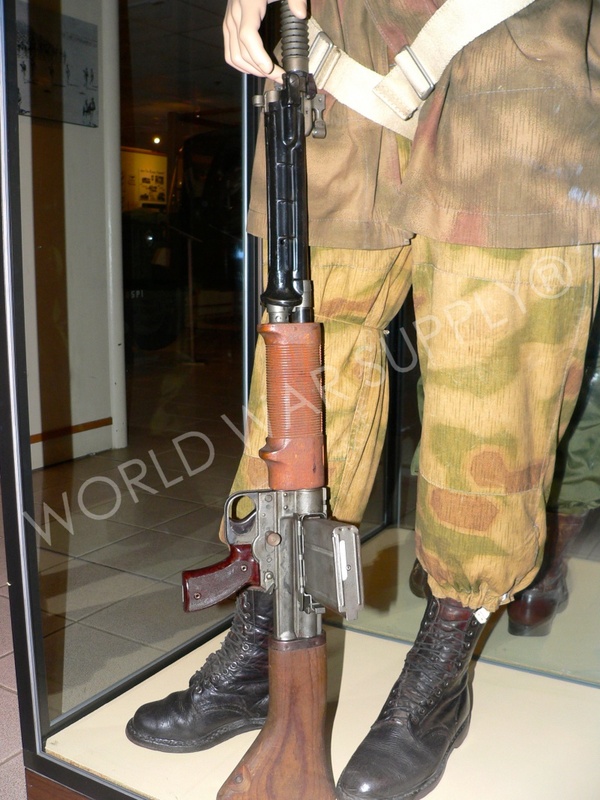 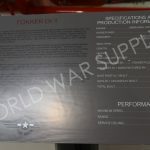 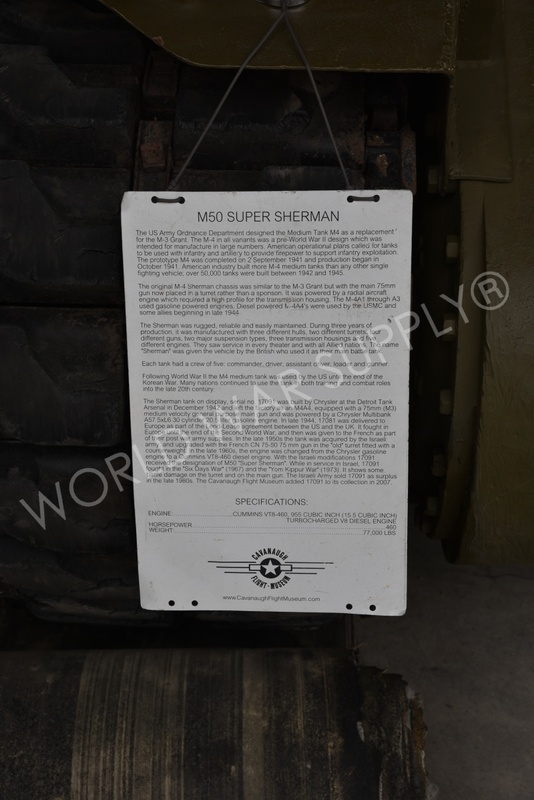 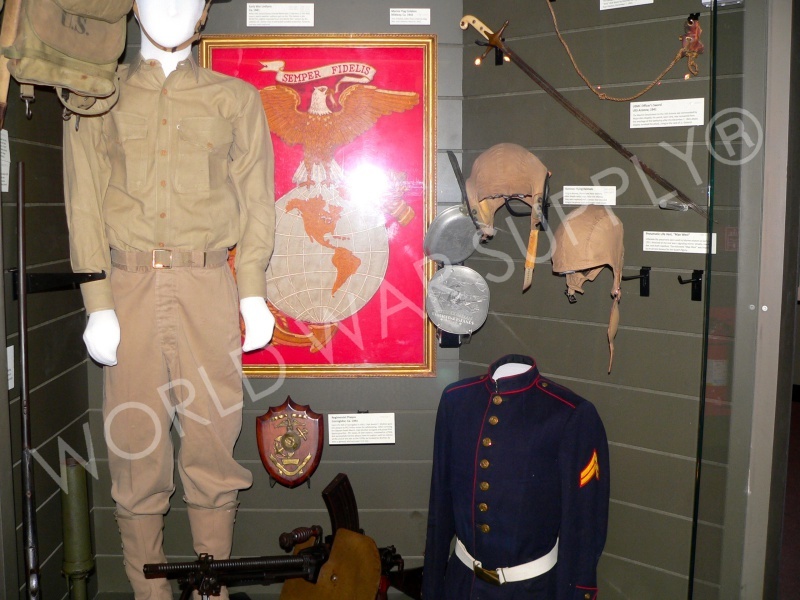 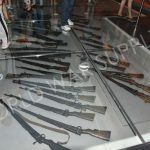 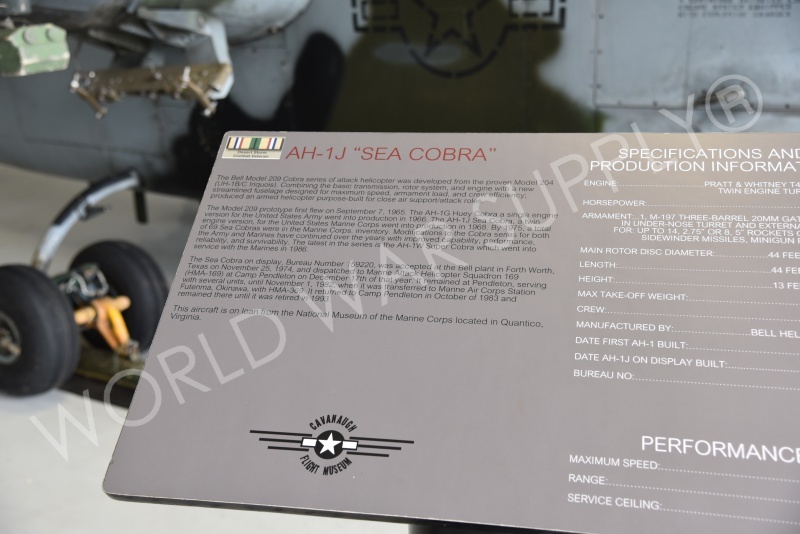 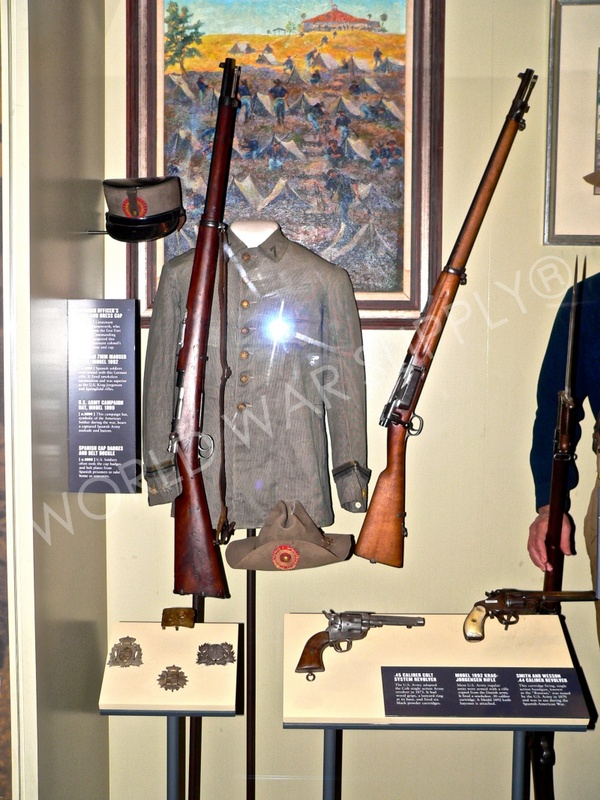 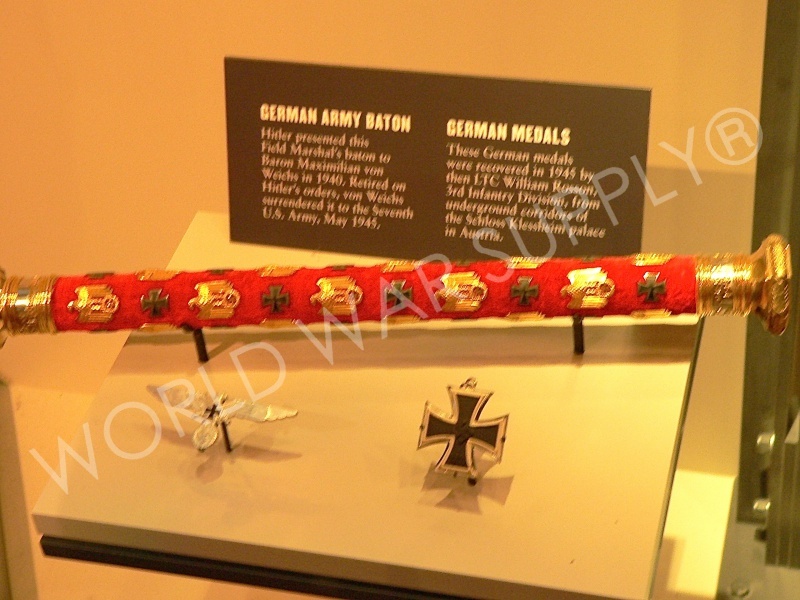 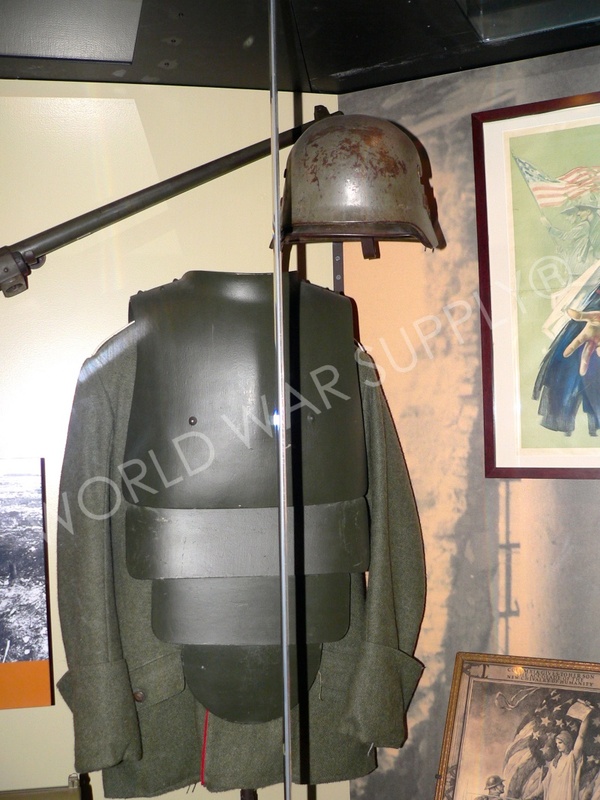 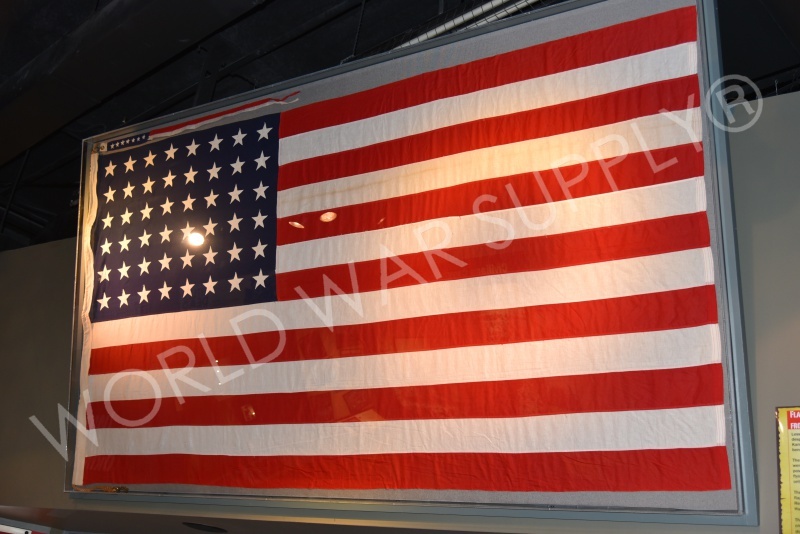 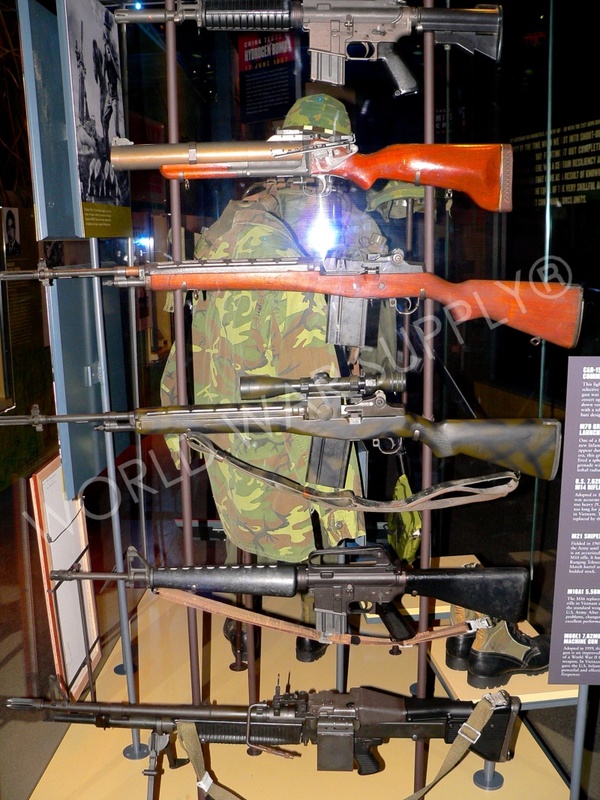 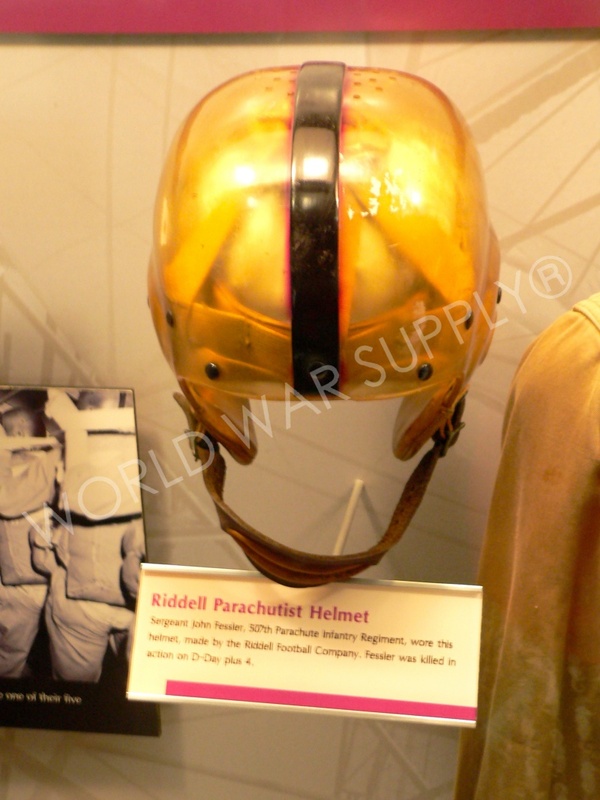 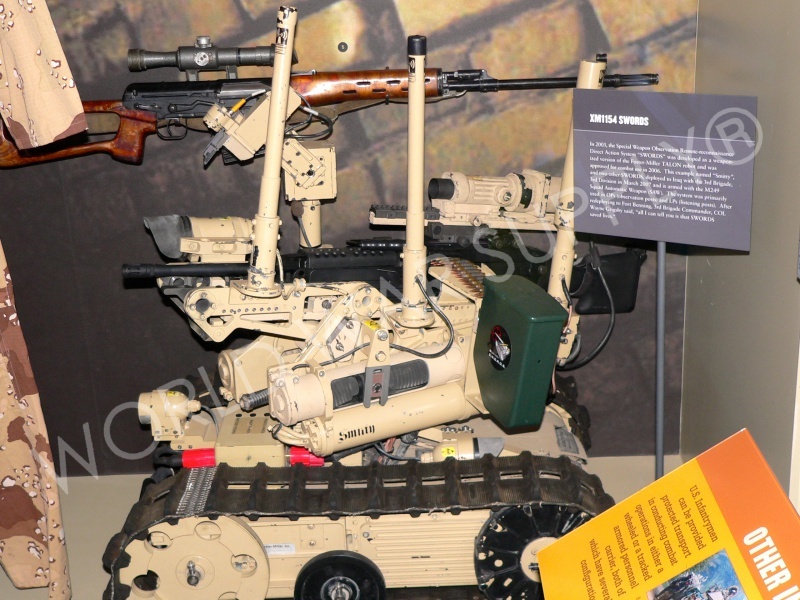 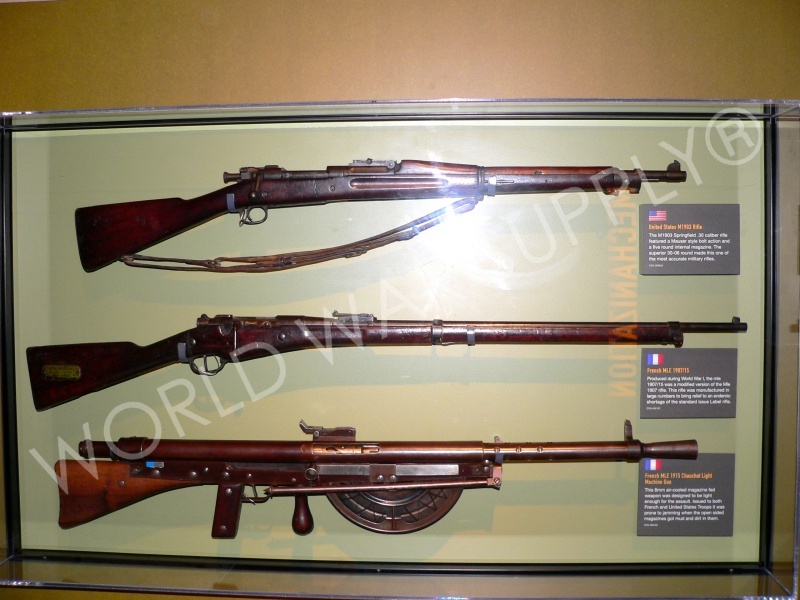 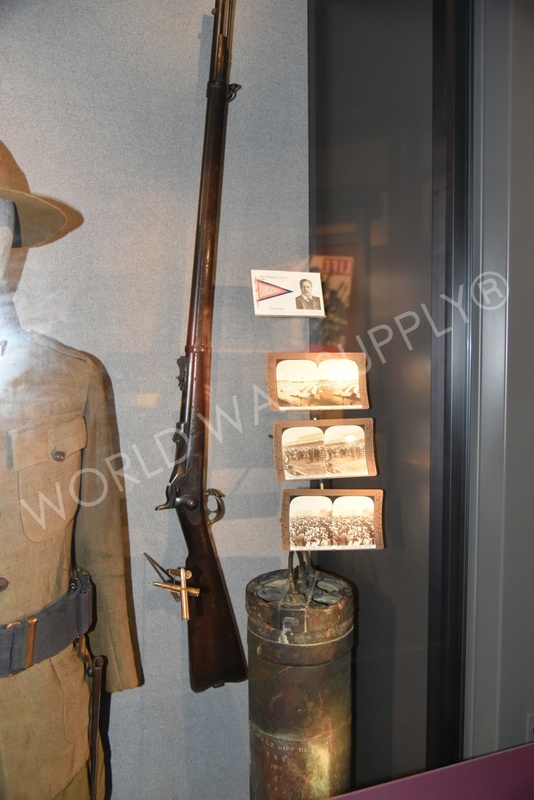 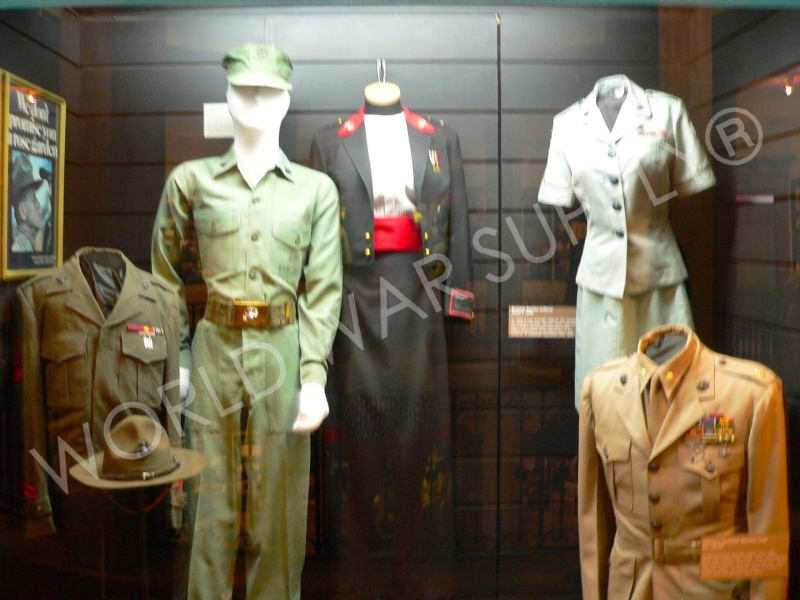 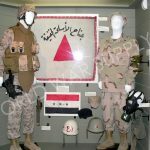 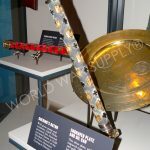 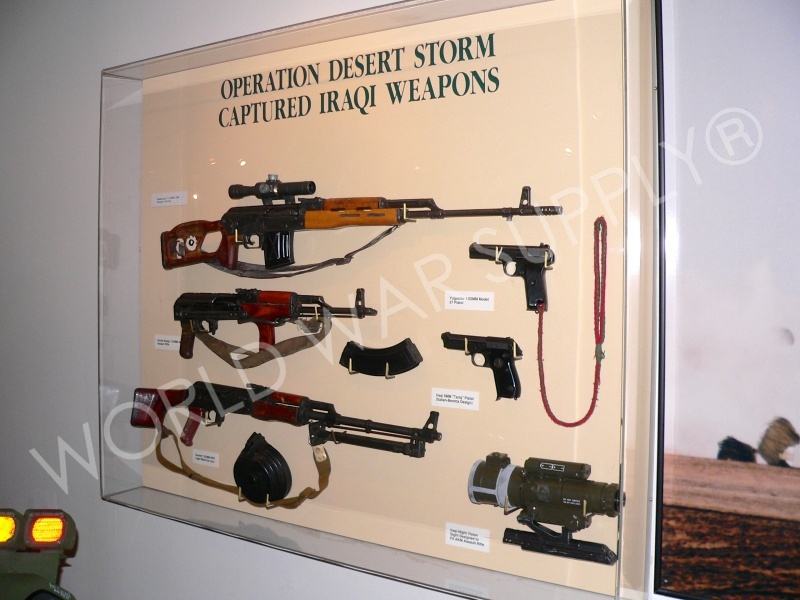 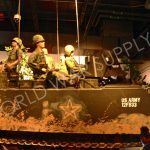 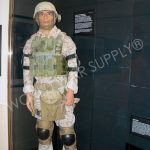 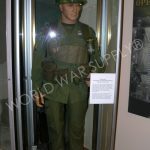 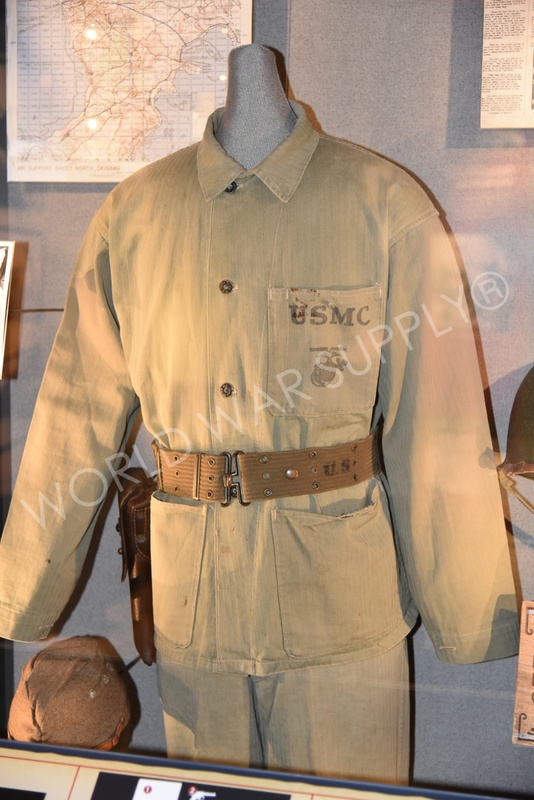 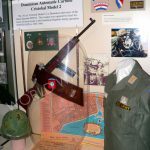 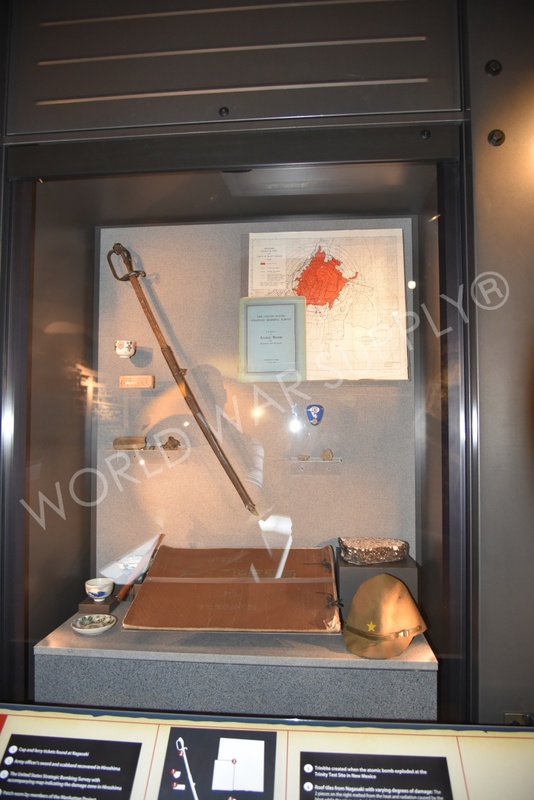 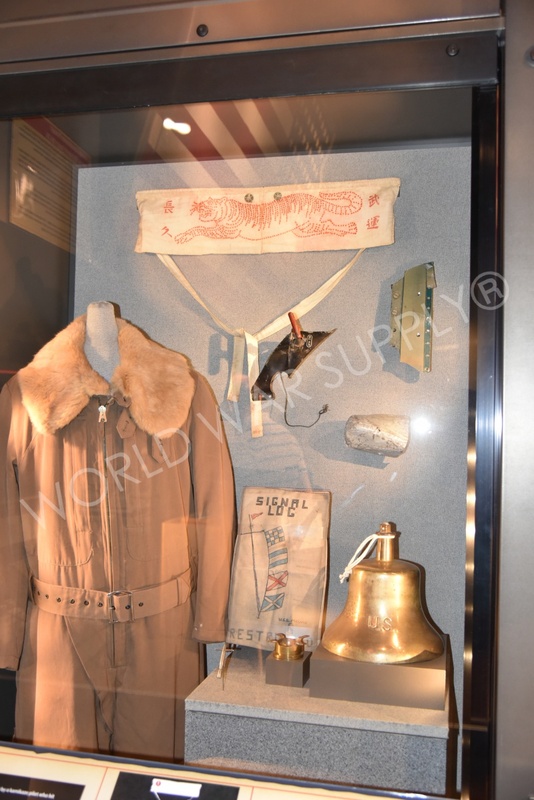 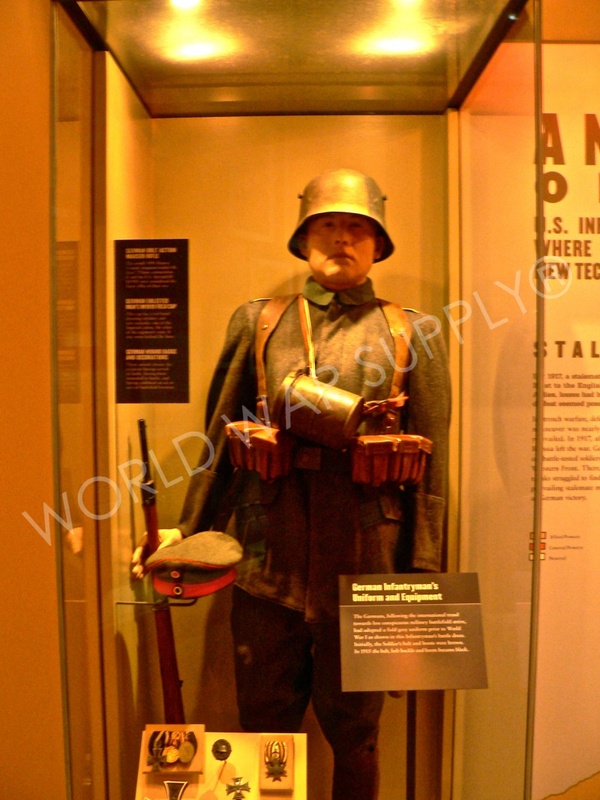 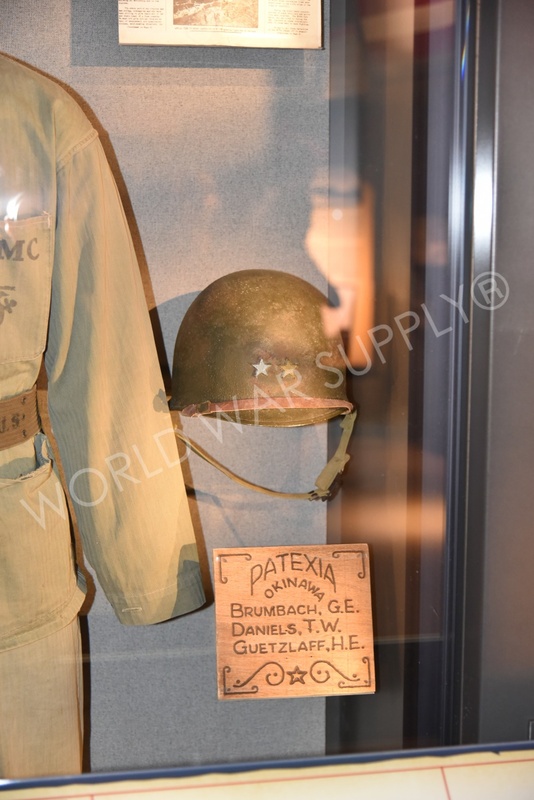 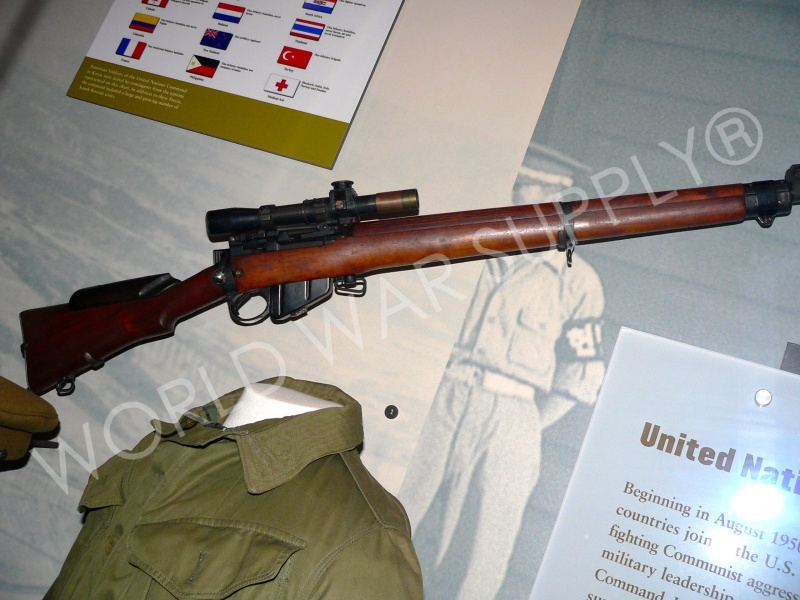 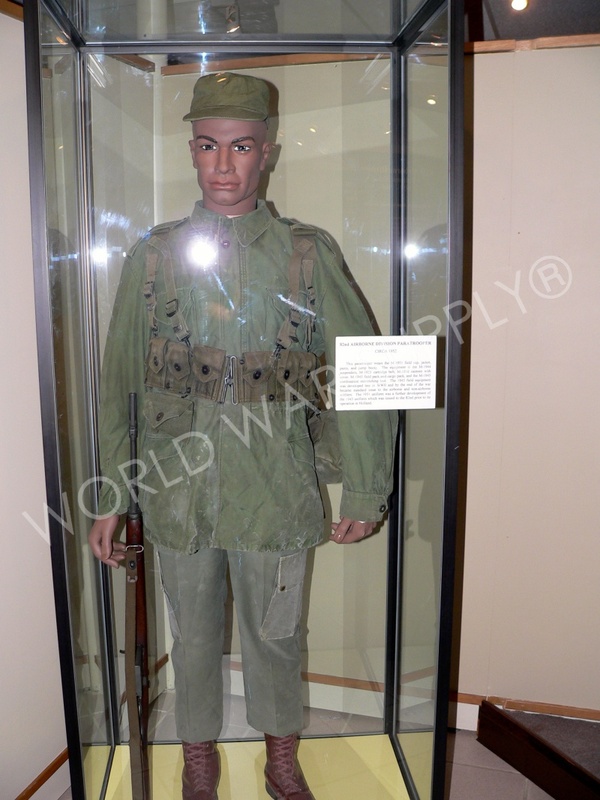 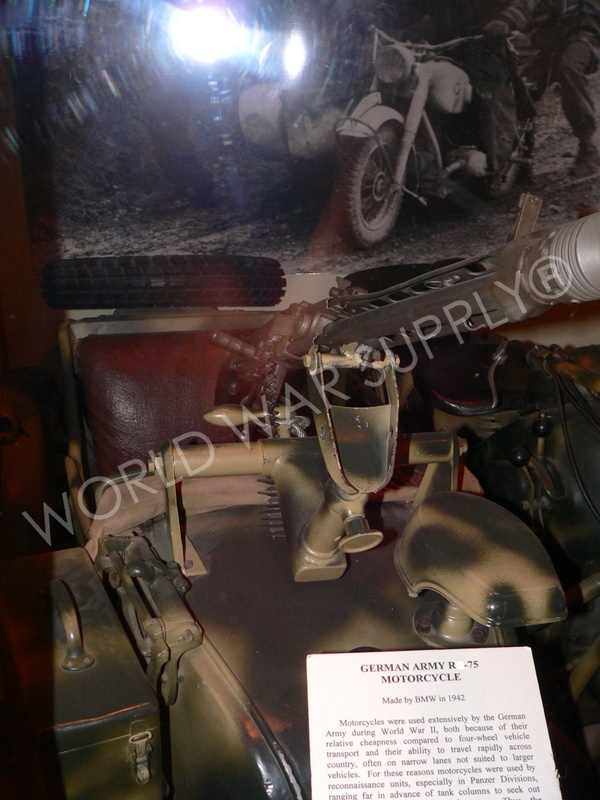 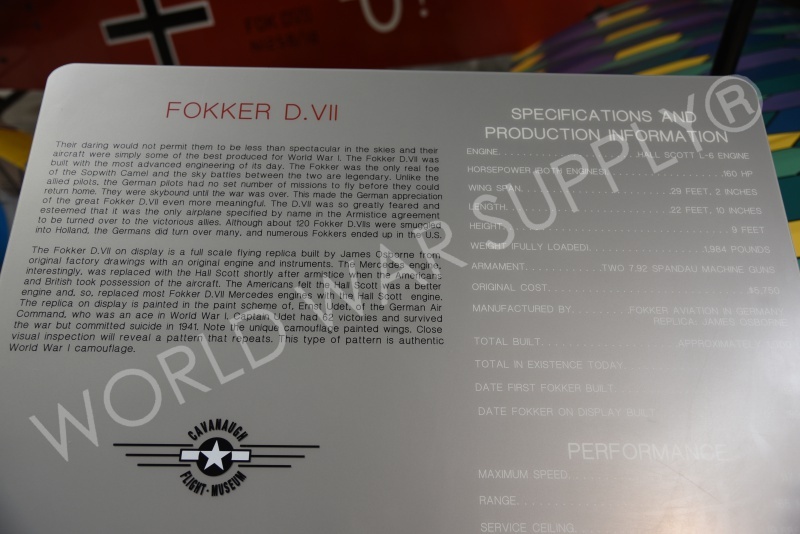 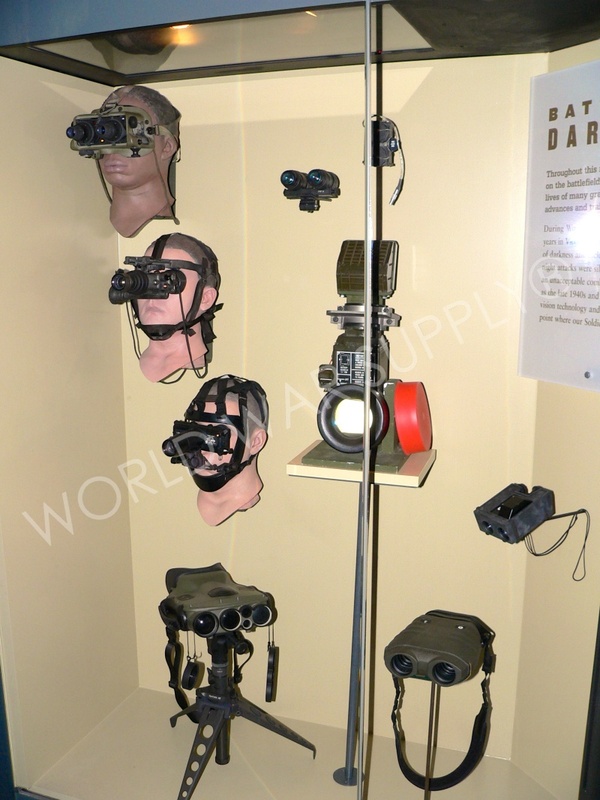 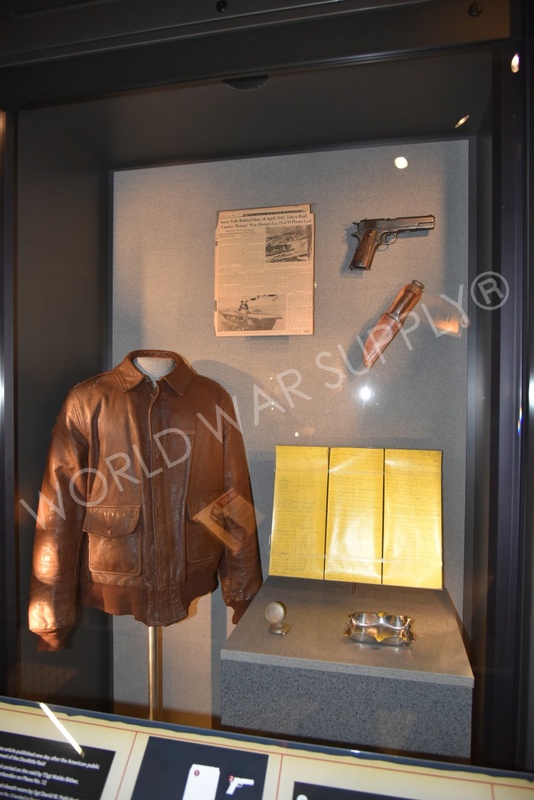 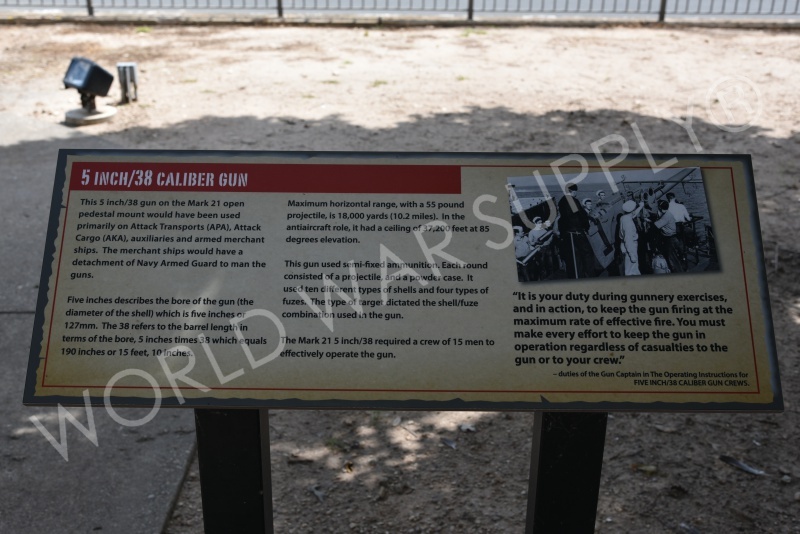 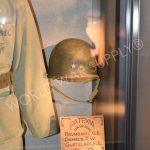 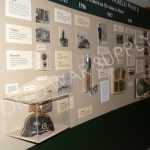 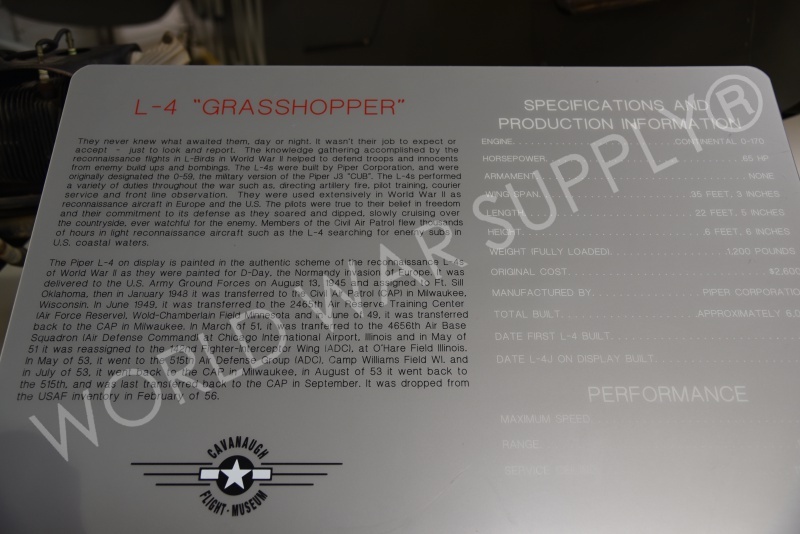 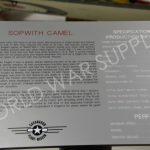 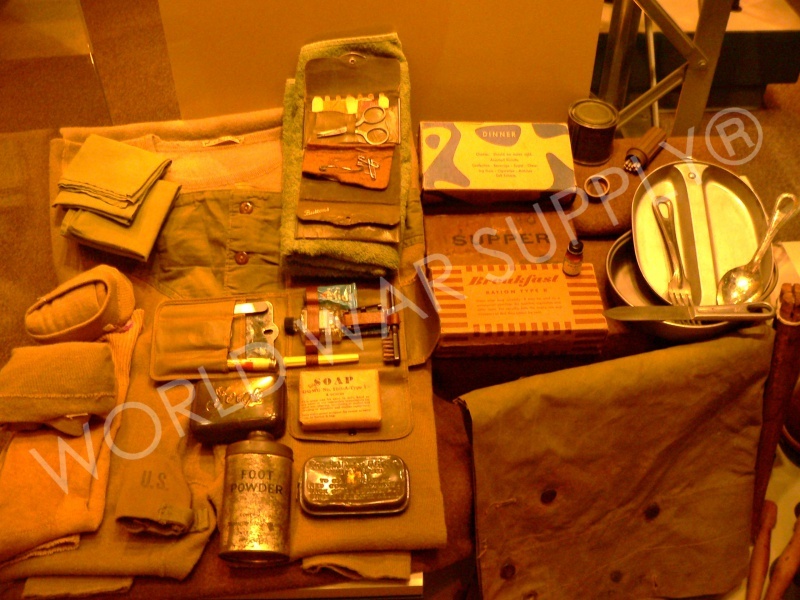 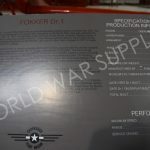 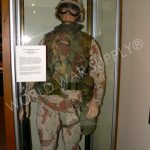 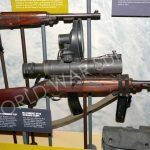 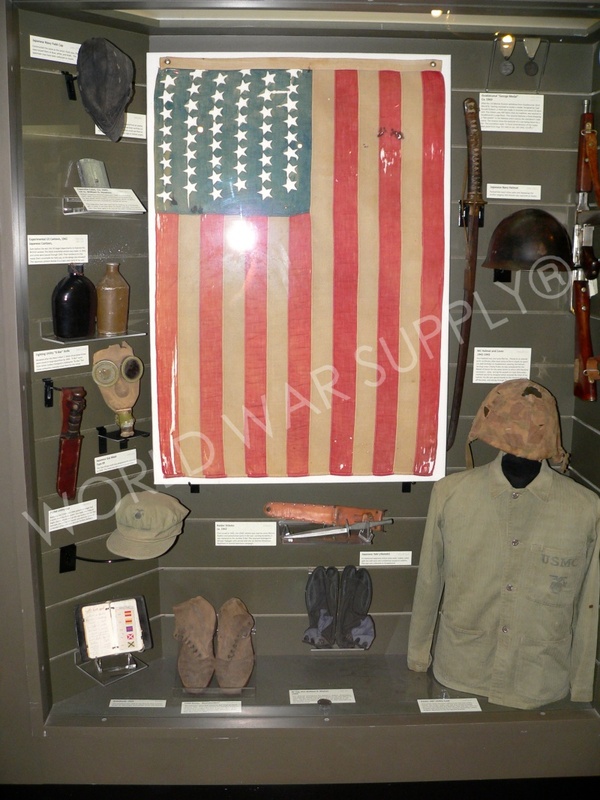 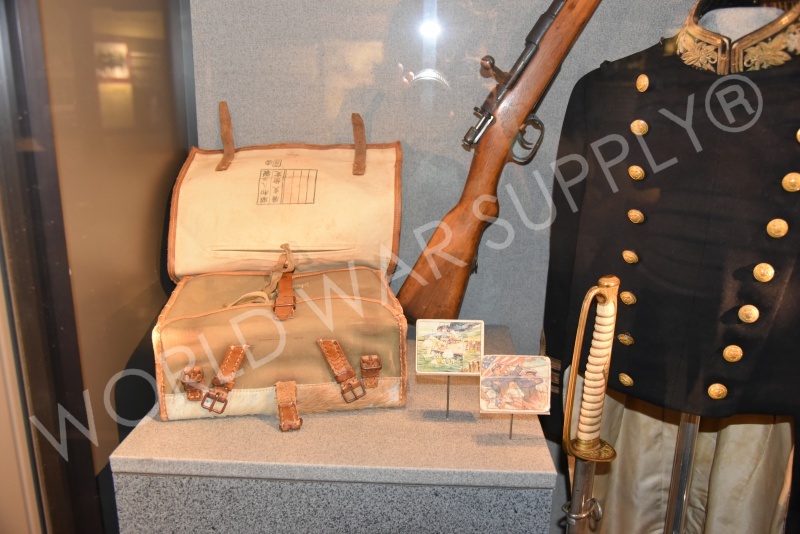 They offer detailed displays of uniforms, weapons, and equipment used by the marine corps in various battles and wars. 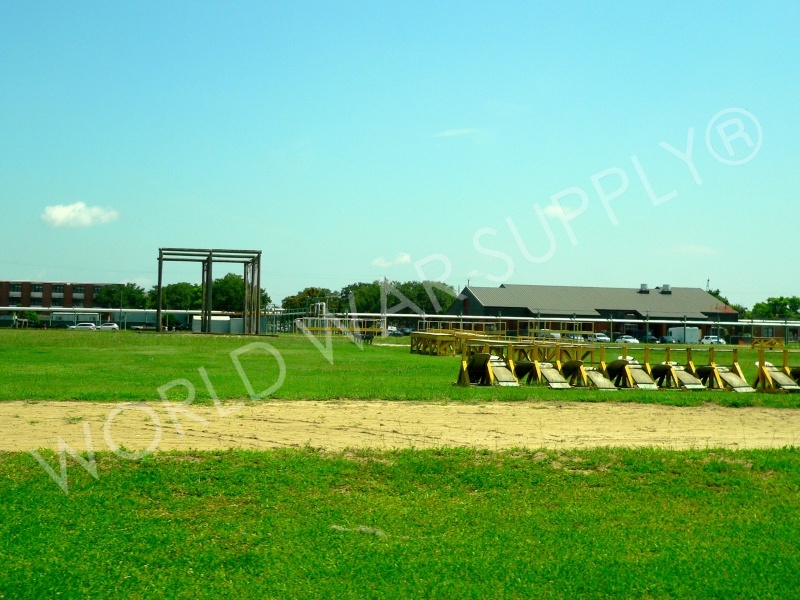 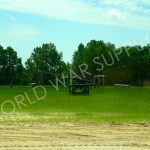 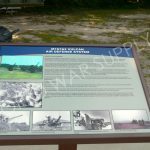 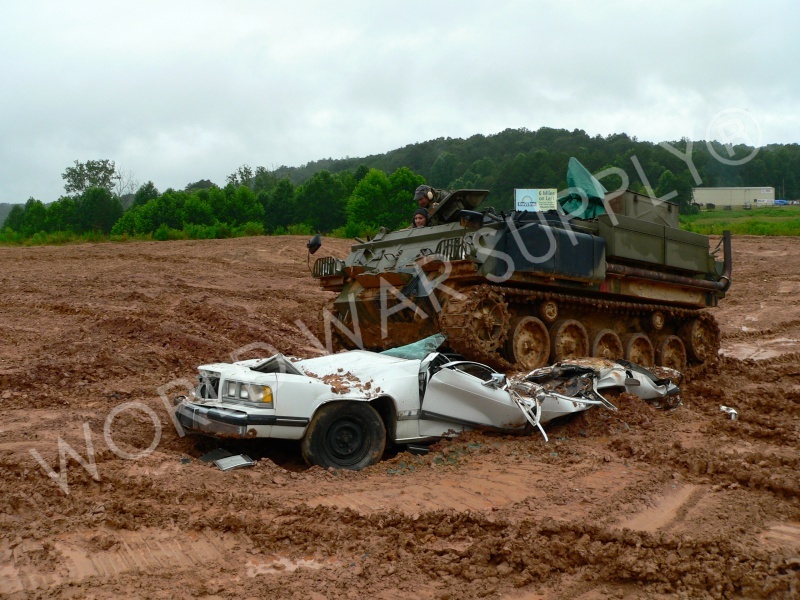 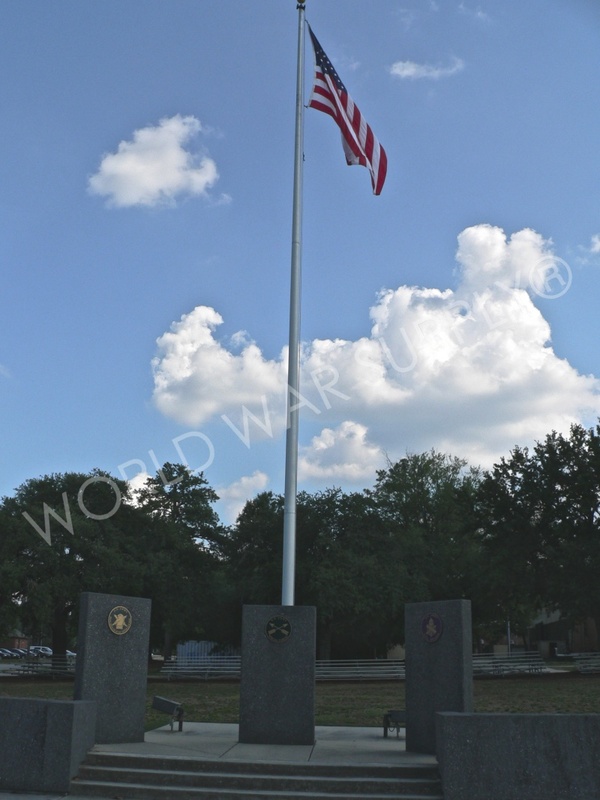 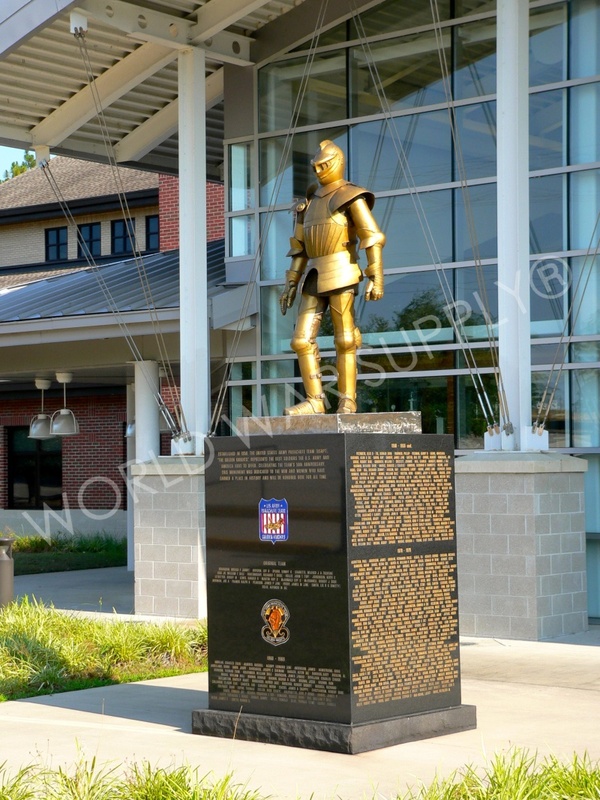 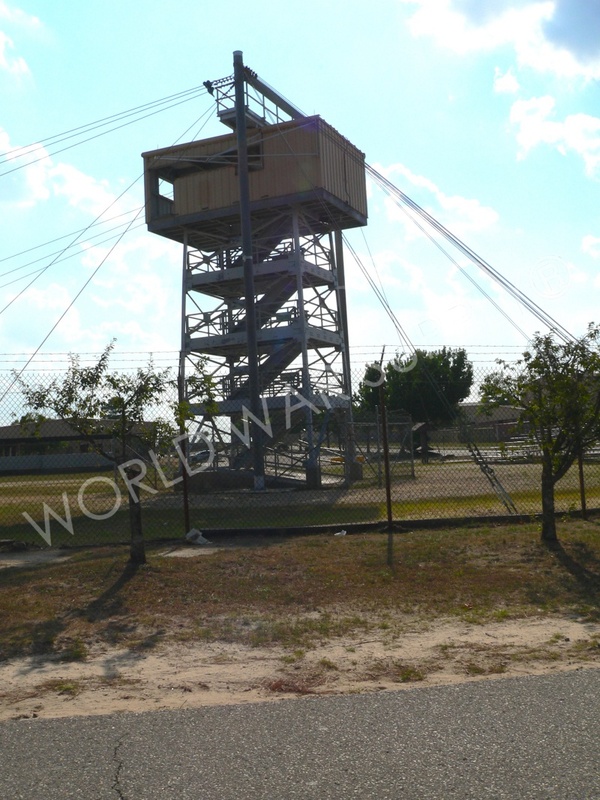 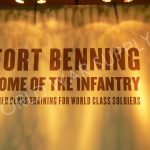 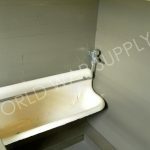 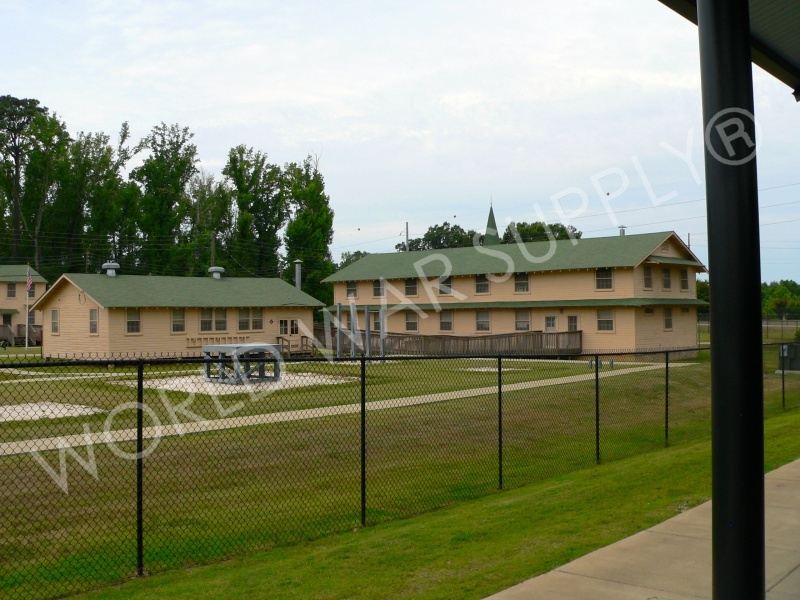 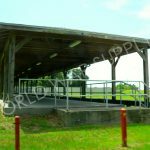 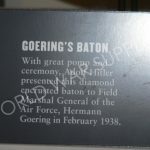 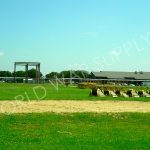 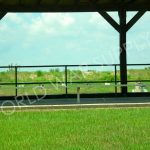 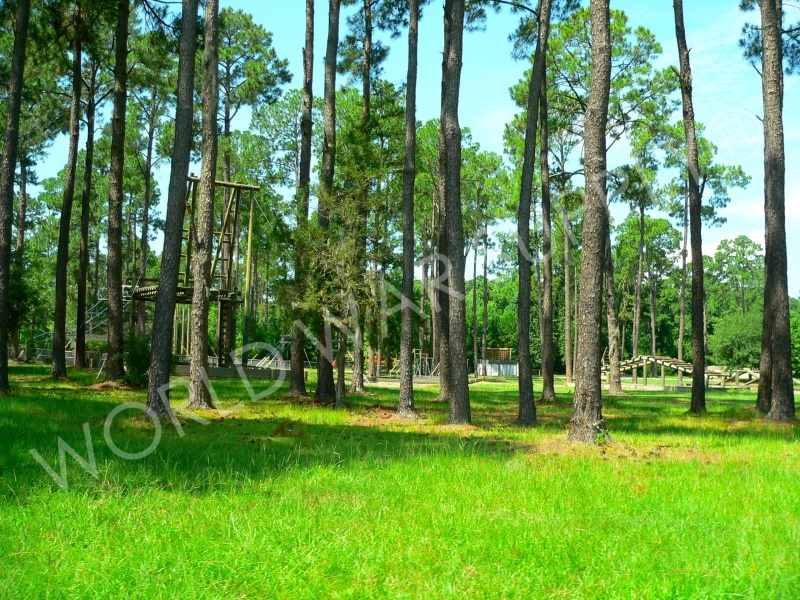 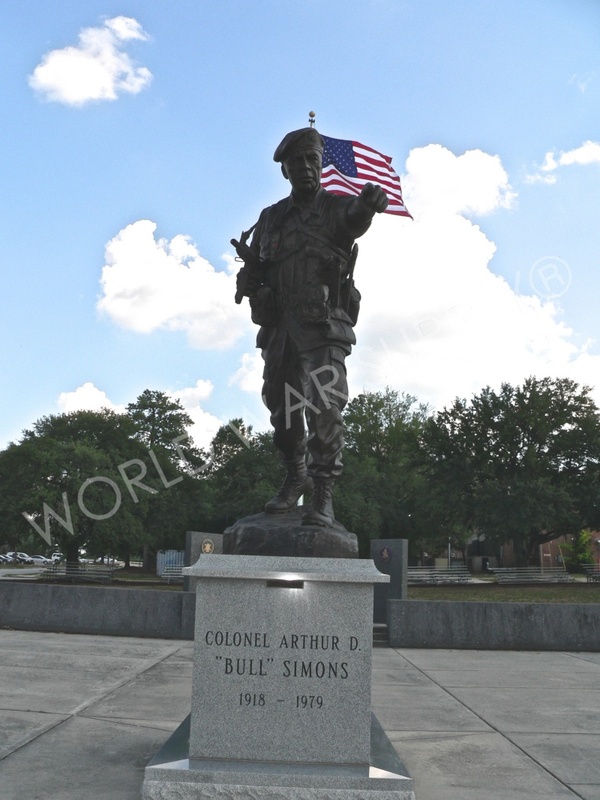 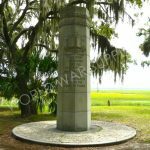 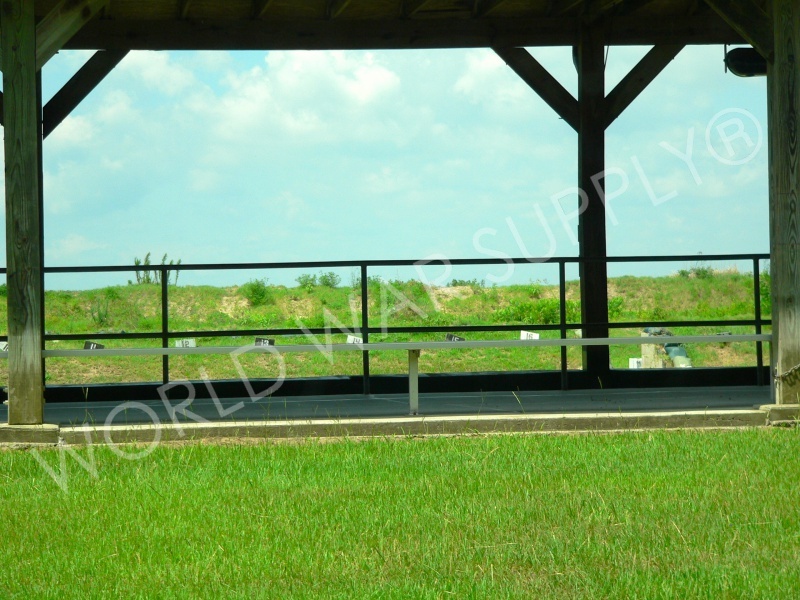 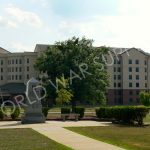 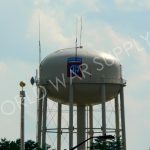 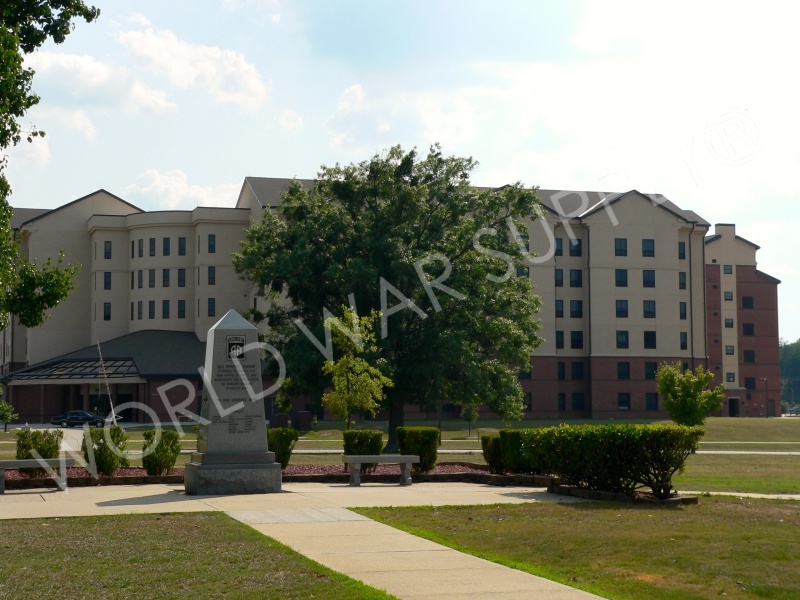 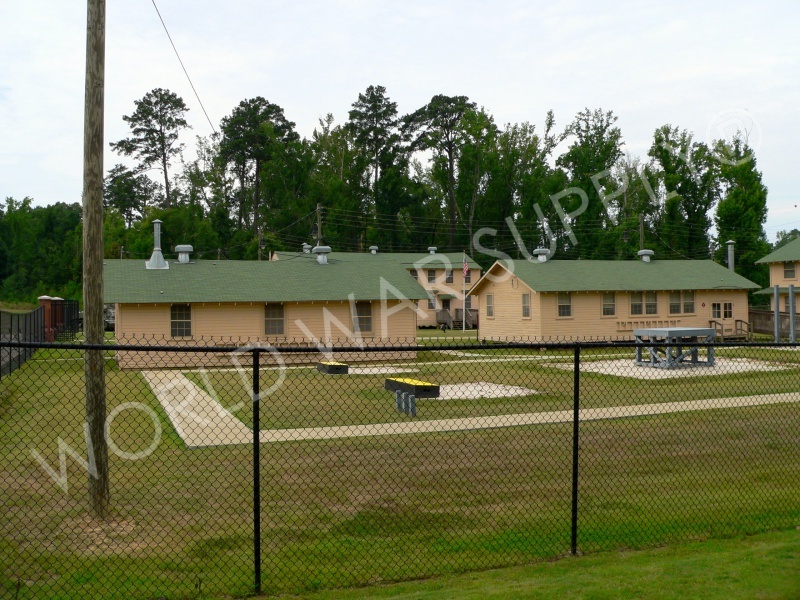 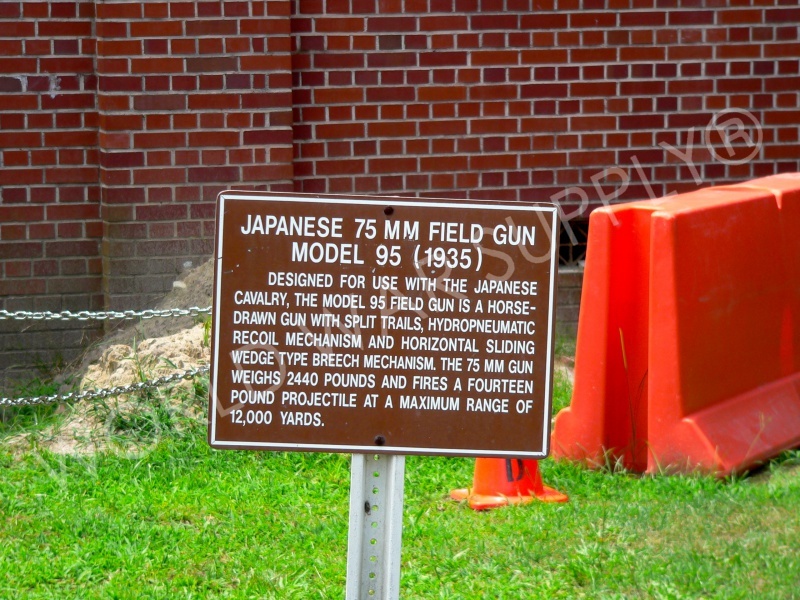 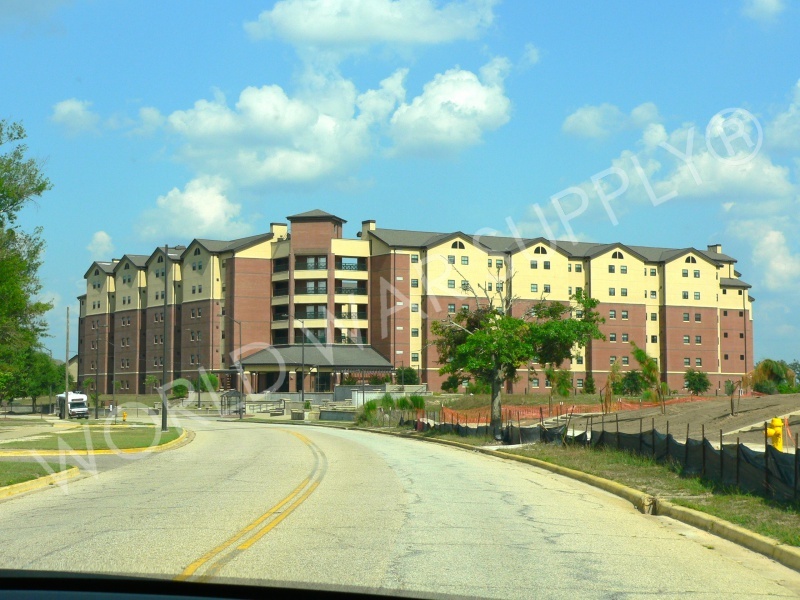 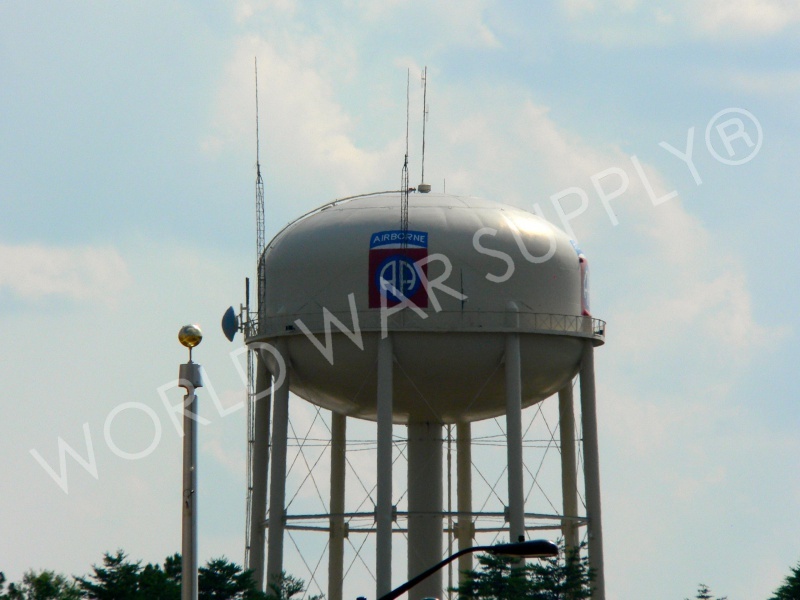 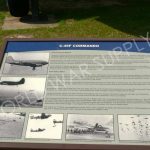 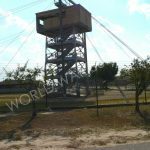 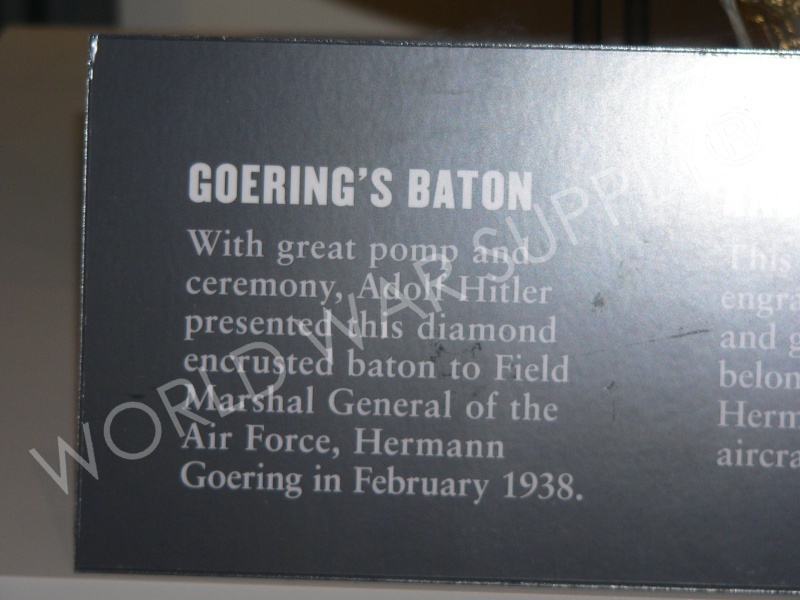 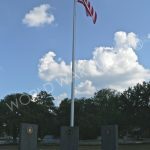 Fort Benning is a post located outside of Columbus, GA. 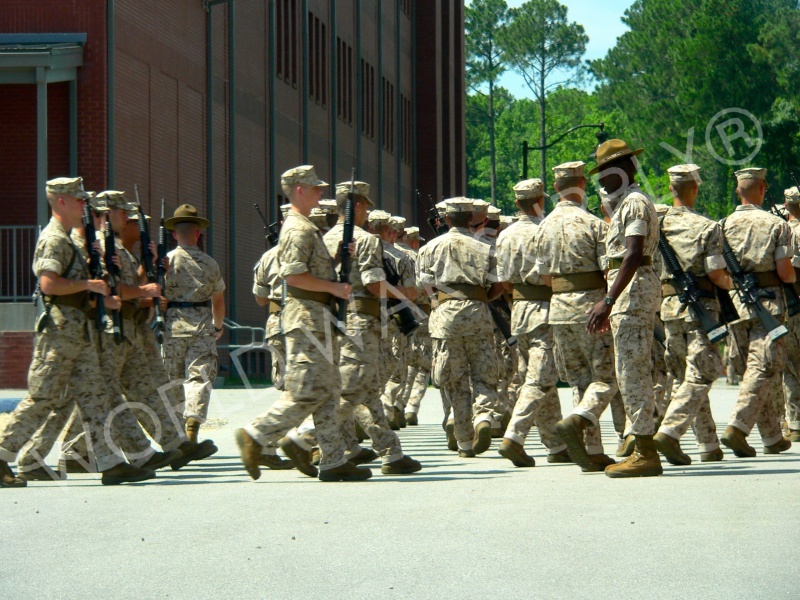 It supports more than 120,000 active-duty military and their families. 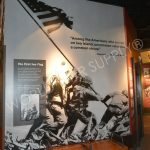 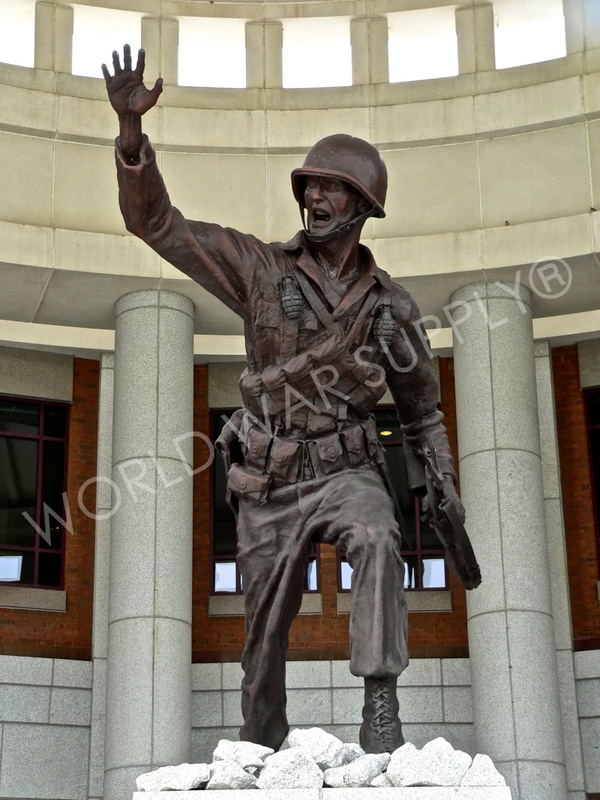 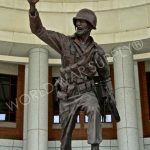 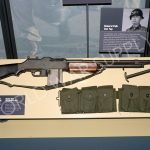 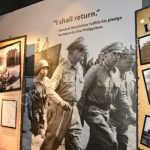 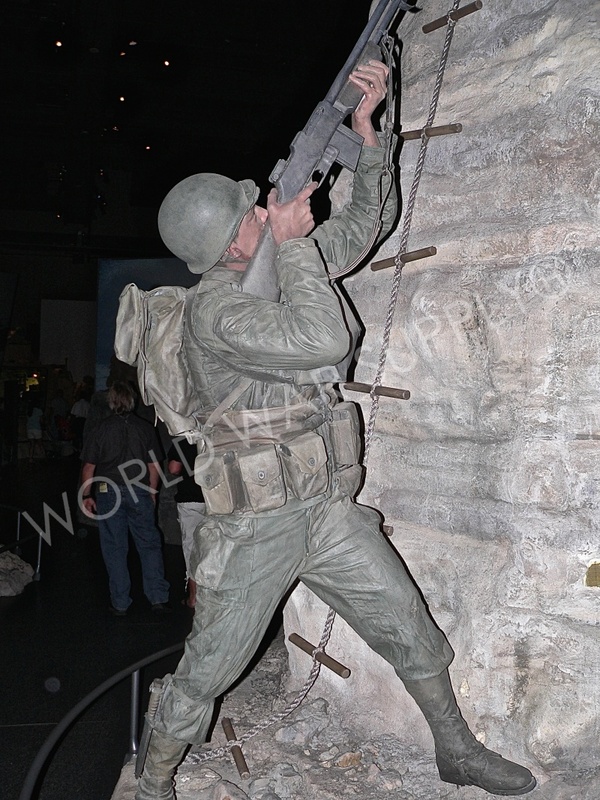 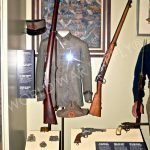 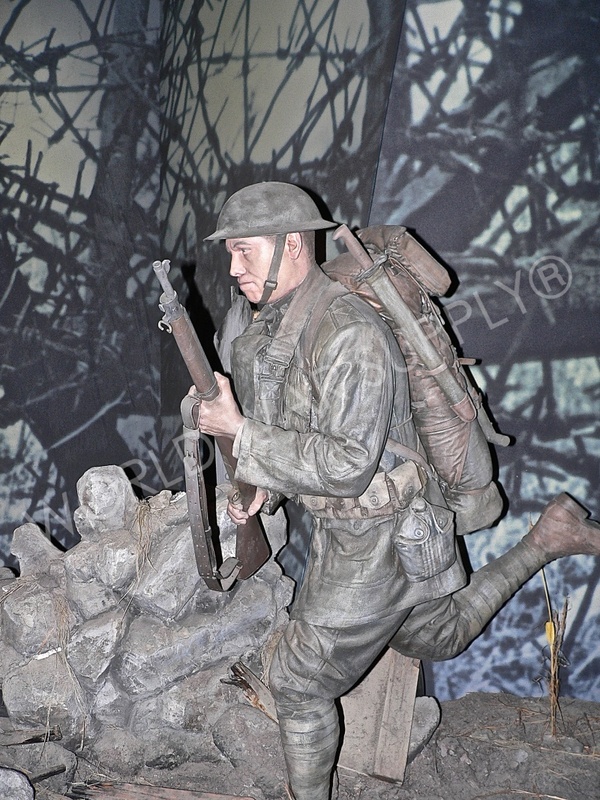 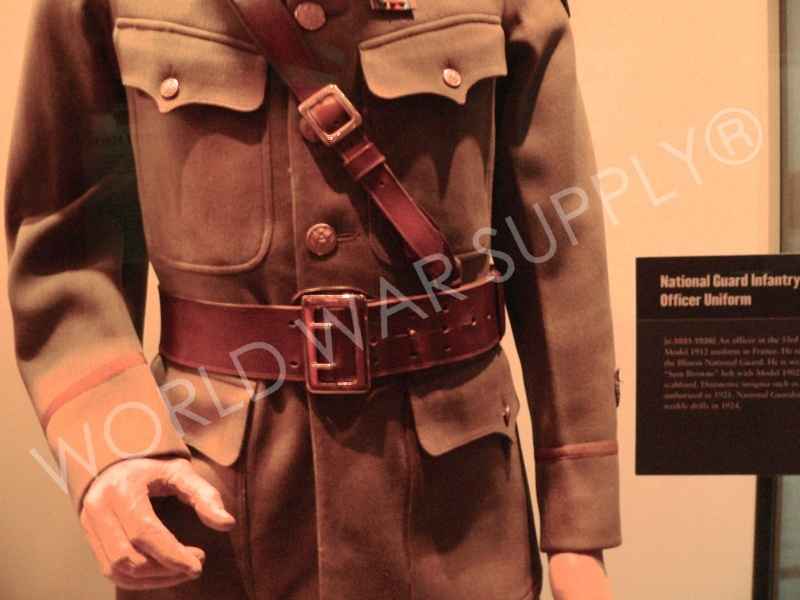 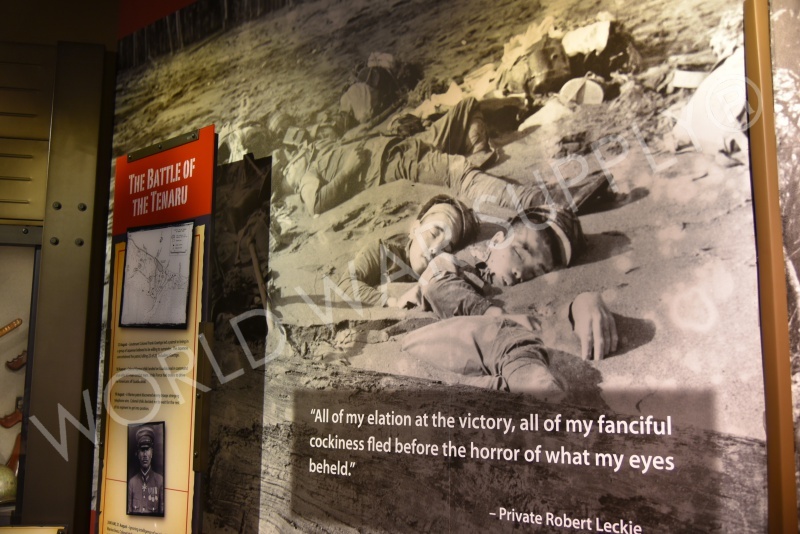 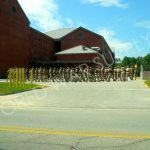 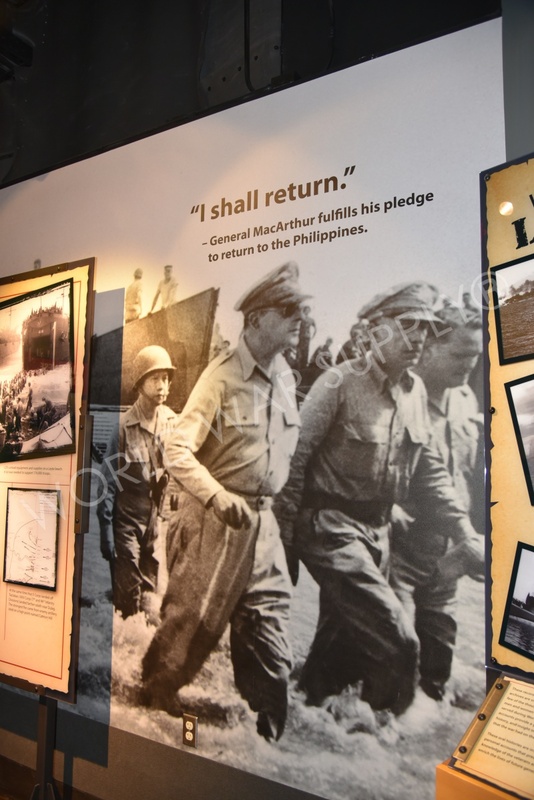 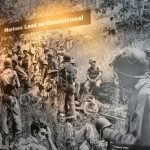 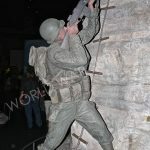 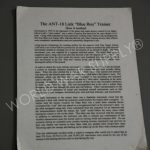 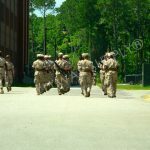 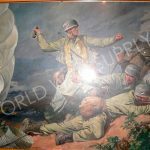 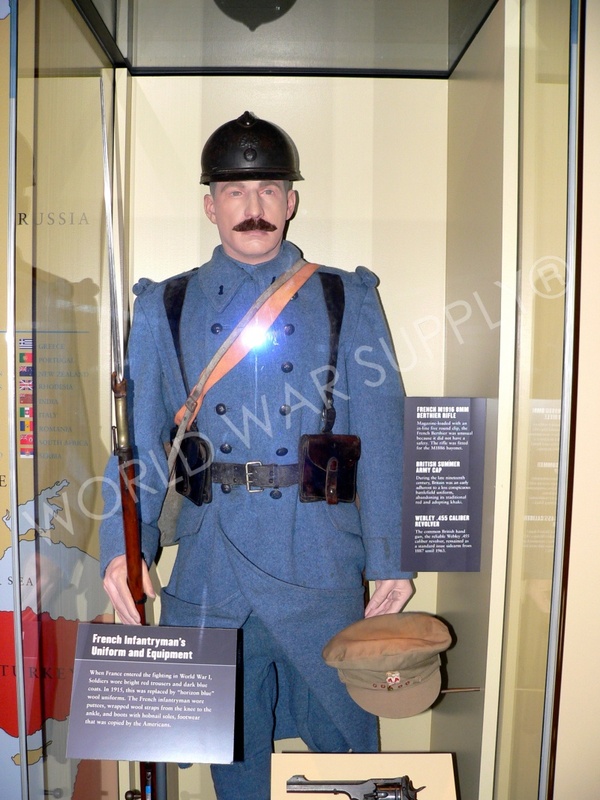 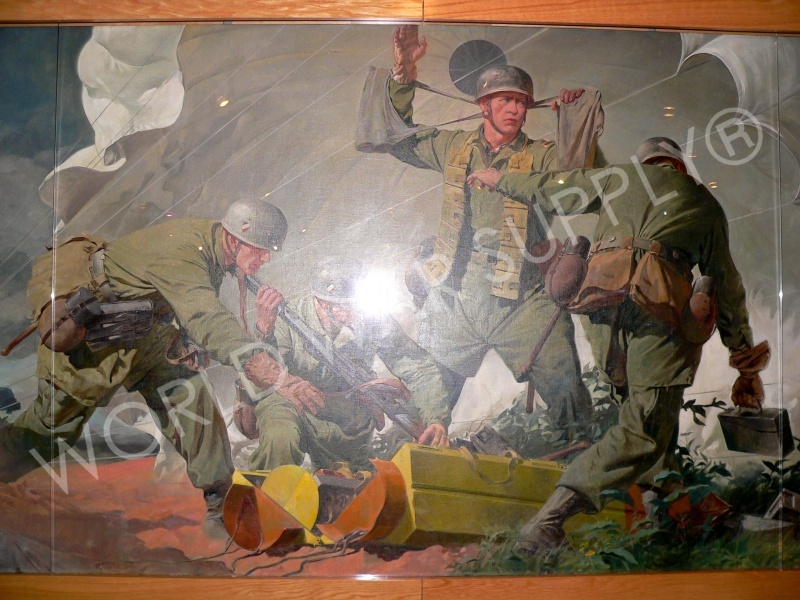 “The National Infantry Museum emphasizes the values that define the infantryman as well as the nation that he protects”. 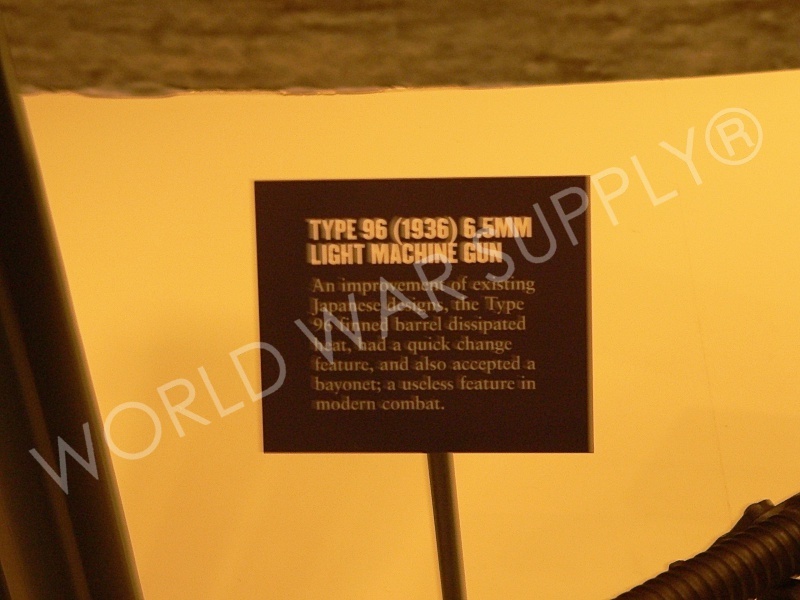 We apologize for the darkness and blurriness of some photos. 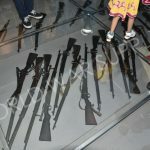 The museum had a strict “no flash” policy. 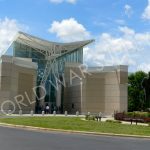 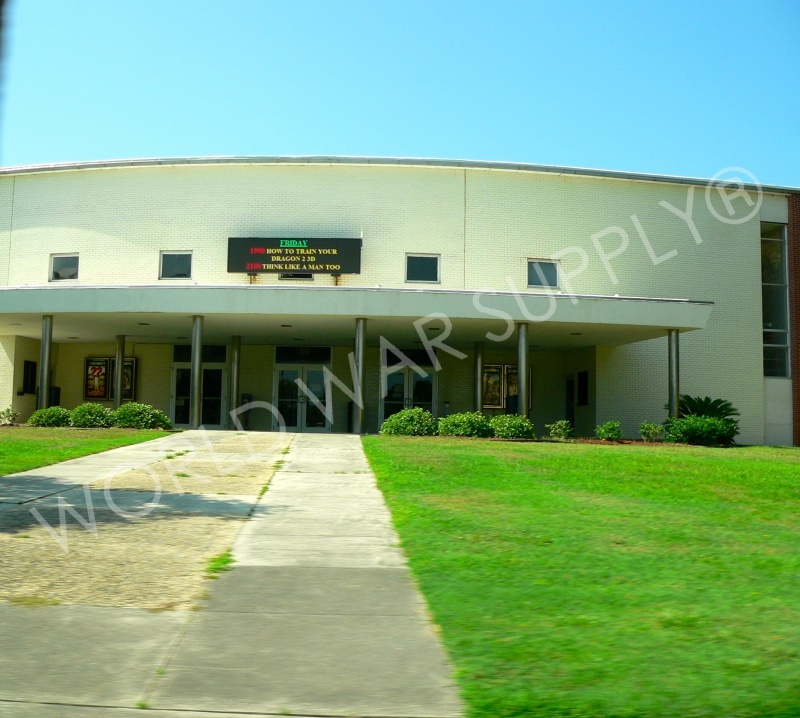 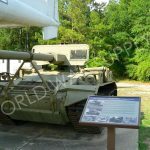 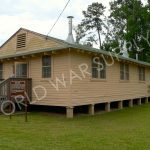 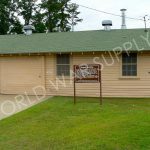 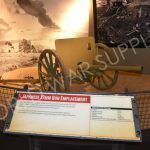 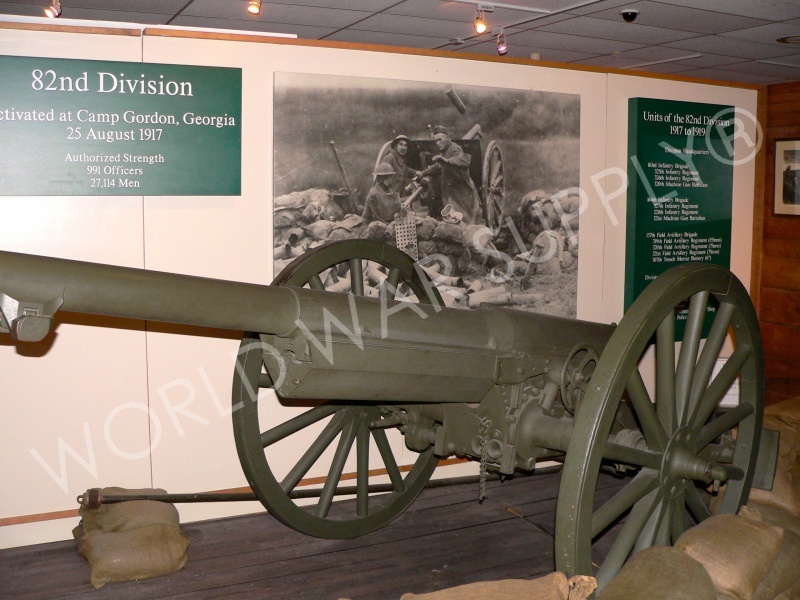 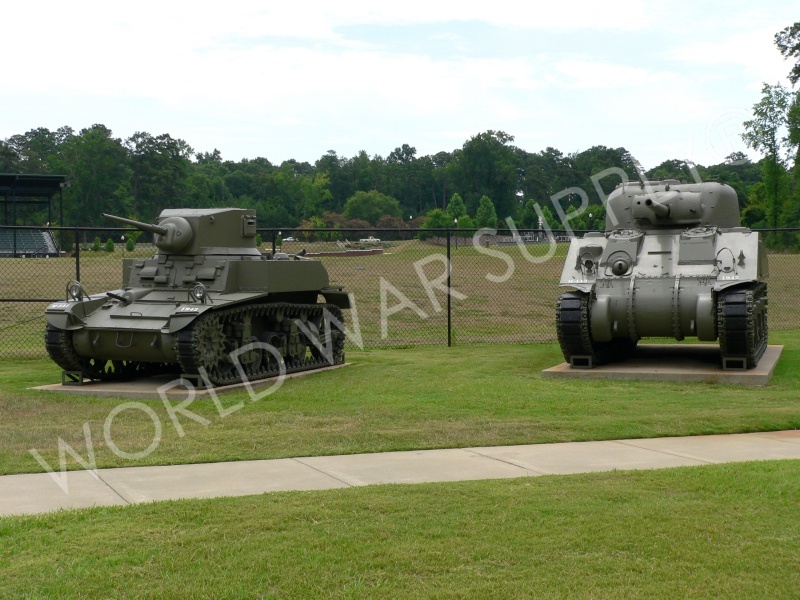 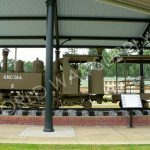 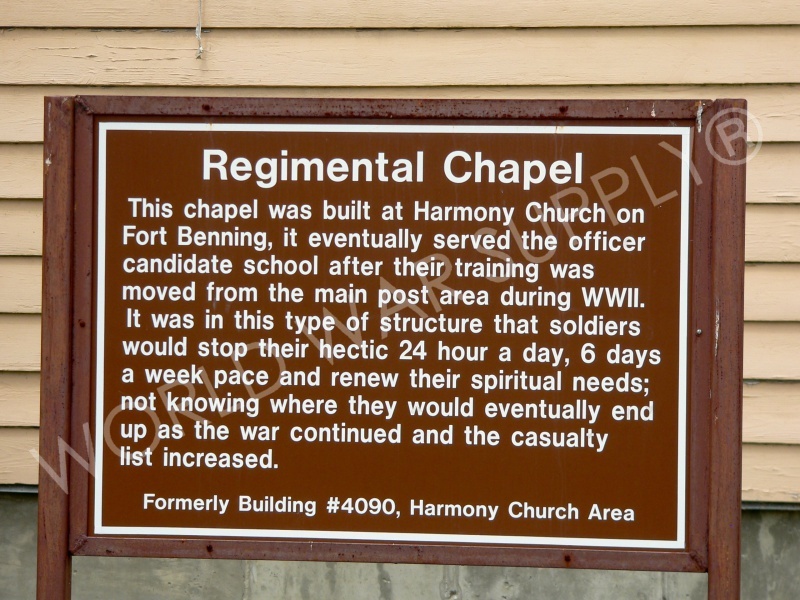 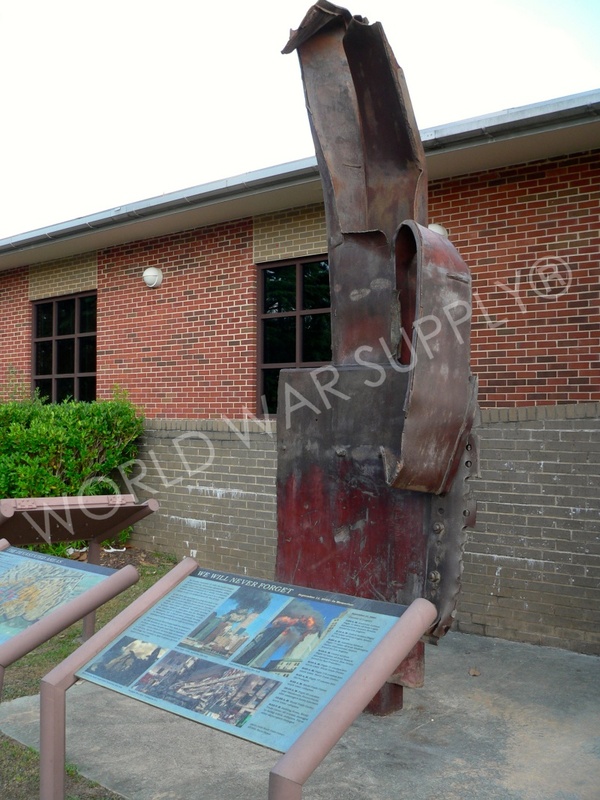 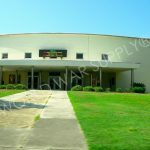 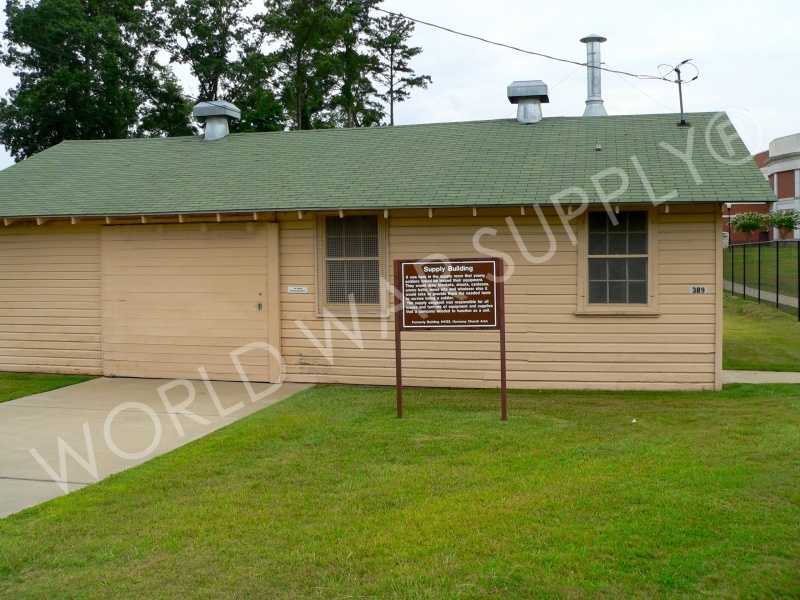 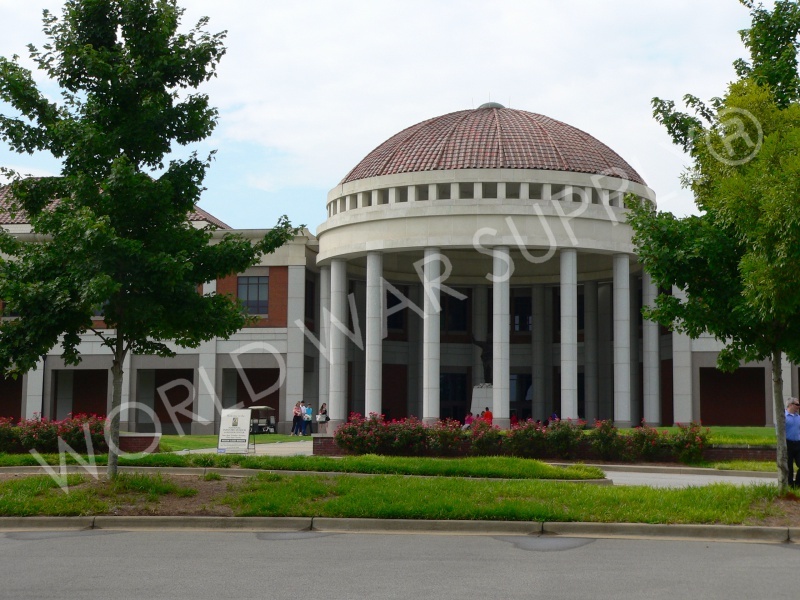 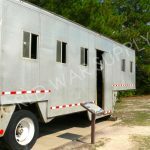 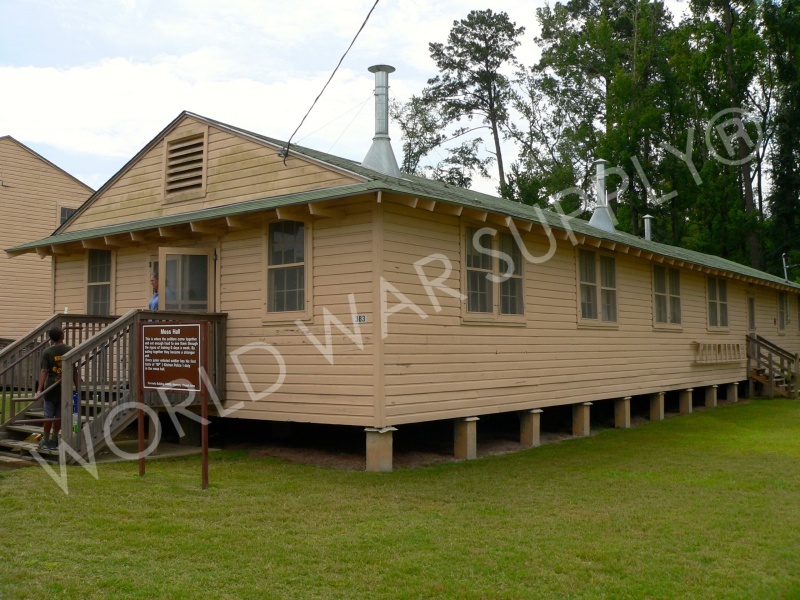 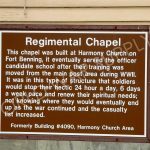 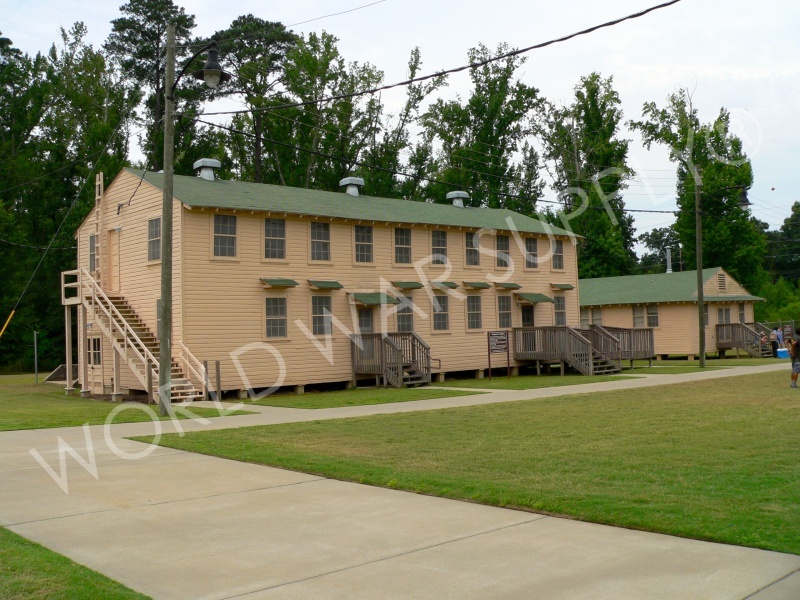 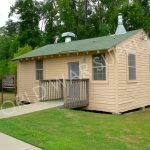 Harmony Church is now located on the grounds of the Infantry Museum as its own separate exhibit (in association with Fort Benning, GA). 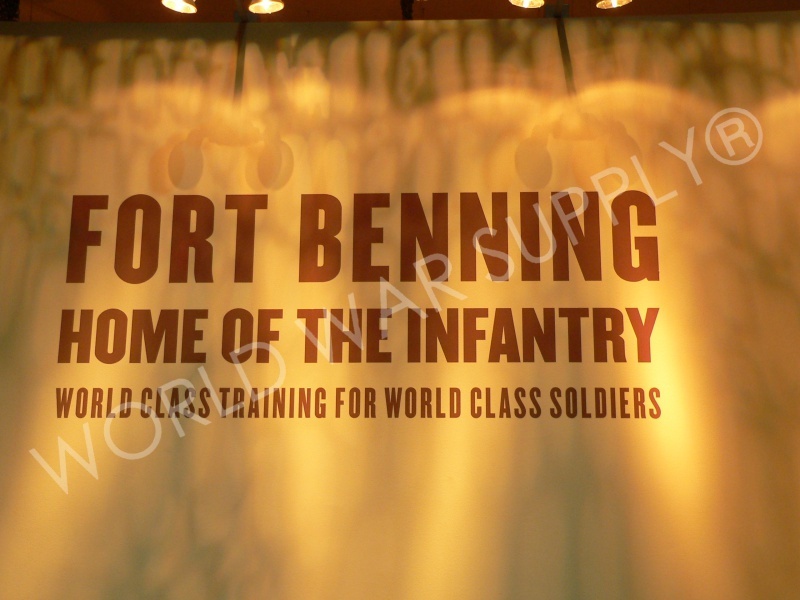 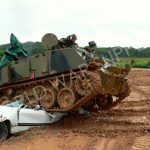 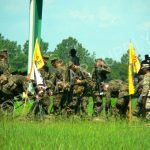 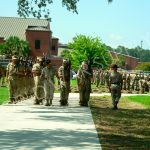 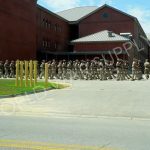 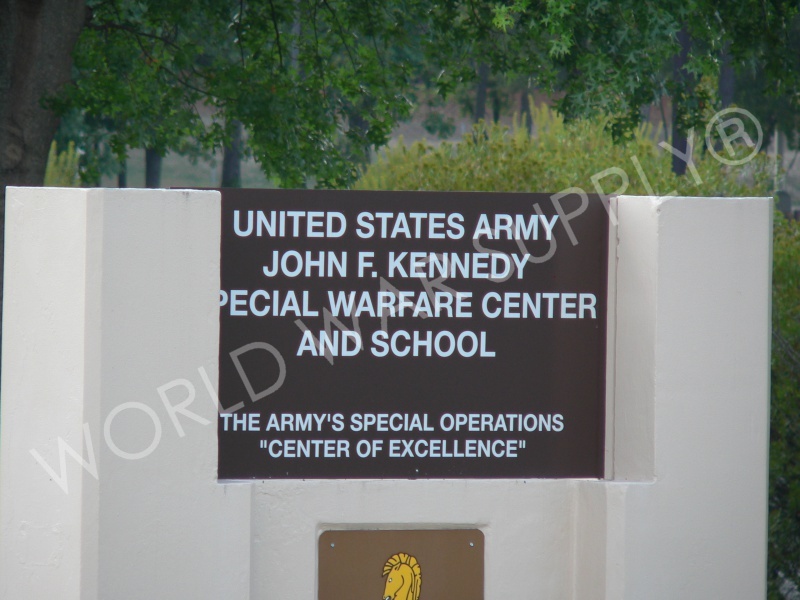 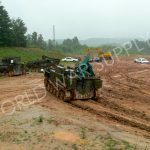 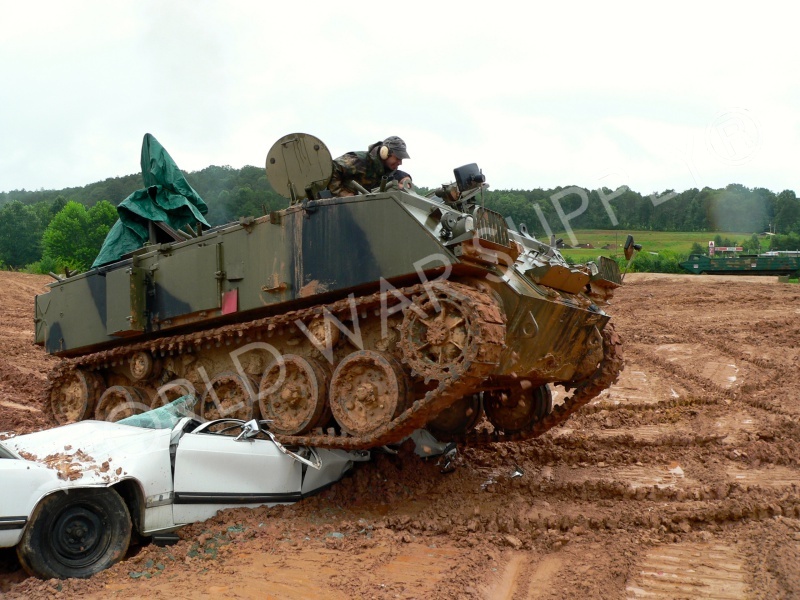 Fort Benning supports more than 120,000 active- duty military and families, and it is the largest infantry training center in the United States. 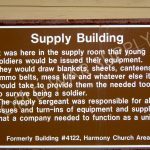 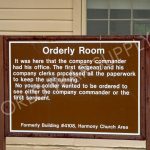 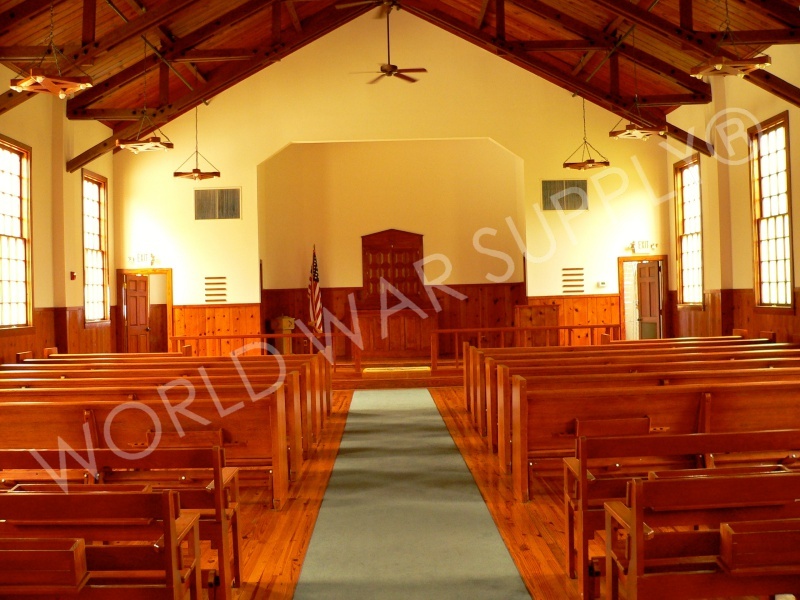 Harmony Church is specifically part of the “700 Series”; this was a project started in WW2 to produce numerous buildings in a small amount of time to provide for the newly drafted men. 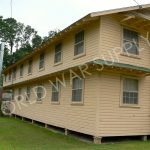 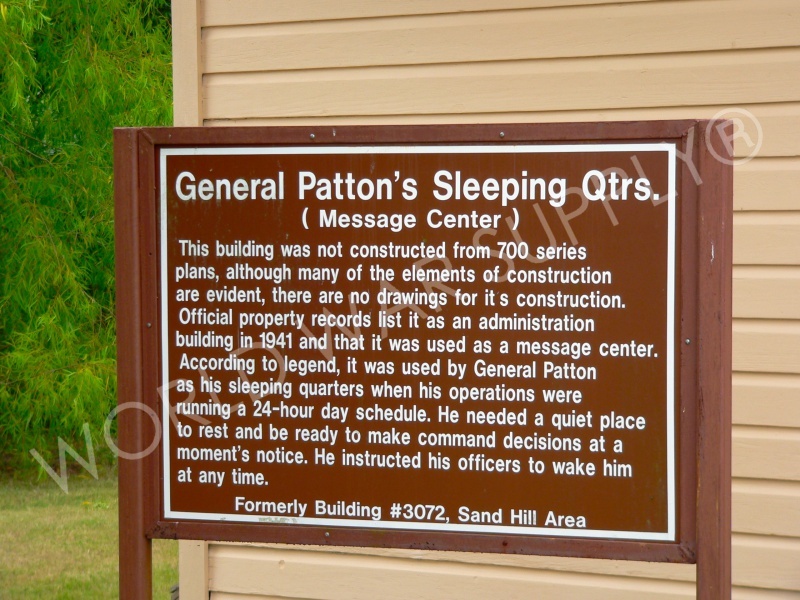 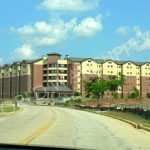 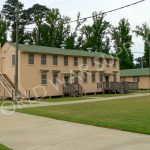 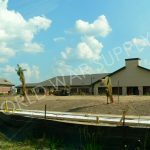 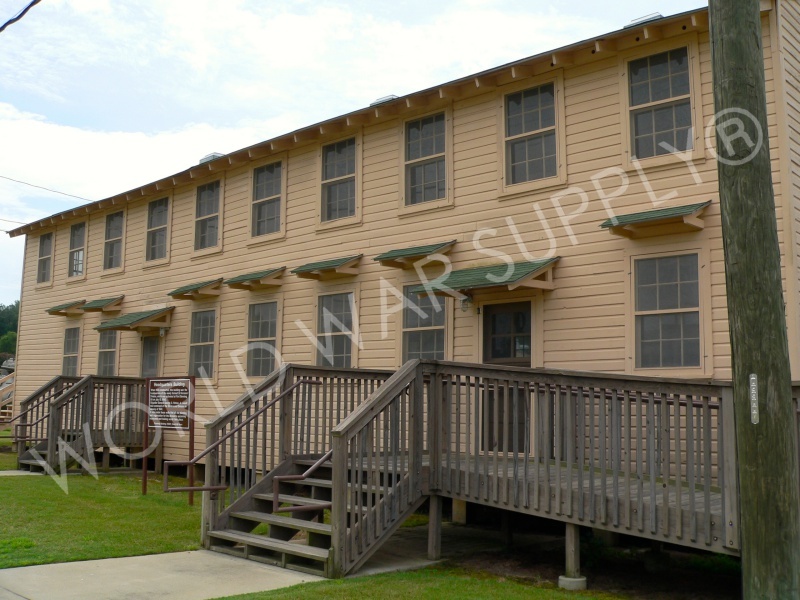 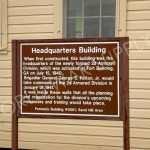 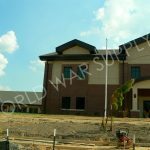 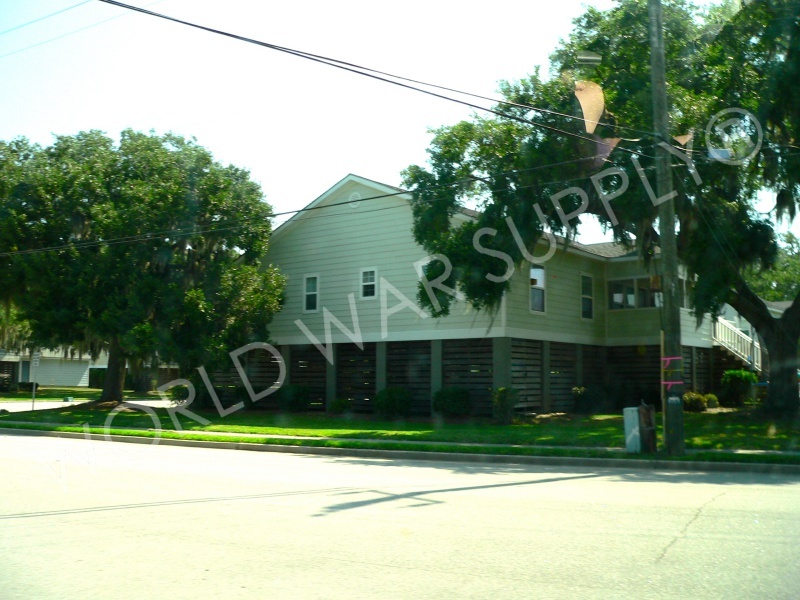 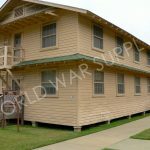 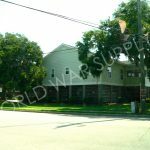 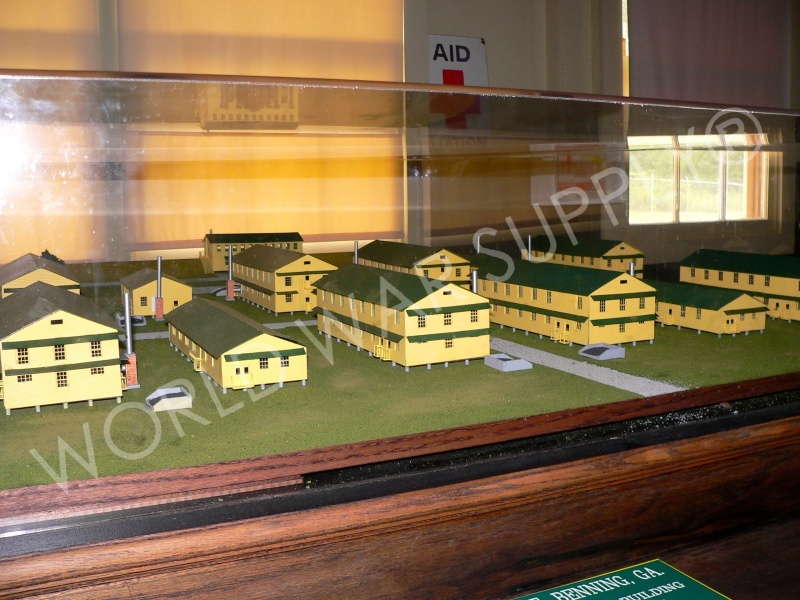 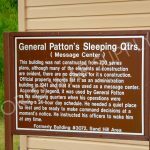 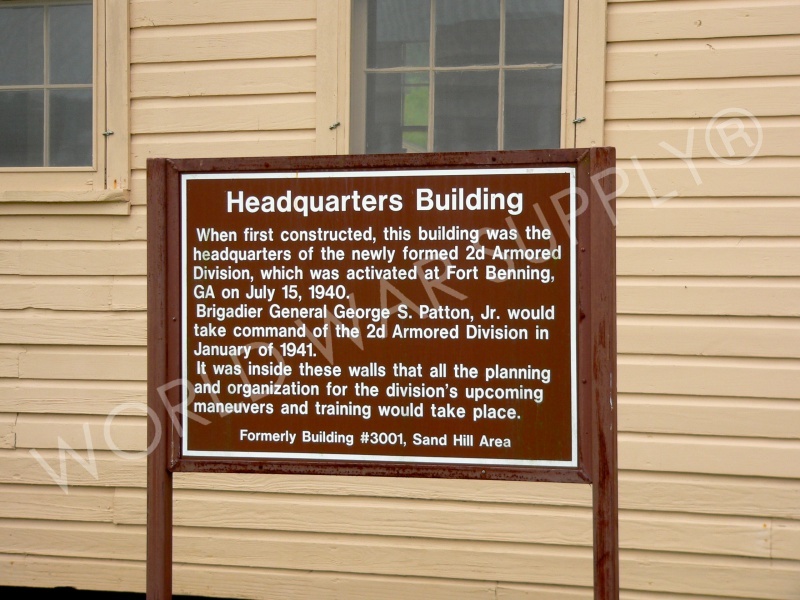 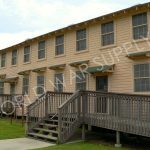 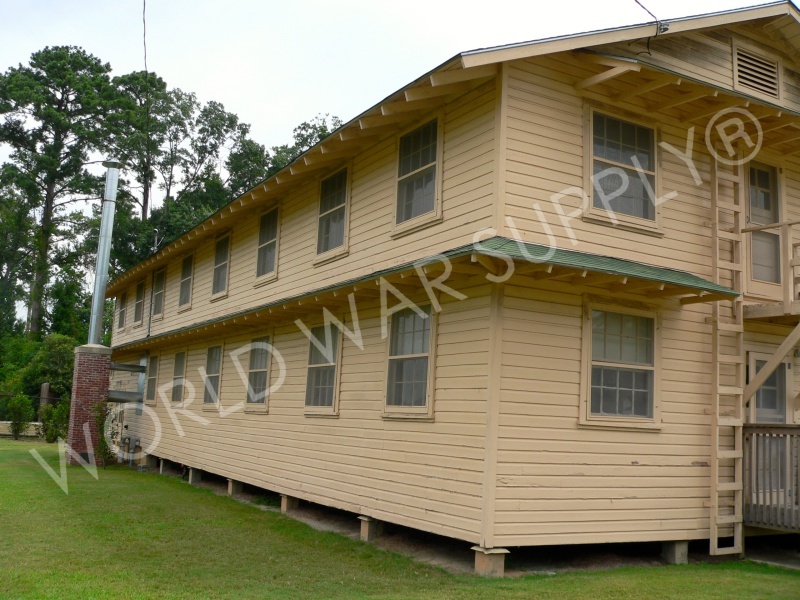 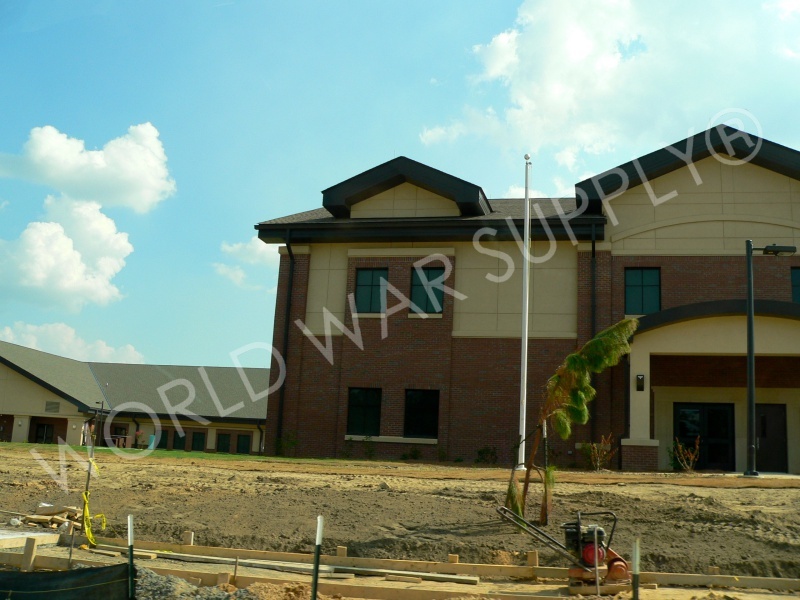 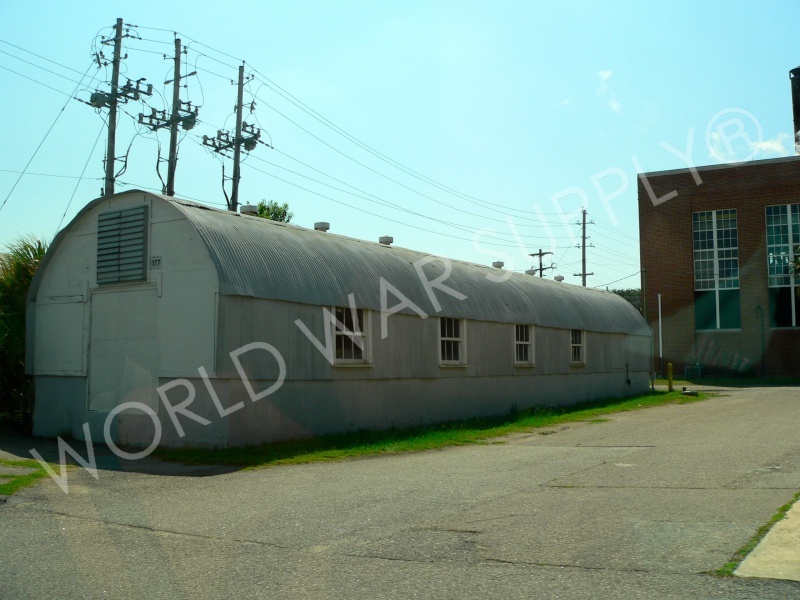 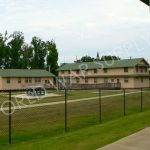 Each building was constructed the exact same way whether it be in Fort Benning, Fort Bragg, or Fort Knox. 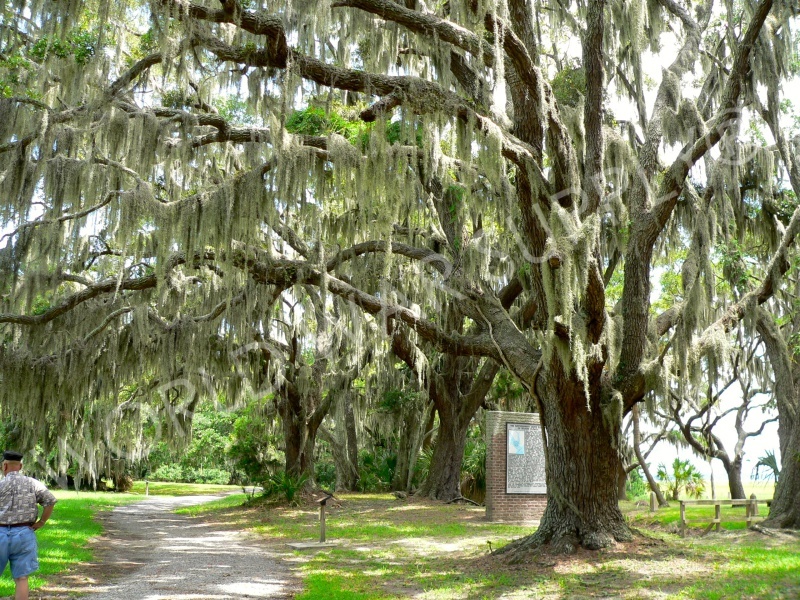 These projects could be built quickly and locally making it a fascinating sight. 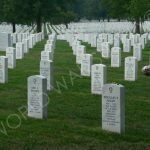 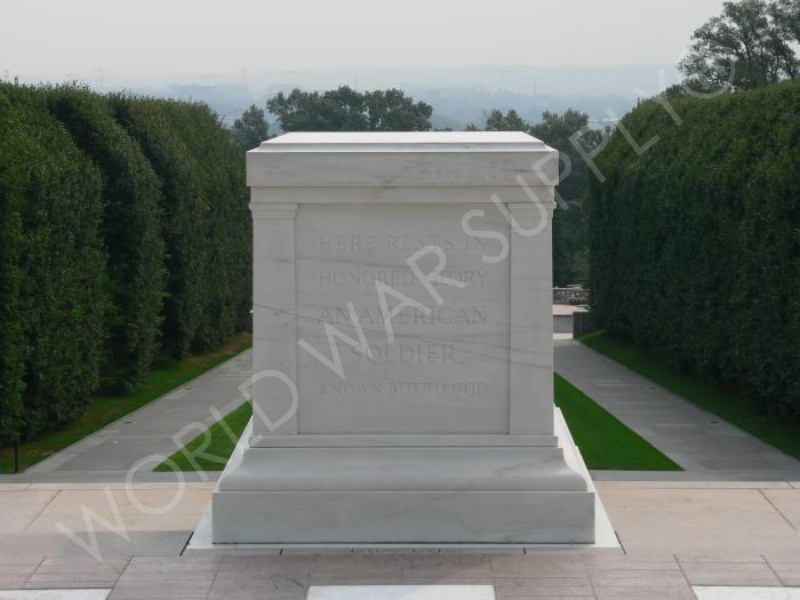 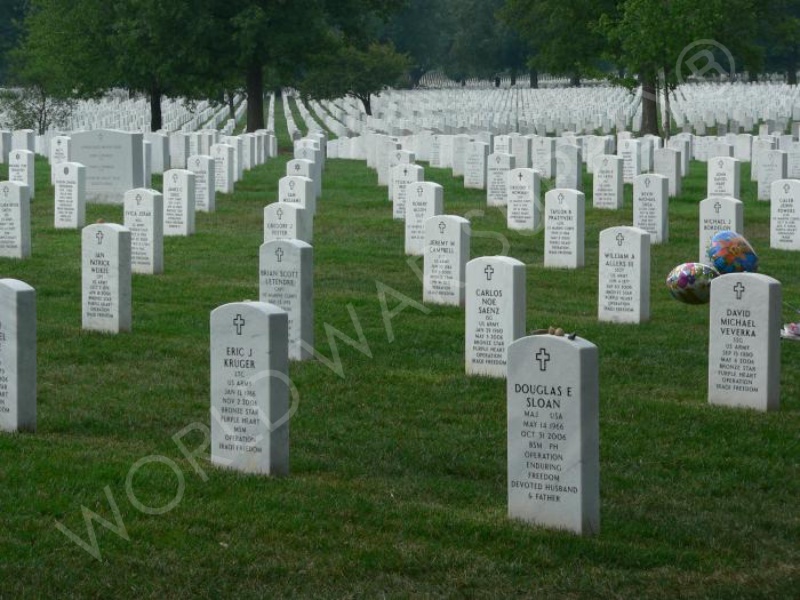 Arlington, VA-Located across the Potomac River from Washington, D.C. the national cemetery is the final resting place of over 14,000 veterans across 624 acres. 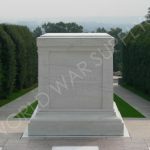 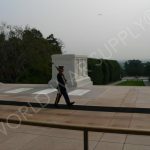 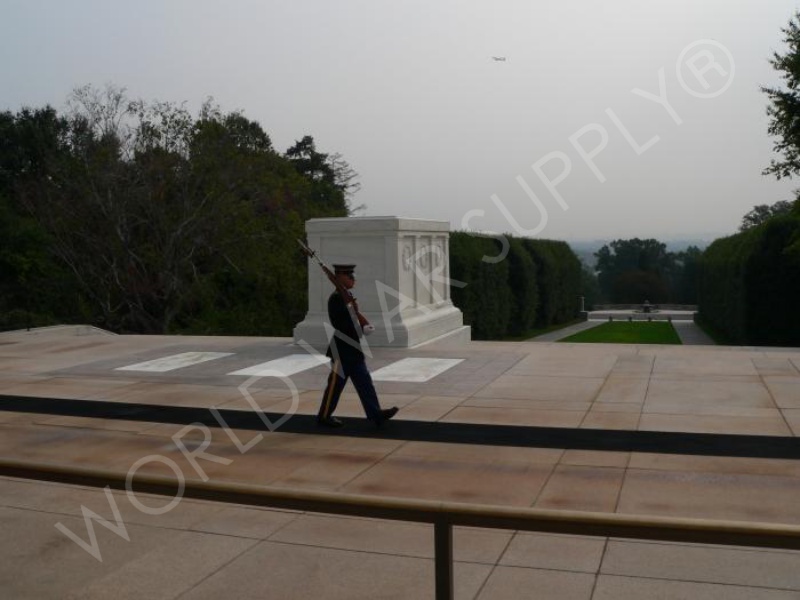 The cemetery is also the site of the Tomb of the Unknown Soldier which is guarded by US Army soldiers 24/7 365 regardless of circumstance. 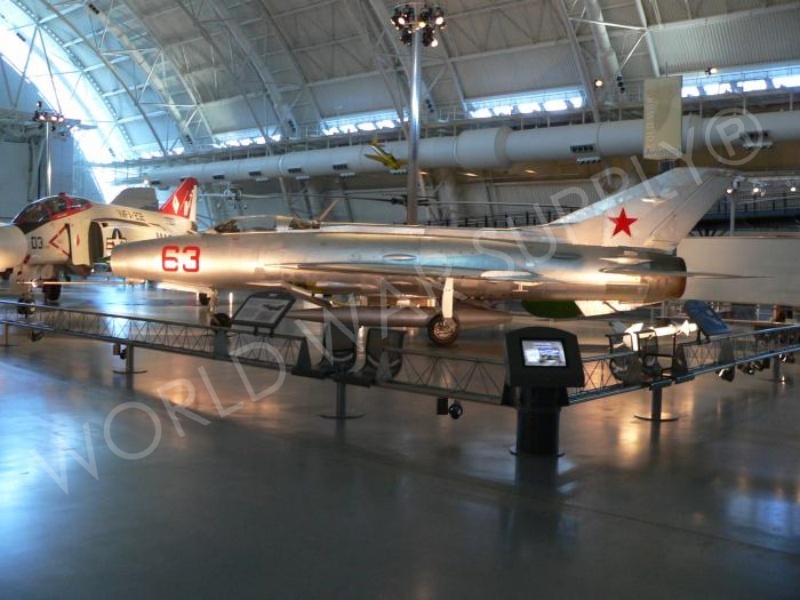 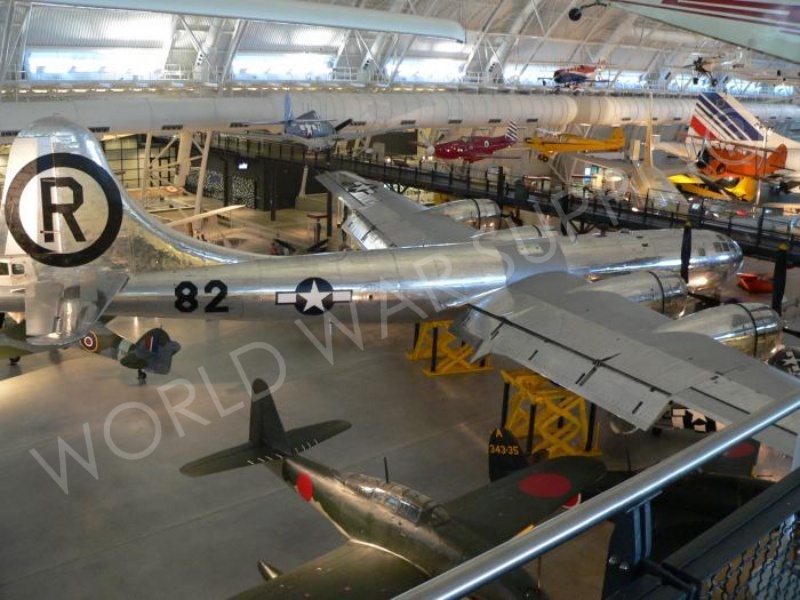 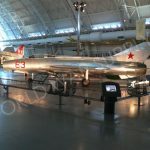 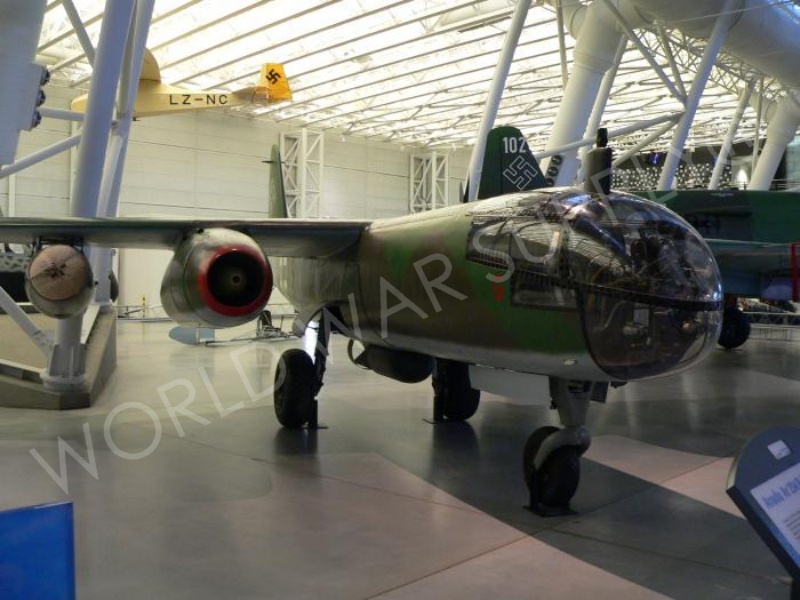 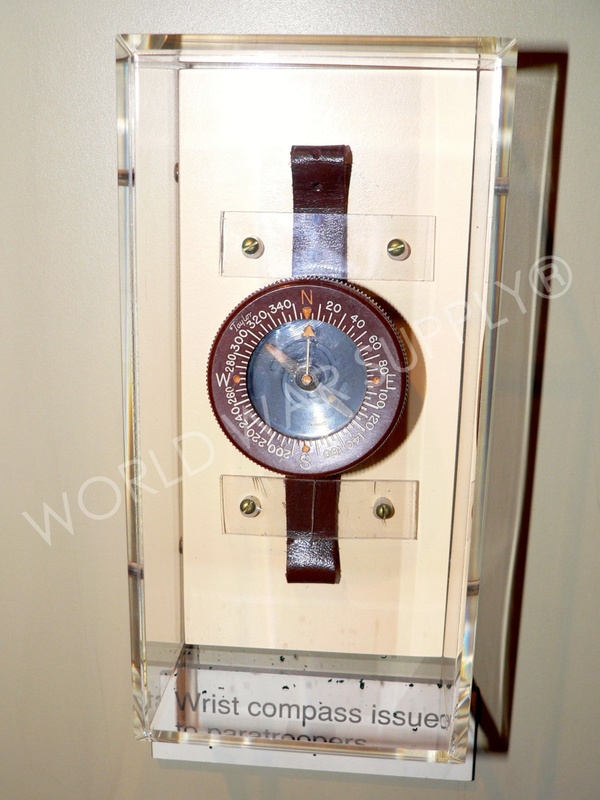 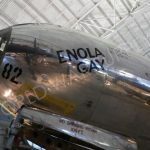 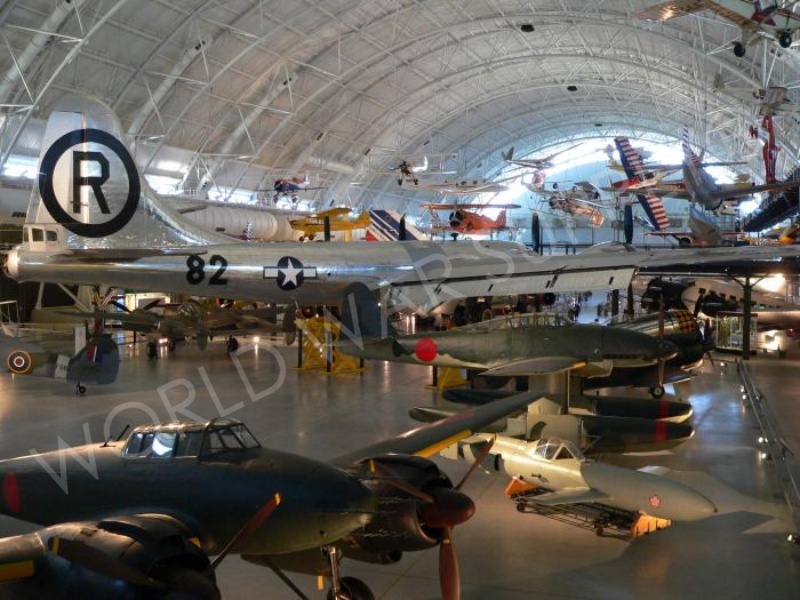 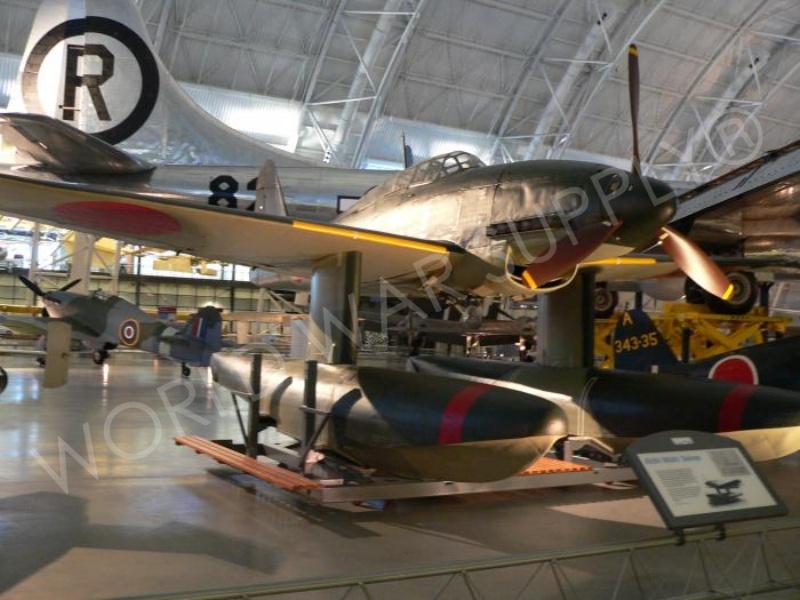 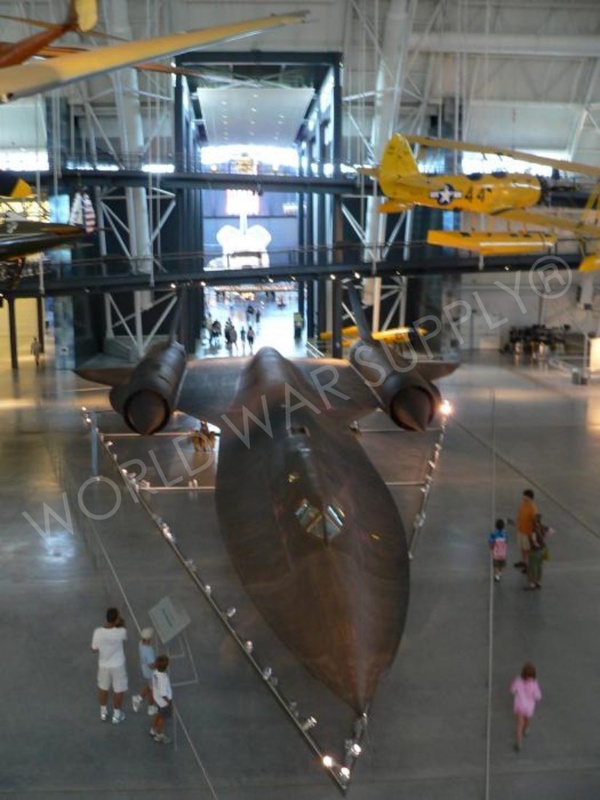 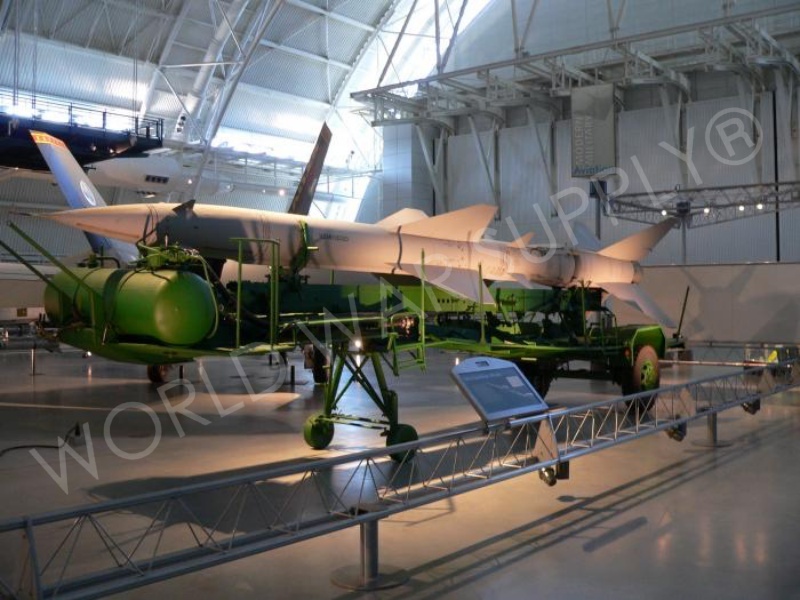 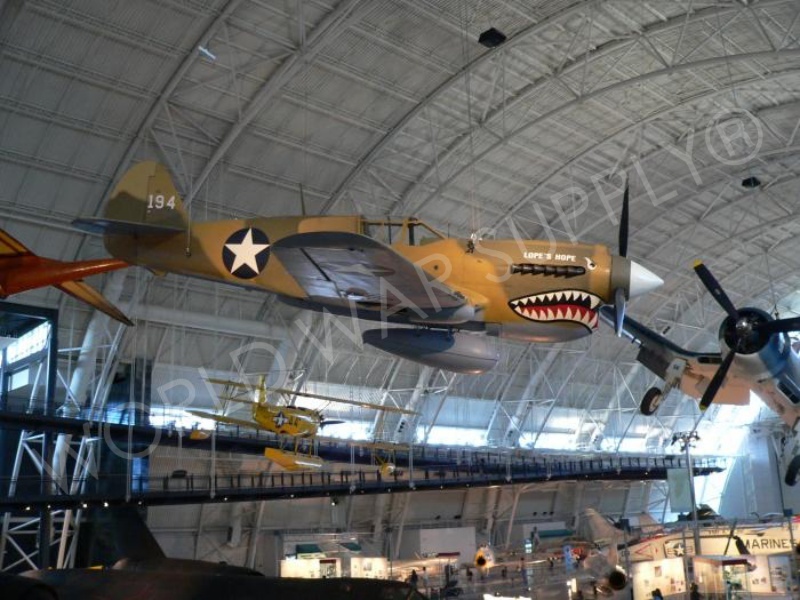 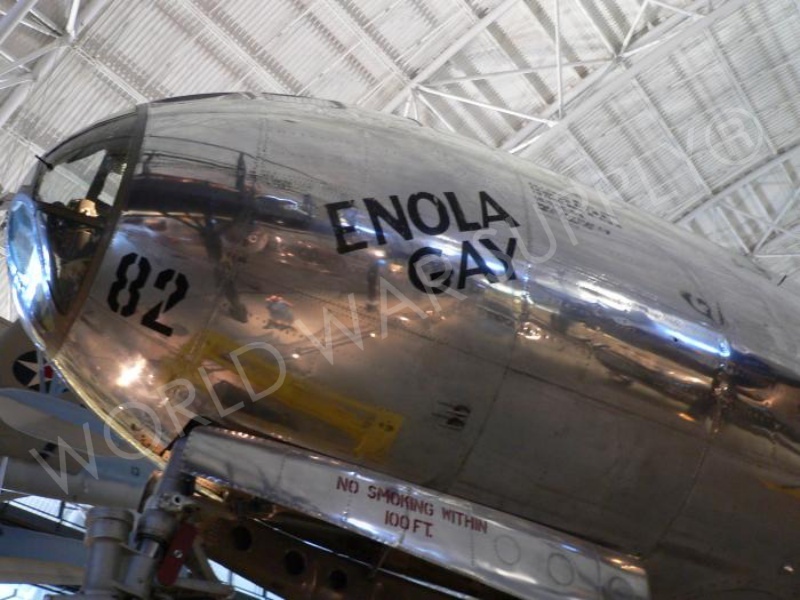 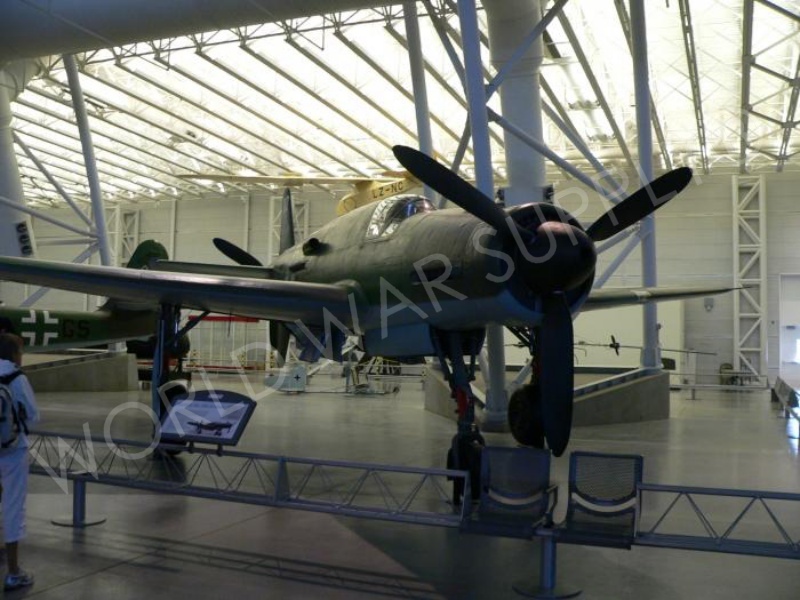 Located in Washington DC, The National Air & Space Museum gives a history of flight throughout time. 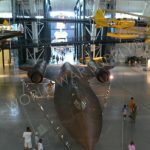 They start with the Wright brothers and cover the space shuttle as well. 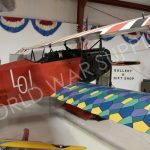 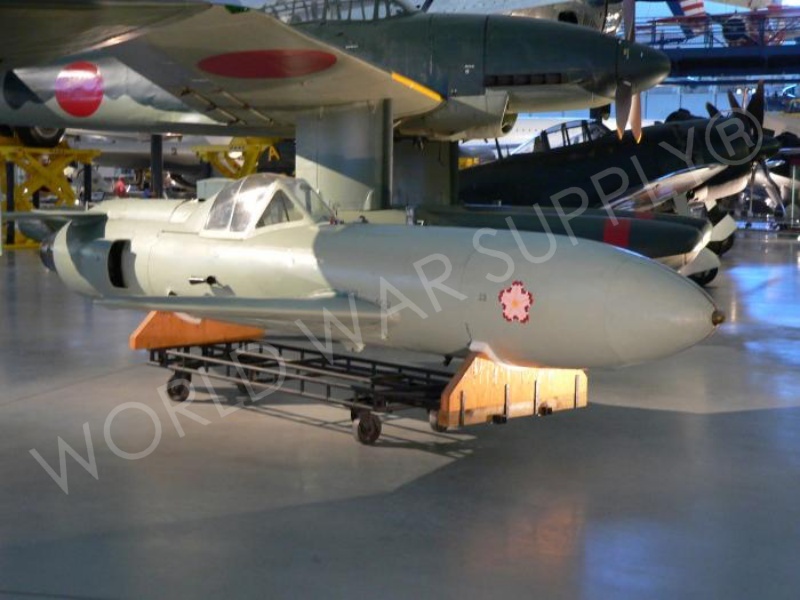 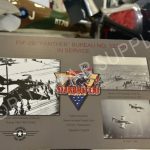 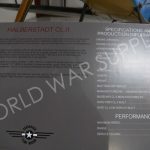 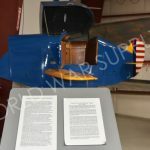 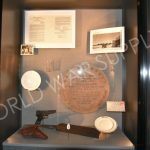 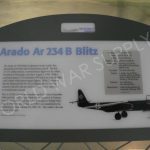 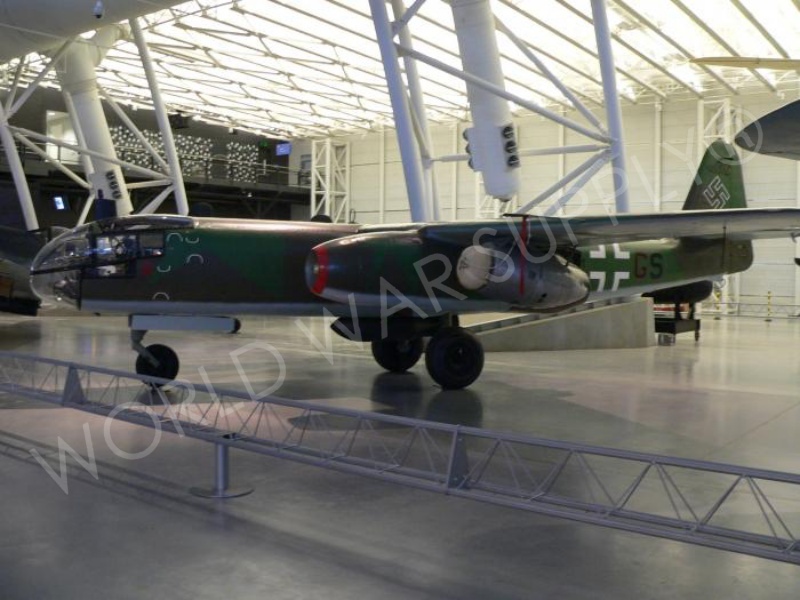 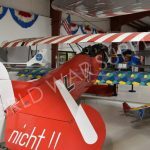 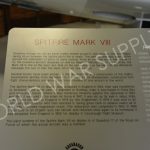 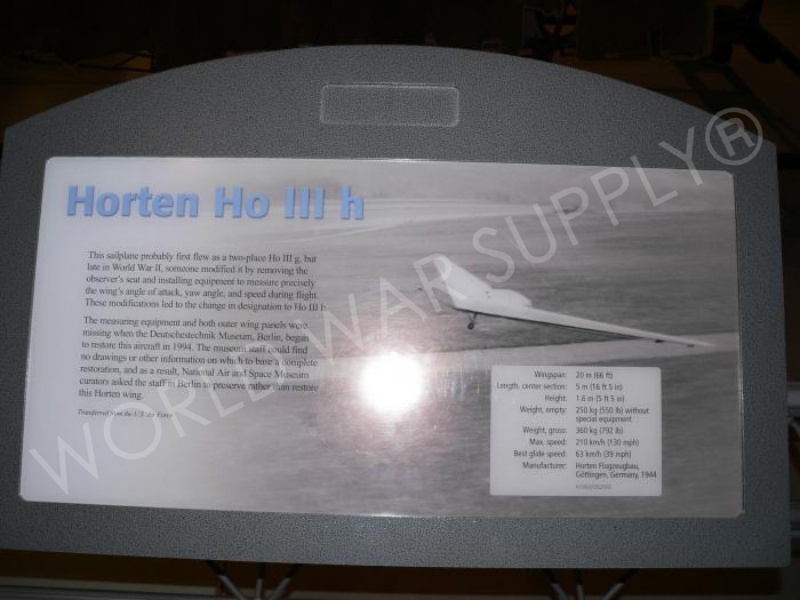 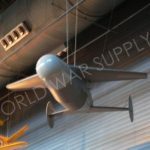 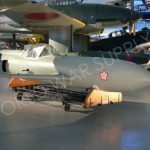 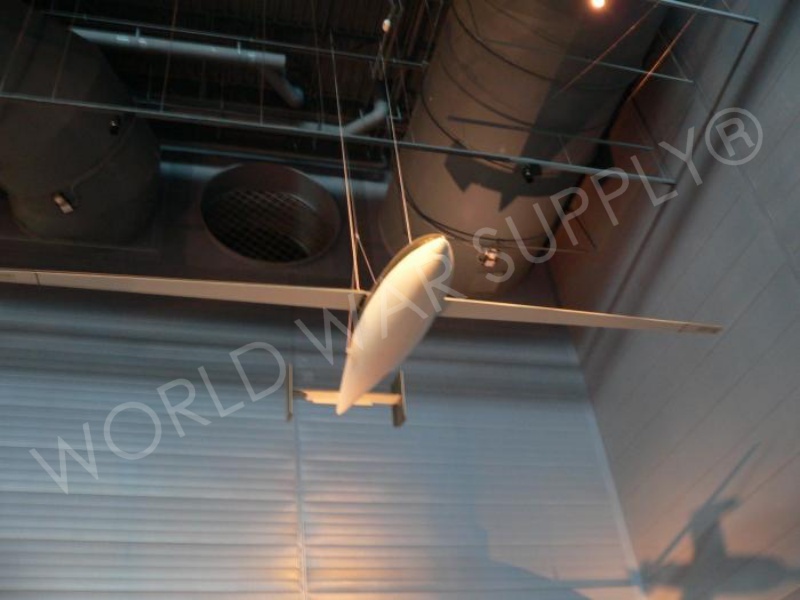 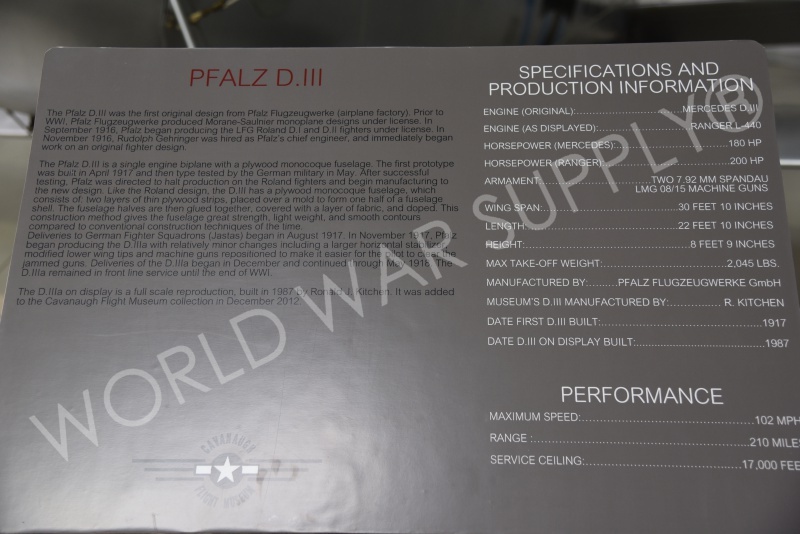 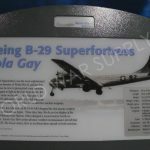 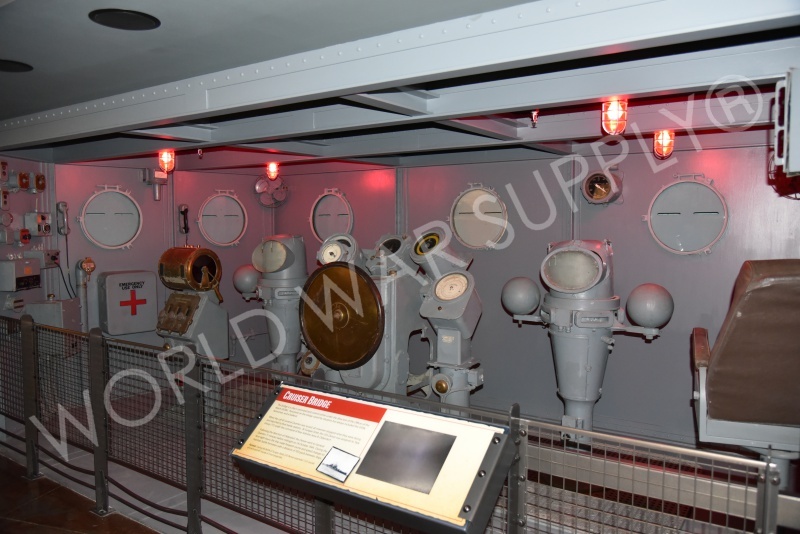 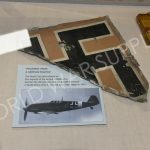 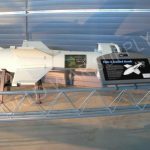 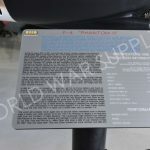 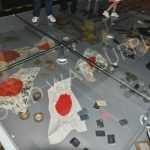 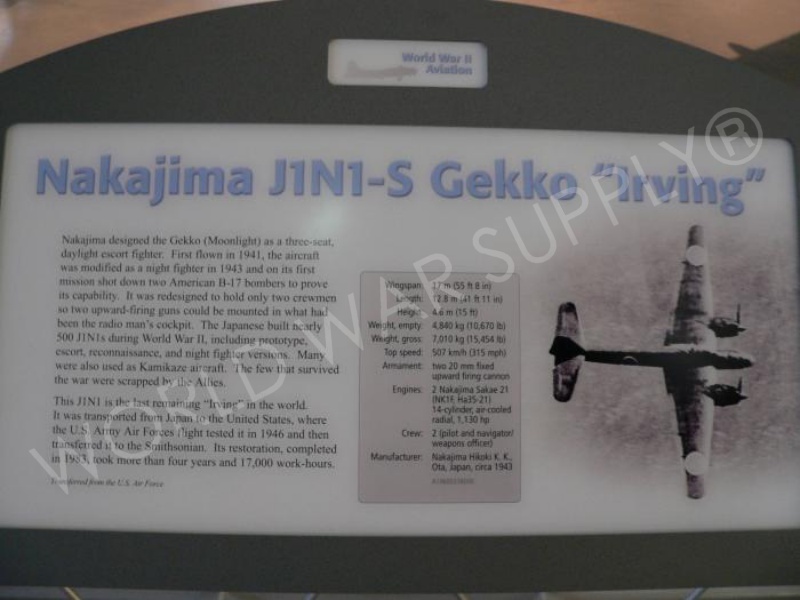 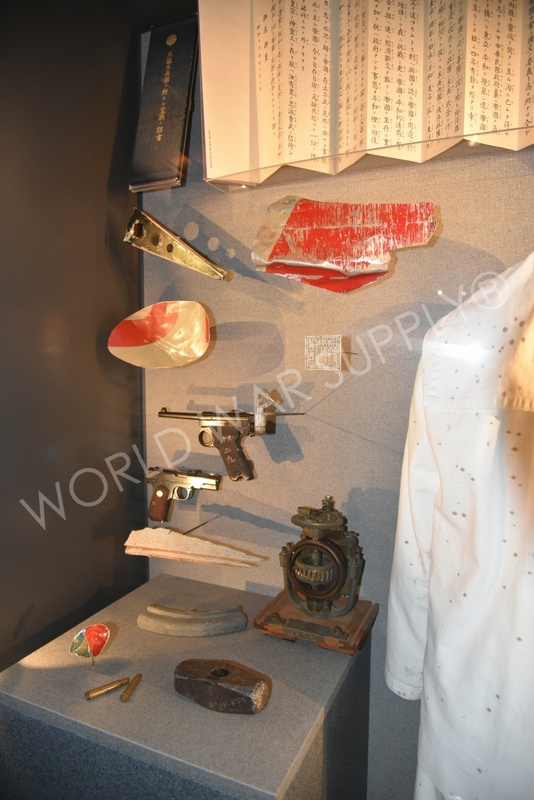 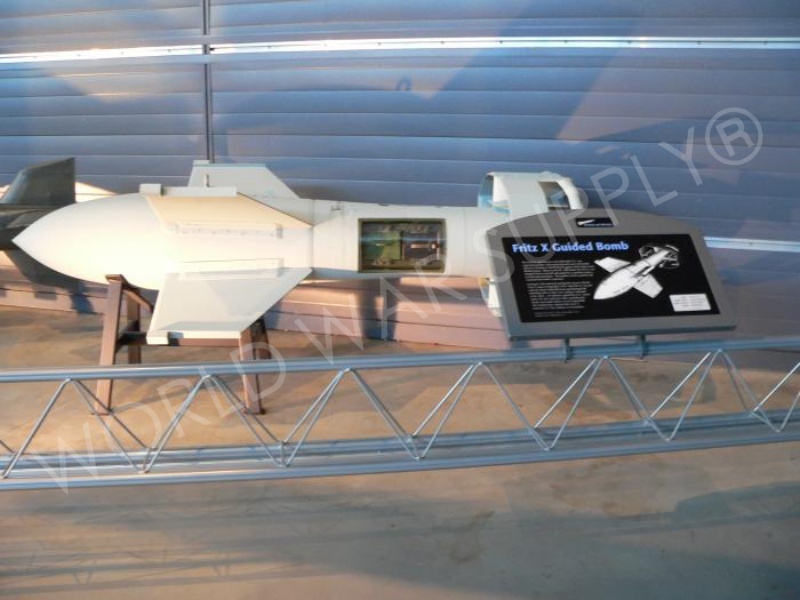 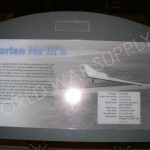 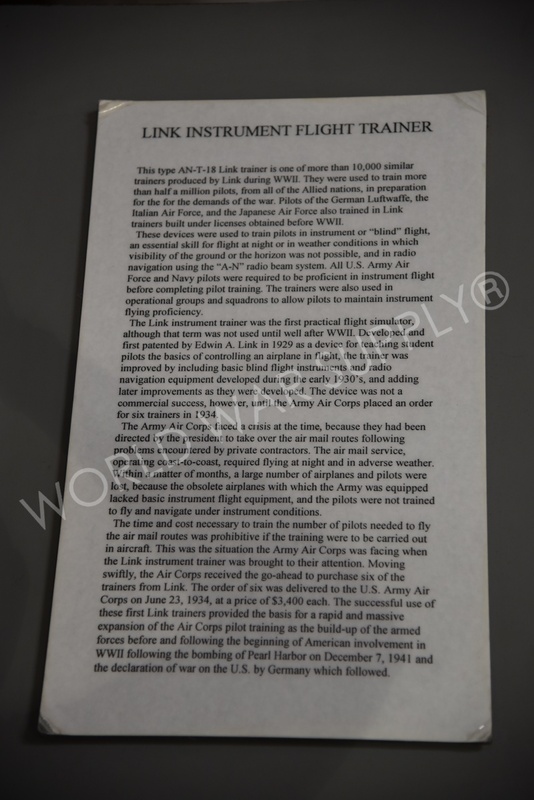 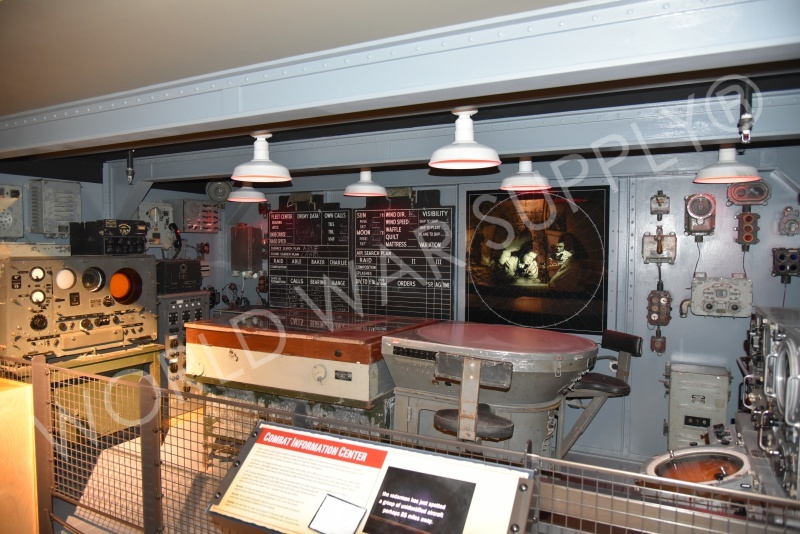 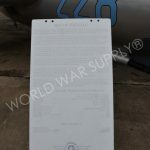 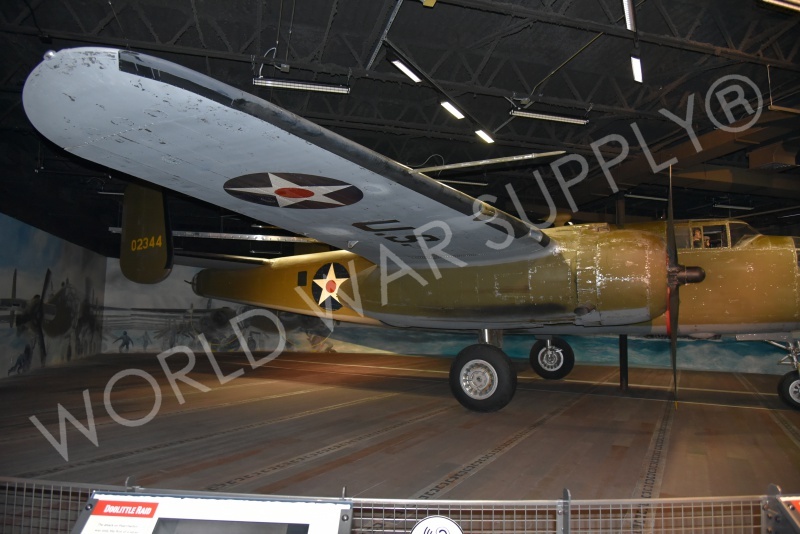 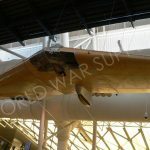 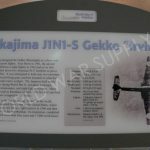 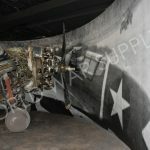 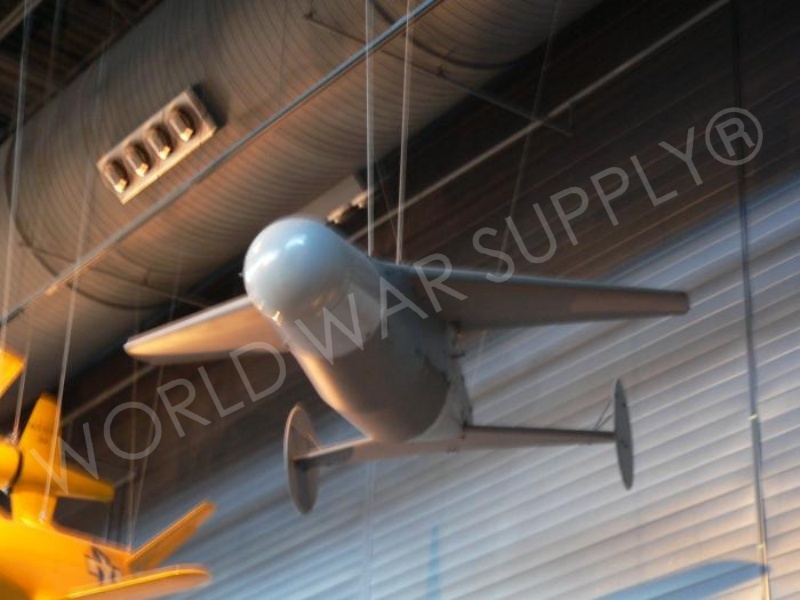 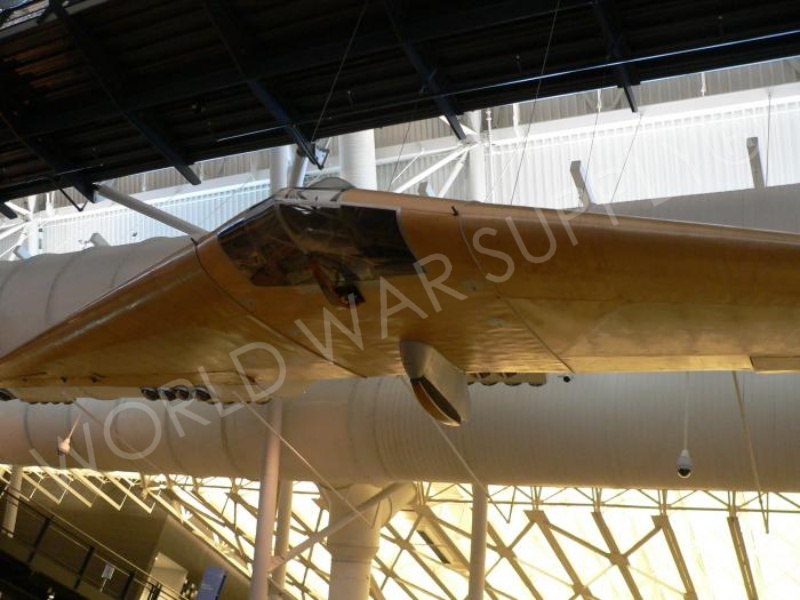 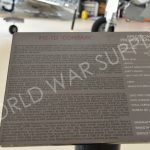 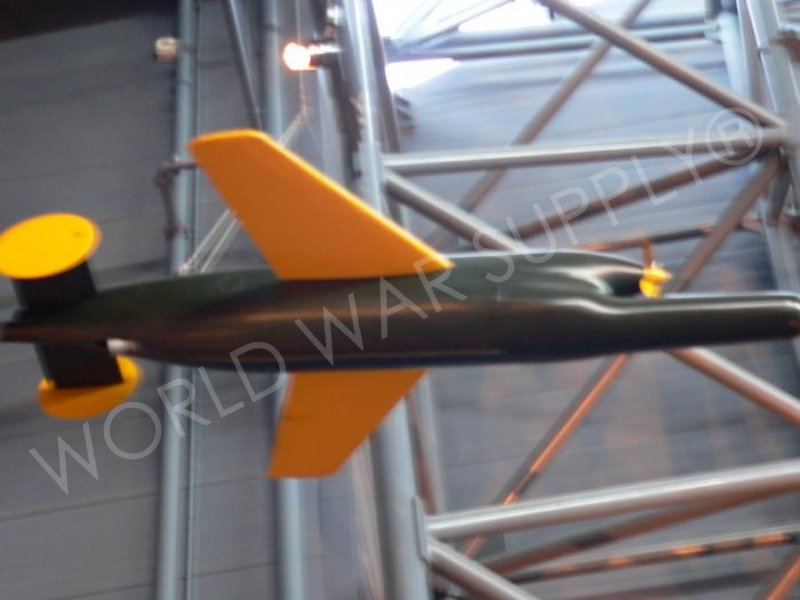 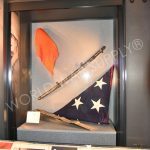 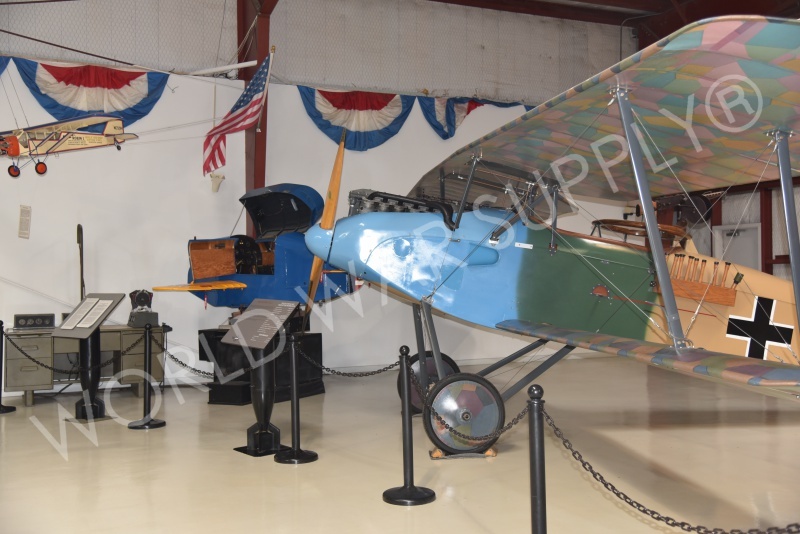 They offer floating exhibits of planes flown through various wars and used in various time periods. 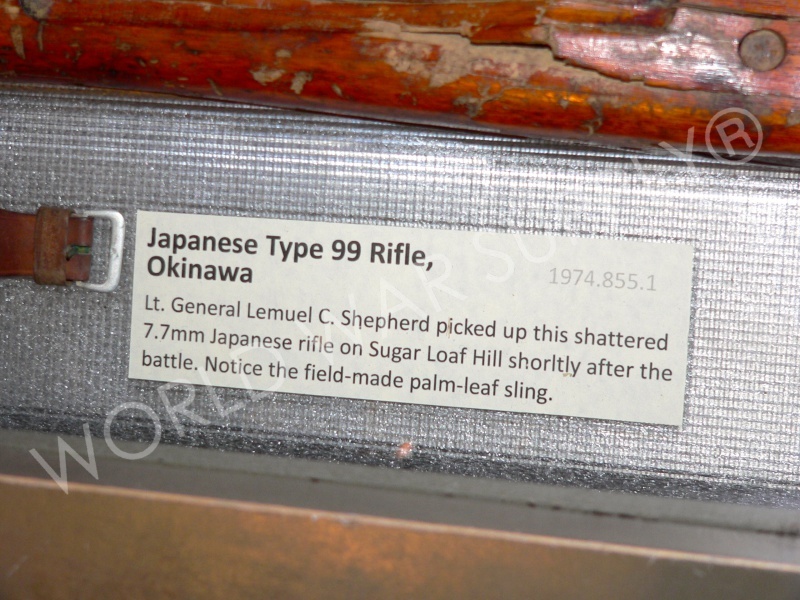 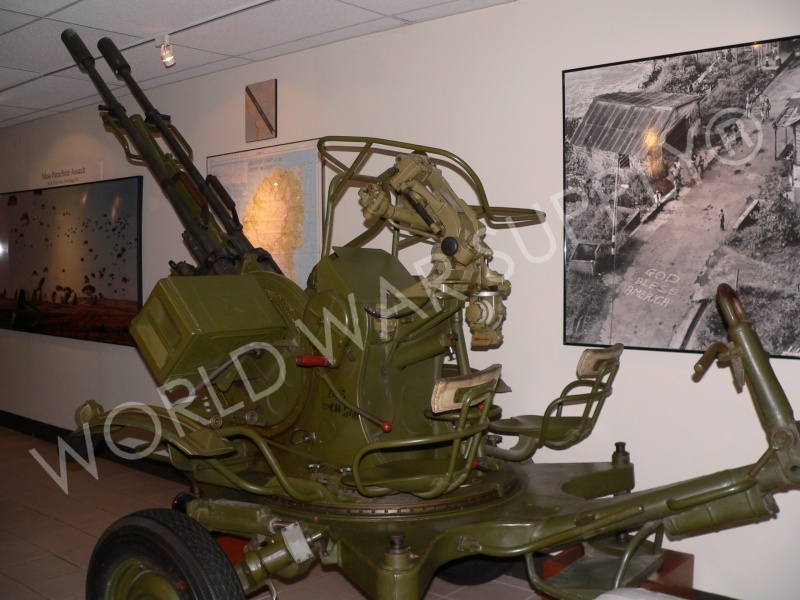 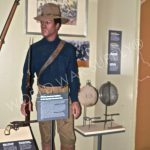 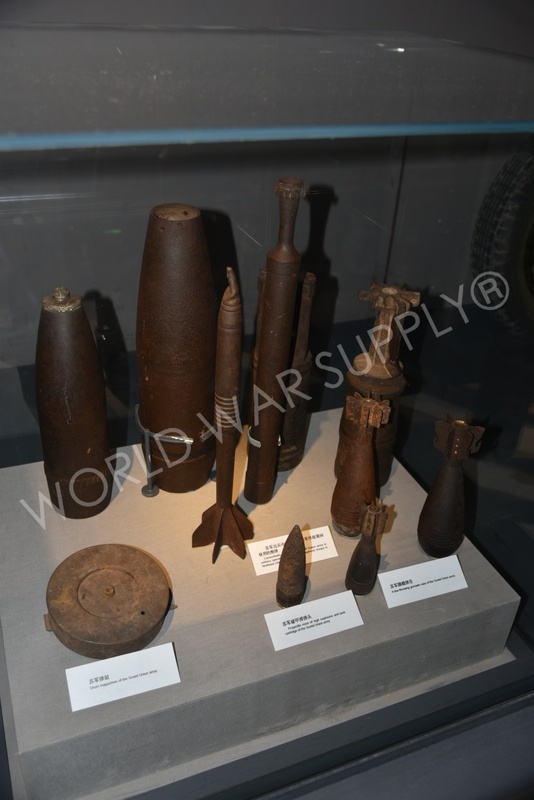 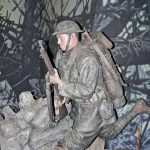 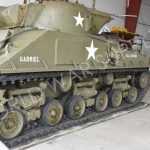 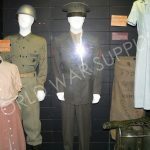 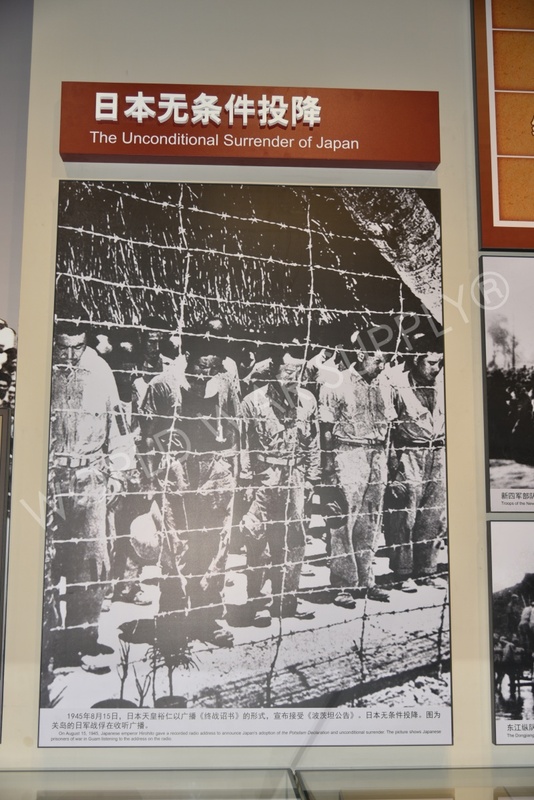 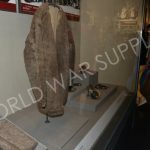 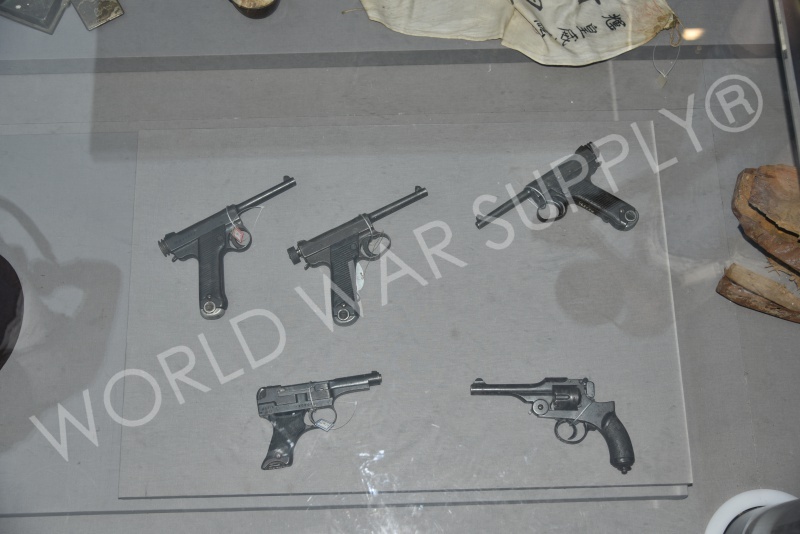 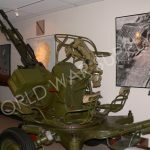 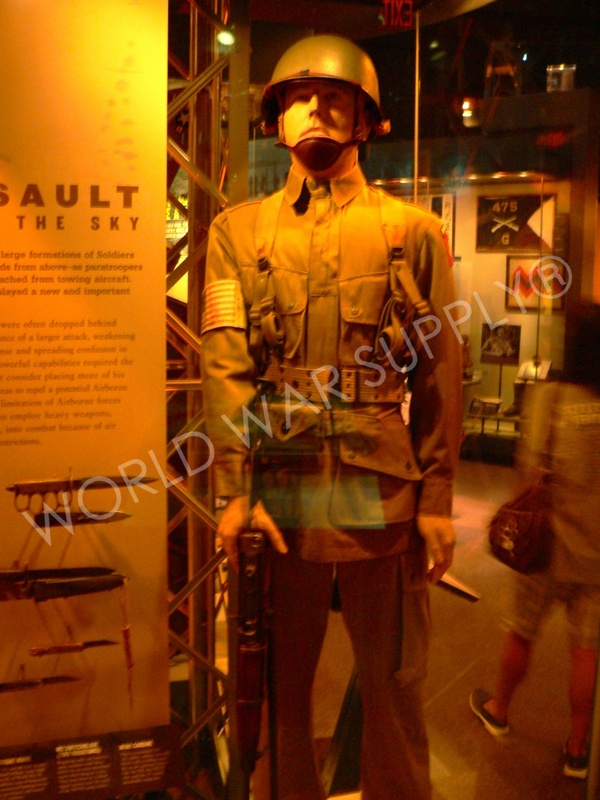 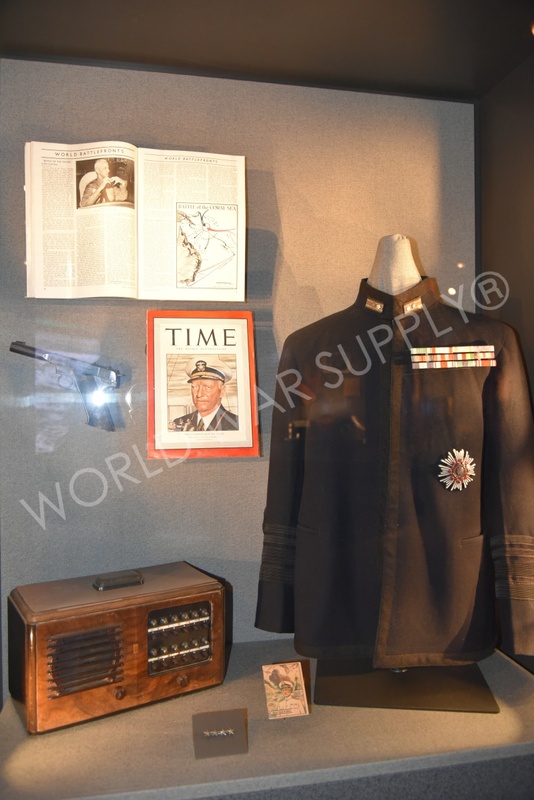 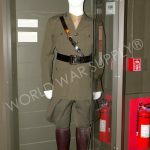 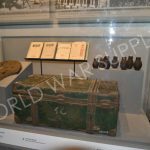 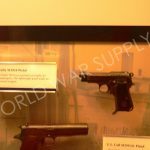 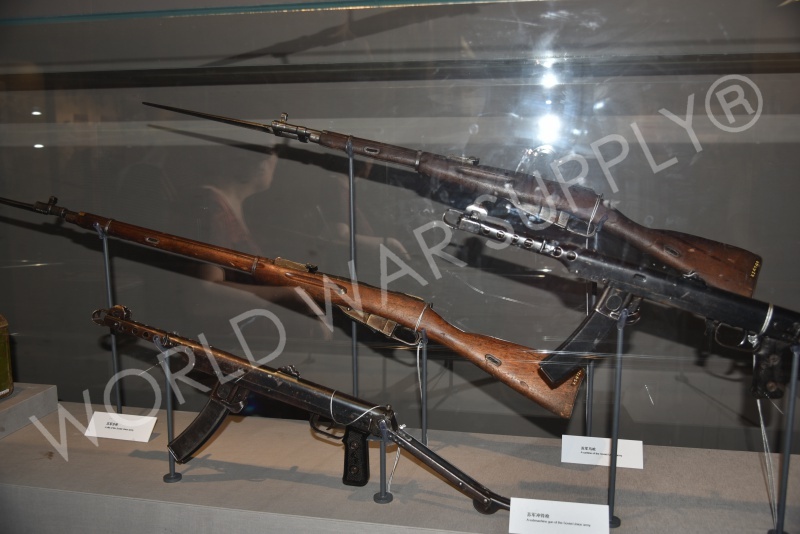 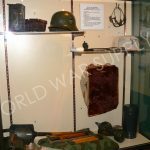 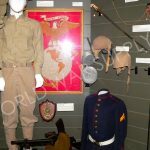 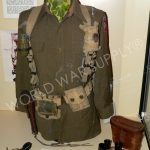 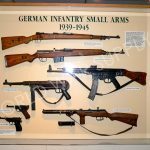 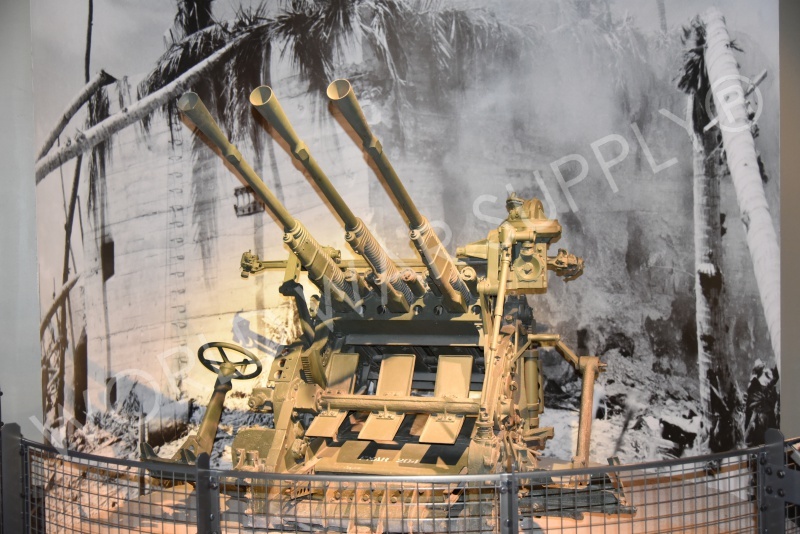 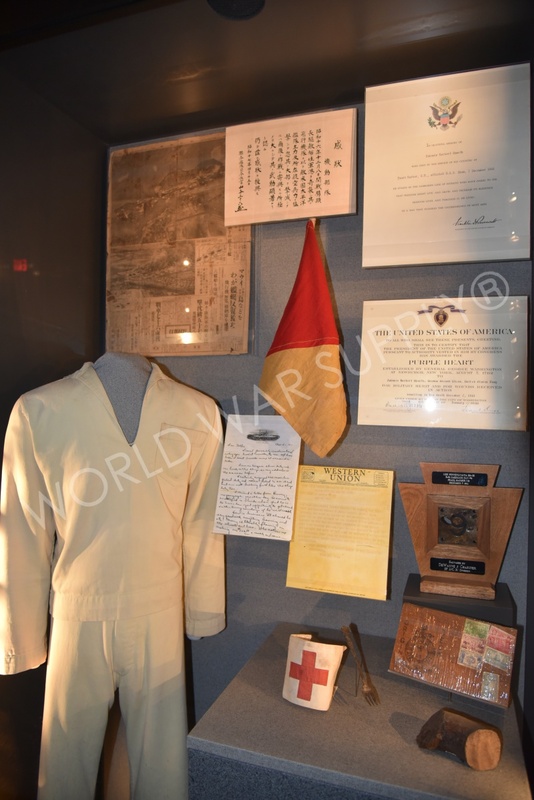 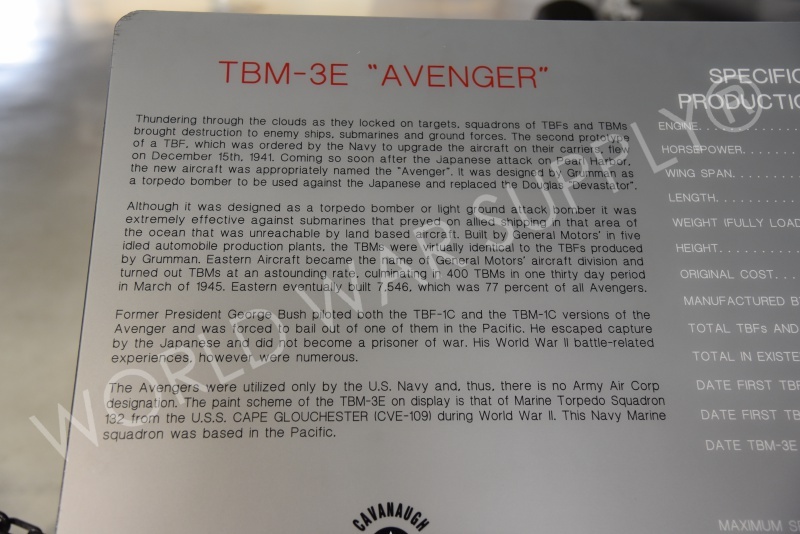 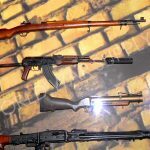 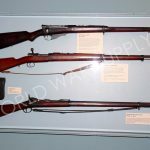 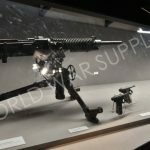 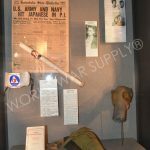 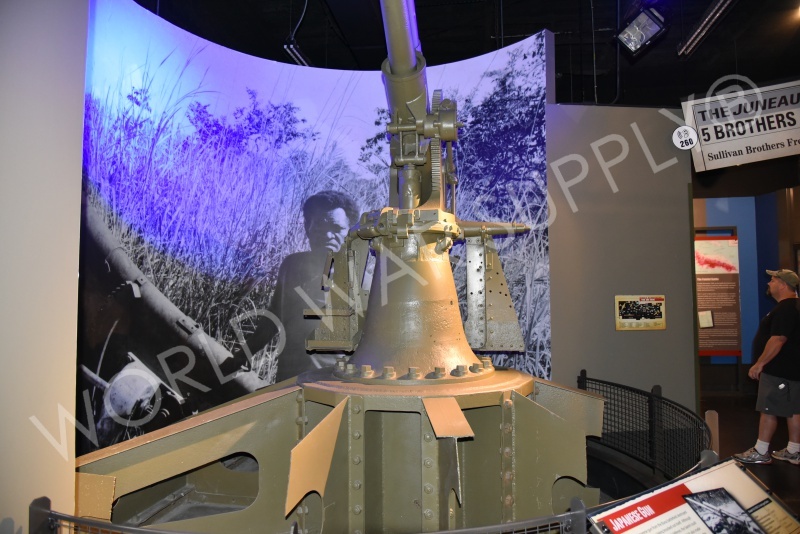 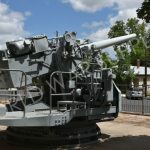 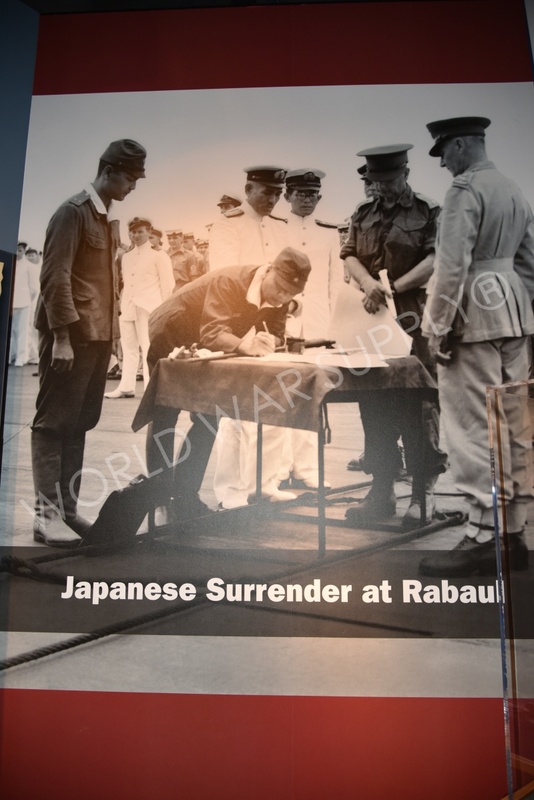 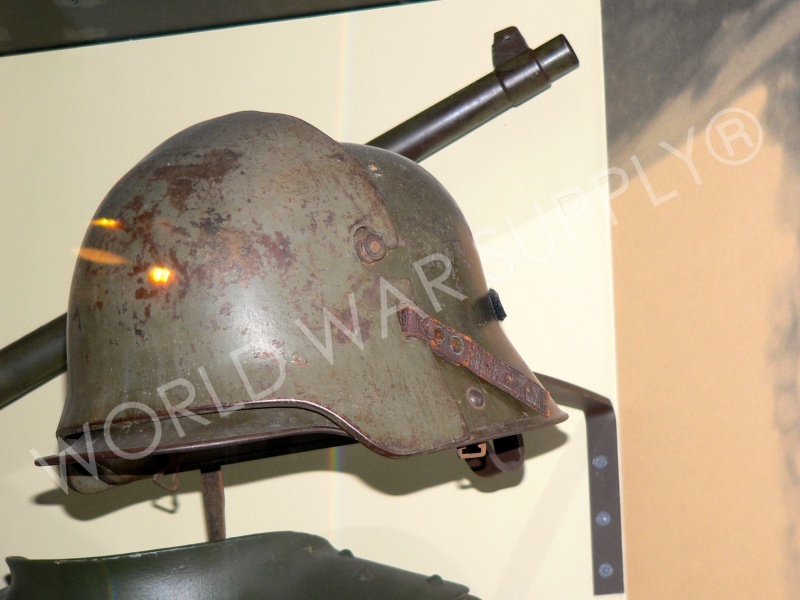 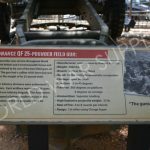 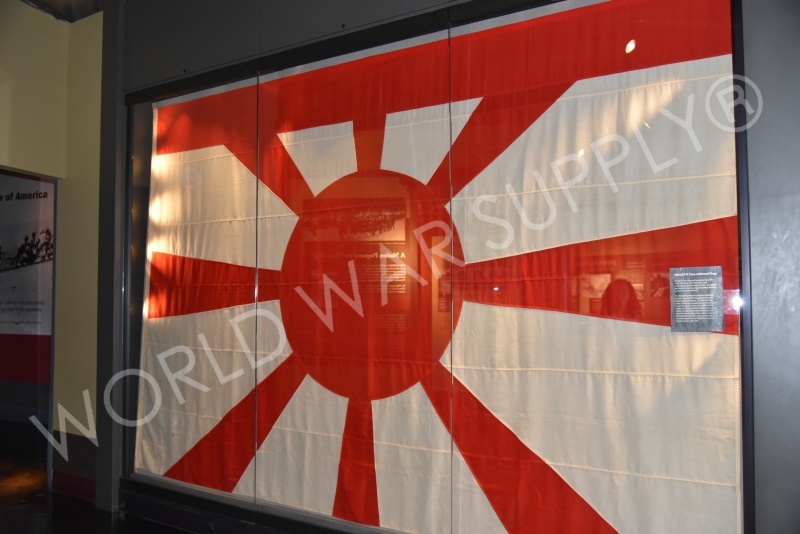 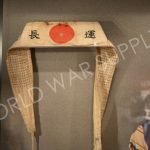 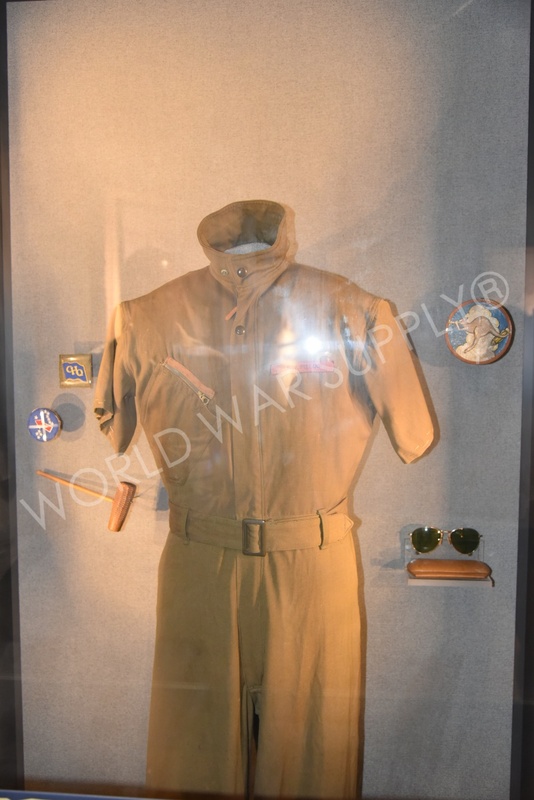 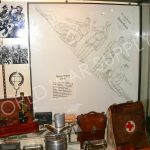 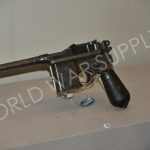 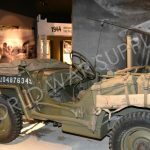 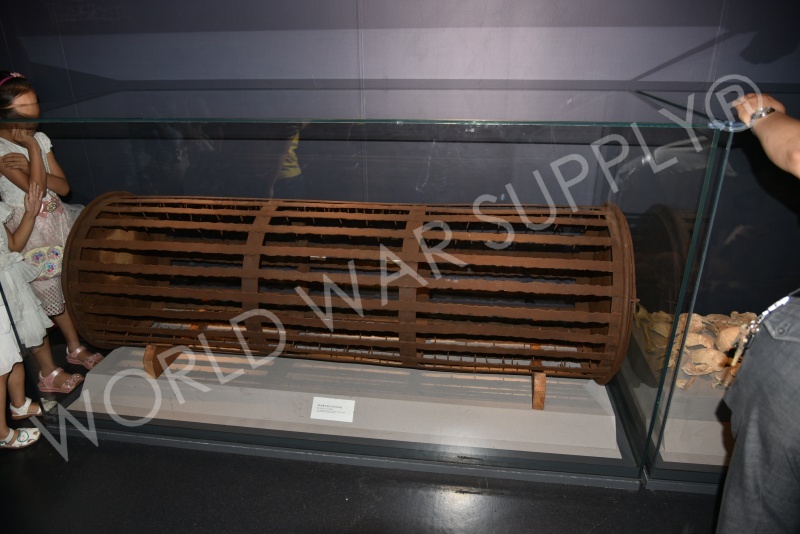 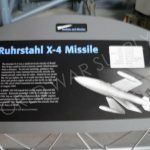 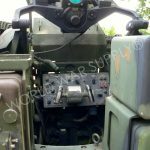 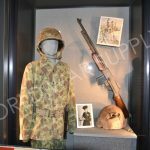 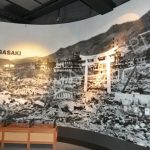 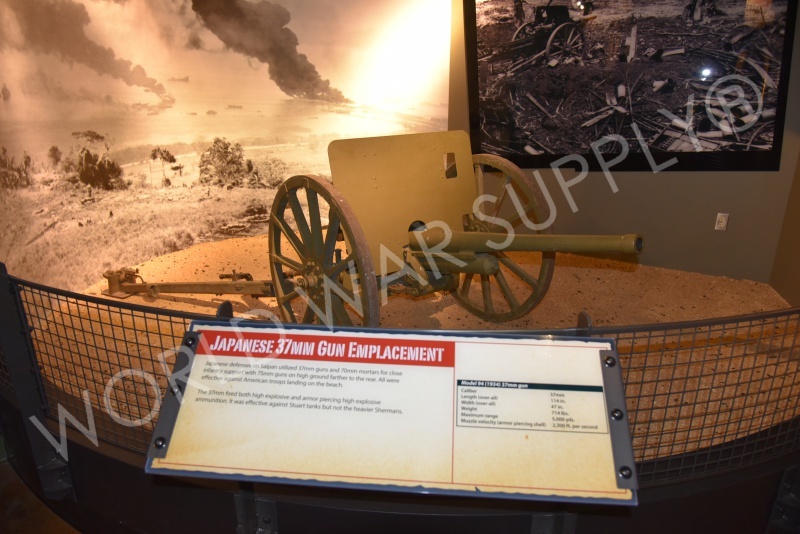 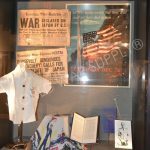 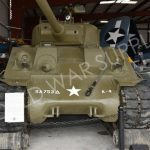 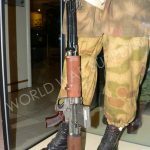 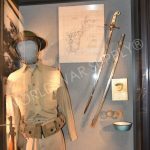 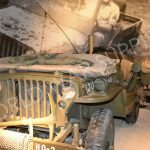 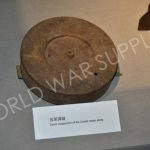 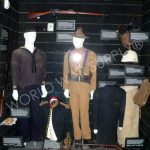 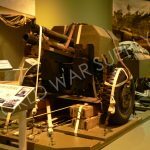 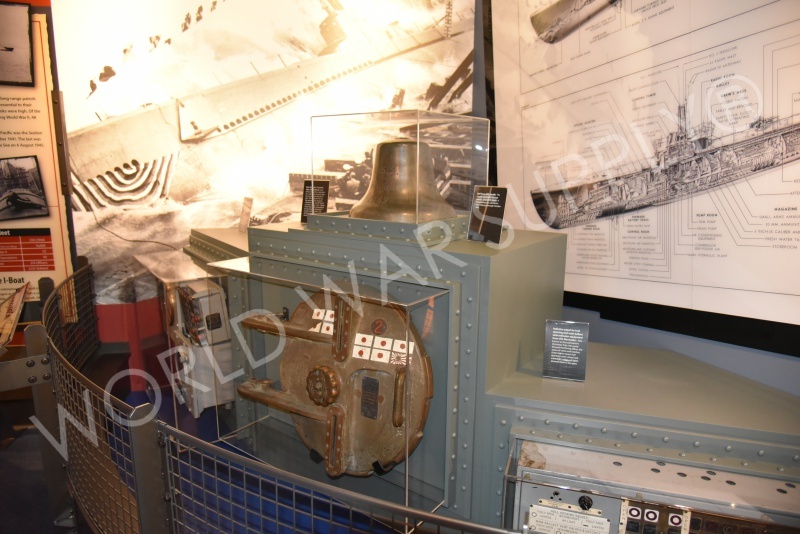 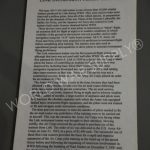 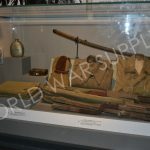 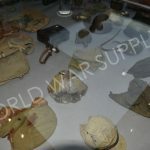 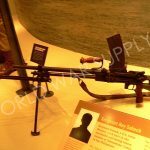 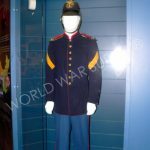 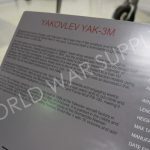 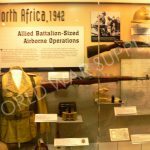 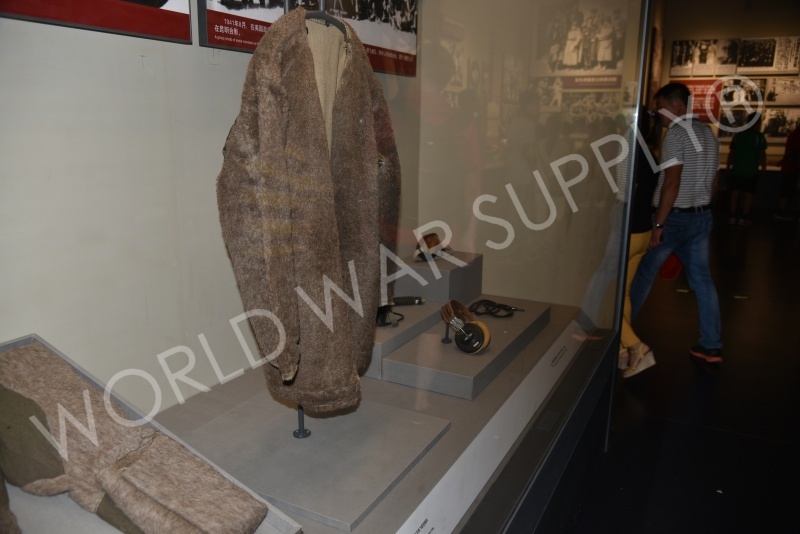 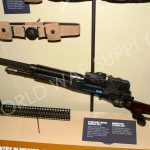 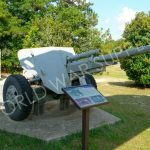 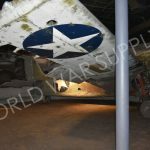 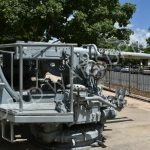 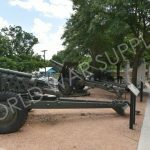 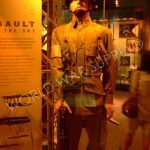 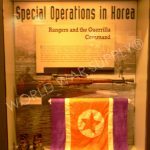 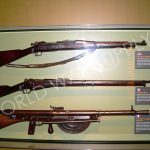 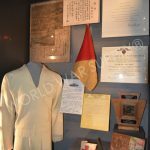 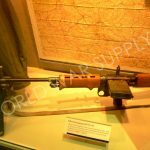 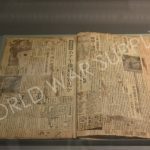 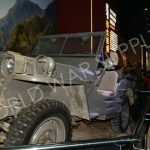 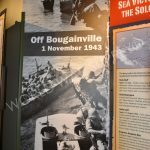 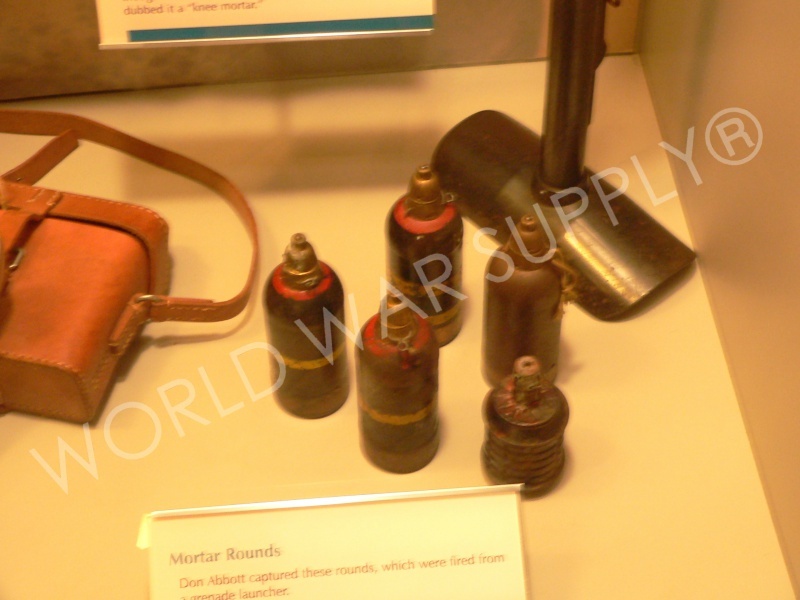 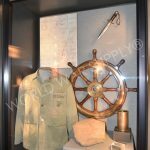 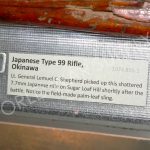 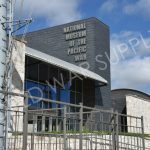 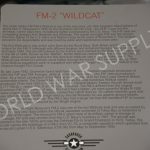 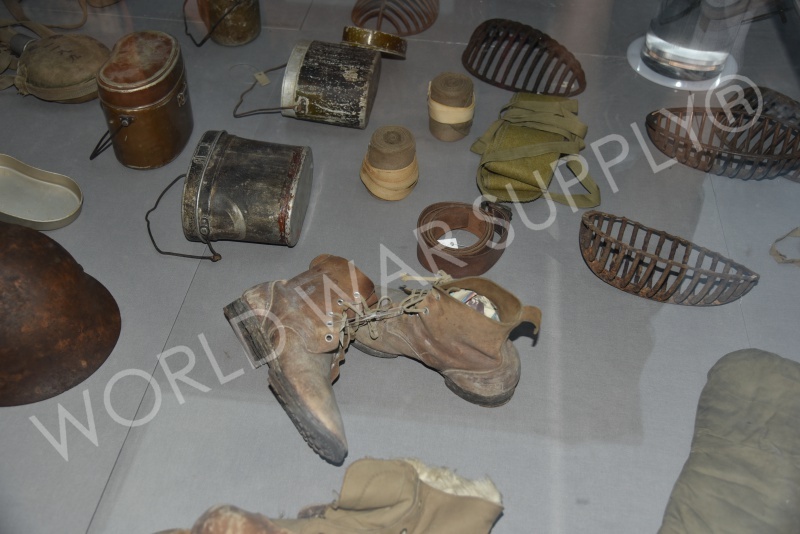 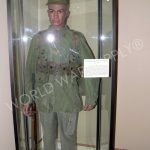 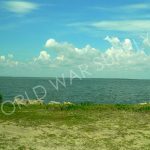 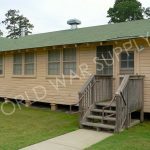 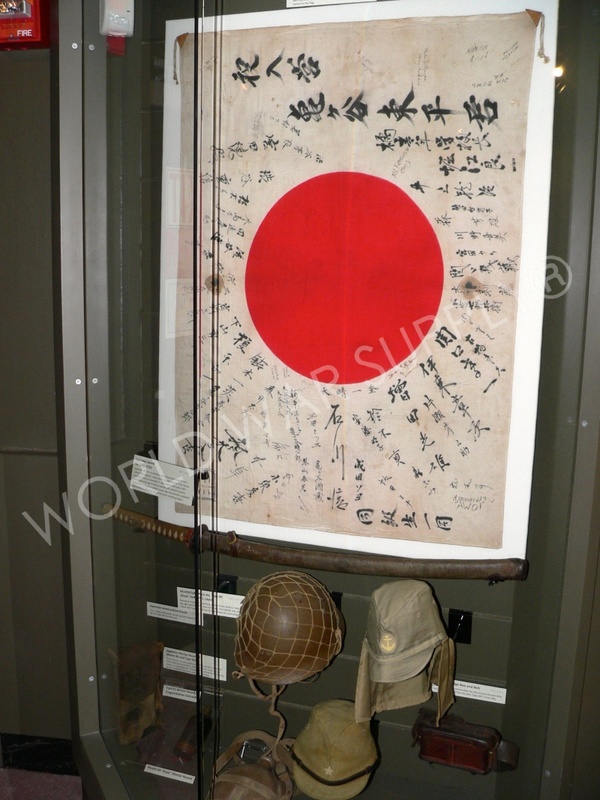 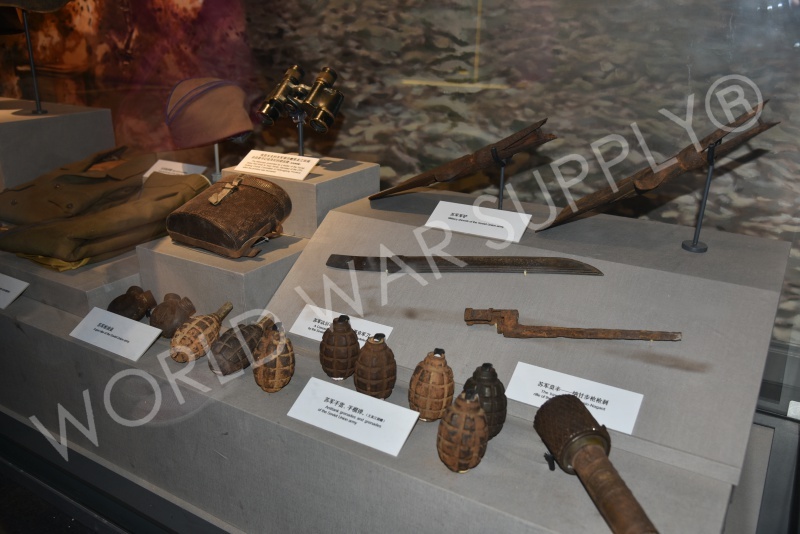 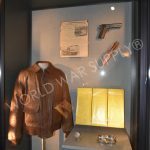 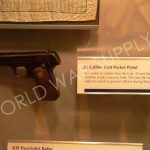 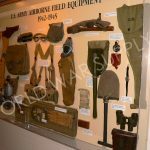 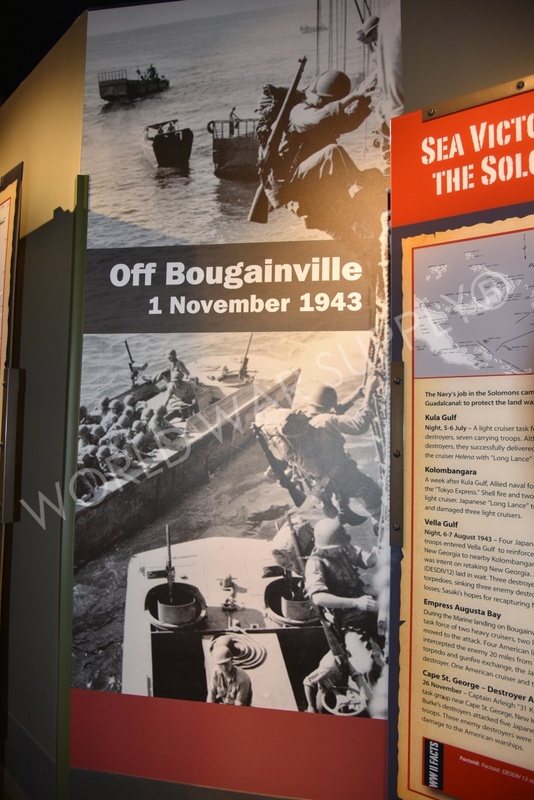 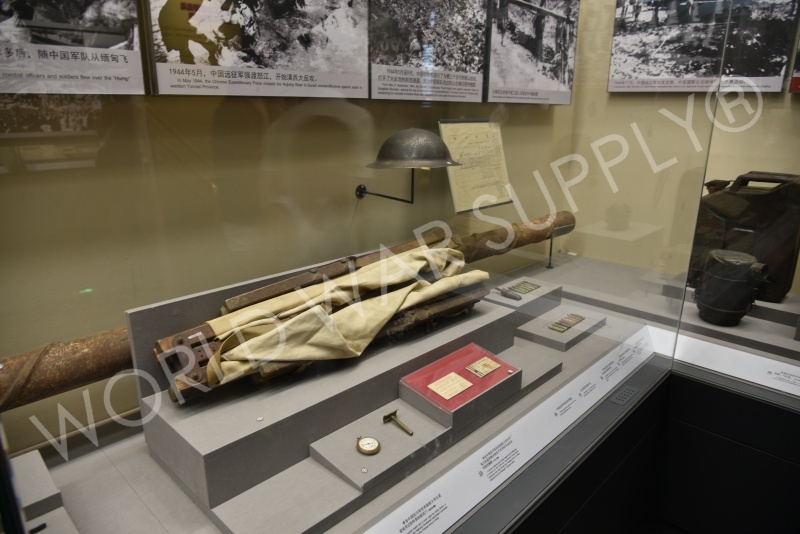 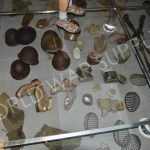 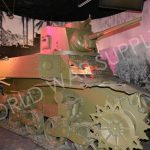 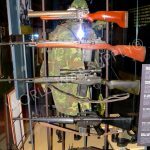 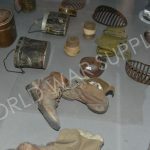 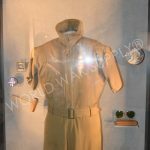 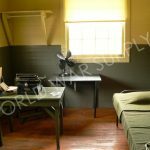 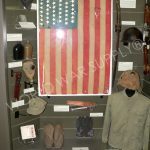 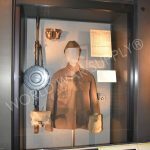 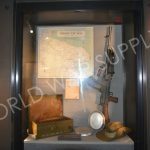 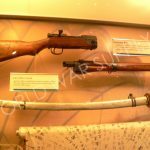 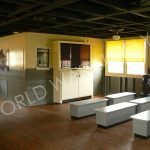 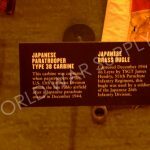 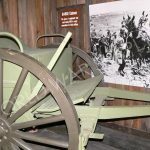 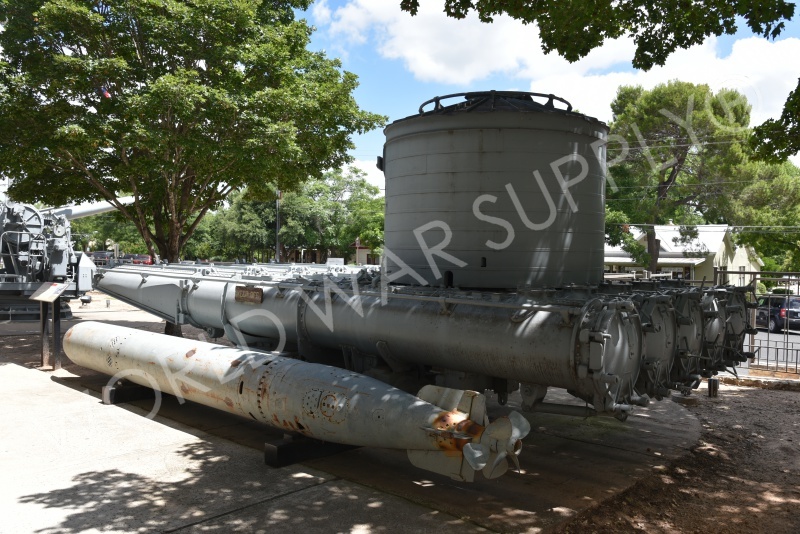 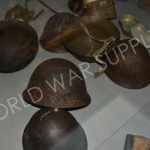 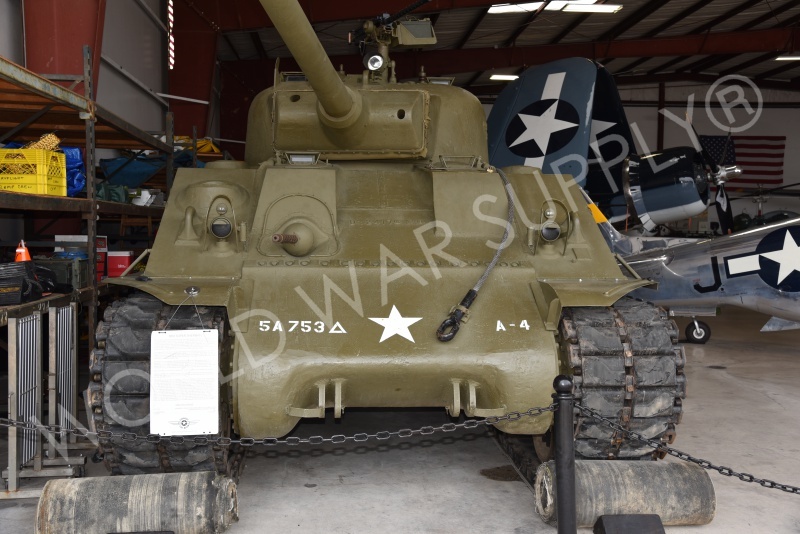 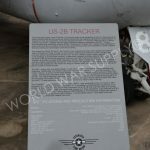 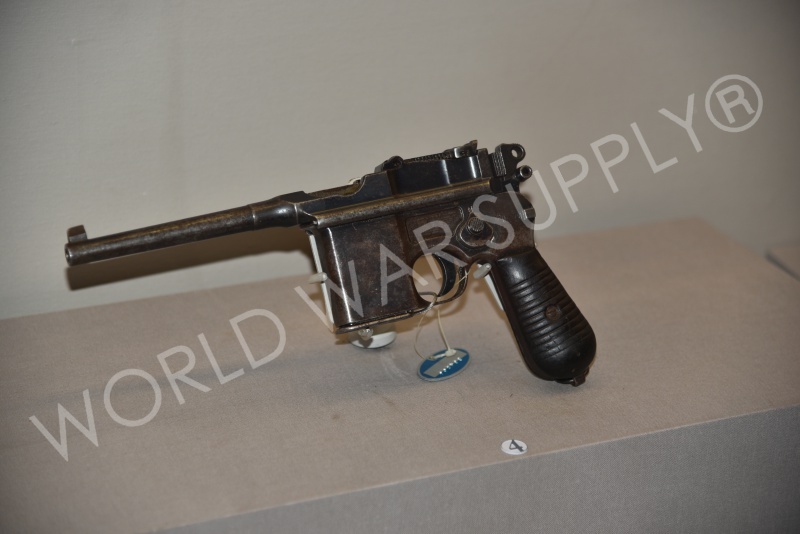 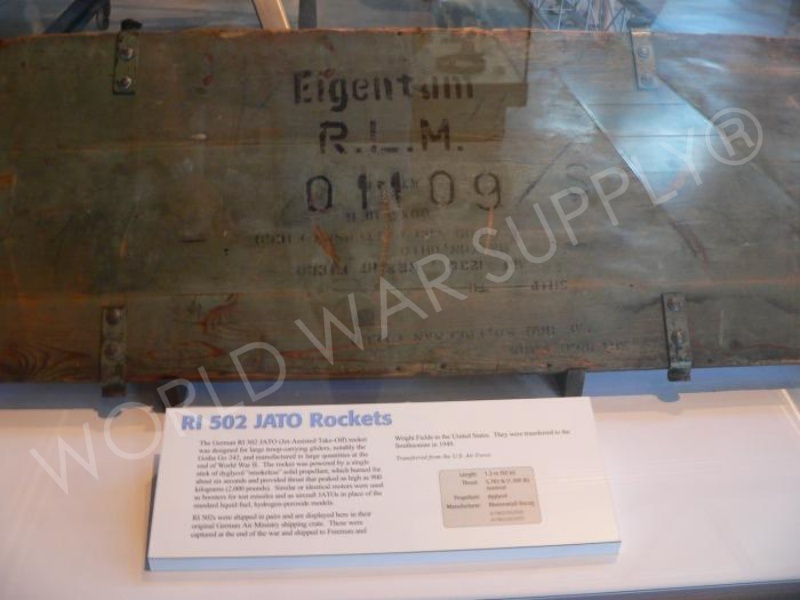 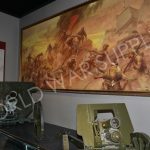 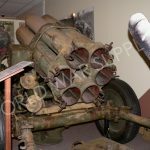 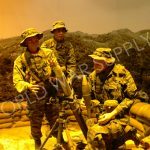 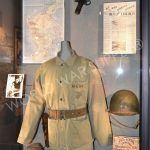 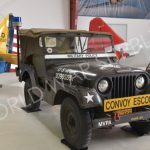 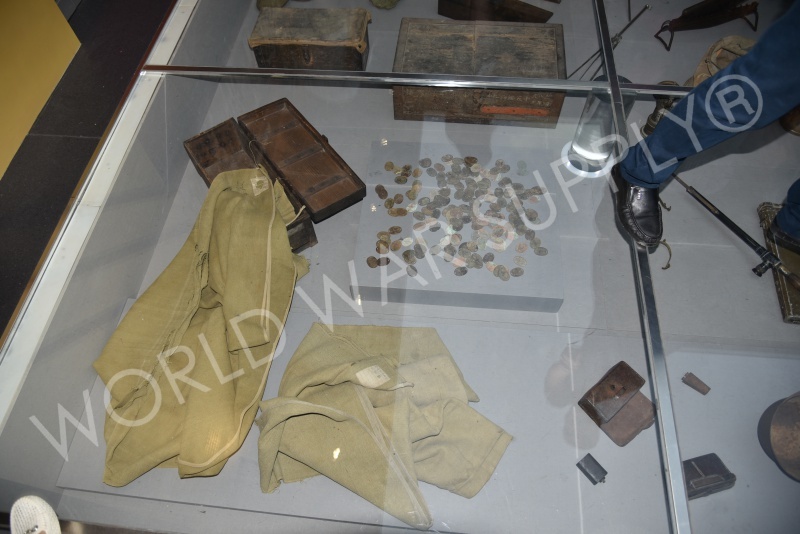 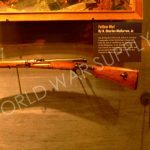 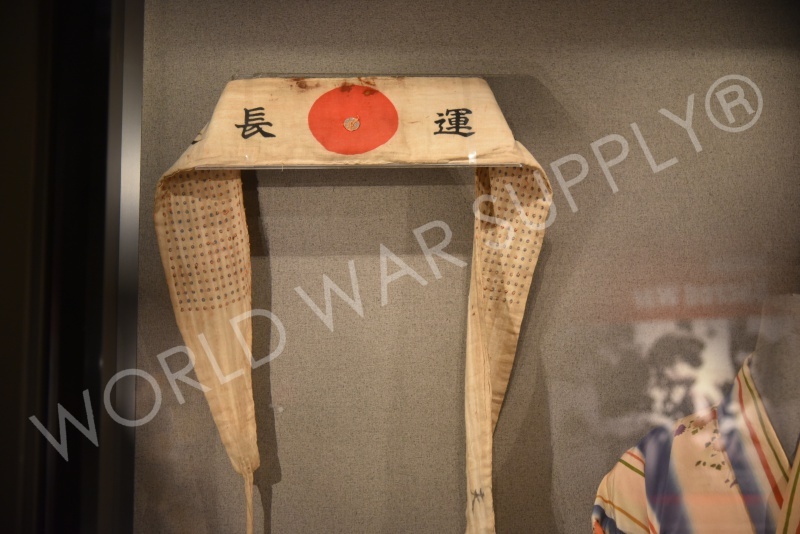 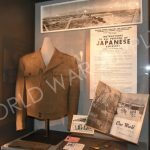 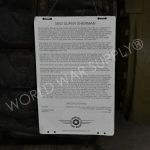 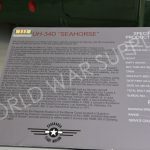 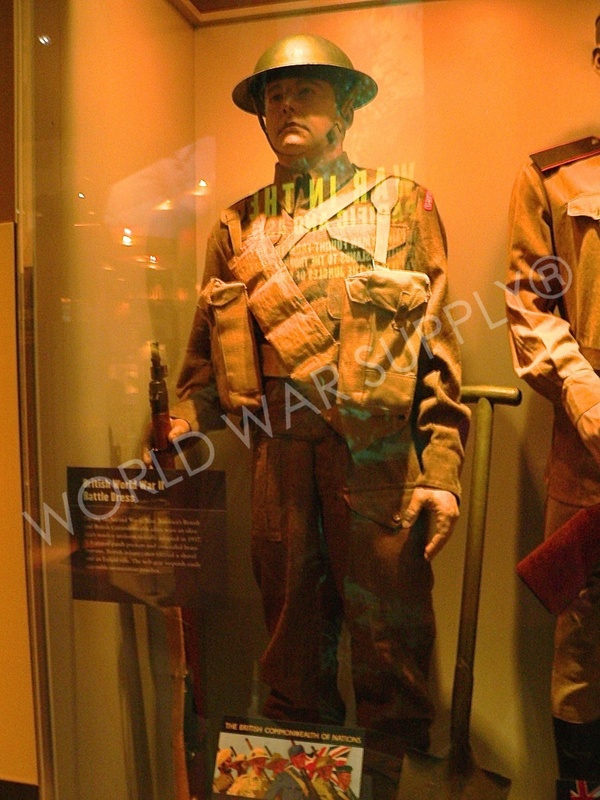 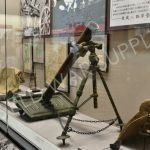 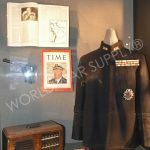 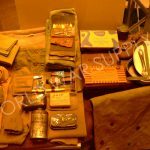 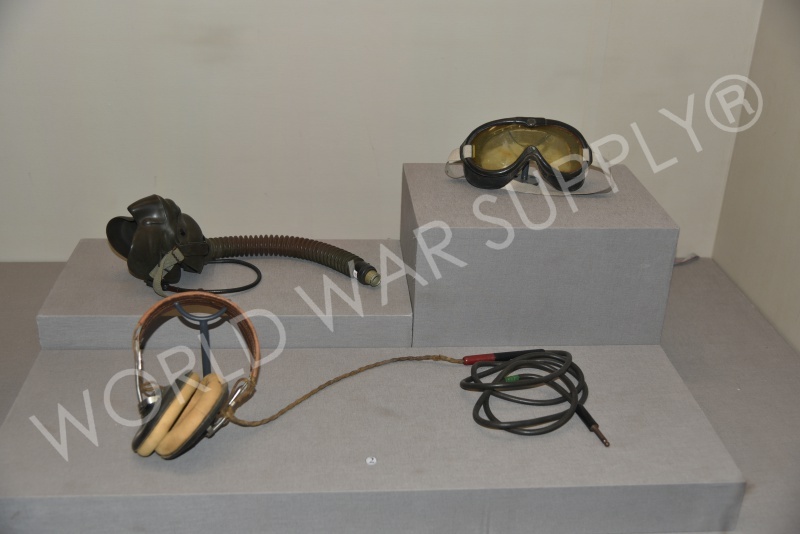 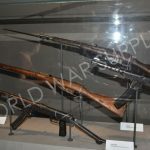 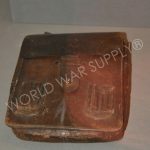 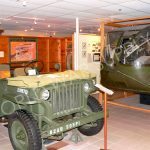 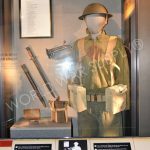 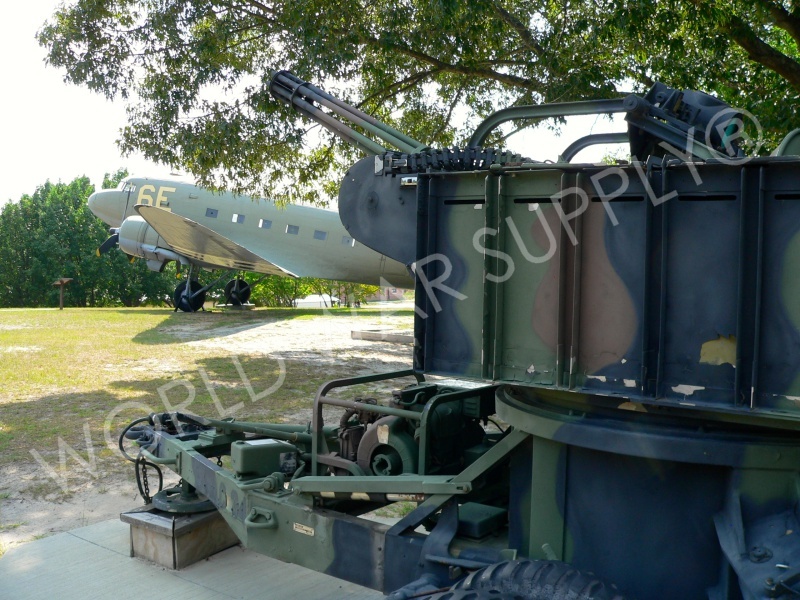 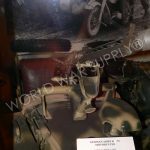 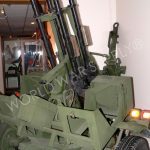 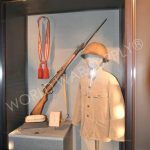 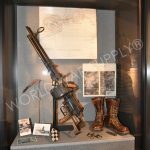 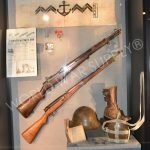 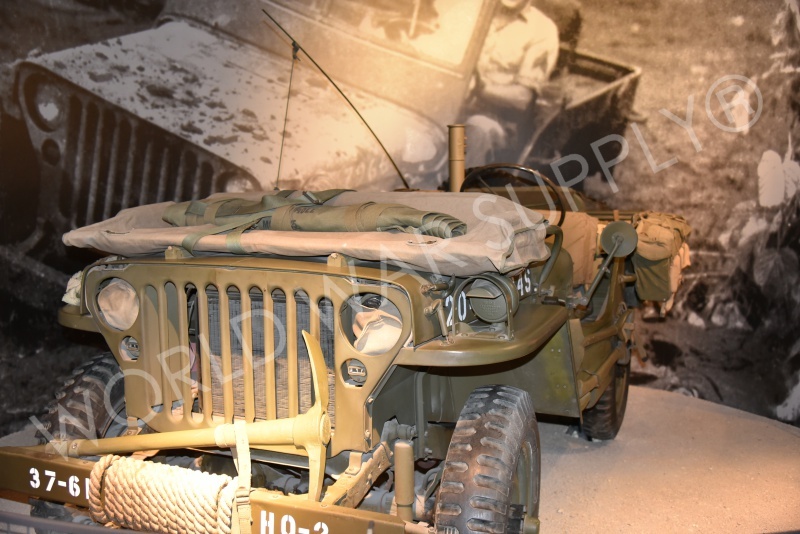 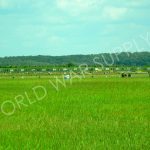 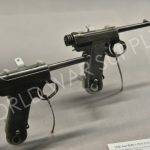 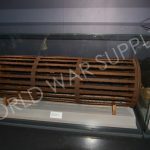 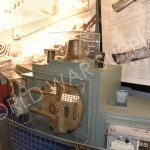 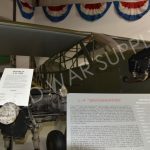 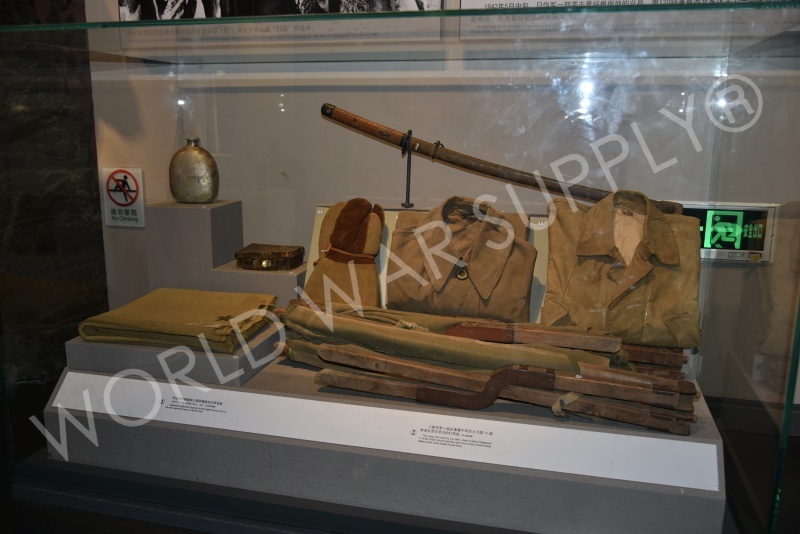 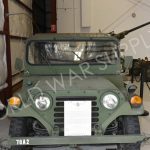 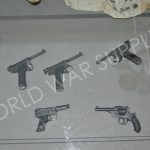 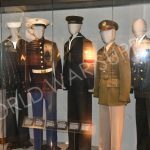 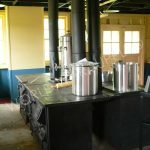 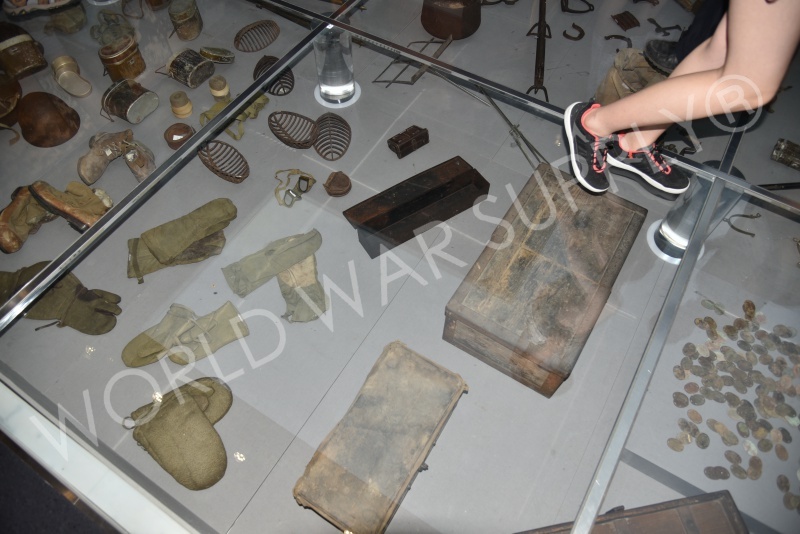 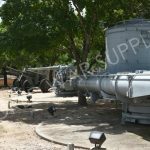 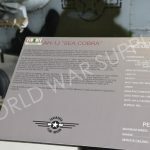 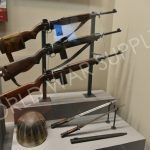 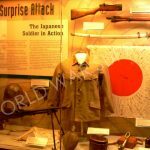 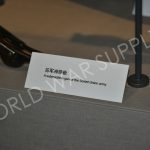 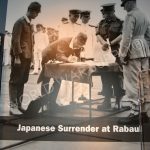 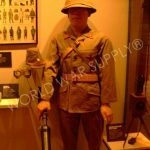 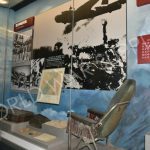 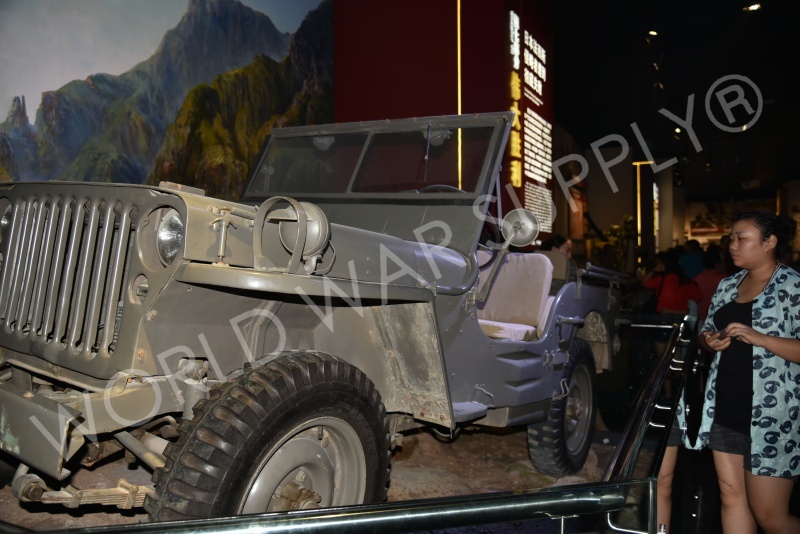 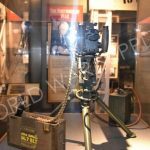 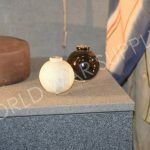 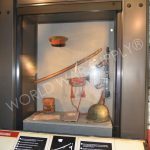 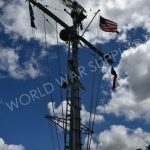 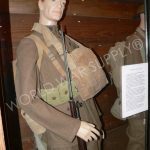 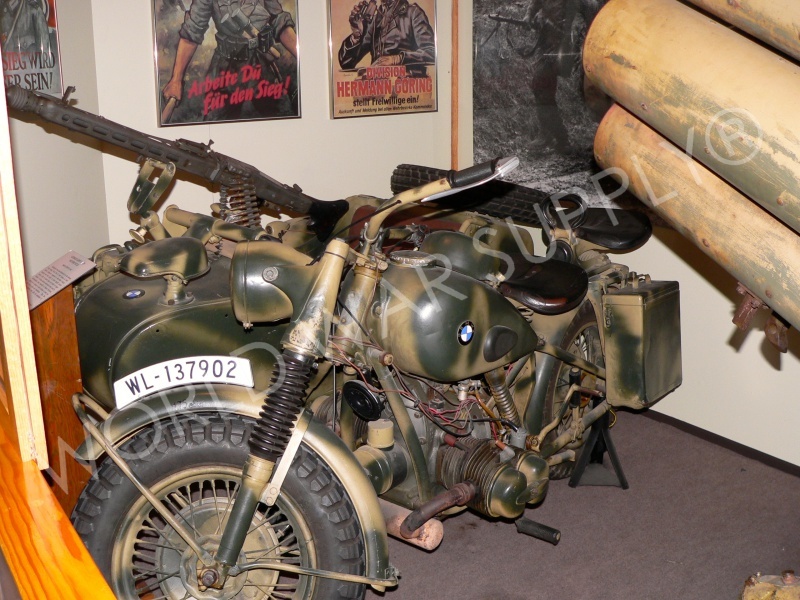 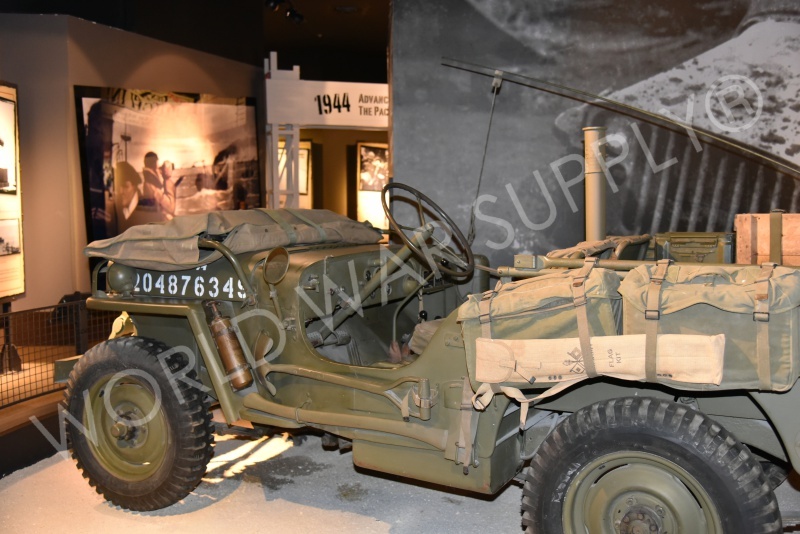 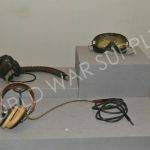 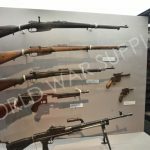 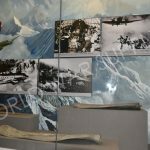 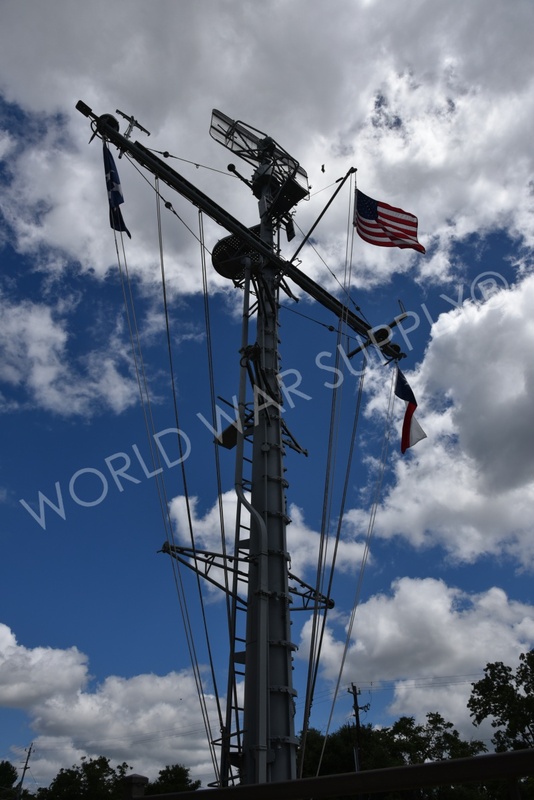 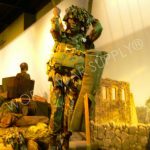 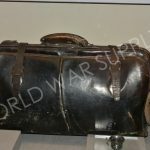 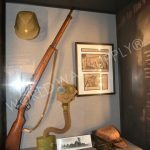 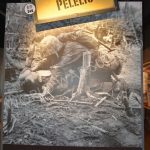 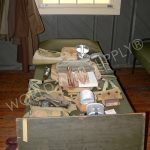 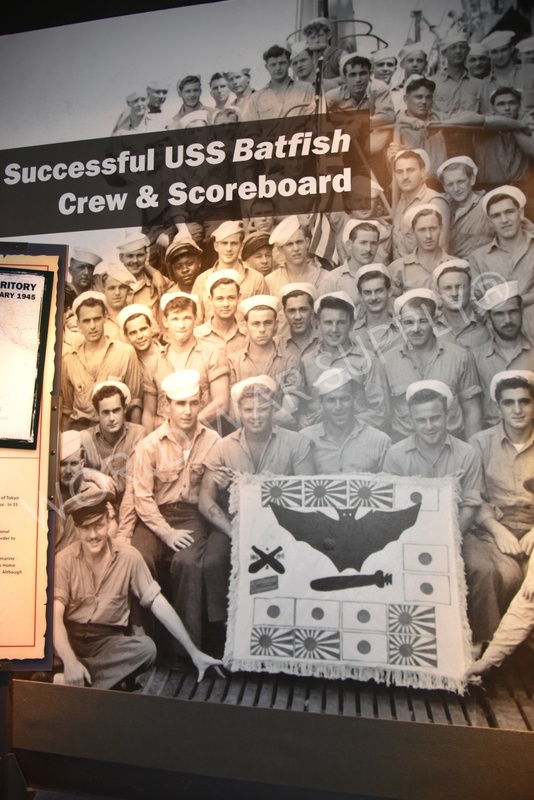 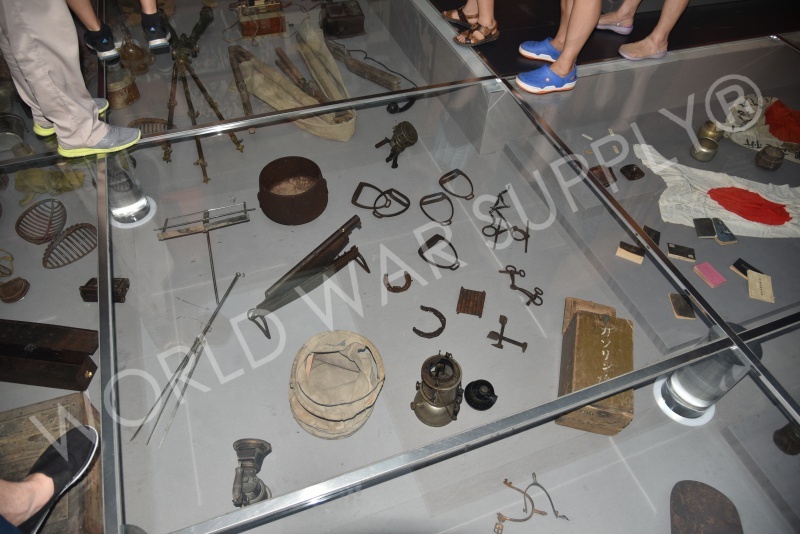 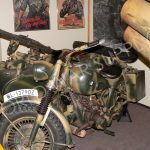 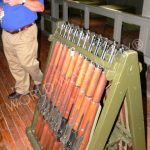 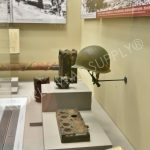 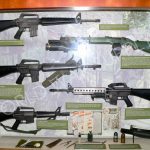 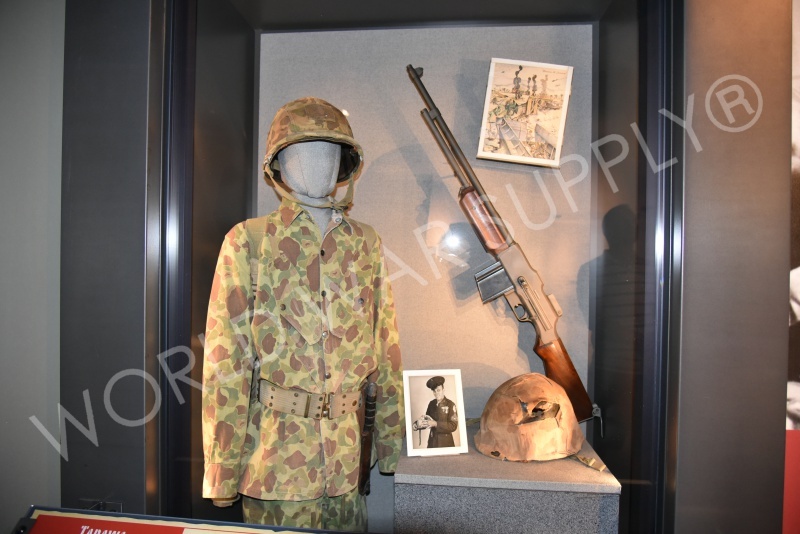 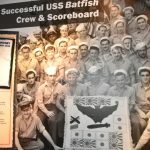 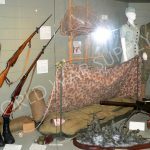 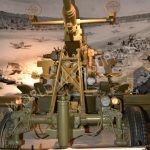 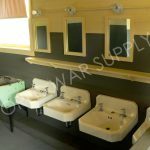 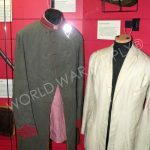 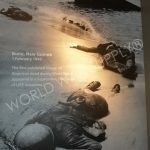 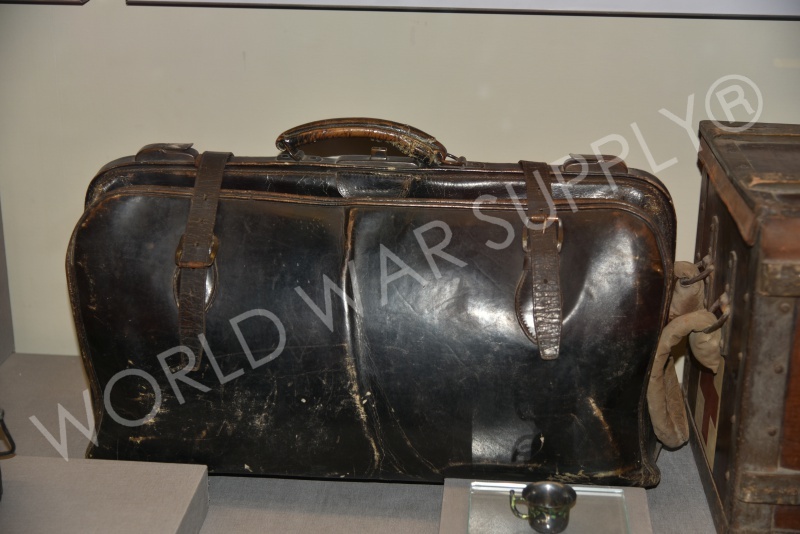 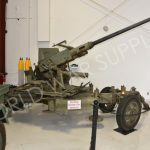 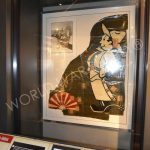 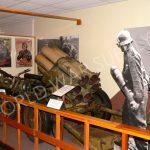 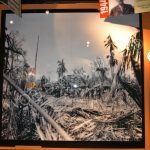 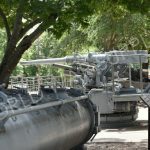 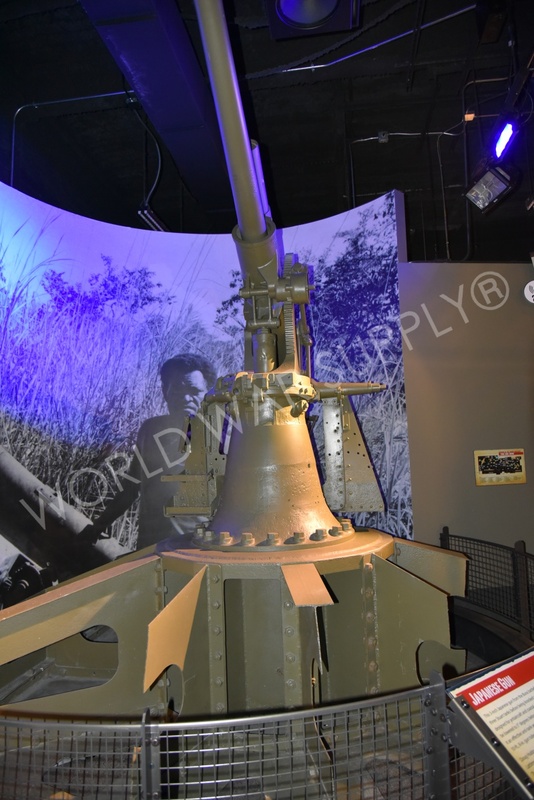 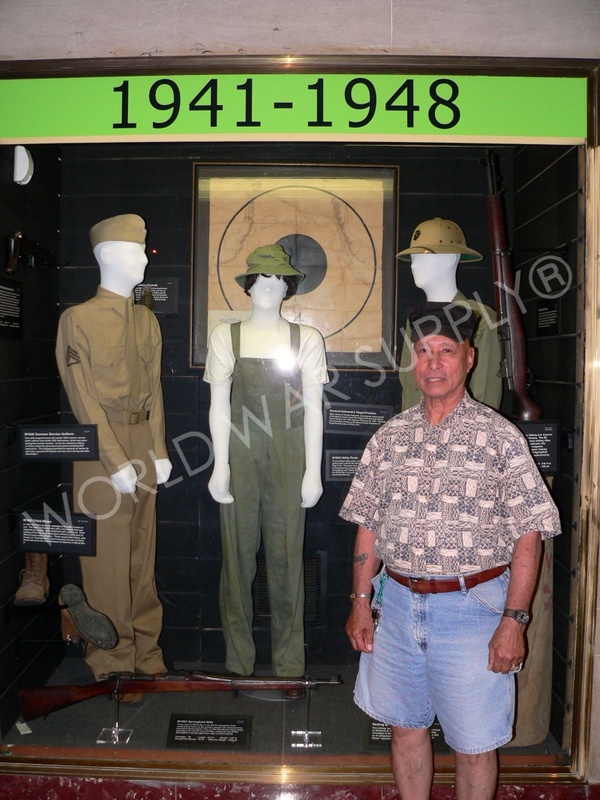 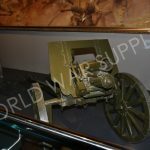 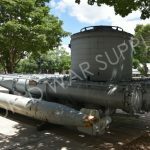 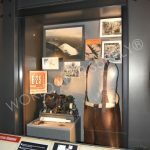 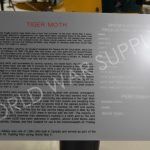 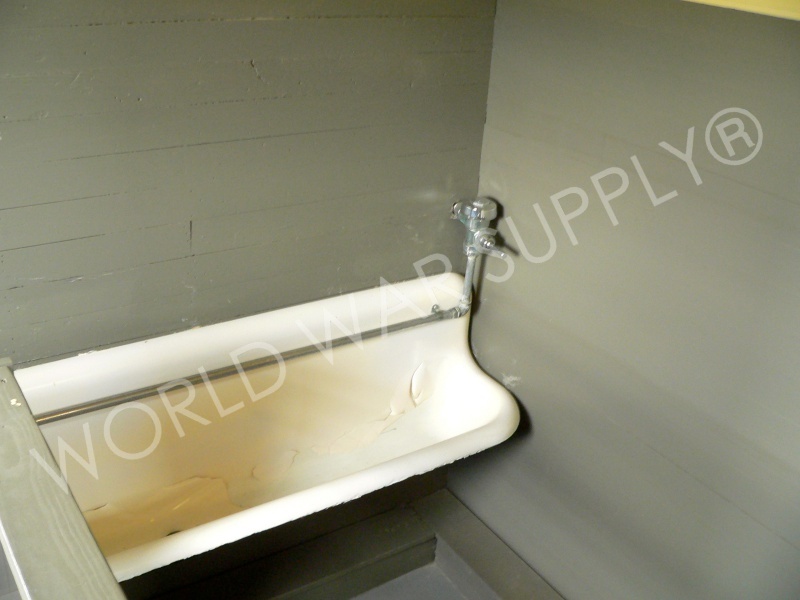 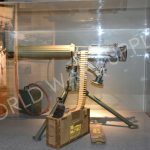 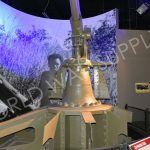 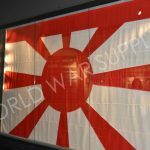 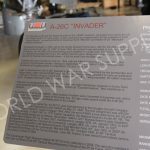 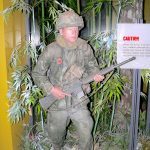 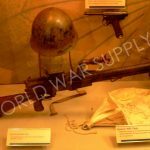 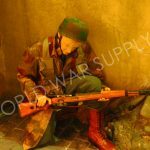 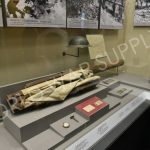 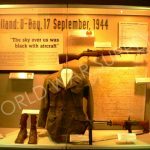 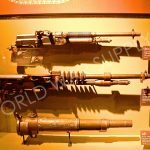 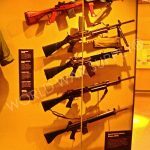 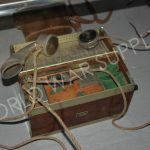 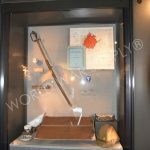 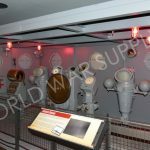 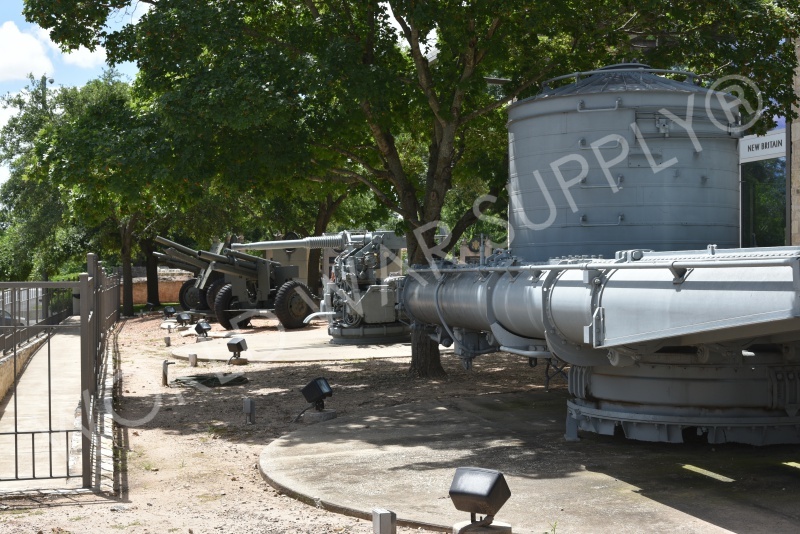 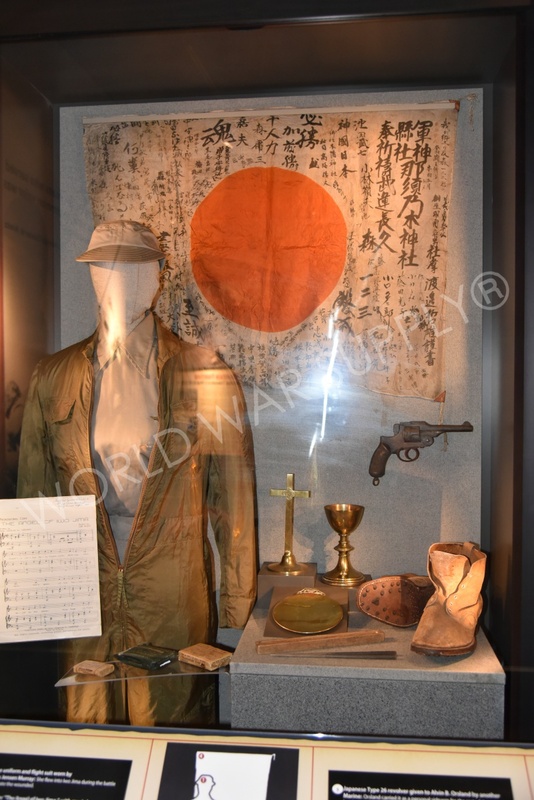 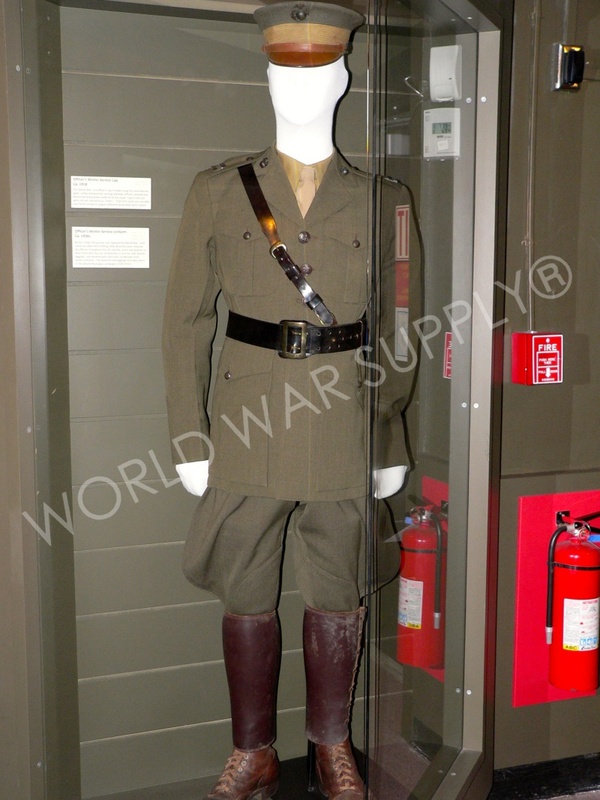 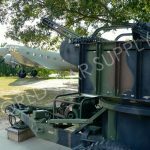 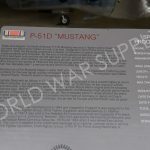 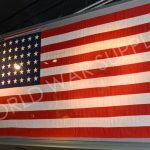 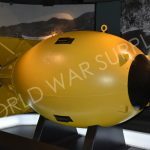 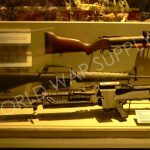 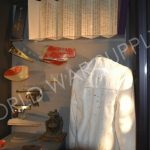 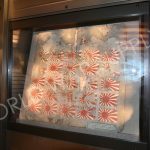 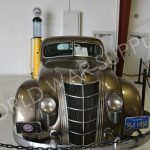 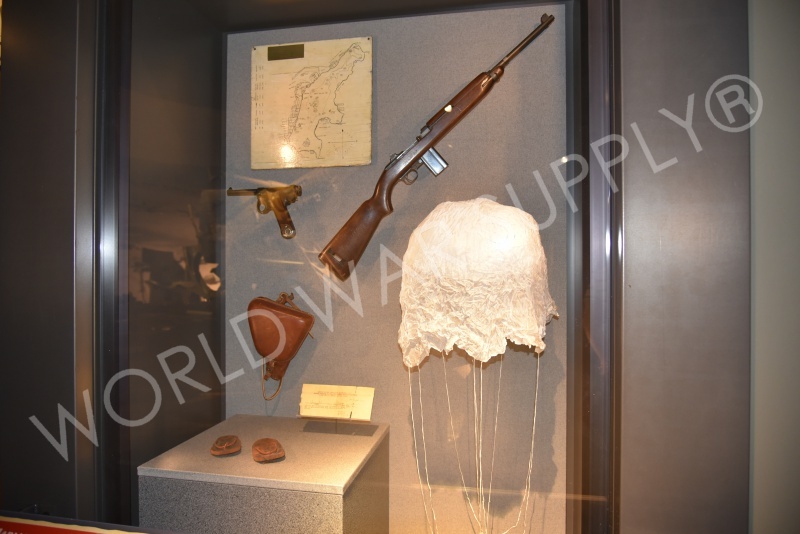 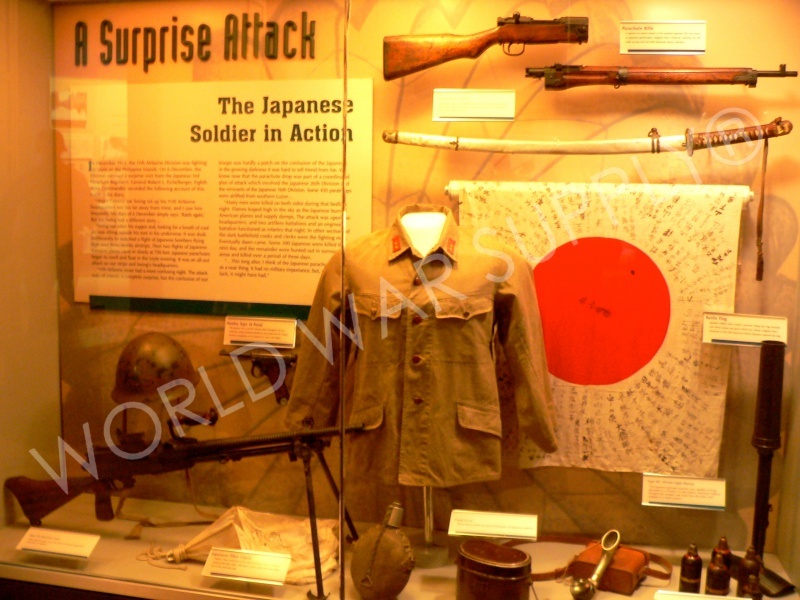 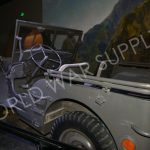 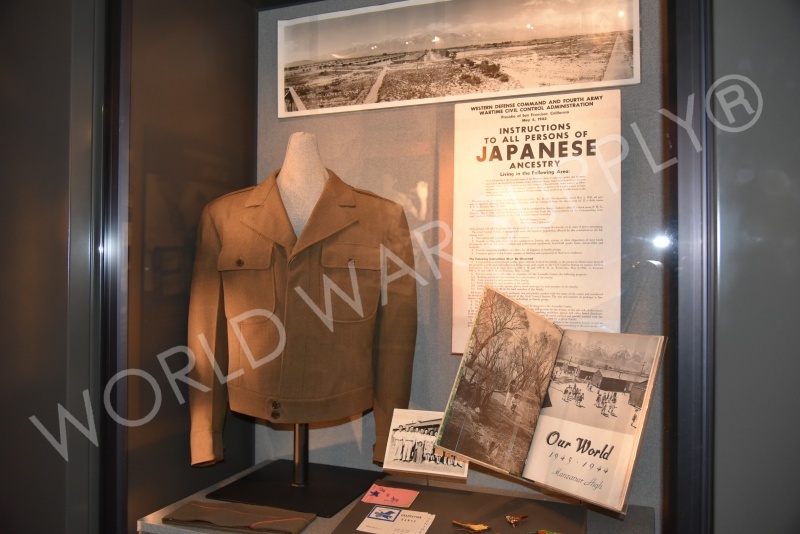 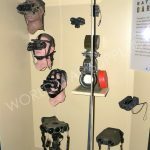 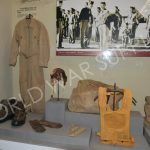 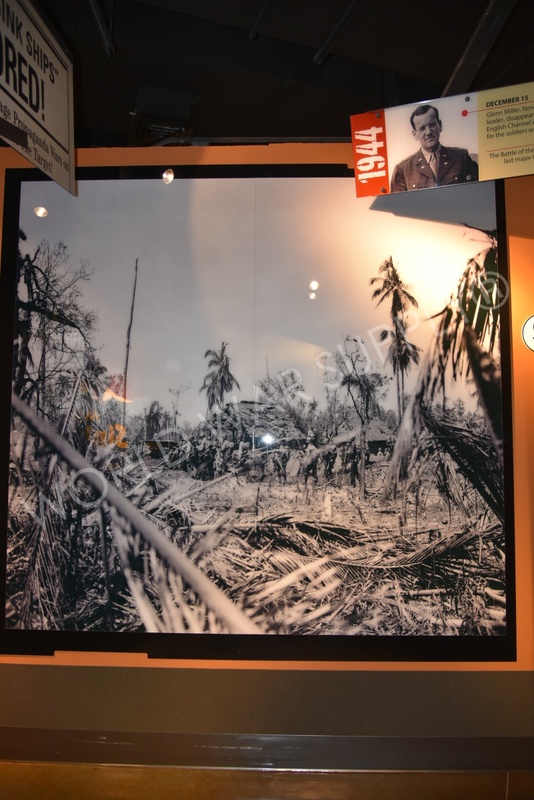 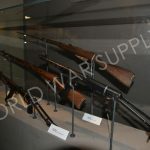 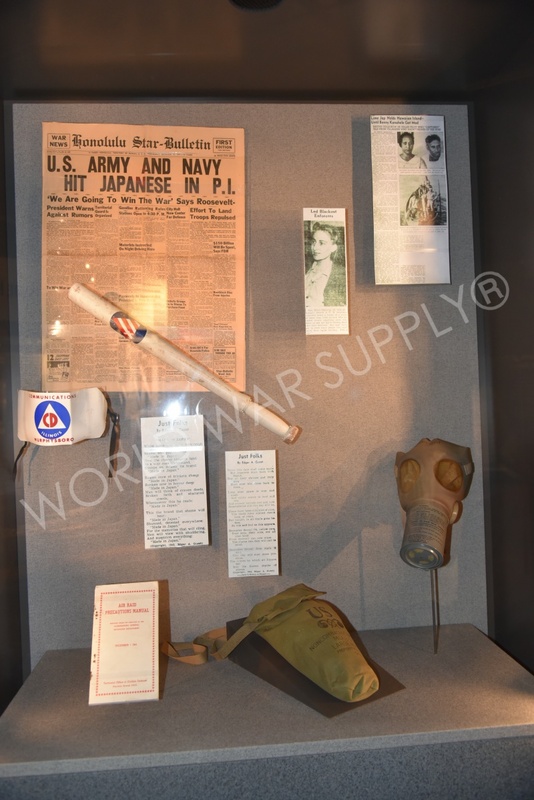 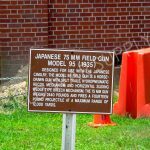 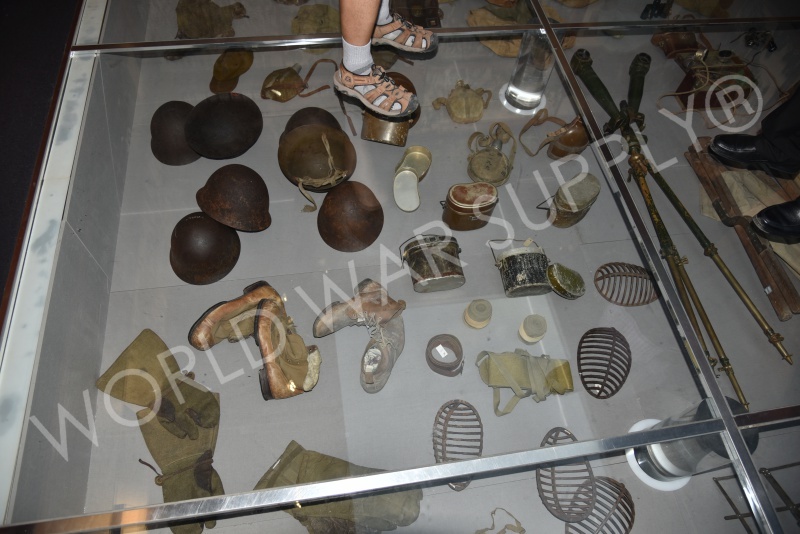 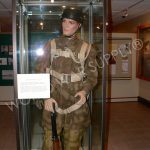 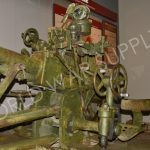 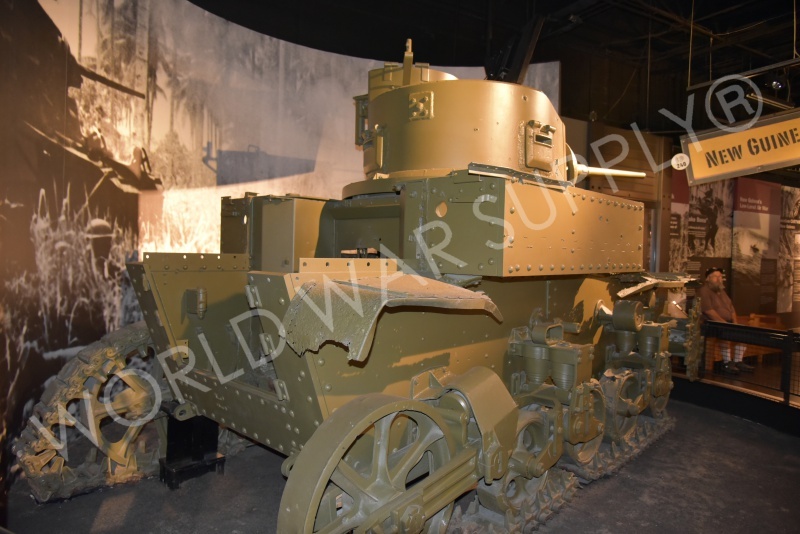 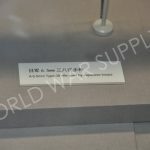 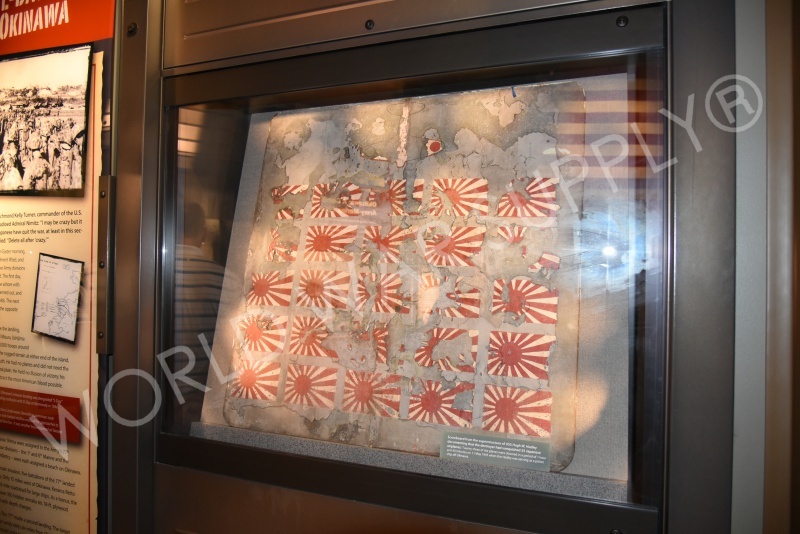 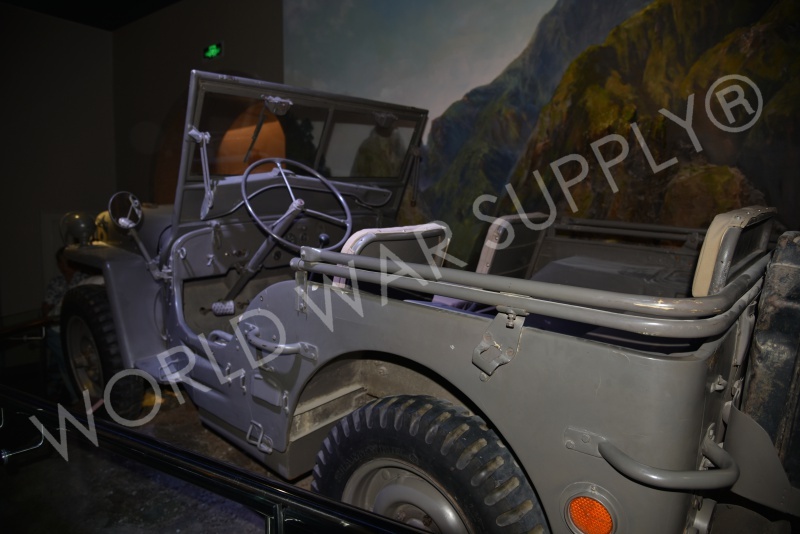 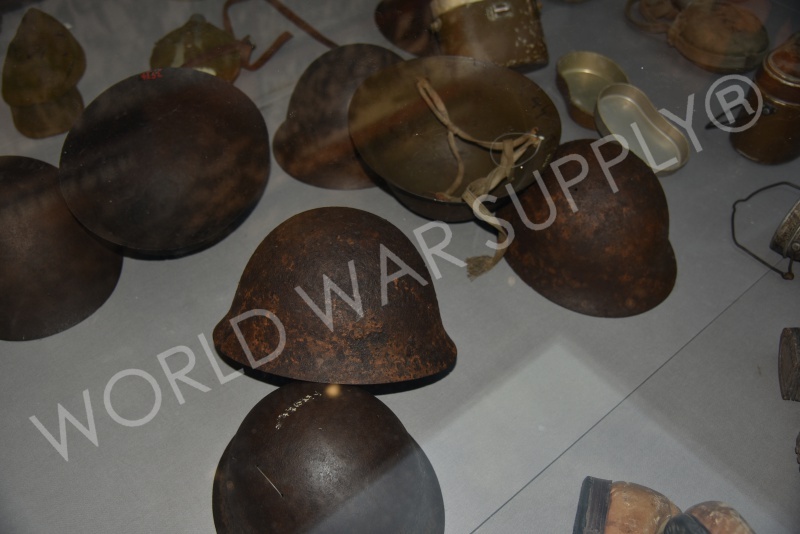 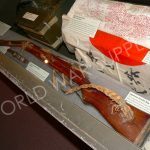 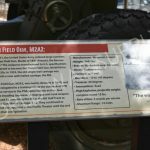 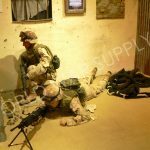 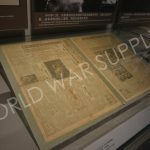 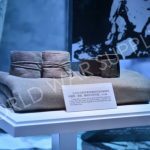 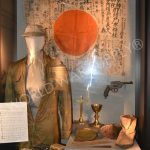 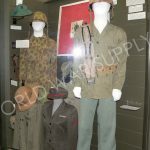 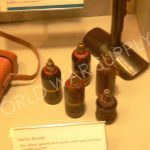 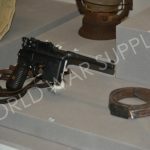 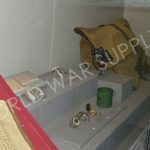 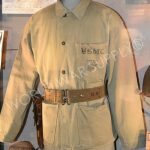 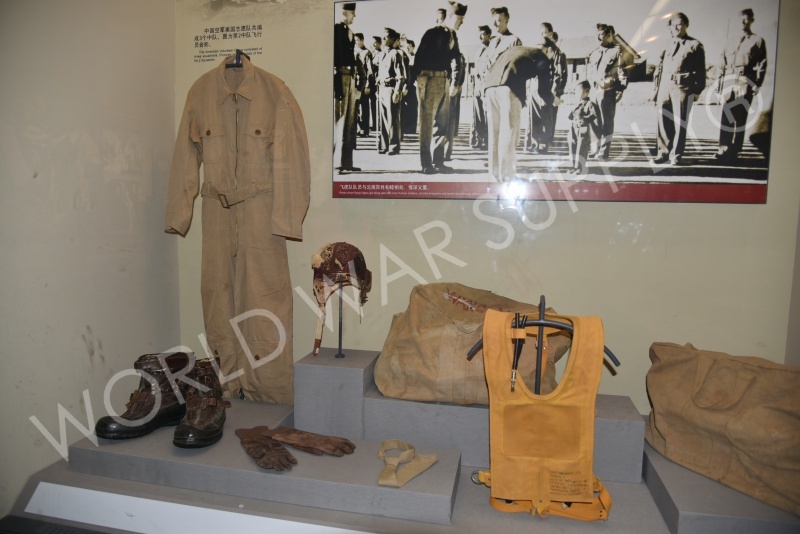 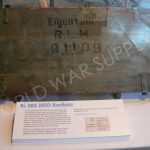 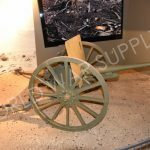 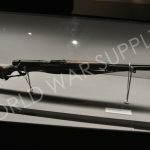 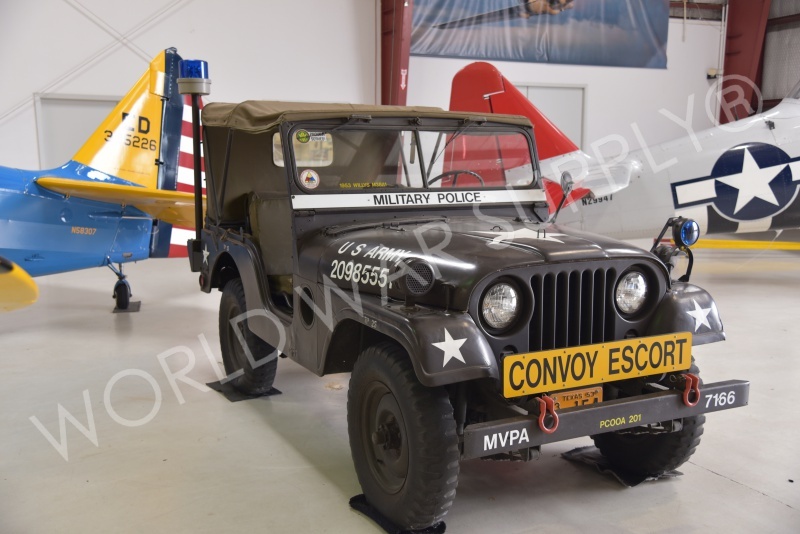 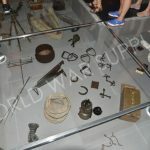 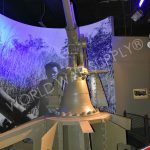 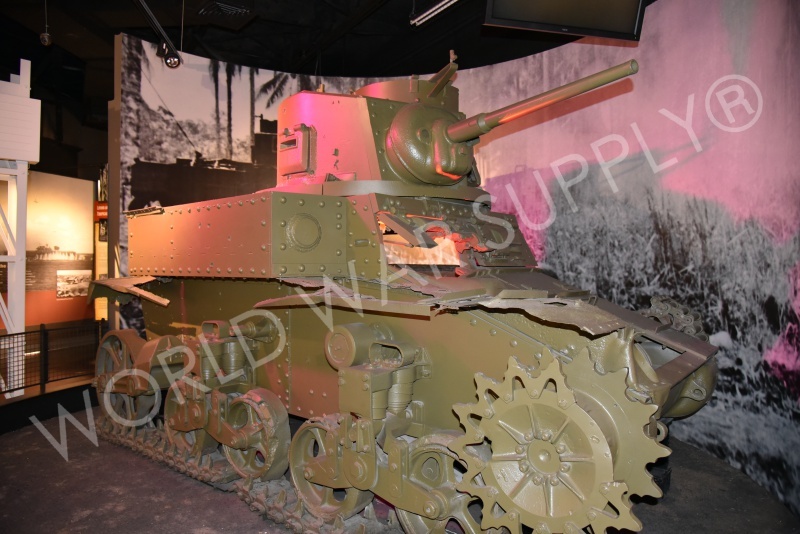 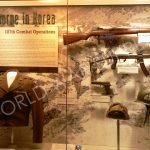 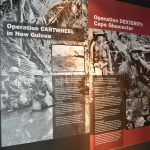 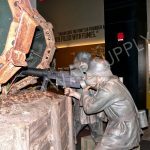 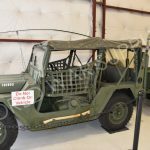 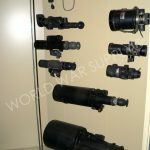 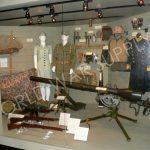 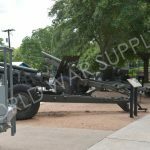 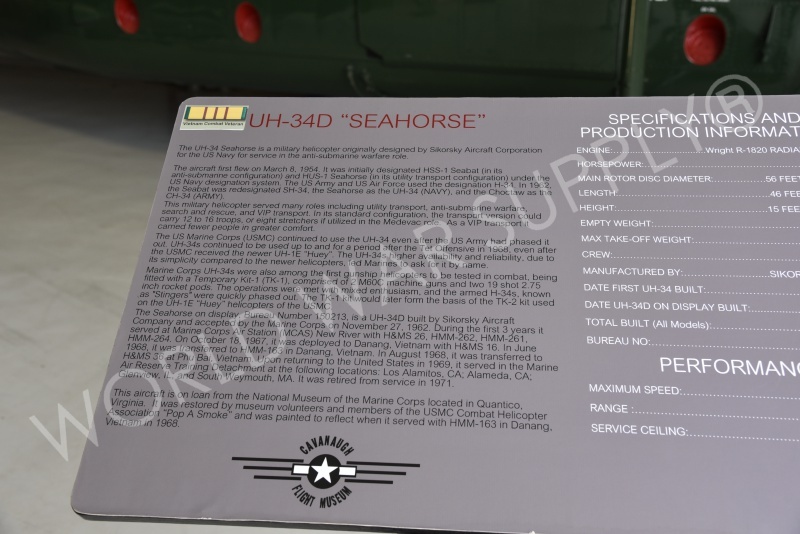 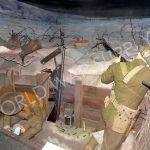 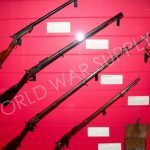 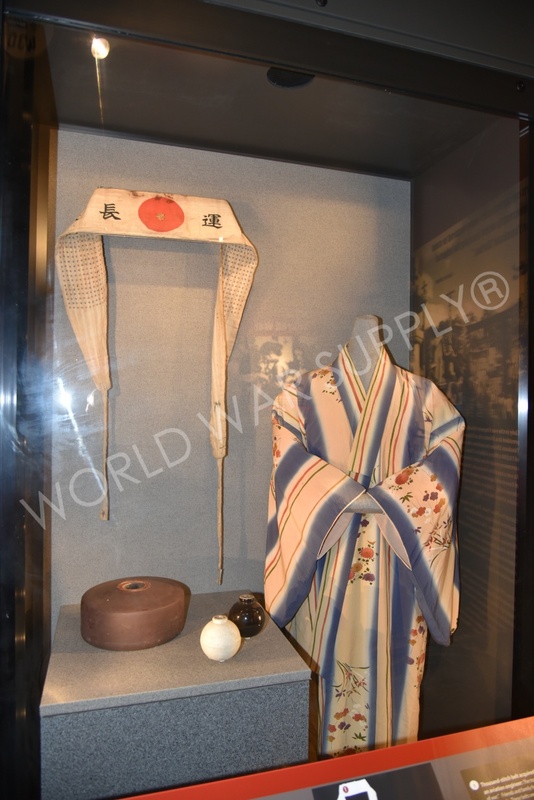 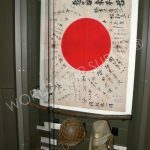 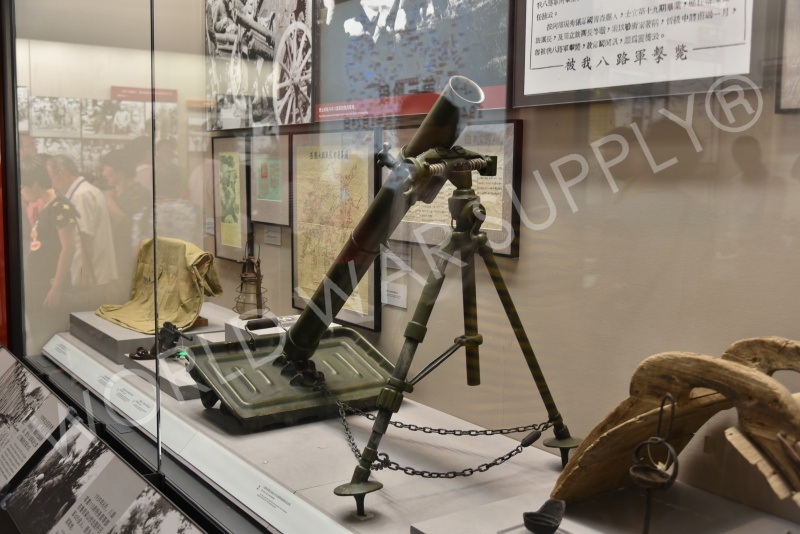 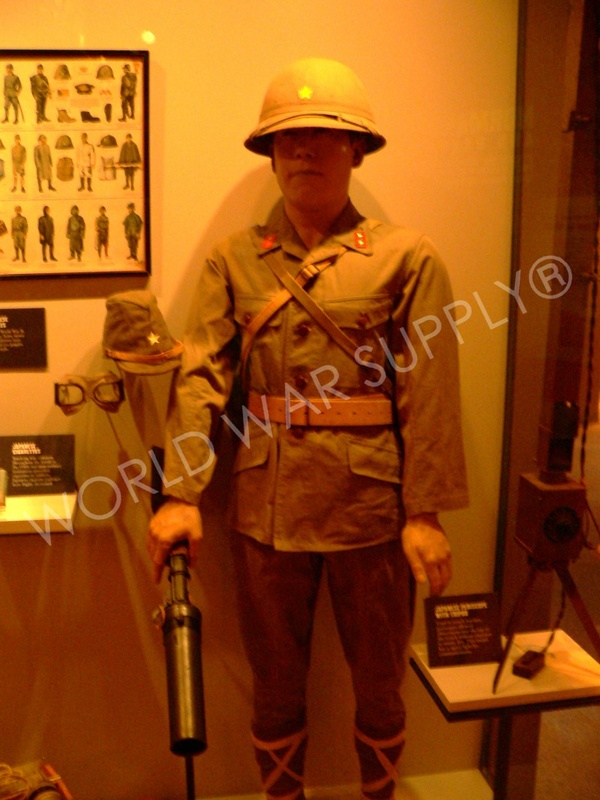 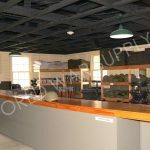 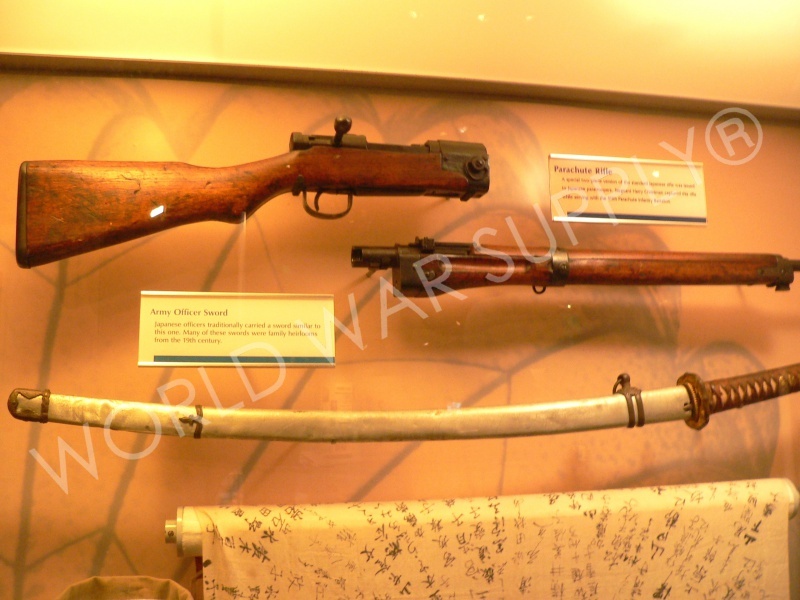 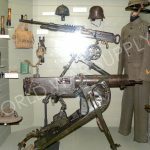 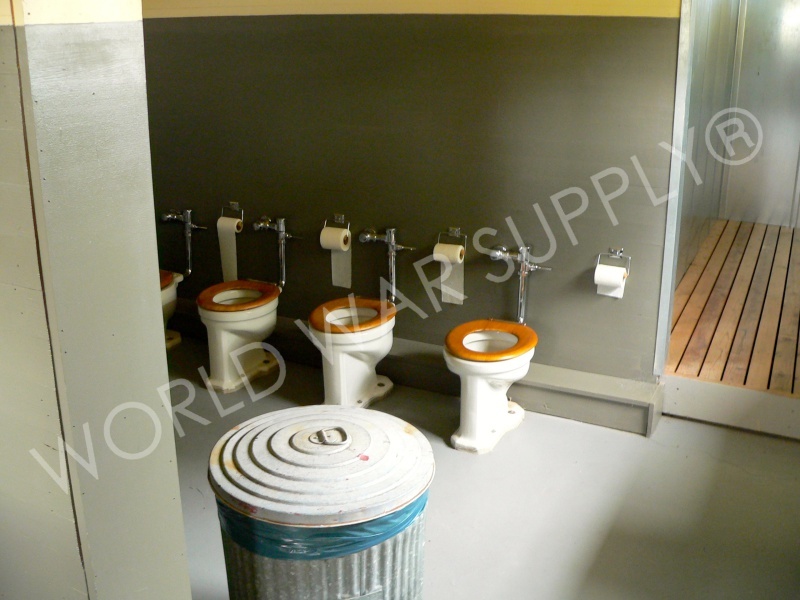 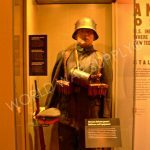 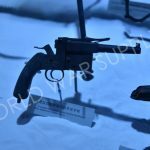 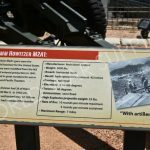 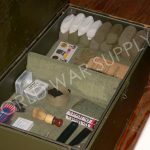 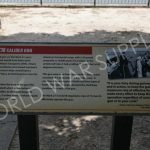 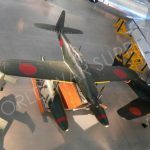 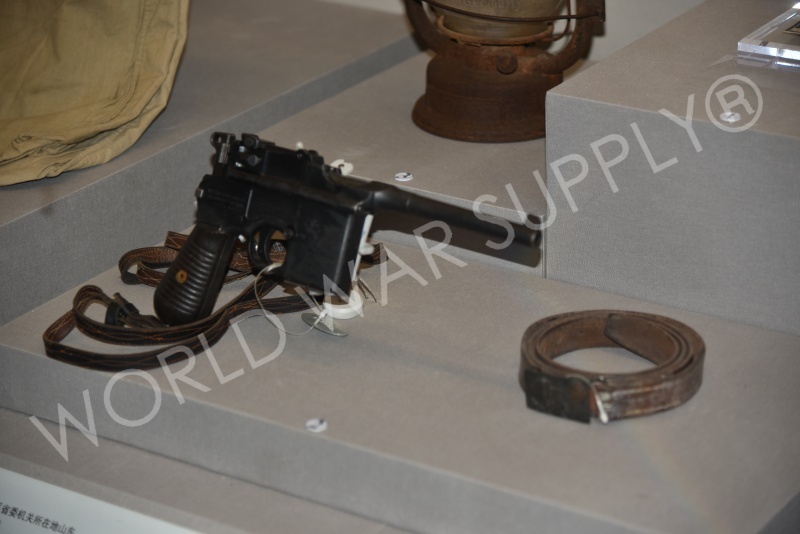 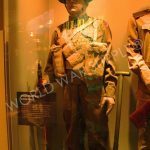 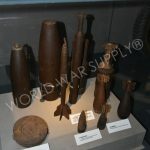 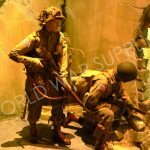 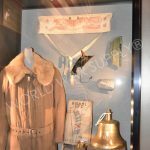 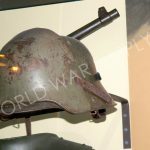 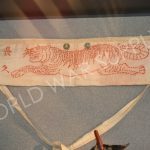 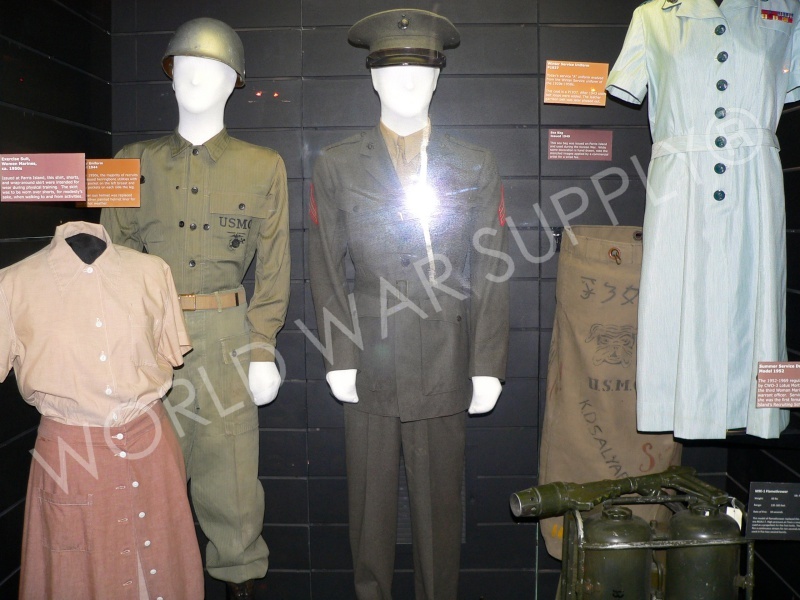 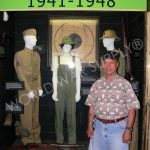 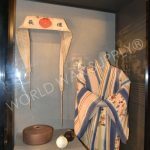 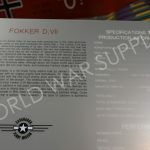 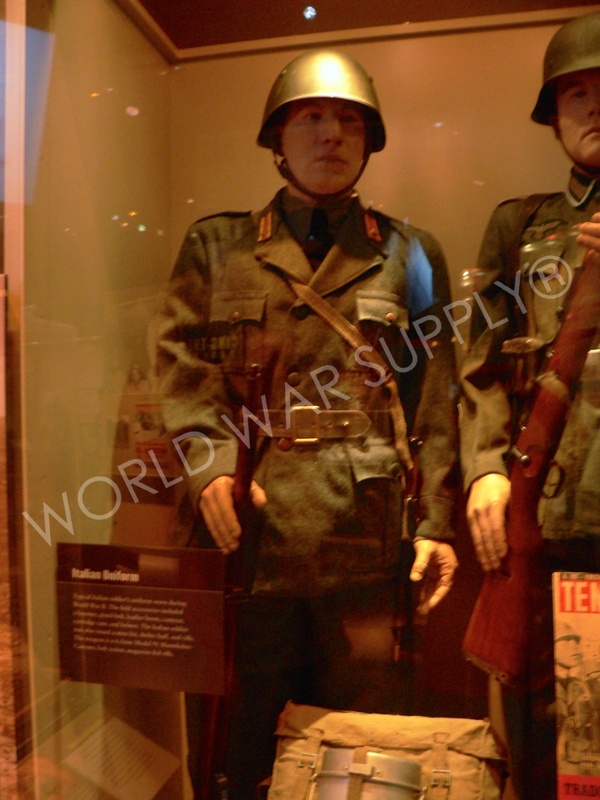 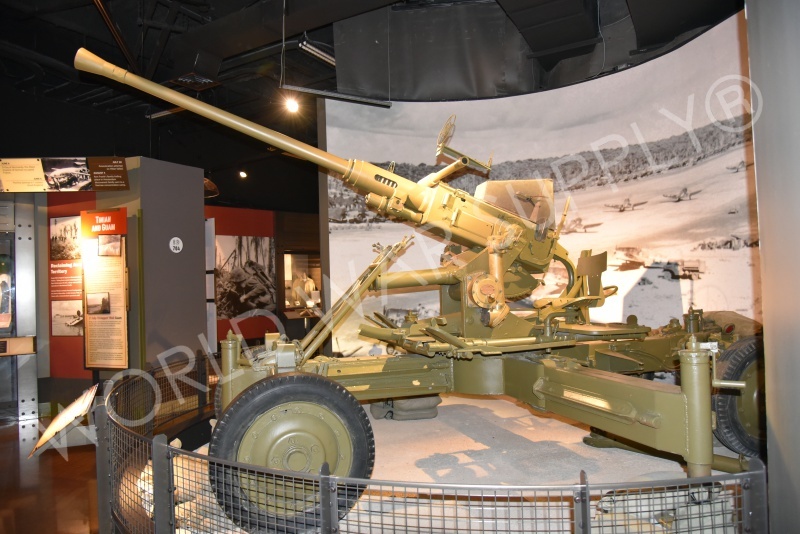 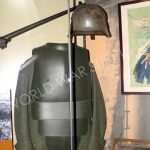 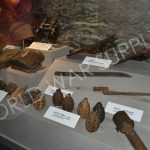 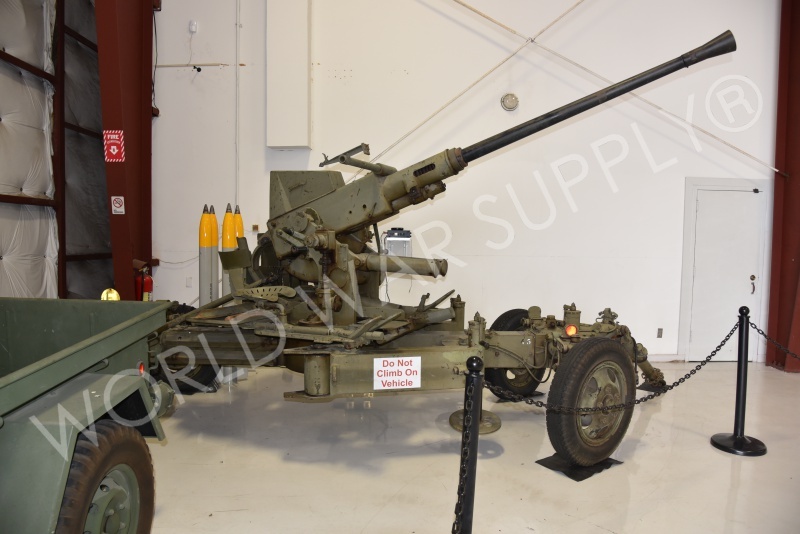 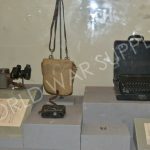 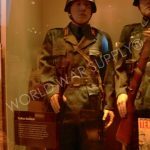 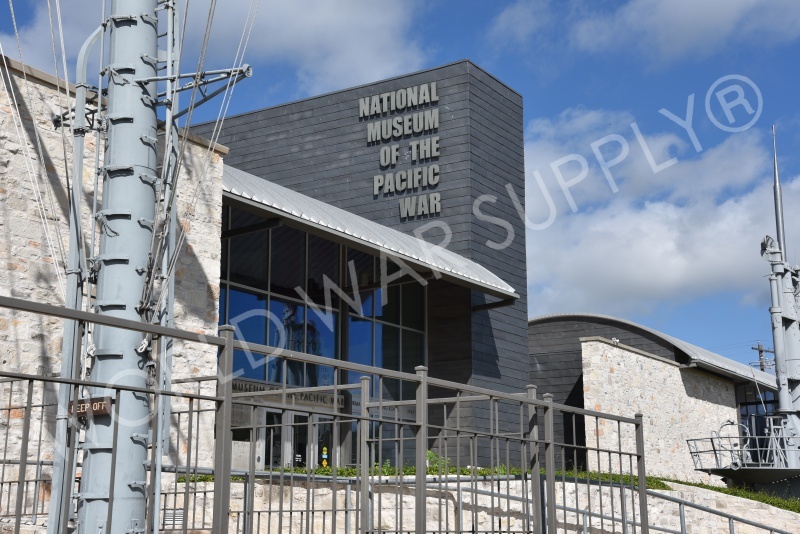 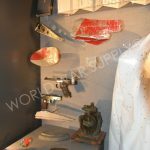 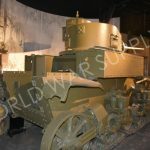 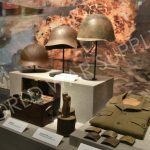 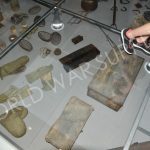 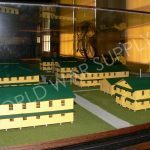 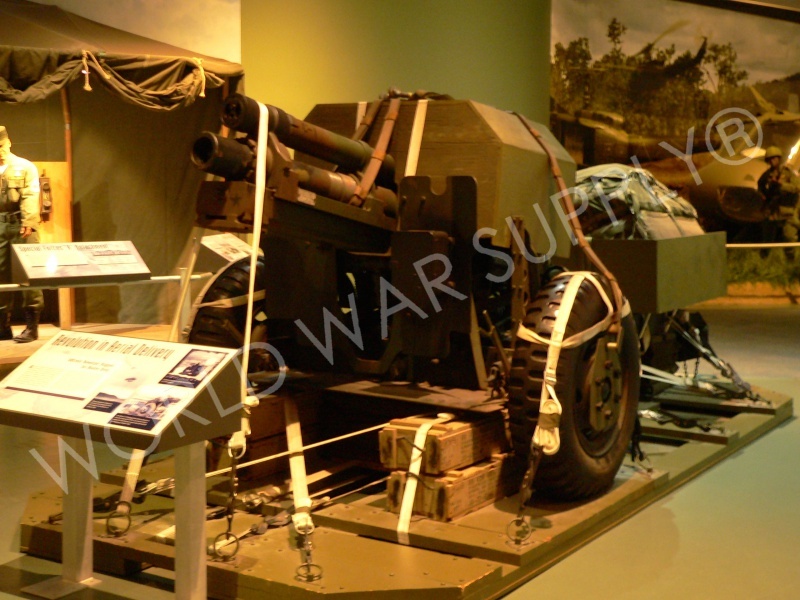 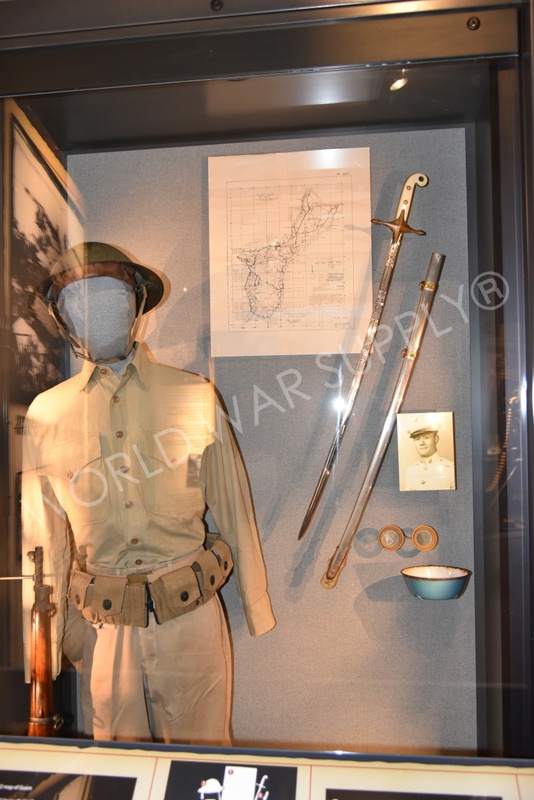 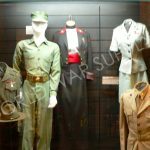 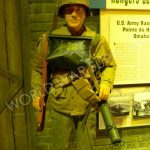 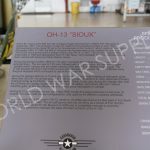 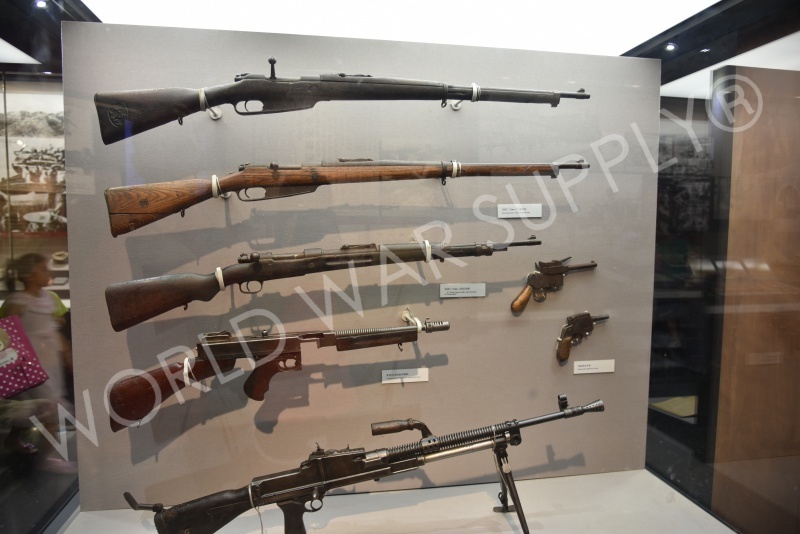 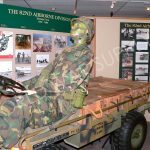 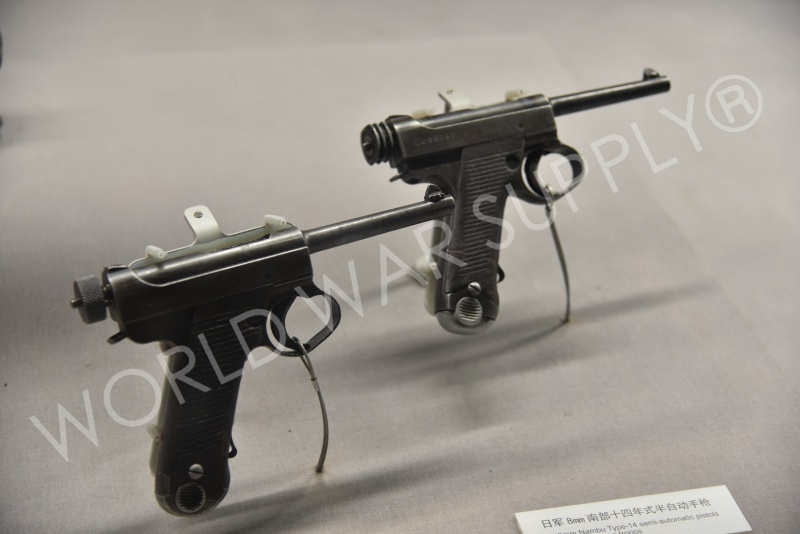 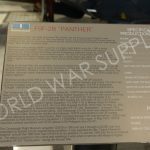 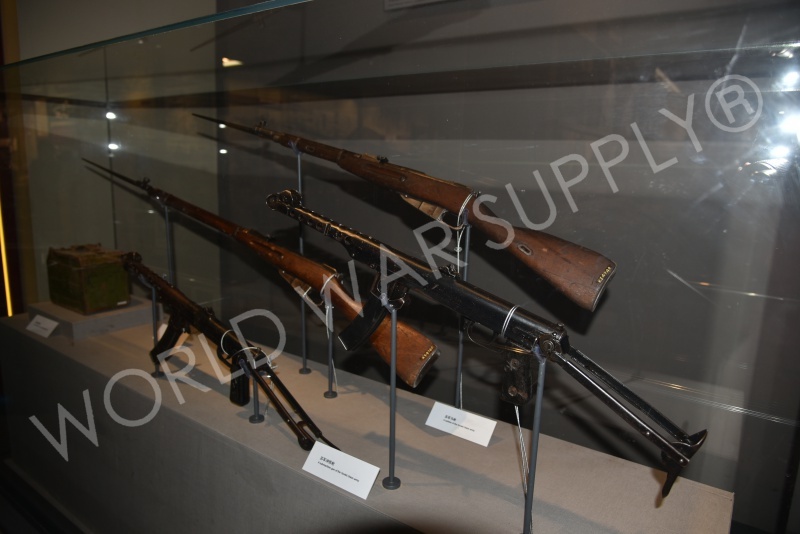 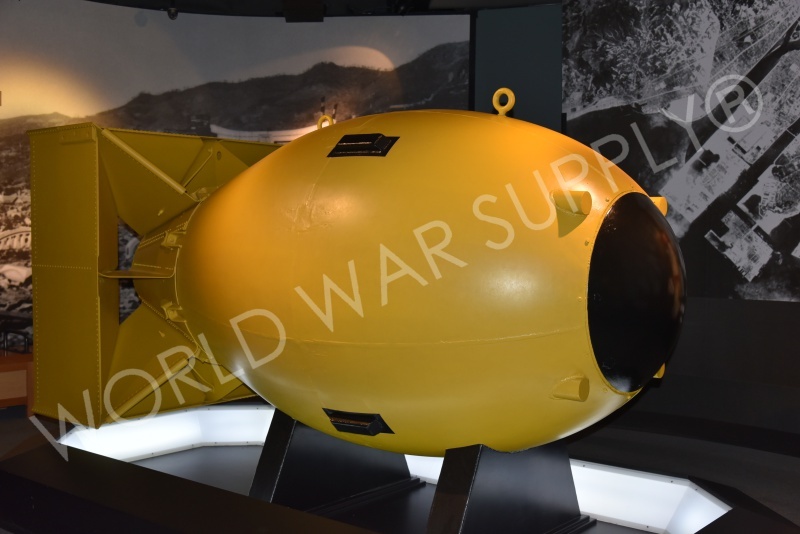 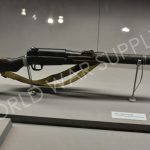 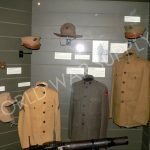 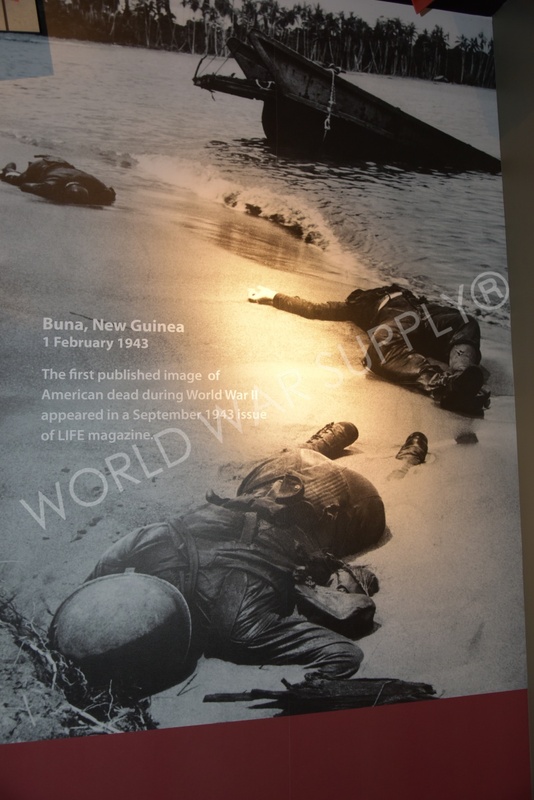 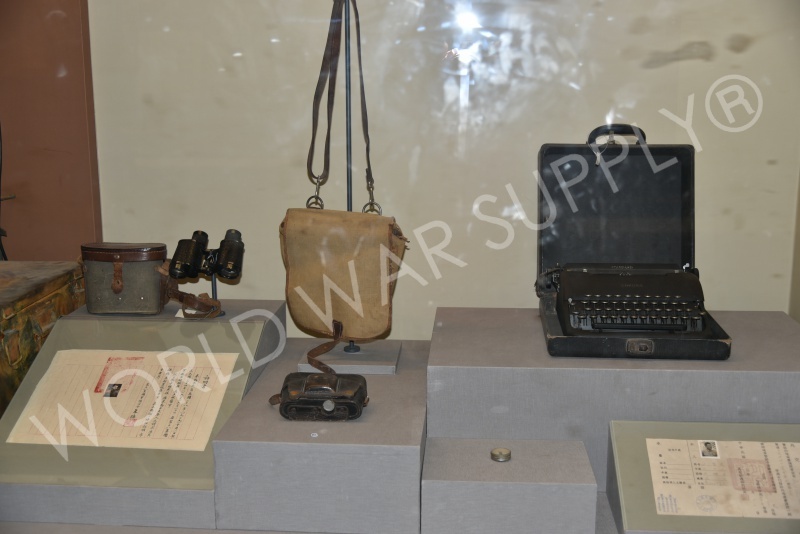 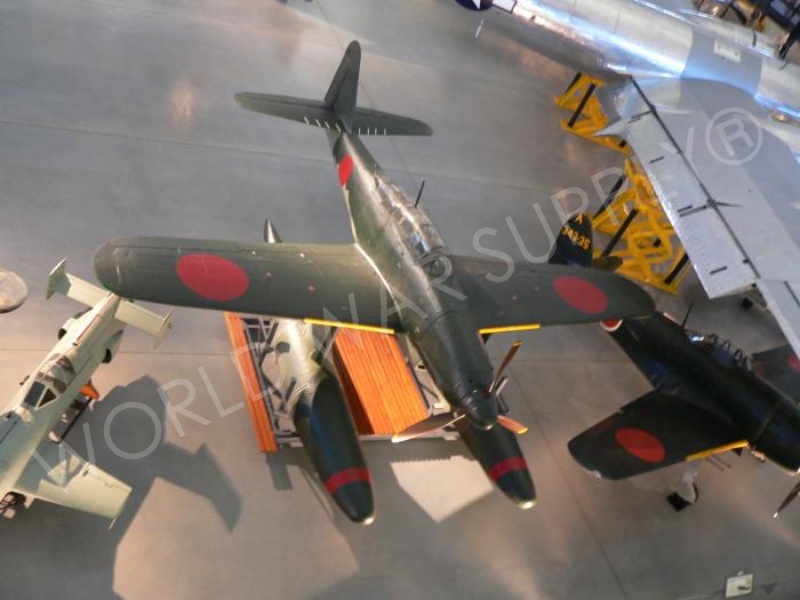 This Museum covers World War Two in the Pacific with exhibits of the uniforms, the vehicles, and the weapons used in the war. 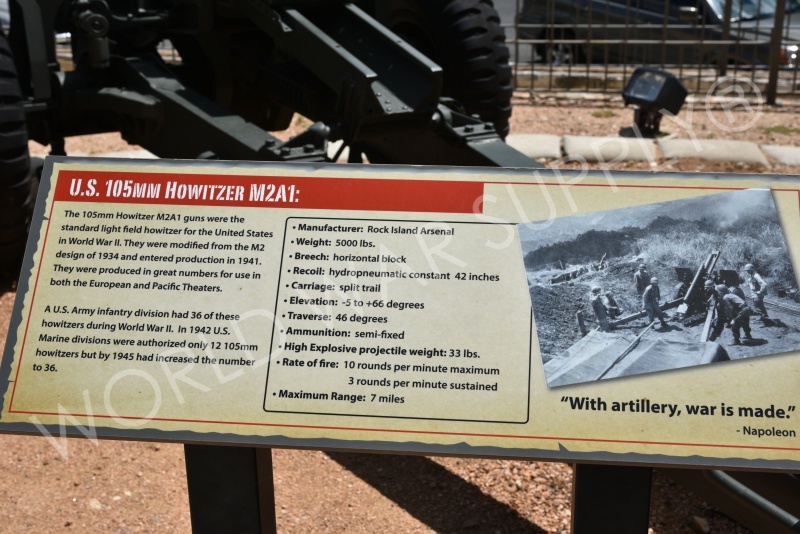 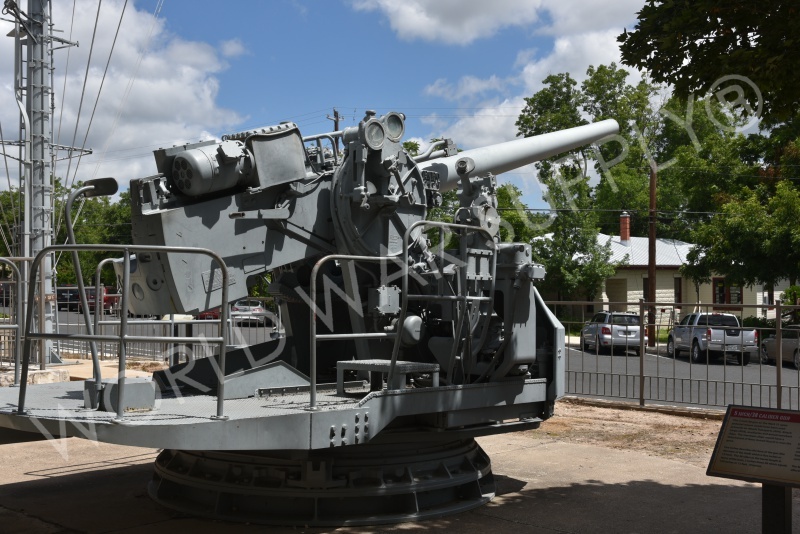 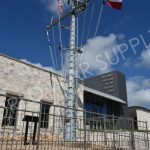 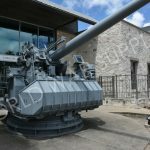 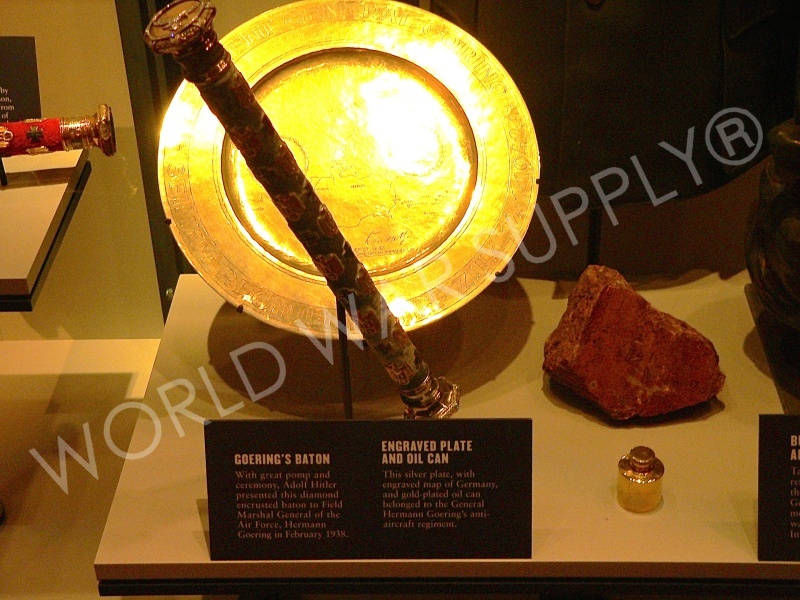 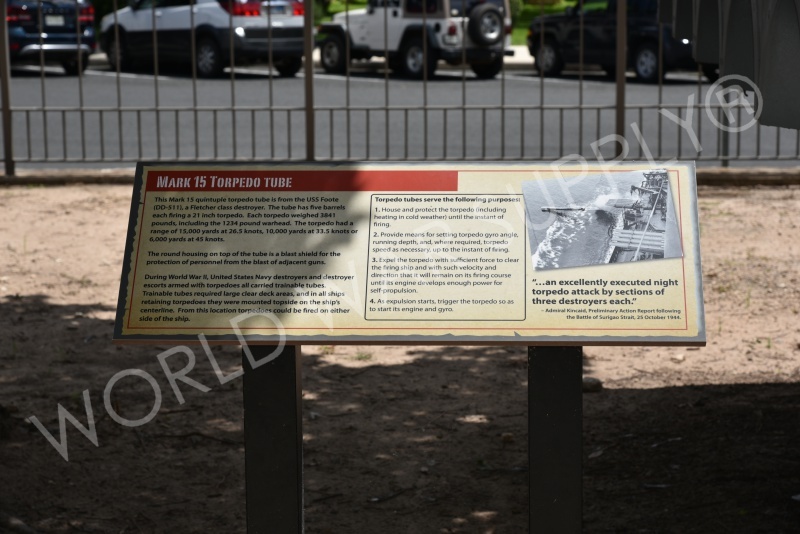 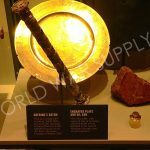 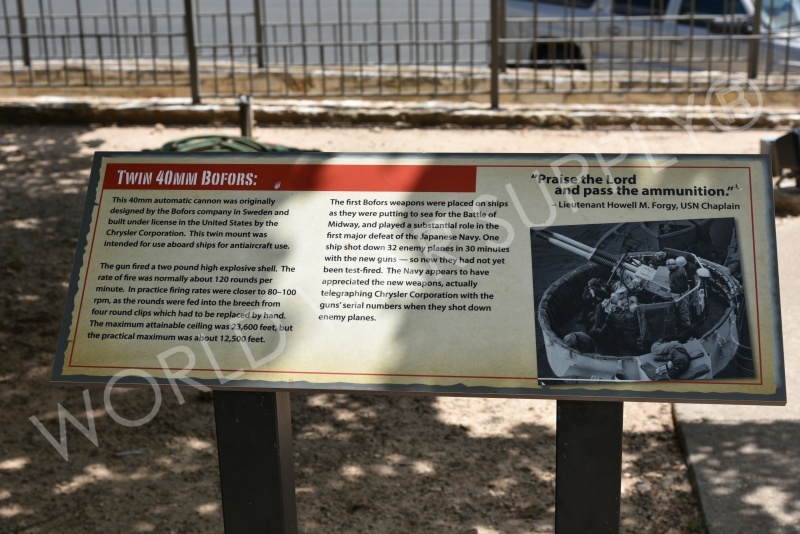 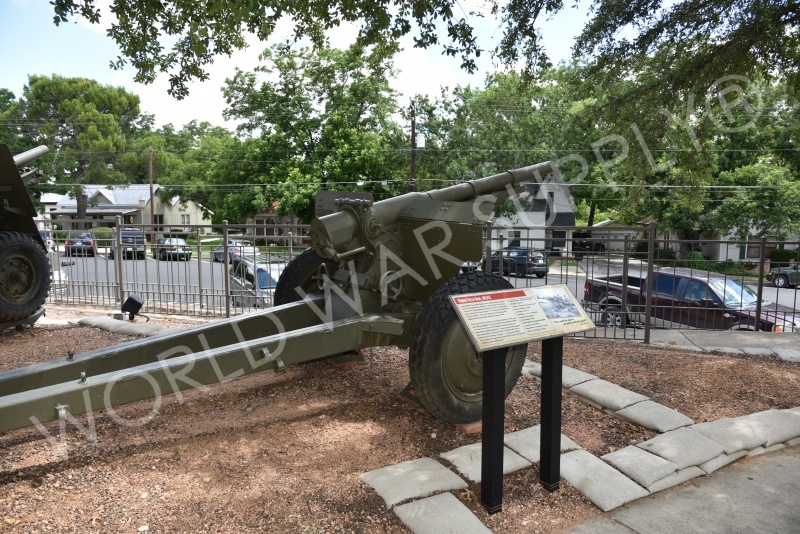 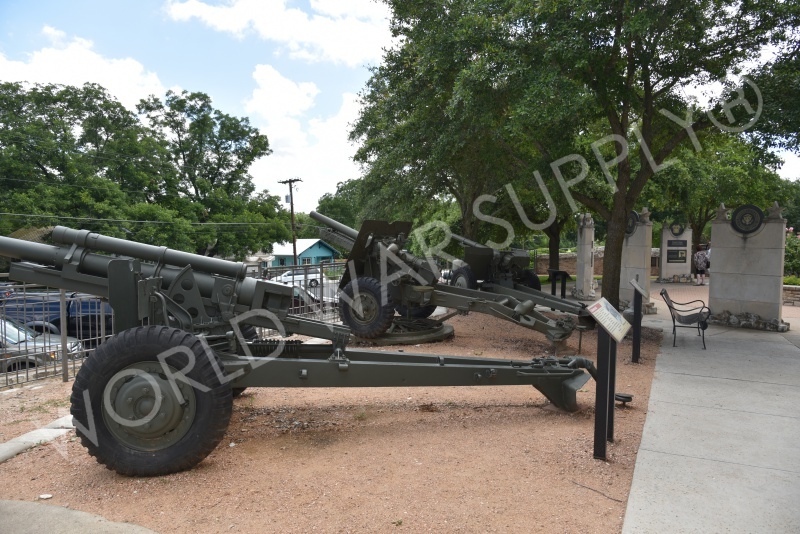 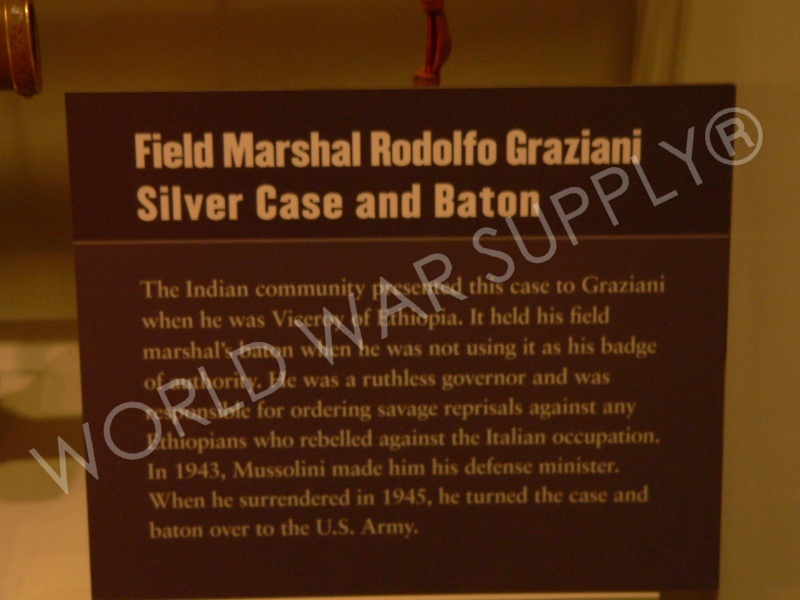 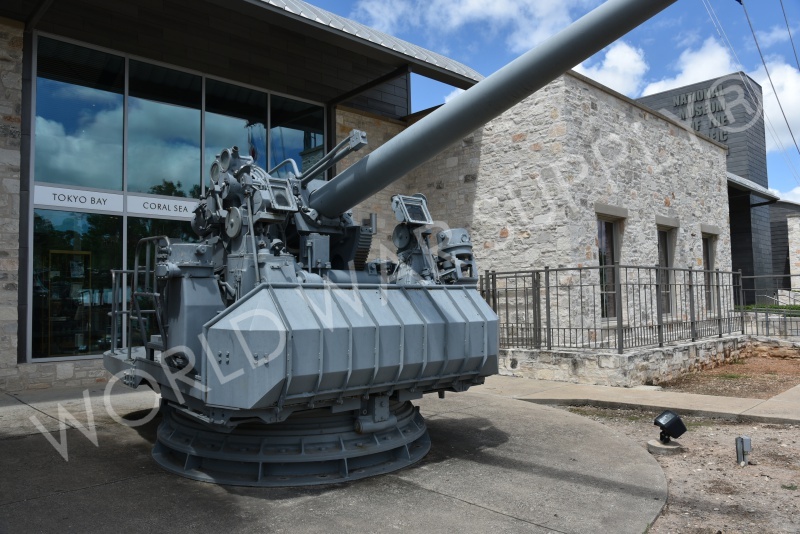 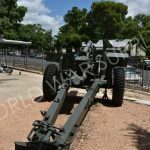 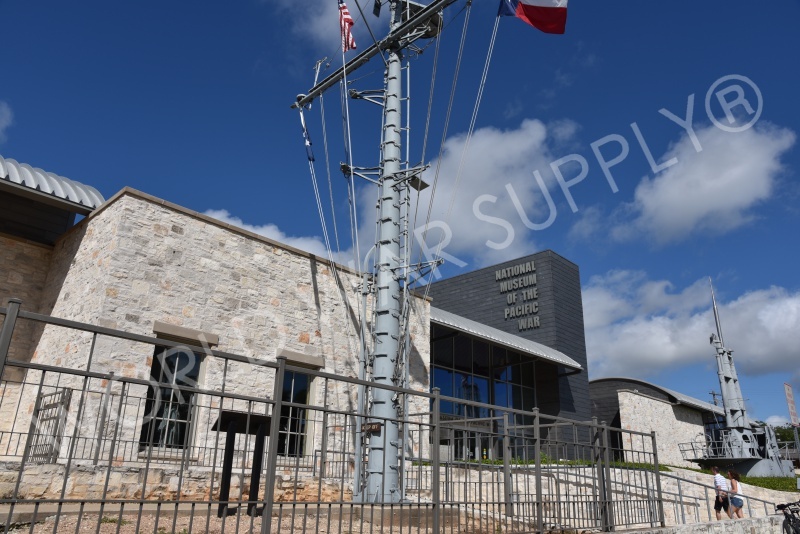 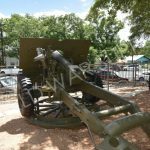 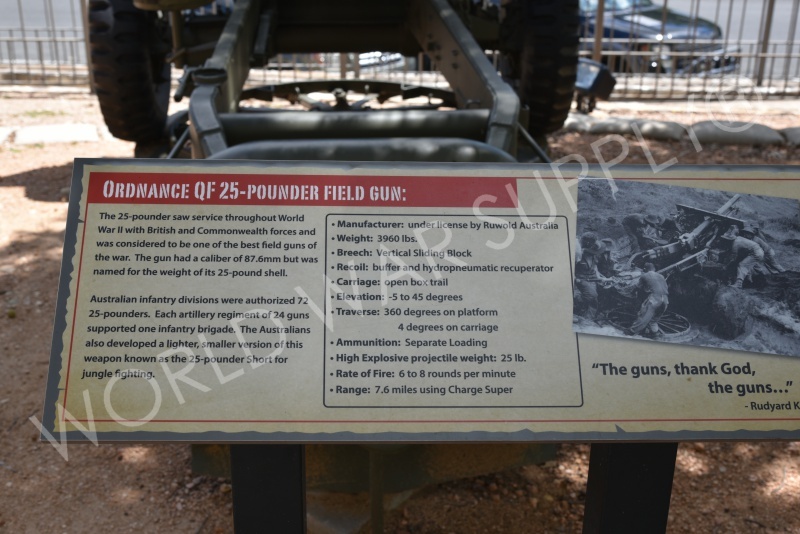 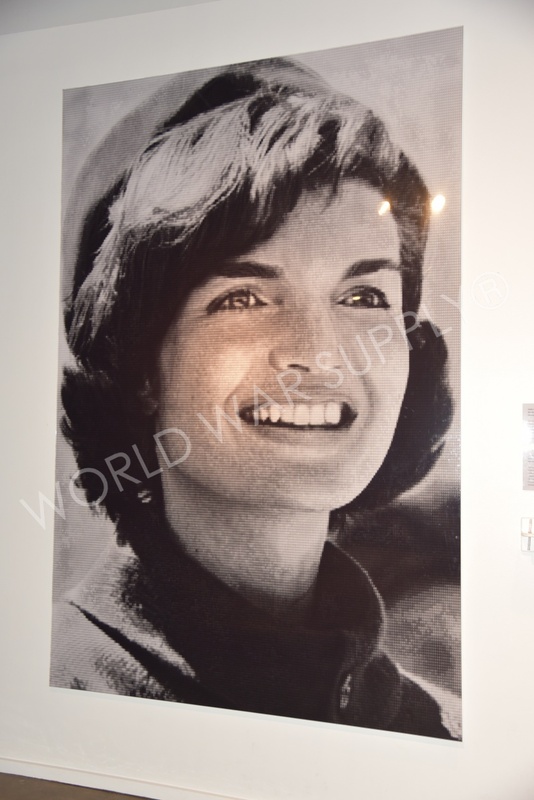 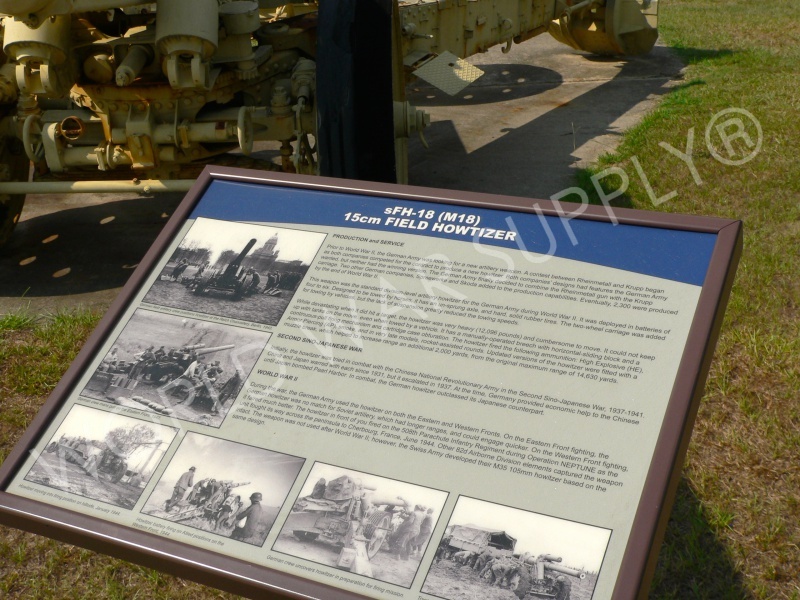 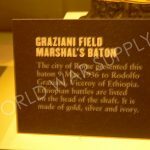 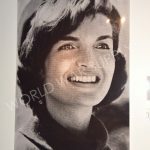 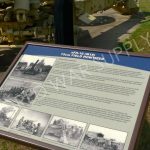 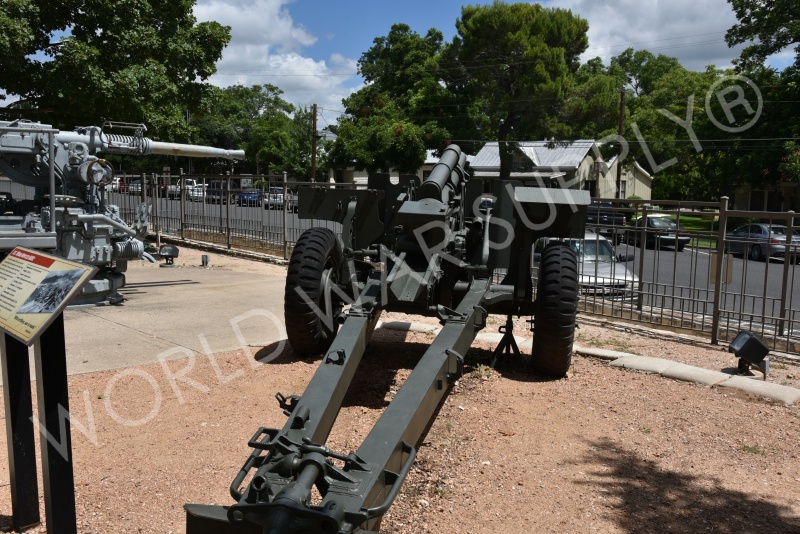 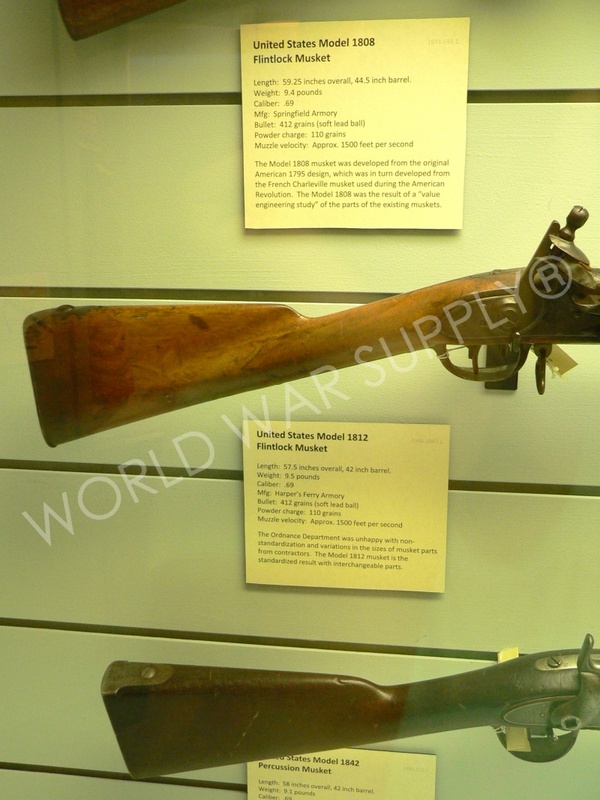 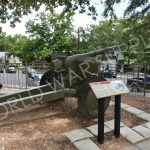 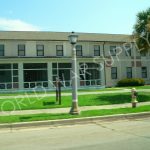 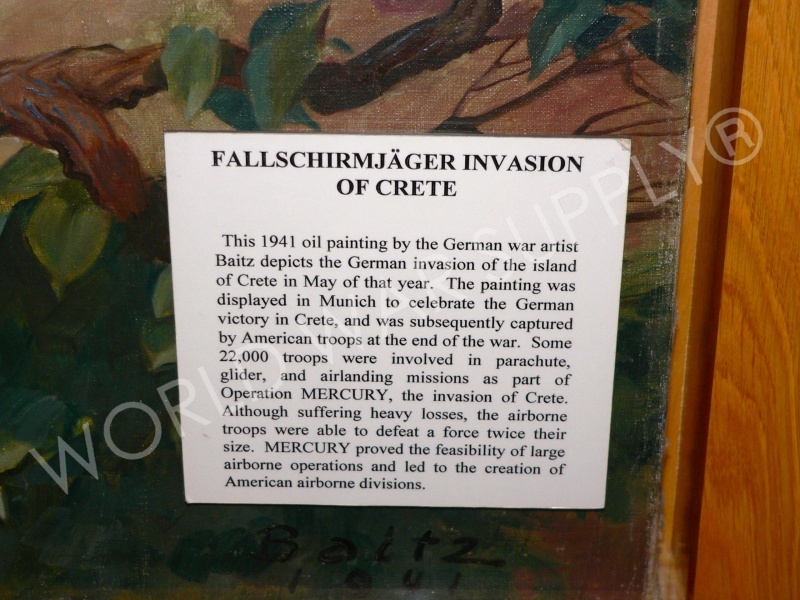 The museum is located in Fredericksburg, Texas. 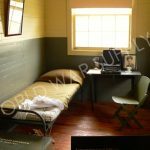 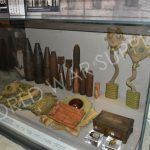 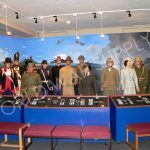 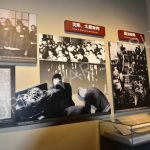 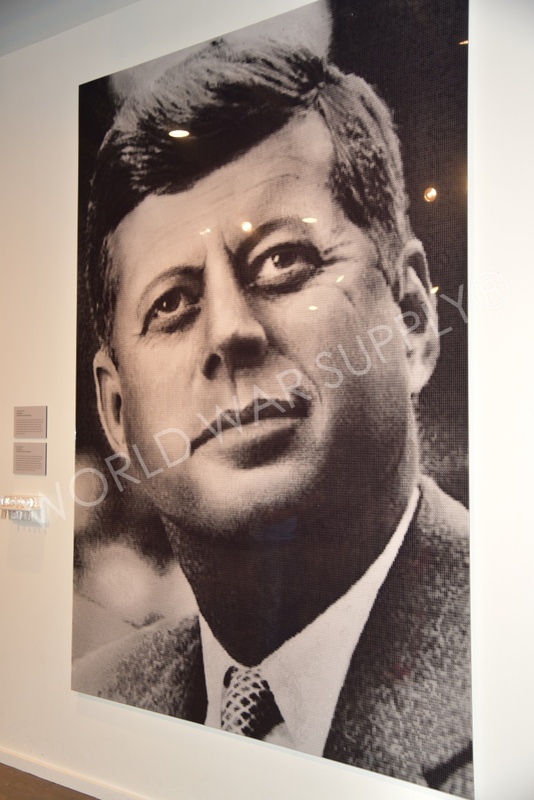 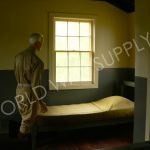 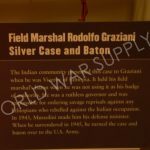 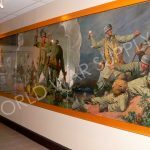 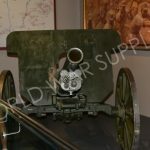 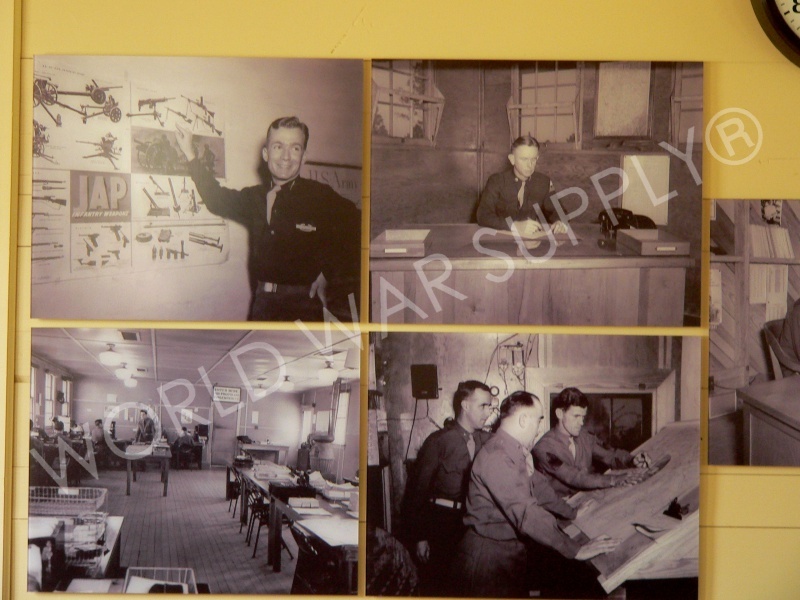 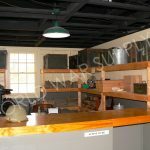 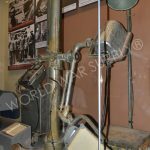 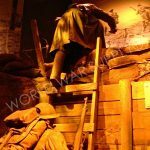 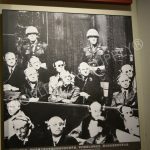 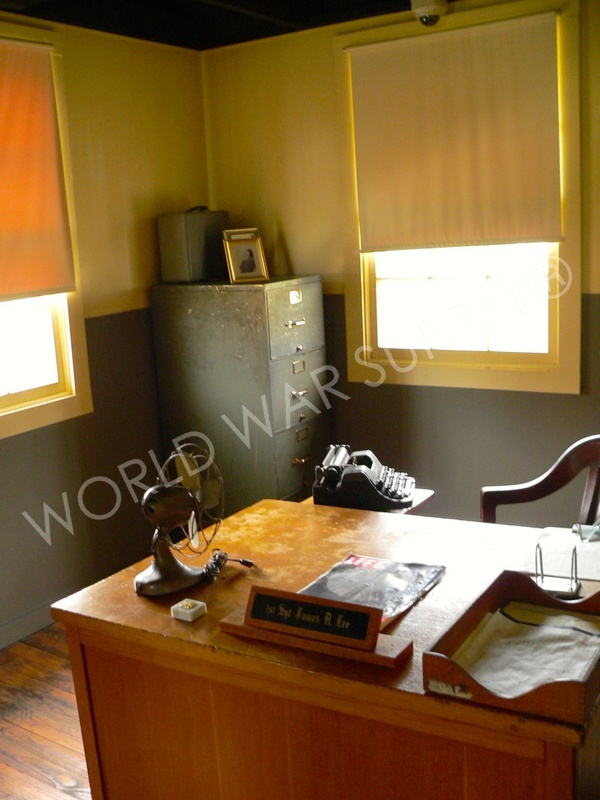 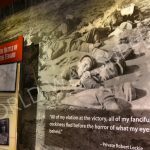 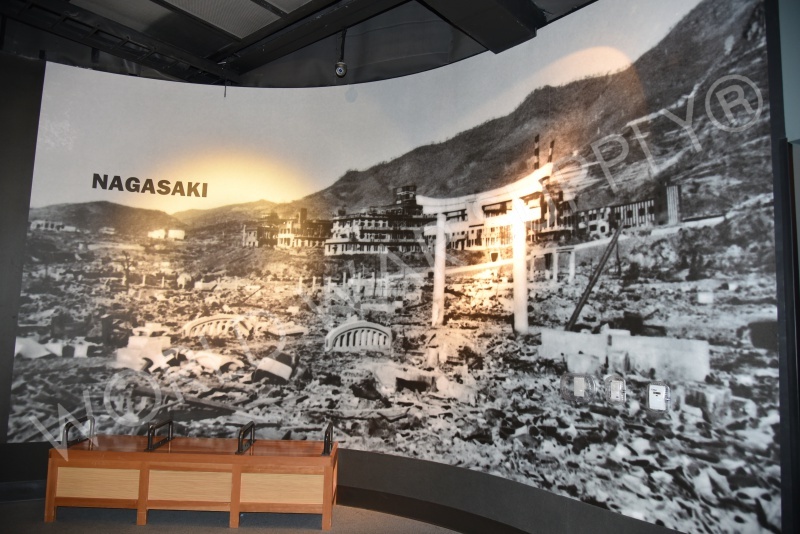 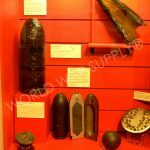 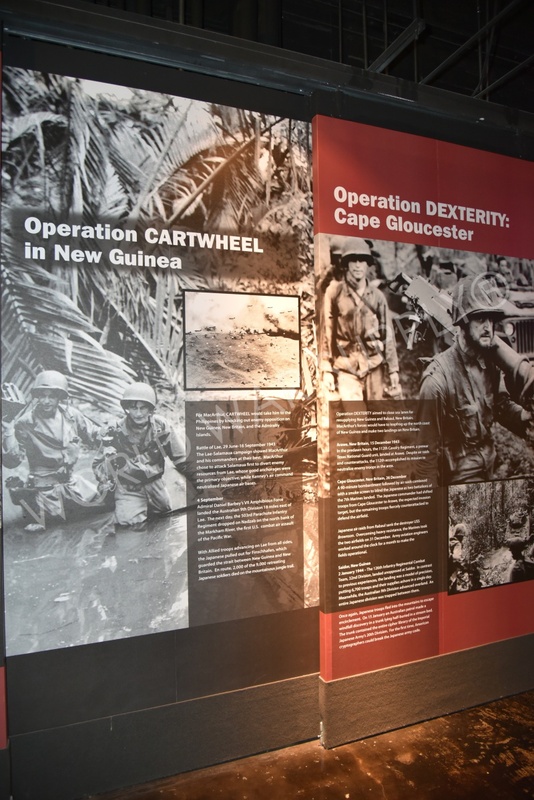 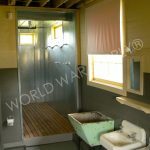 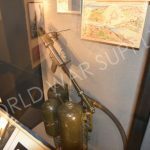 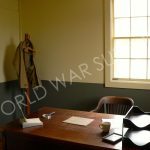 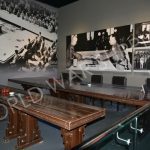 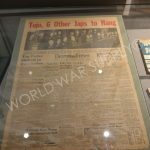 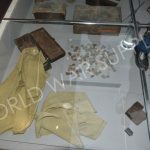 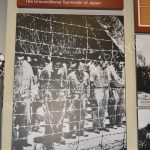 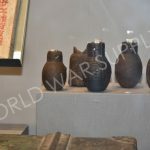 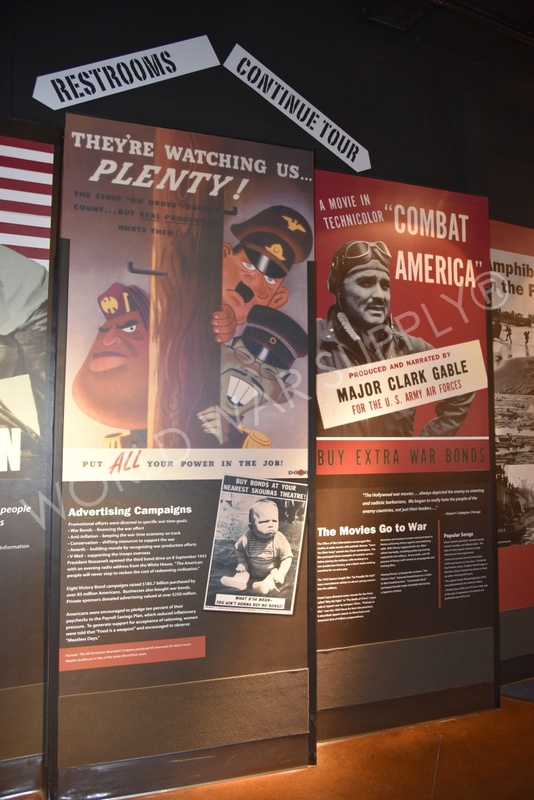 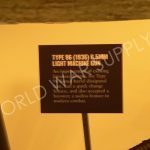 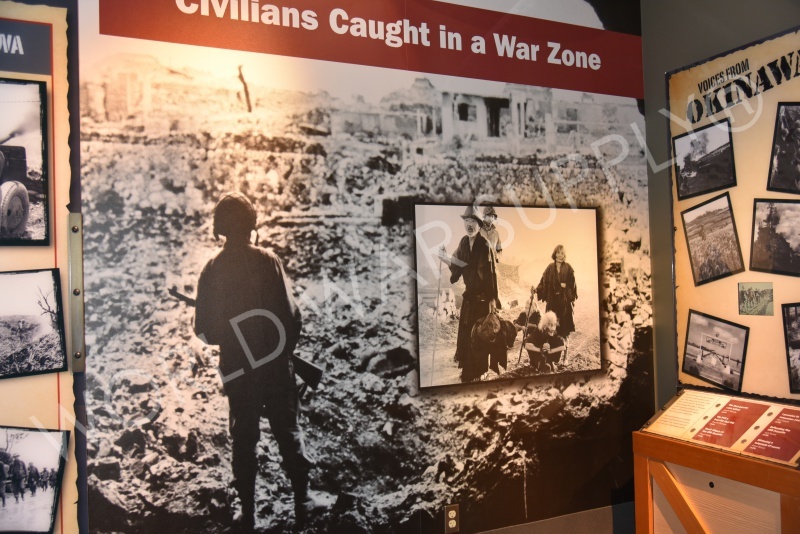 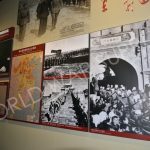 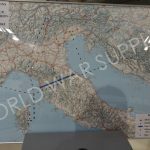 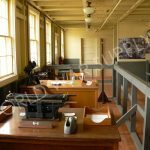 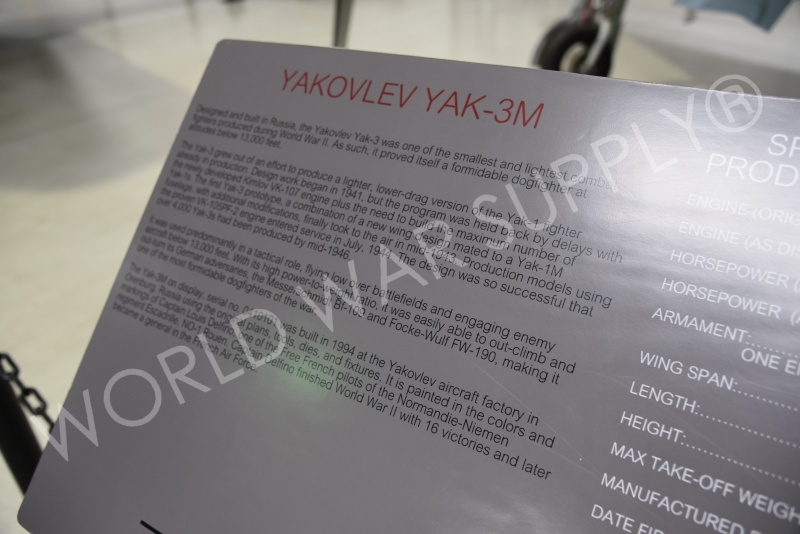 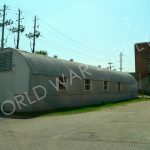 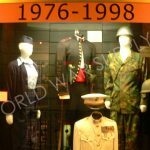 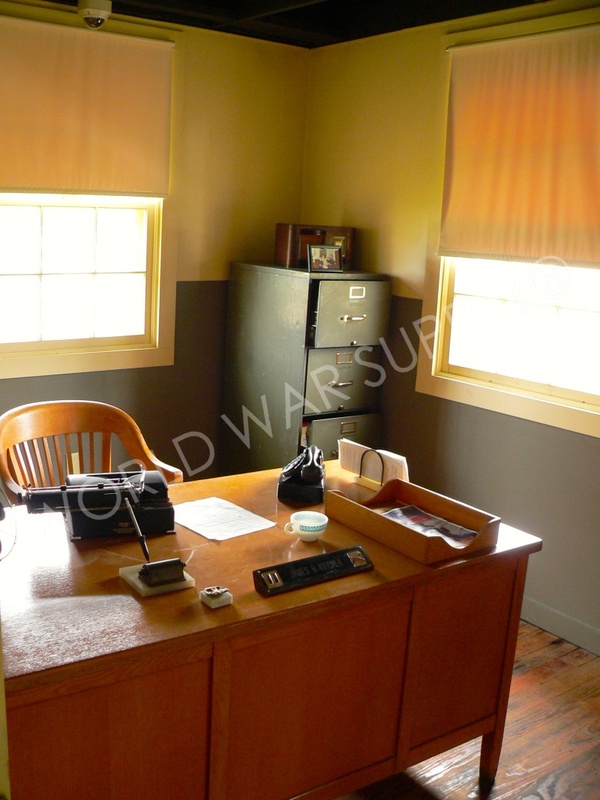 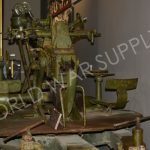 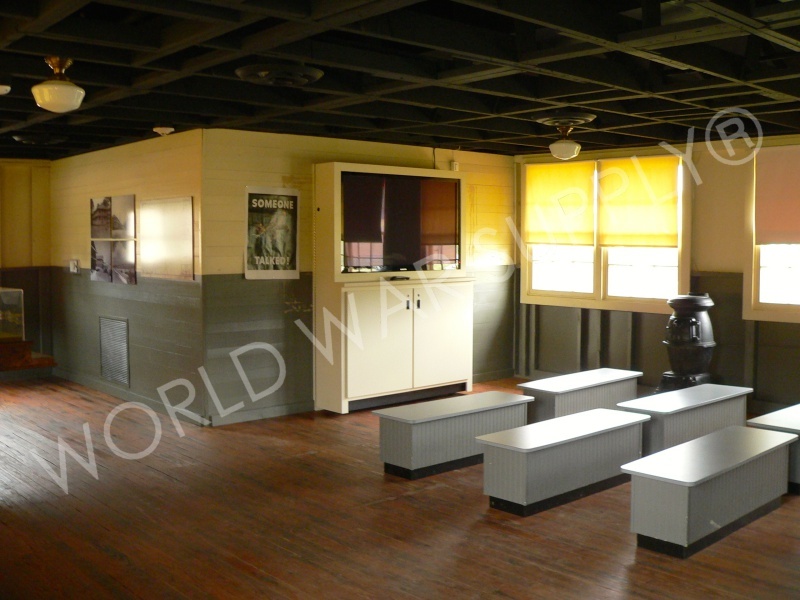 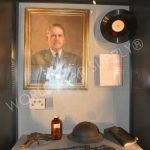 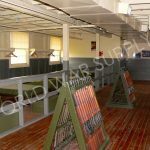 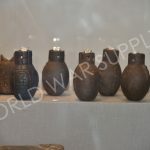 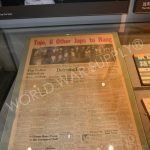 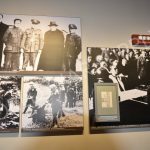 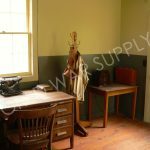 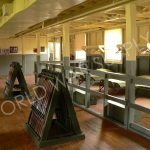 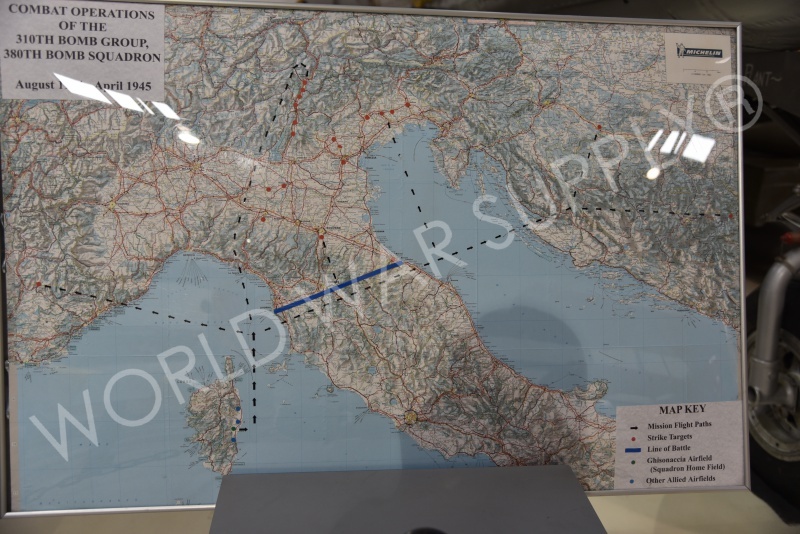 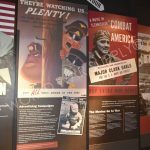 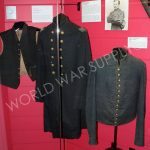 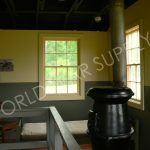 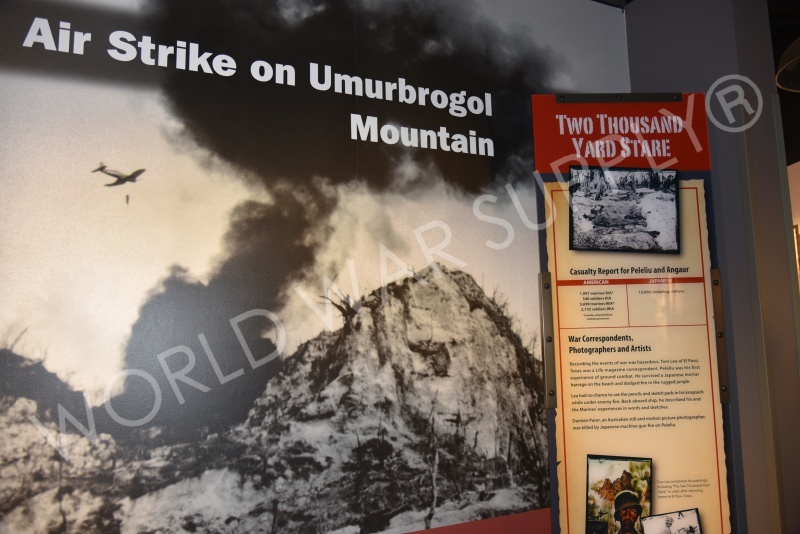 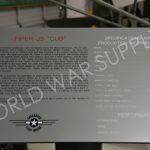 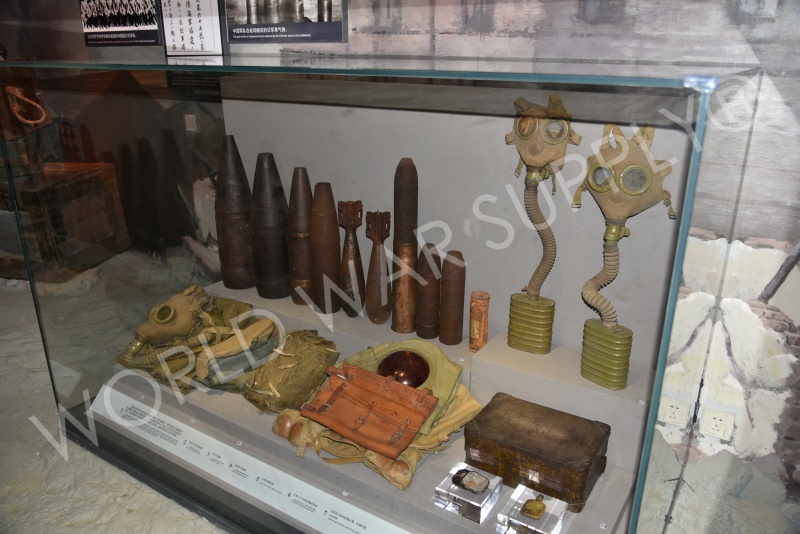 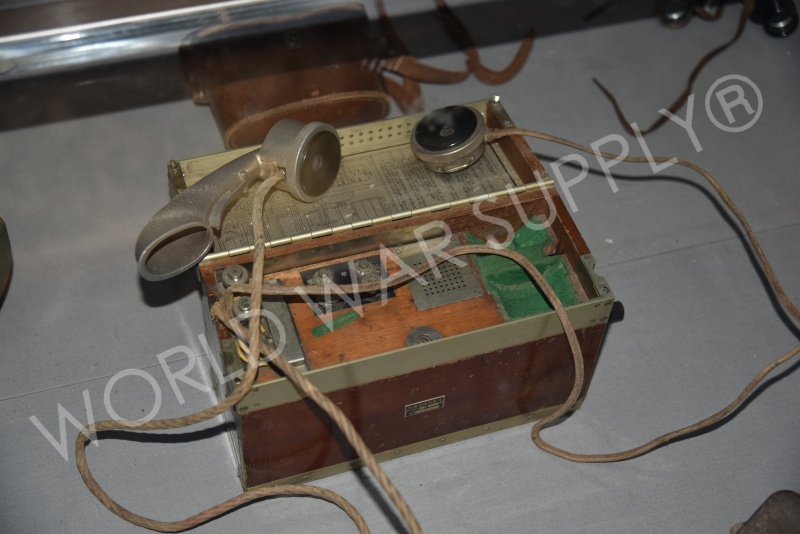 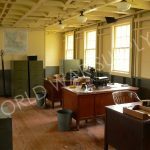 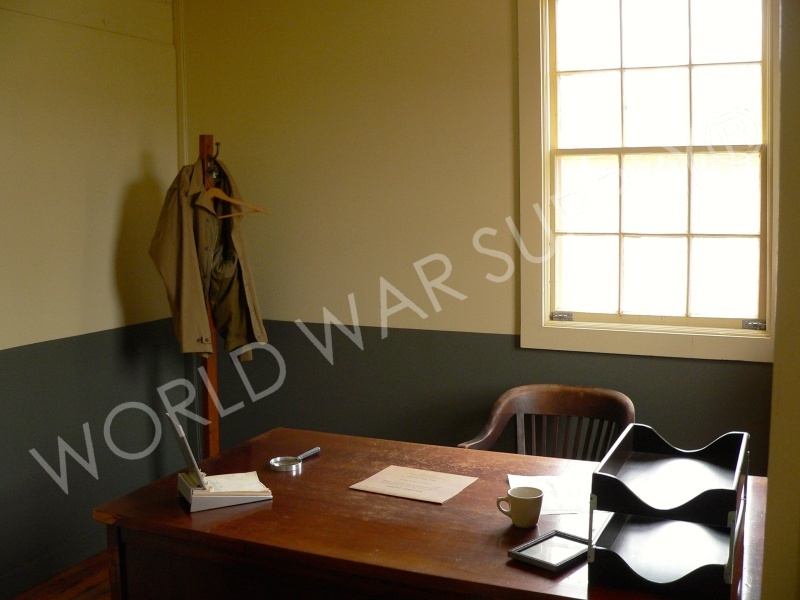 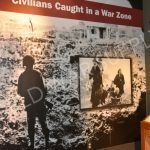 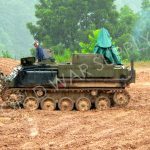 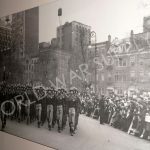 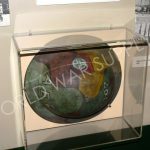 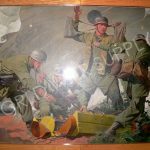 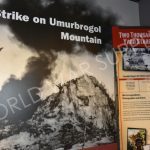 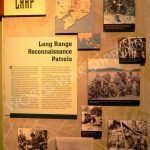 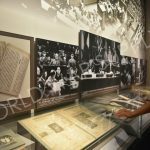 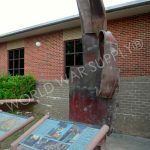 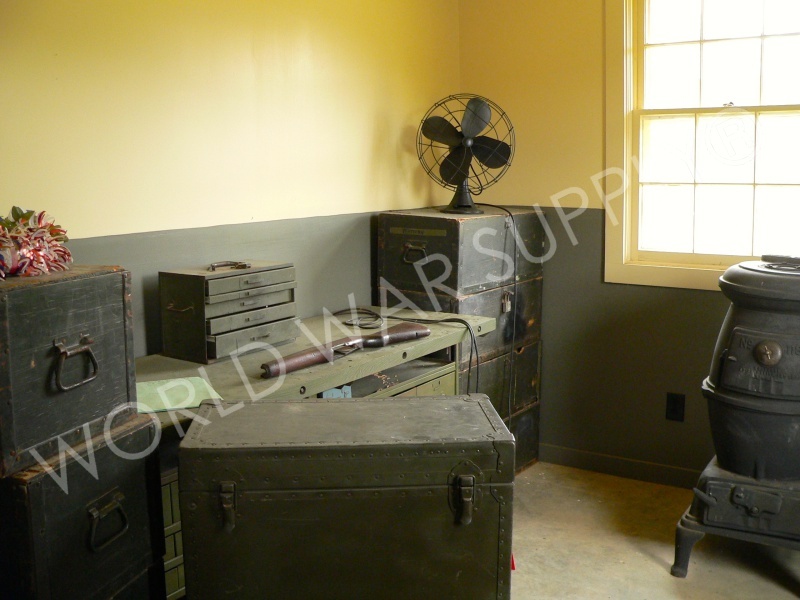 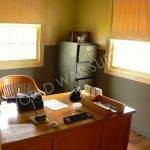 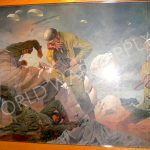 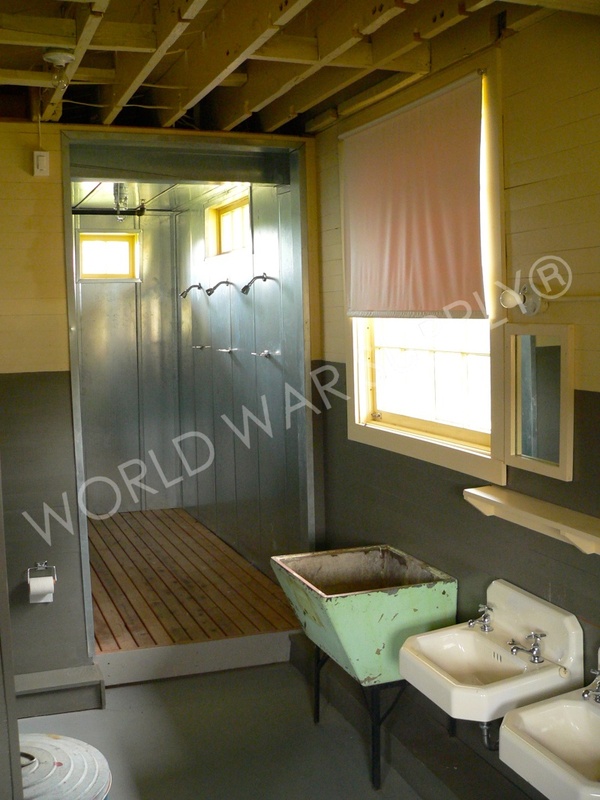 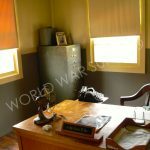 Their museum covers the war extensively while also offering education programs to teach about the outcomes and lessons of the war. 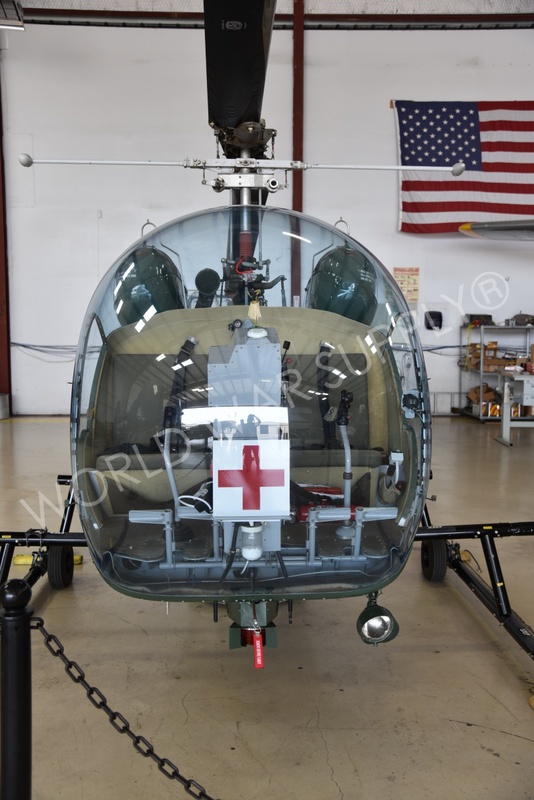 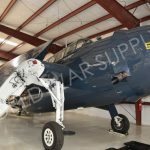 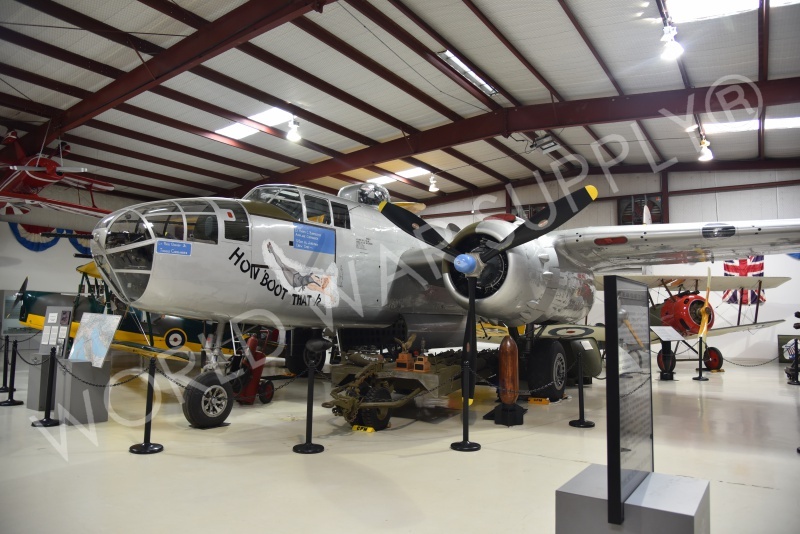 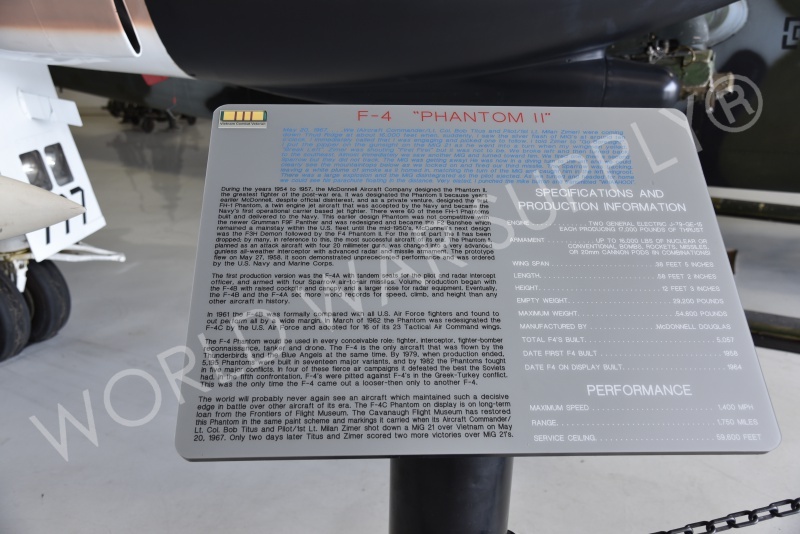 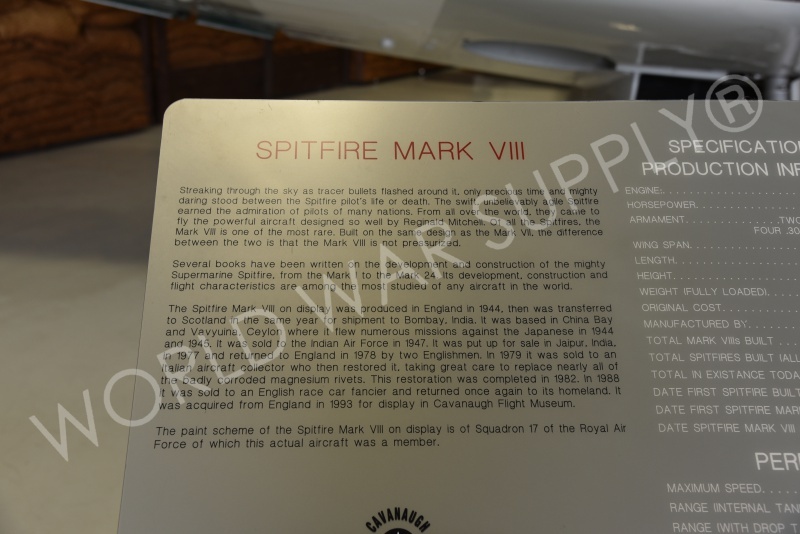 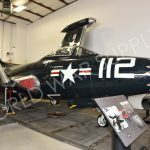 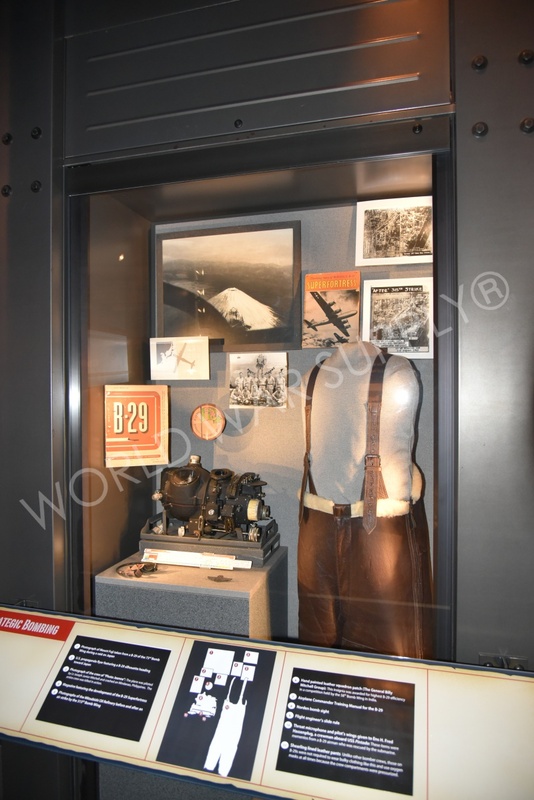 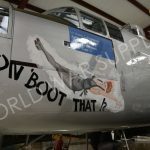 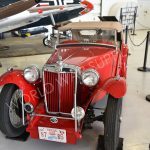 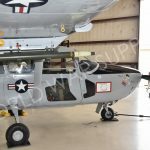 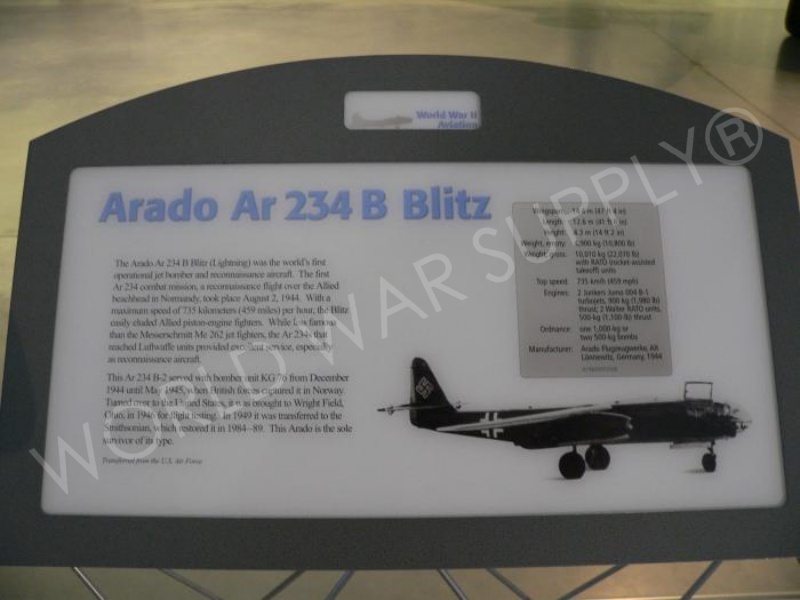 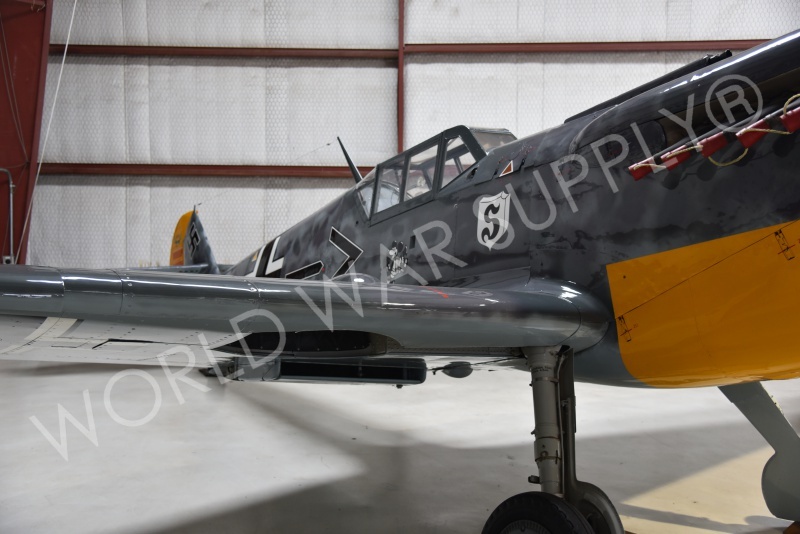 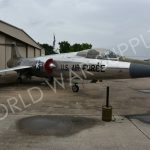 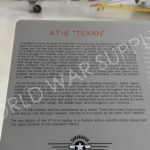 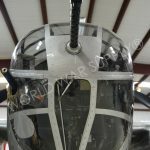 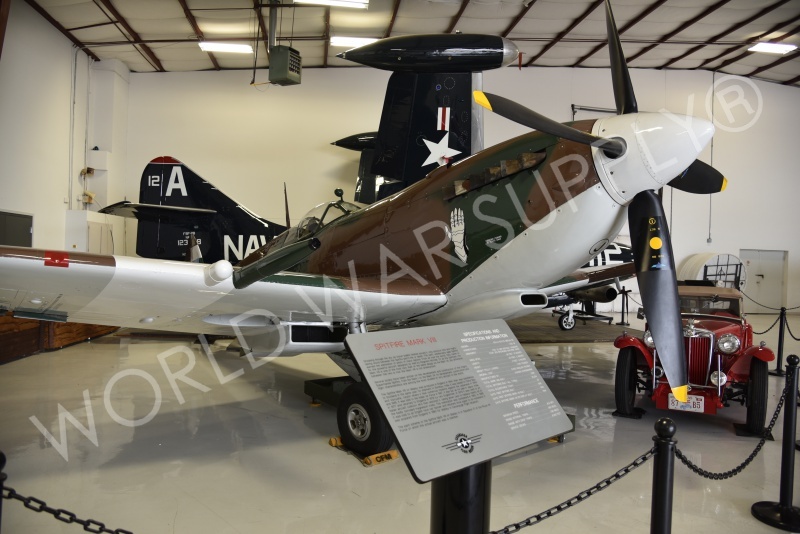 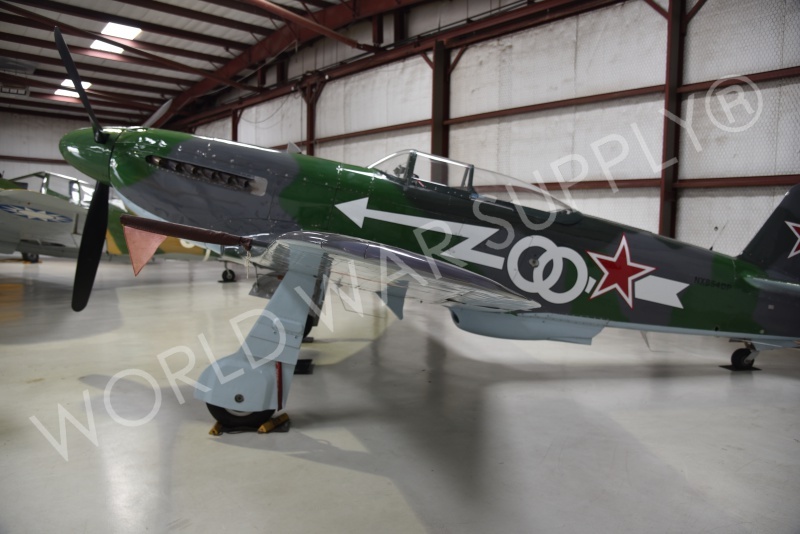 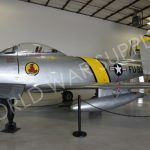 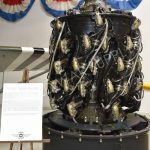 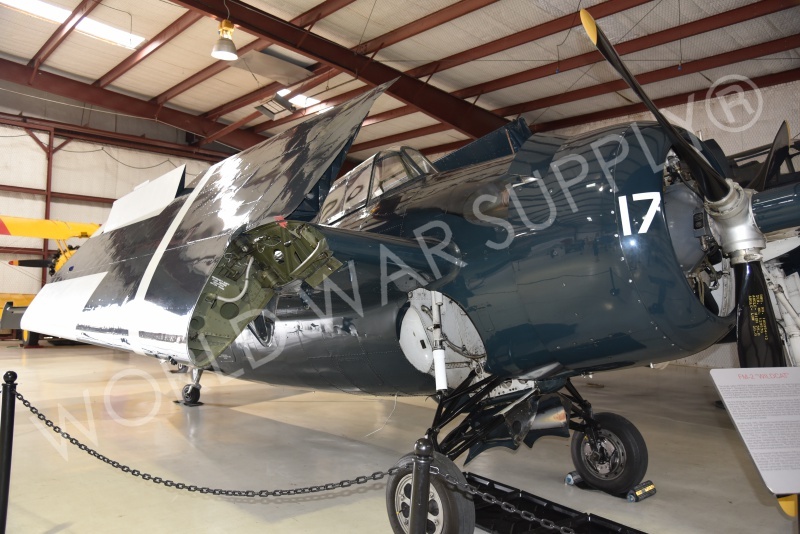 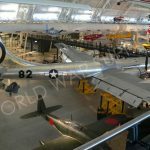 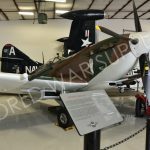 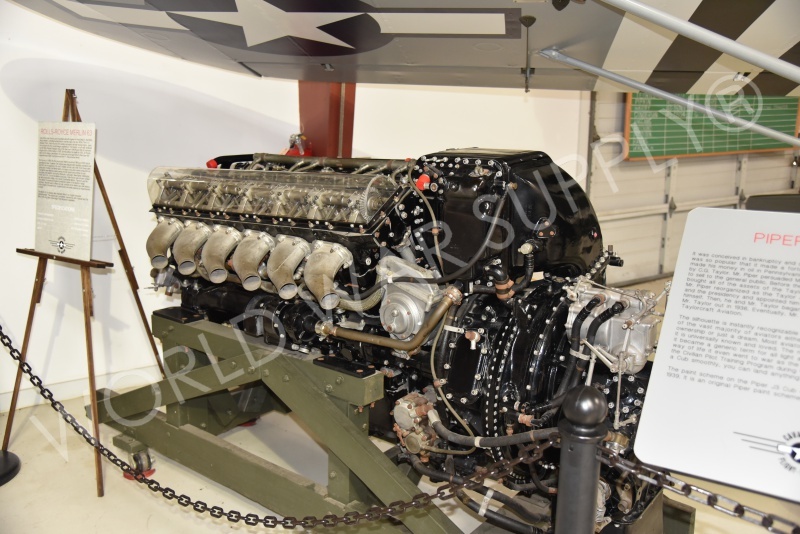 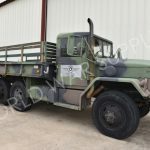 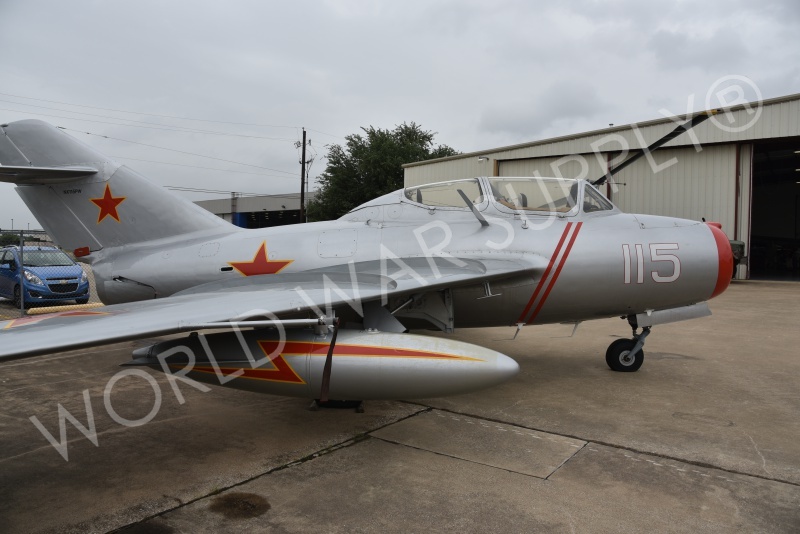 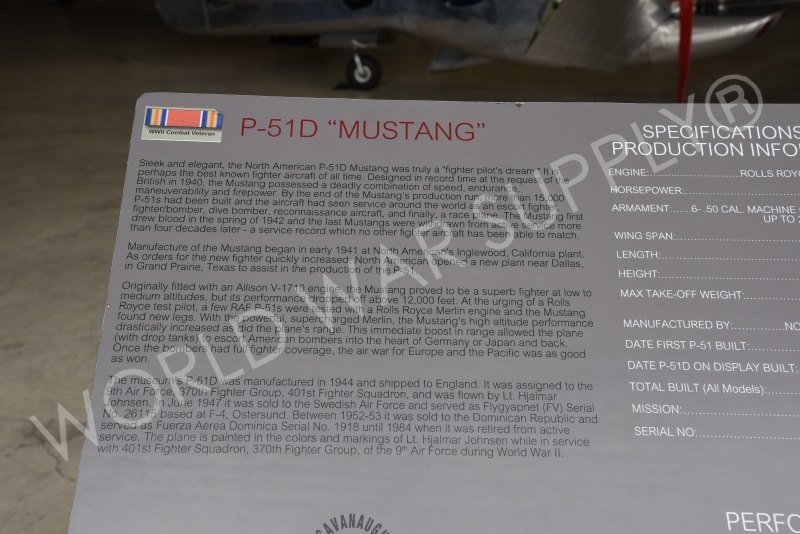 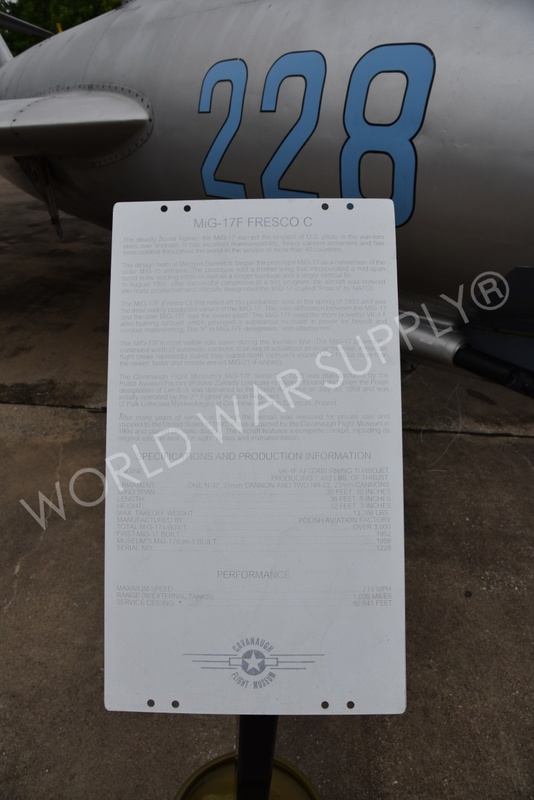 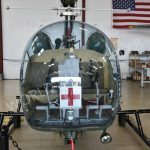 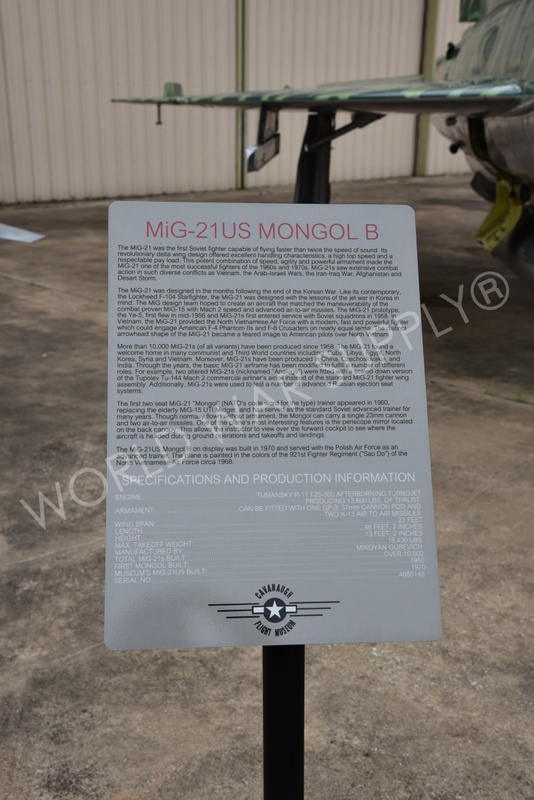 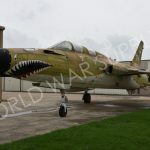 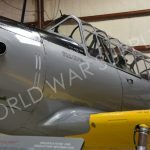 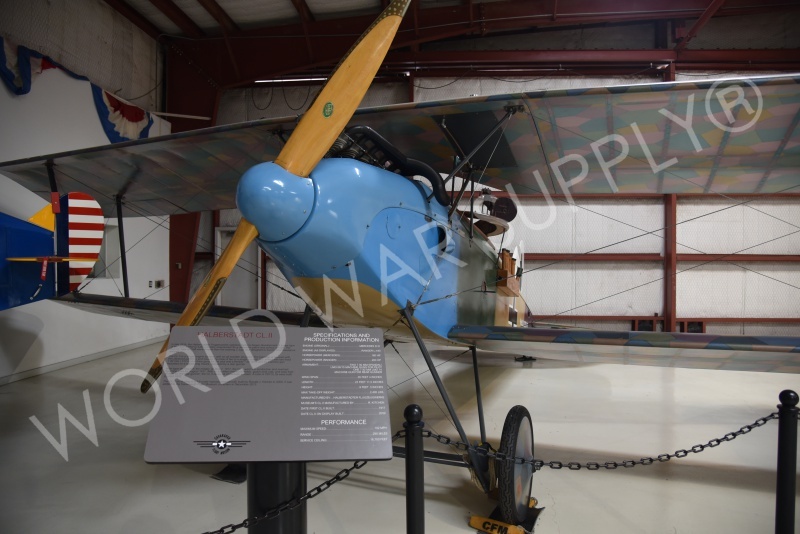 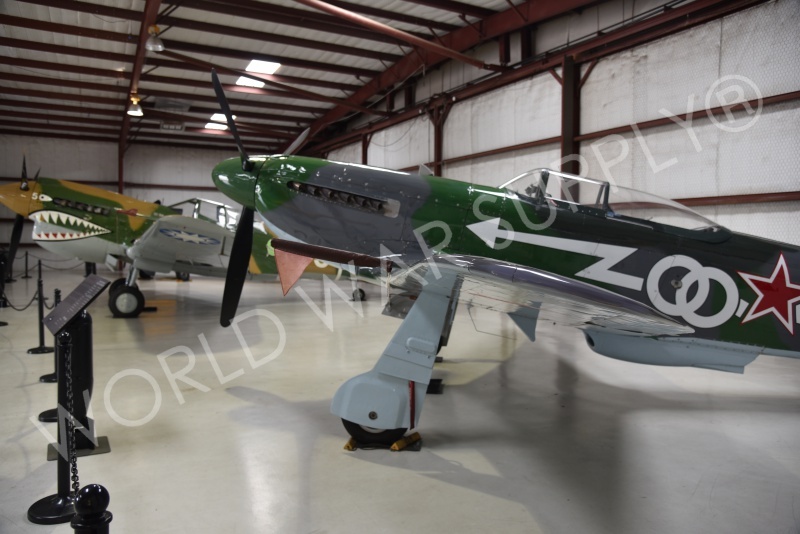 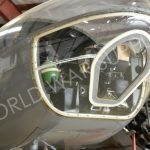 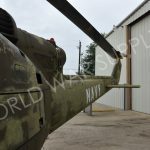 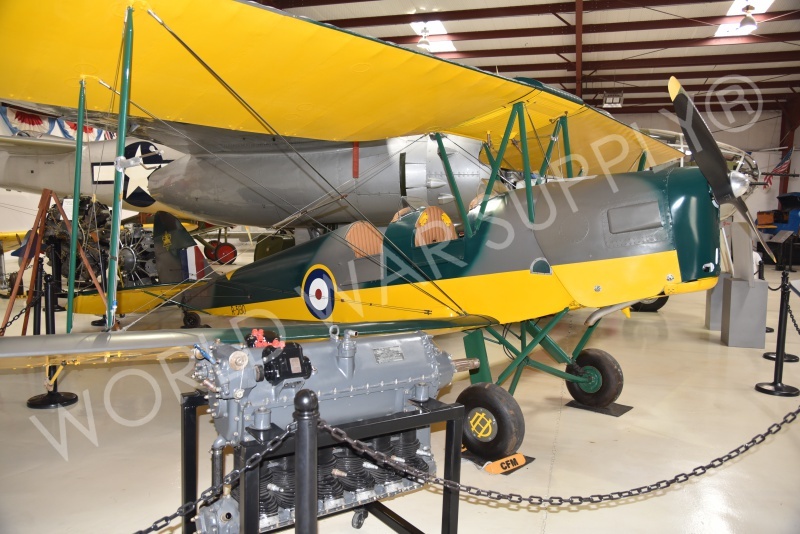 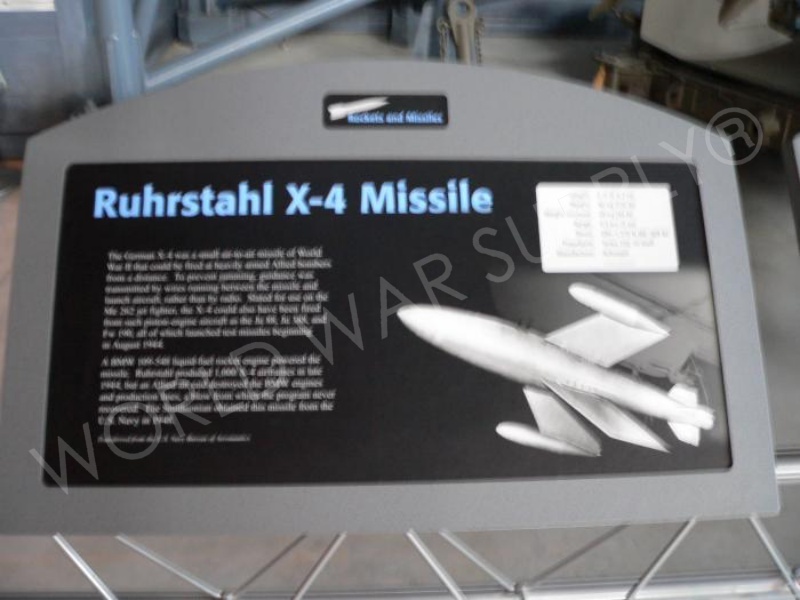 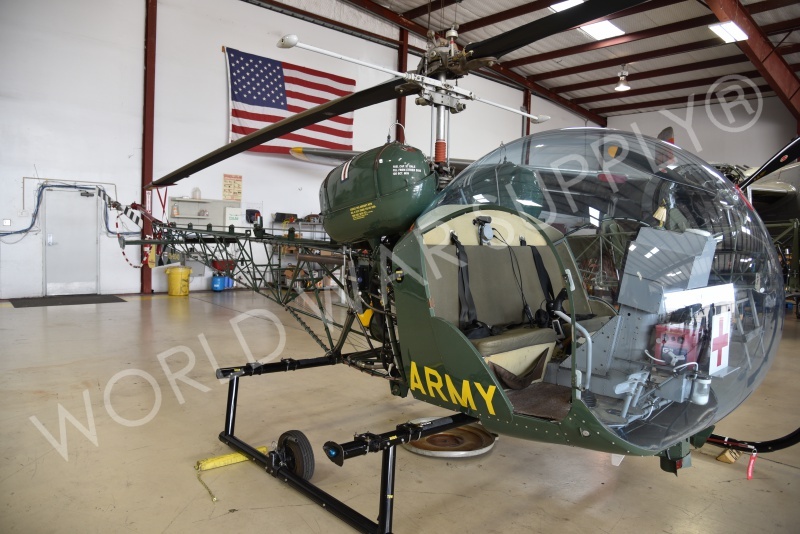 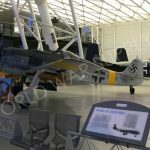 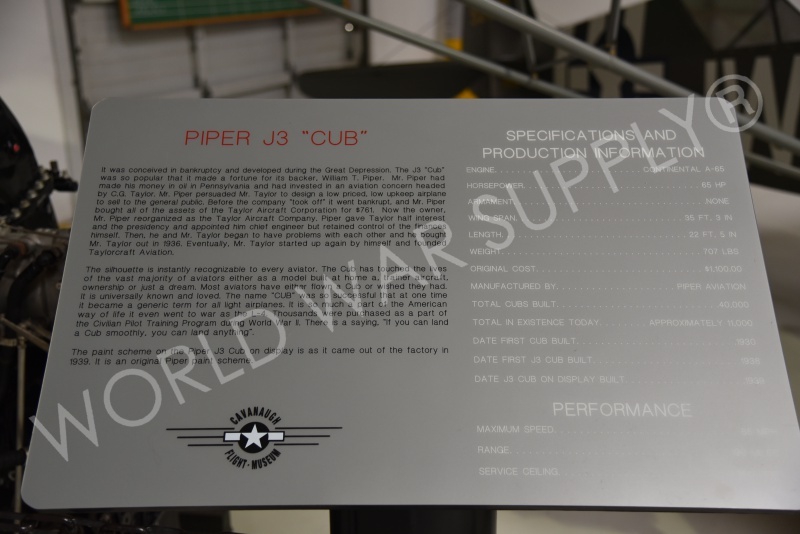 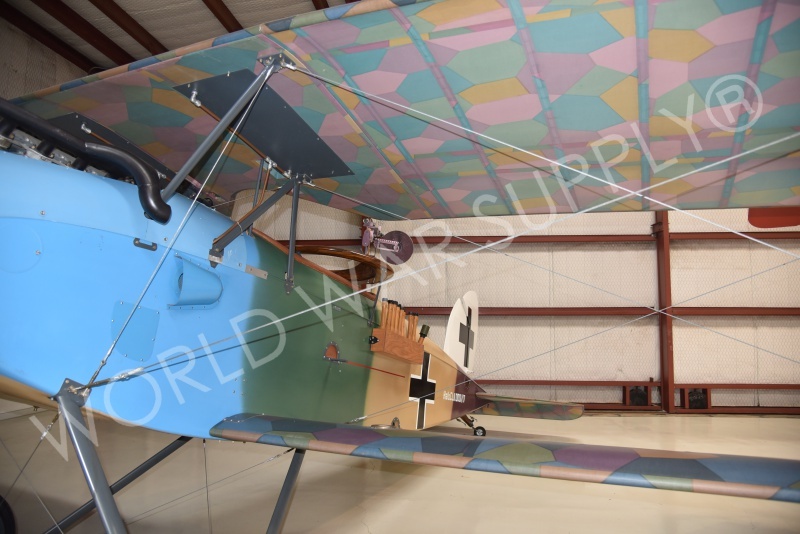 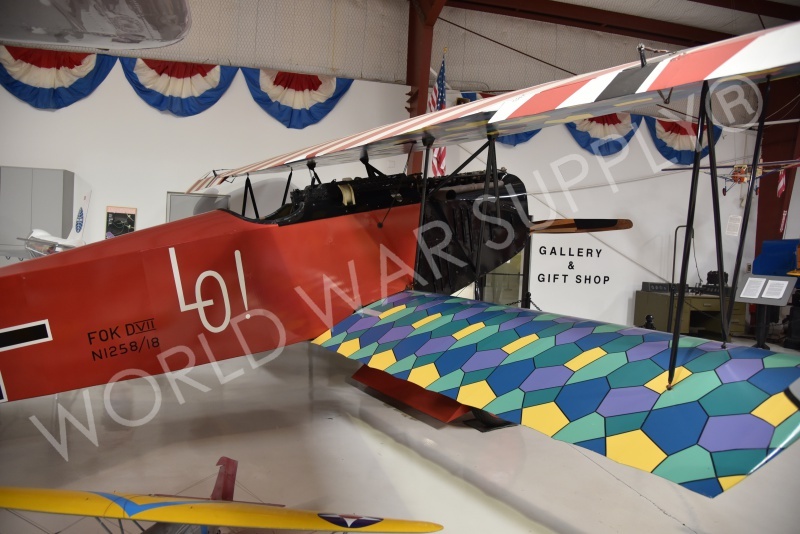 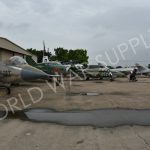 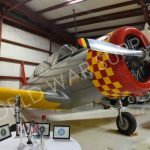 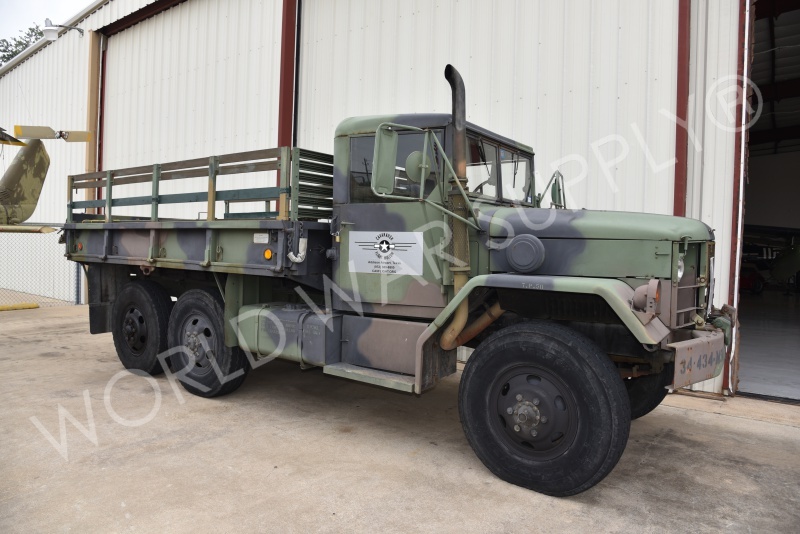 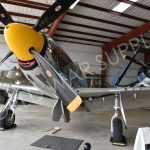 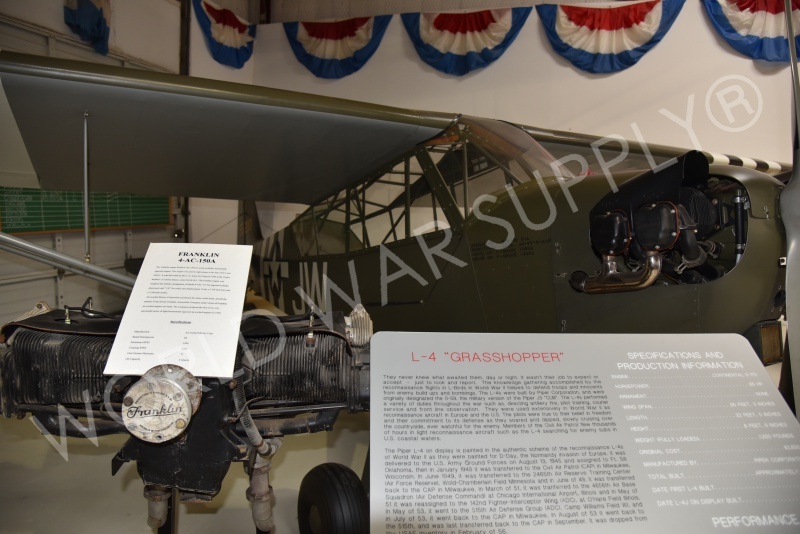 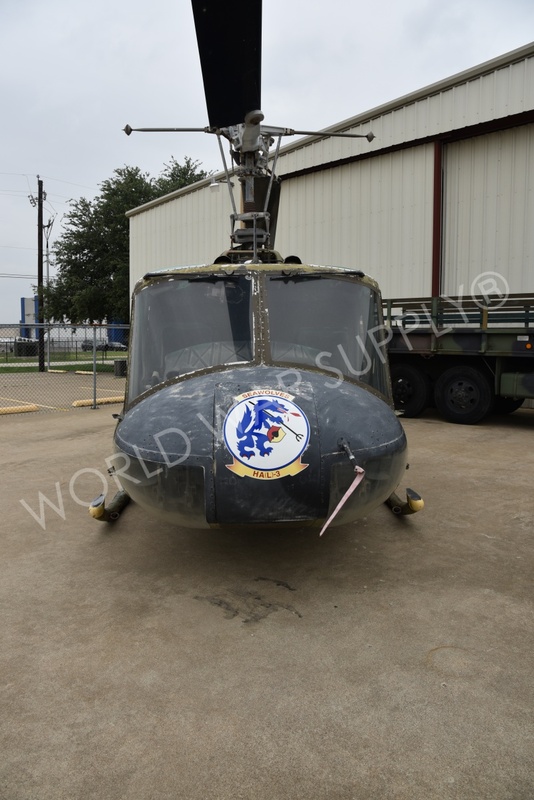 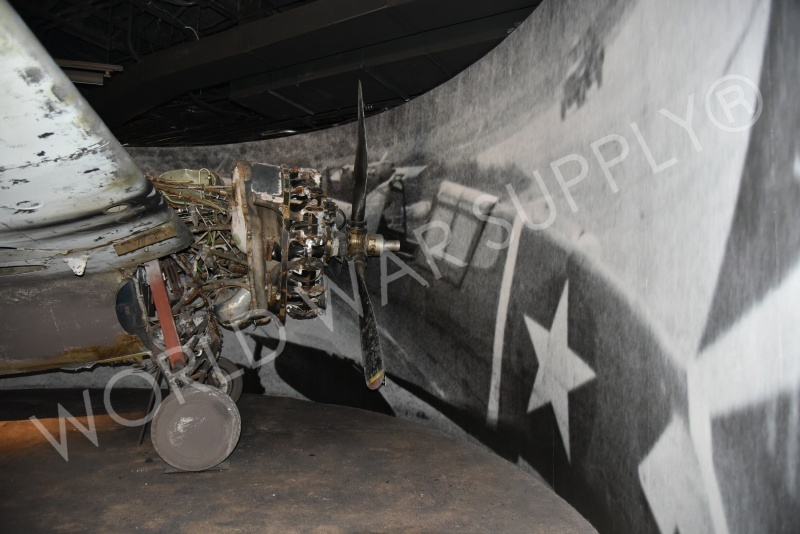 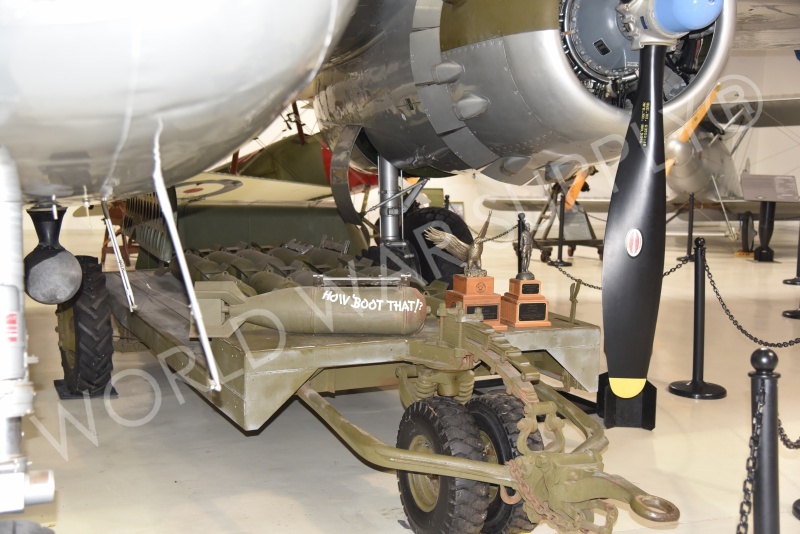 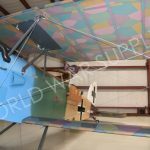 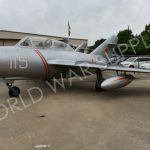 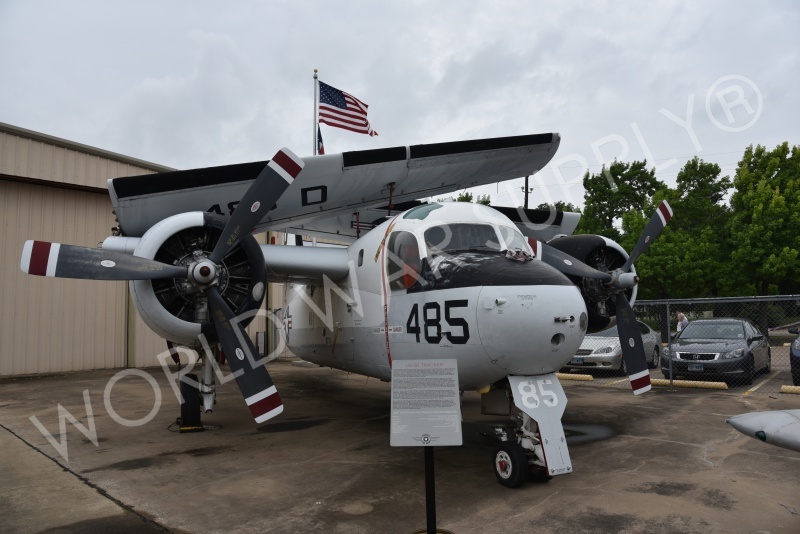 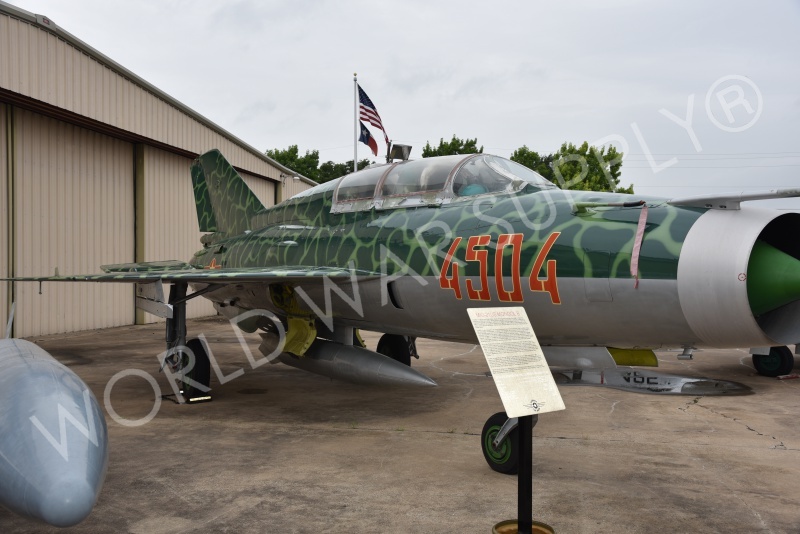 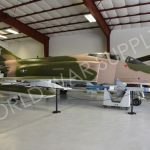 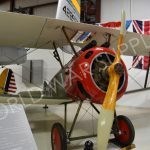 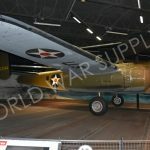 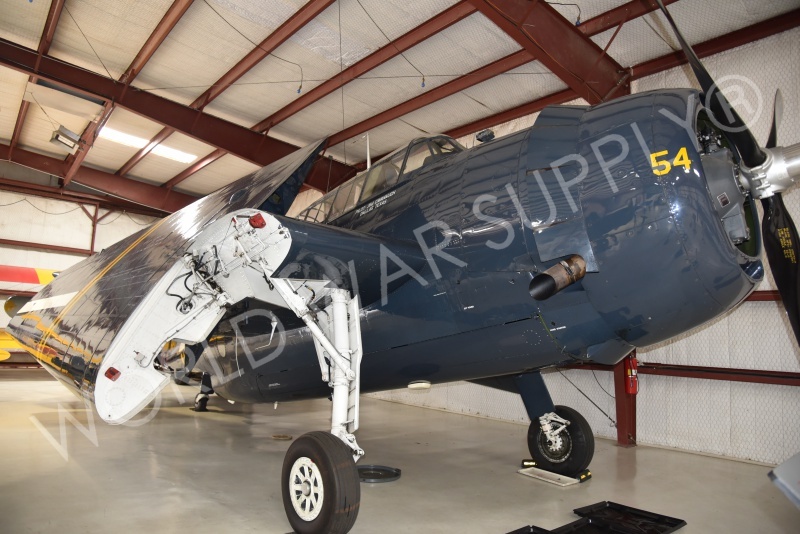 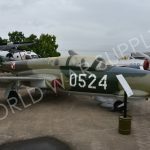 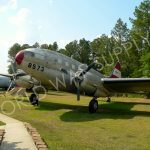 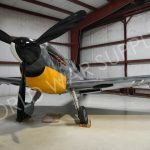 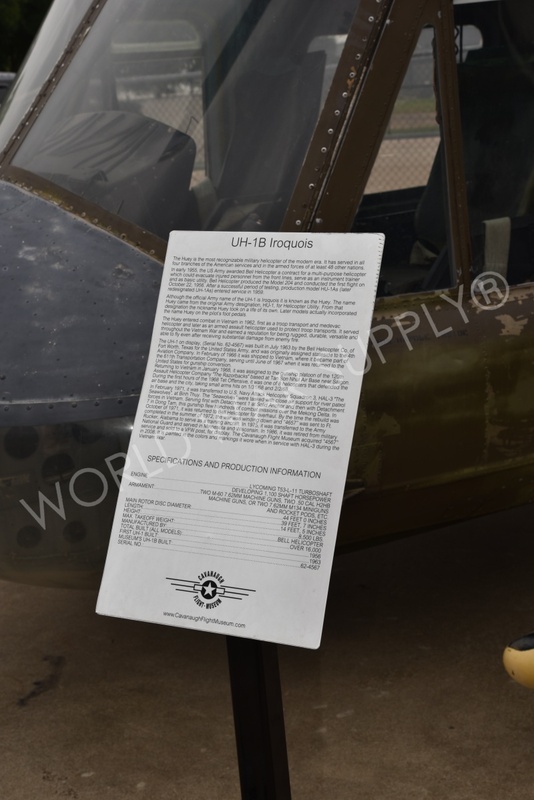 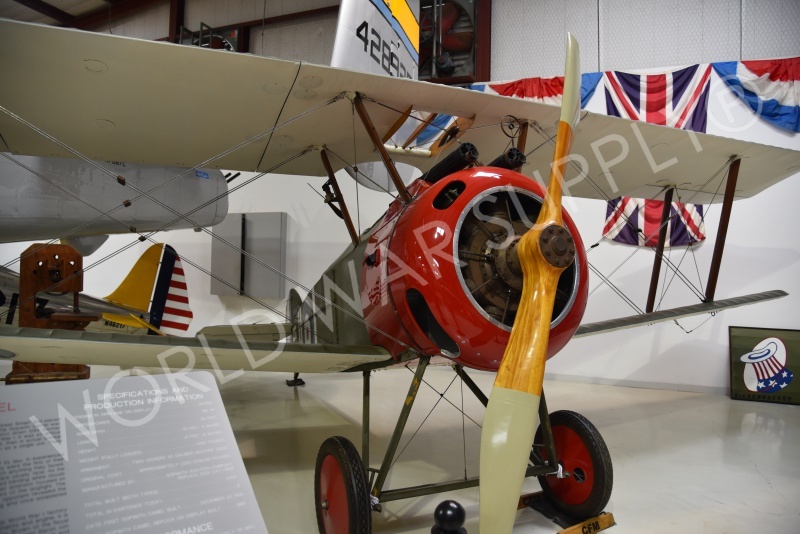 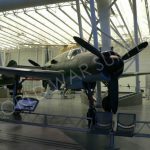 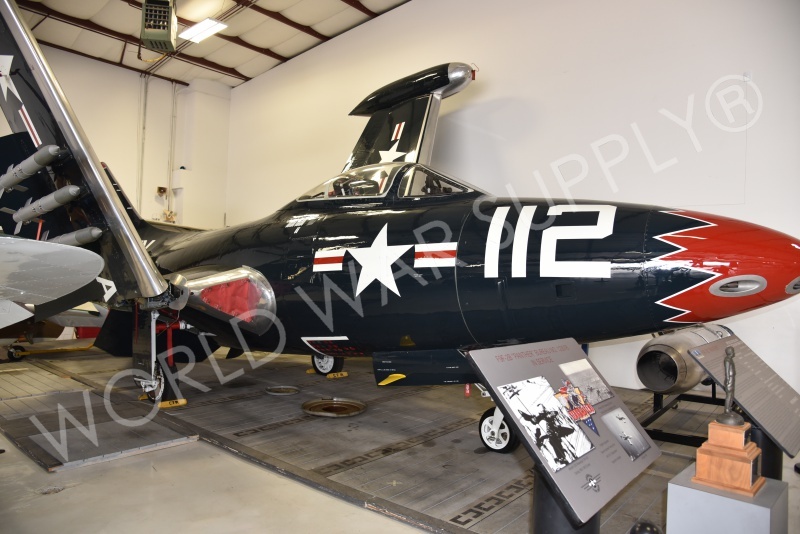 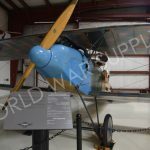 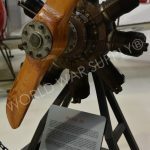 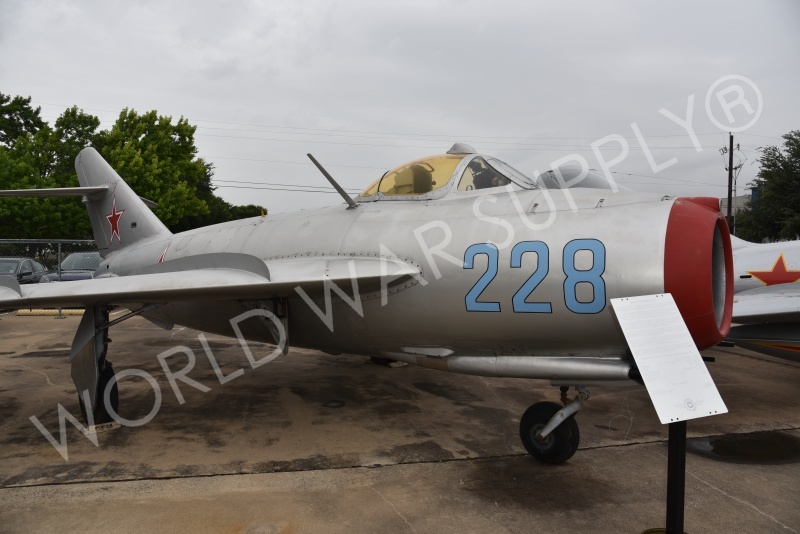 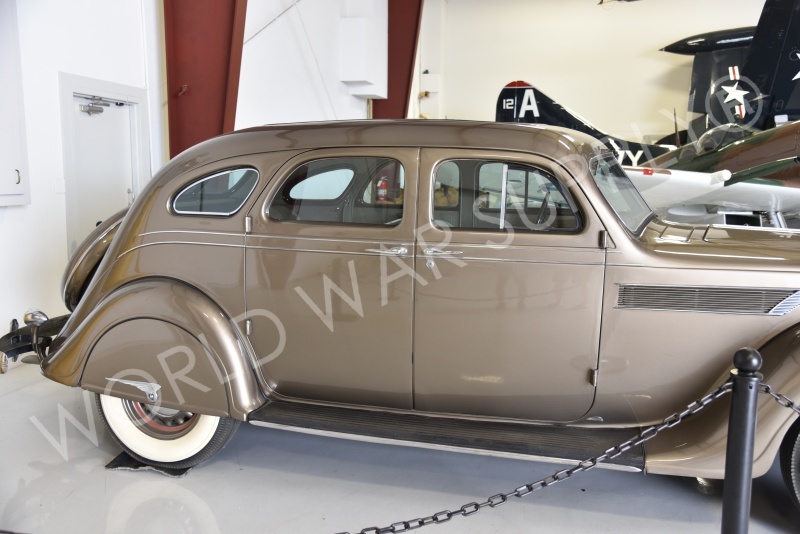 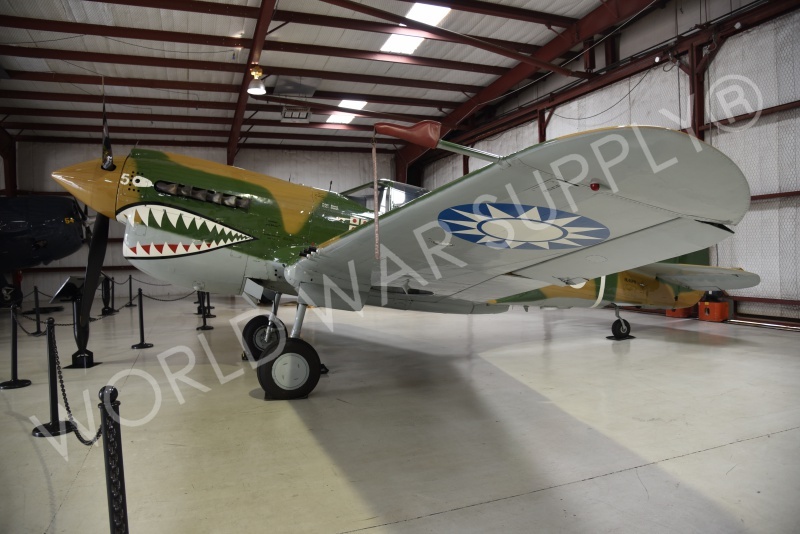 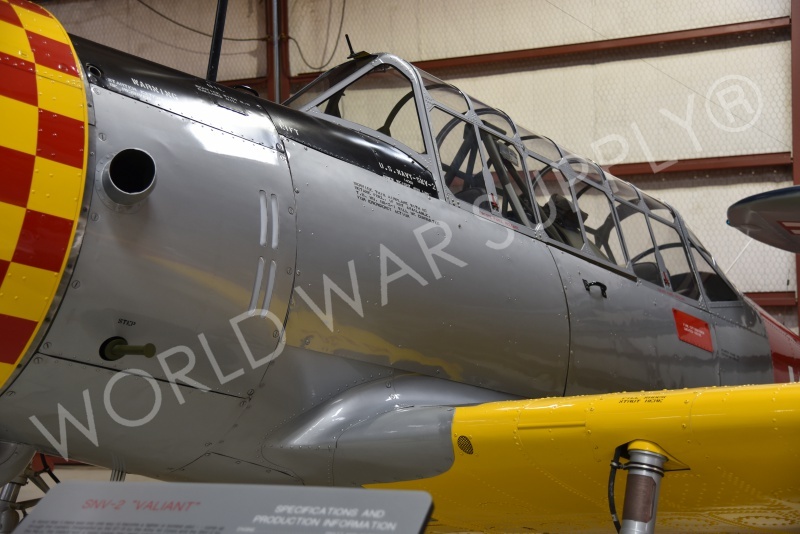 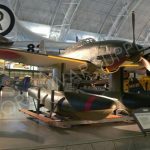 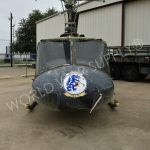 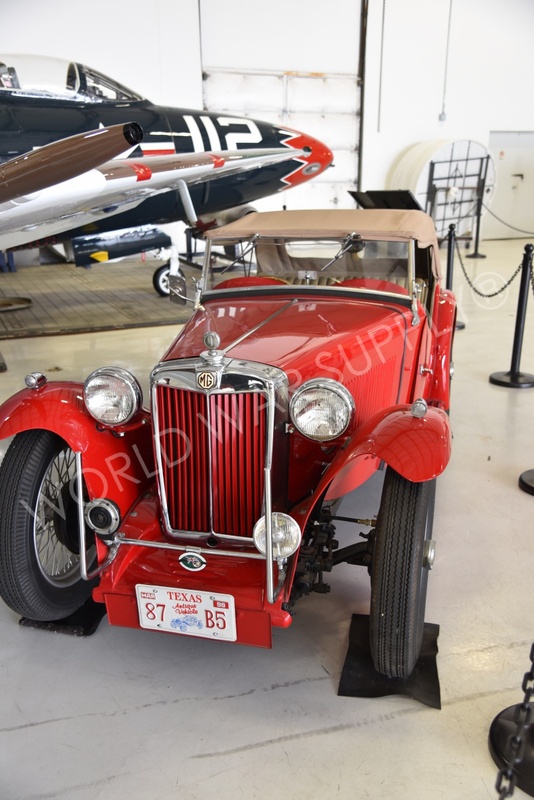 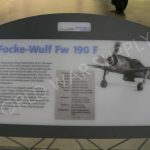 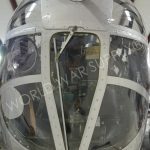 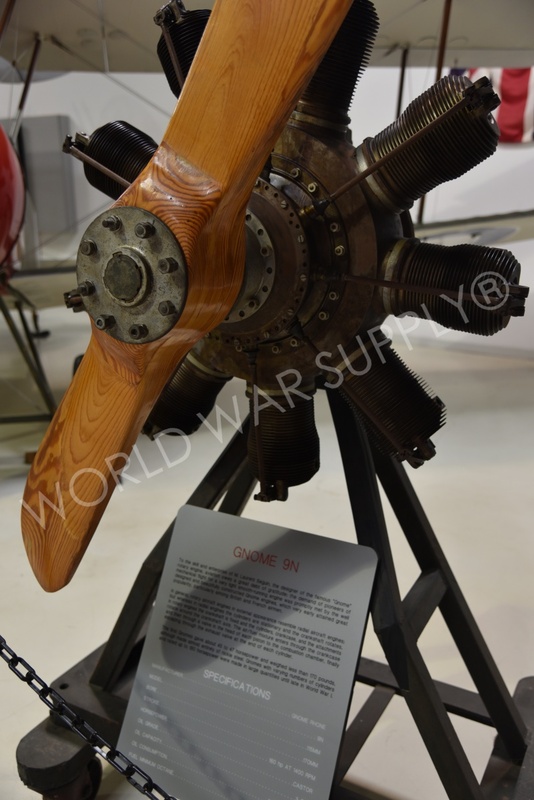 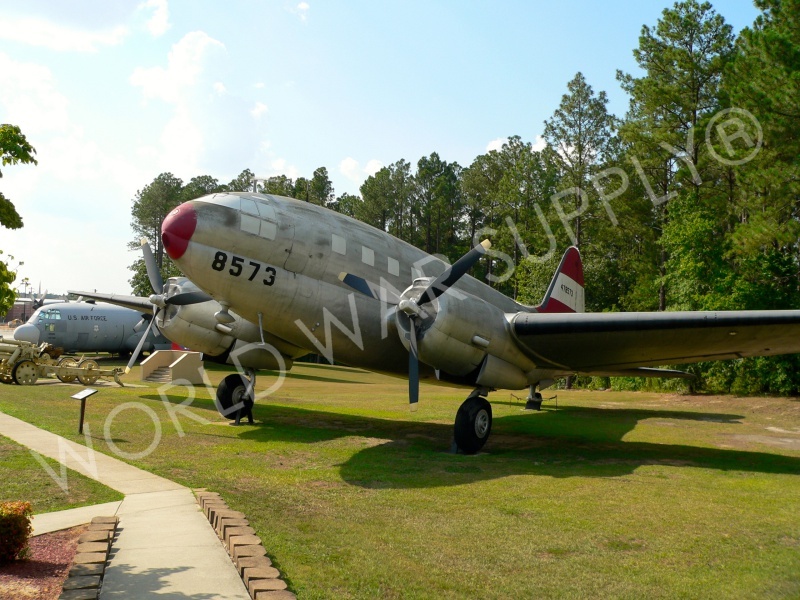 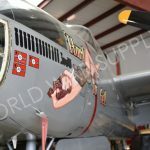 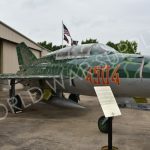 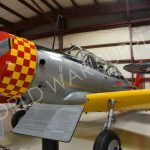 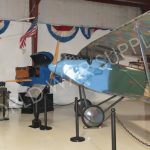 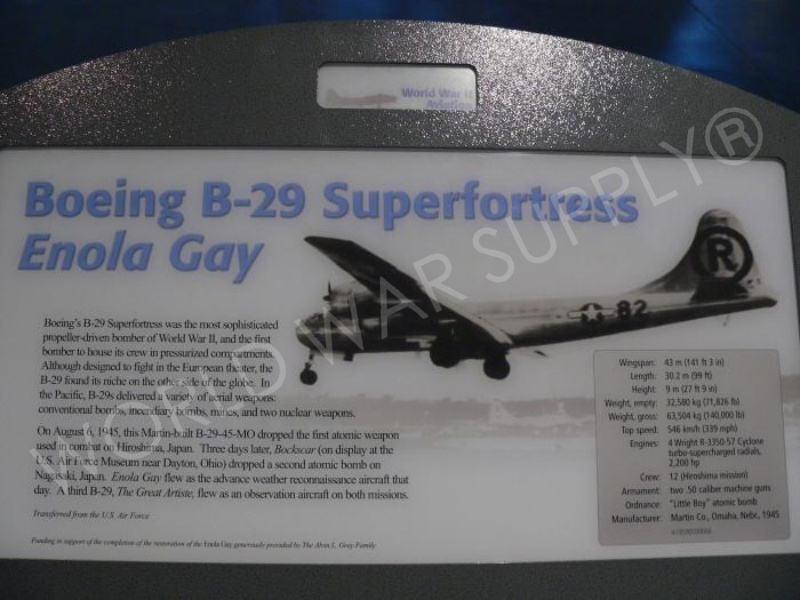 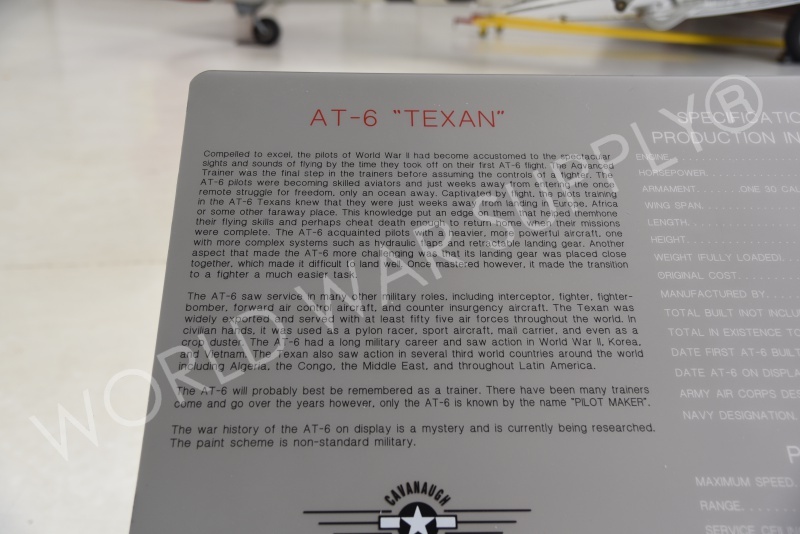 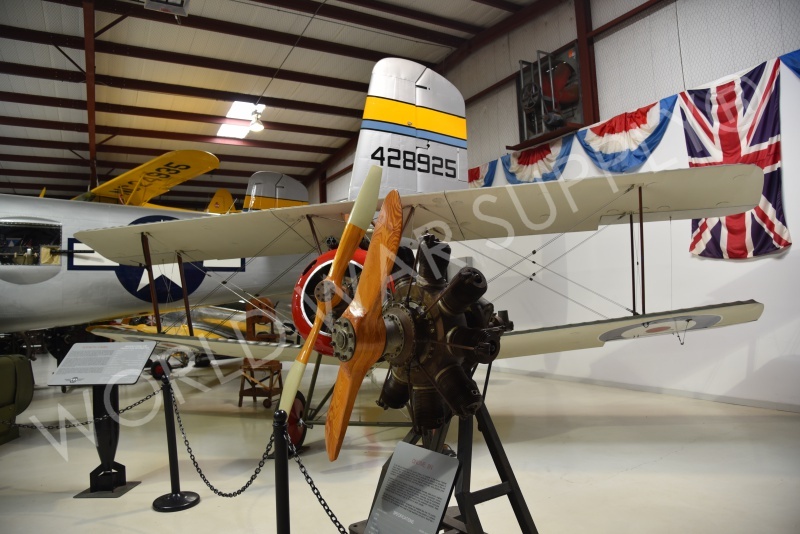 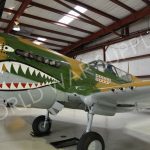 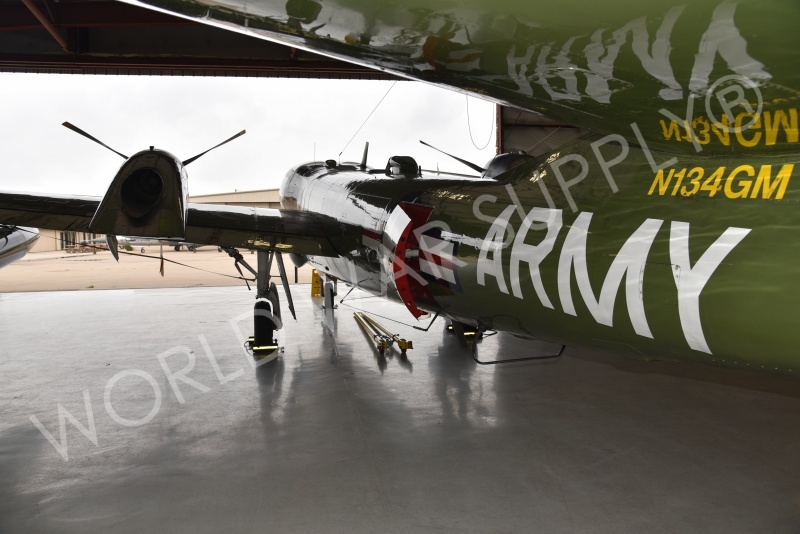 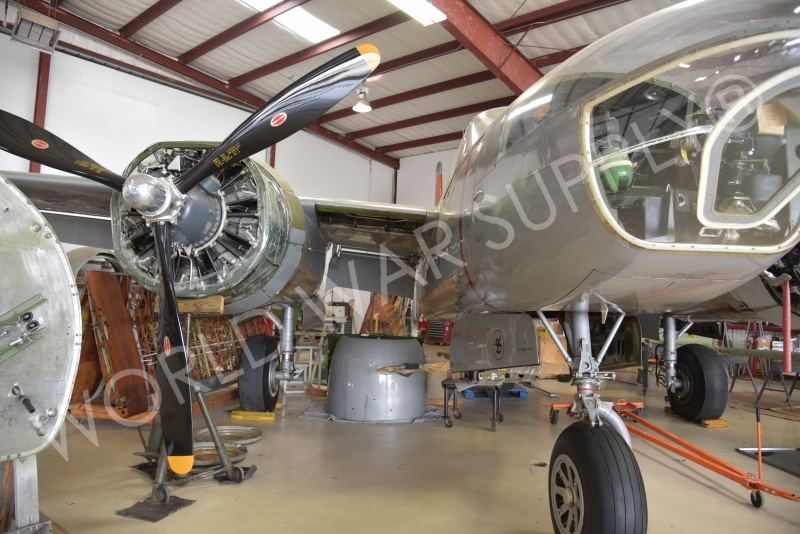 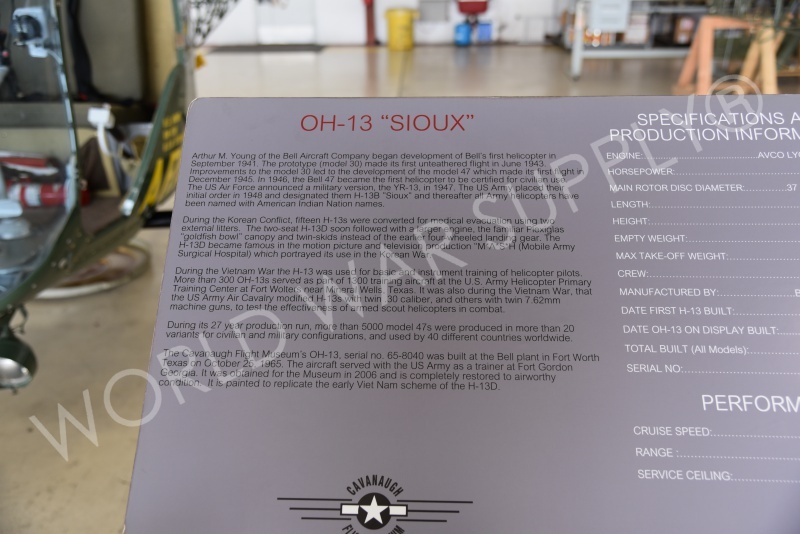 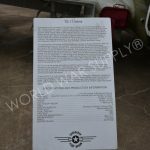 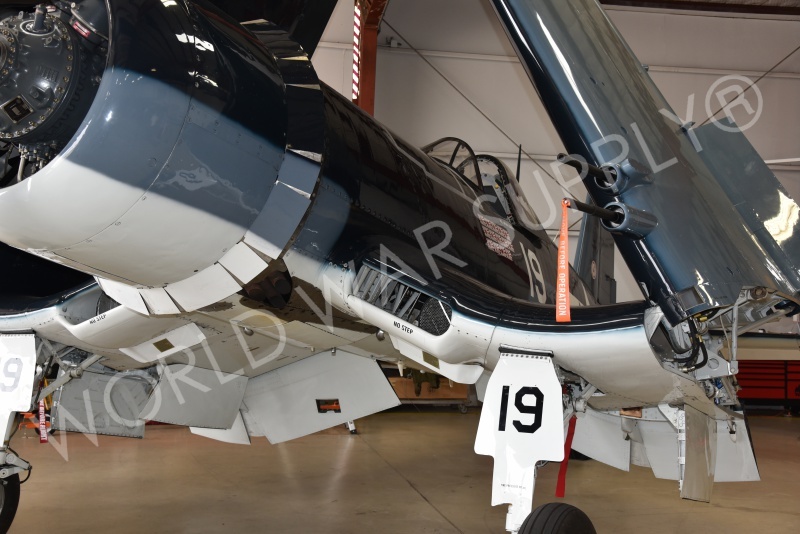 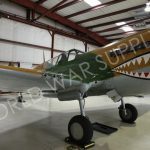 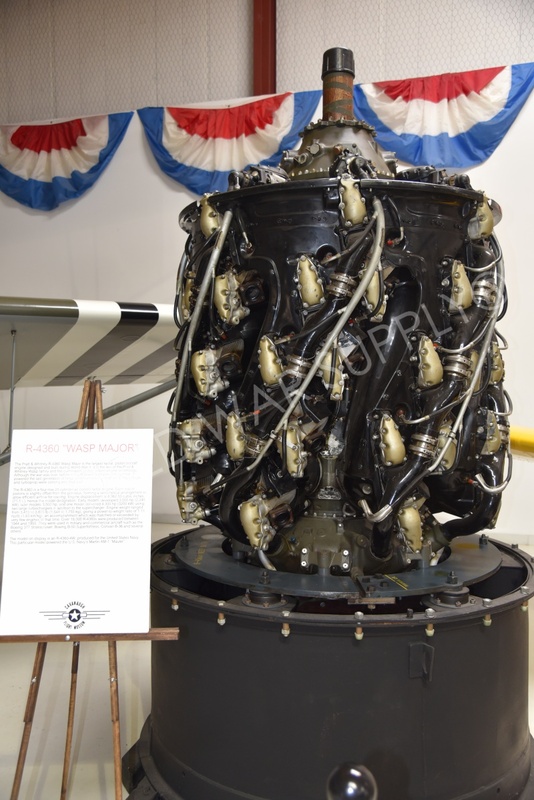 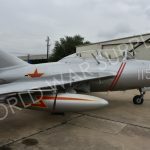 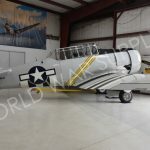 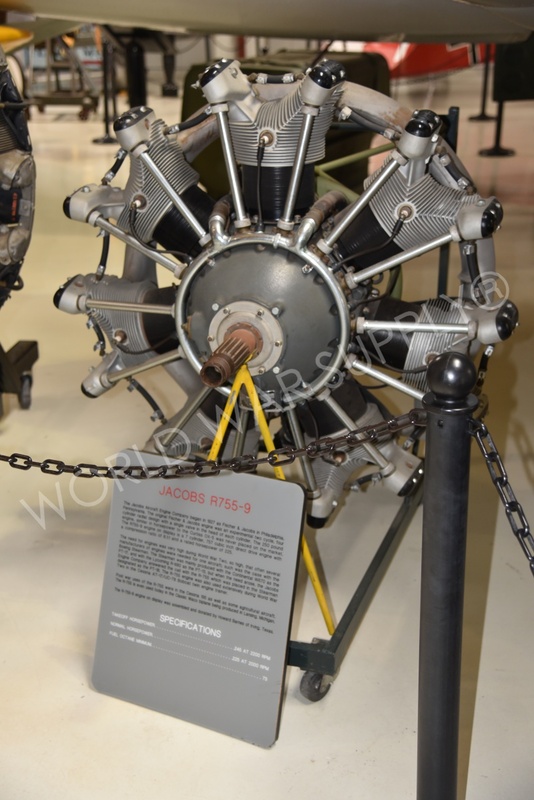 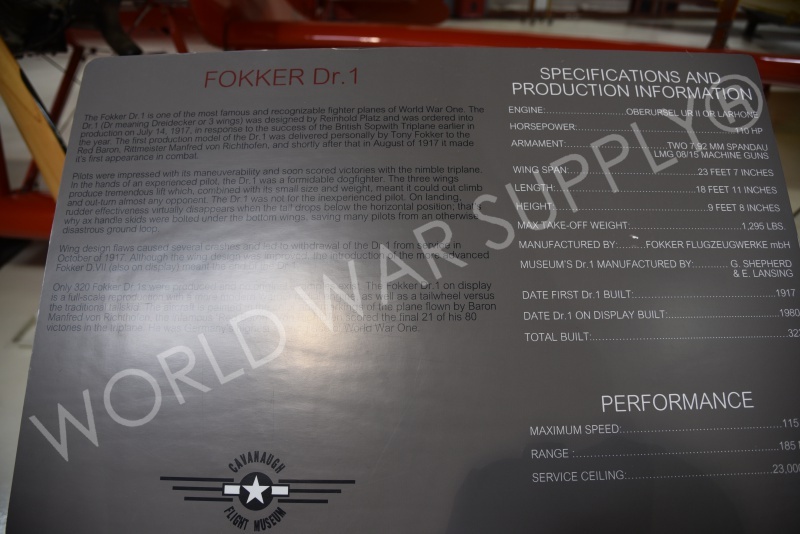 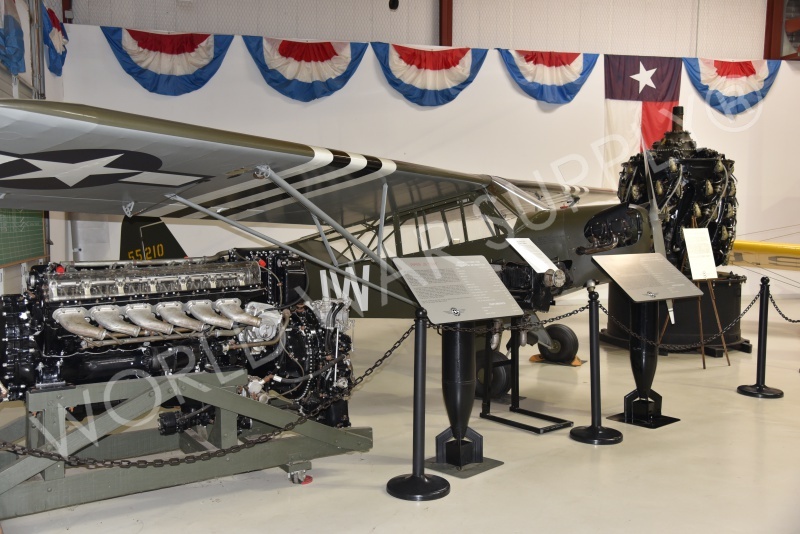 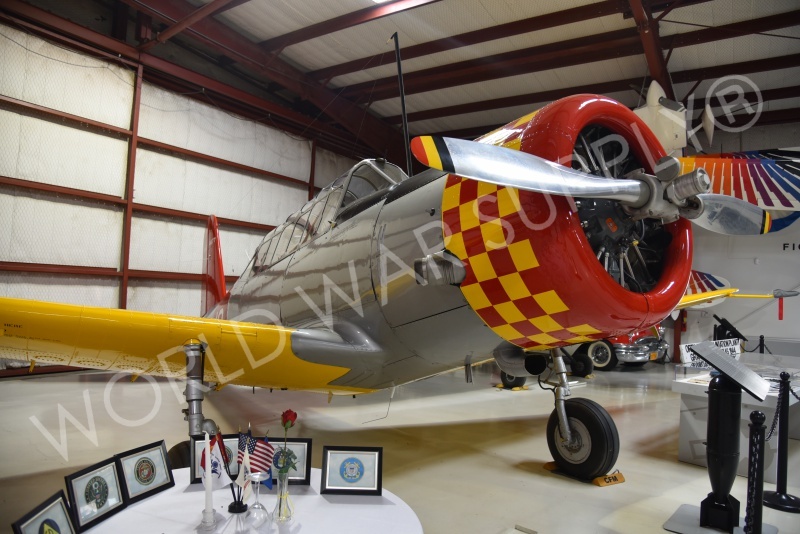 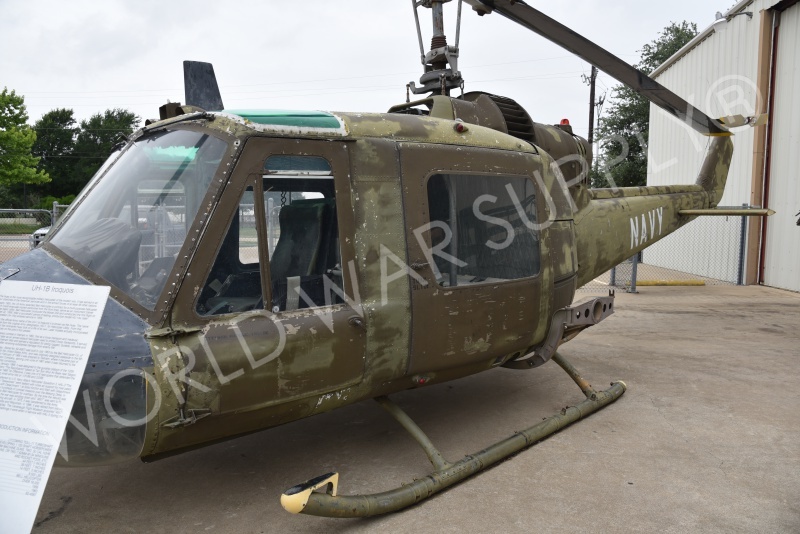 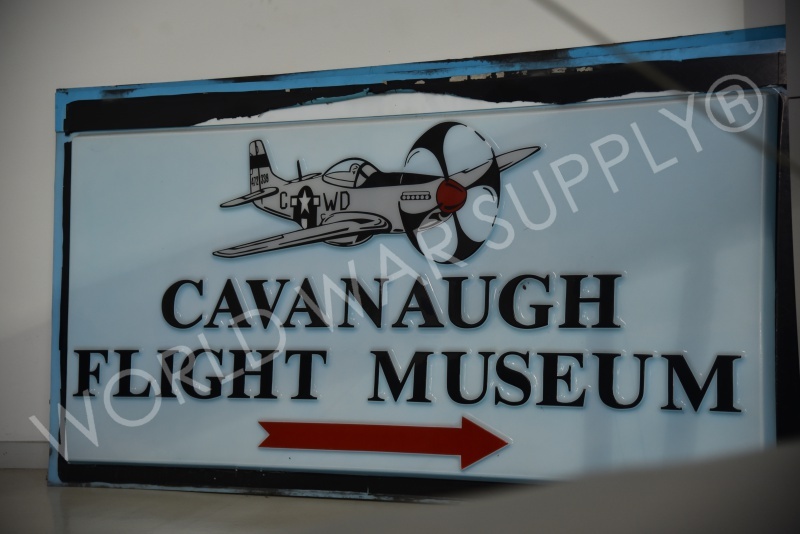 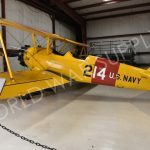 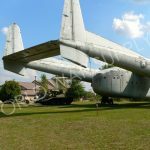 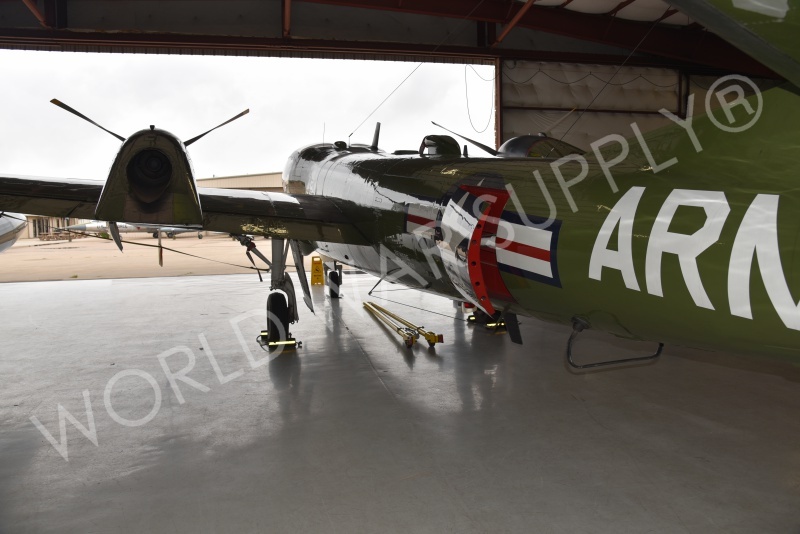 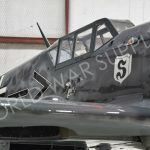 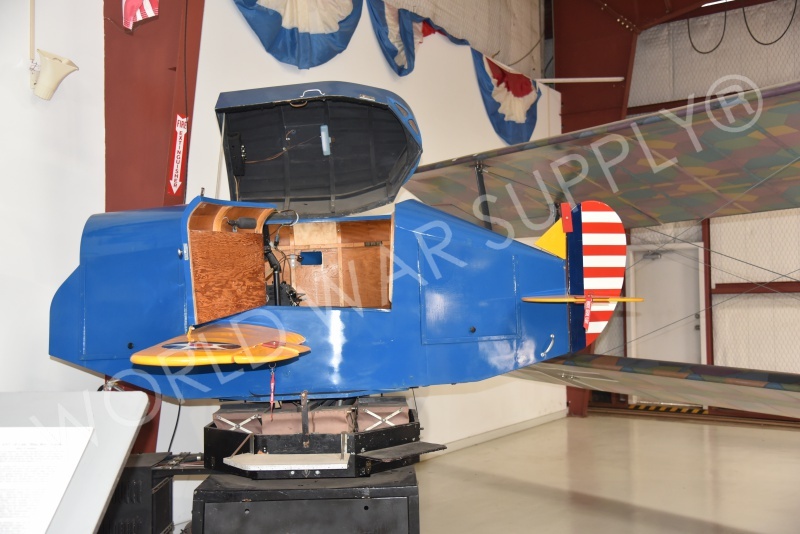 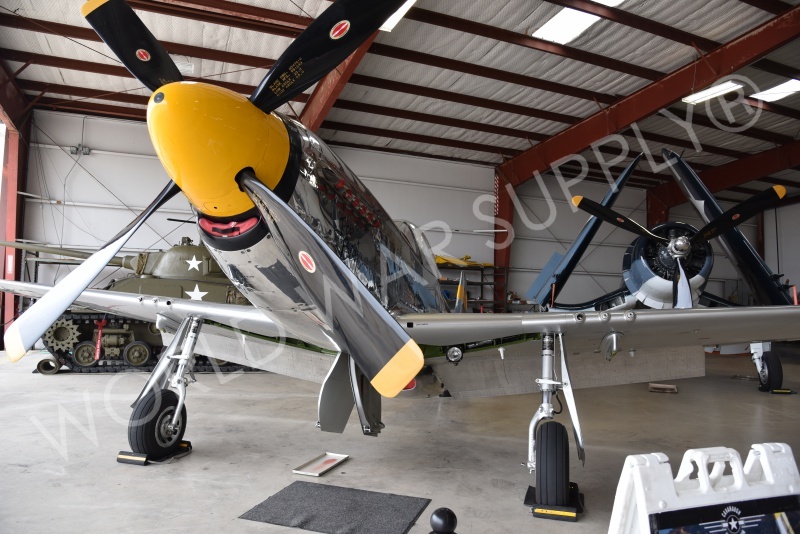 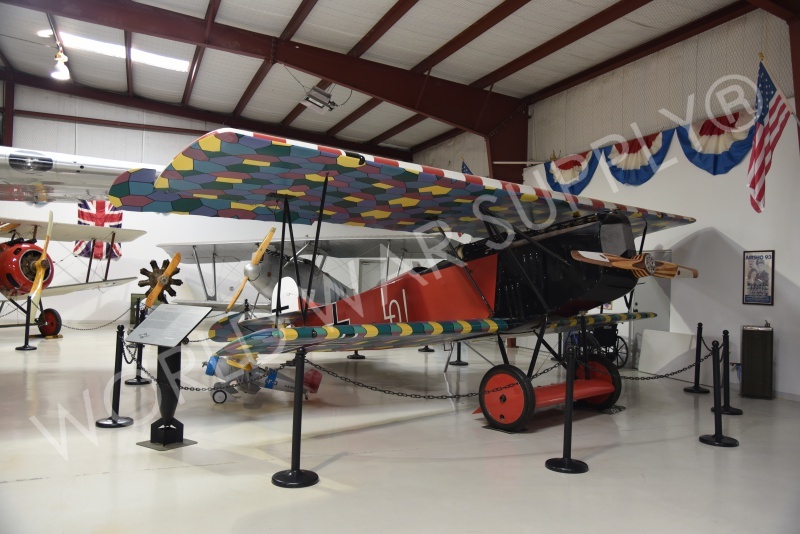 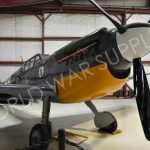 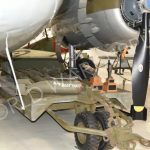 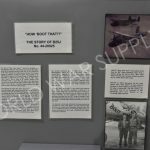 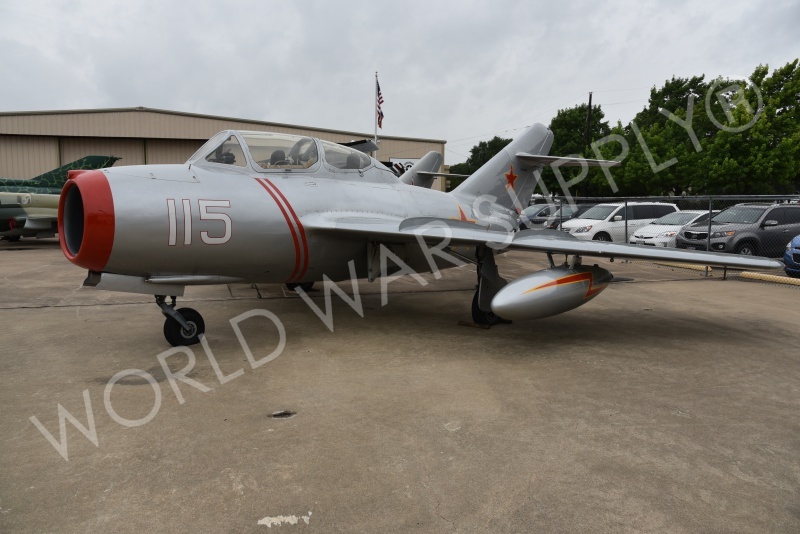 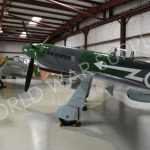 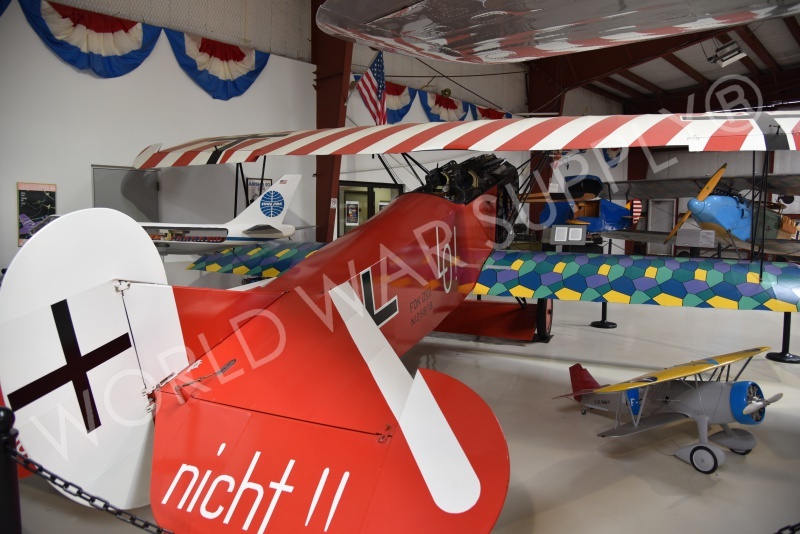 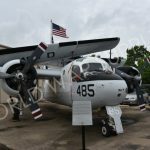 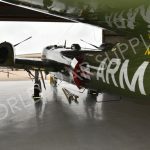 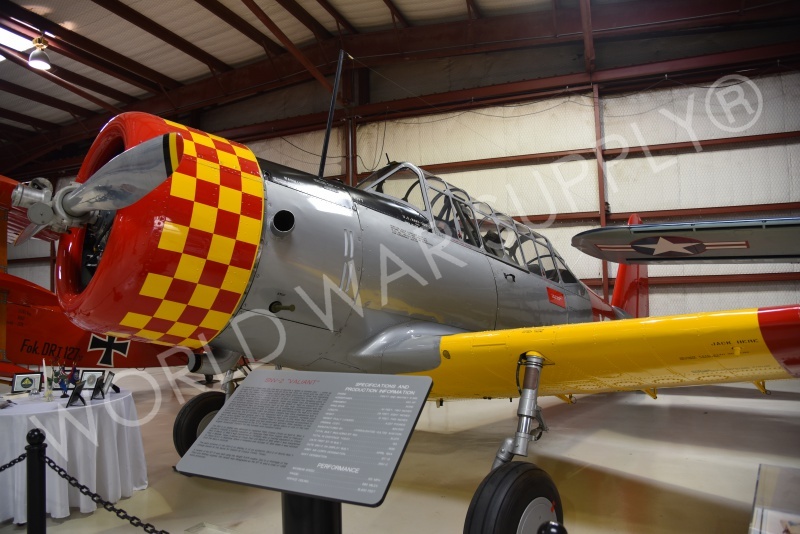 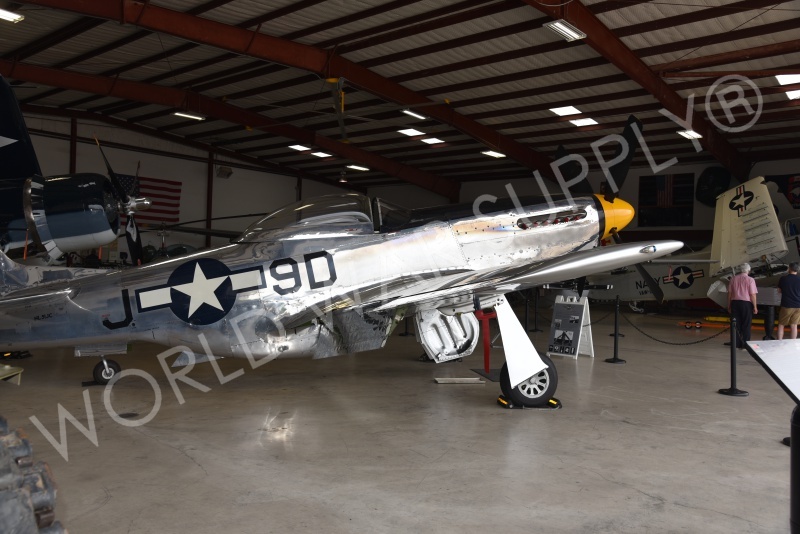 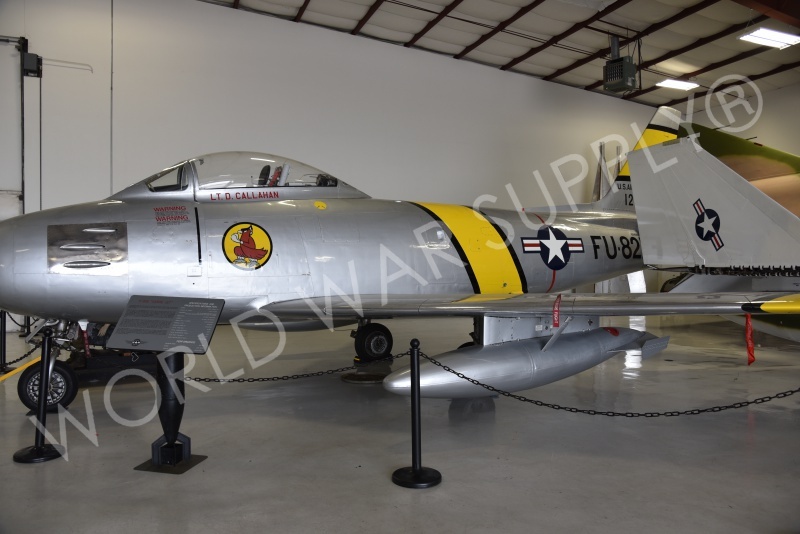 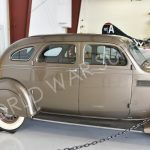 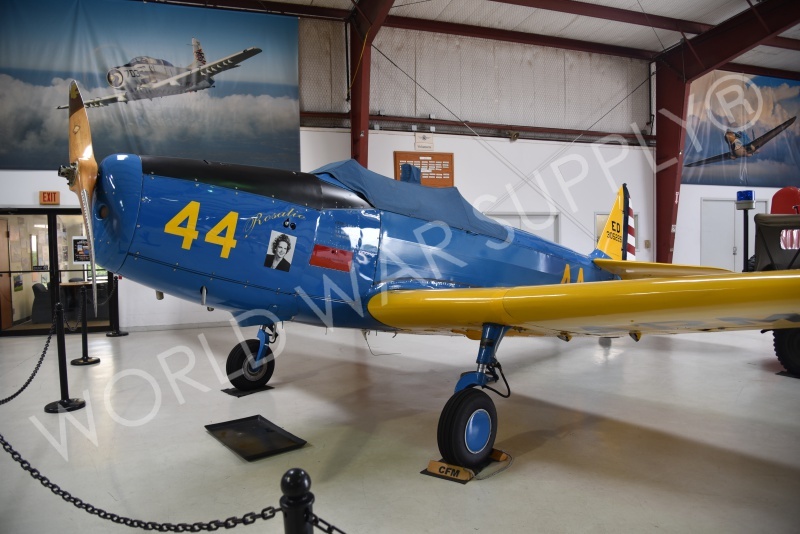 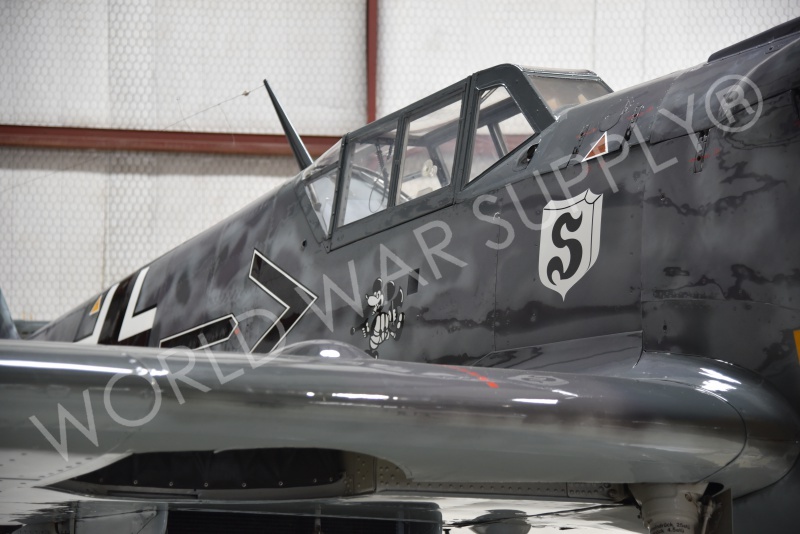 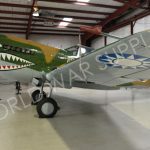 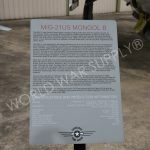 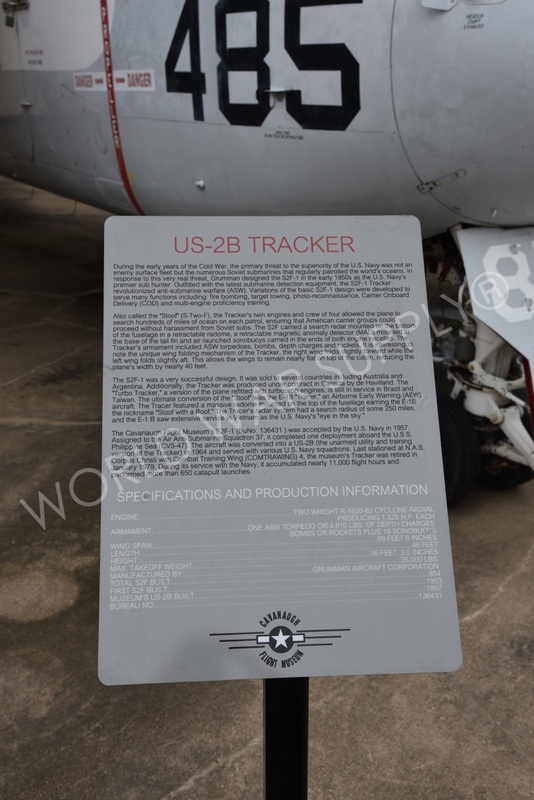 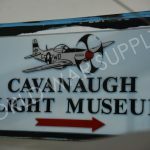 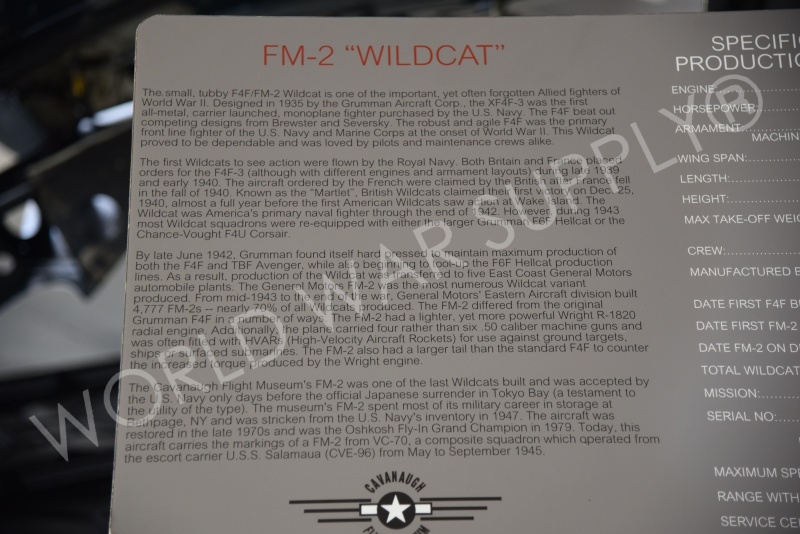 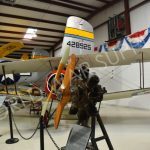 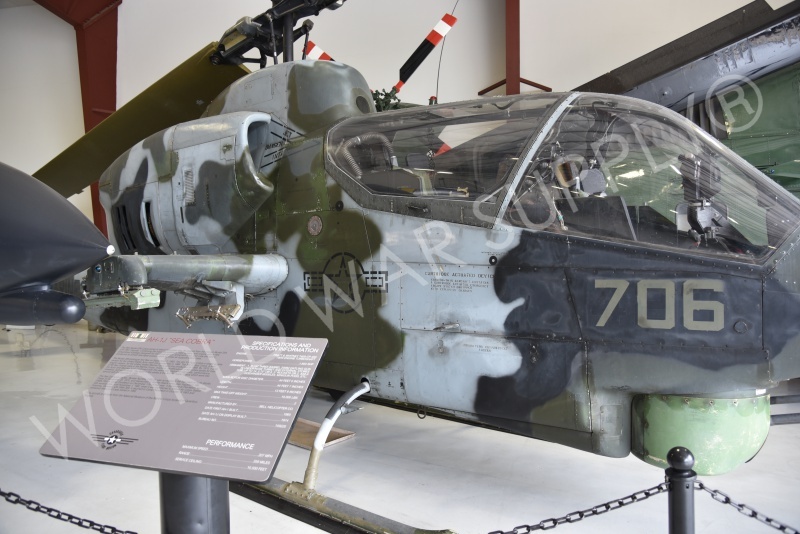 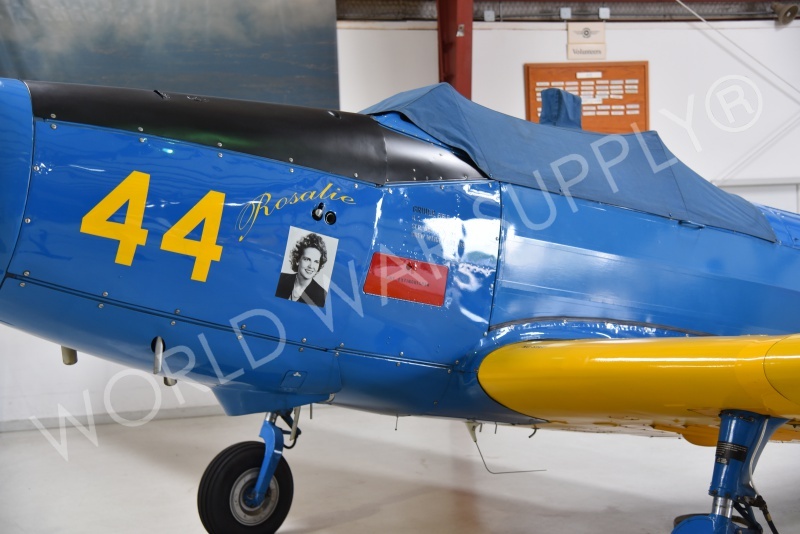 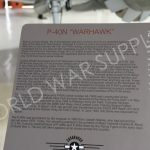 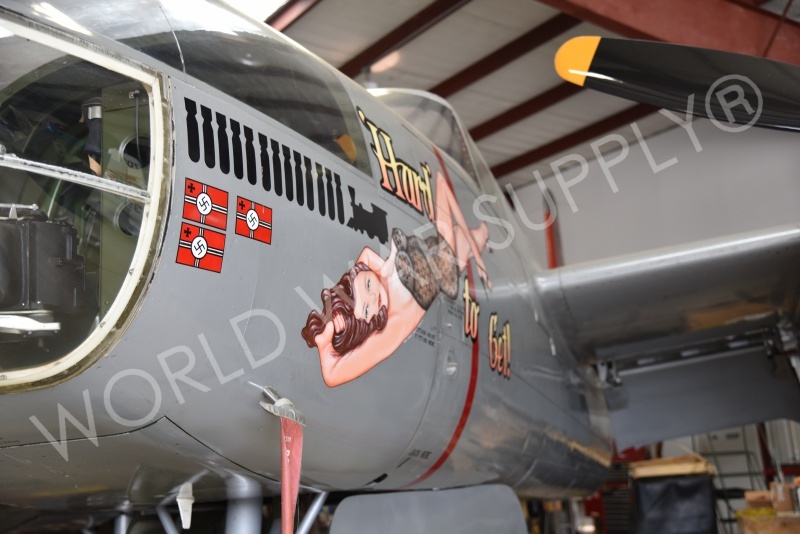 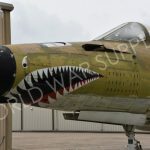 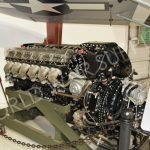 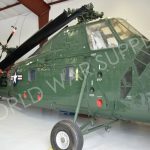 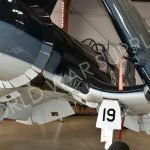 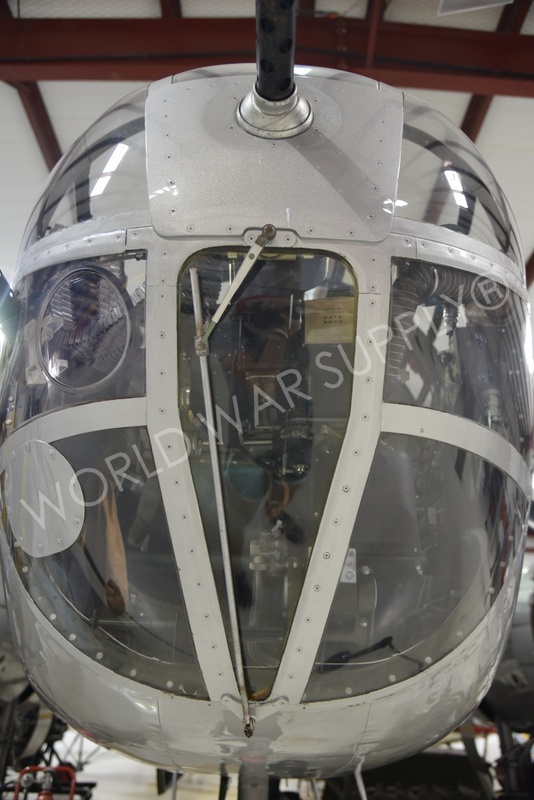 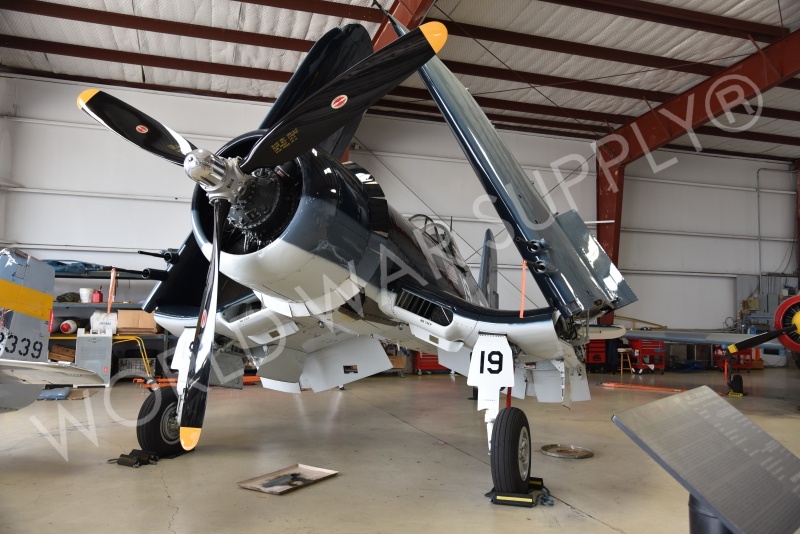 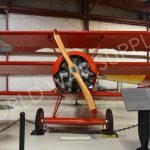 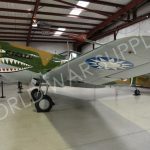 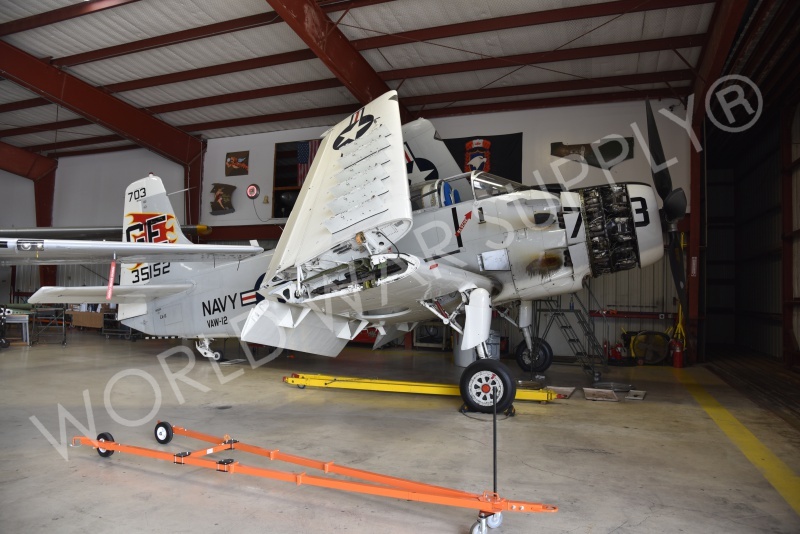 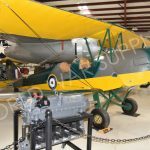 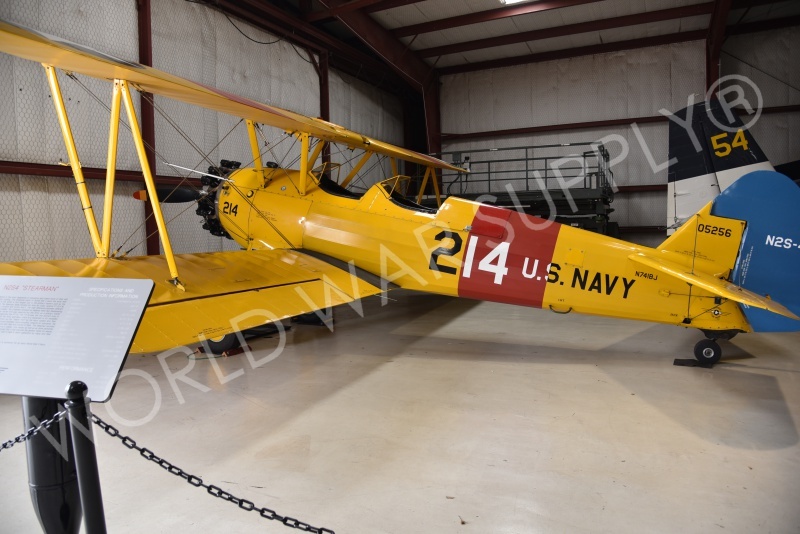 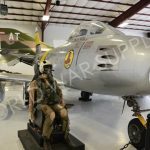 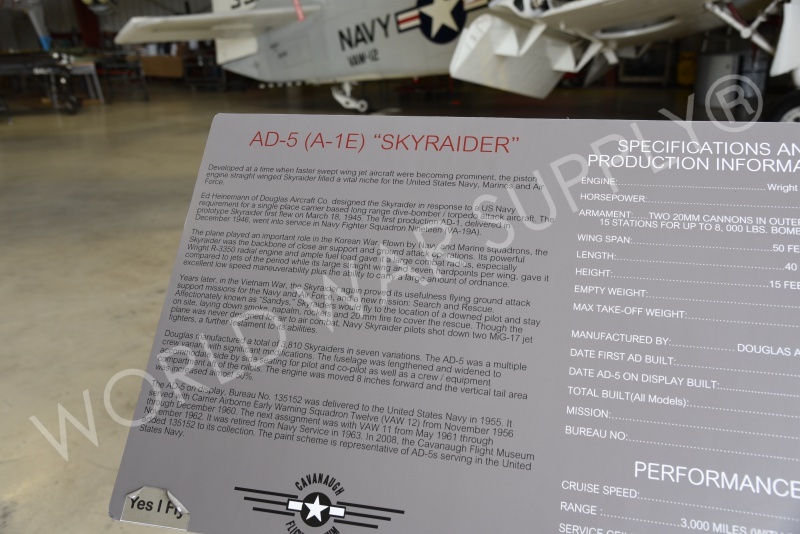 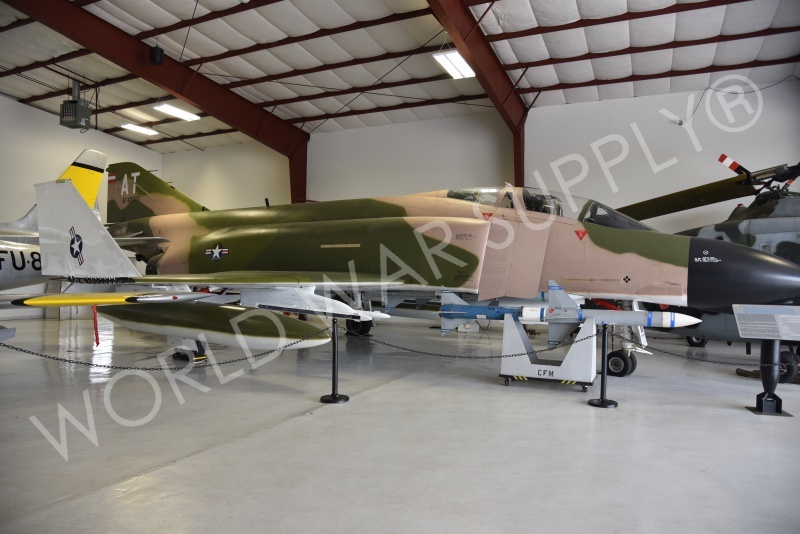 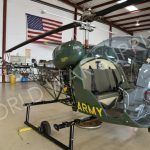 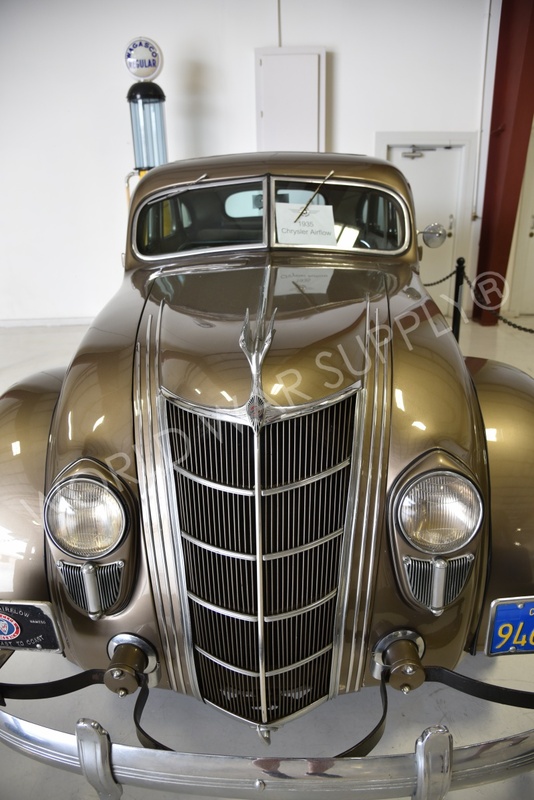 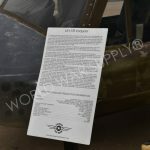 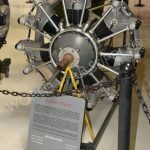 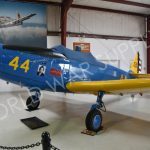 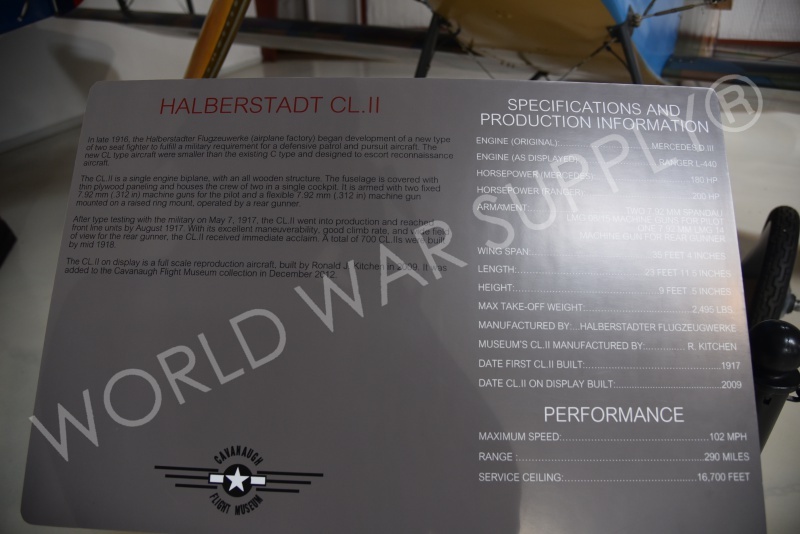 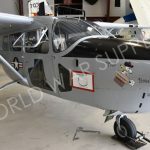 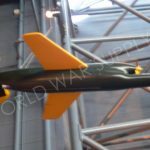 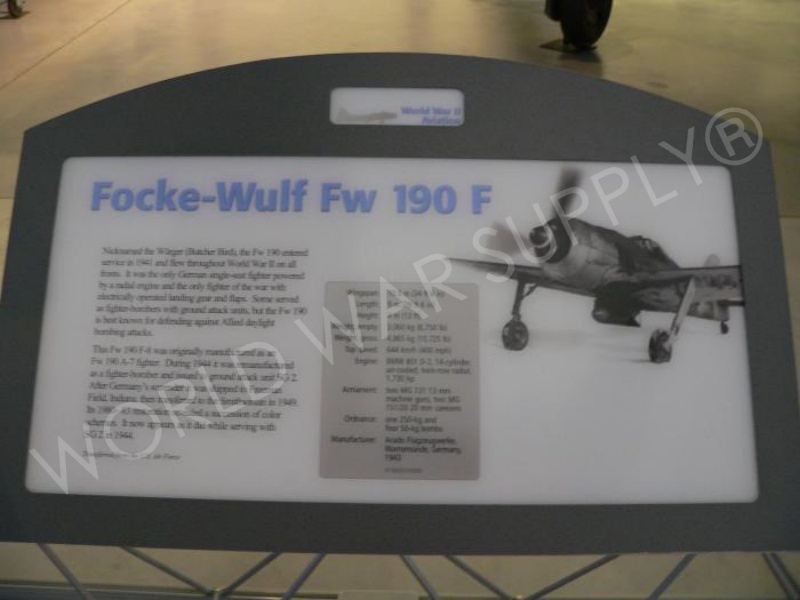 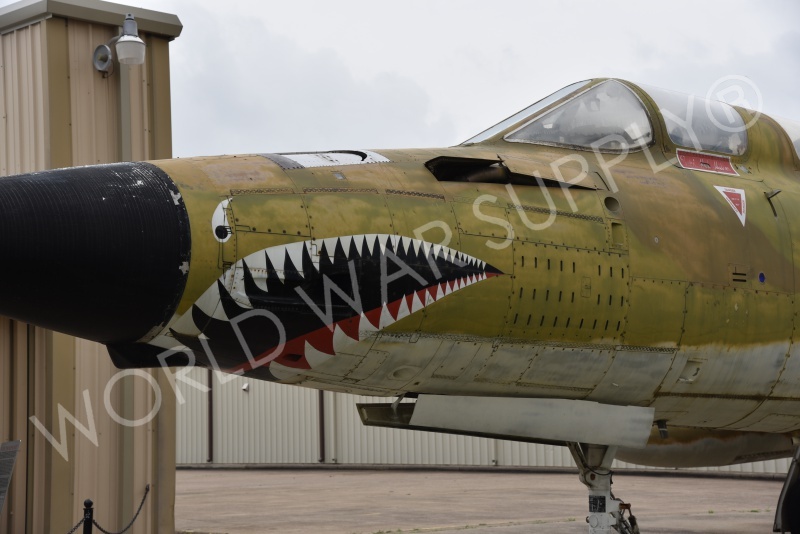 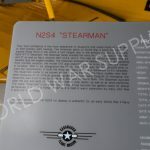 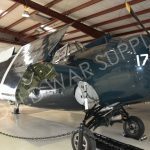 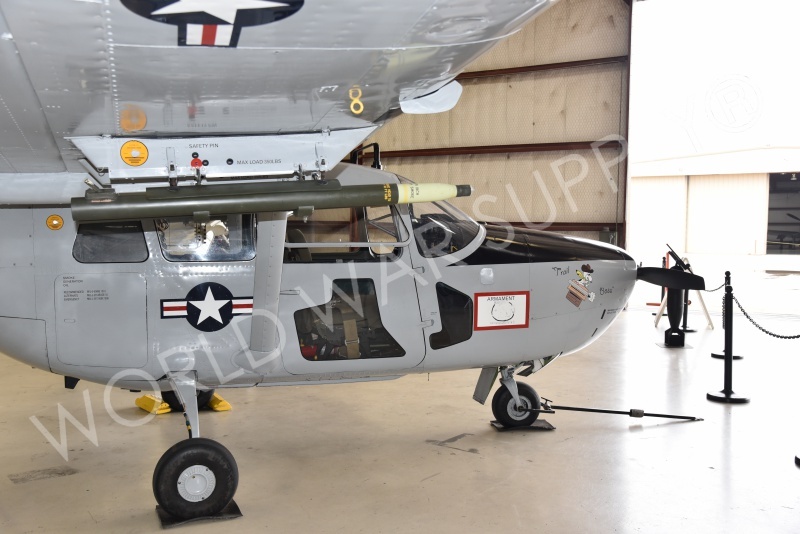 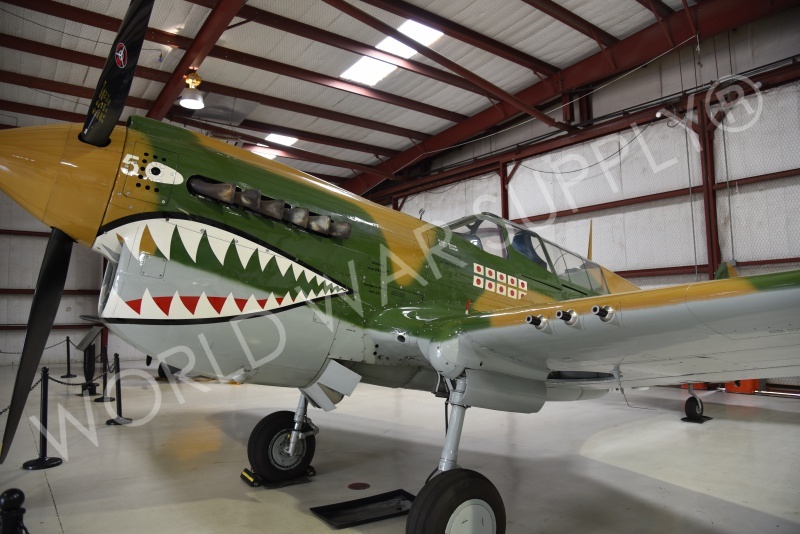 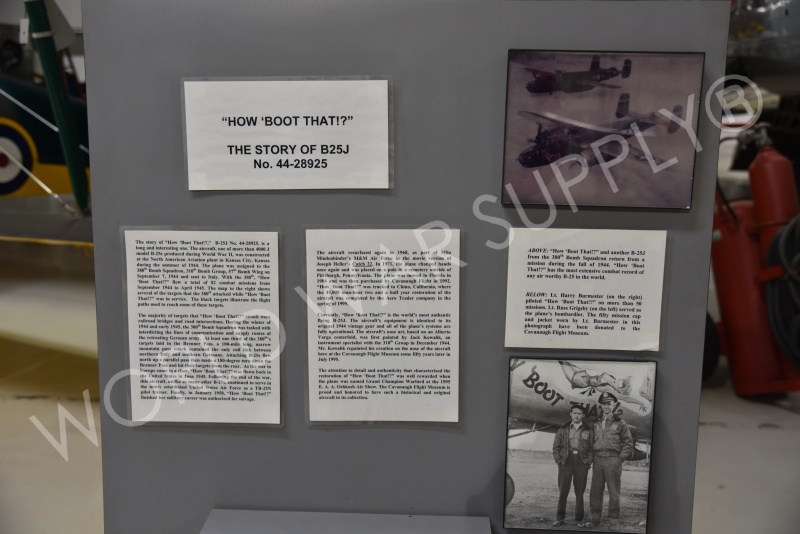 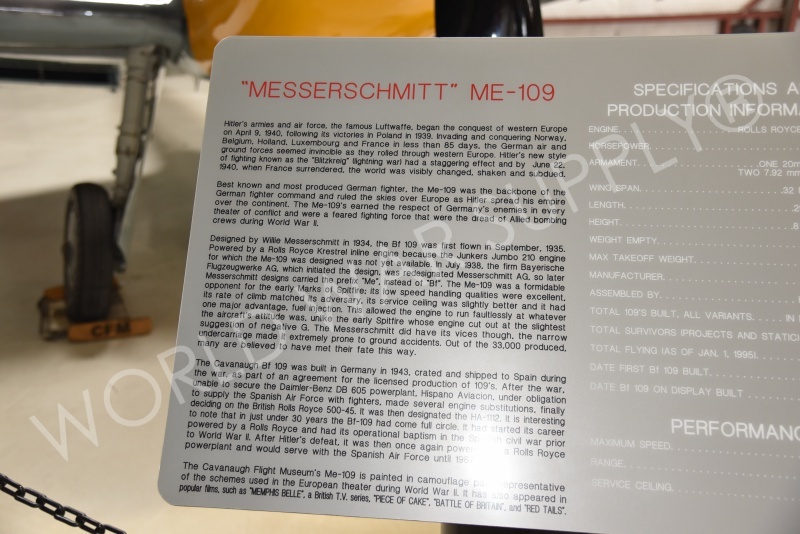 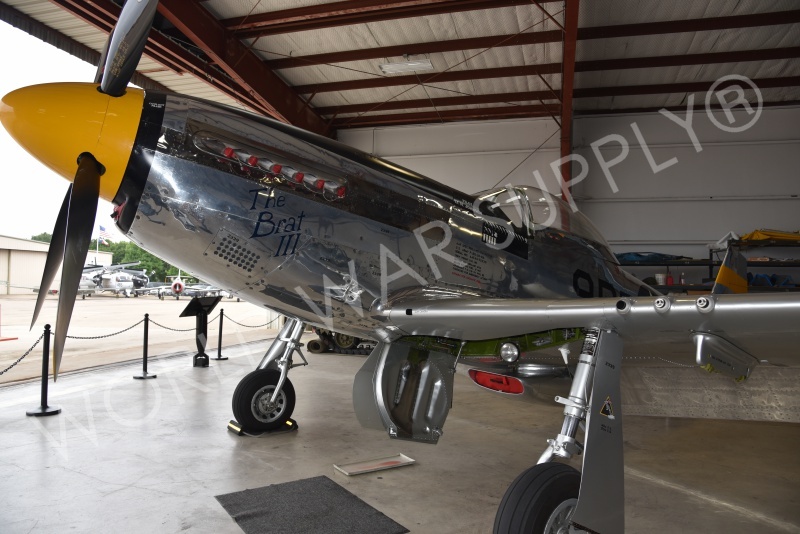 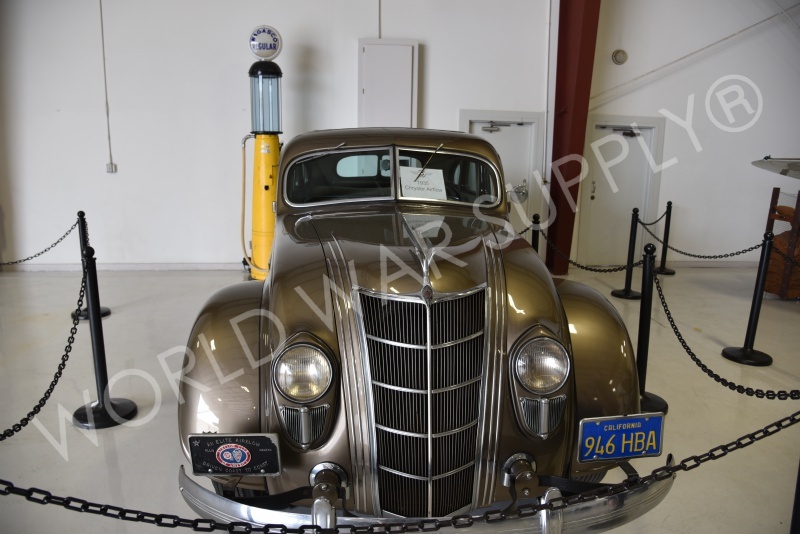 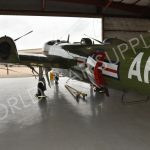 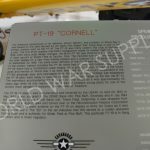 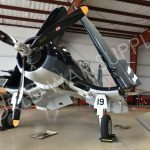 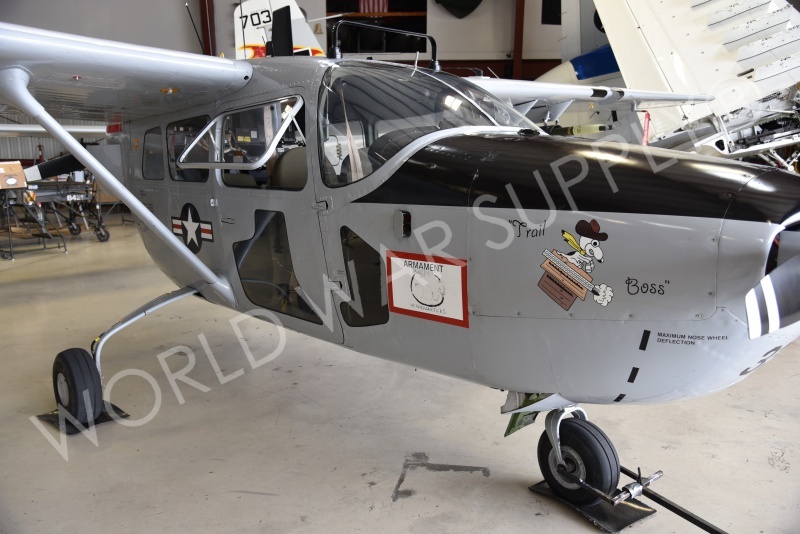 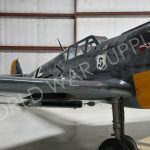 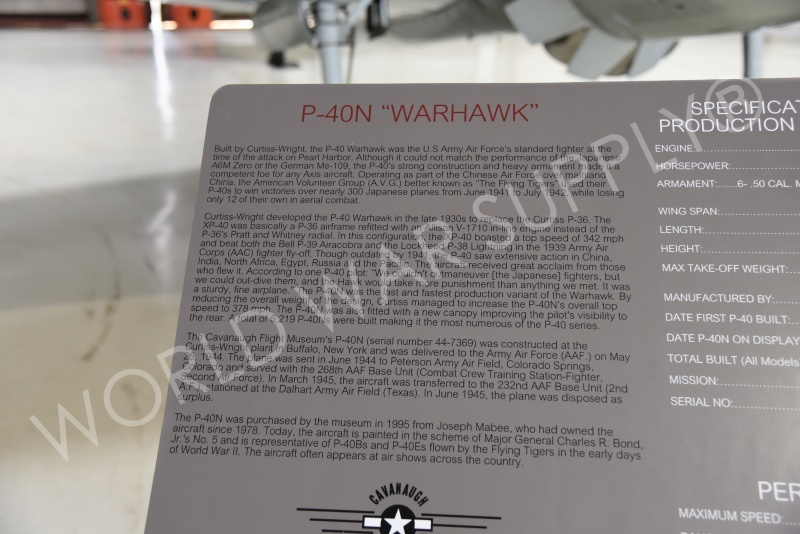 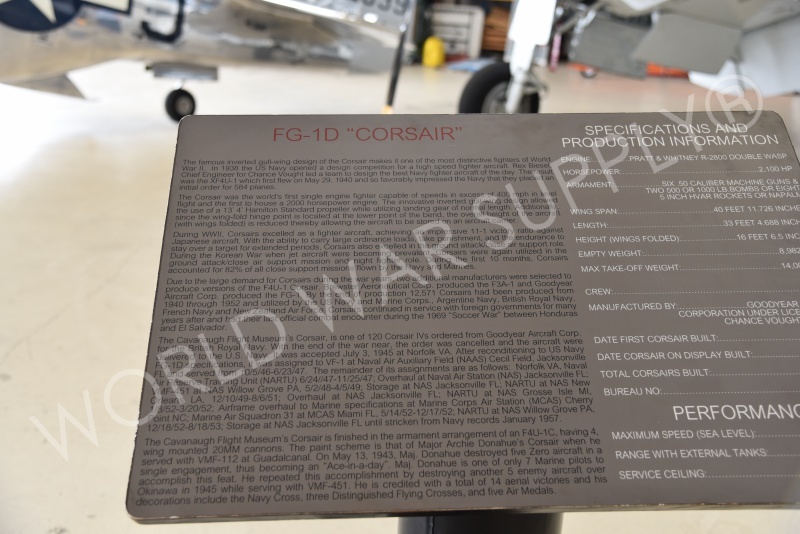 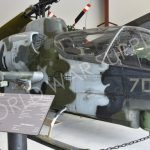 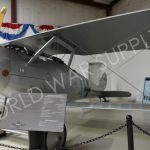 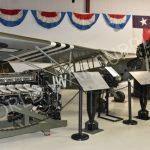 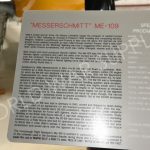 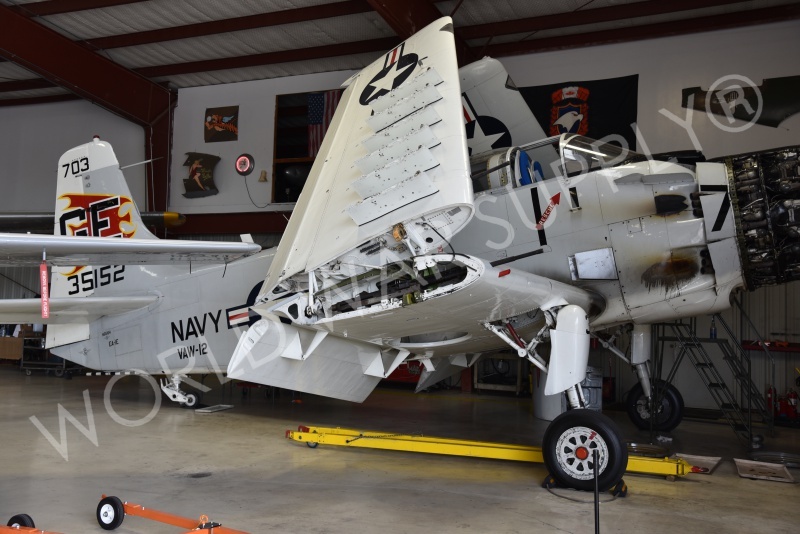 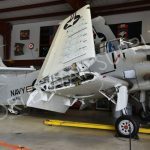 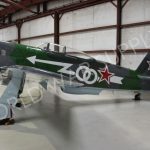 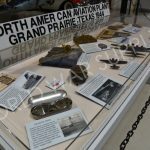 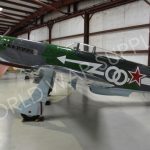 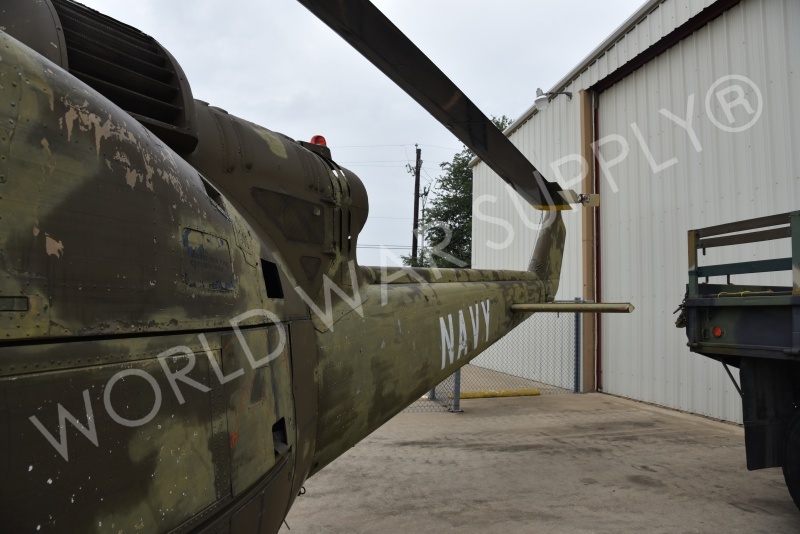 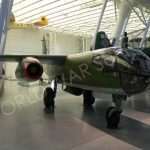 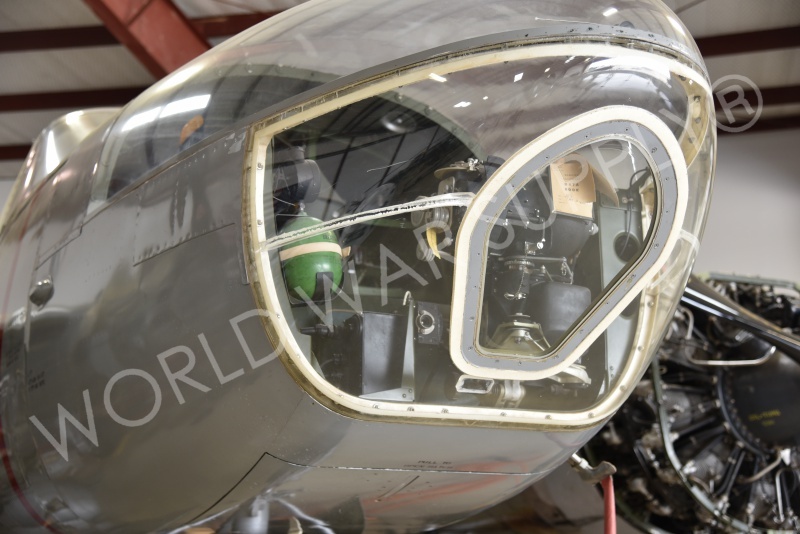 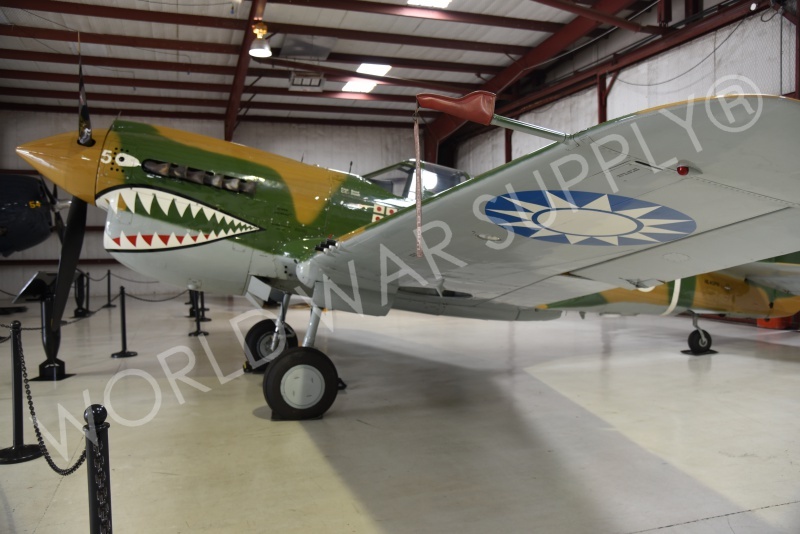 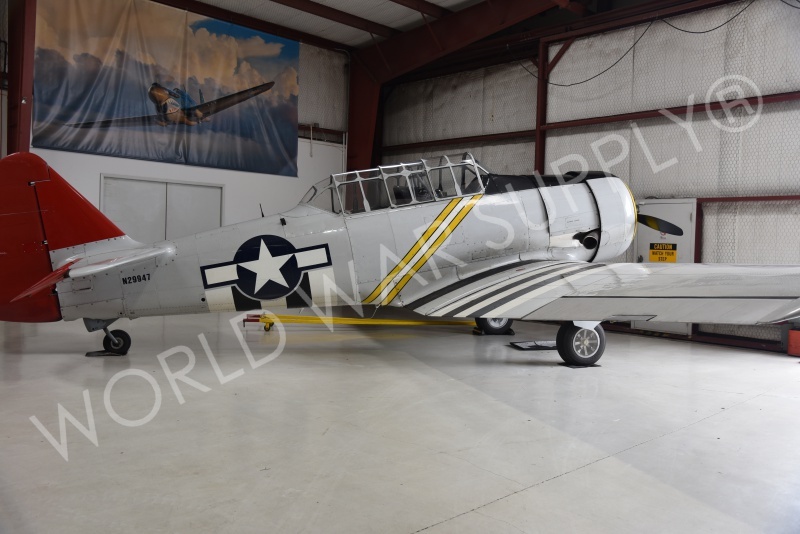 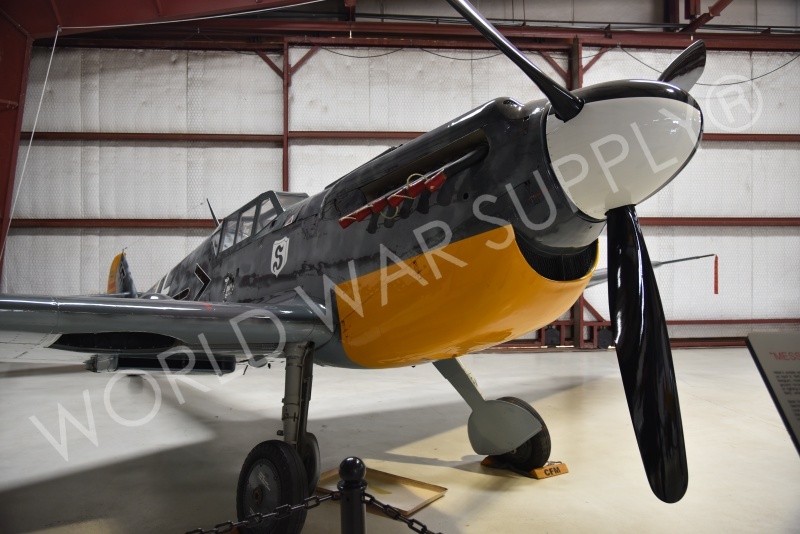 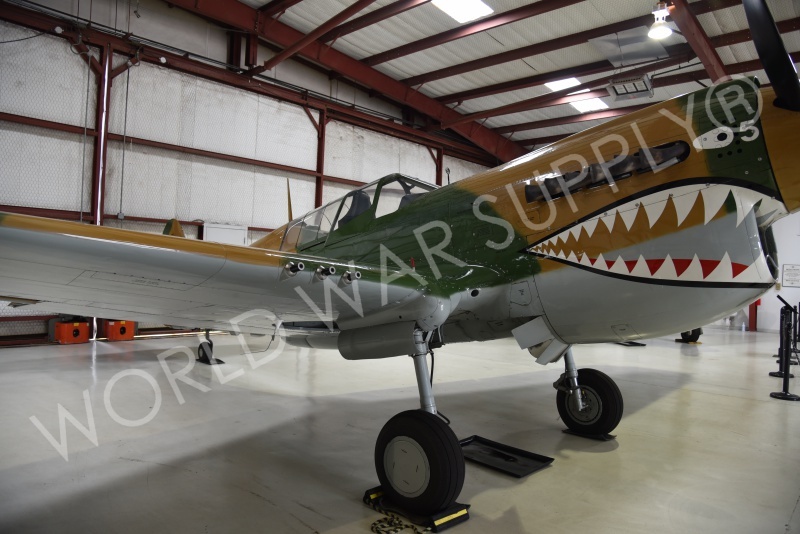 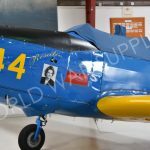 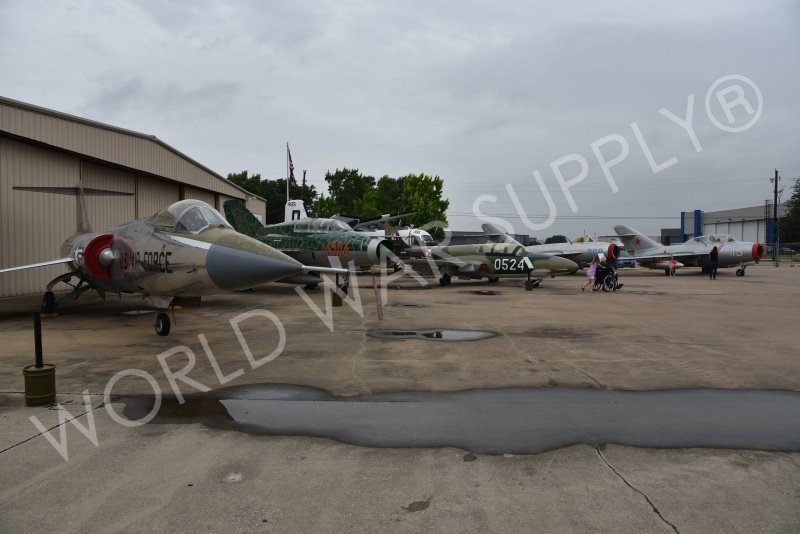 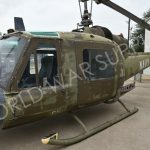 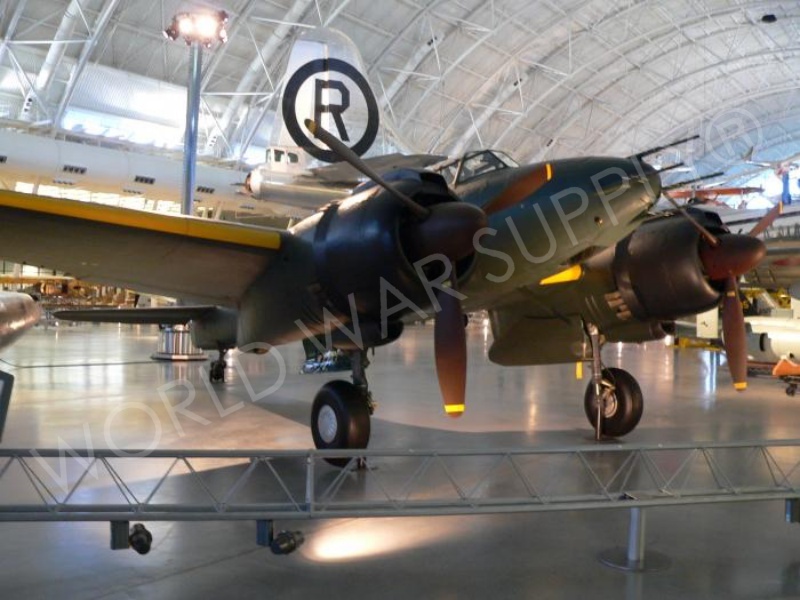 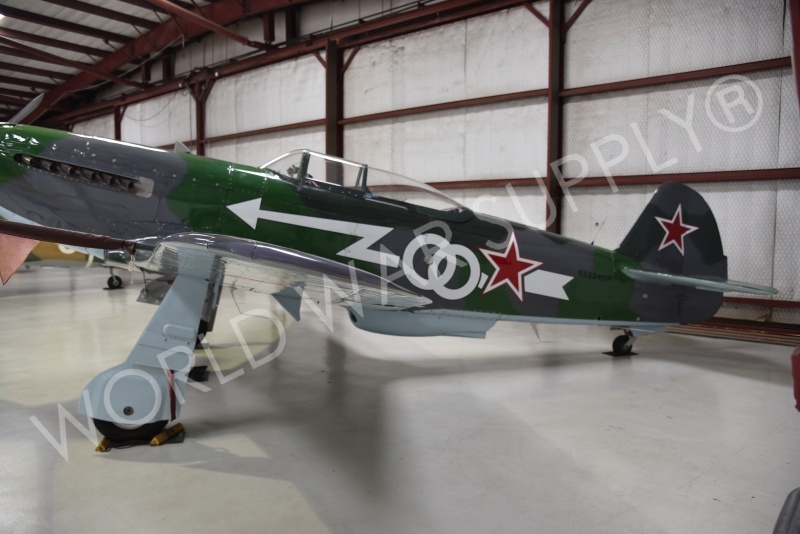 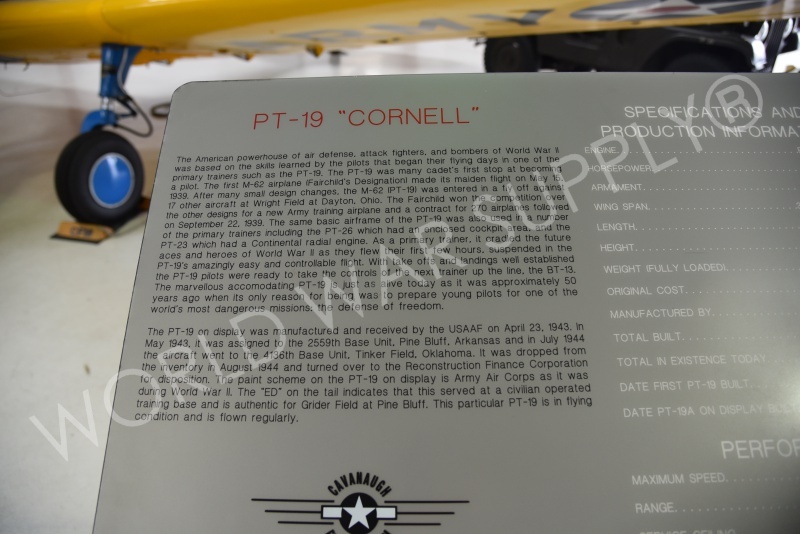 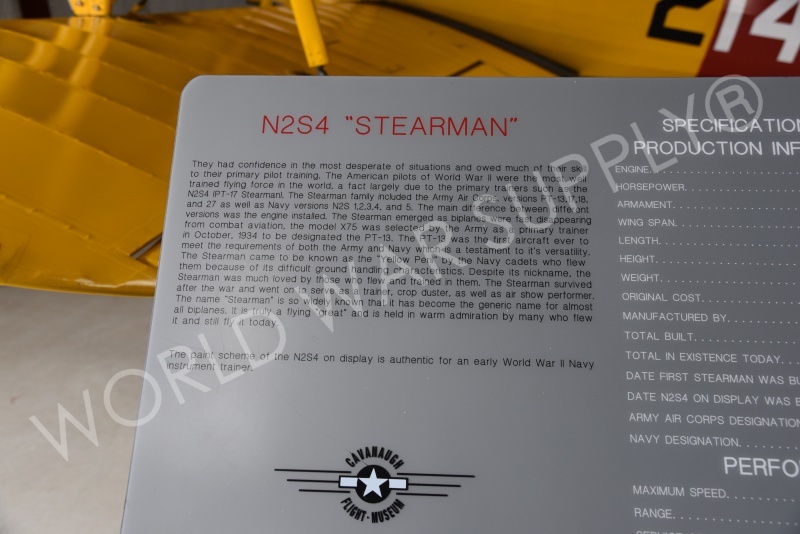 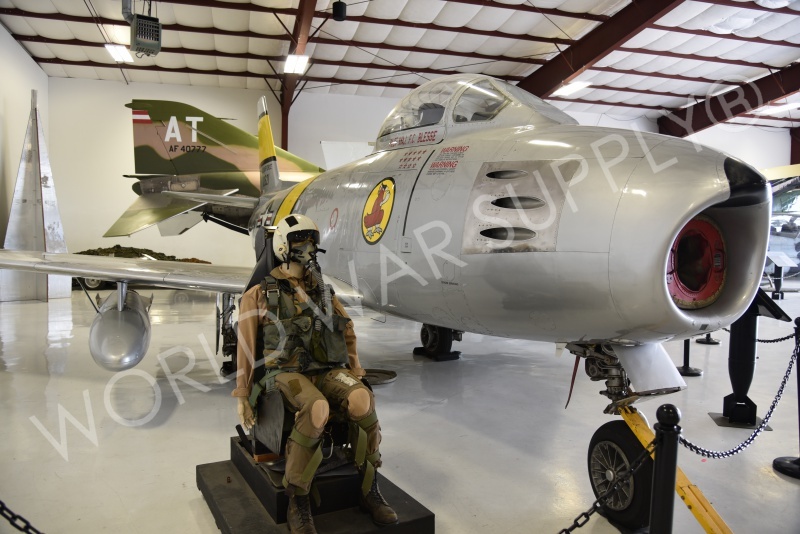 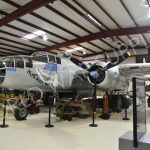 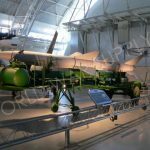 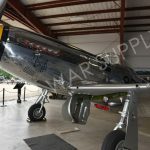 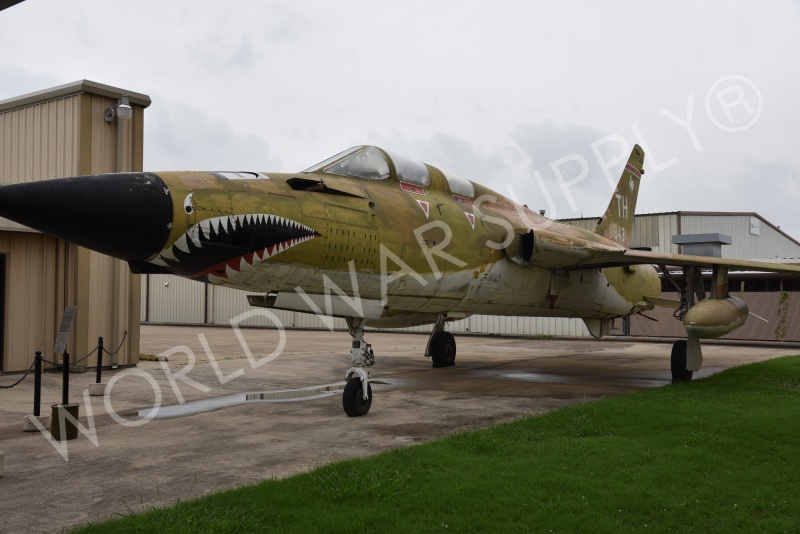 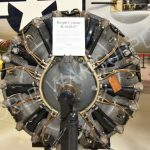 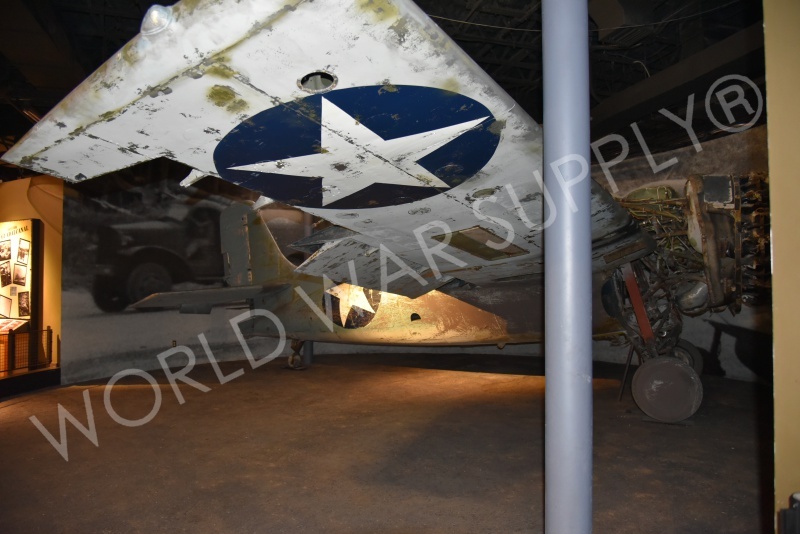 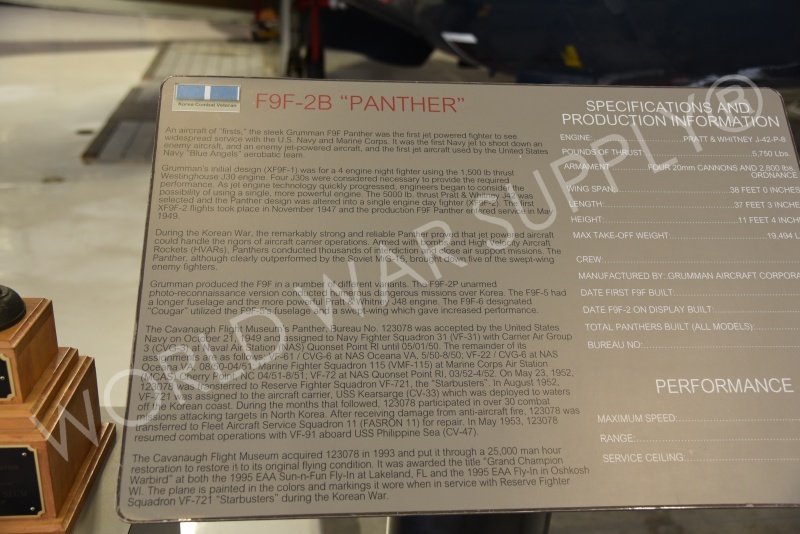 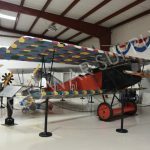 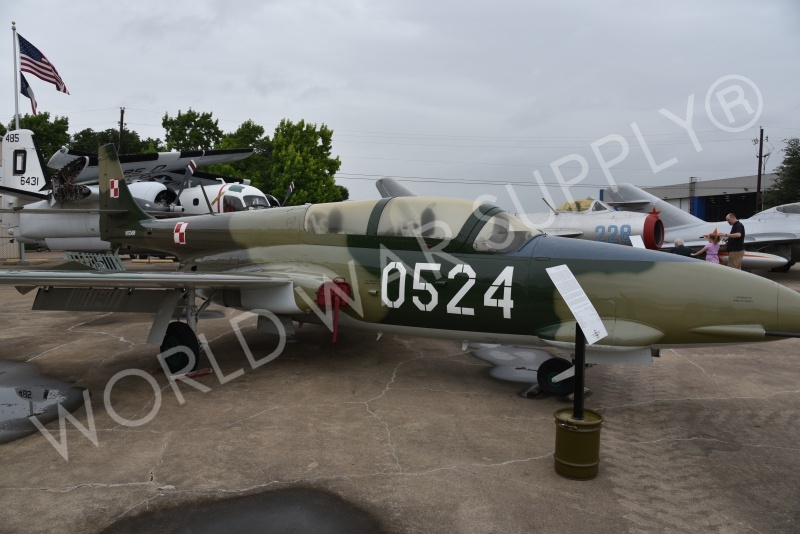 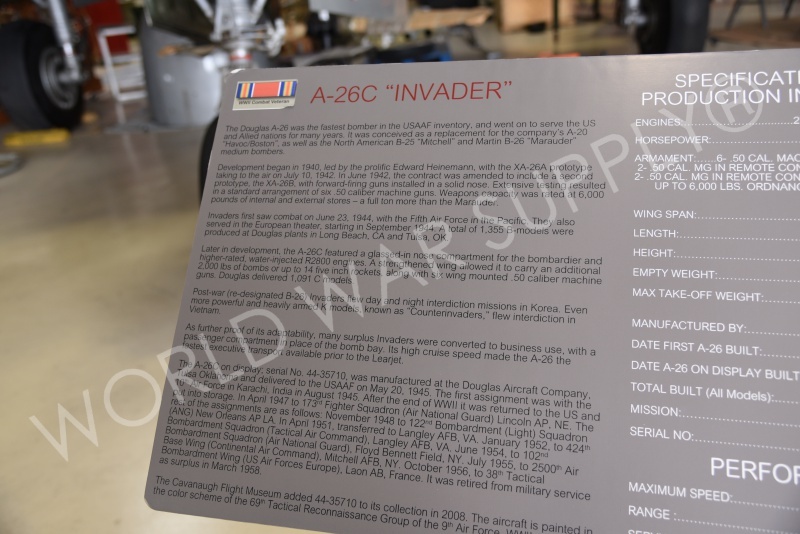 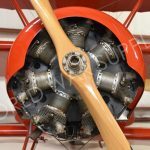 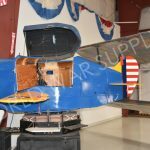 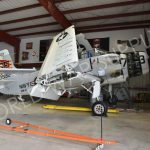 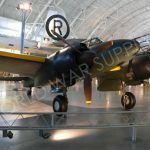 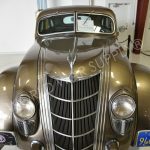 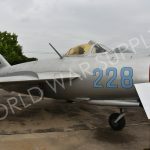 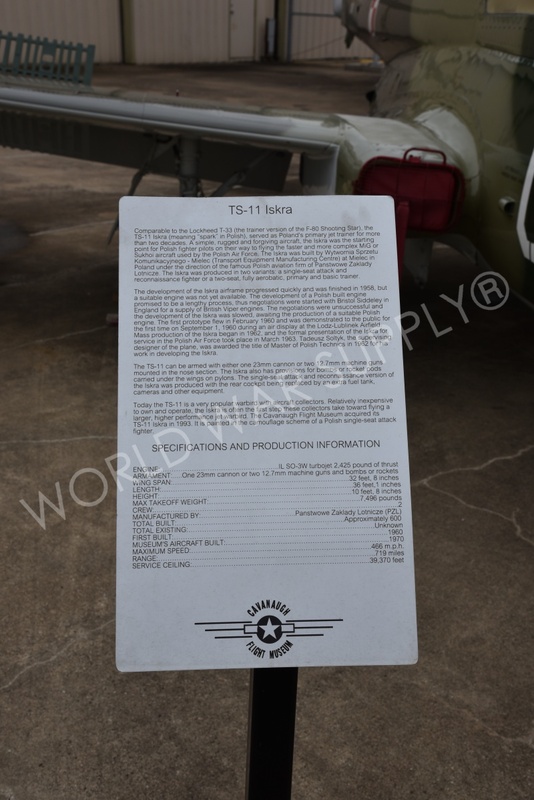 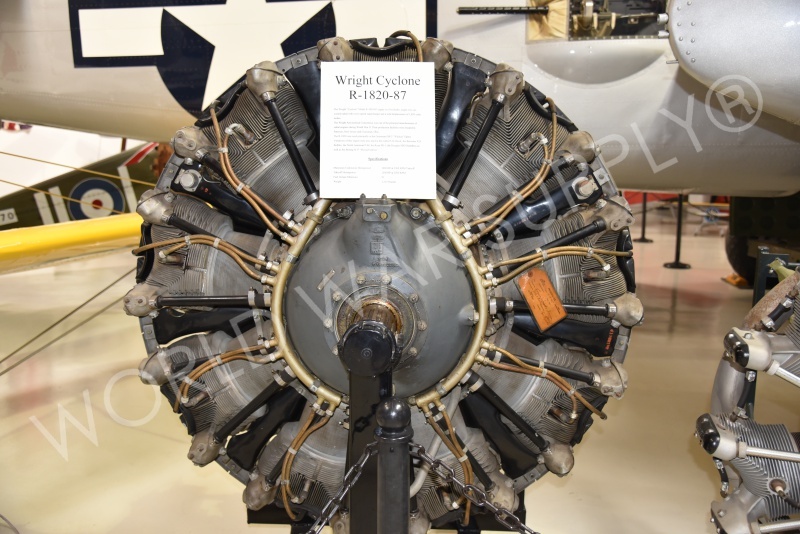 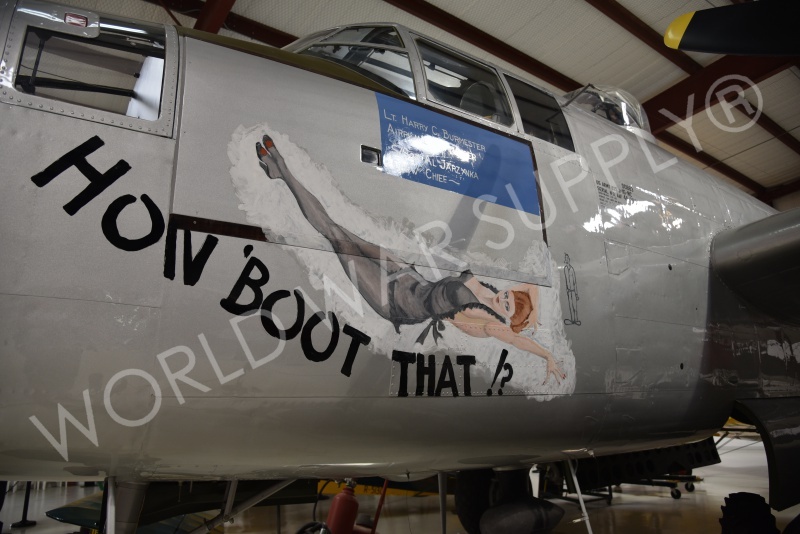 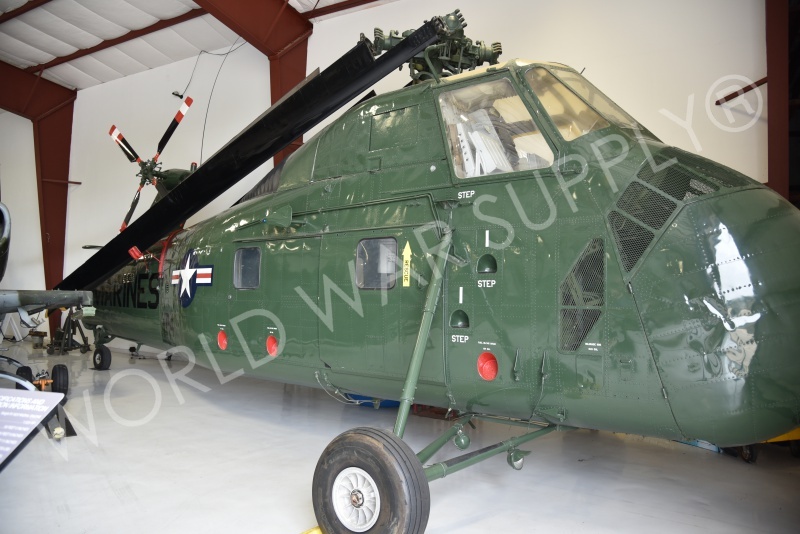 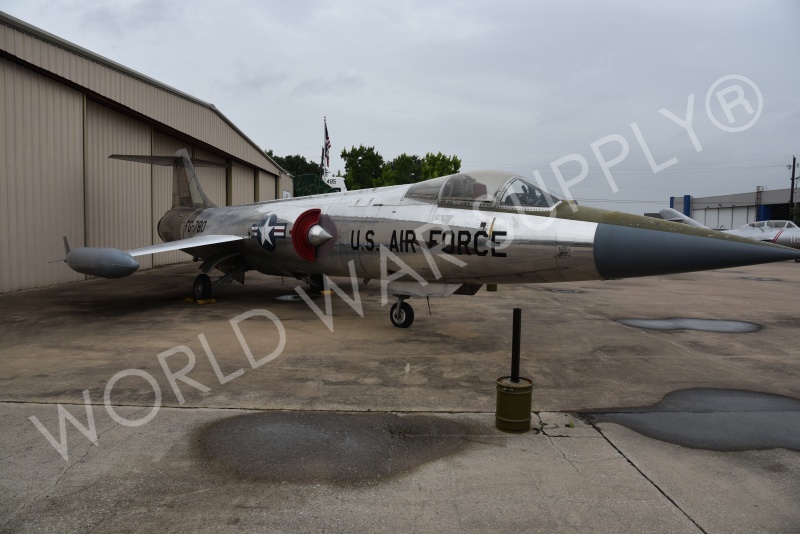 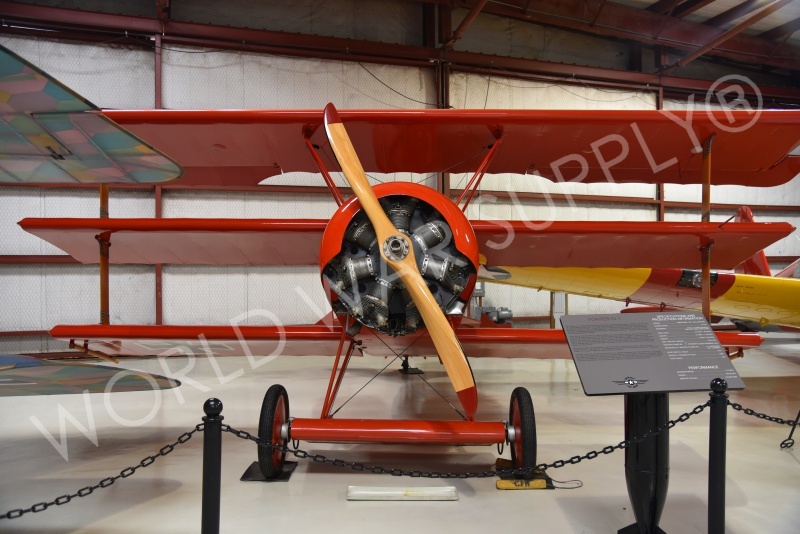 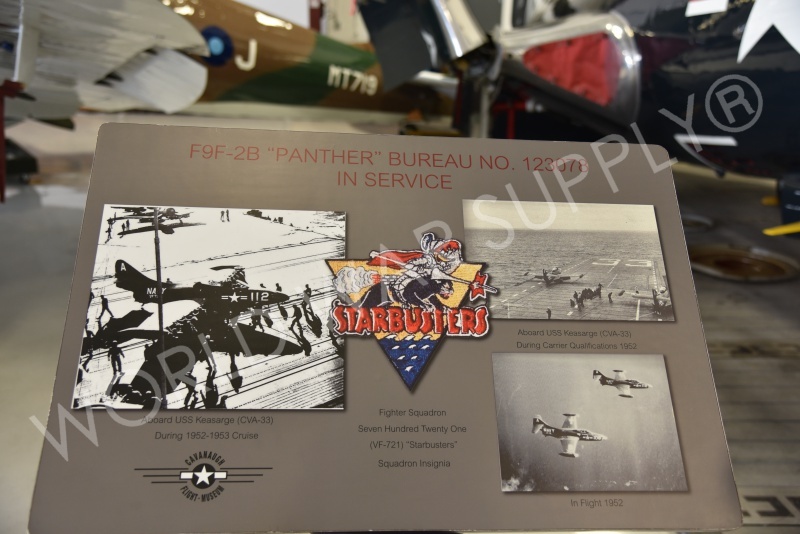 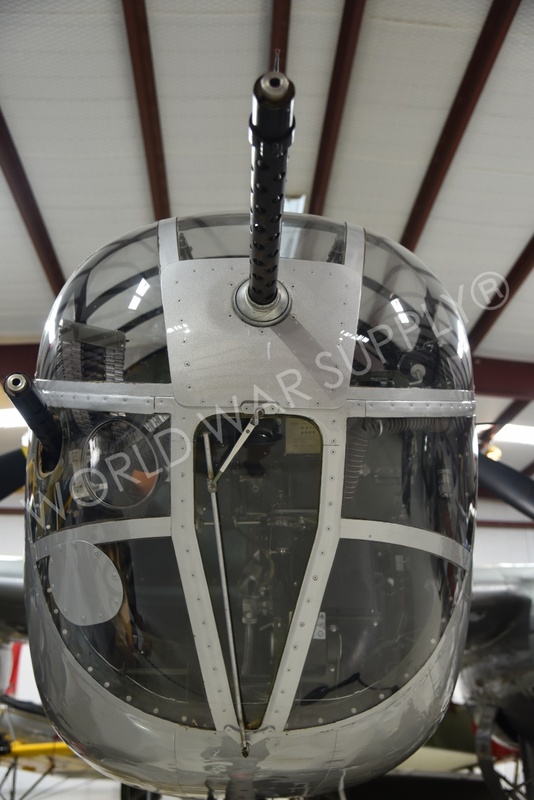 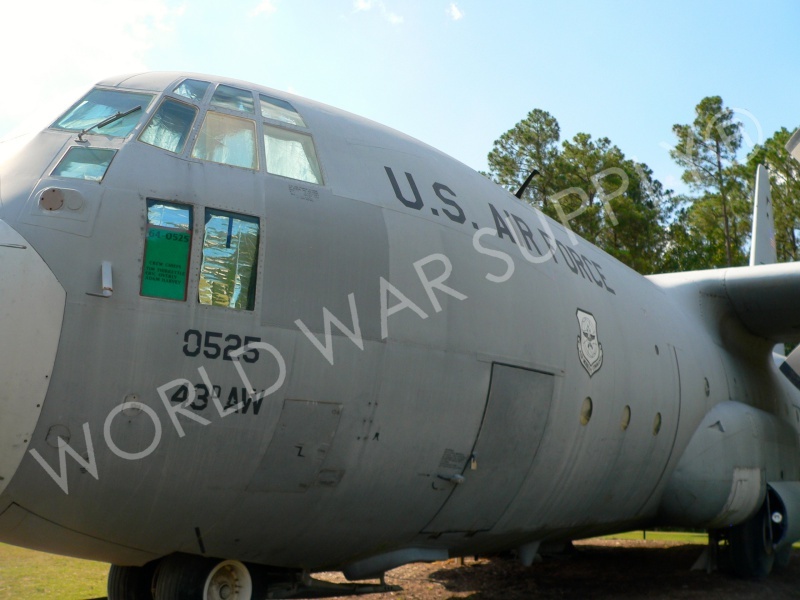 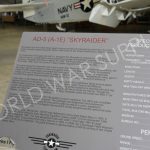 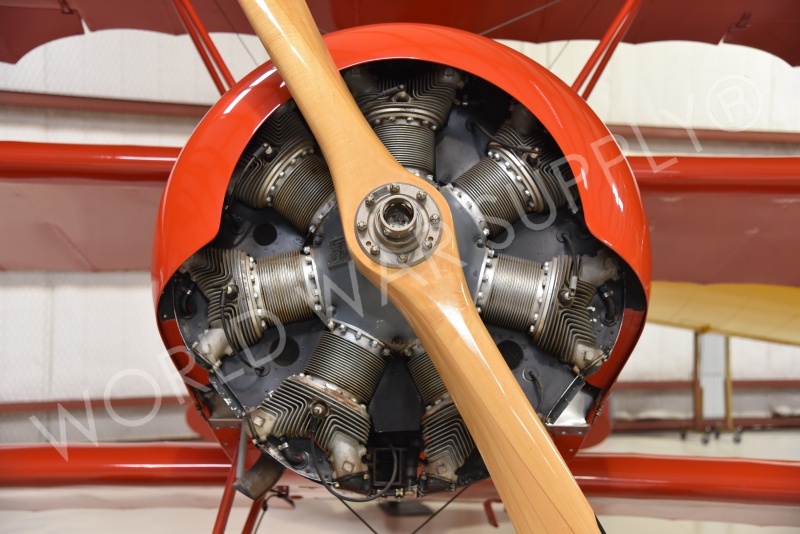 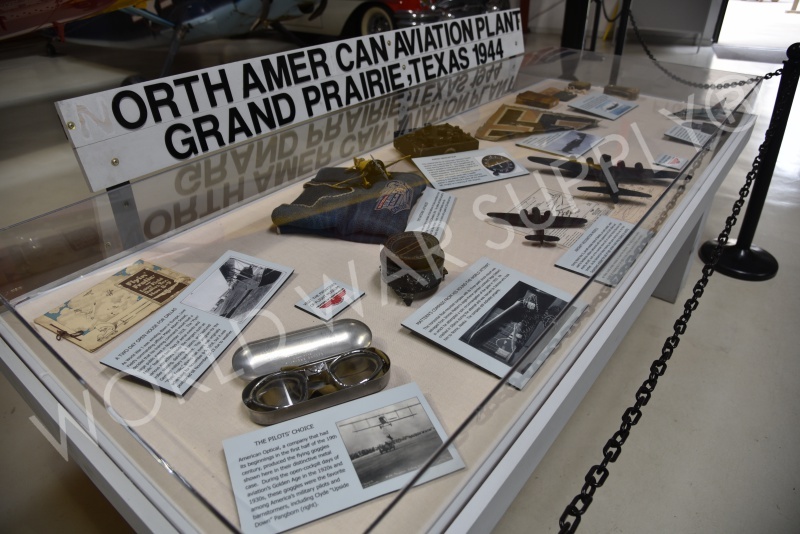 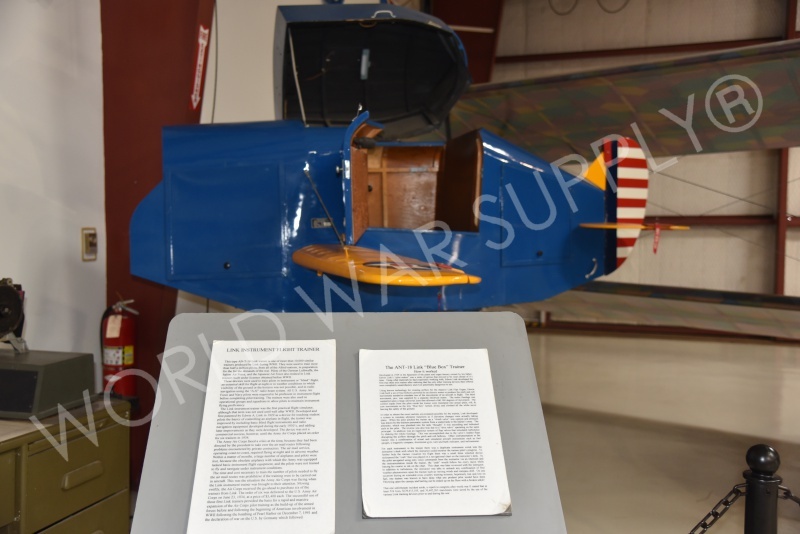 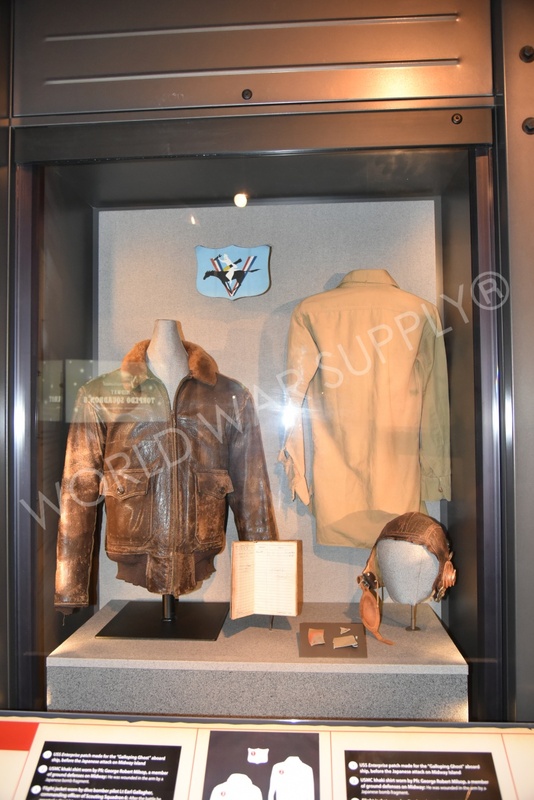 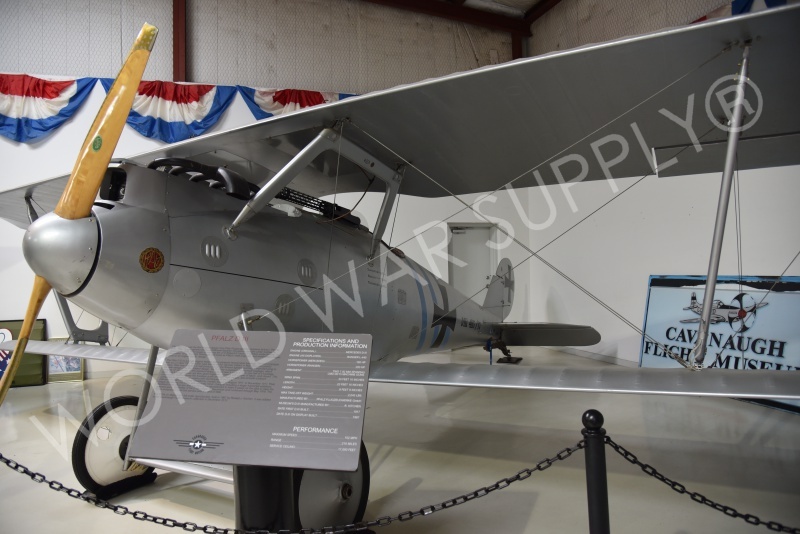 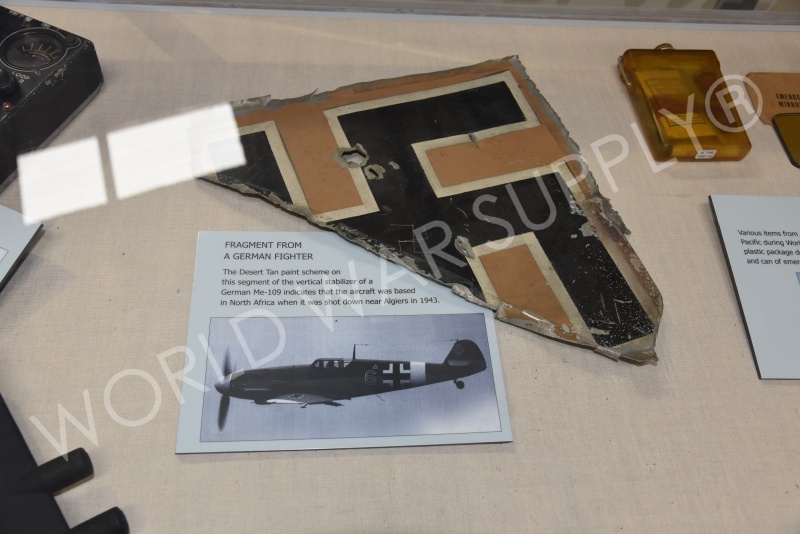 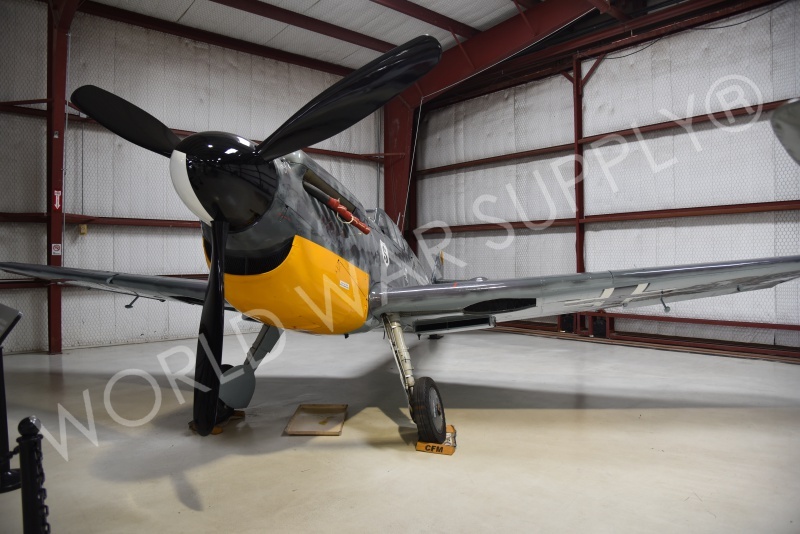 A Texas-based museum which restores, operates, maintains, and displays aircrafts which are historically significant or vintage. 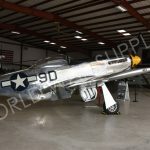 They house a large collection of WW2 related aircraft as well as large collections on the Korean War and the Vietnam War. 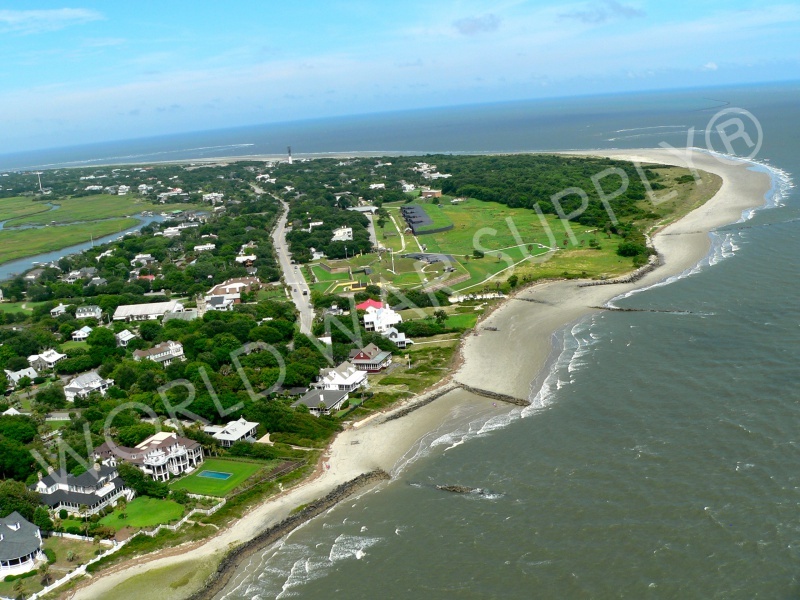 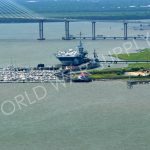 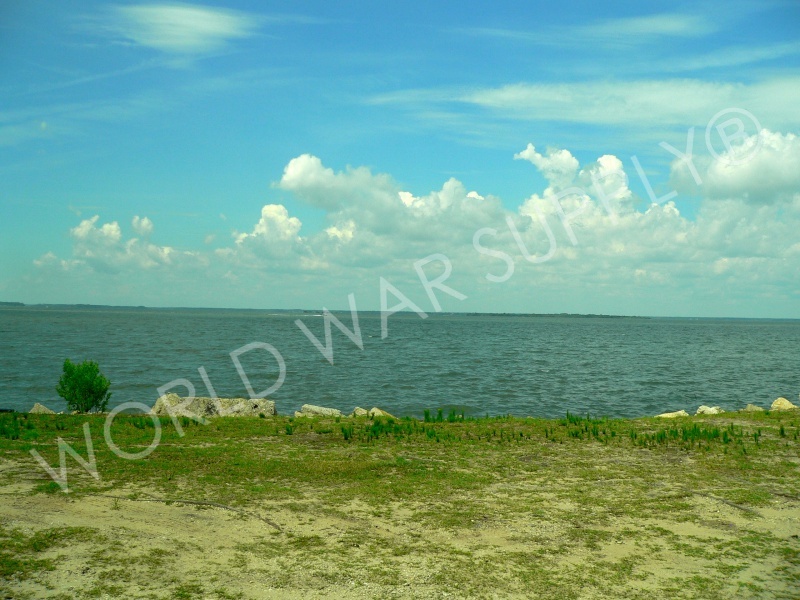 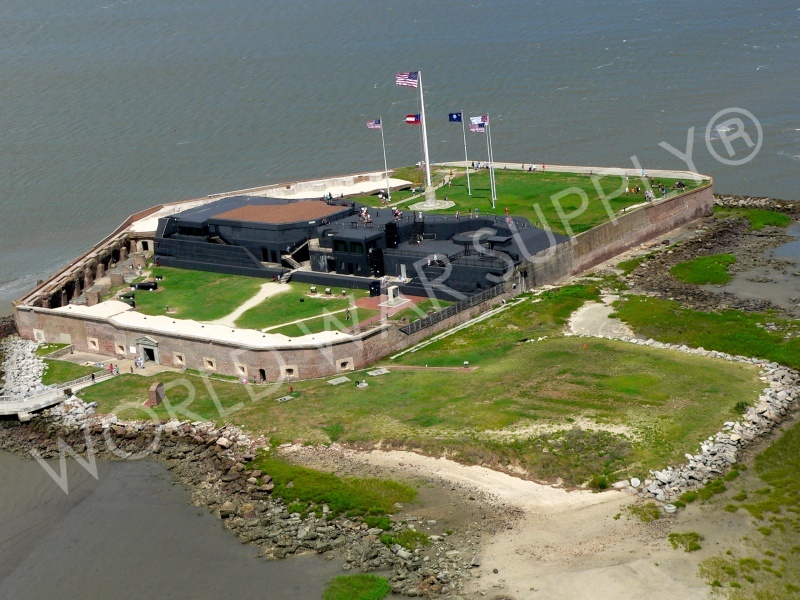 Fort Sumter is a Third System masonry sea fort in Charleston Harbor, South Carolina. 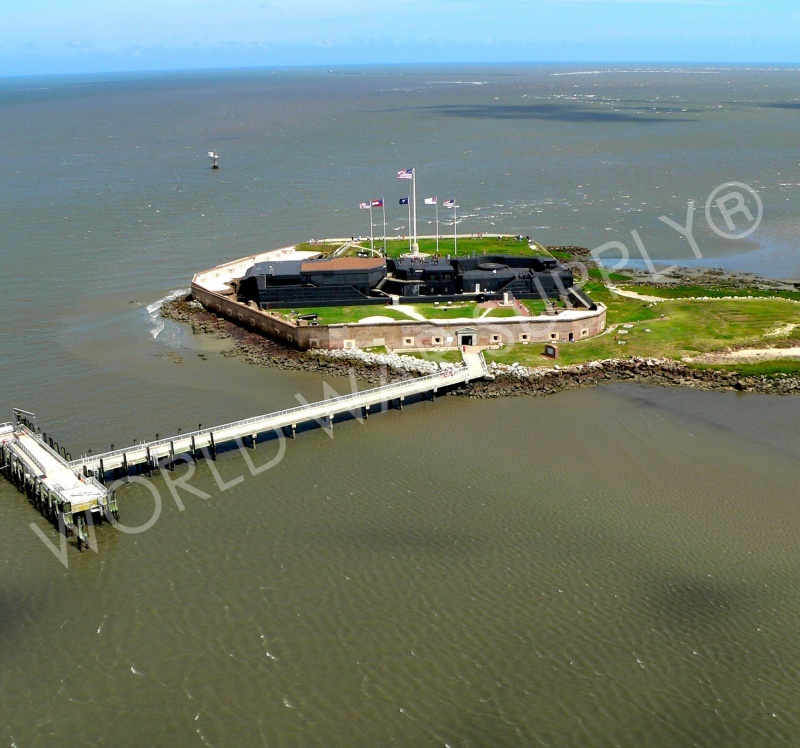 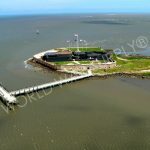 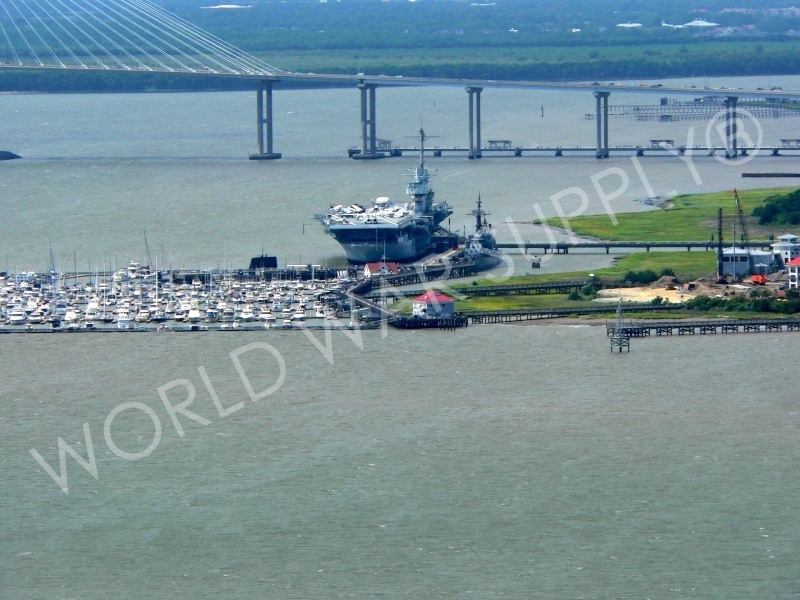 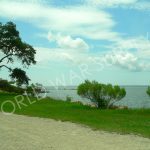 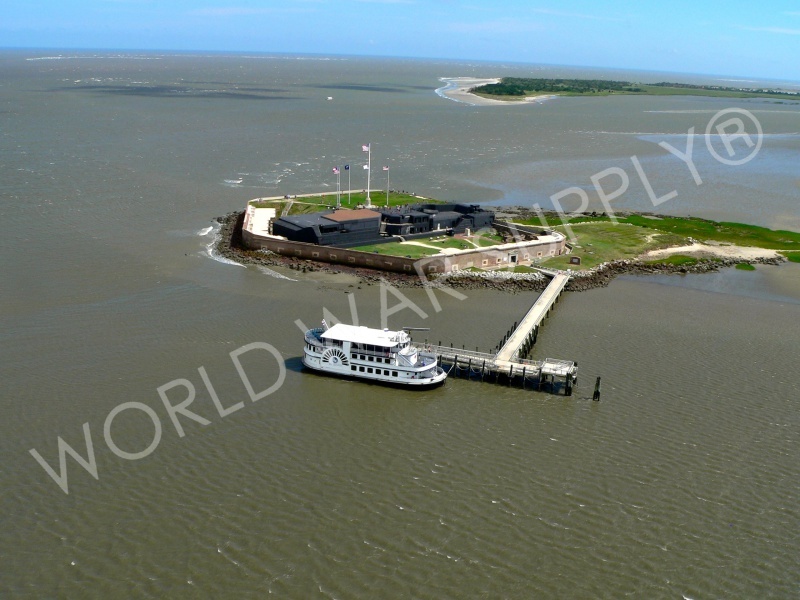 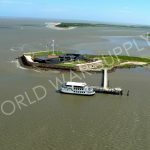 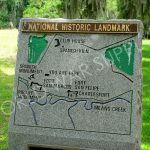 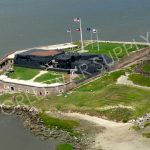 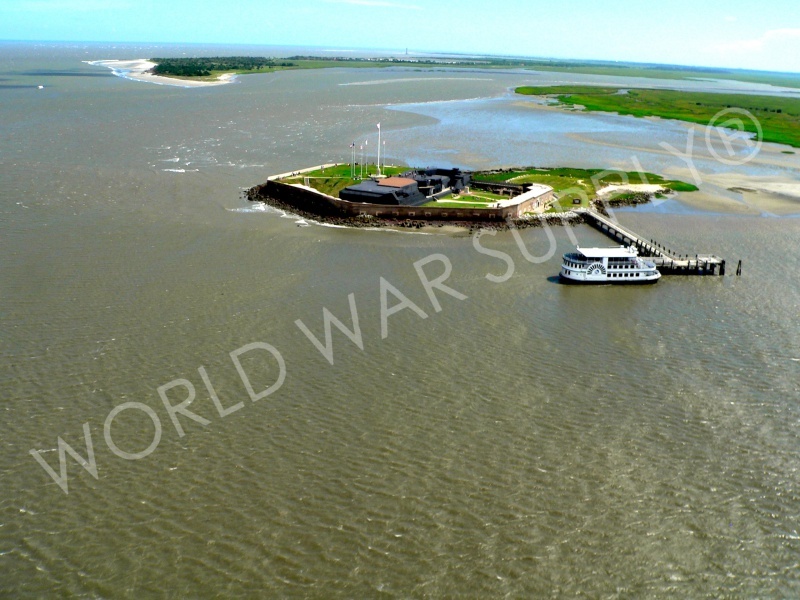 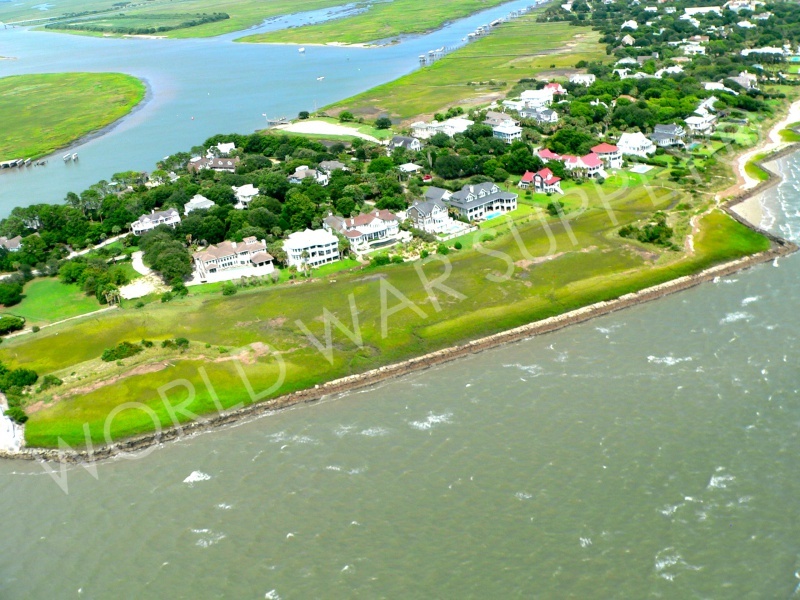 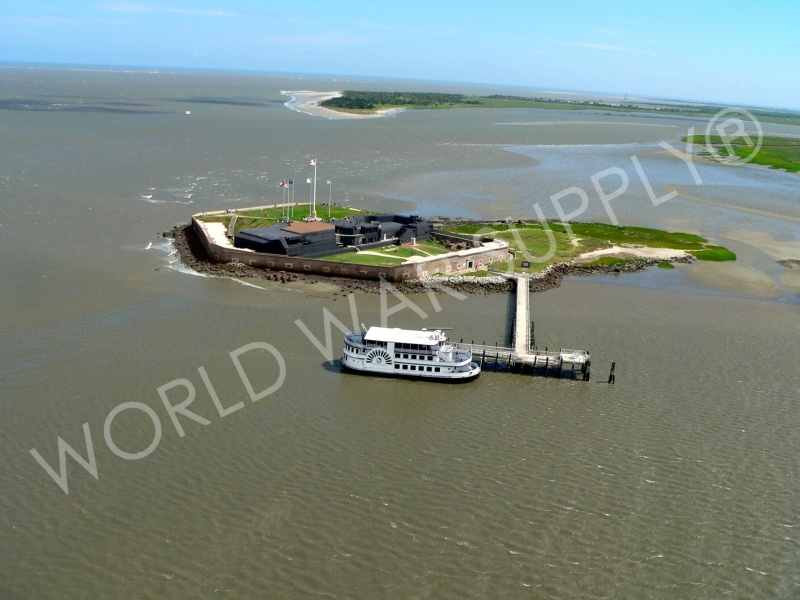 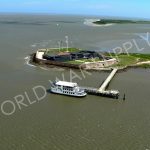 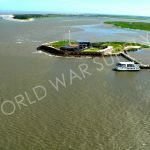 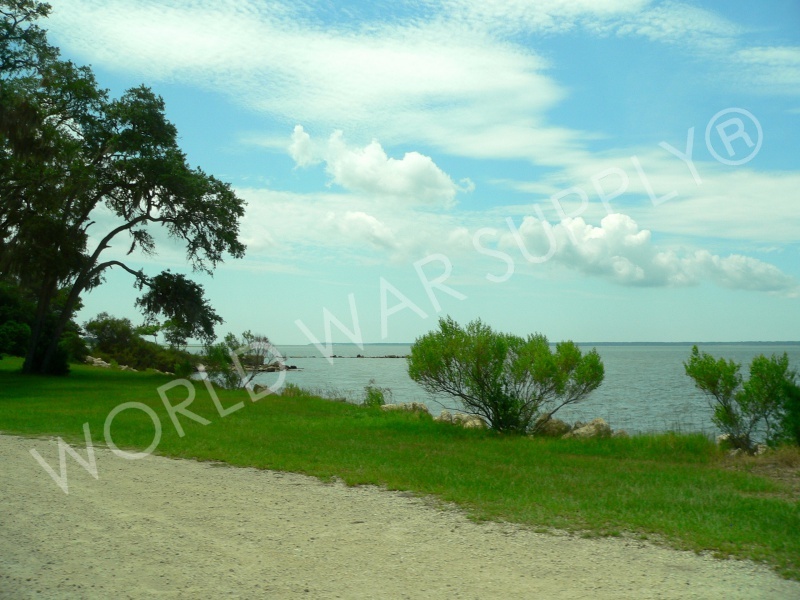 This fort is best known for firing the first shots of the Civil War on April 12th, 1864 in the Battle of Fort Sumter. 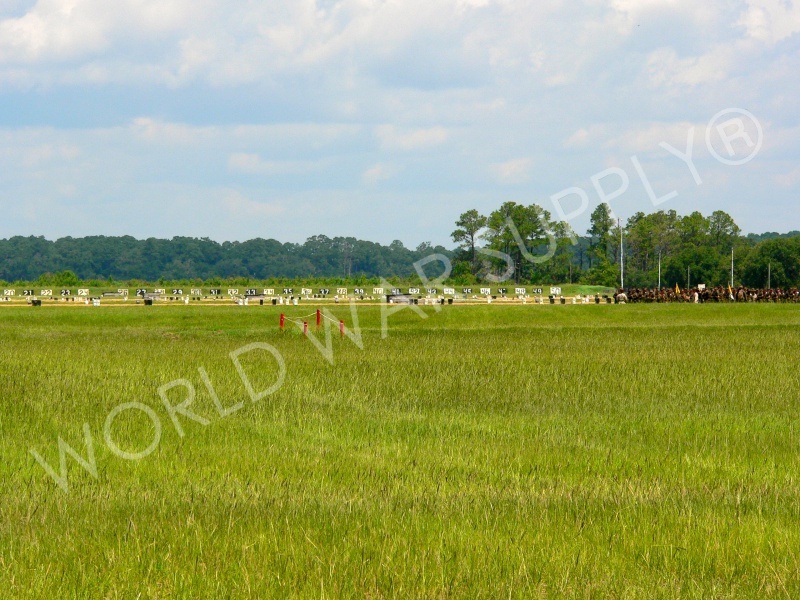 It is still one of the most famous battles of the Civil War. 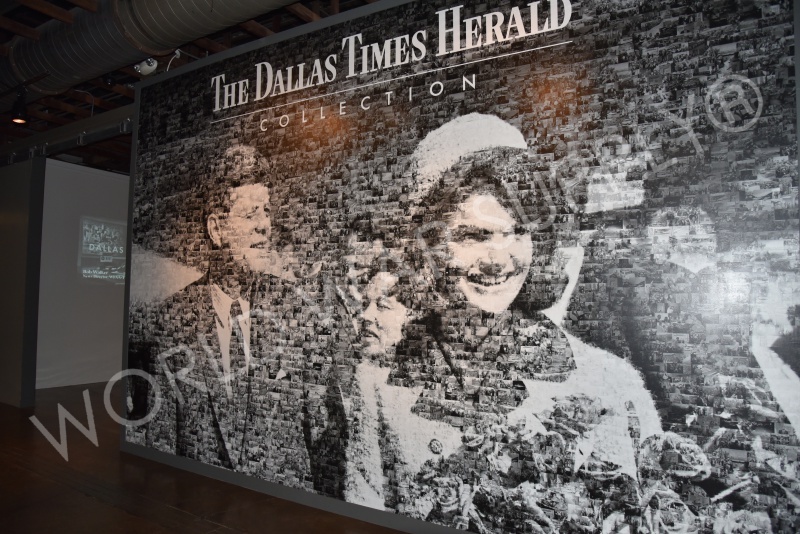 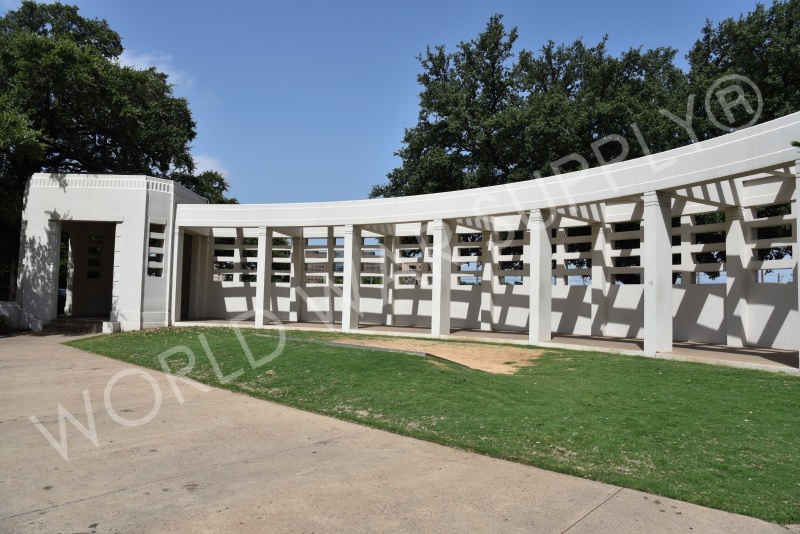 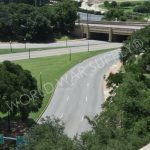 This location is infamously known as the assassination site of President John F. Kennedy on November 22, 1963, in Dallas, TX. 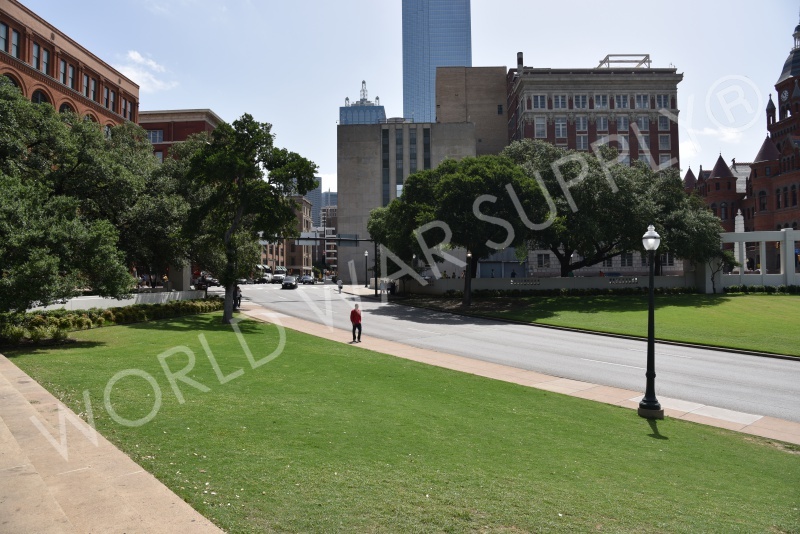 The assassination on Elm Street is now a busy street corner for Dallas residents but is frequently visited by tourist. 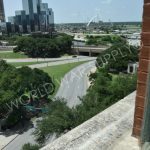 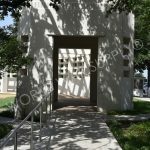 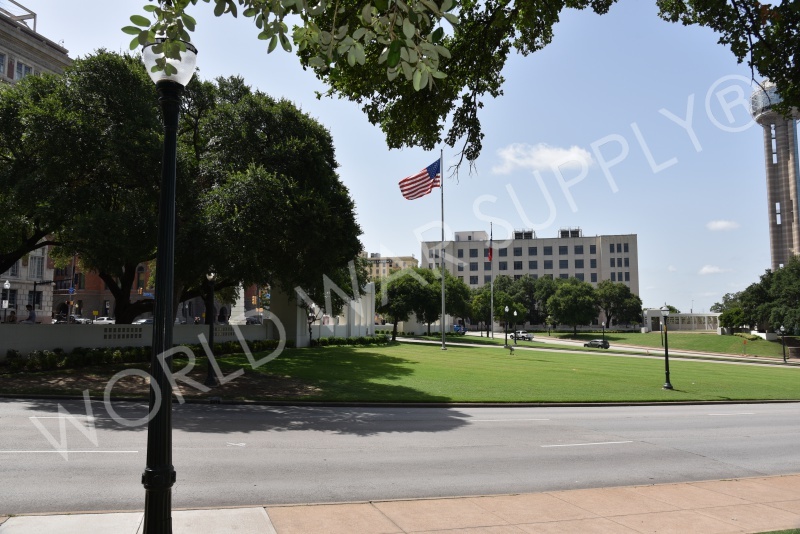 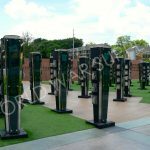 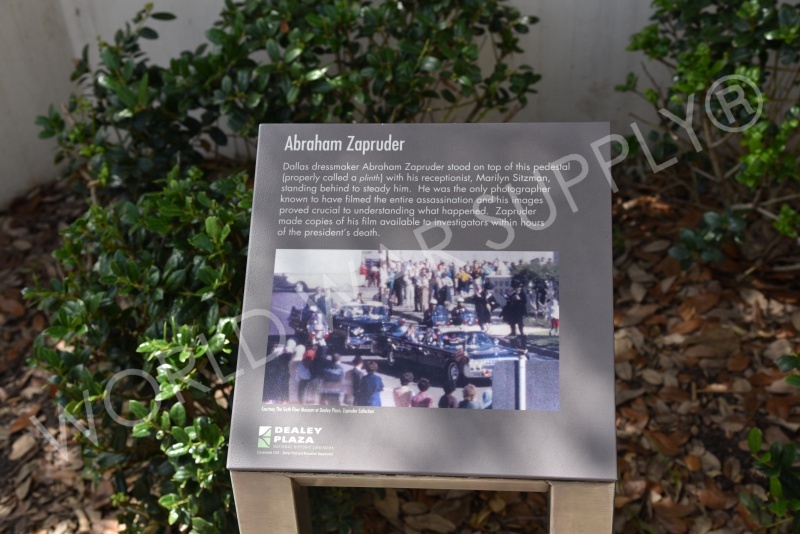 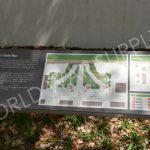 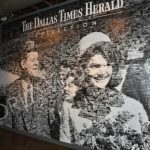 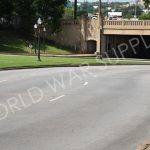 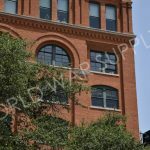 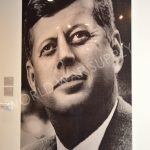 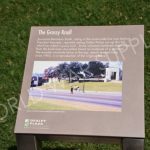 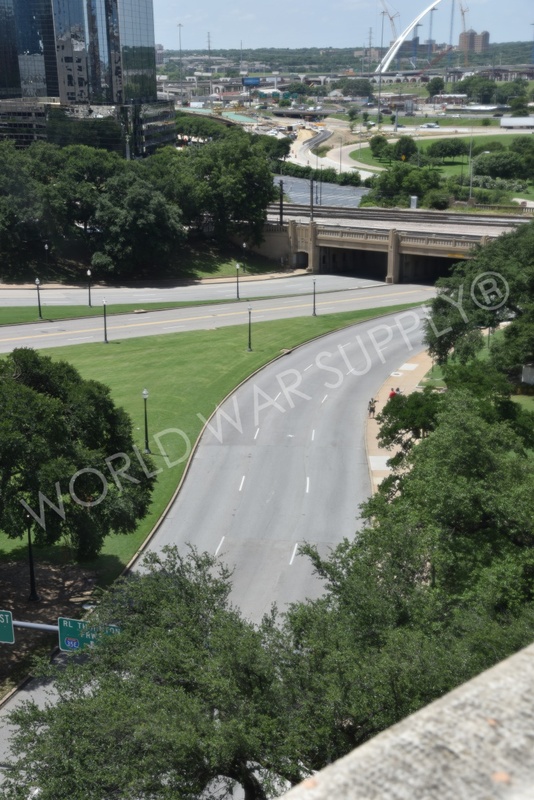 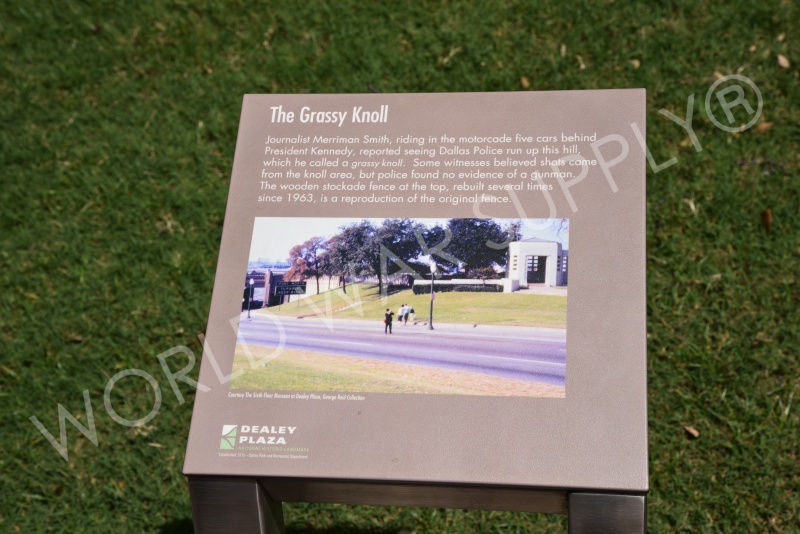 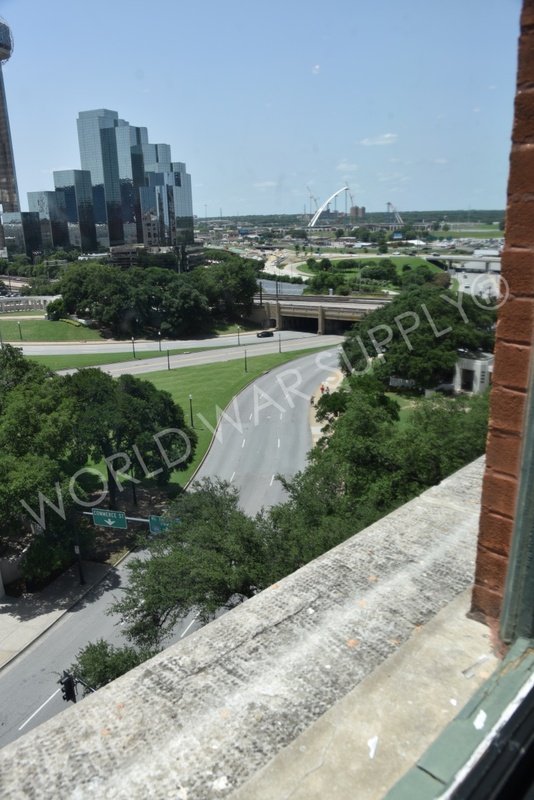 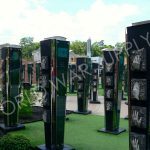 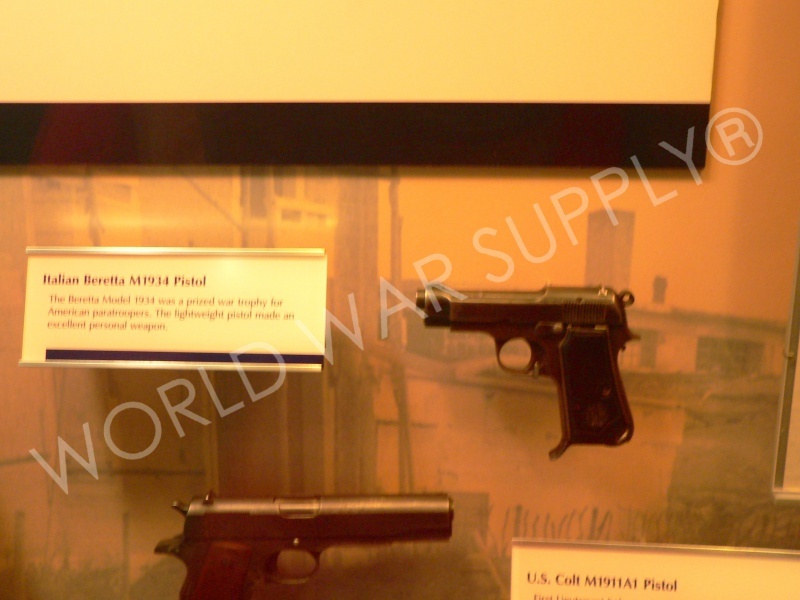 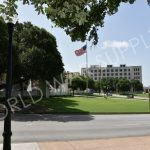 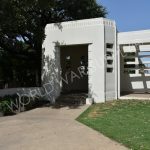 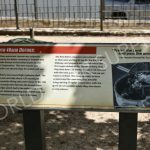 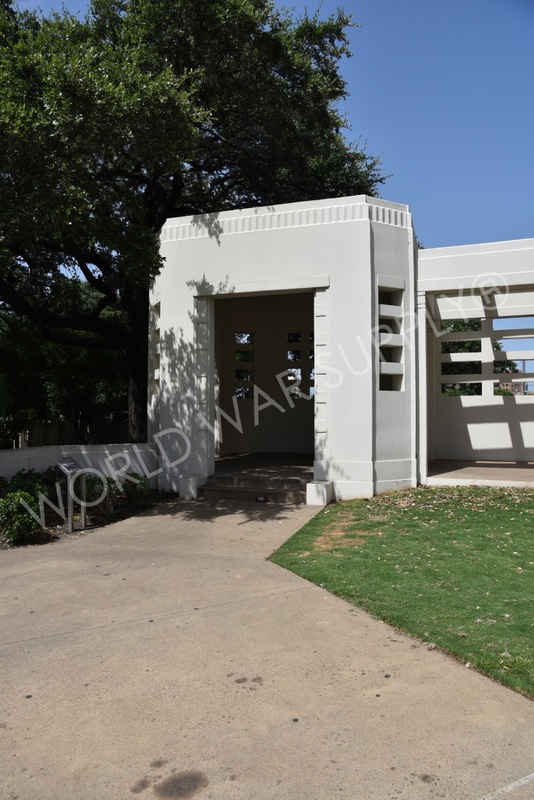 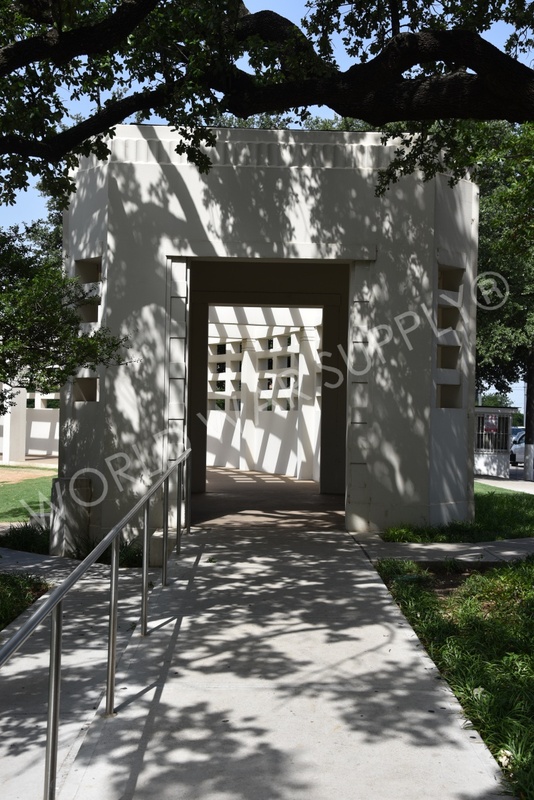 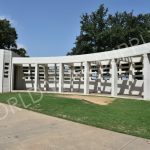 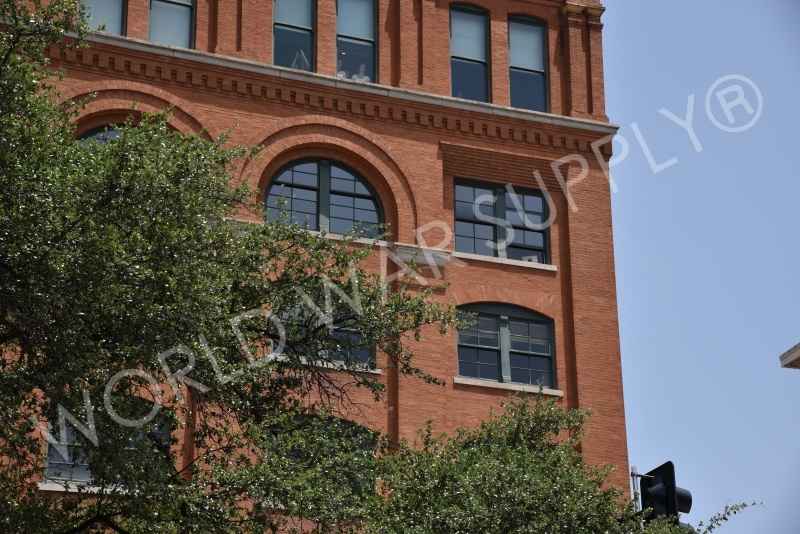 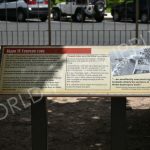 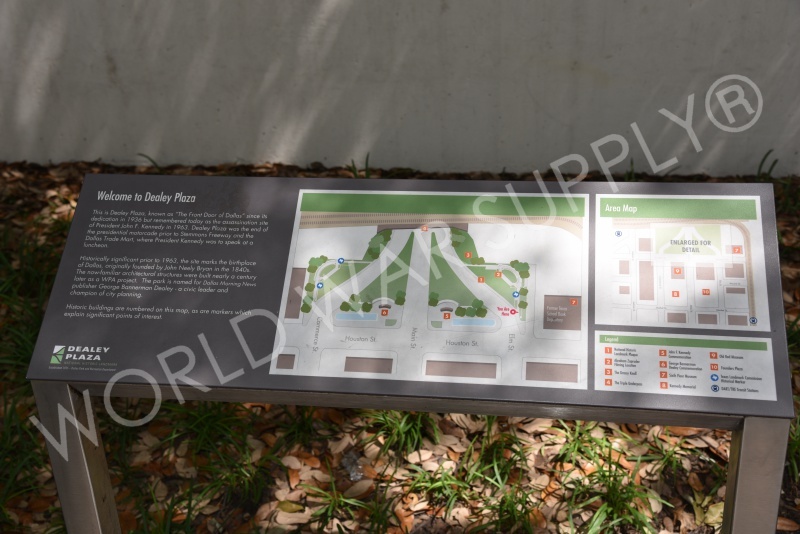 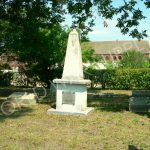 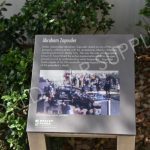 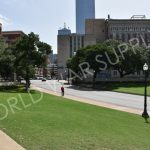 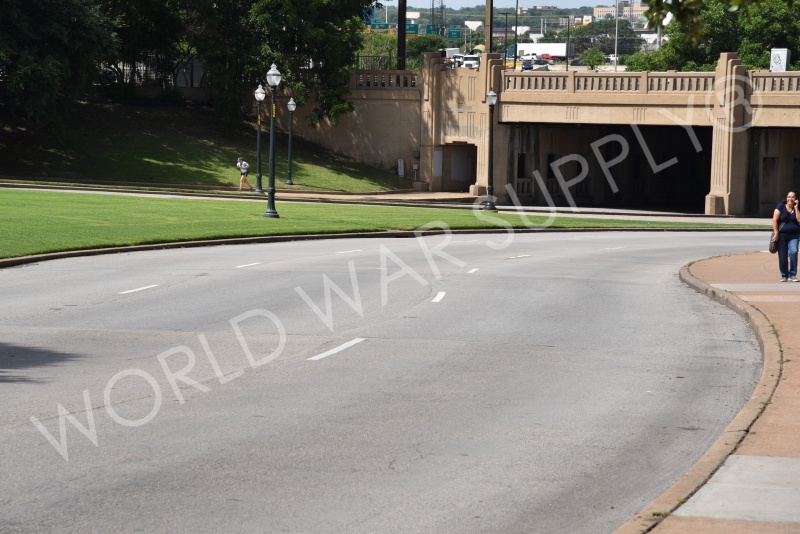 Read more on Dealey Plaza. 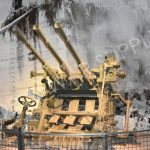 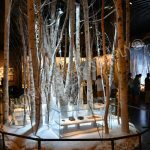 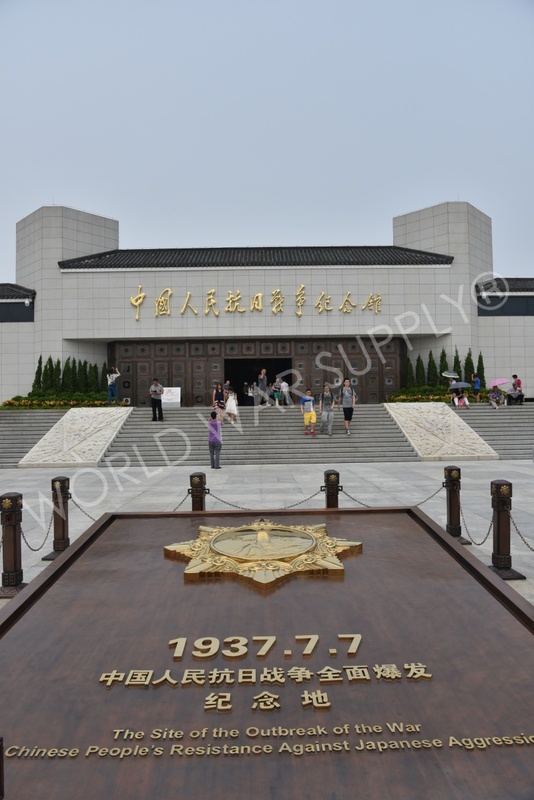 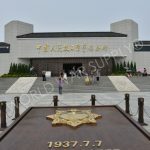 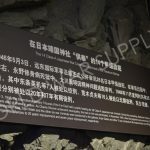 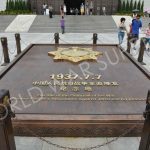 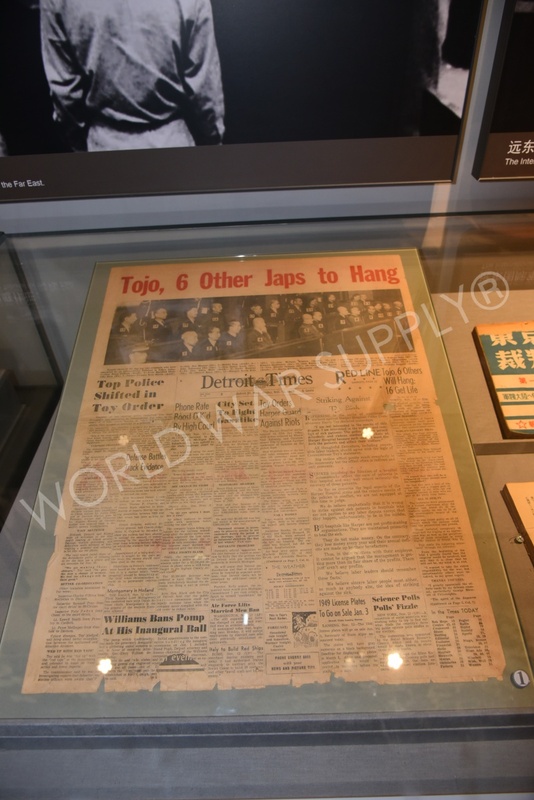 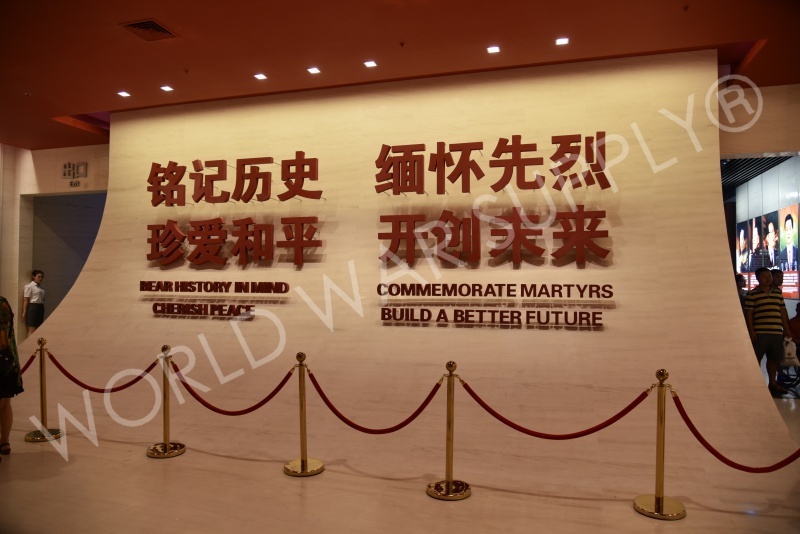 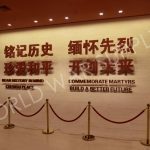 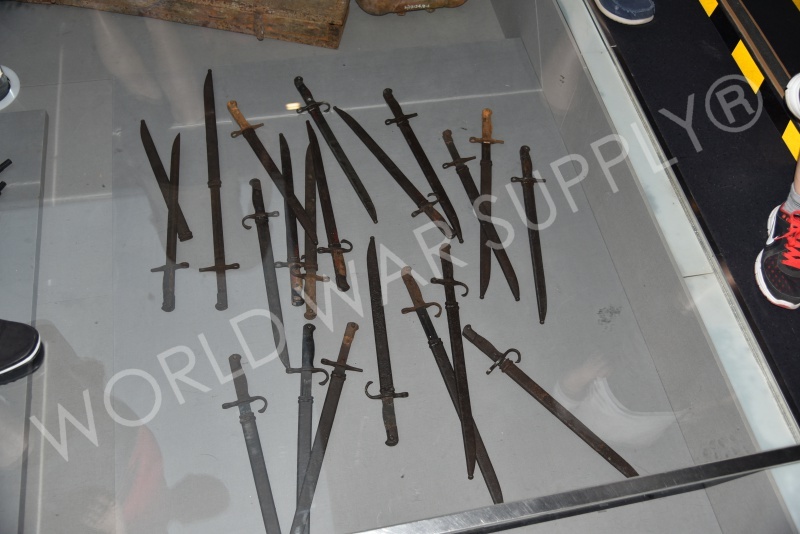 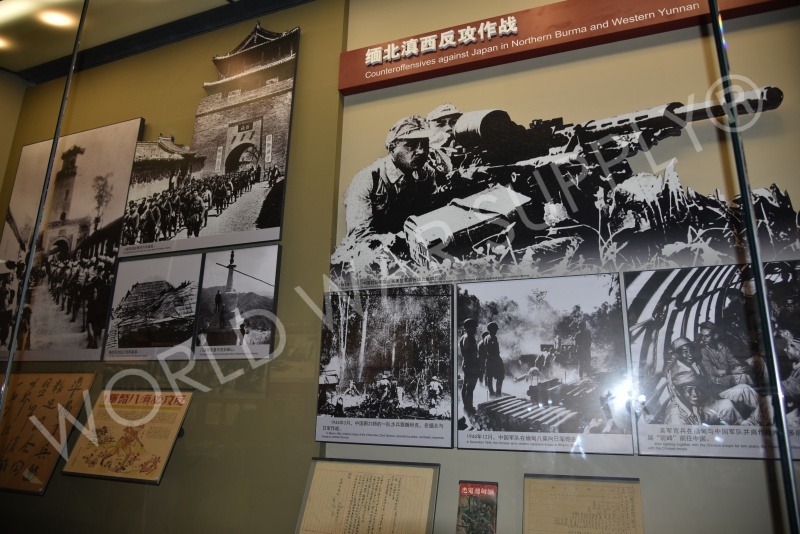 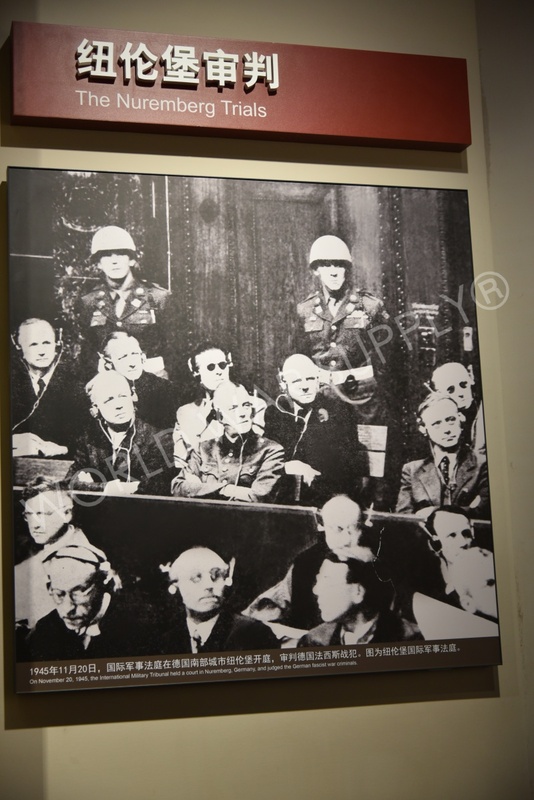 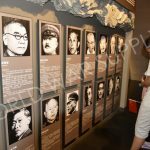 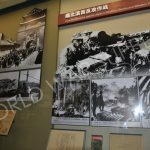 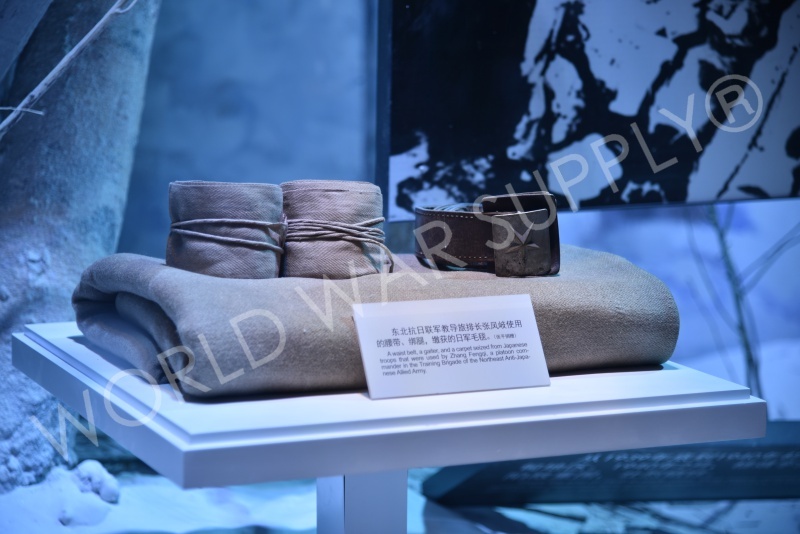 Also known as the Chinese People’s Anti-Japanese War Memorial Hall, this museum is located inside of the Wanping Fortress near the Marco Polo Bridge. 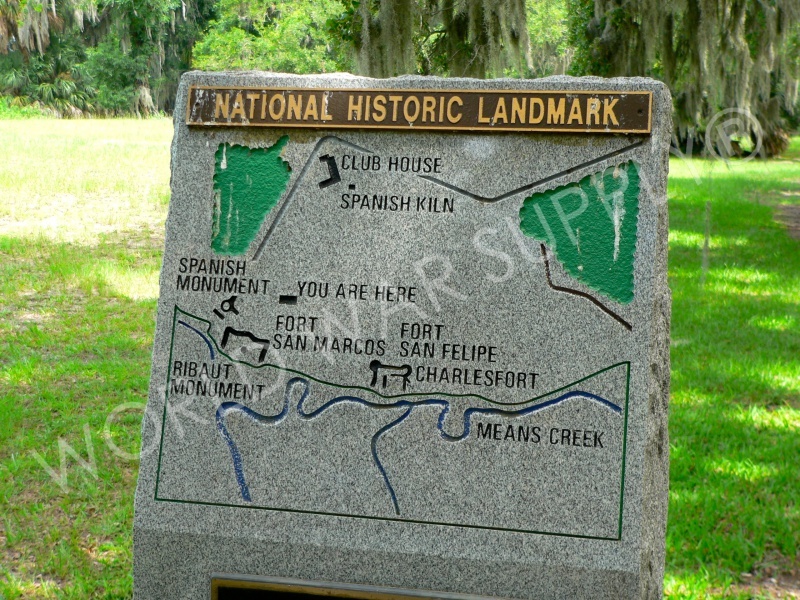 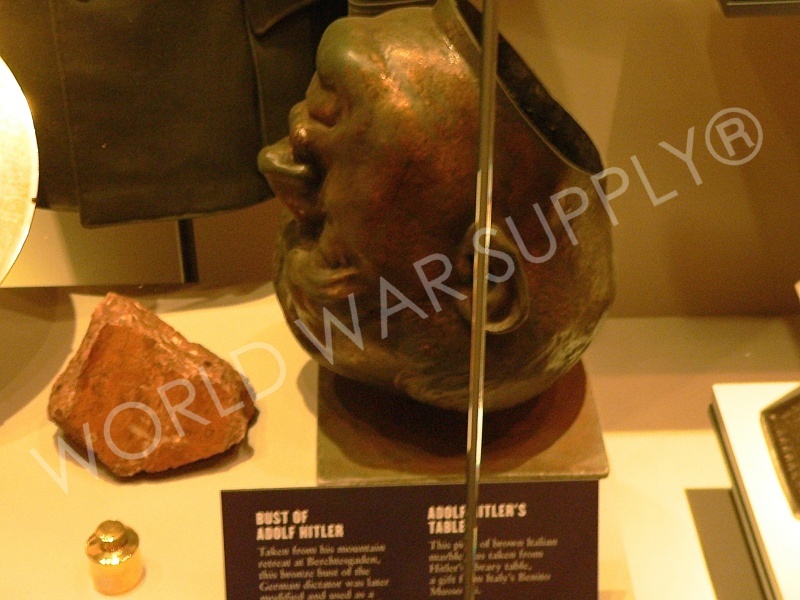 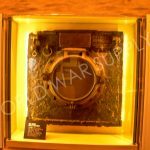 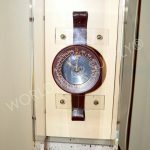 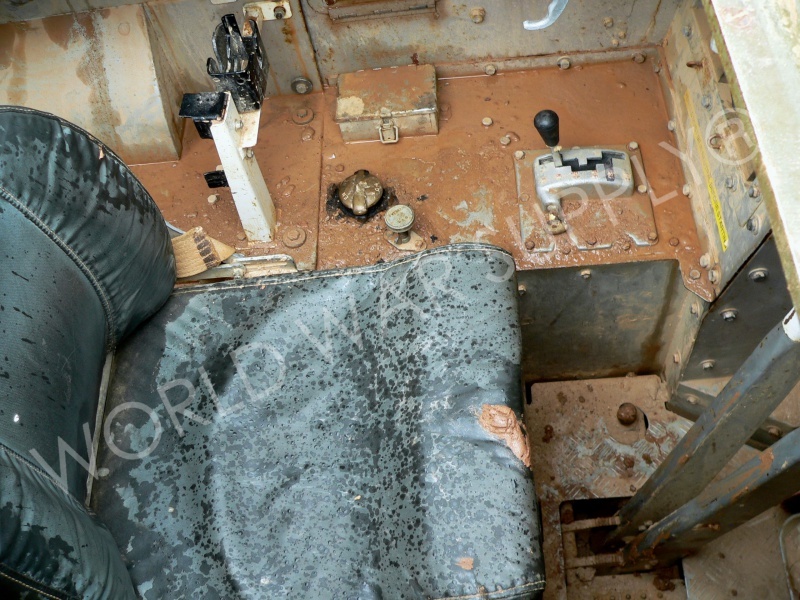 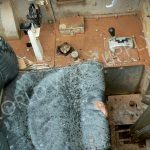 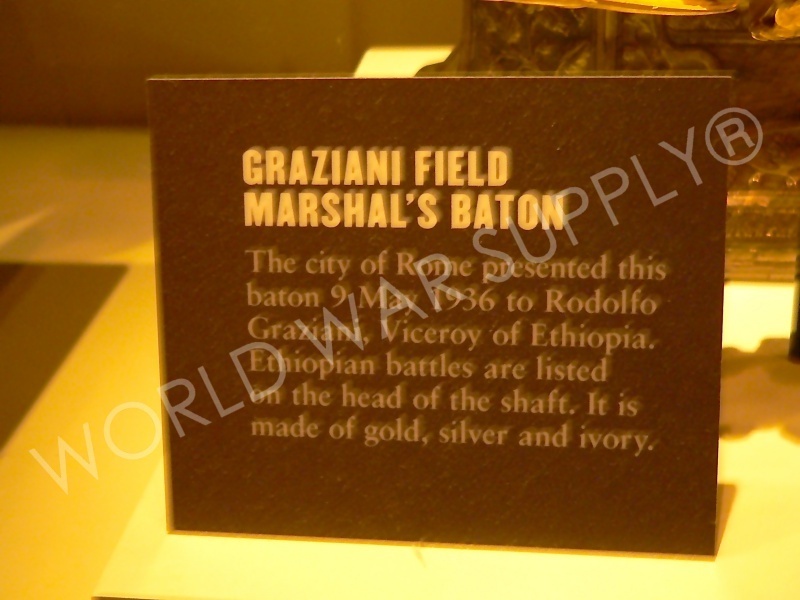 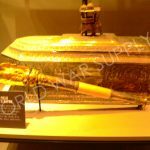 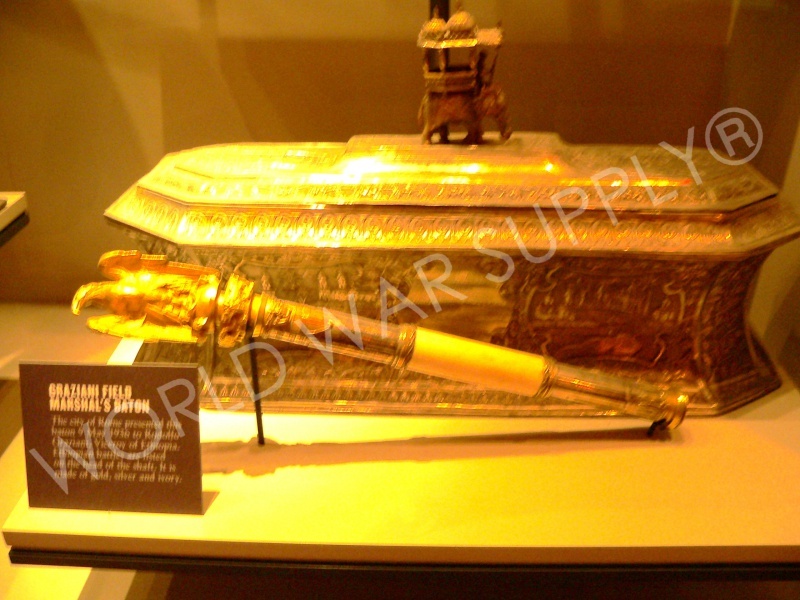 It is a hidden treasure for any history buff. 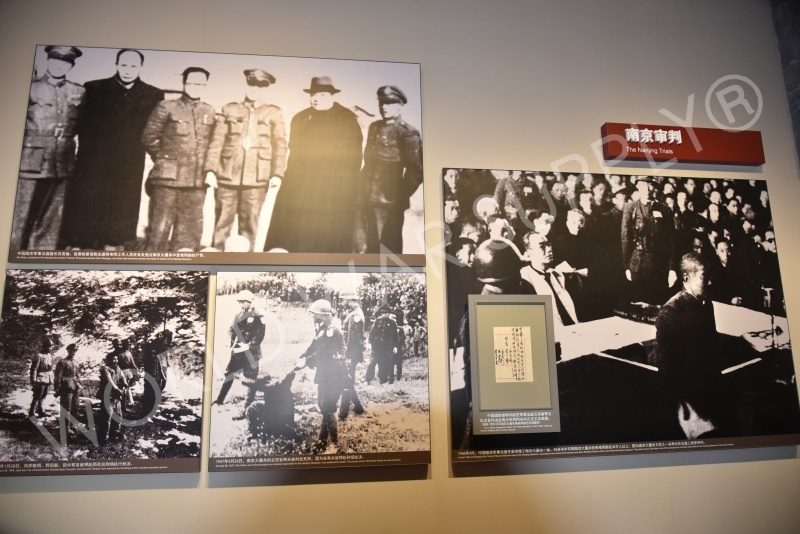 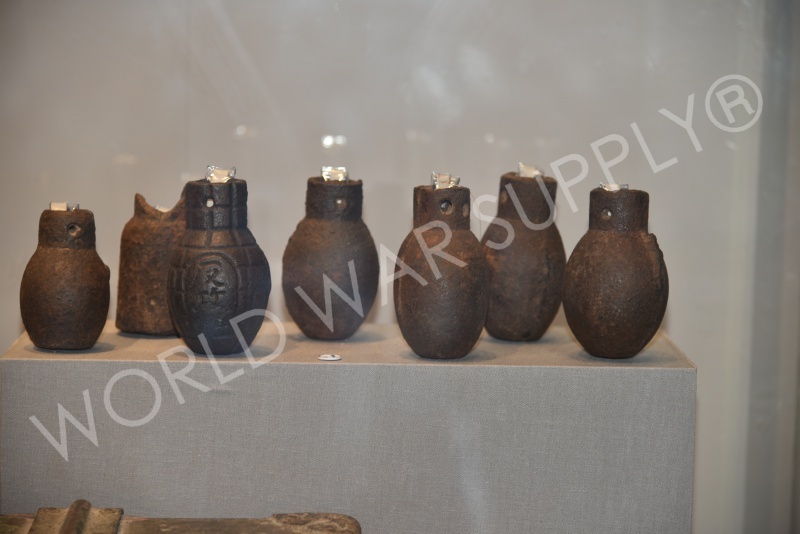 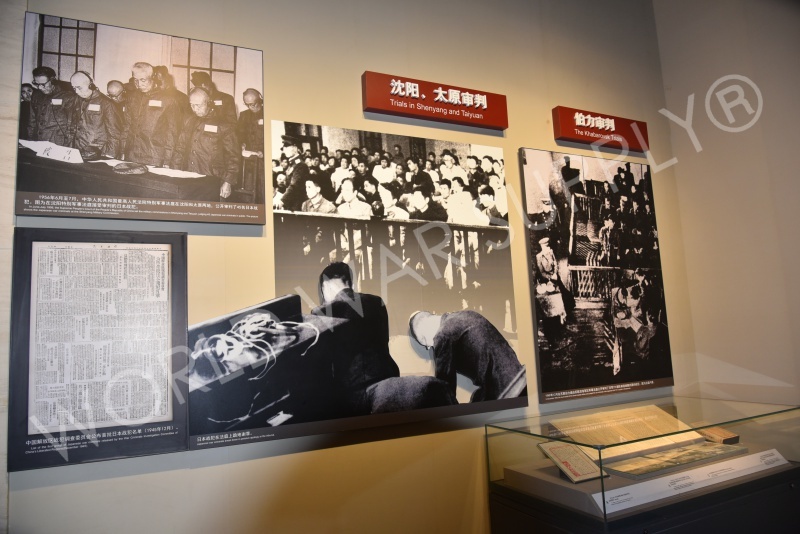 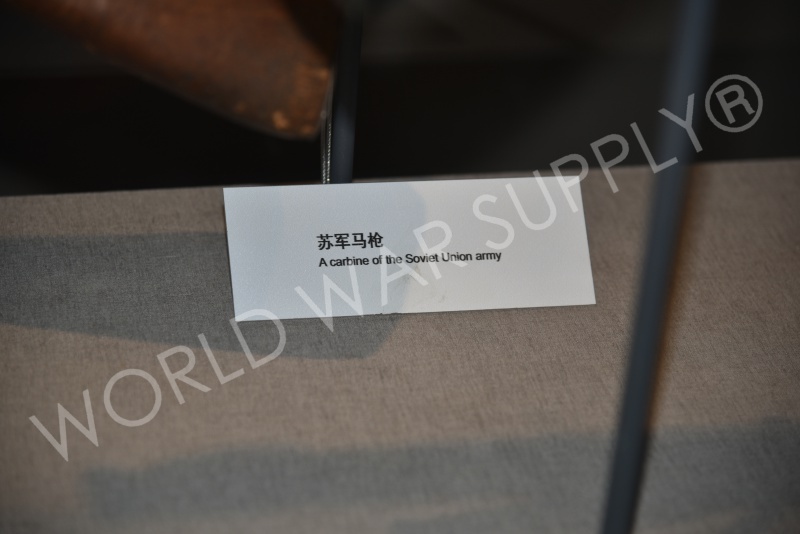 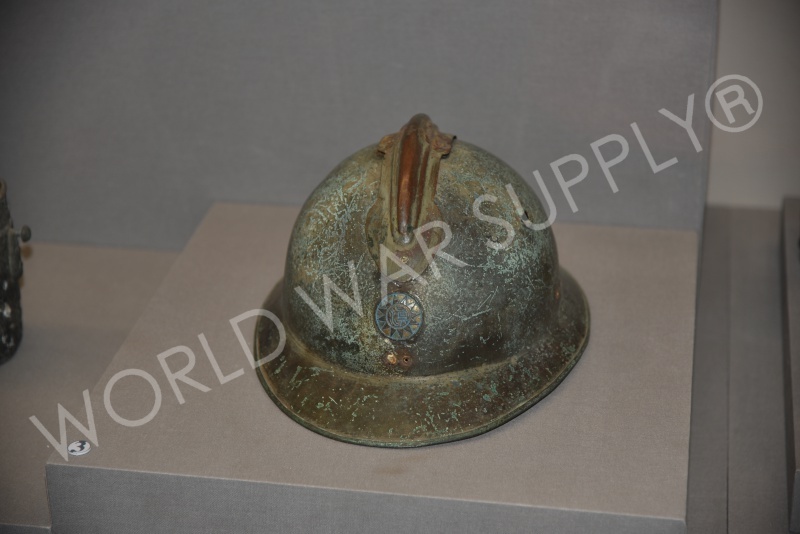 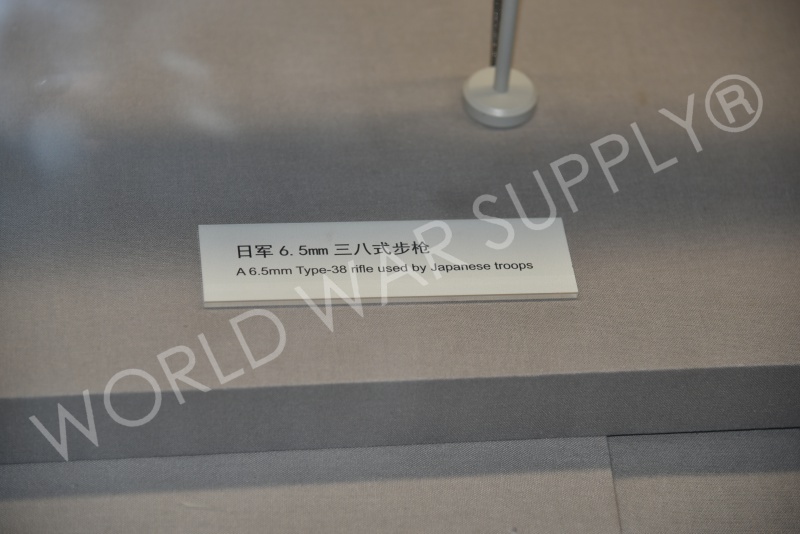 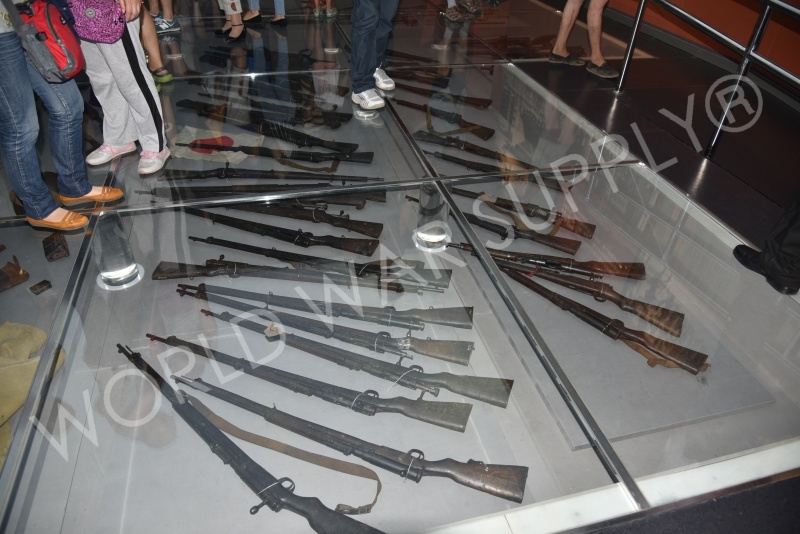 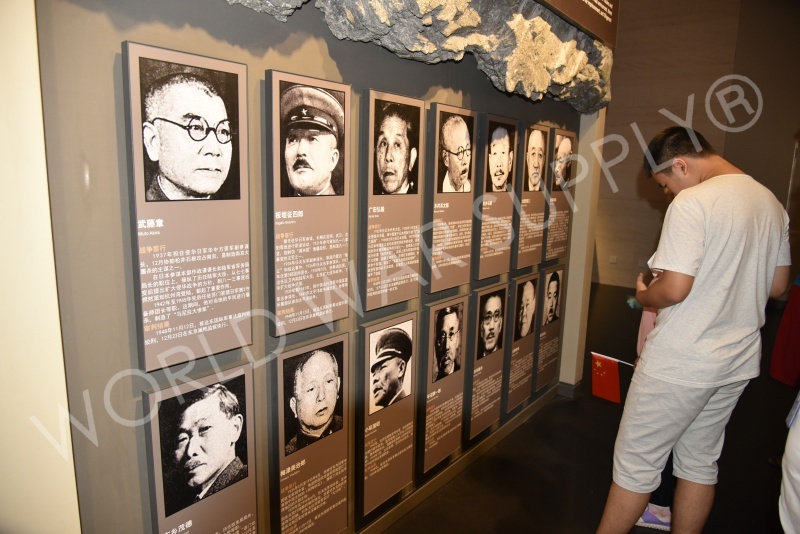 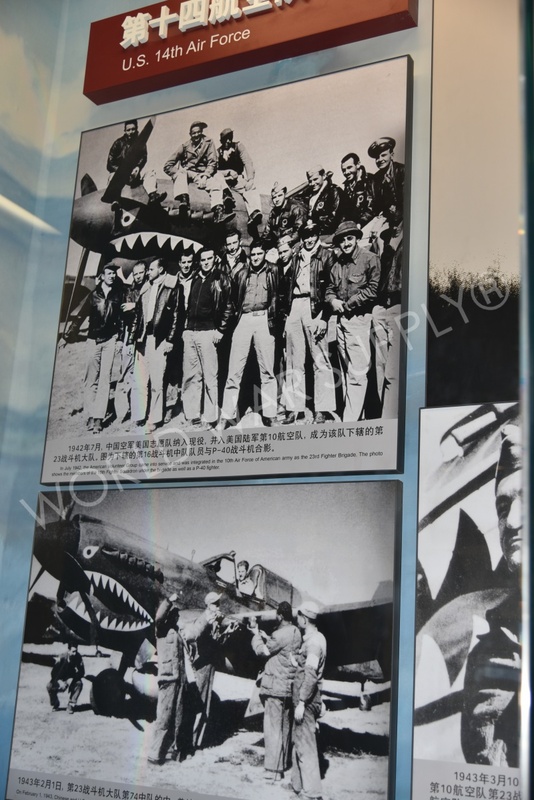 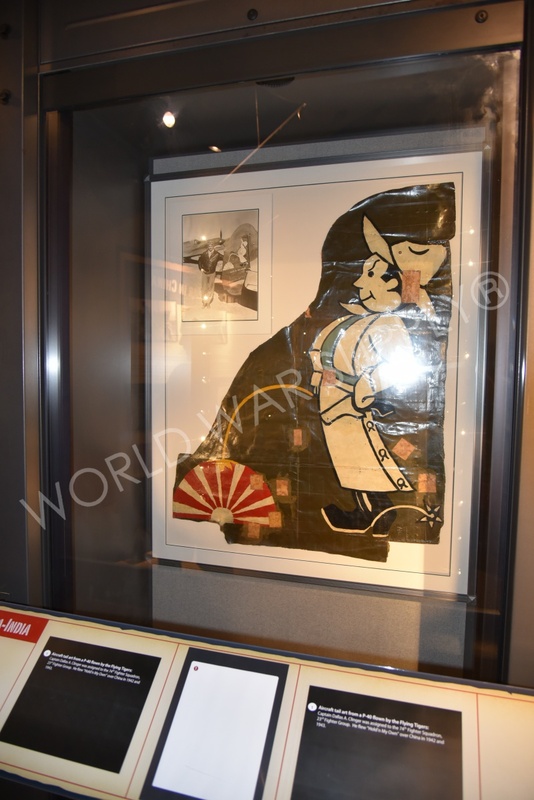 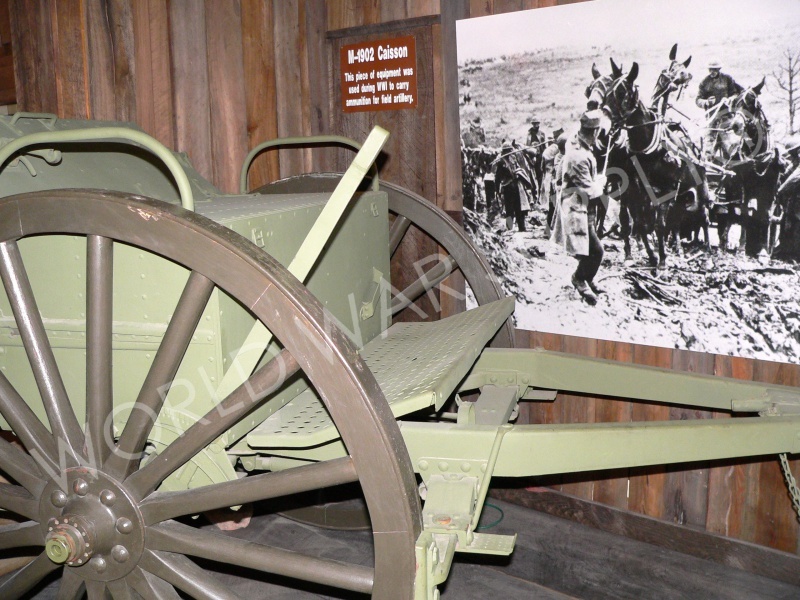 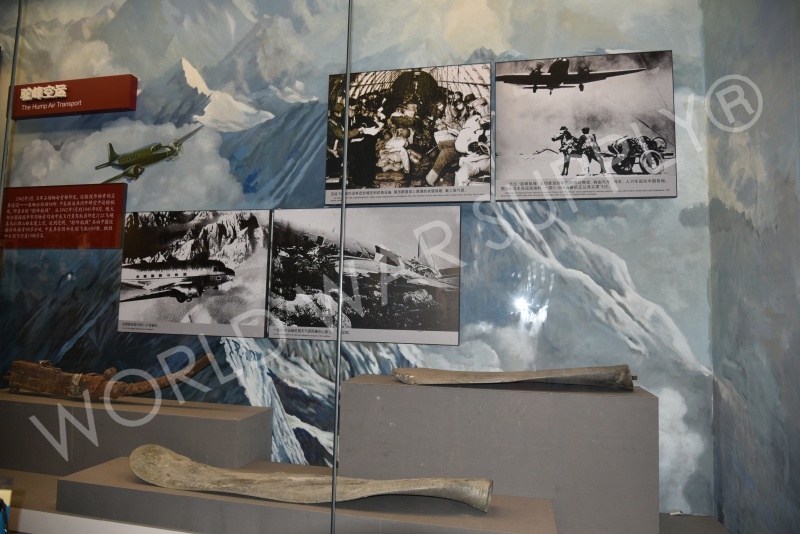 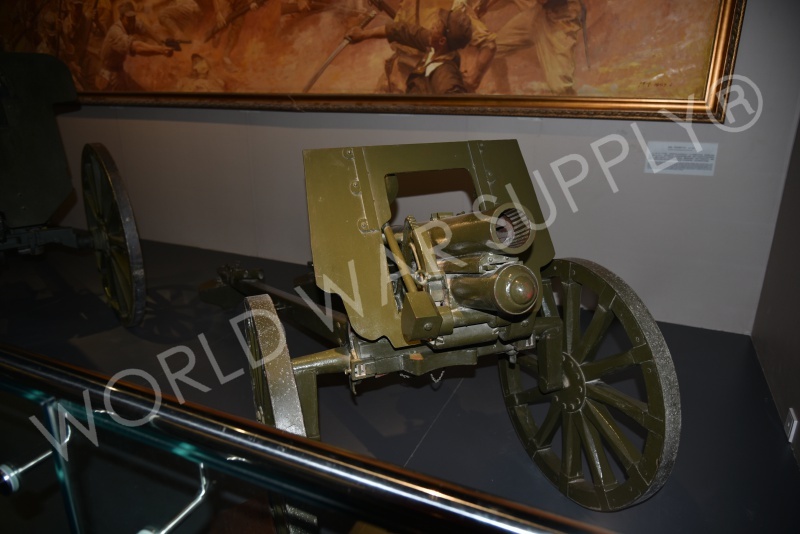 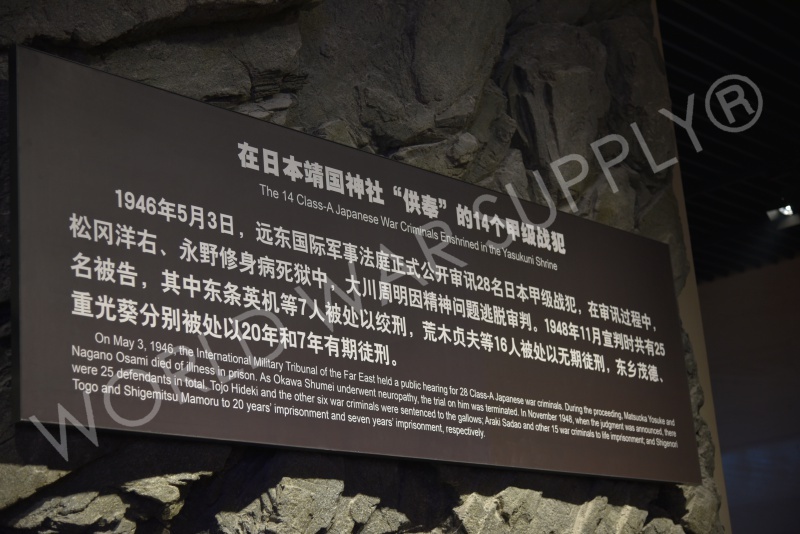 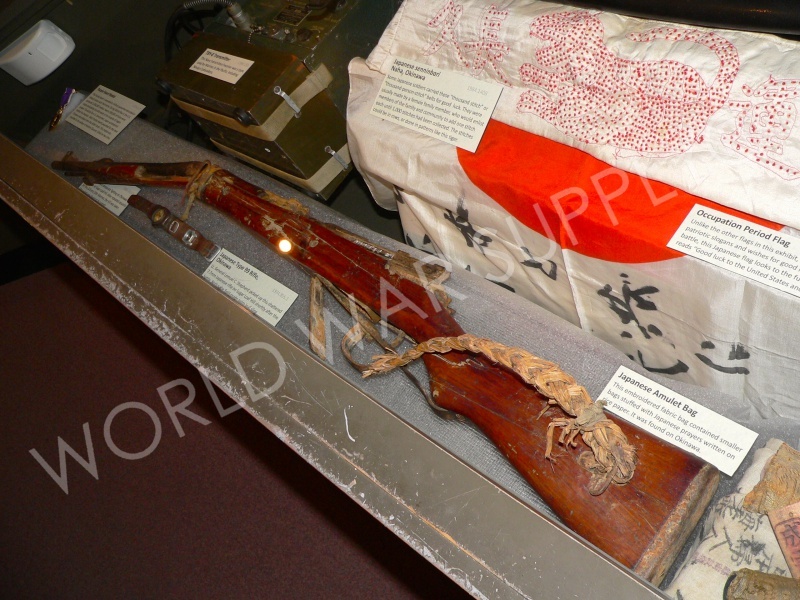 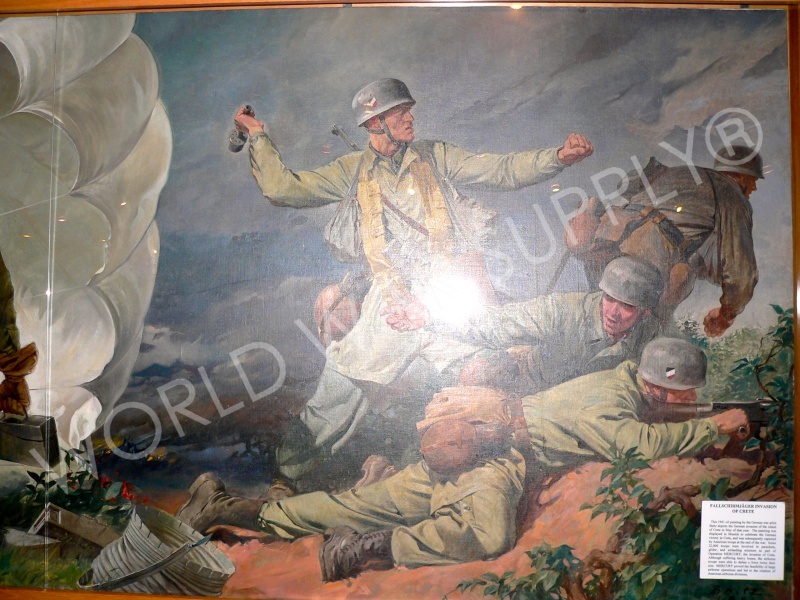 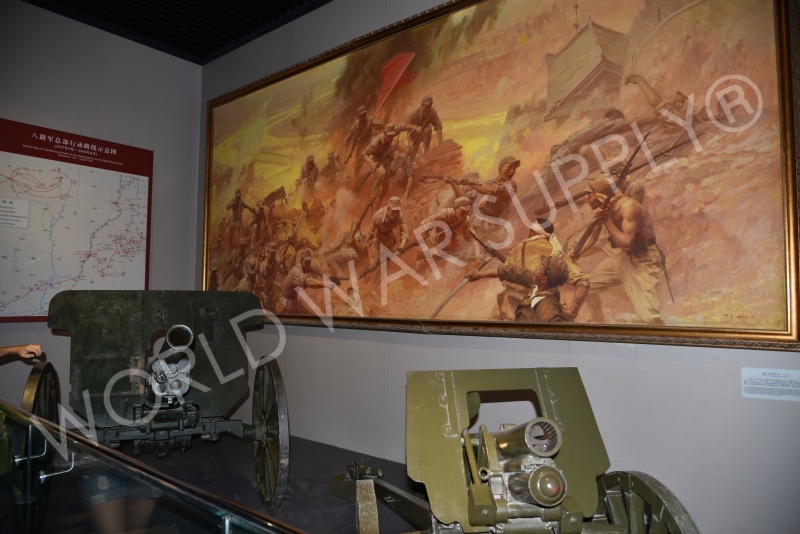 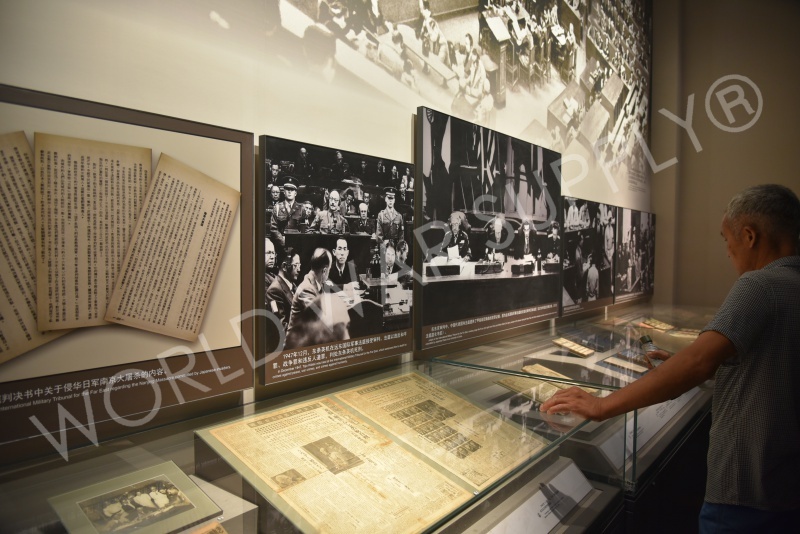 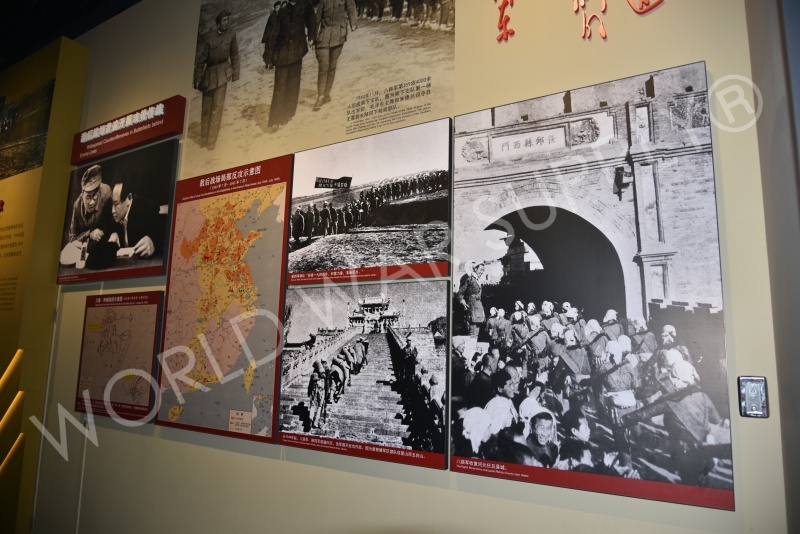 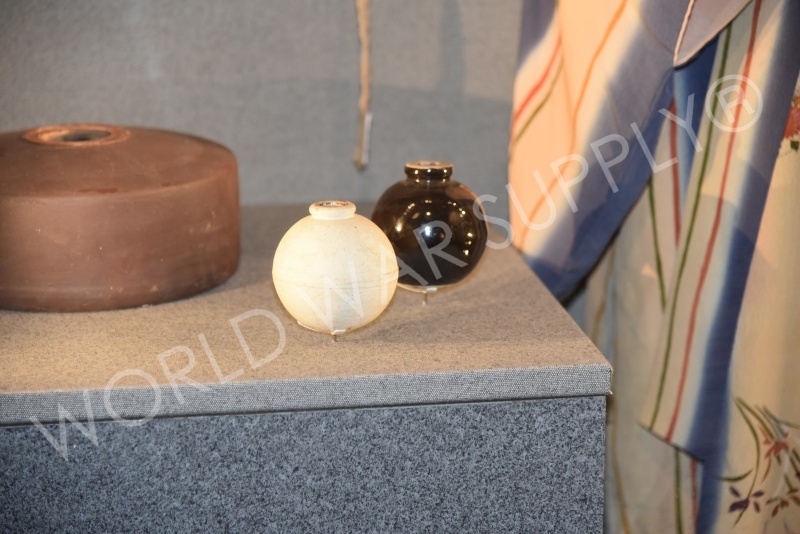 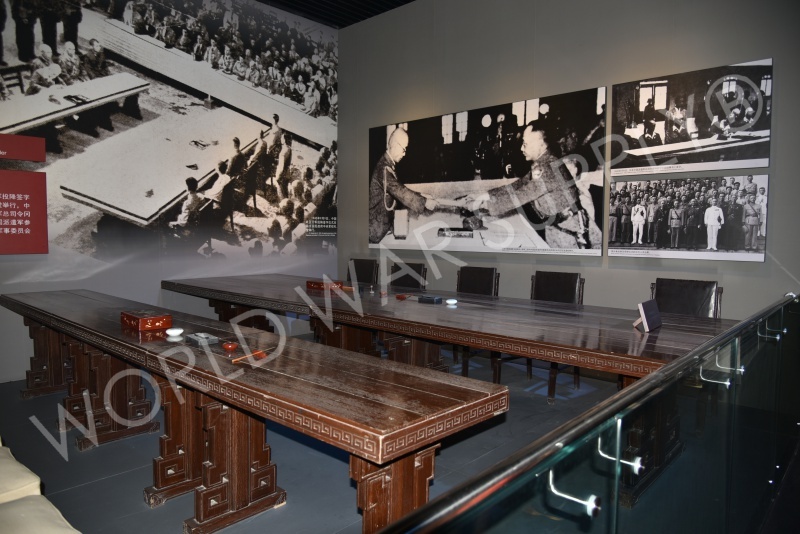 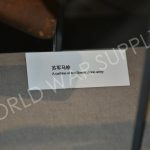 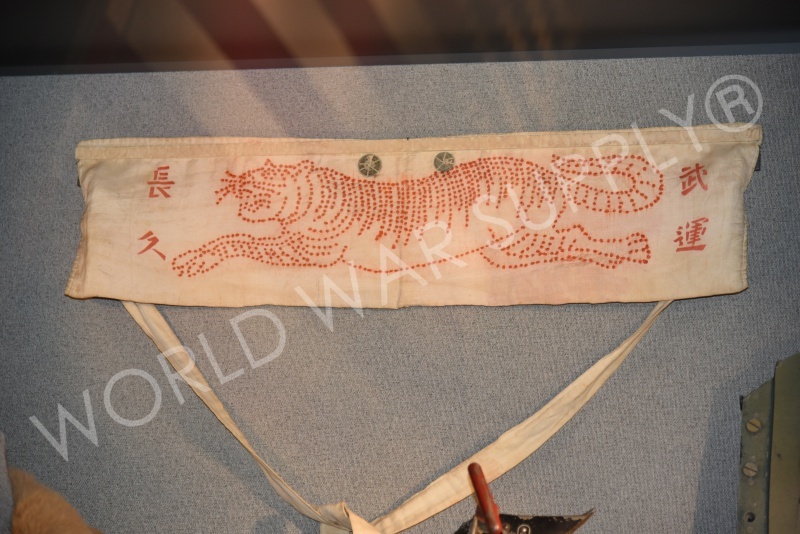 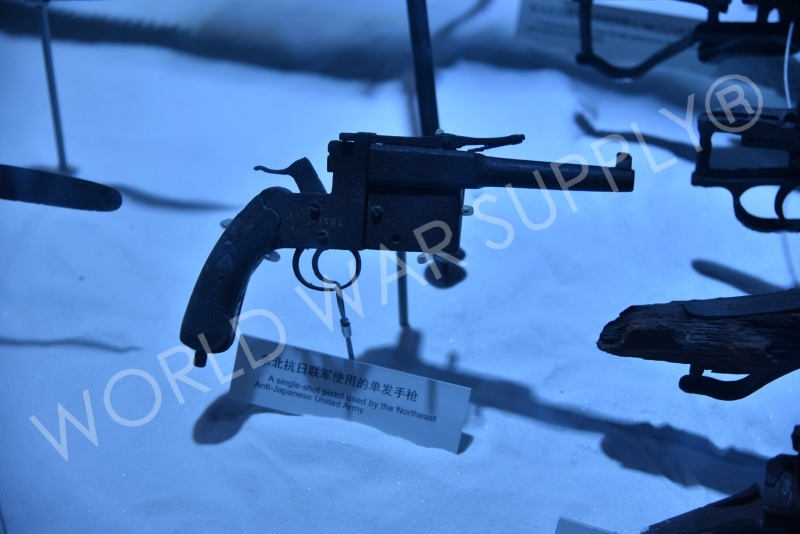 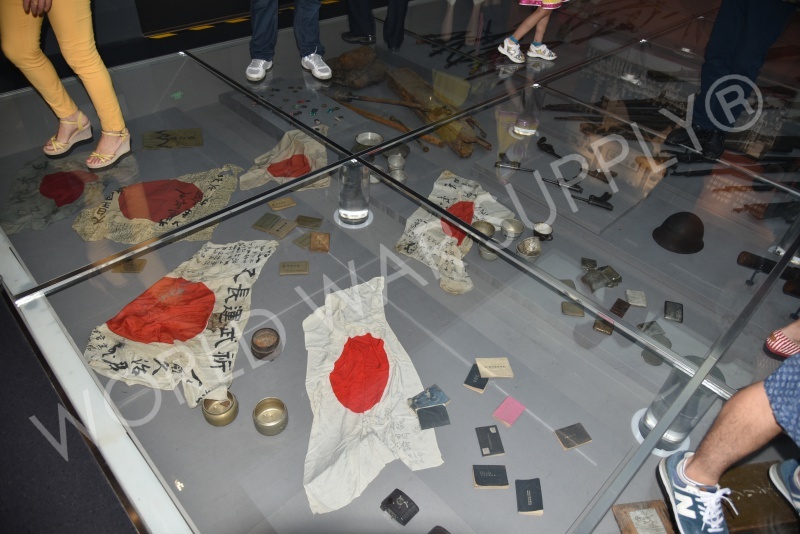 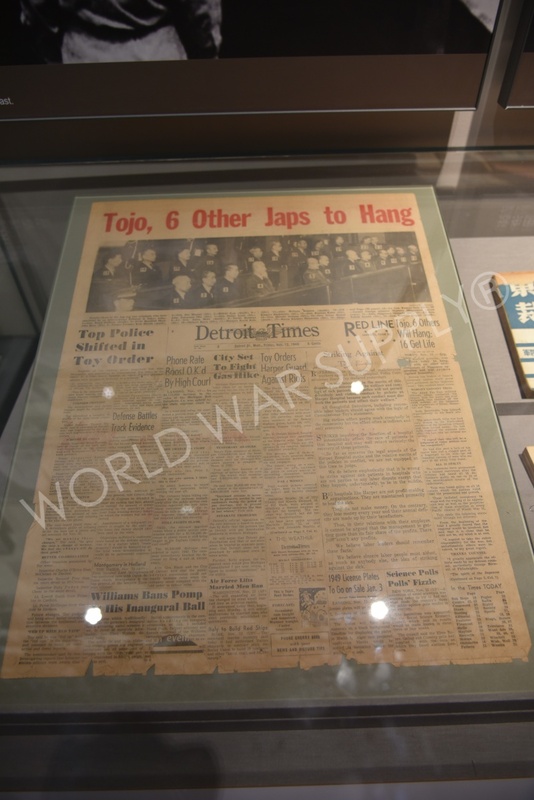 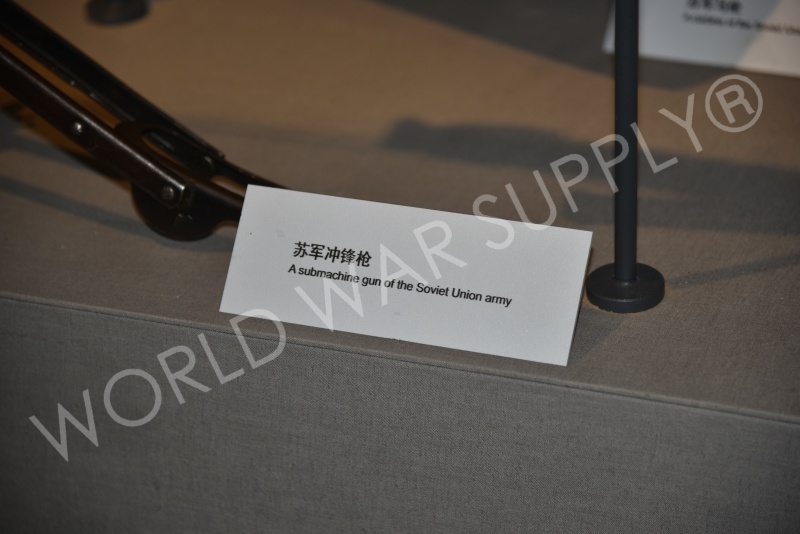 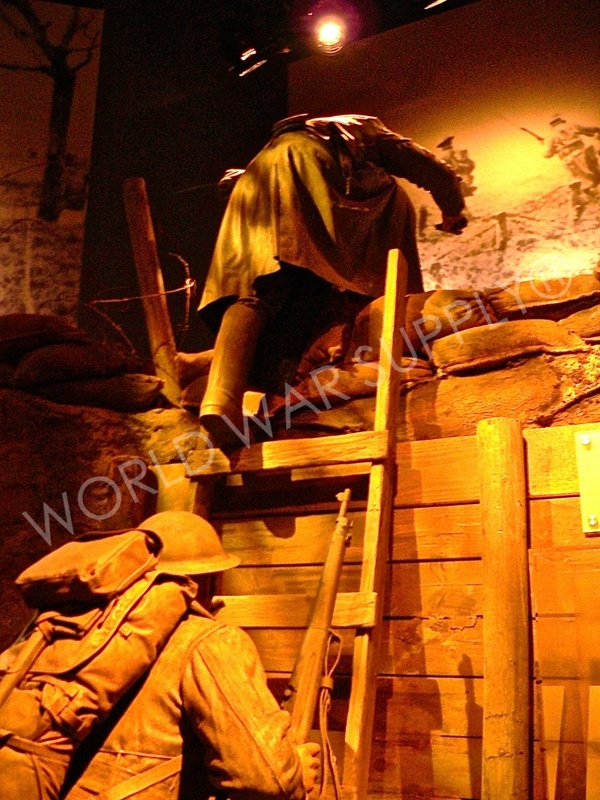 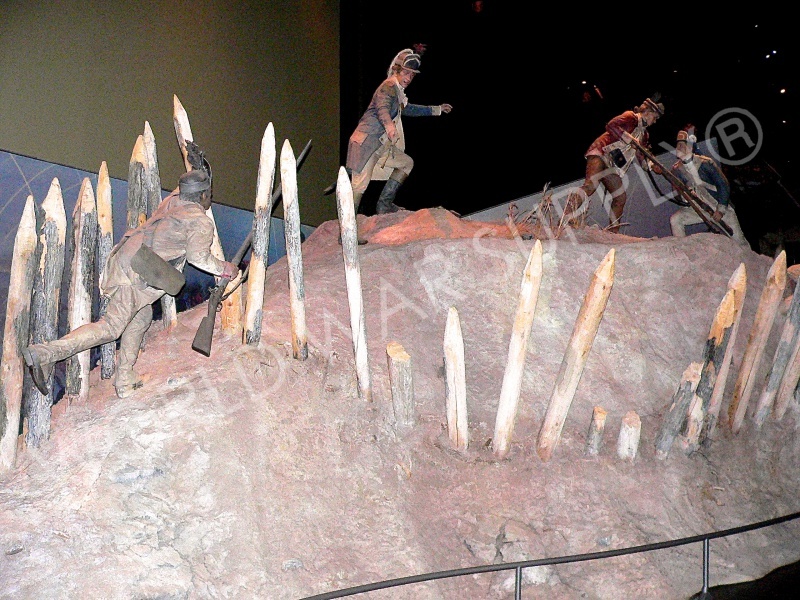 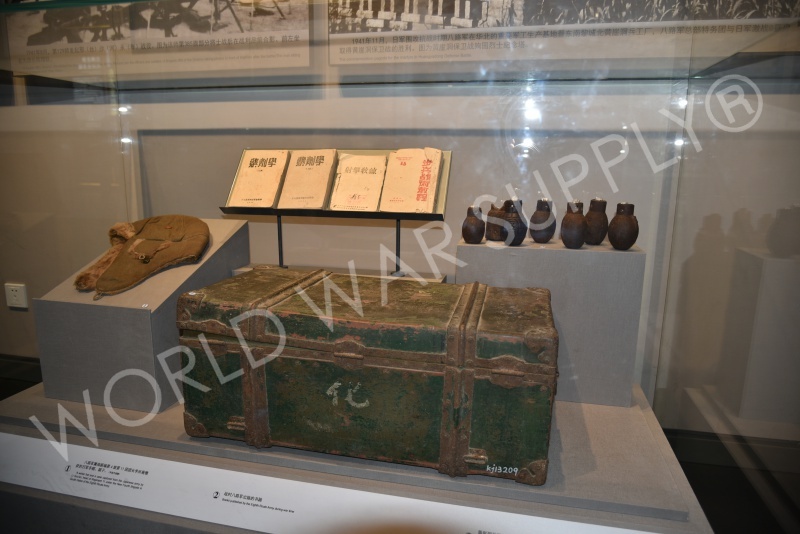 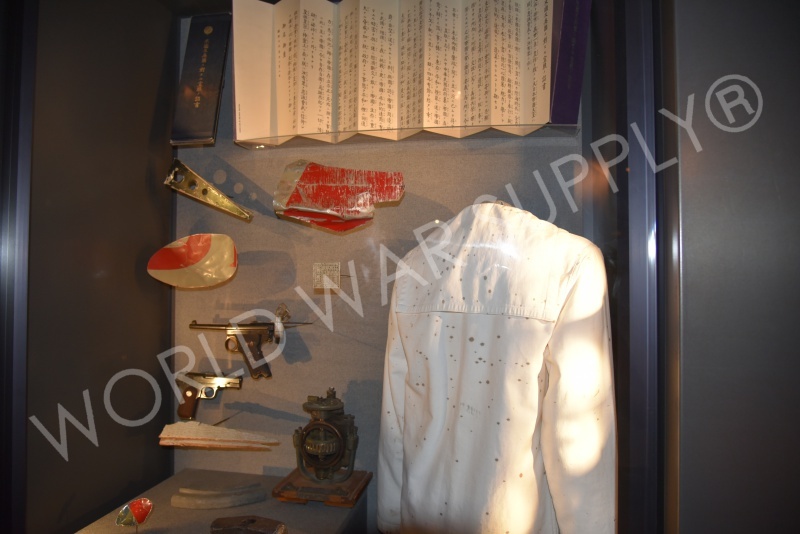 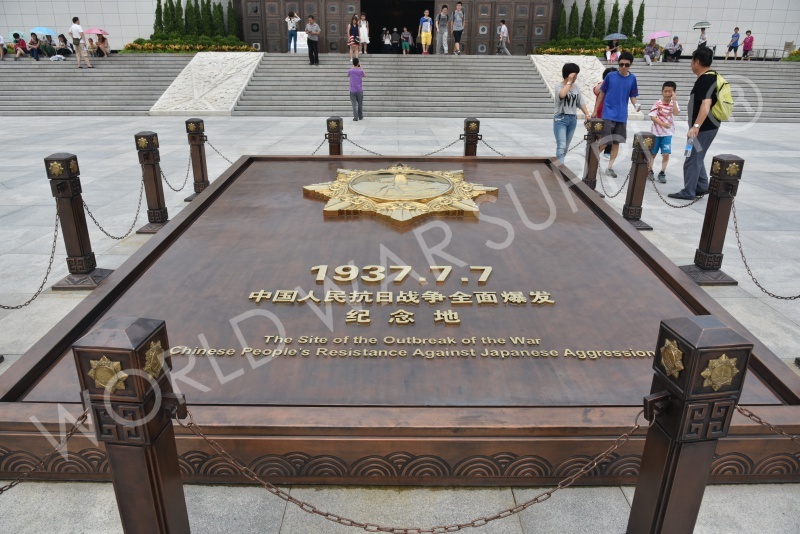 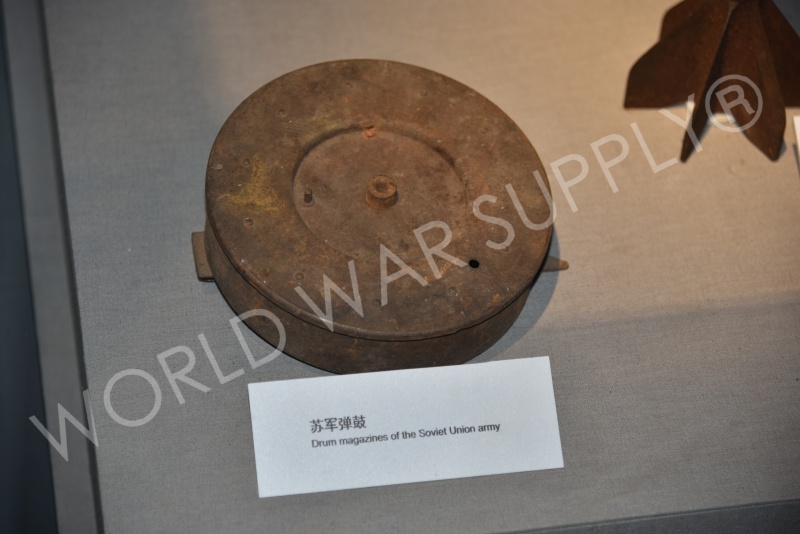 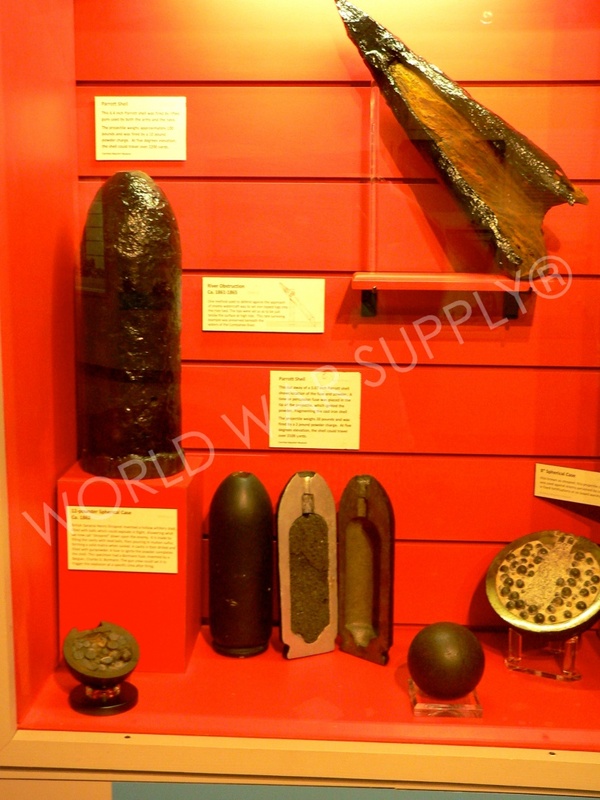 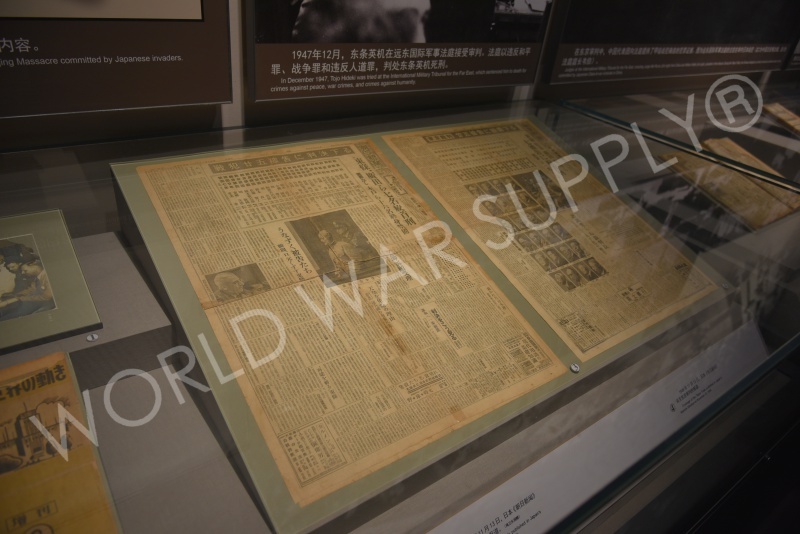 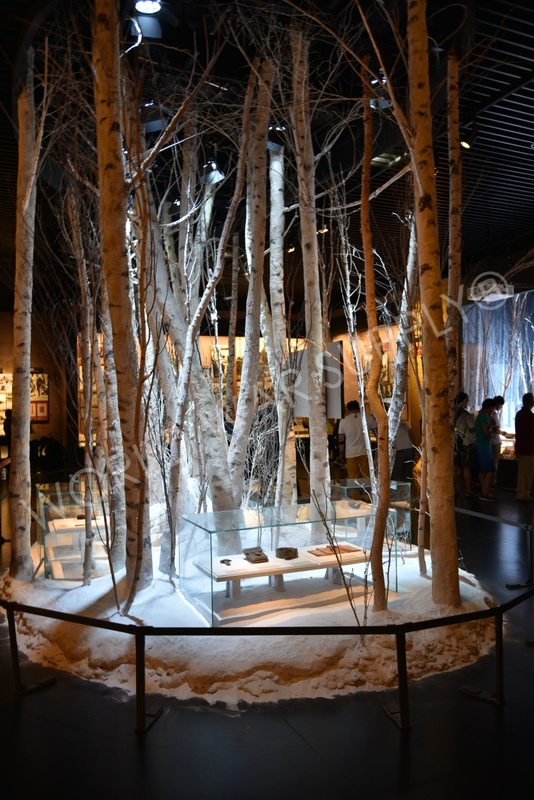 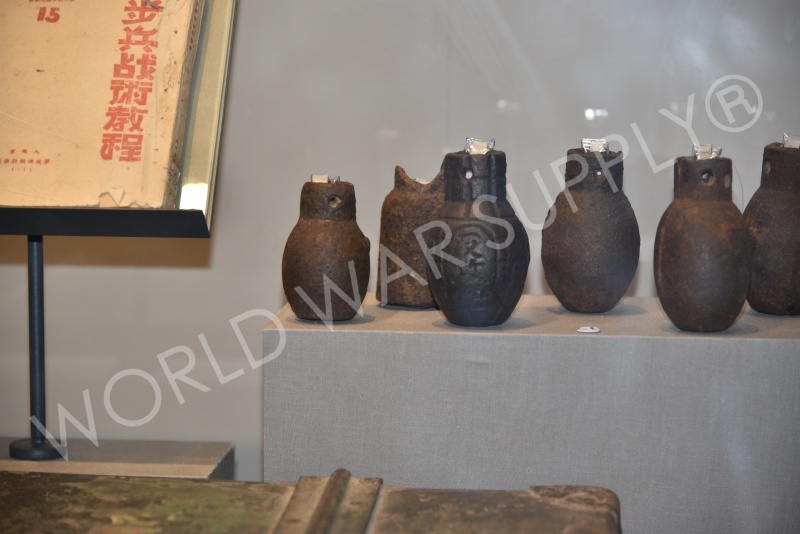 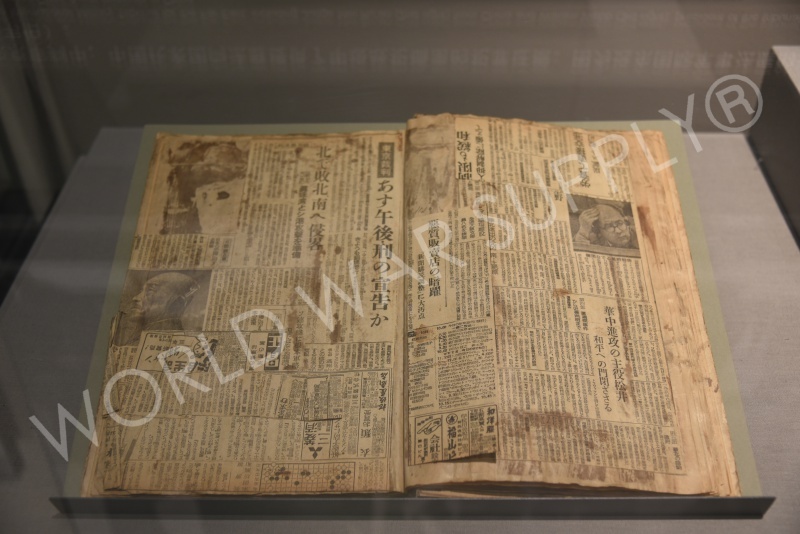 The museum commemorates the Chinese people, and their fight through the Second Sino-Japanese War.